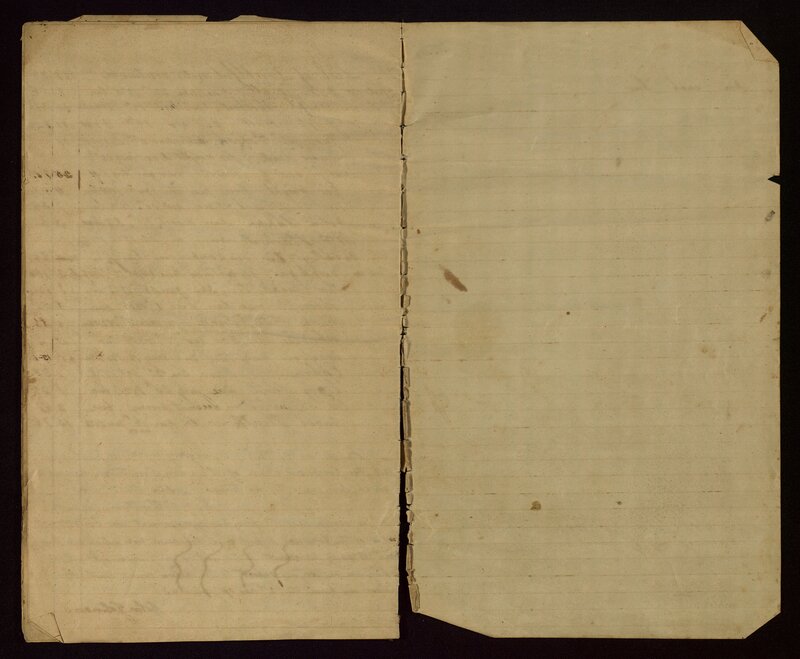 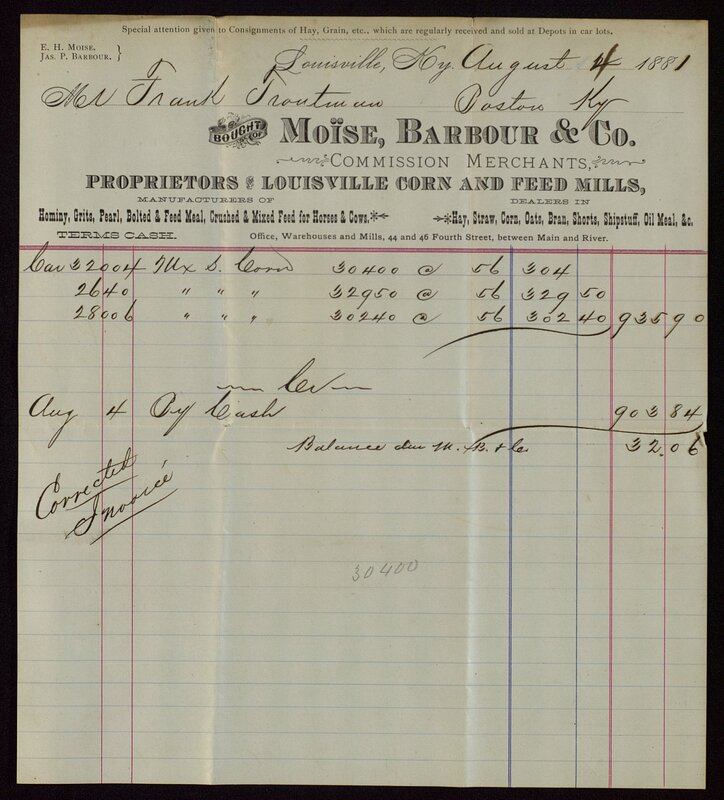 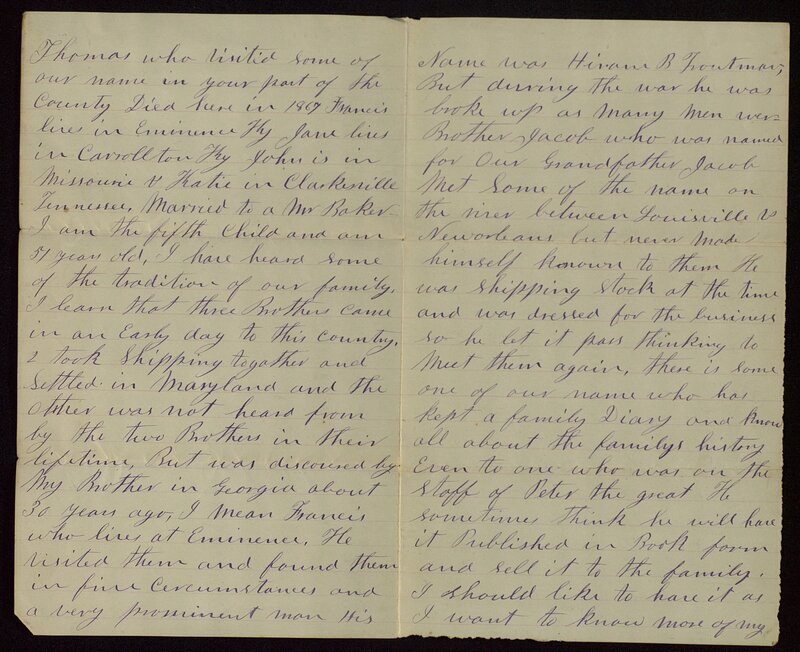 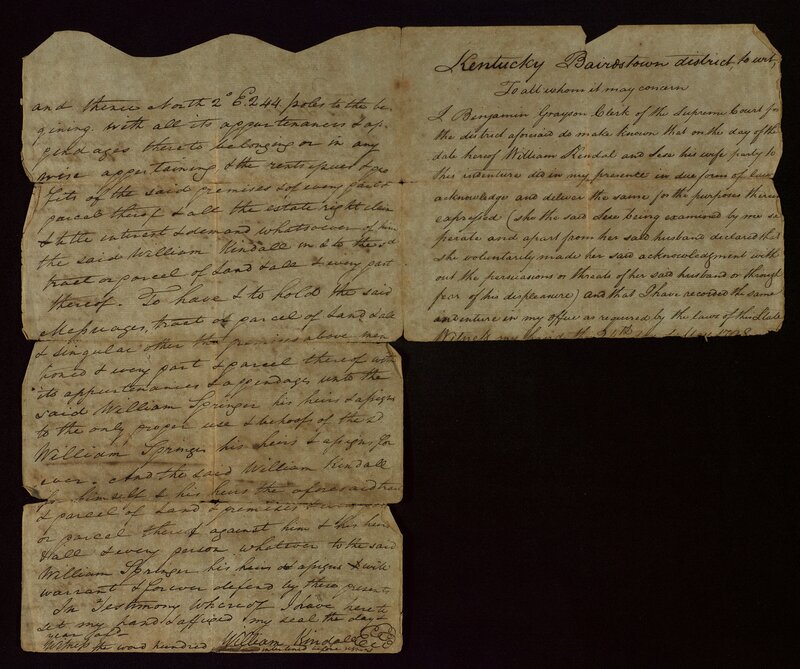 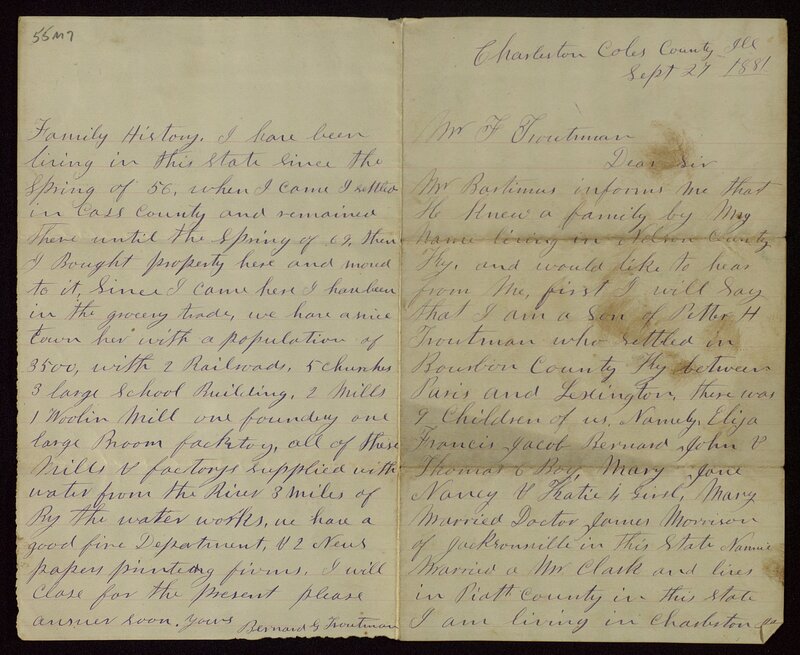 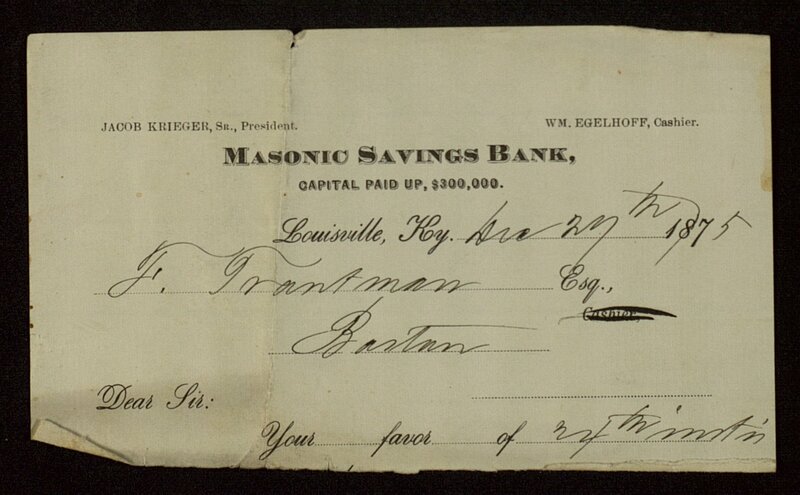 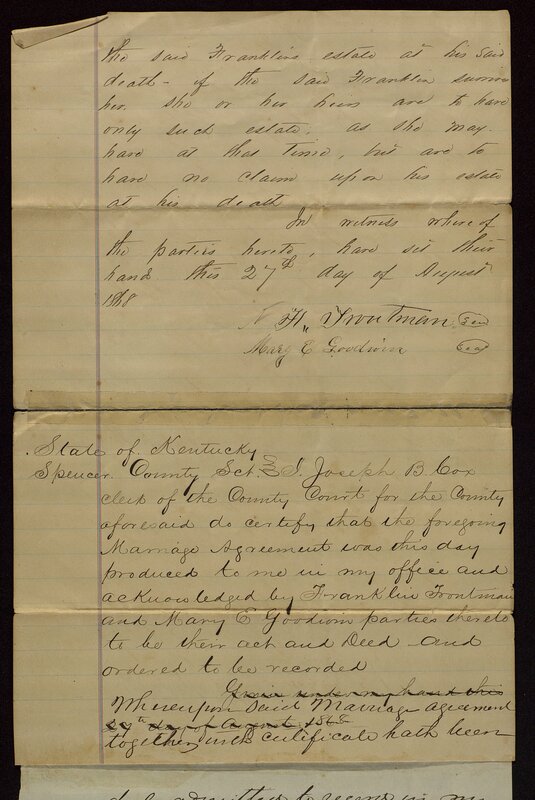 The Troutman family papers include financial records, business records, legal documents and some correspondence of the Troutman family of Nelson County, Ky. 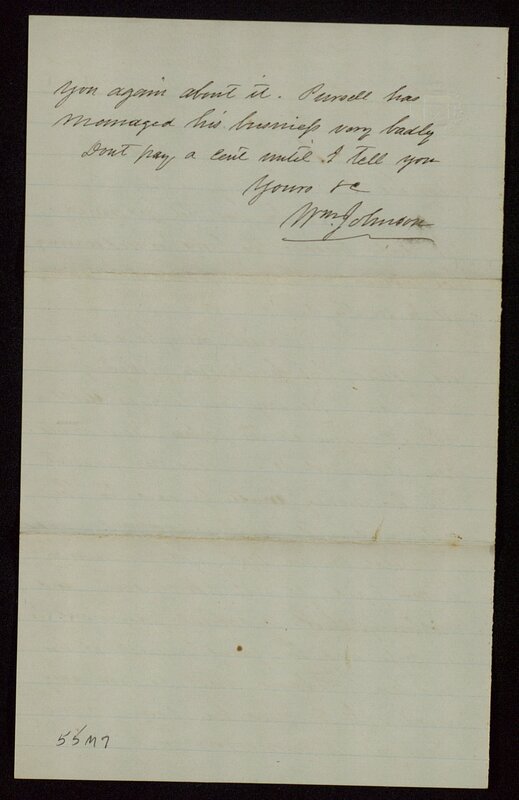 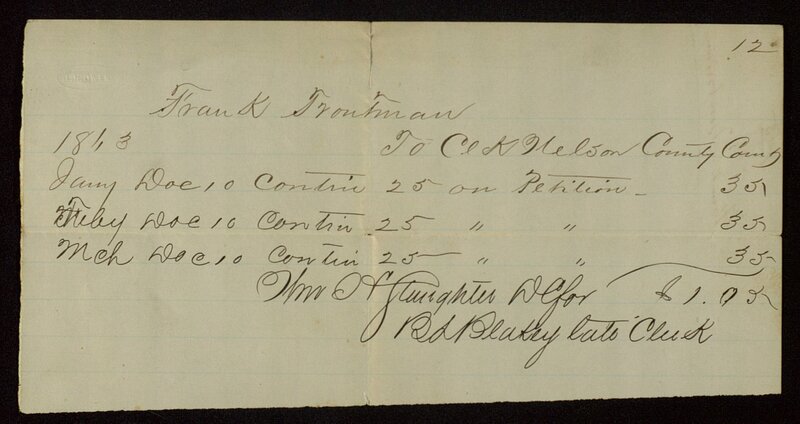 The majority of the correspondence originated with Leonard Troutman and his son, Franklin. 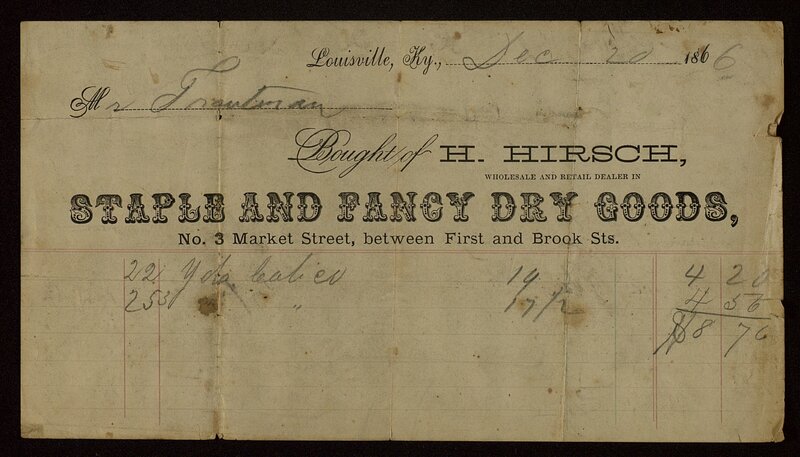 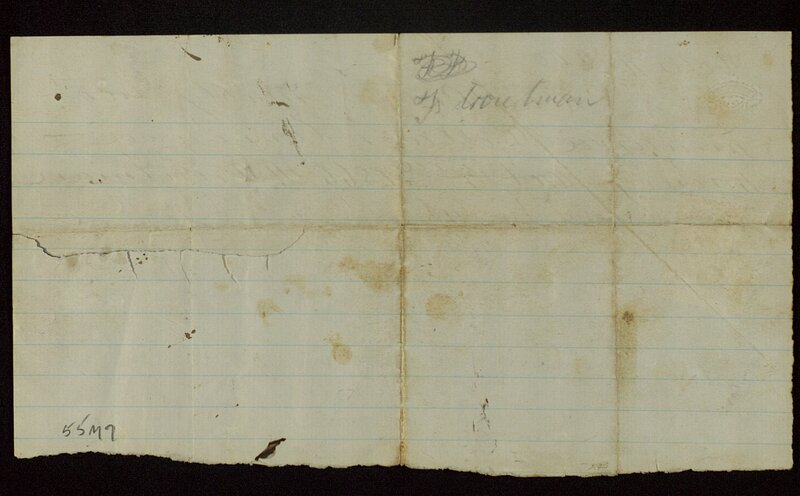 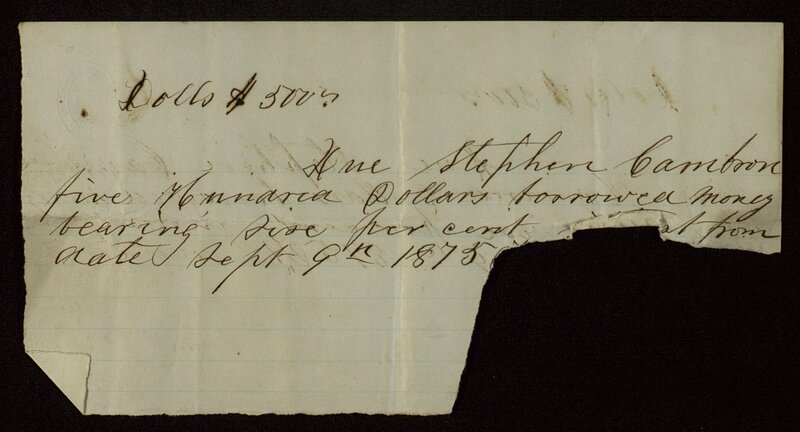 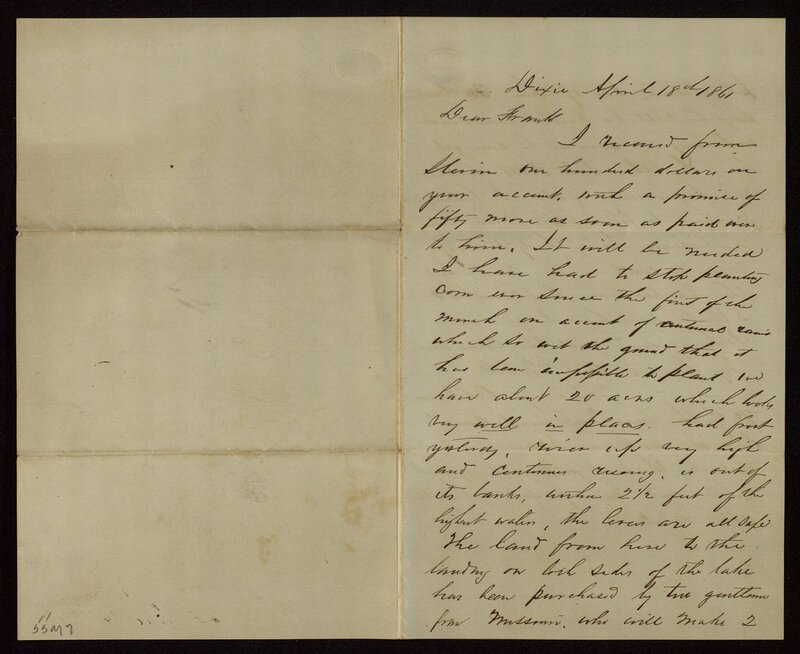 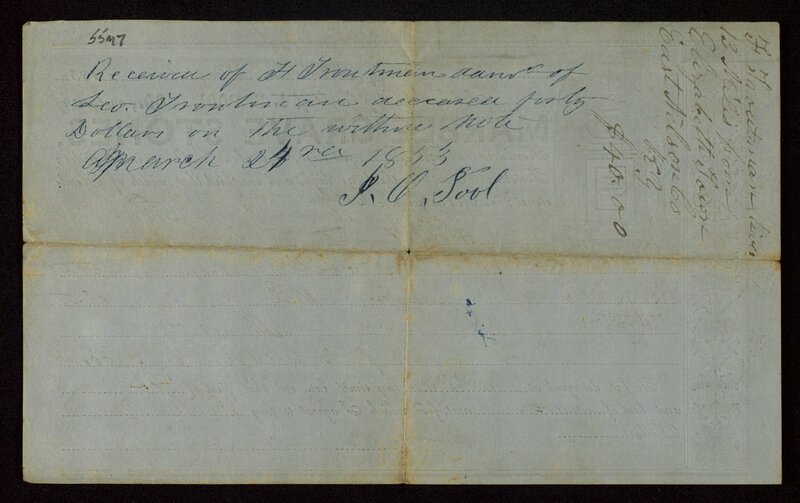 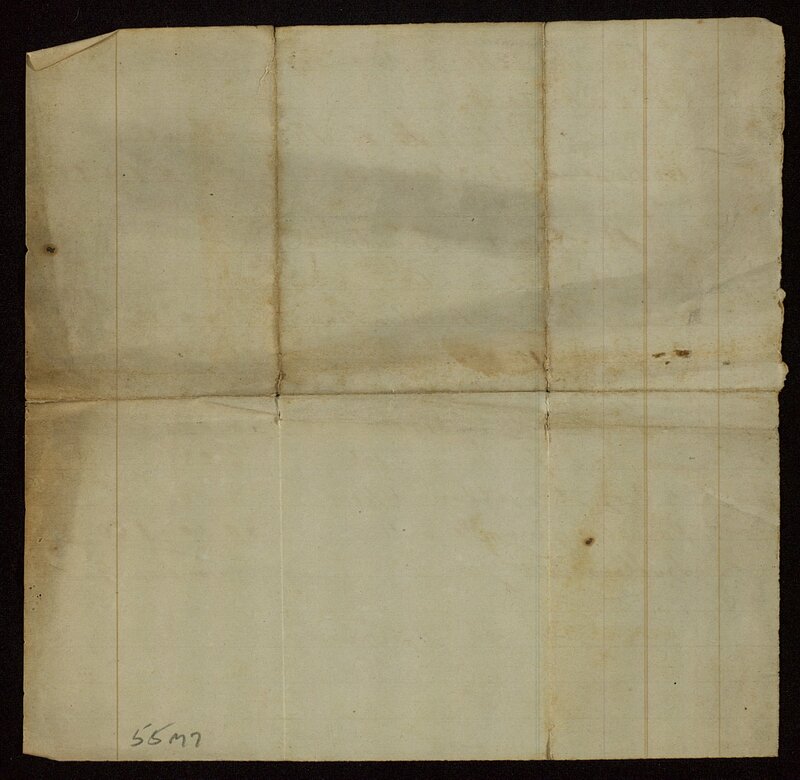 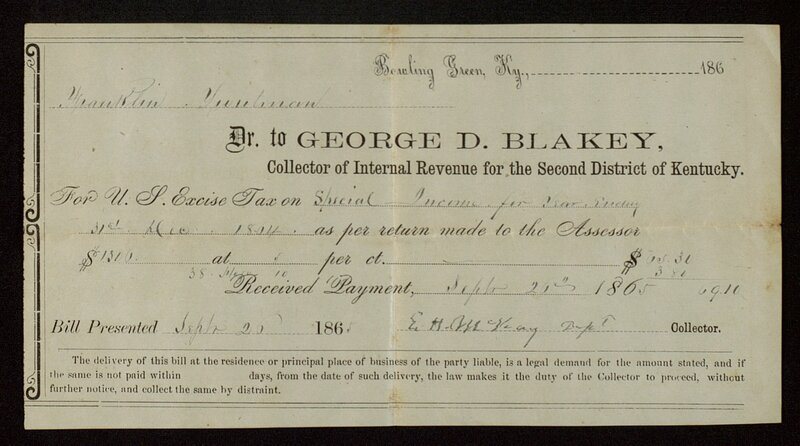 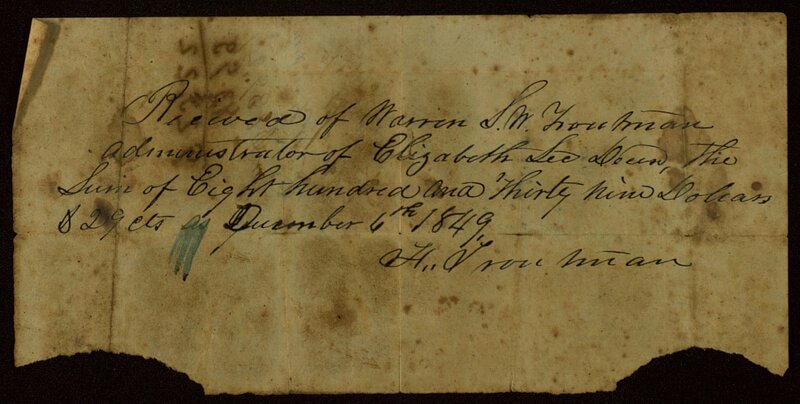 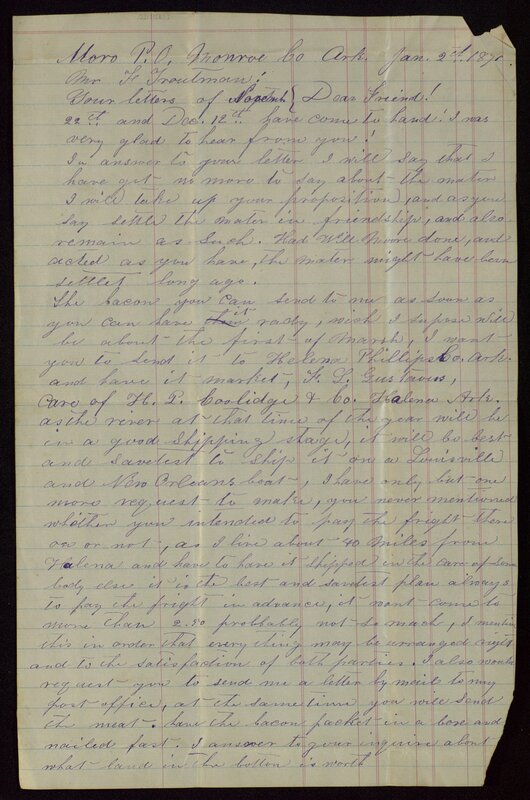 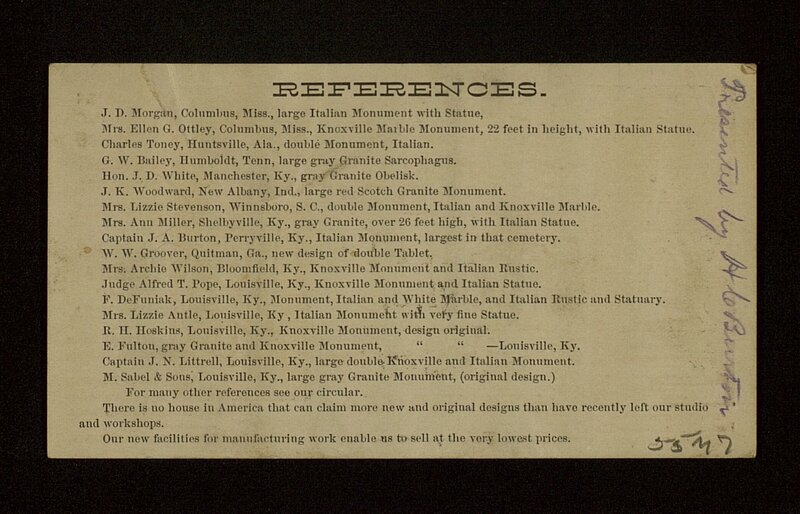 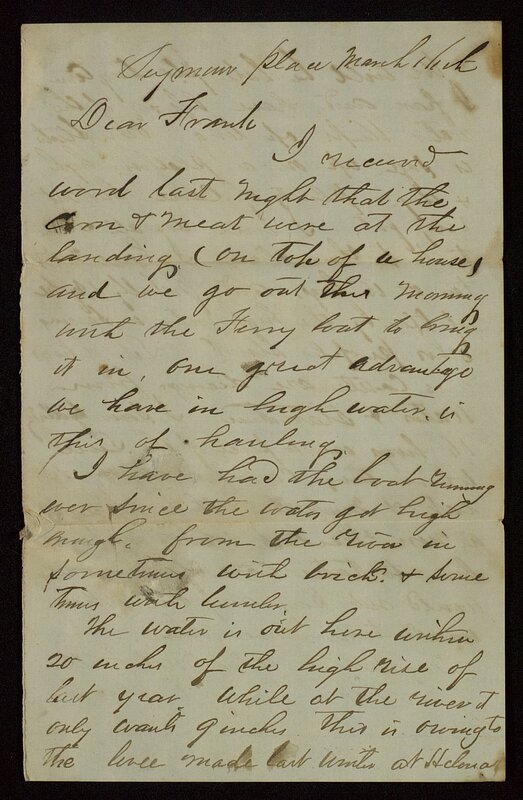 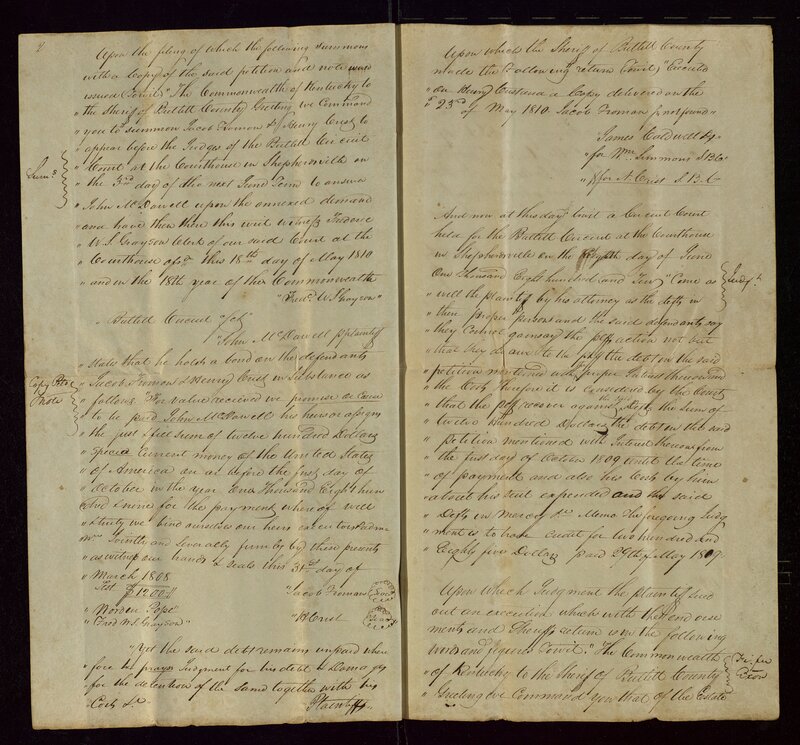 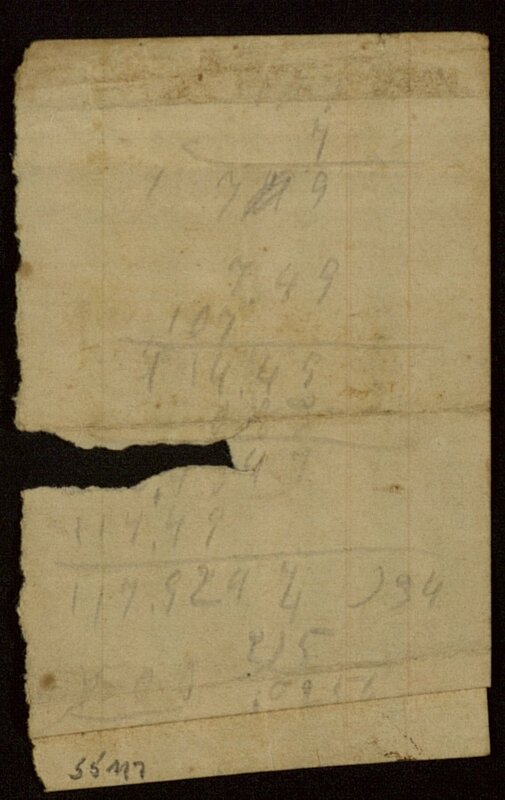 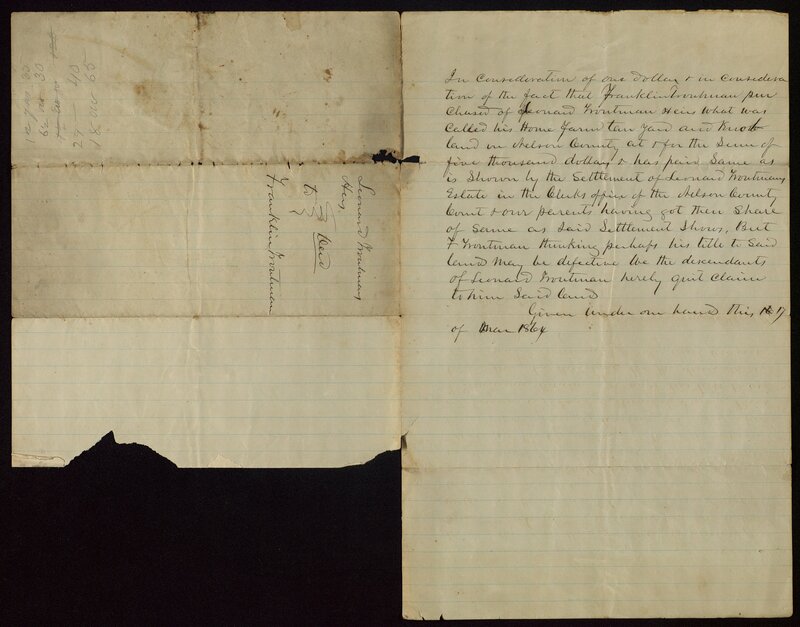 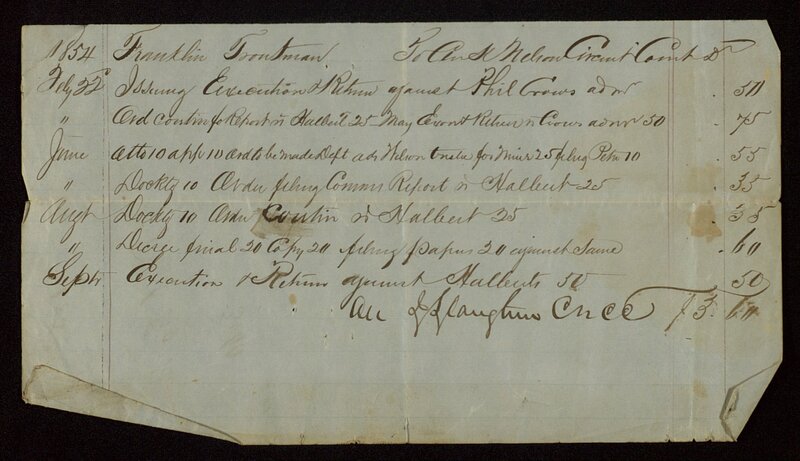 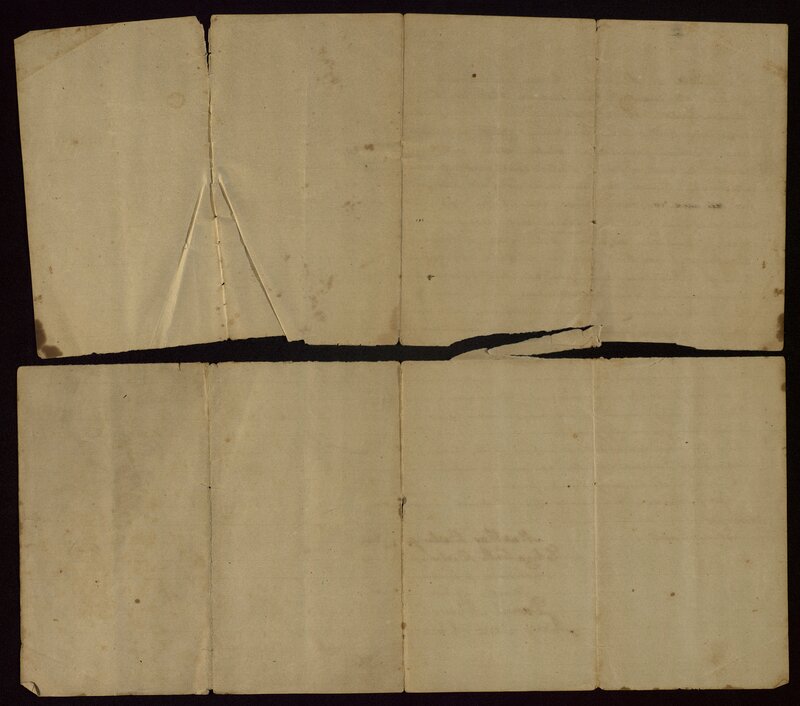 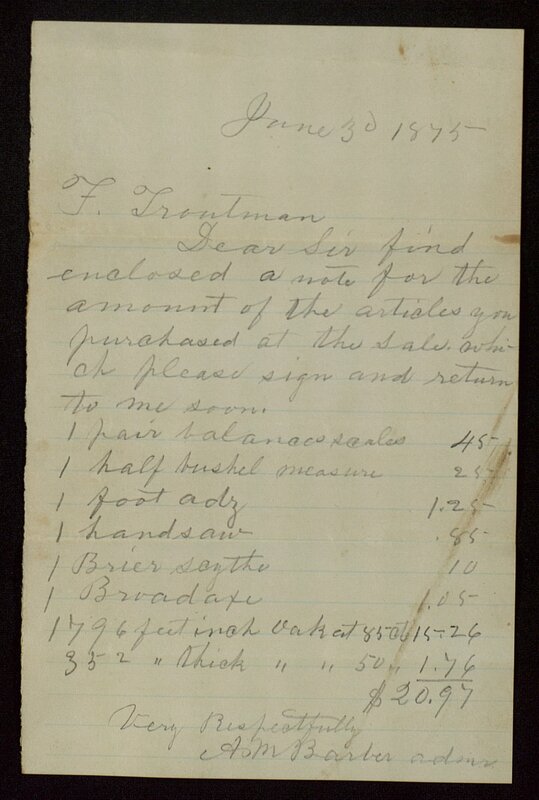 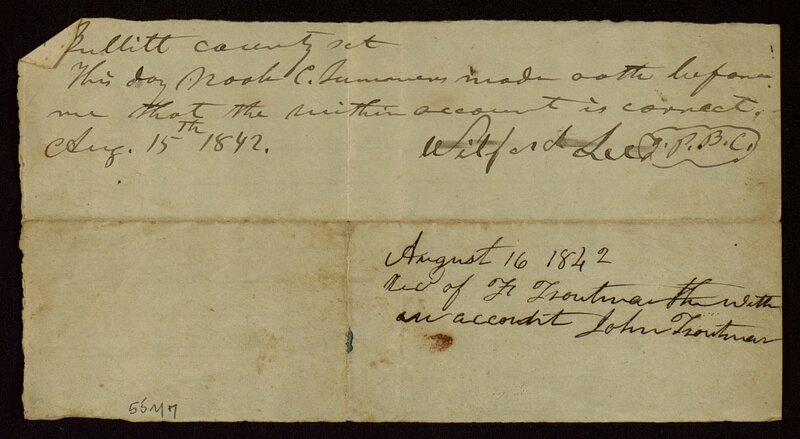 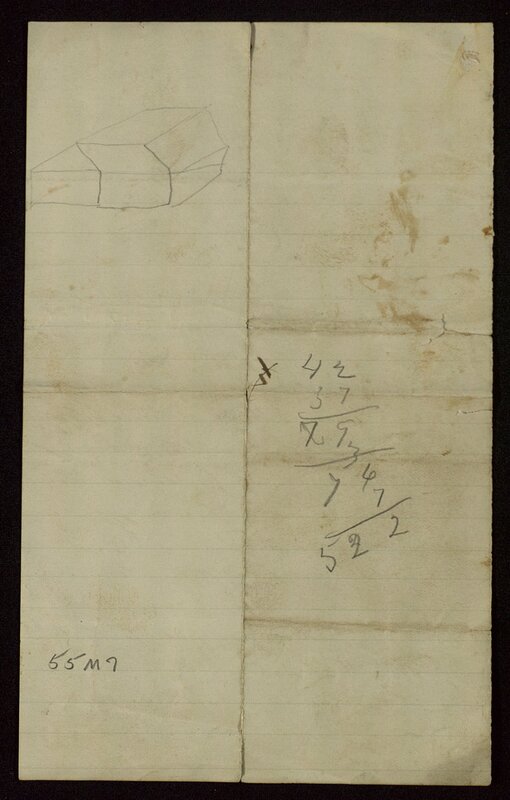 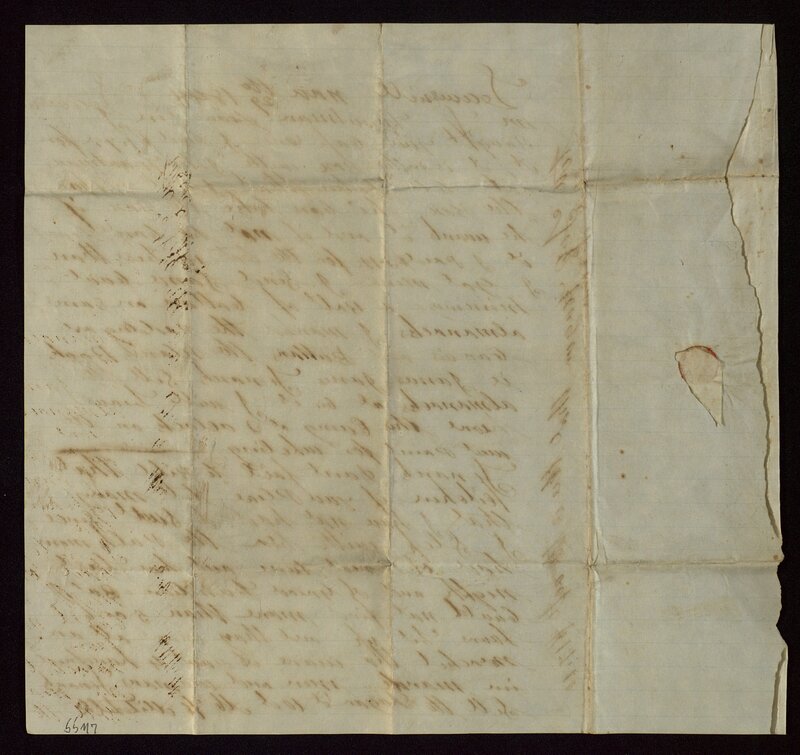 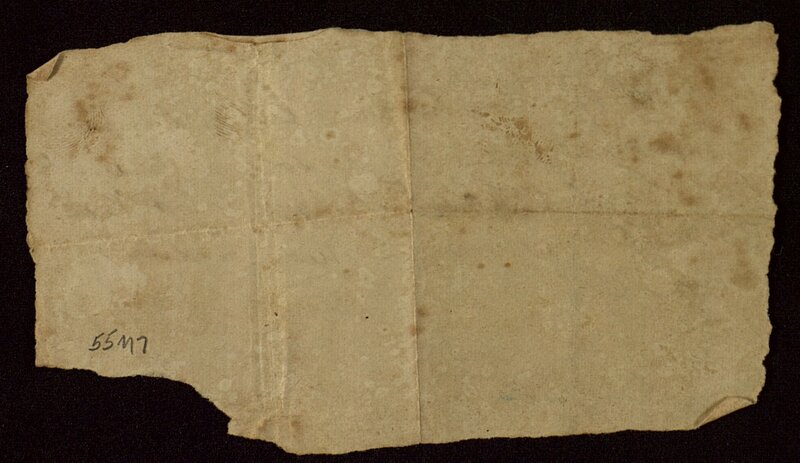 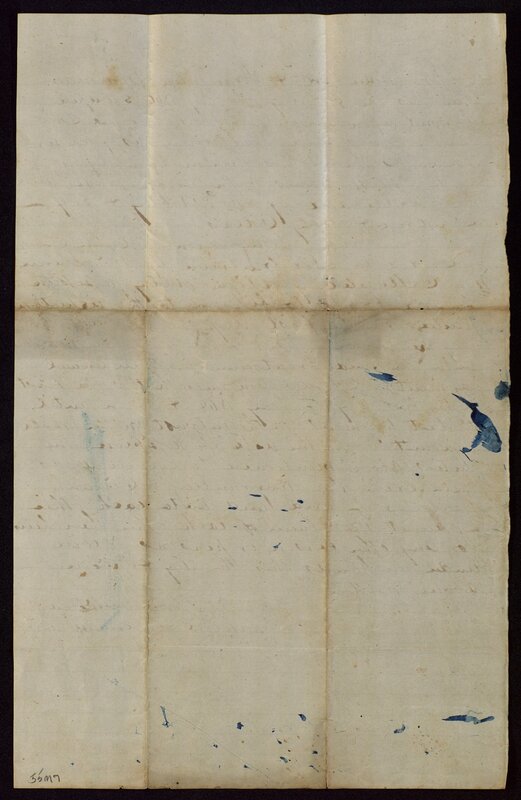 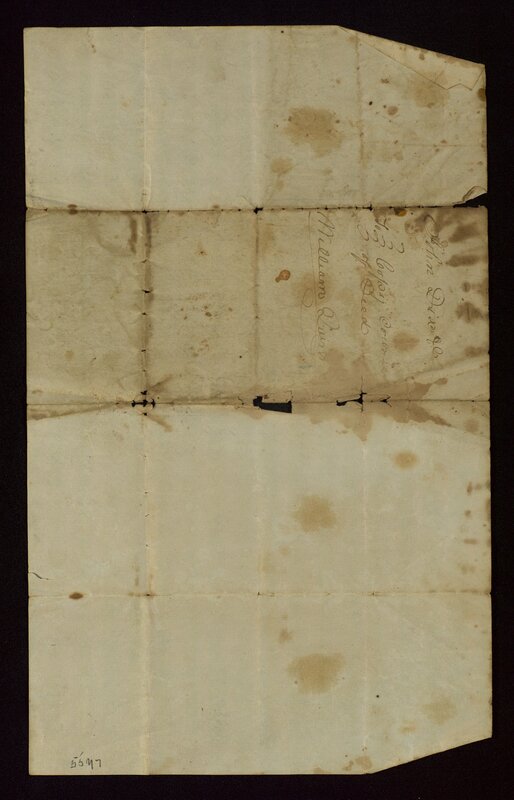 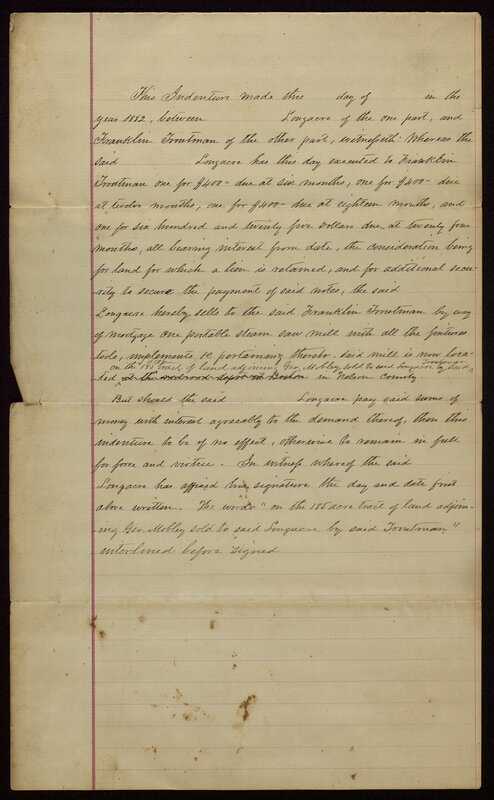 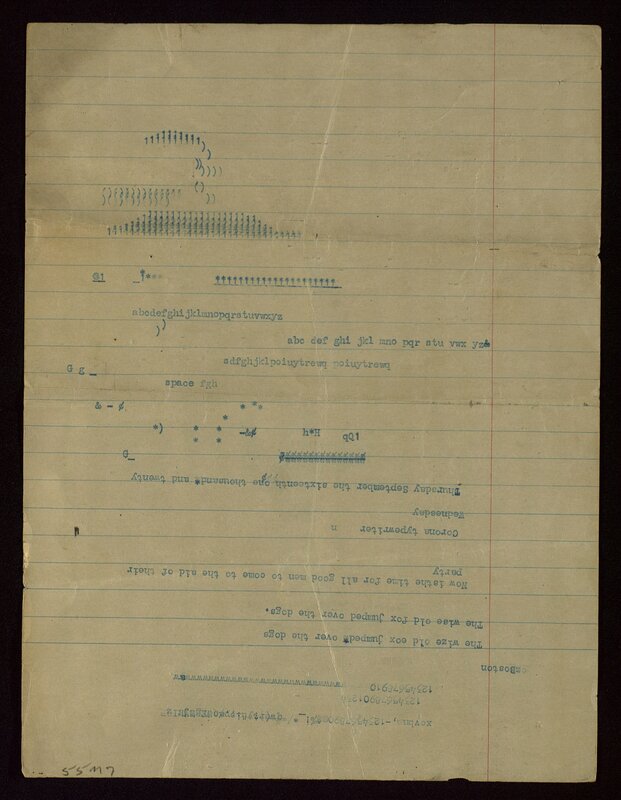 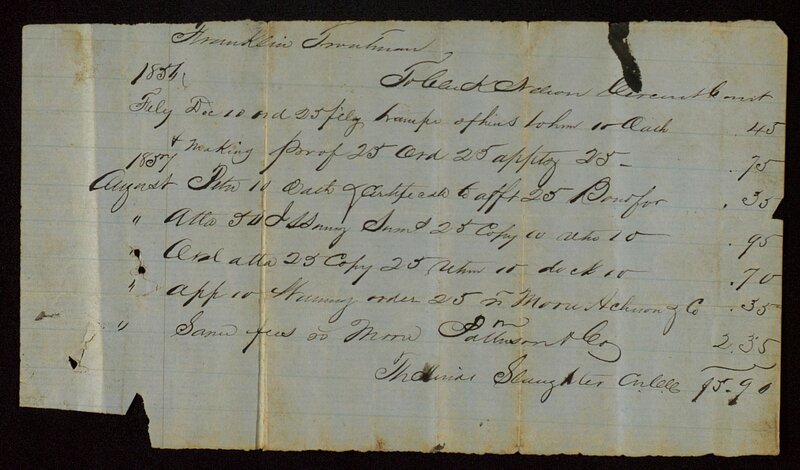 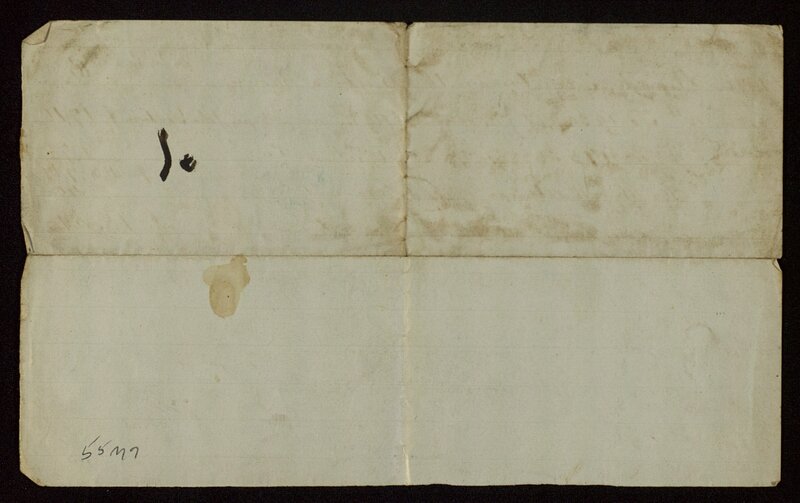 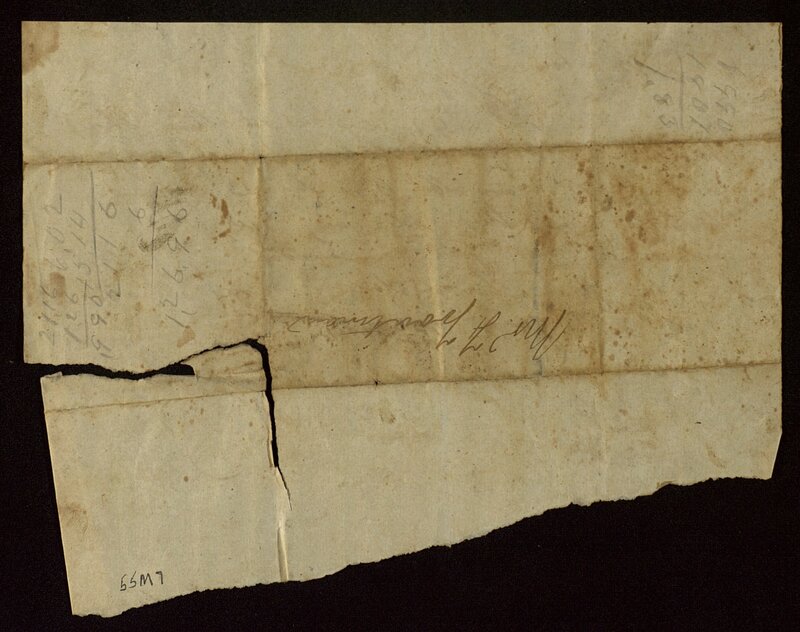 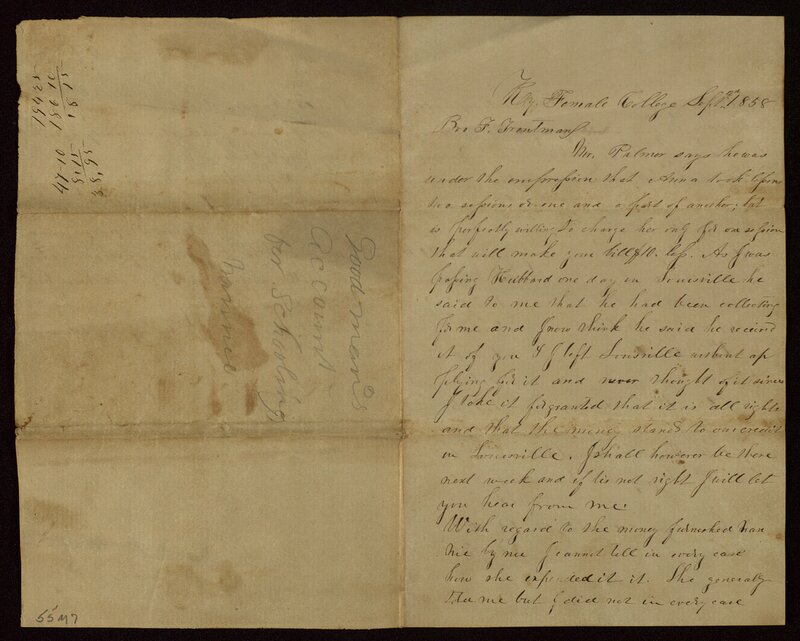 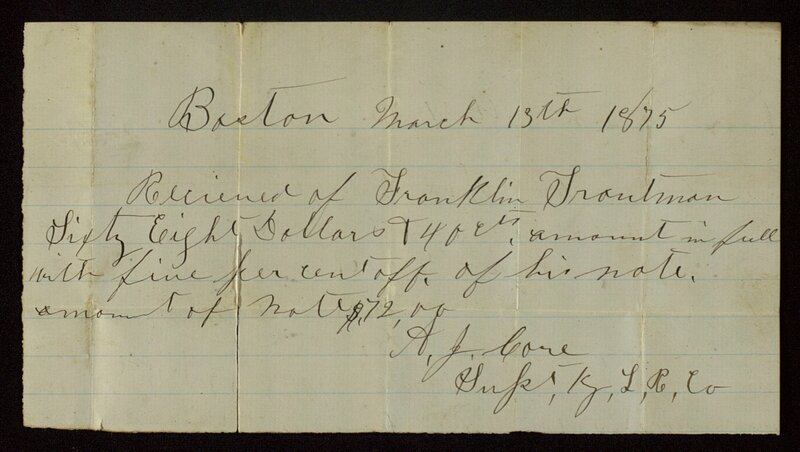 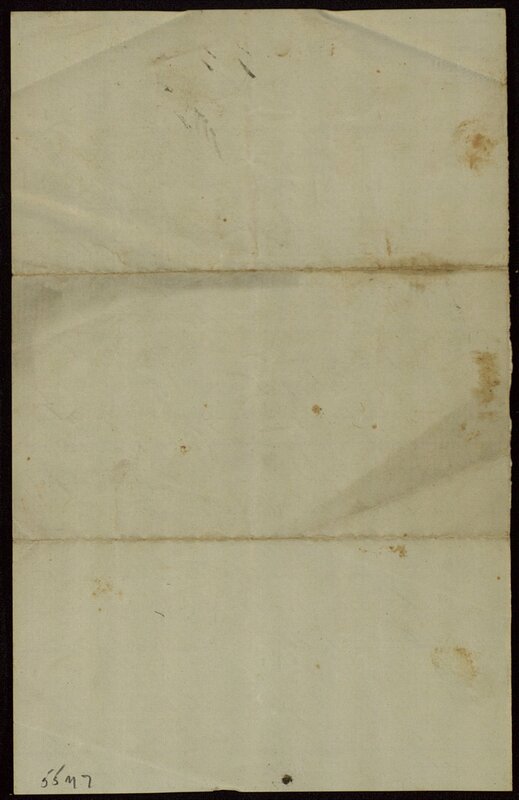 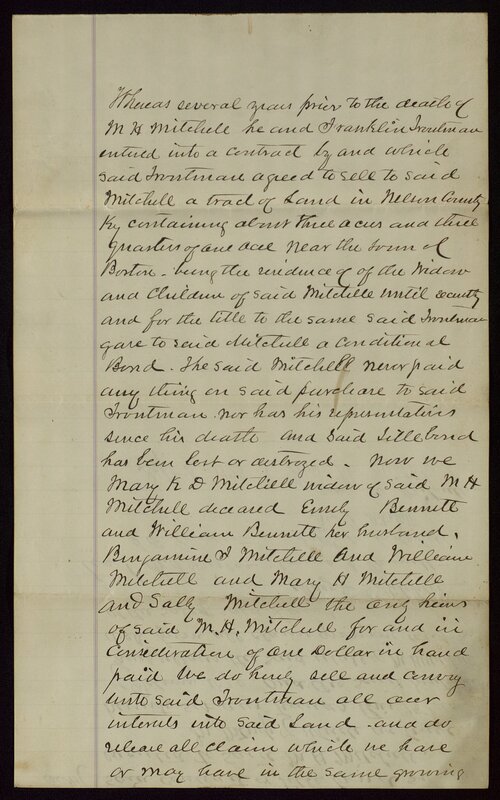 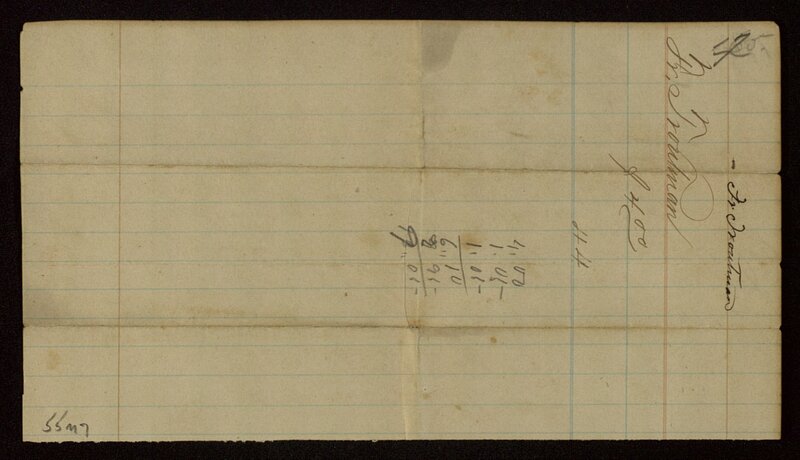 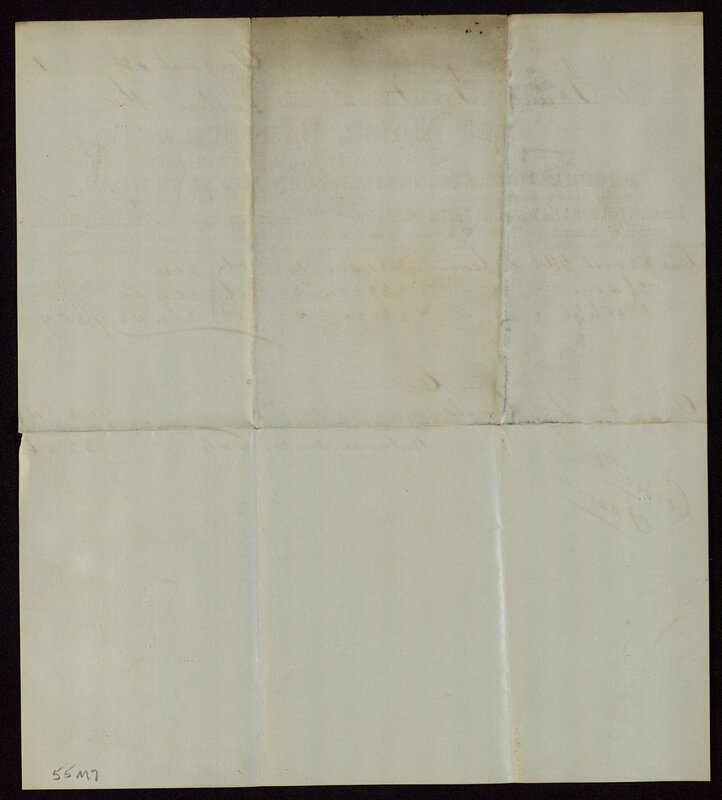 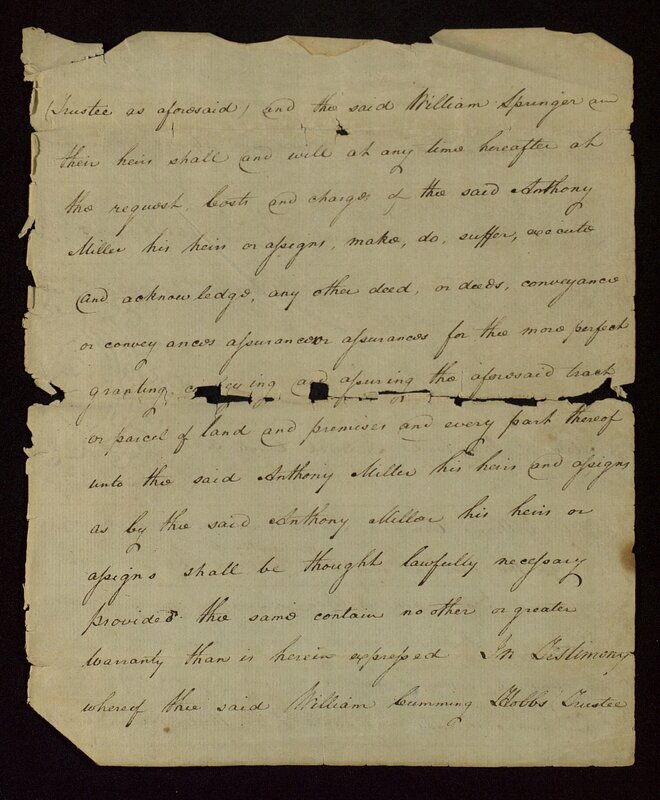 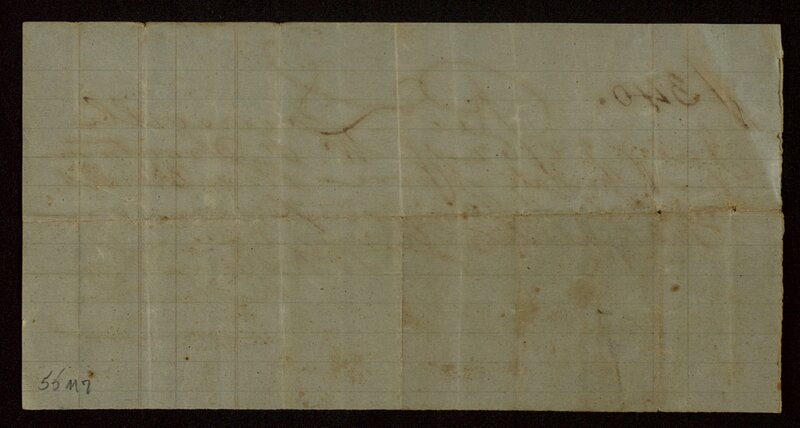 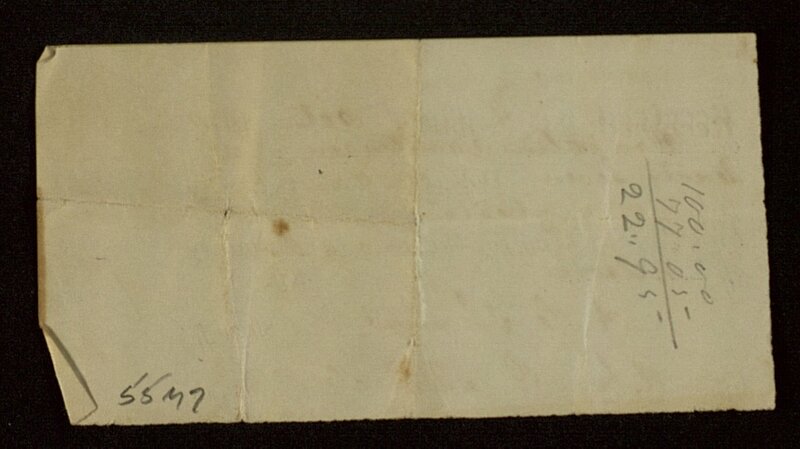 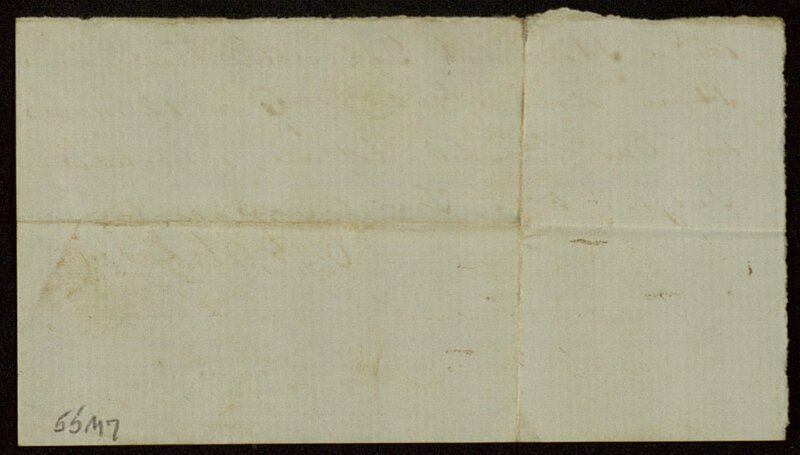 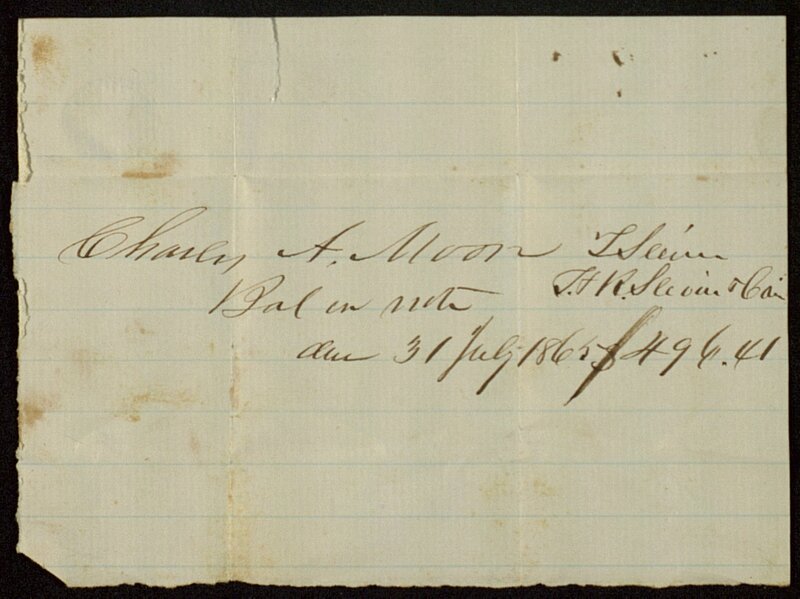 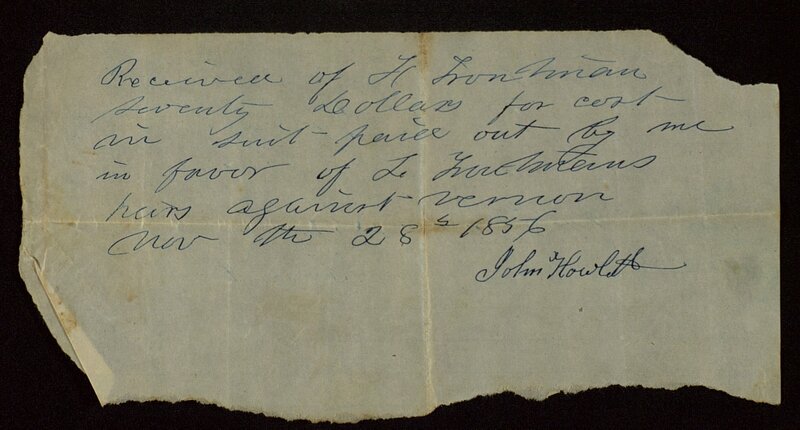 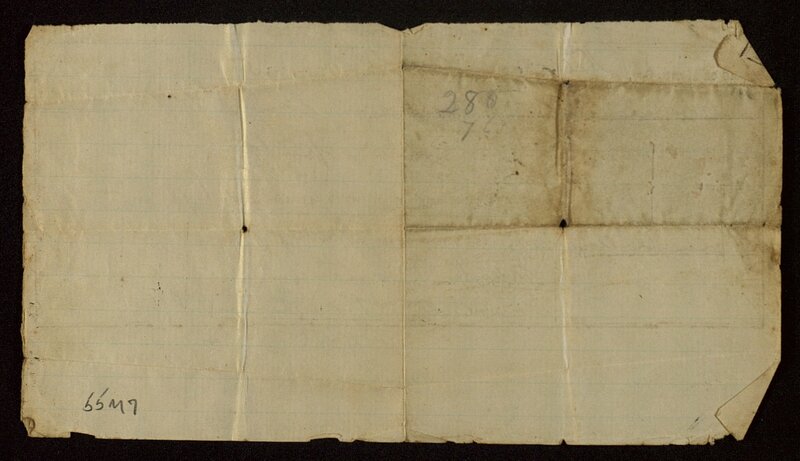 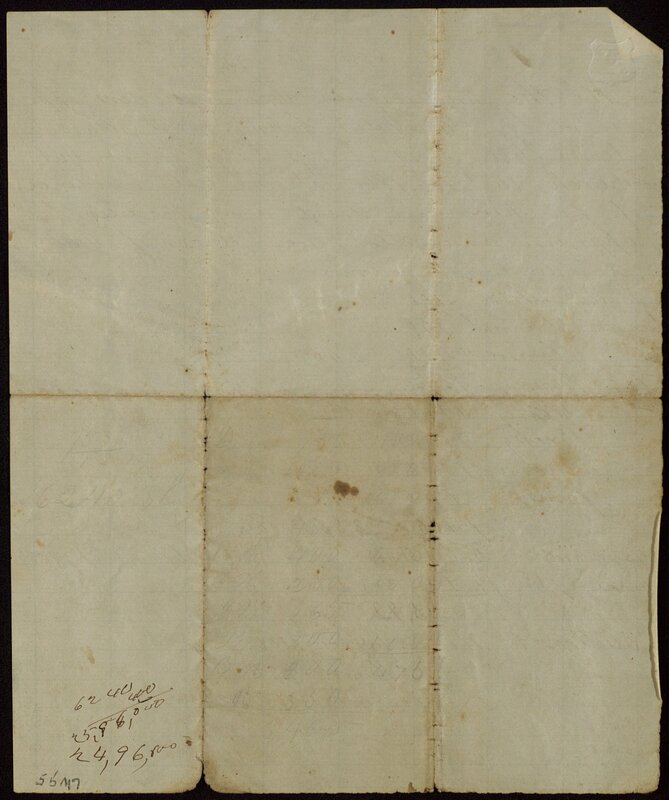 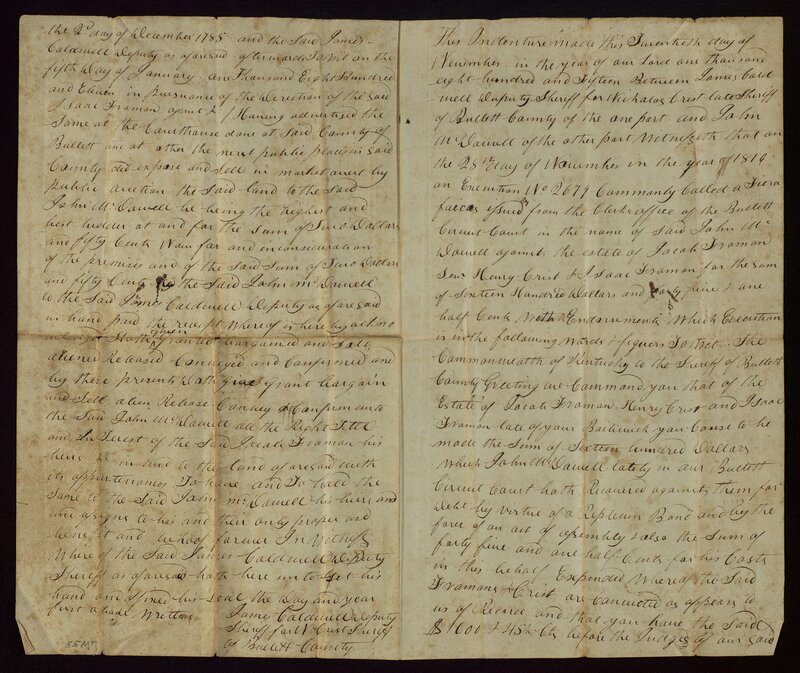 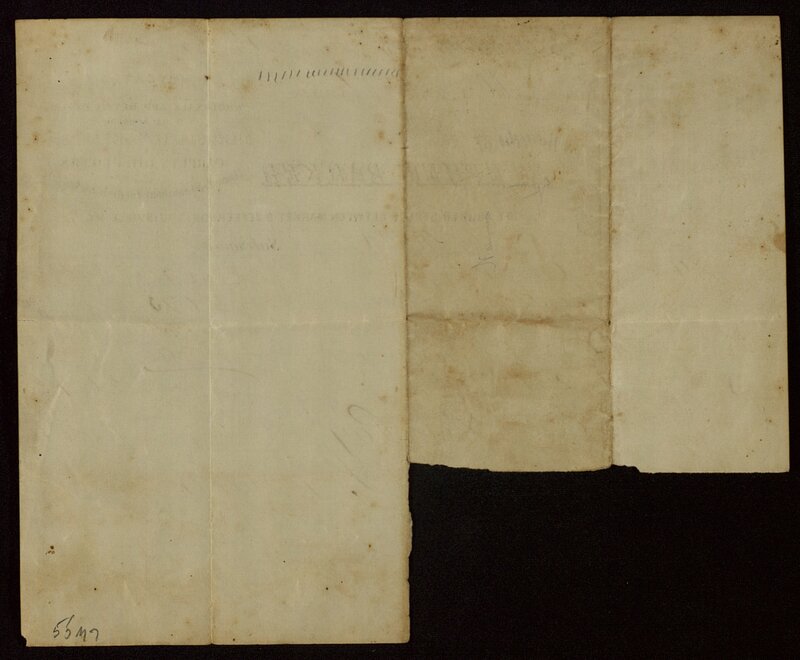 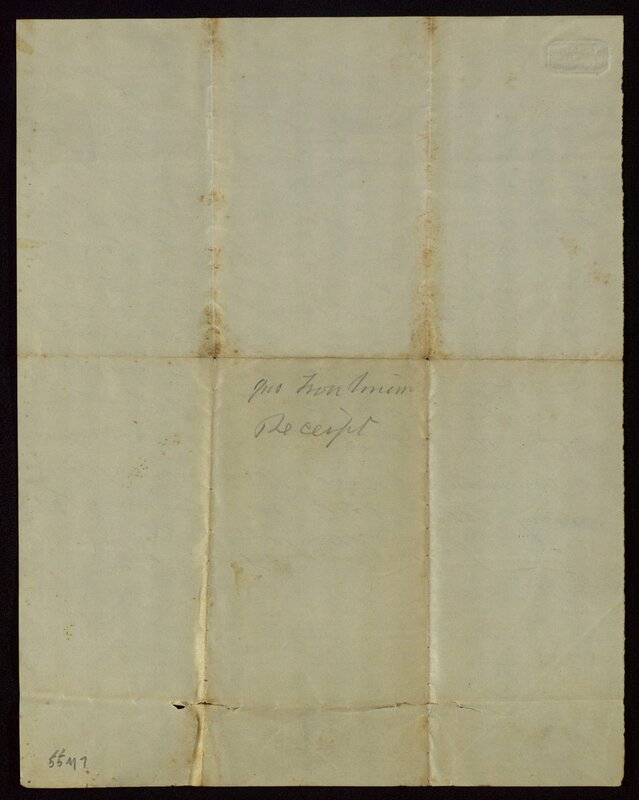 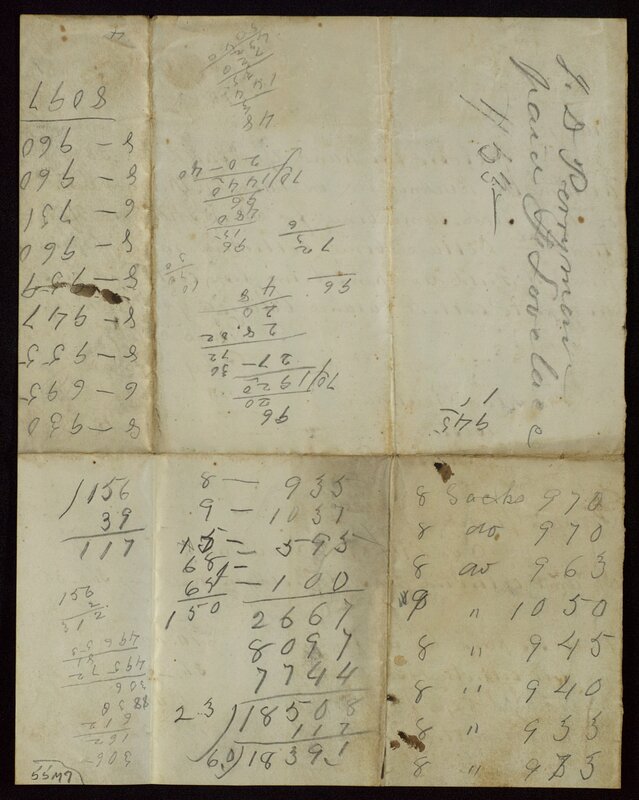 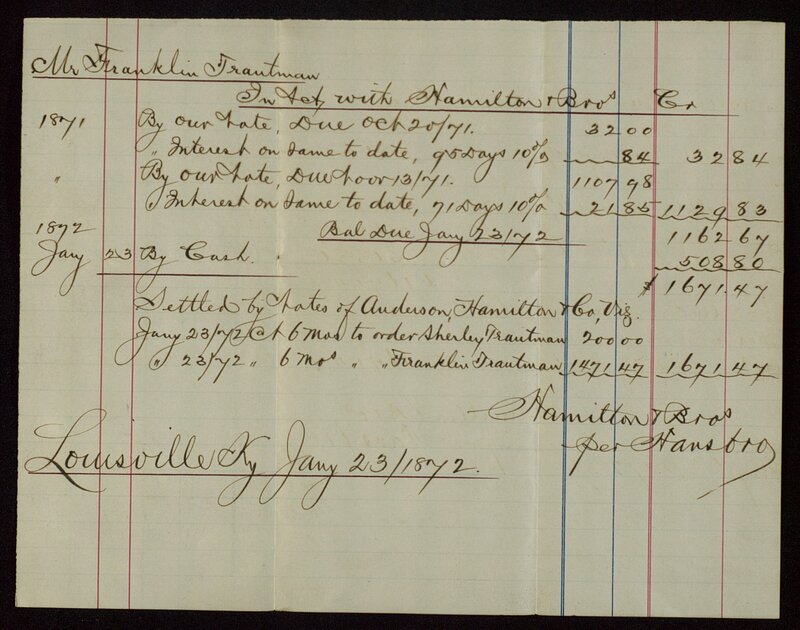 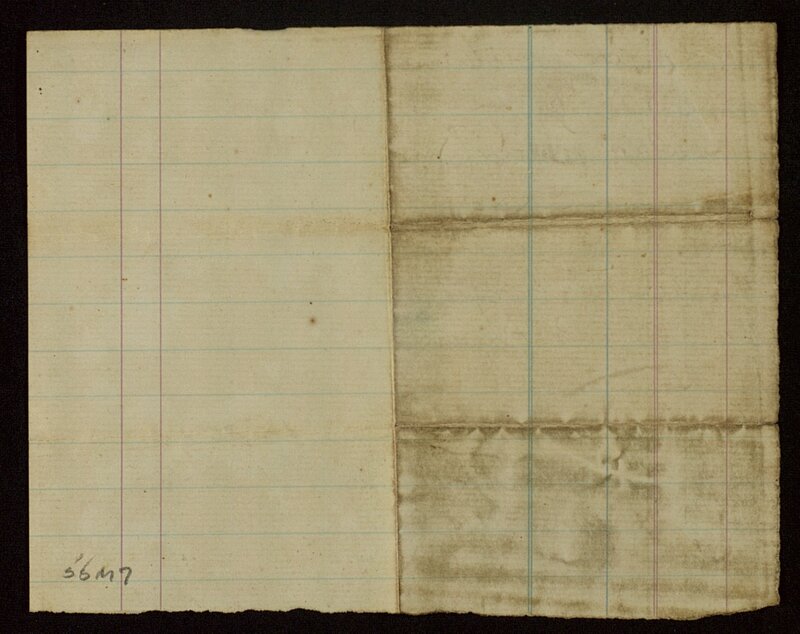 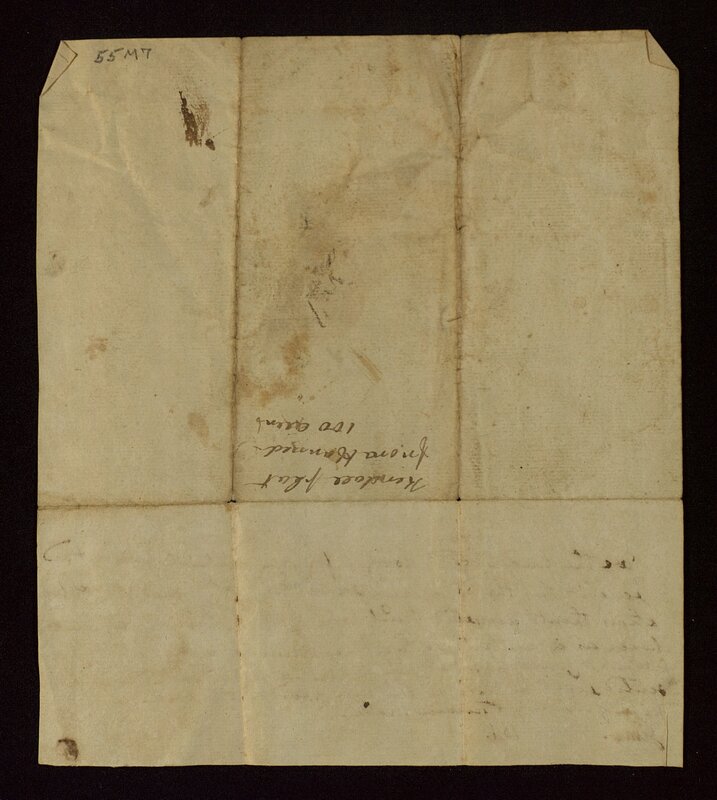 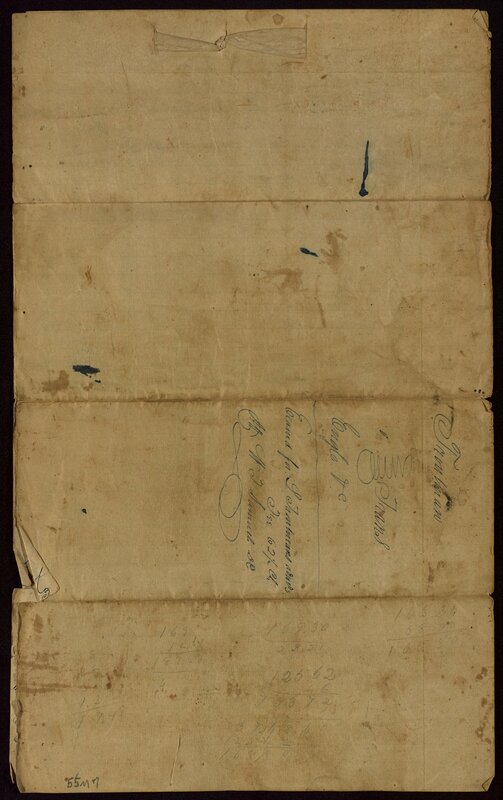 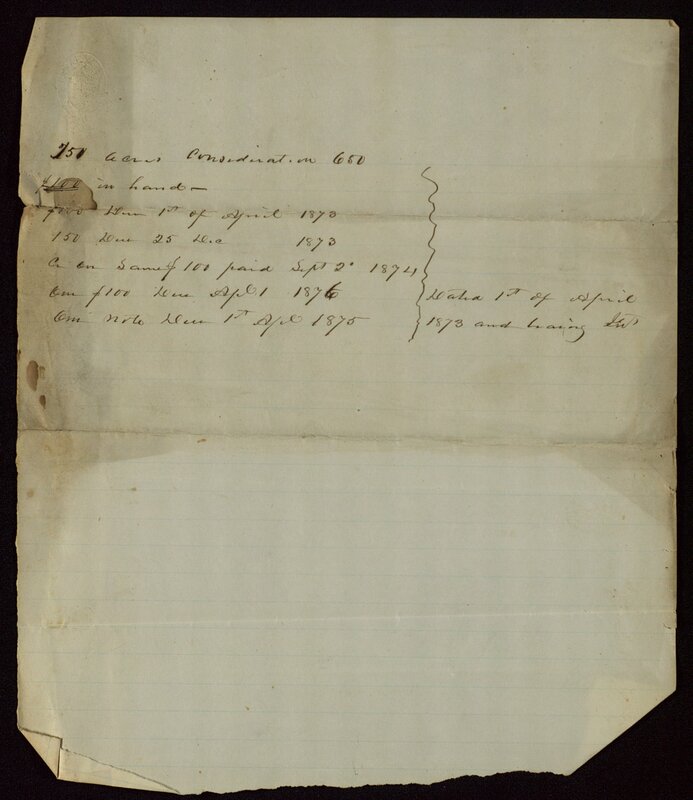 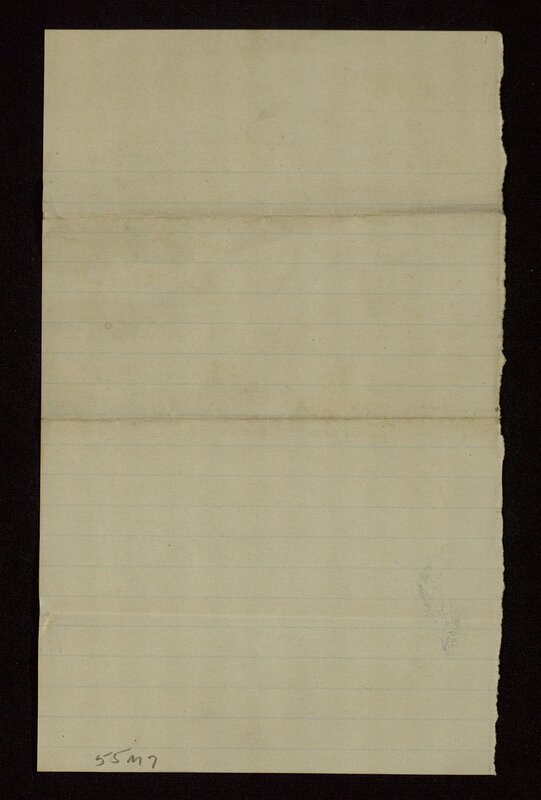 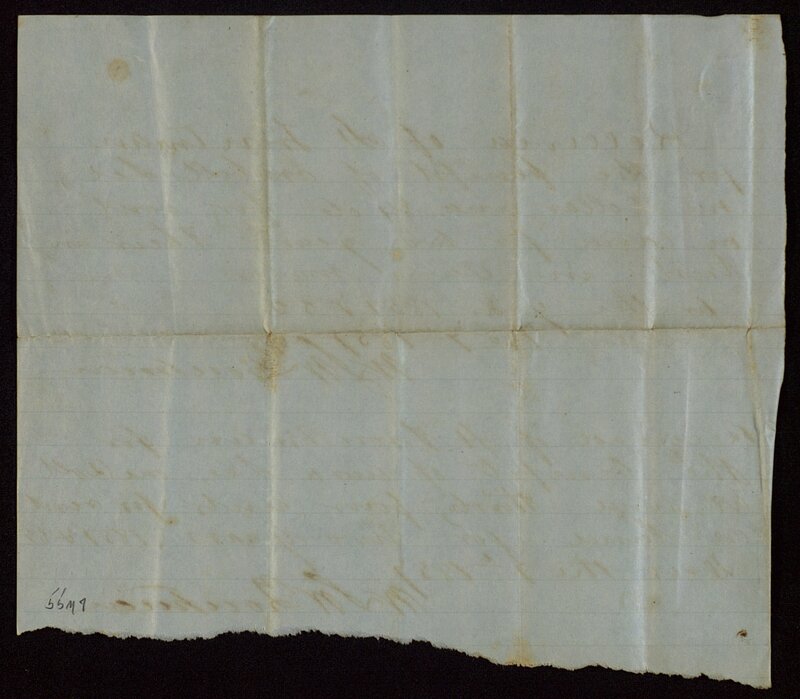 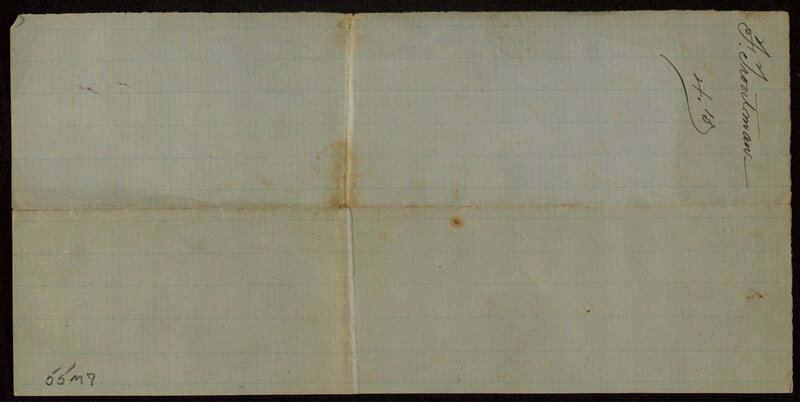 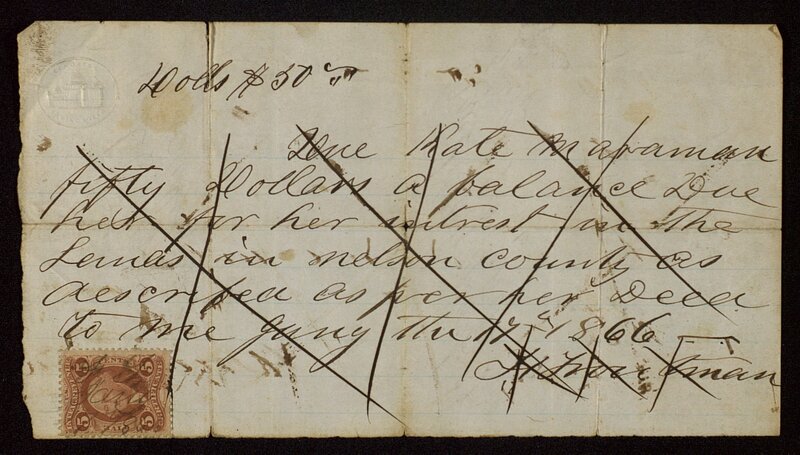 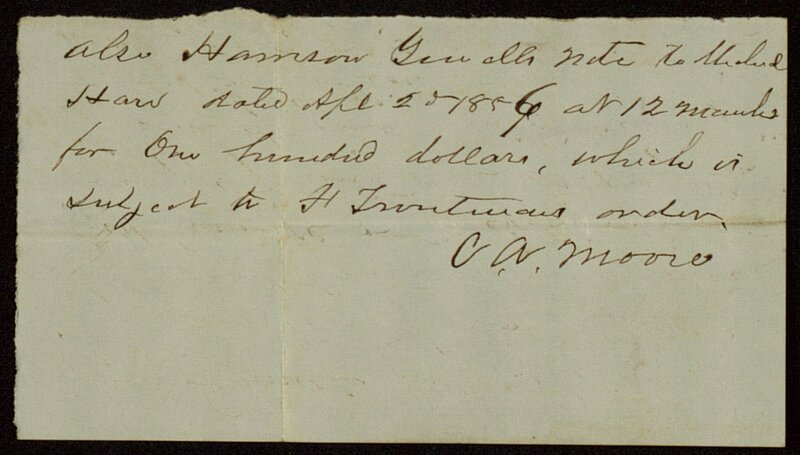 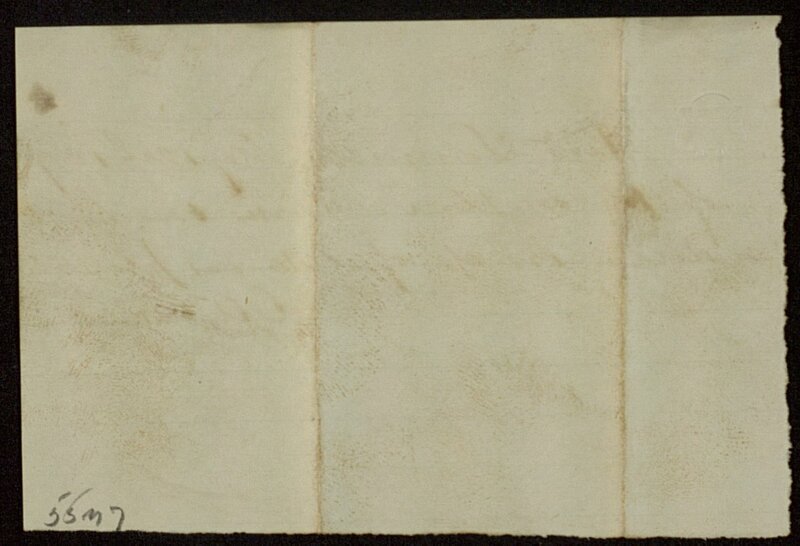 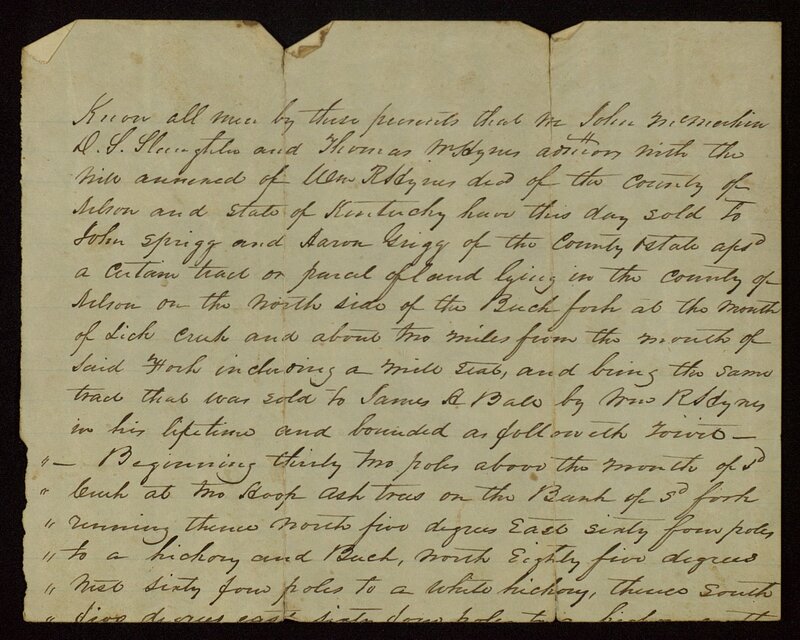 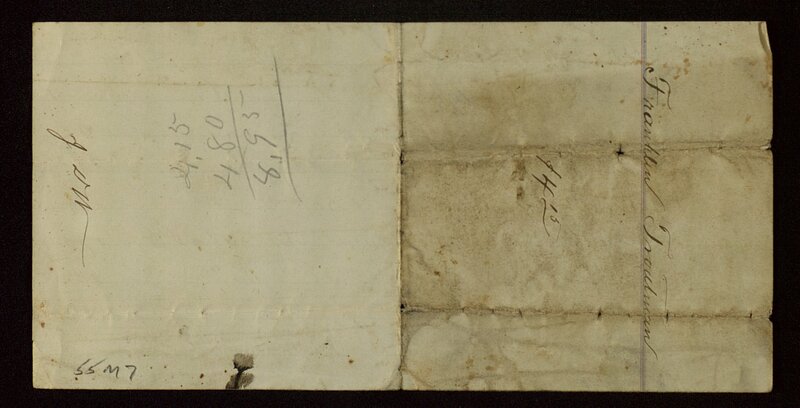 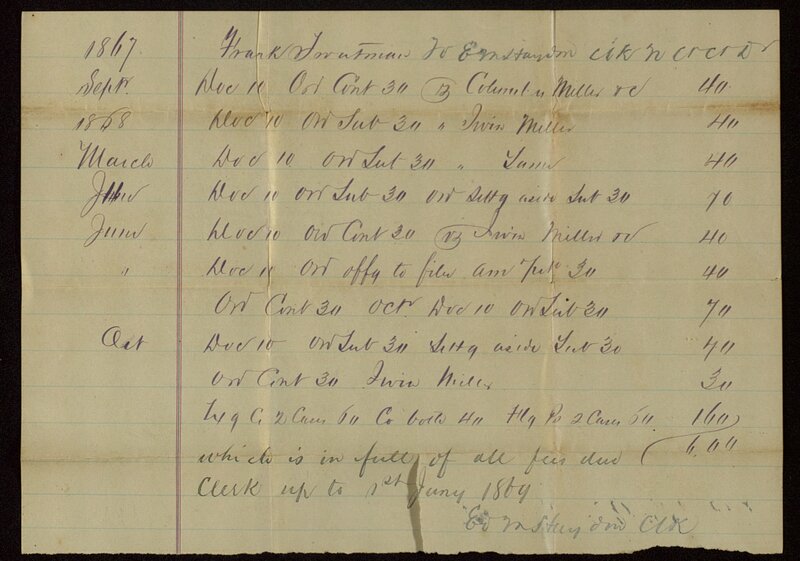 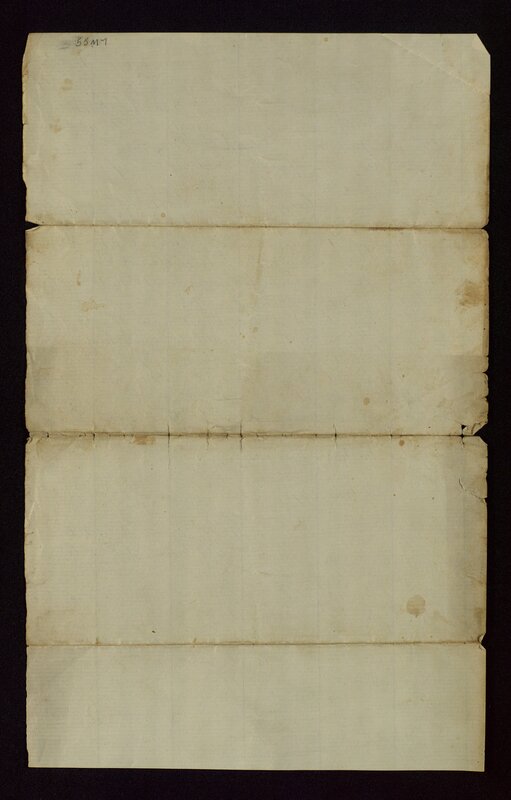 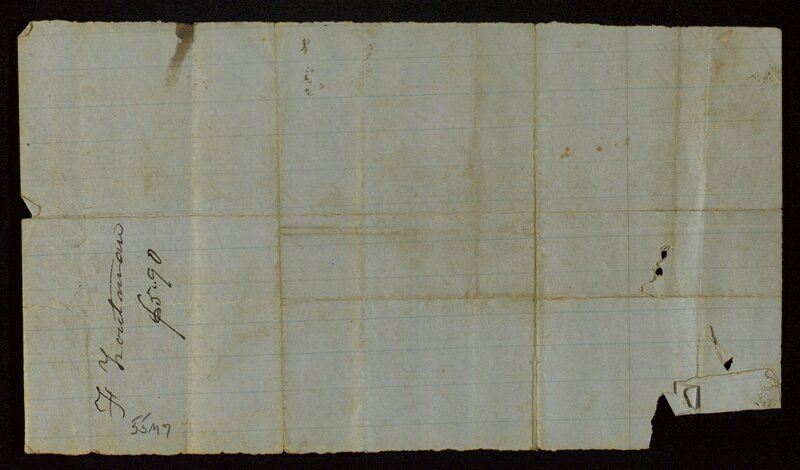 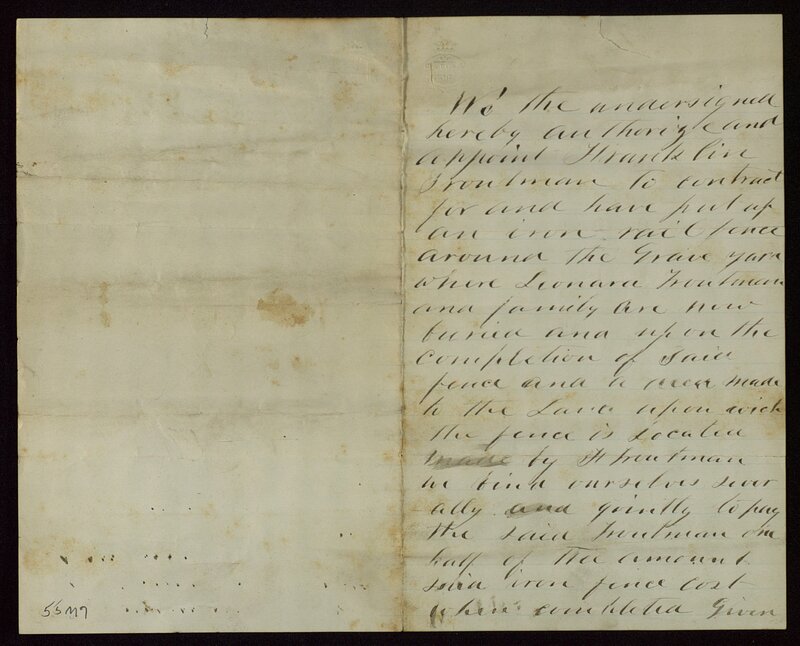 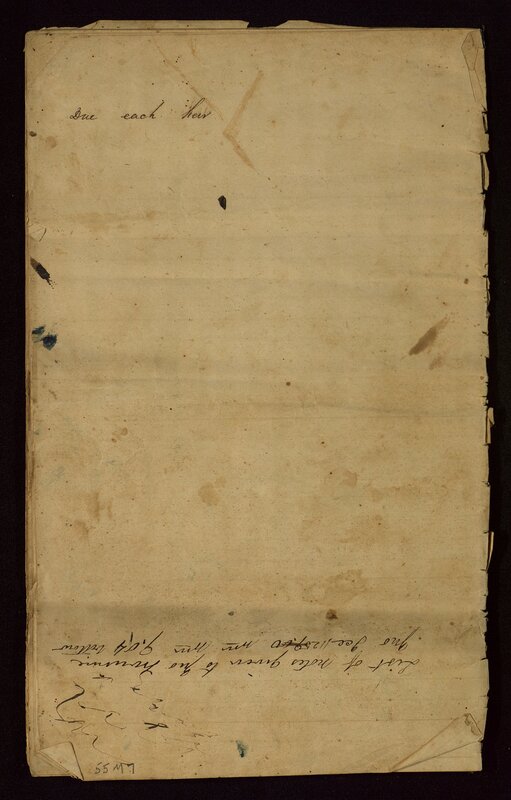 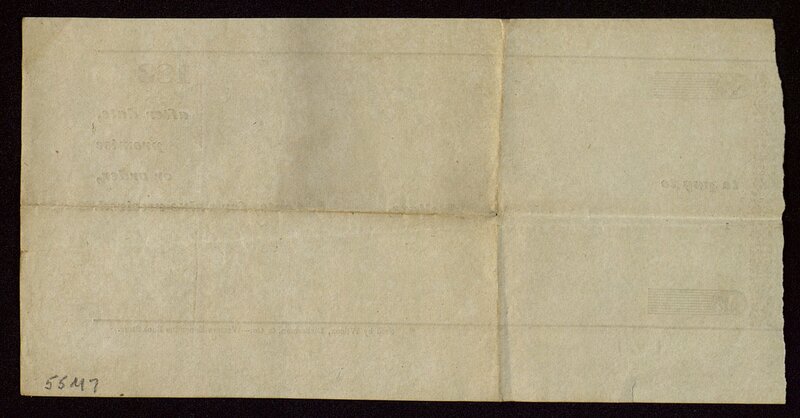 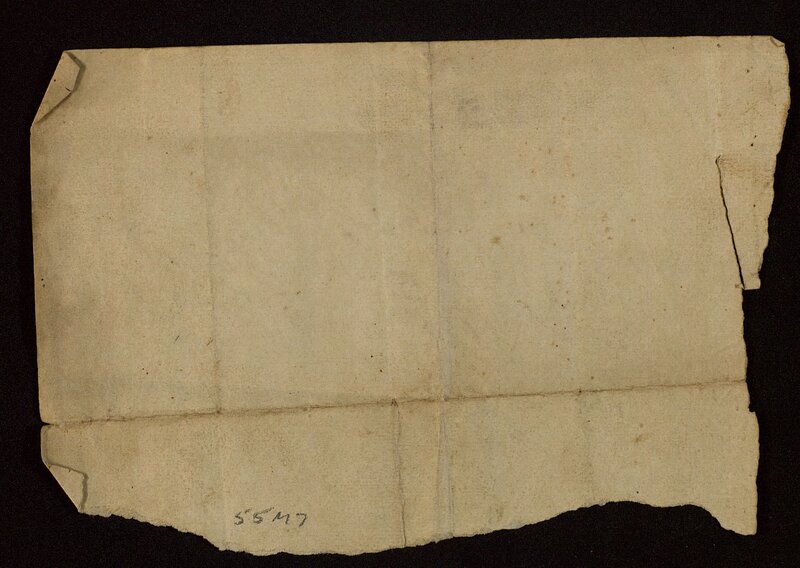 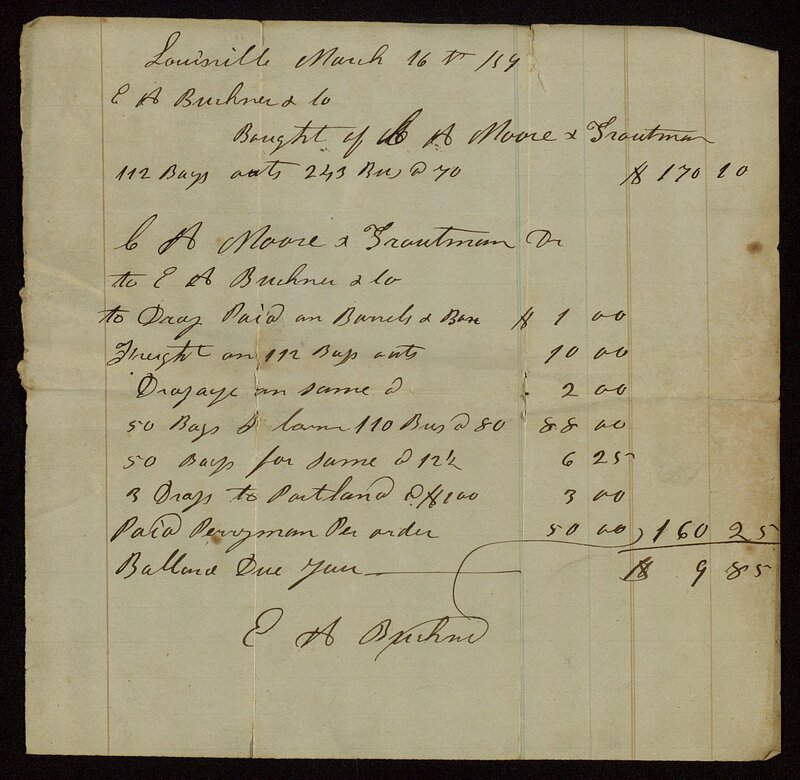 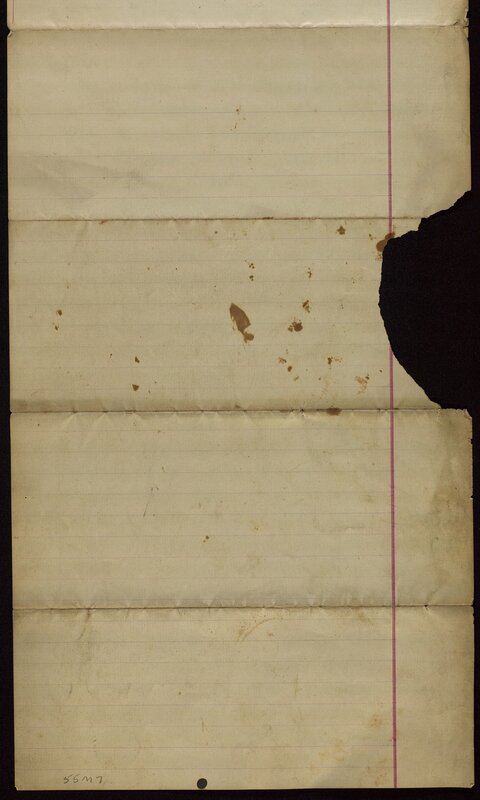 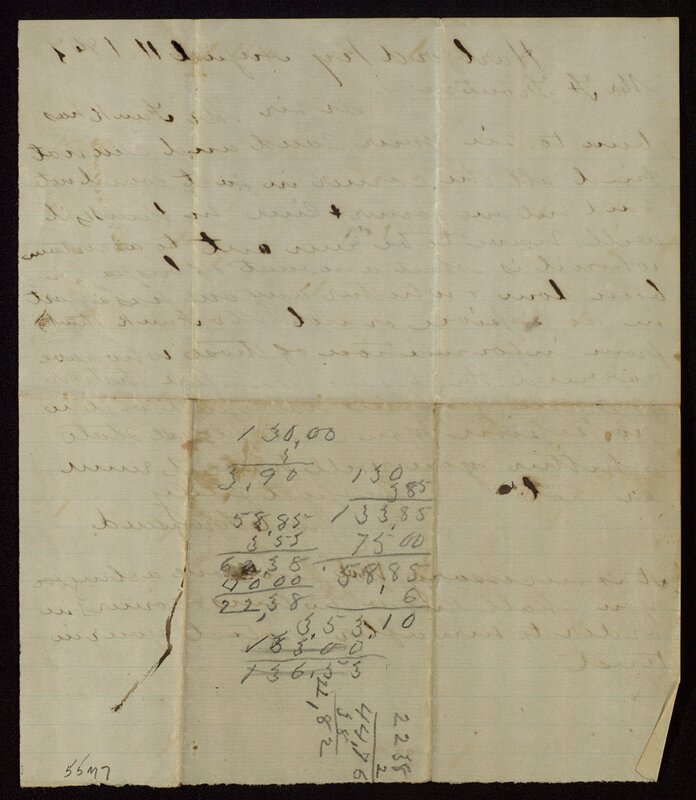 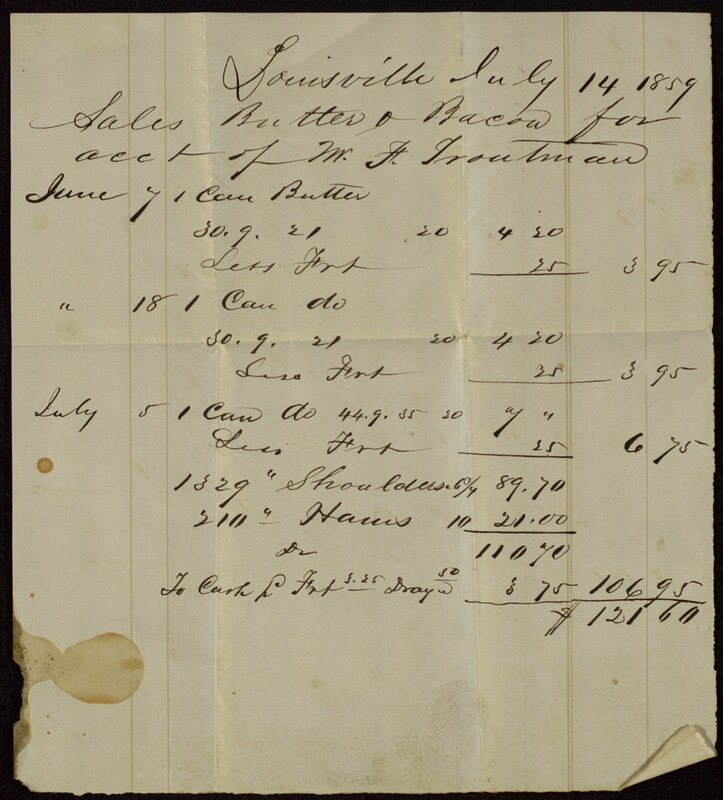 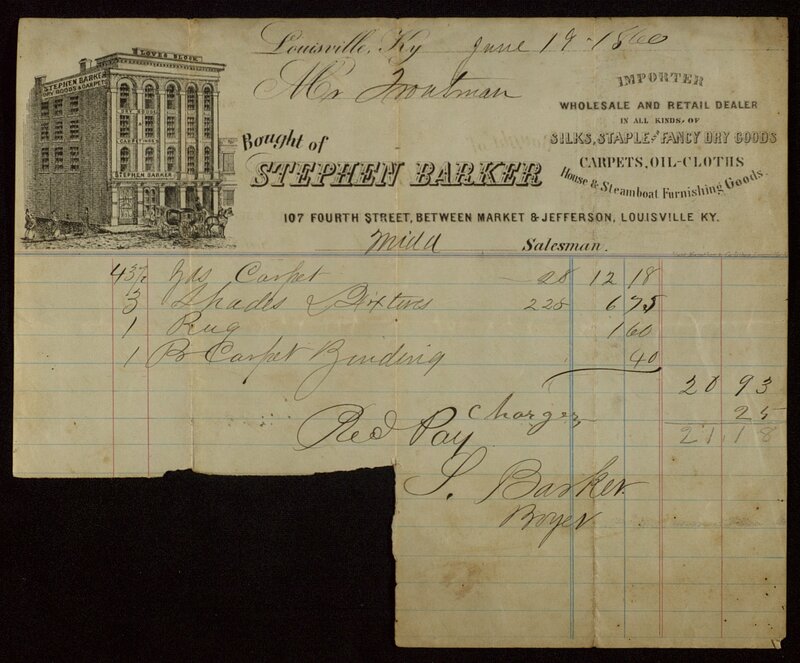 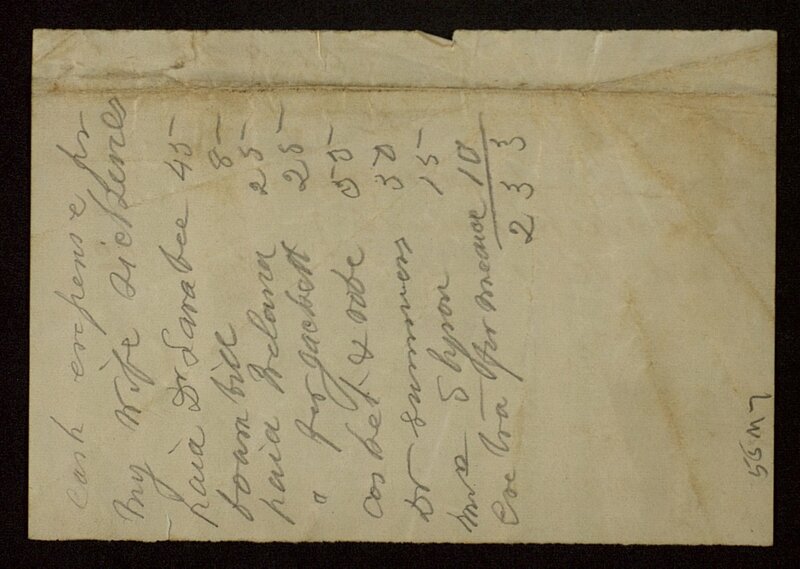 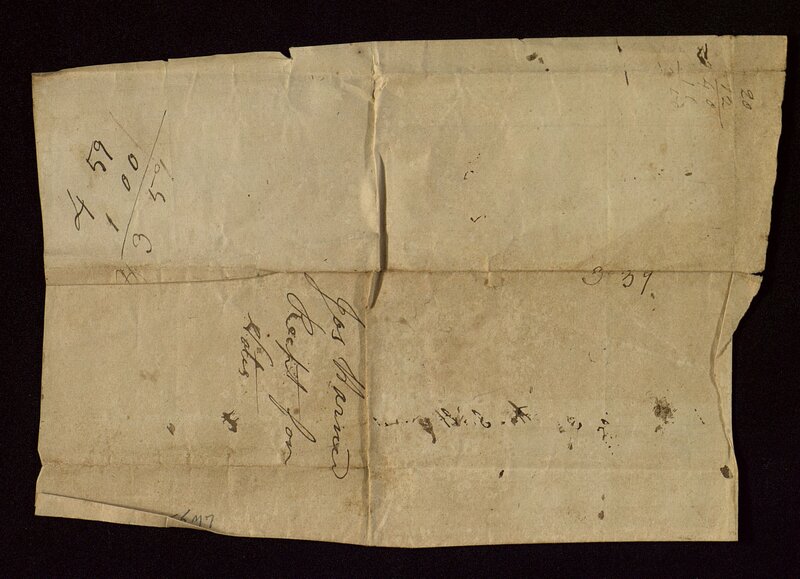 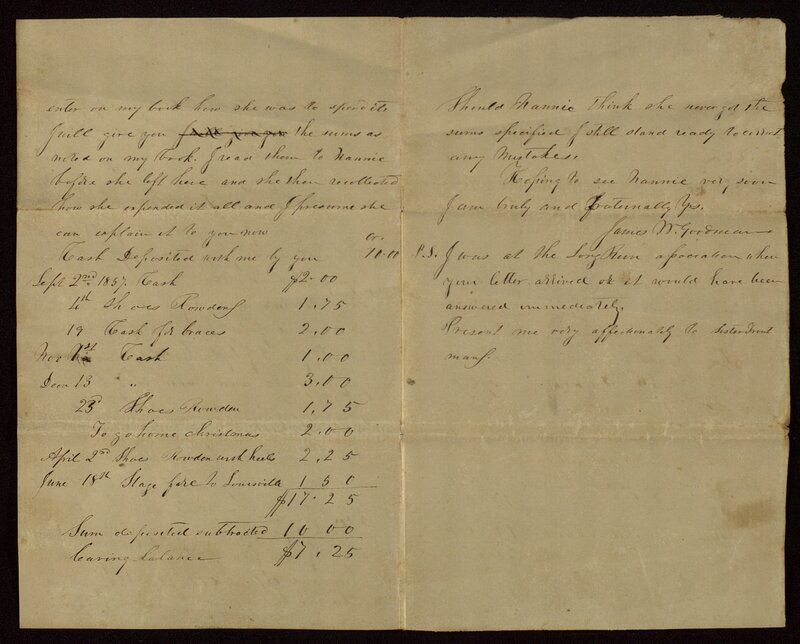 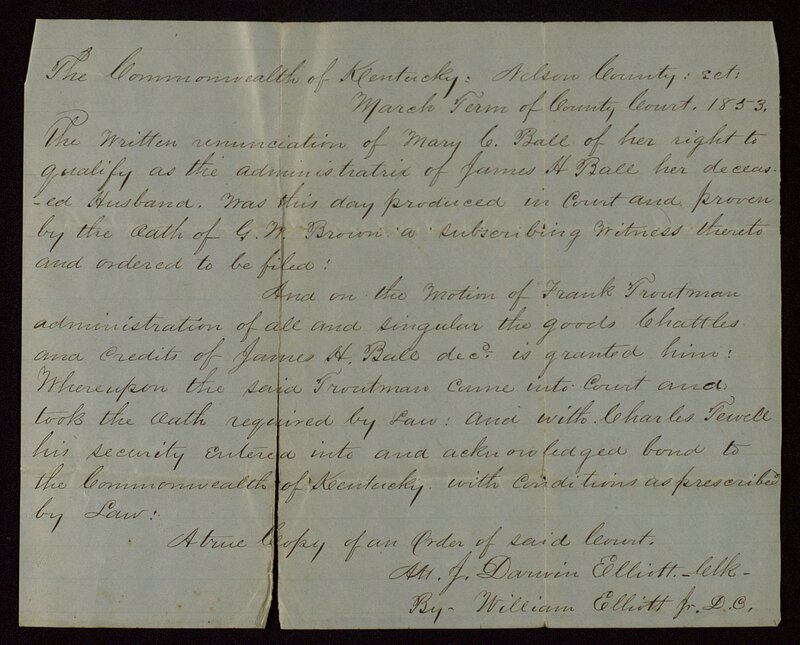 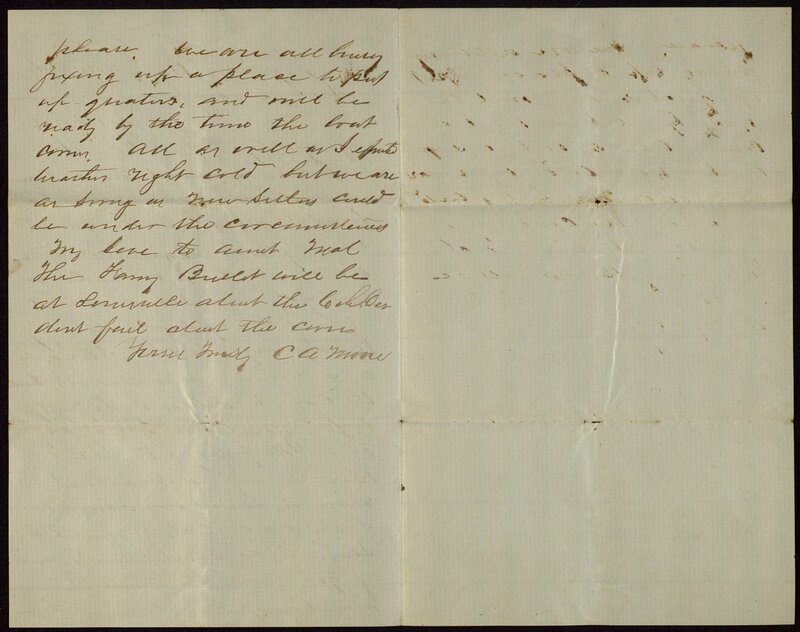 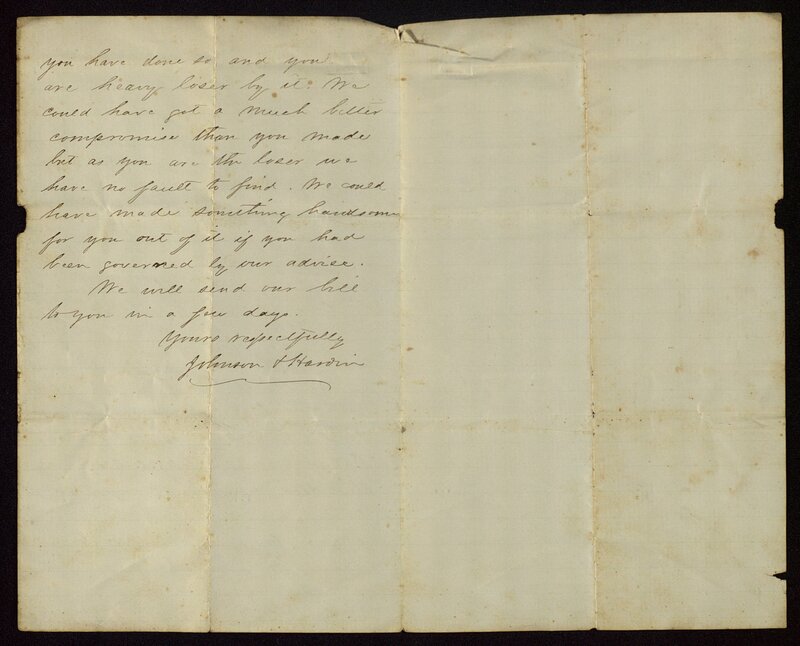 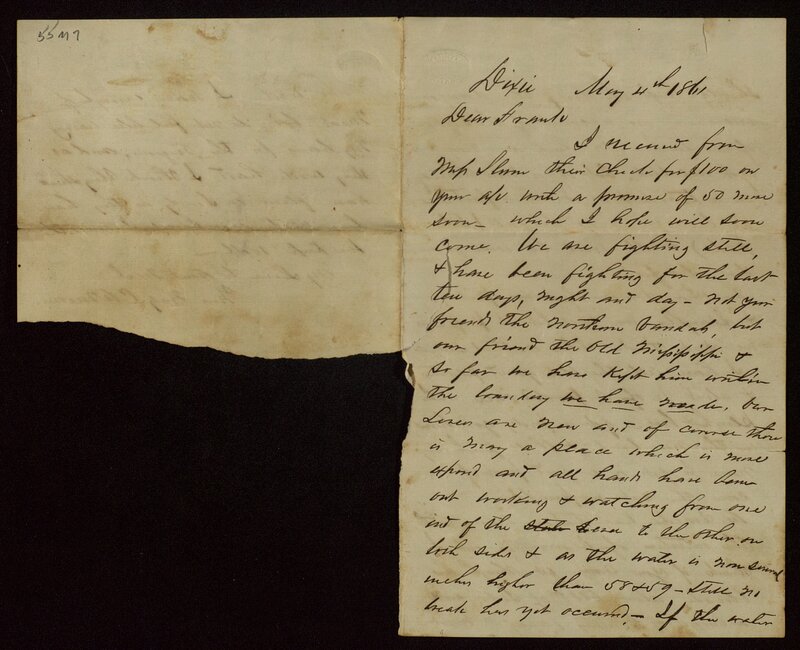 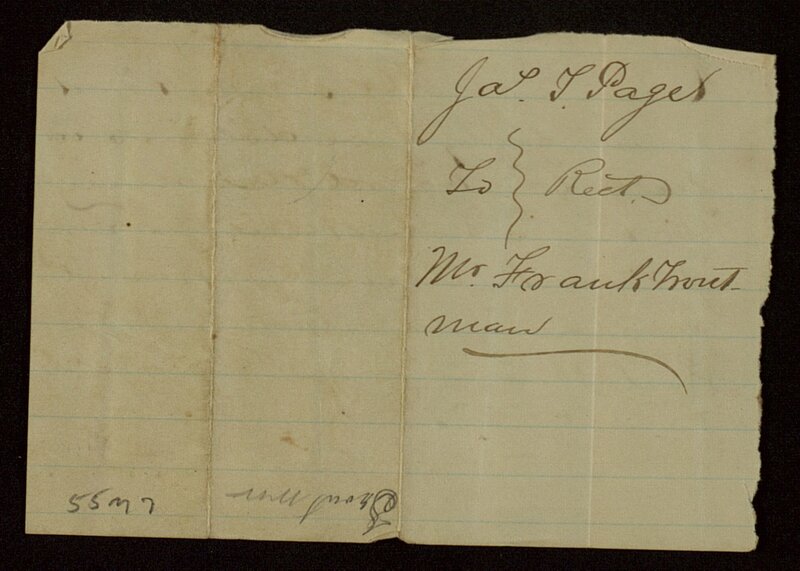 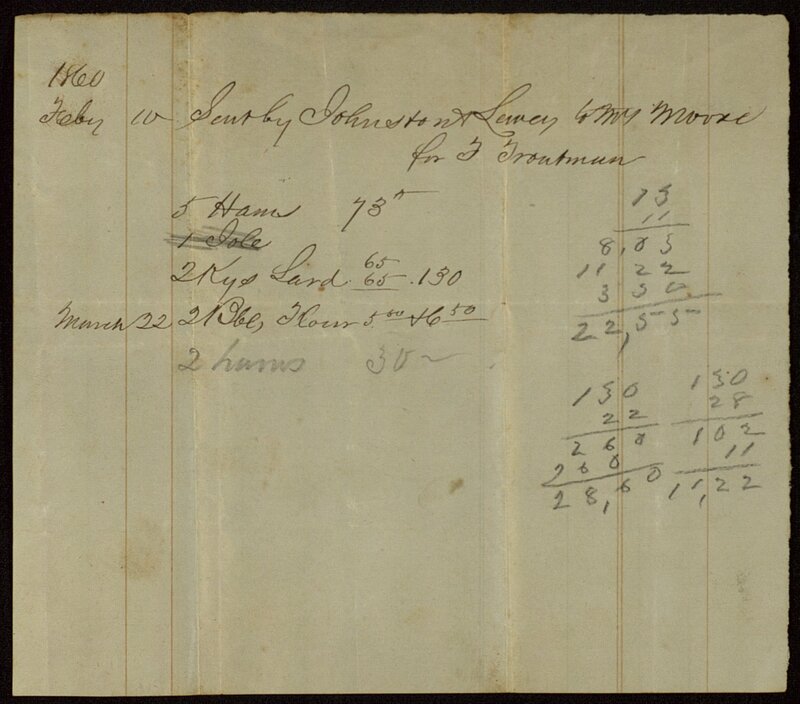 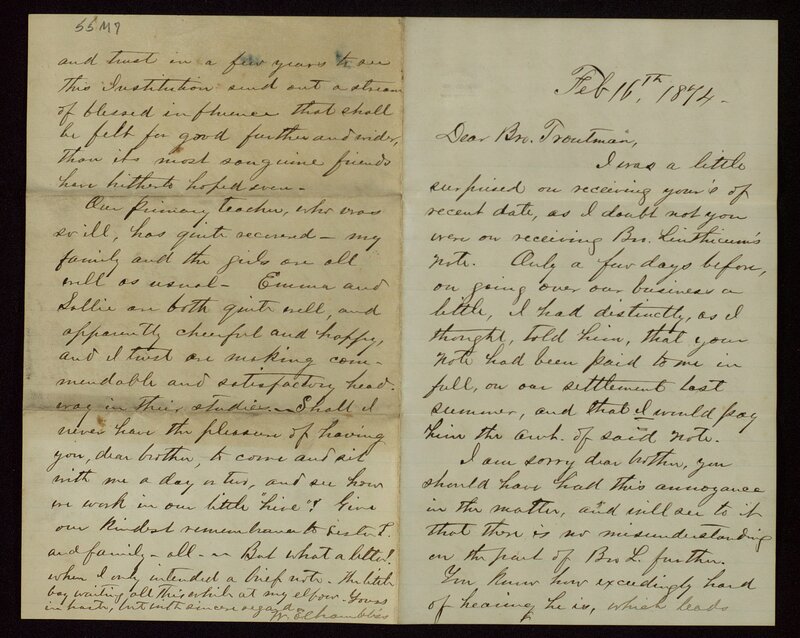 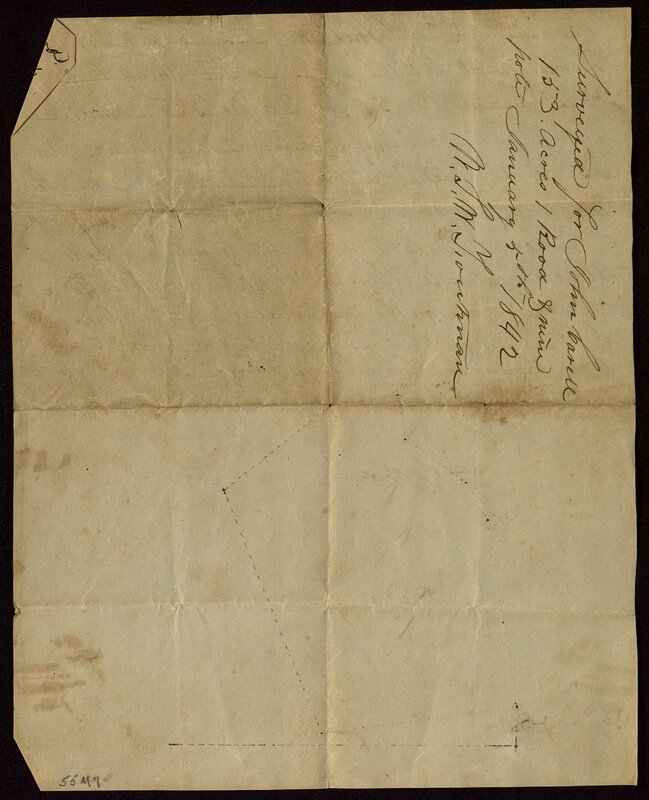 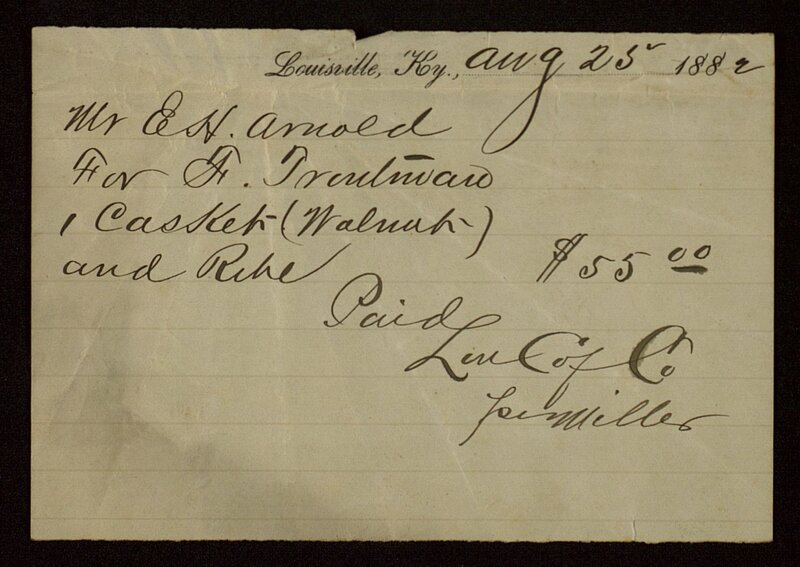 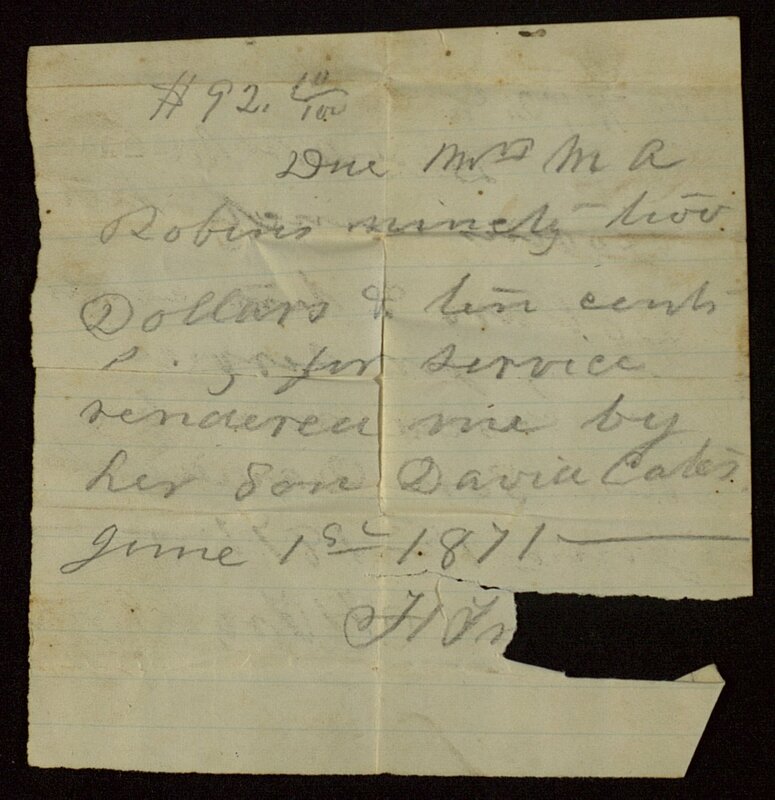 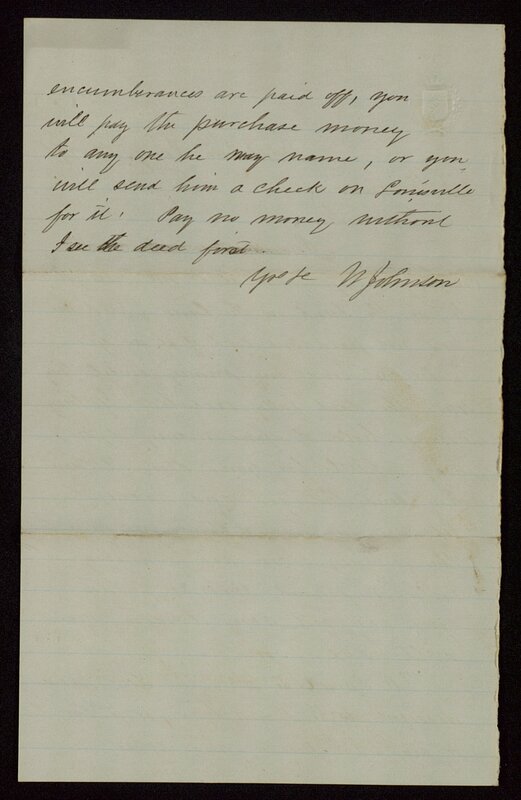 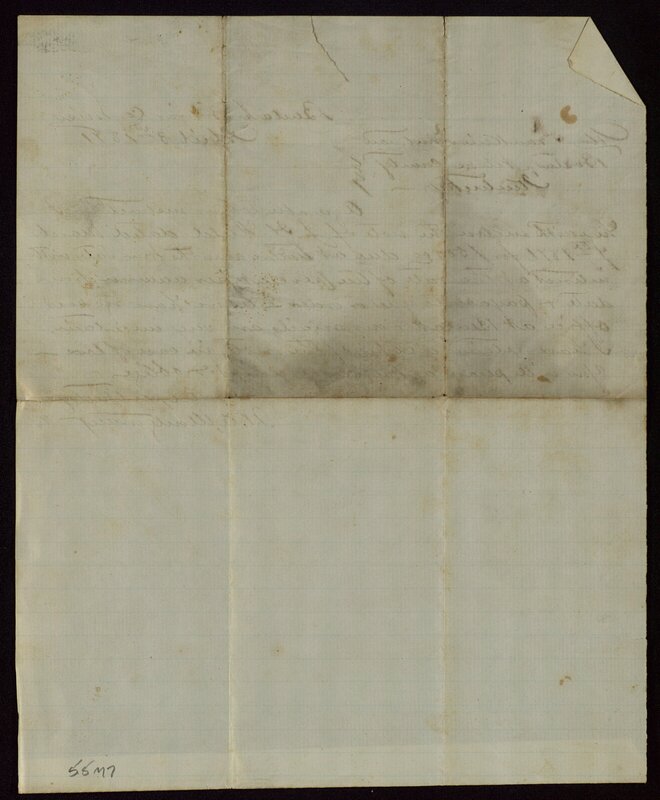 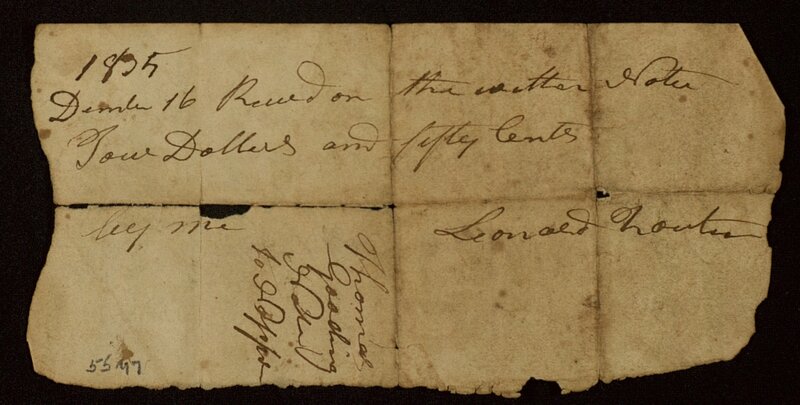 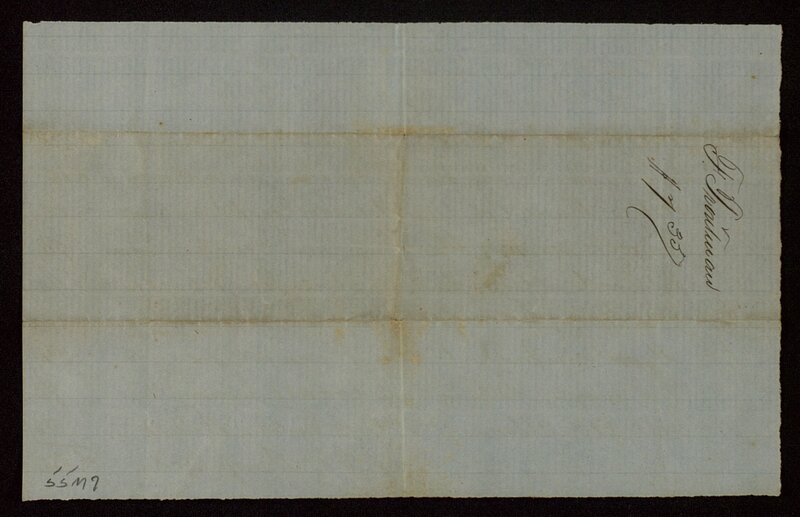 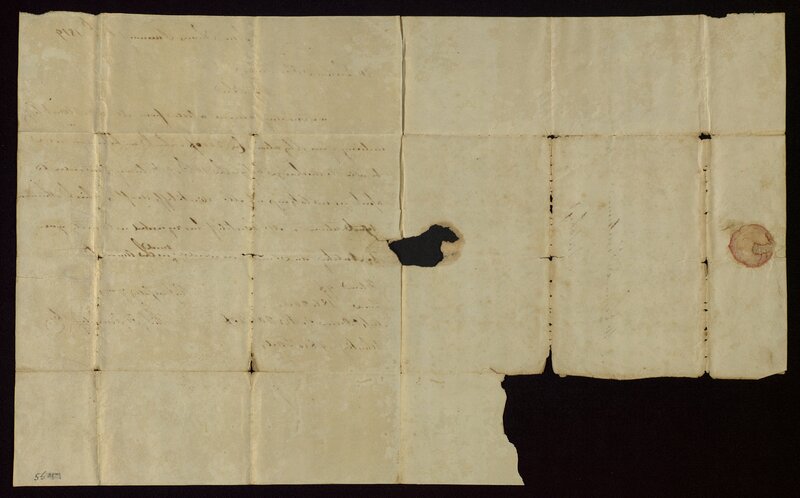 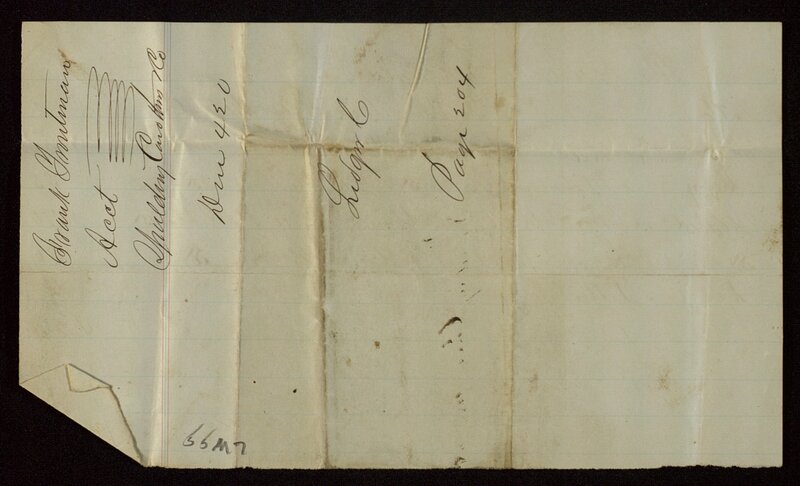 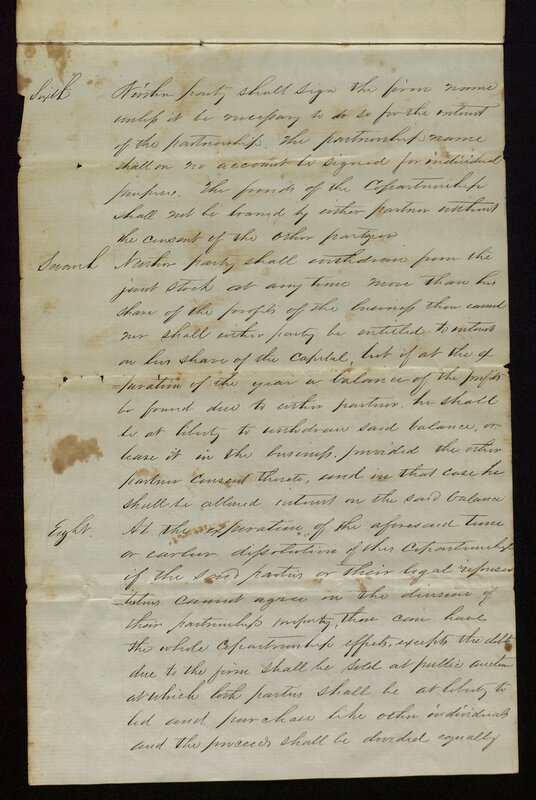 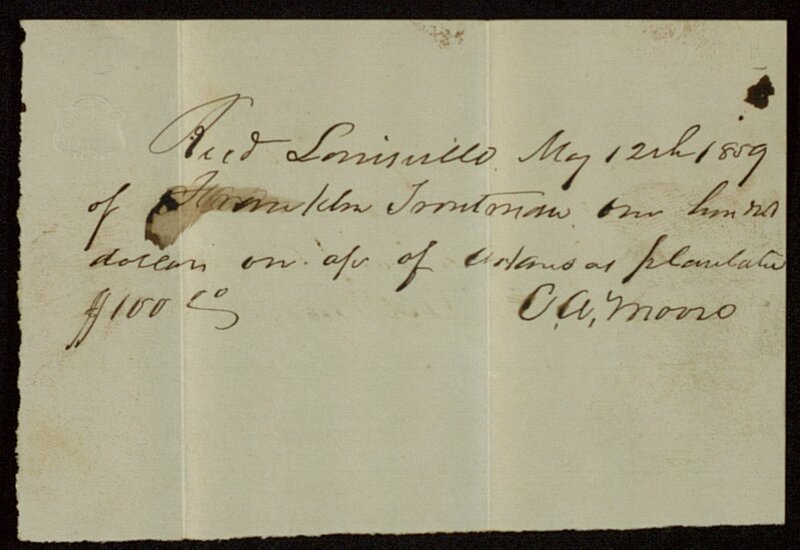 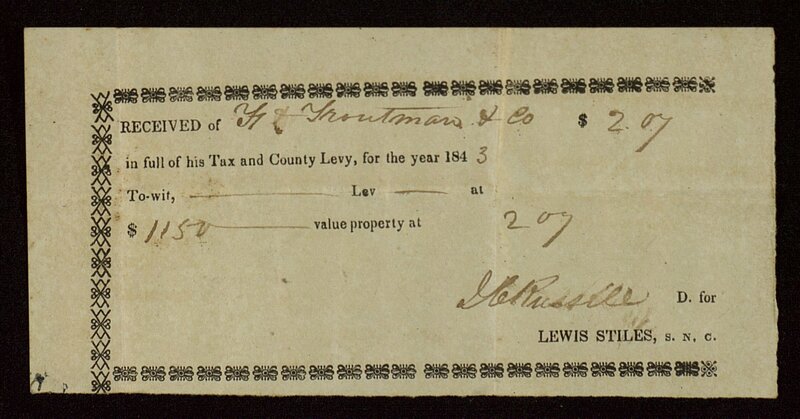 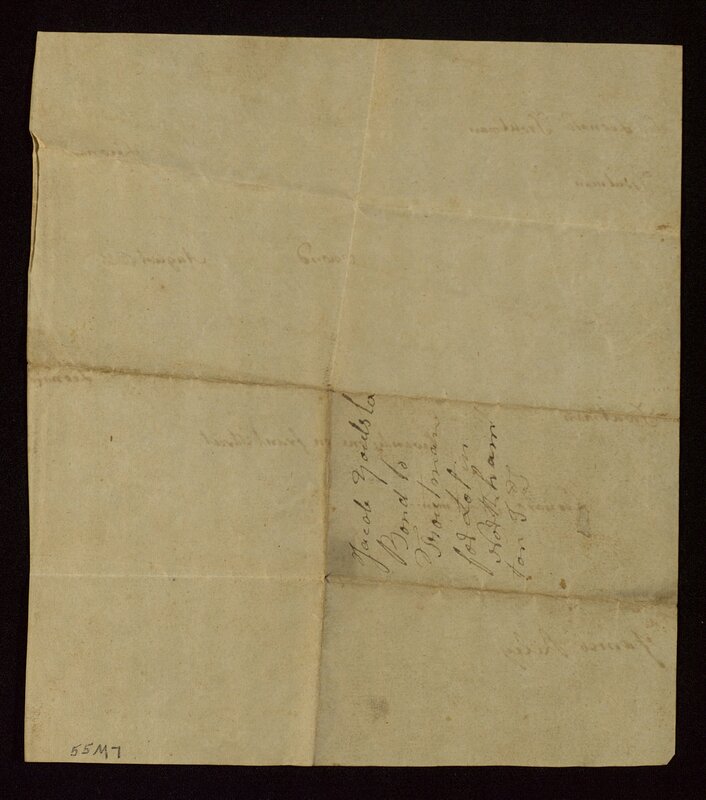 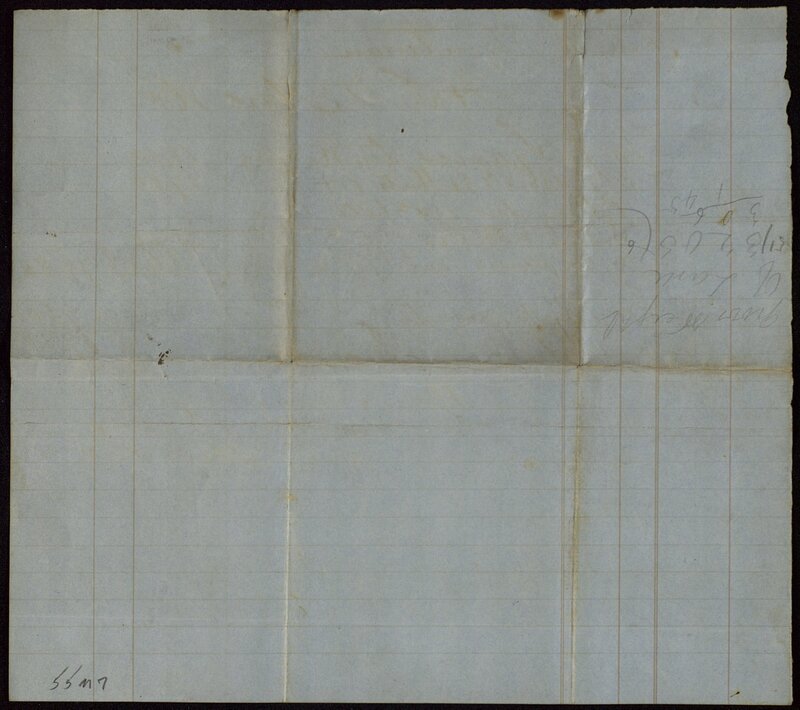 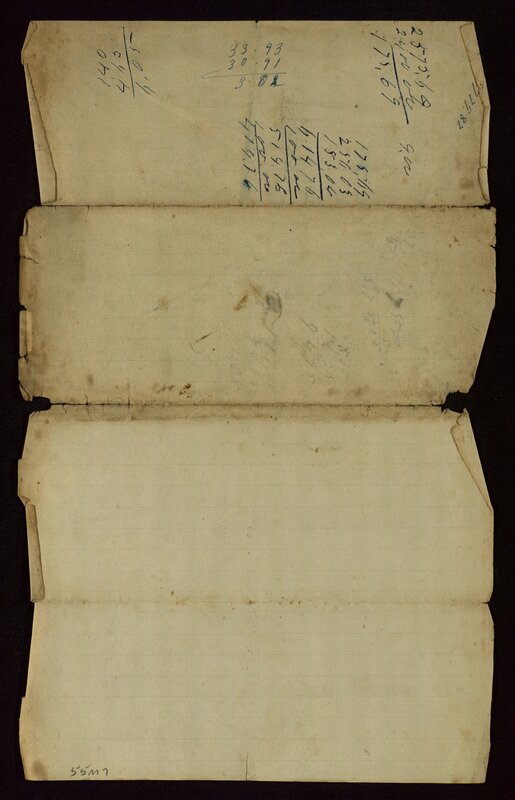 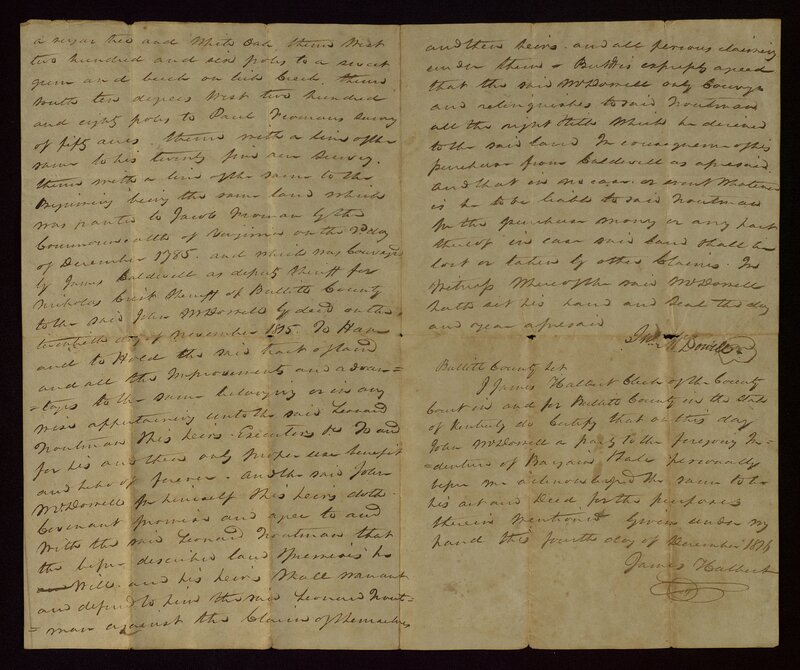 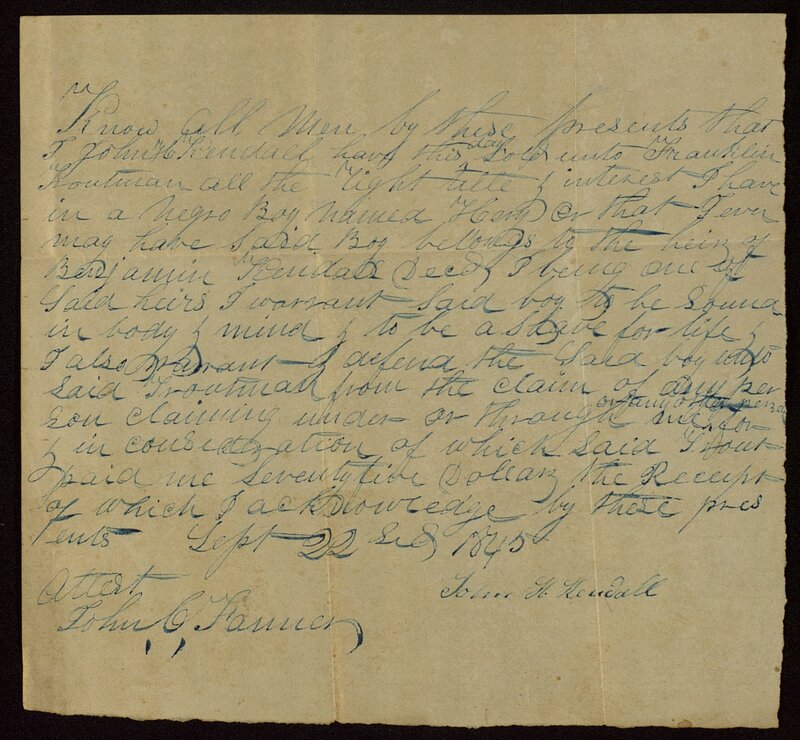 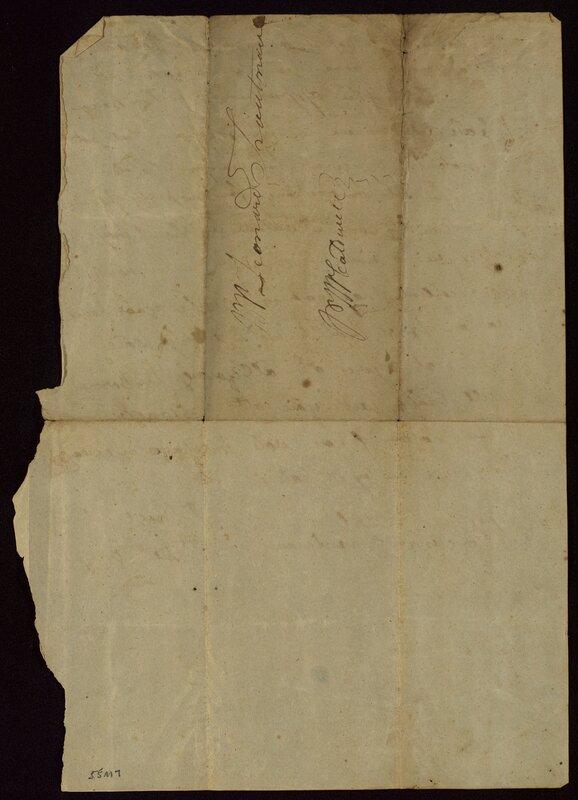 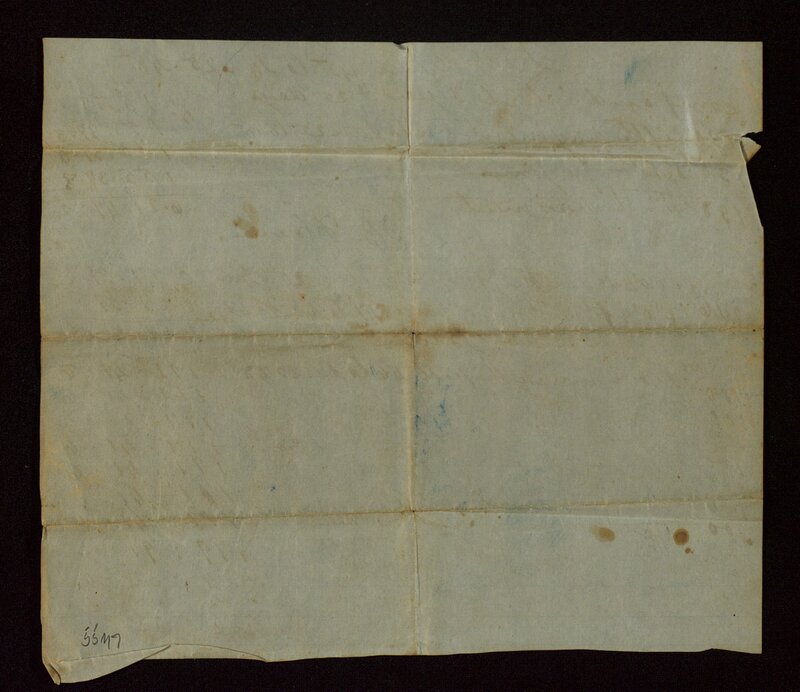 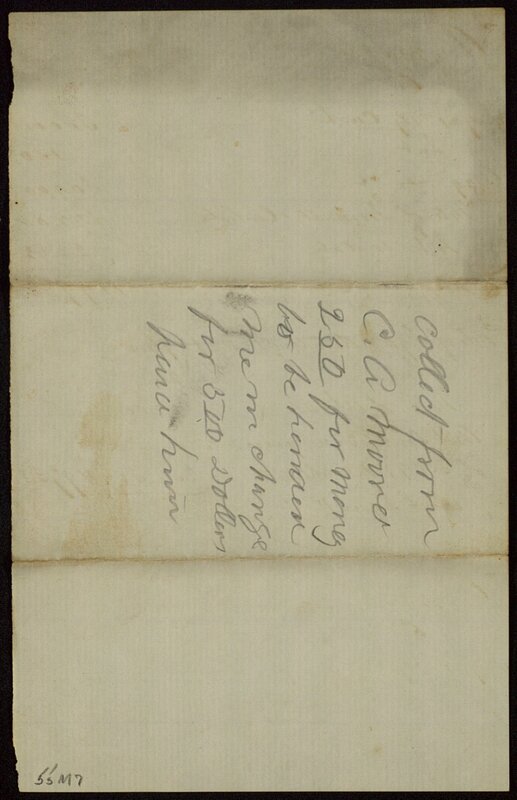 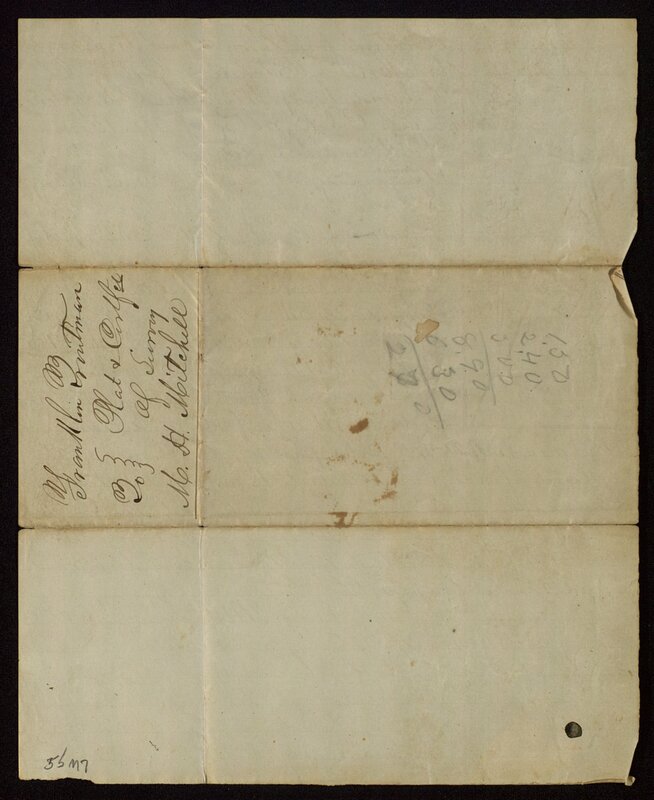 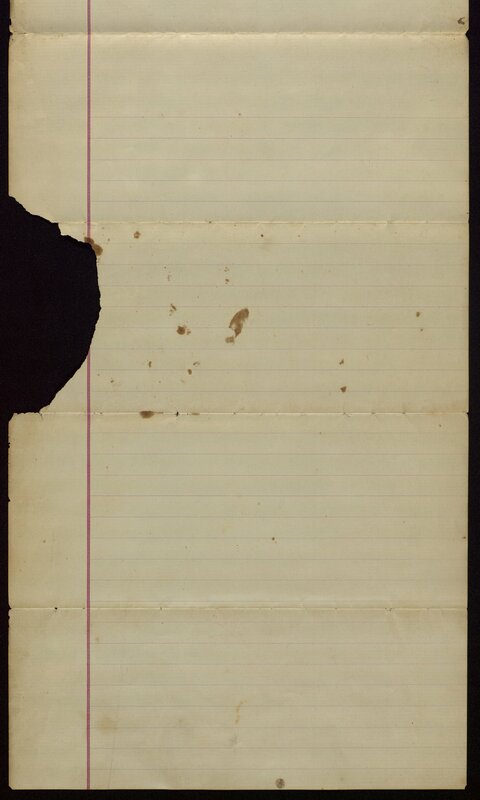 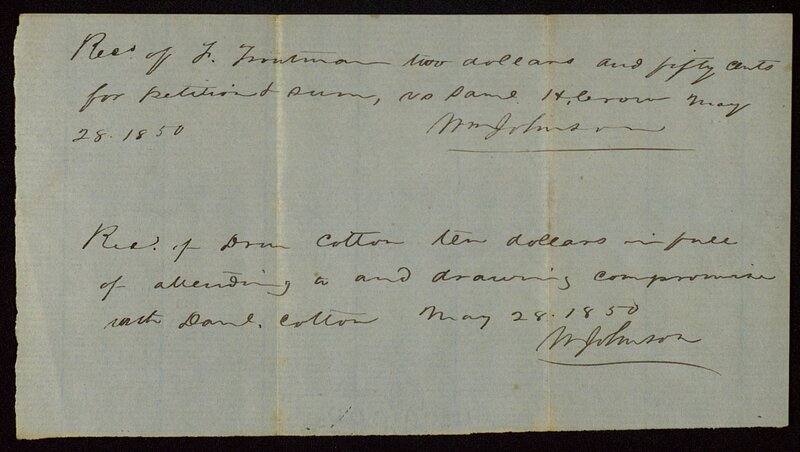 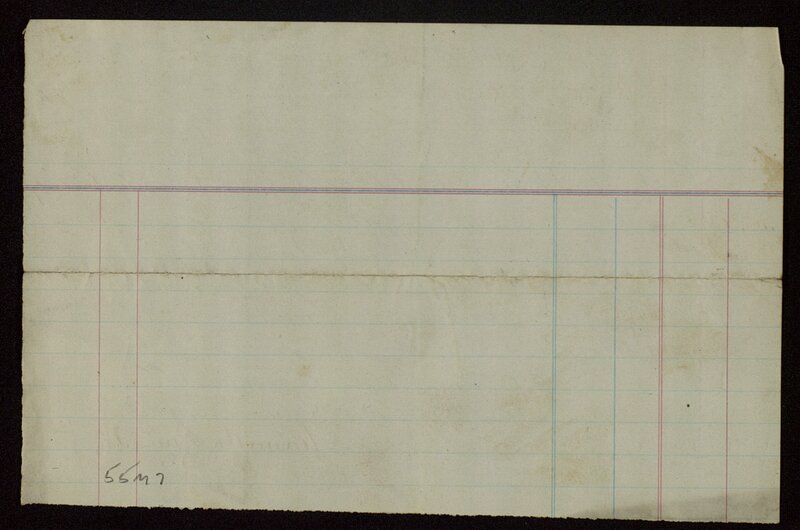 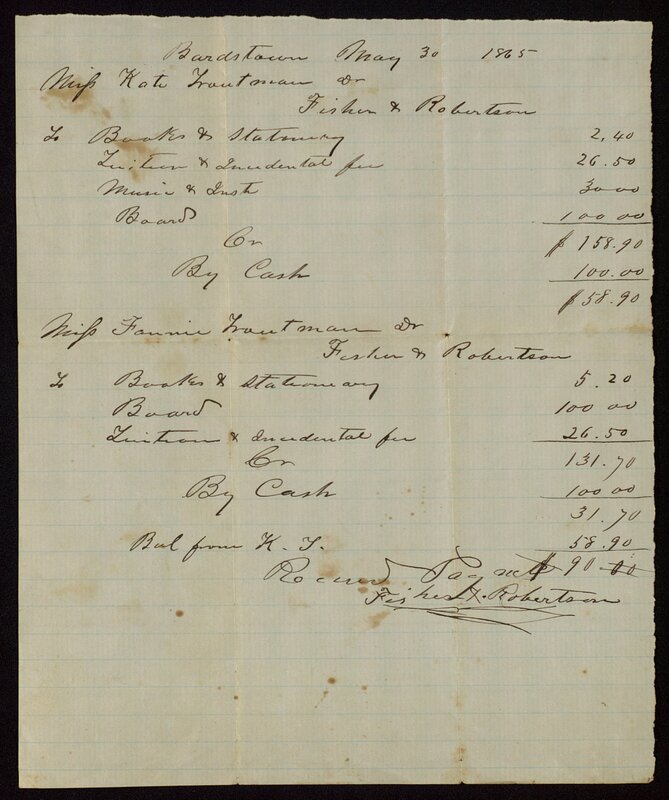 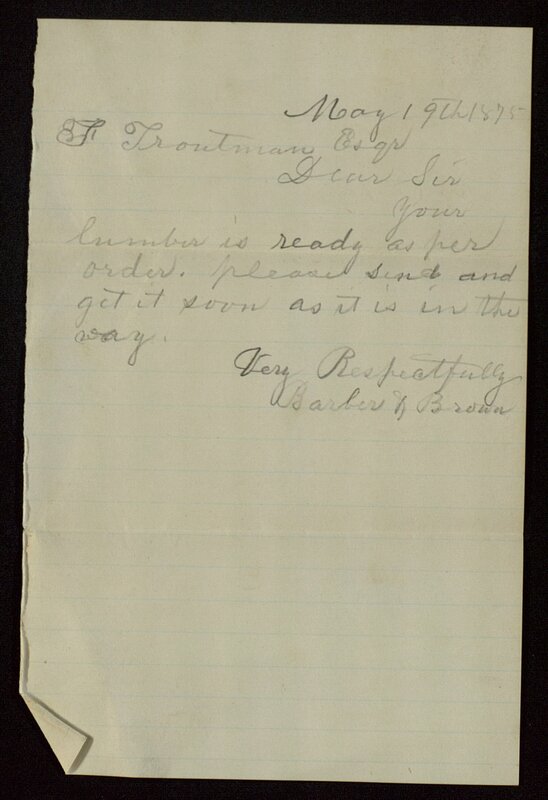 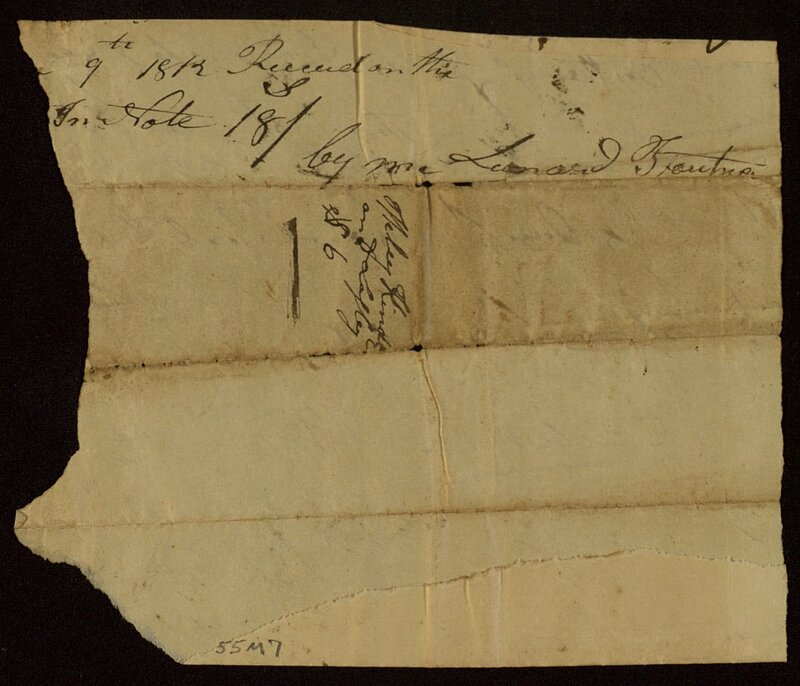 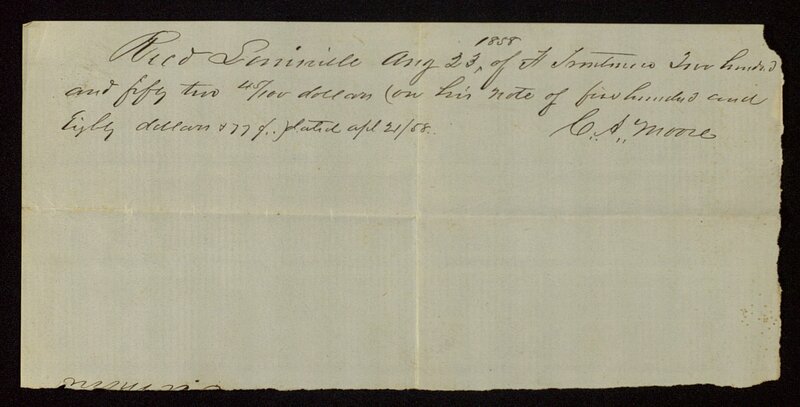 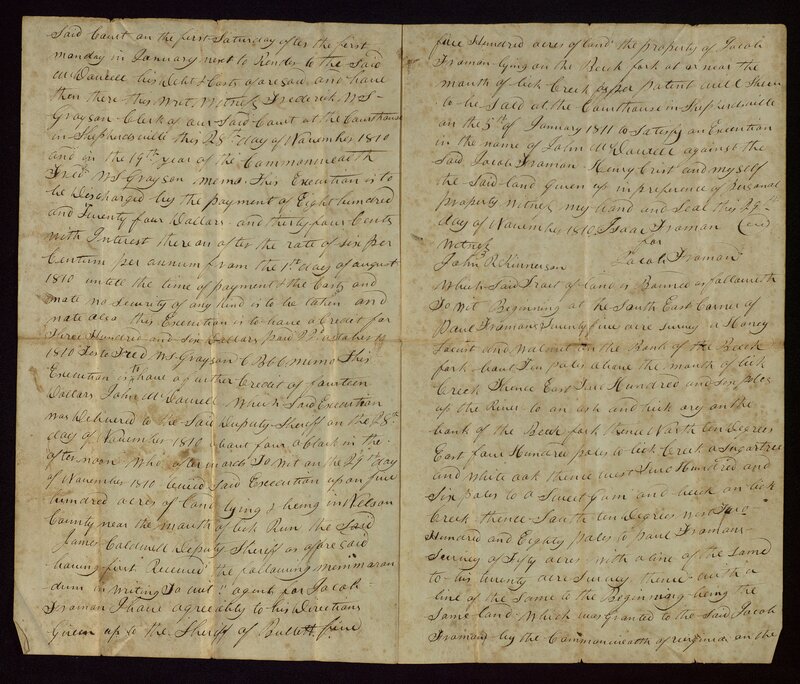 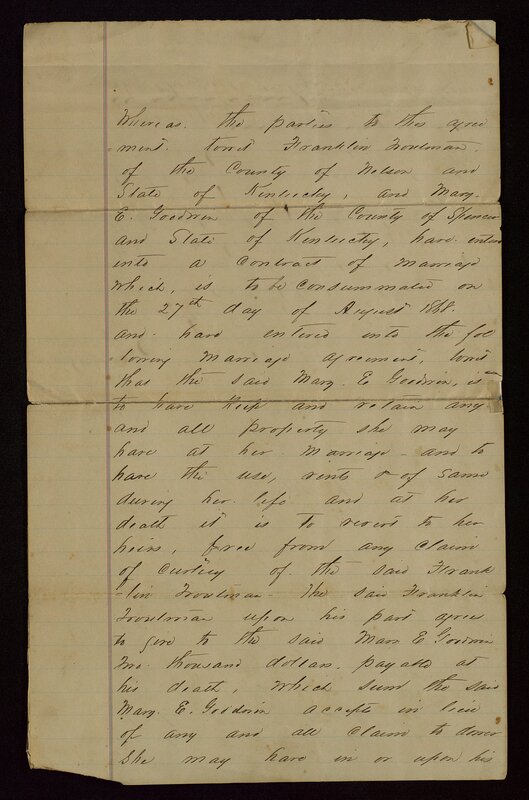 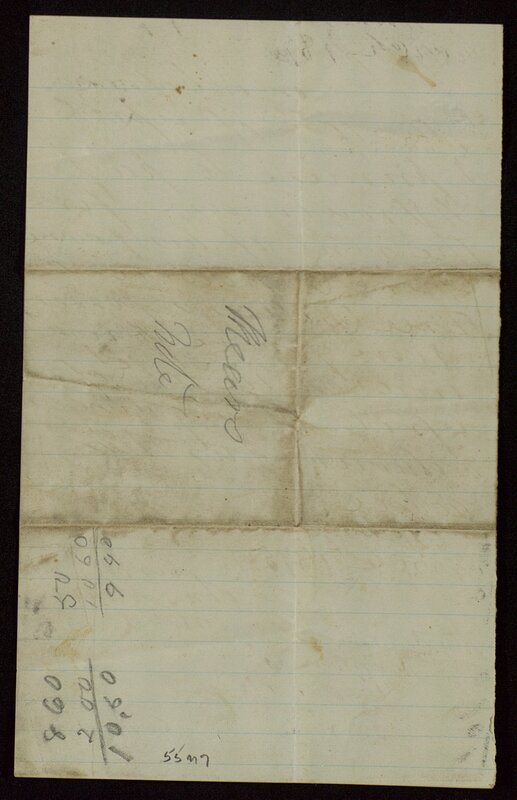 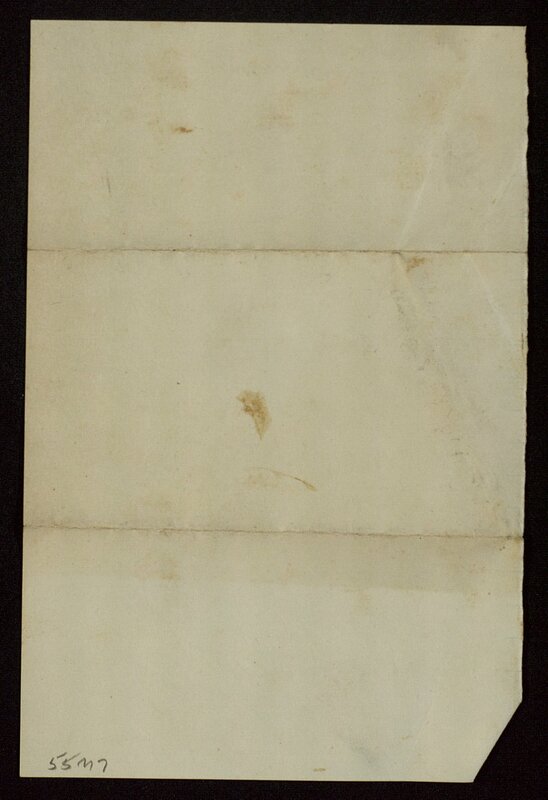 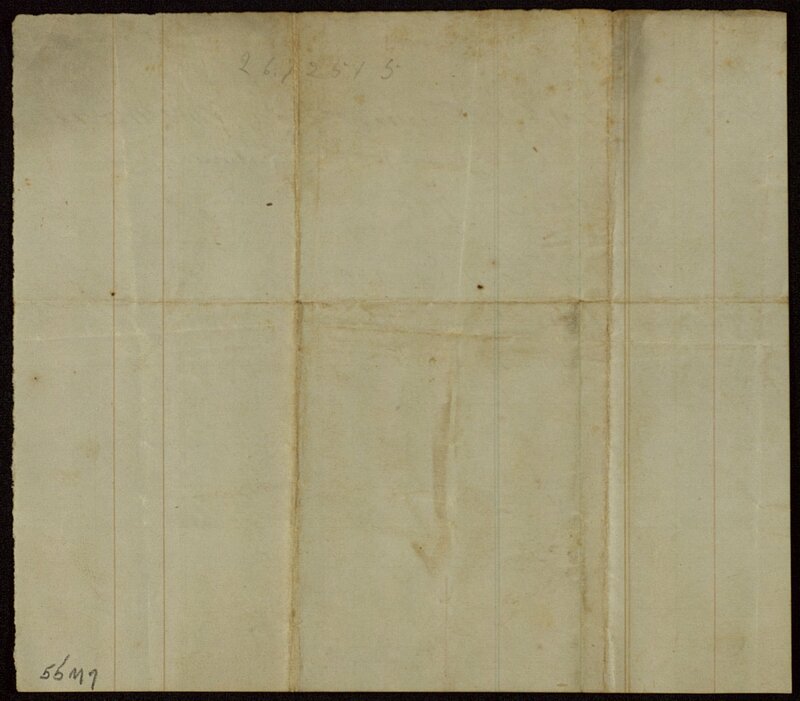 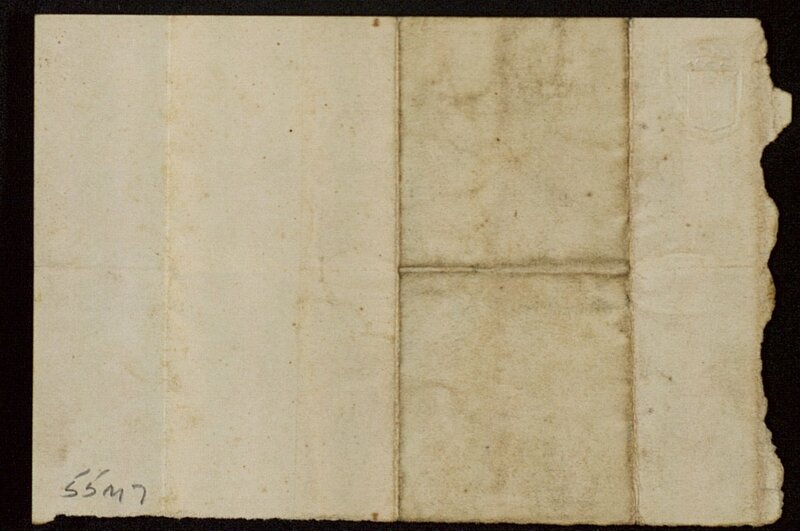 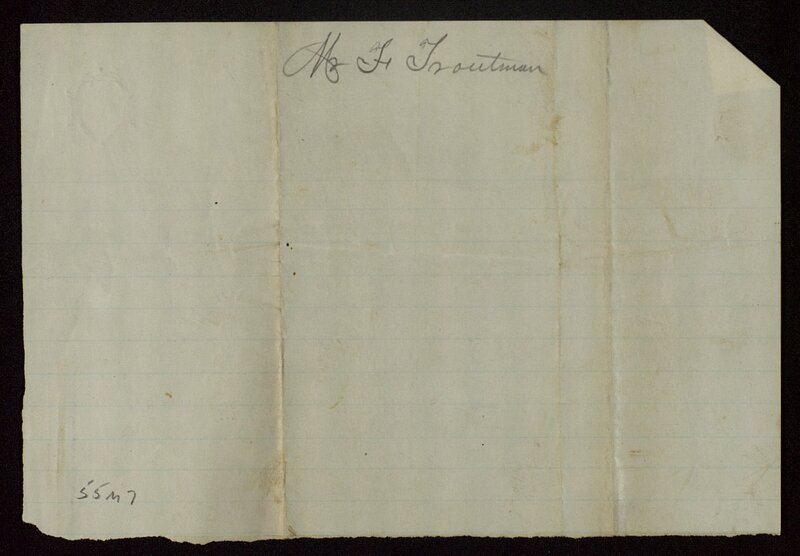 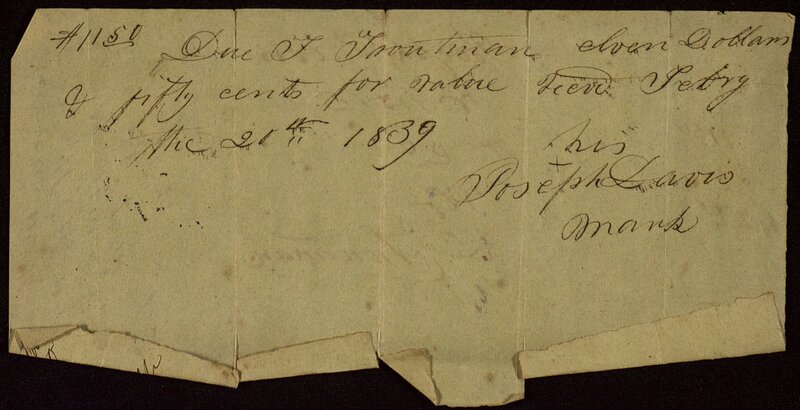 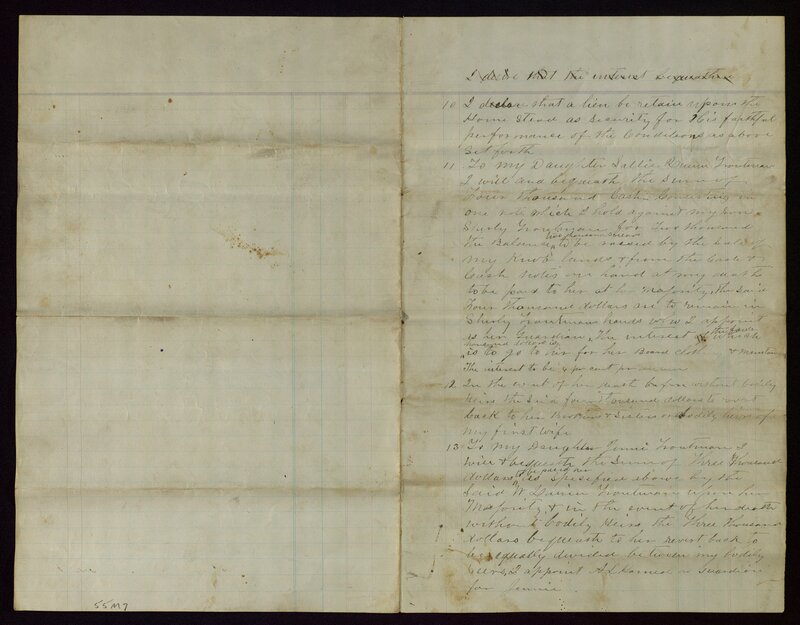 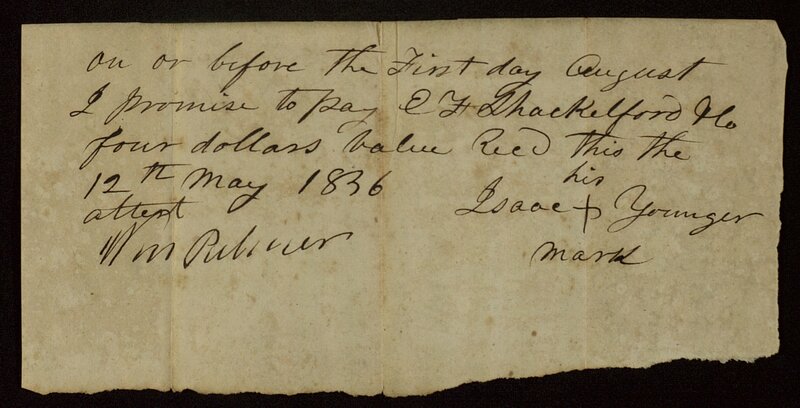 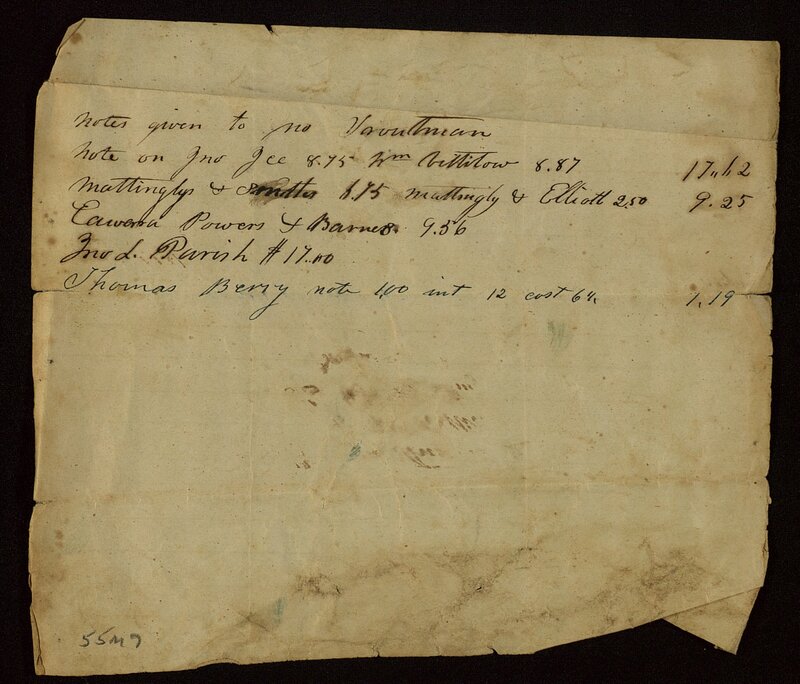 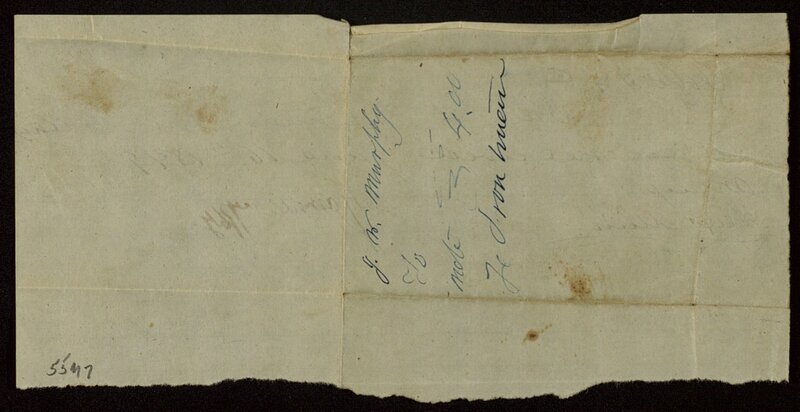 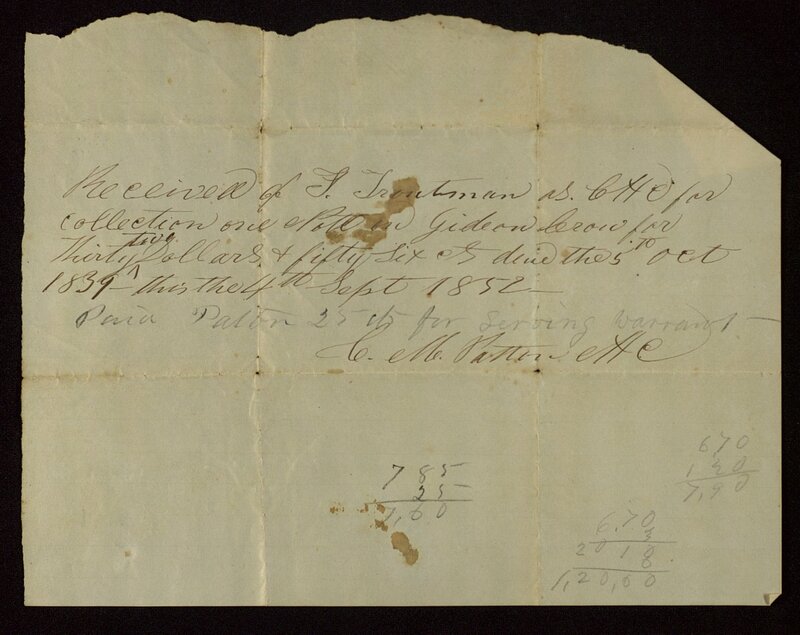 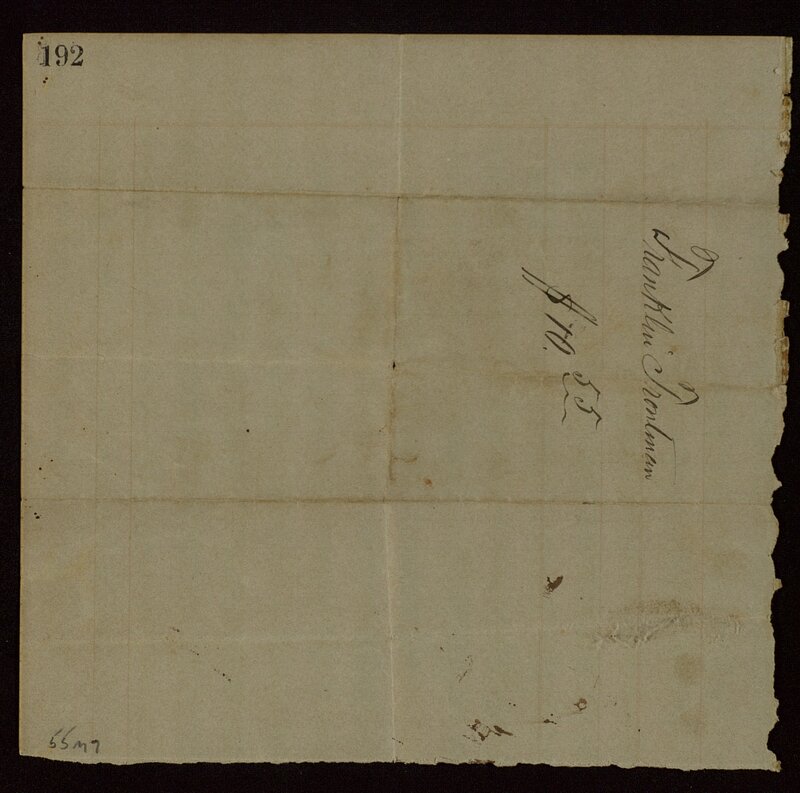 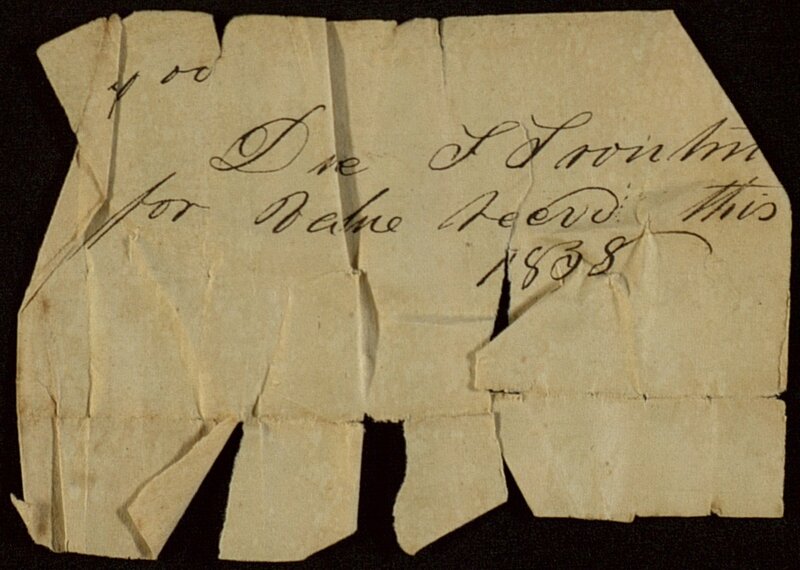 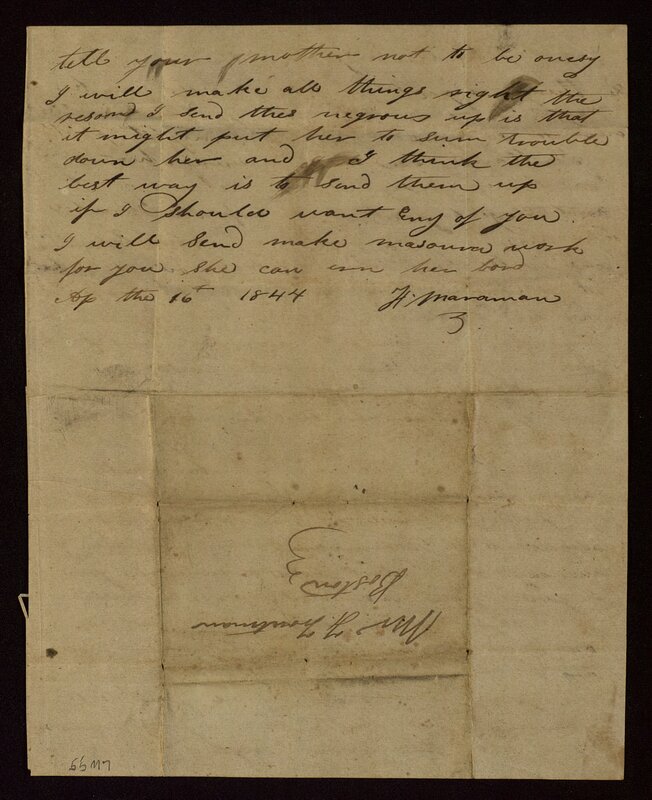 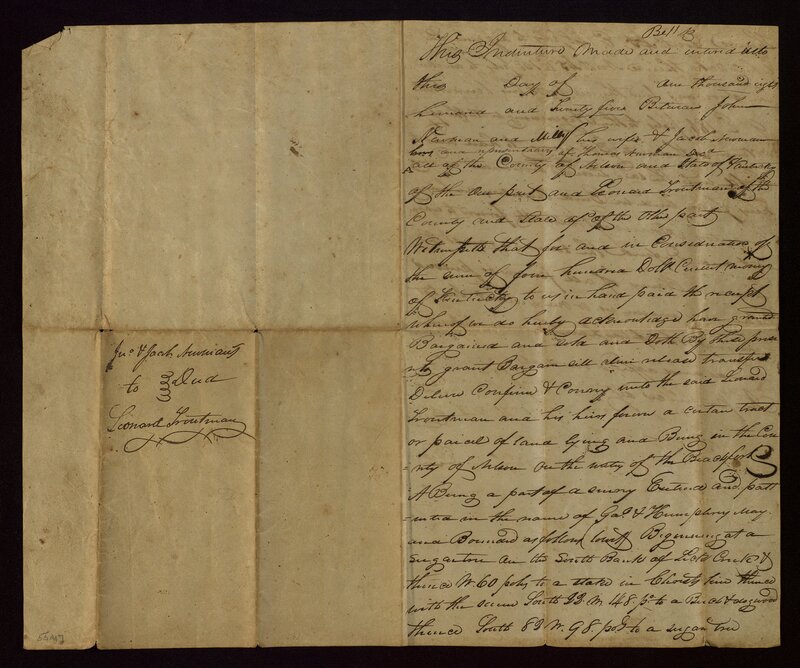 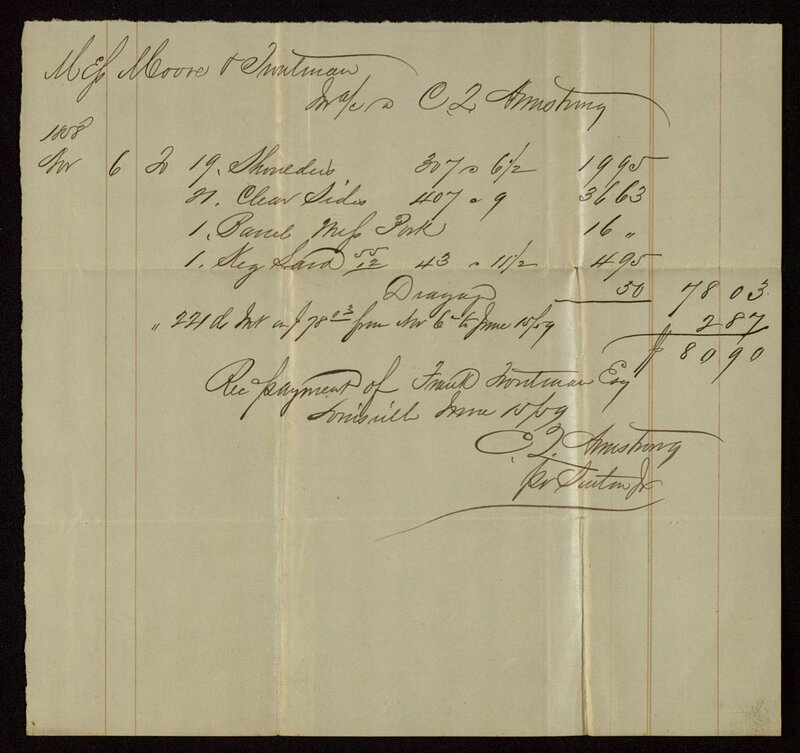 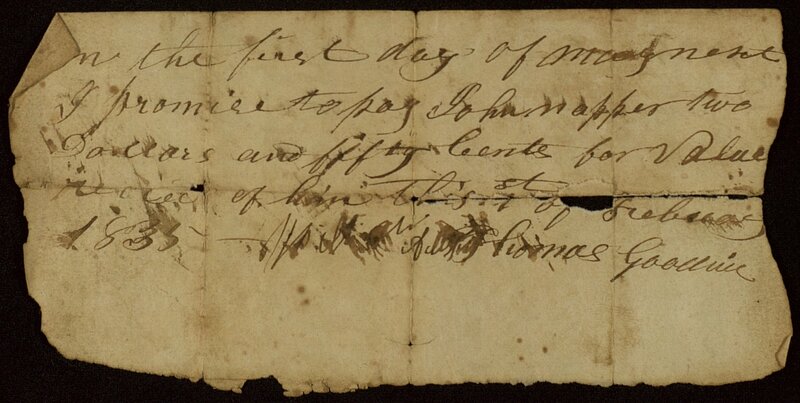 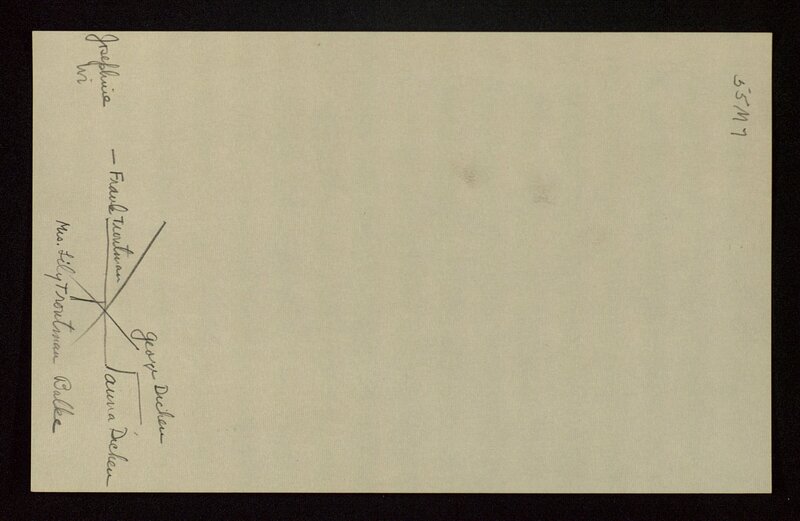 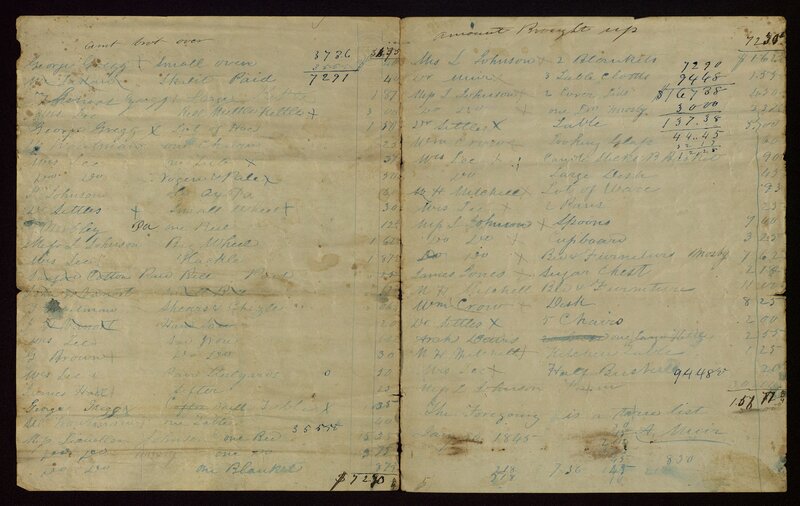 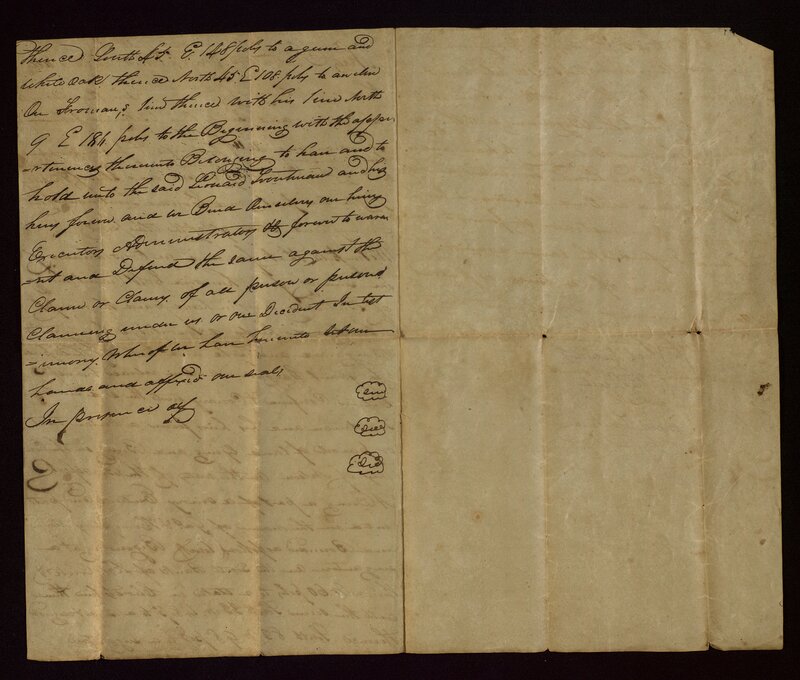 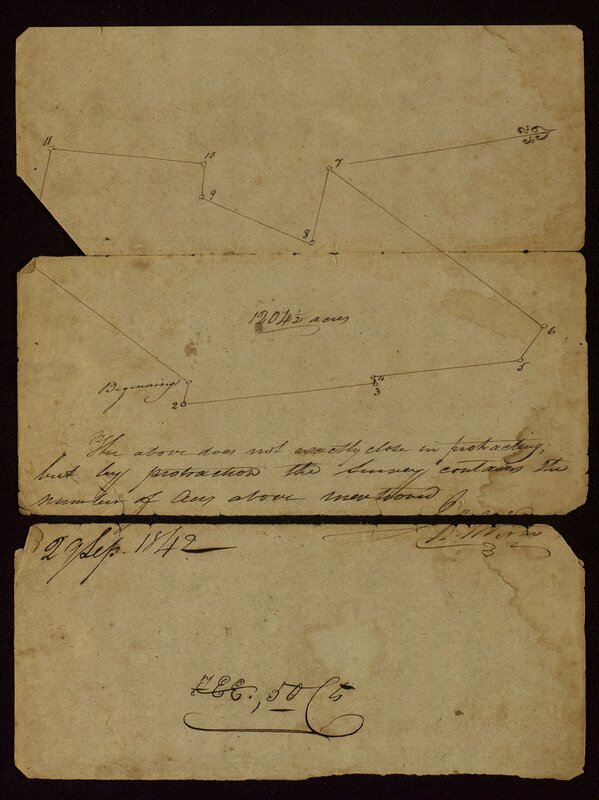 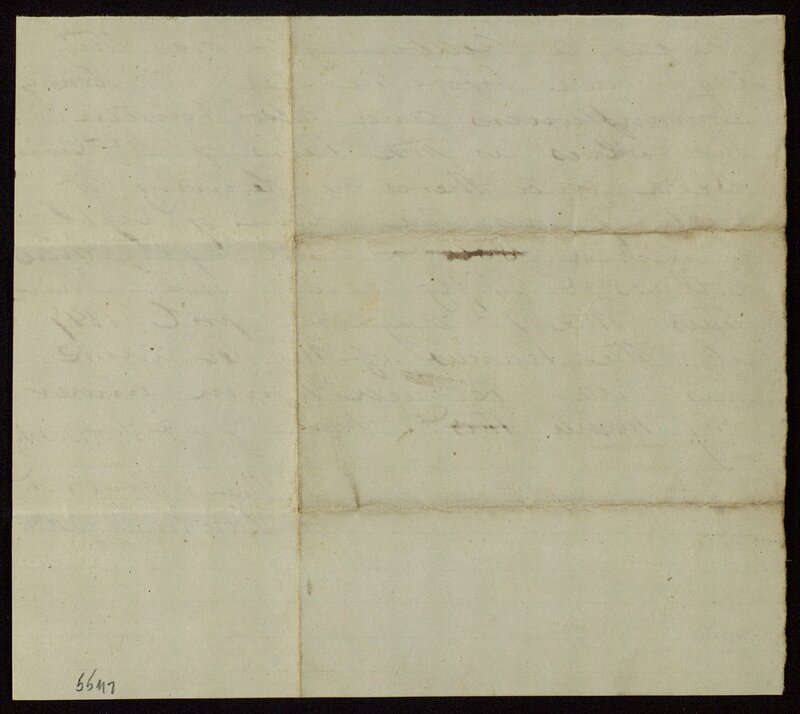 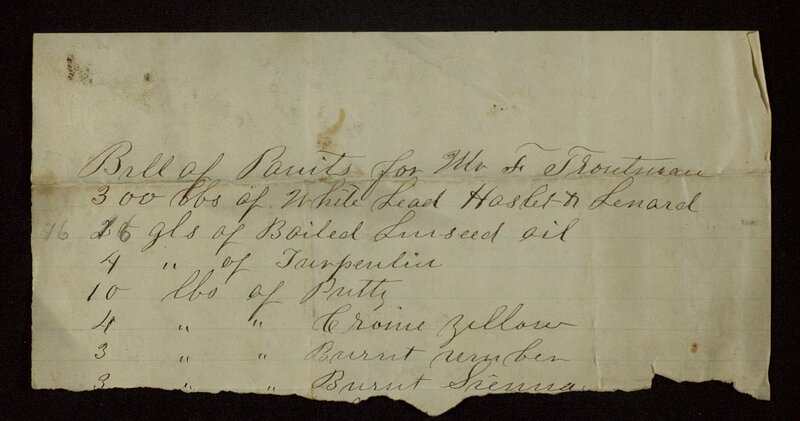 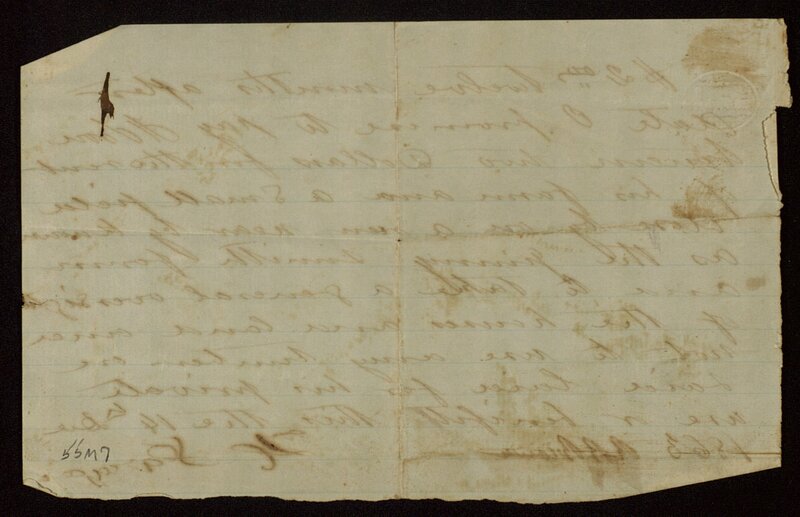 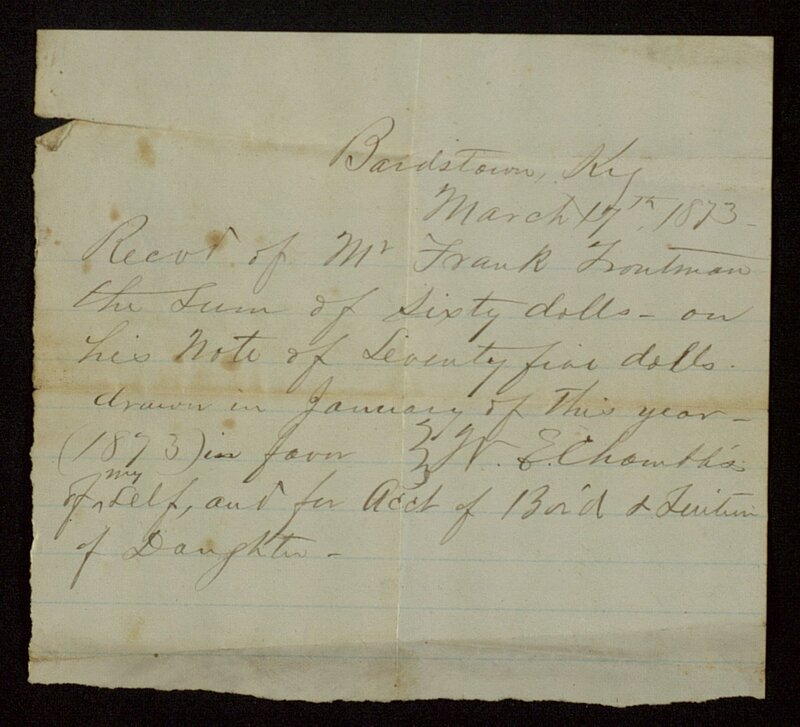 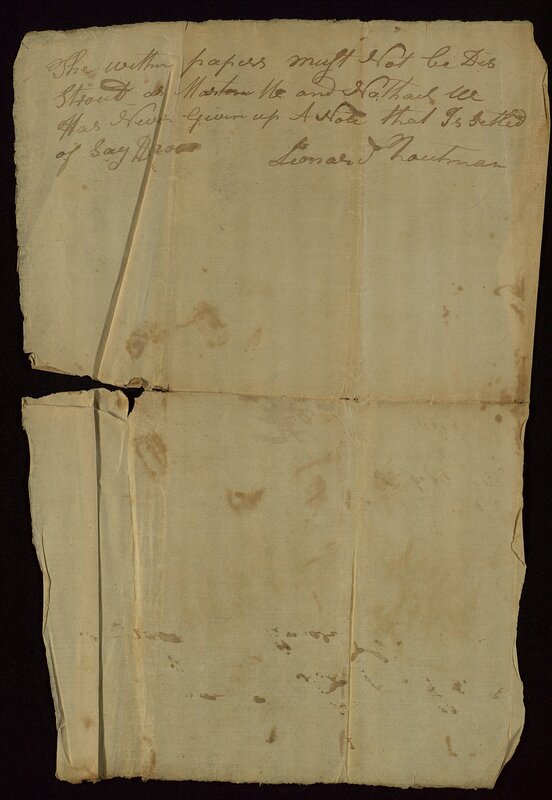 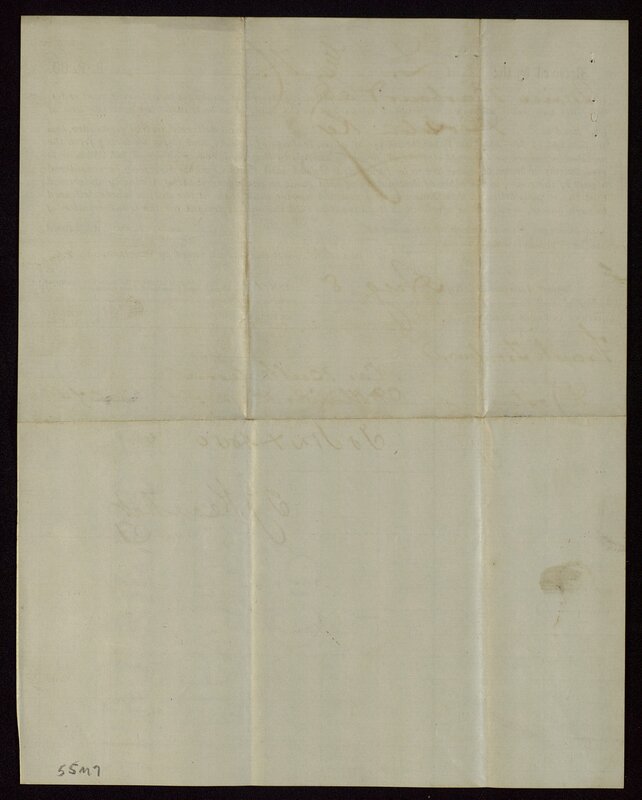 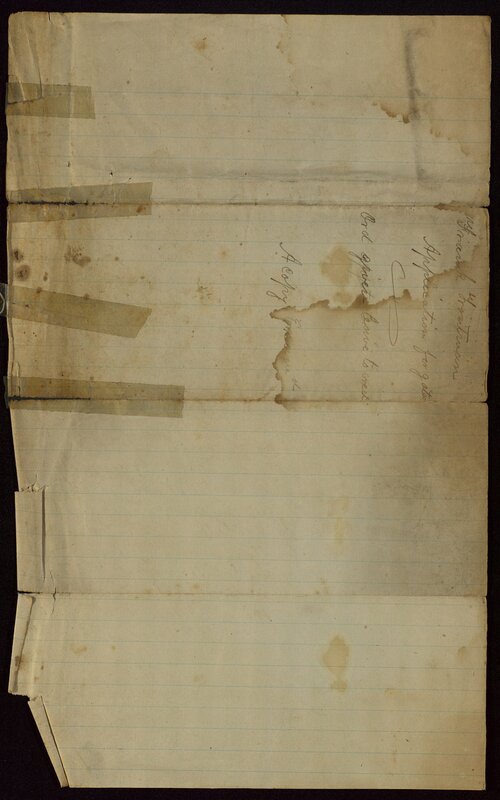 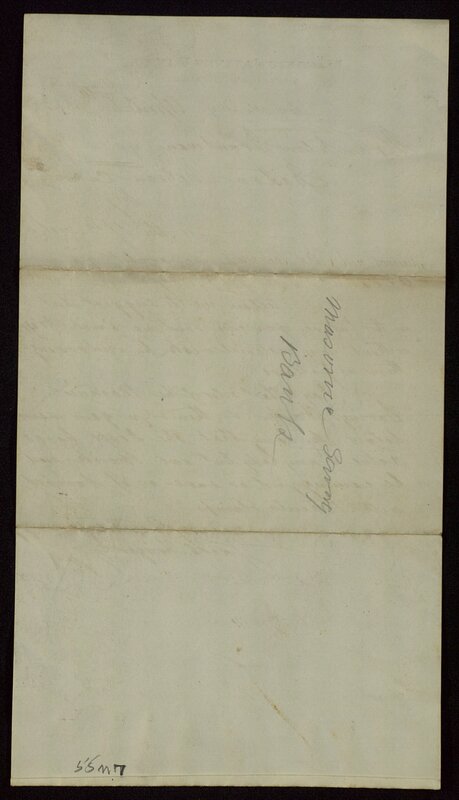 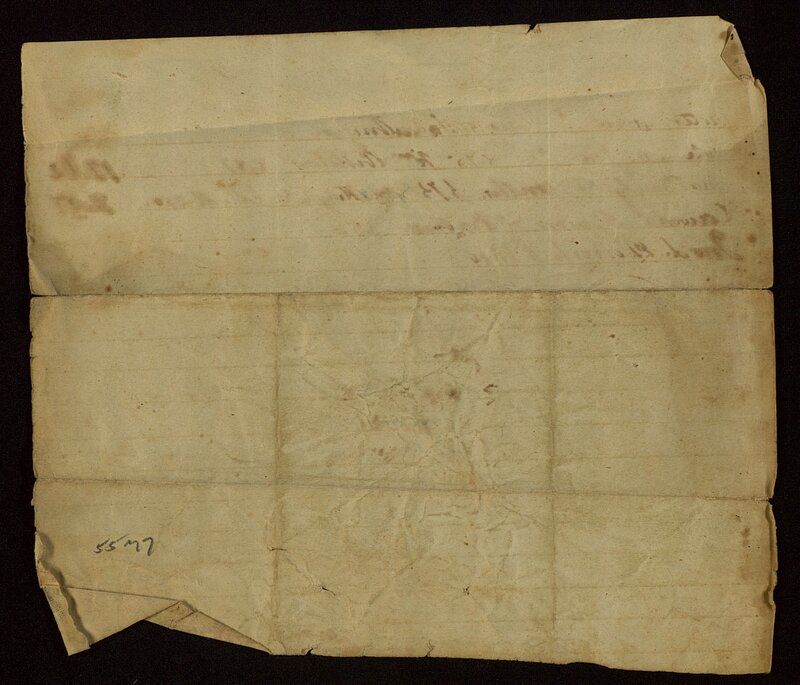 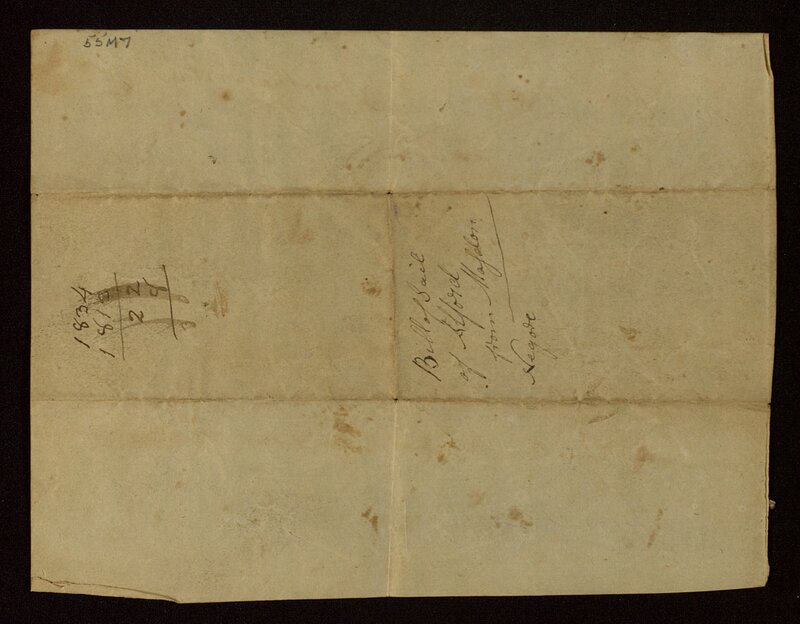 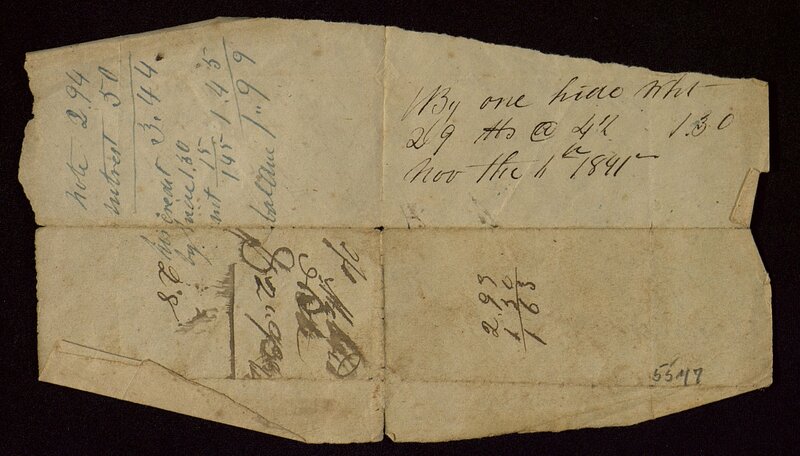 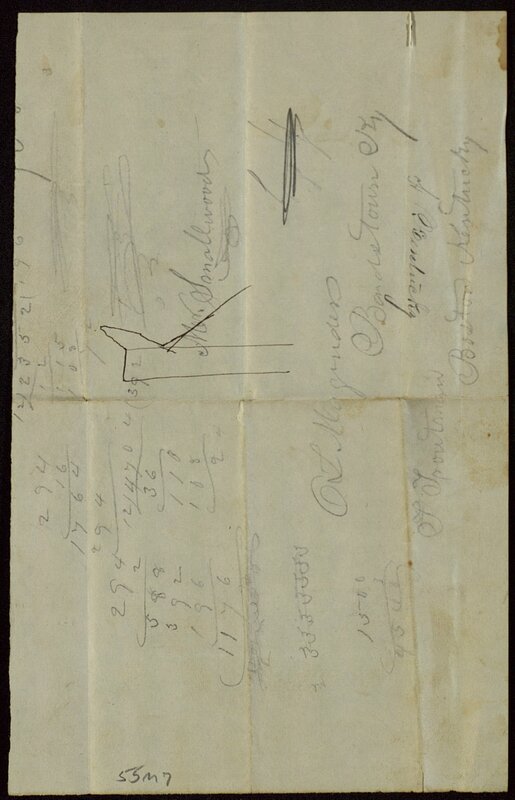 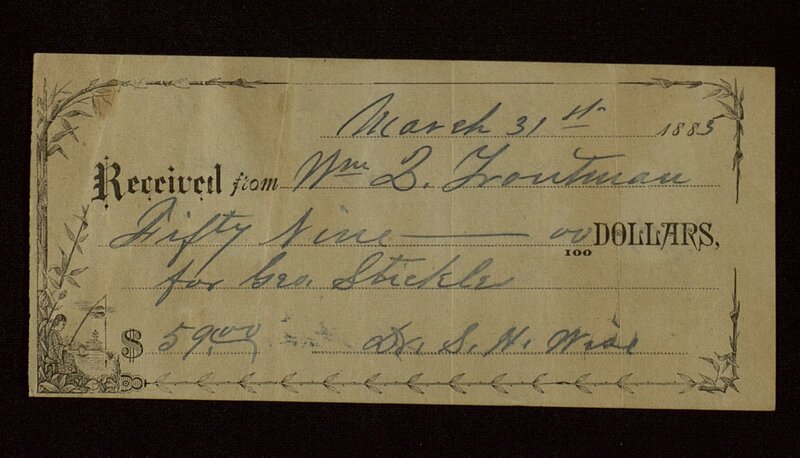 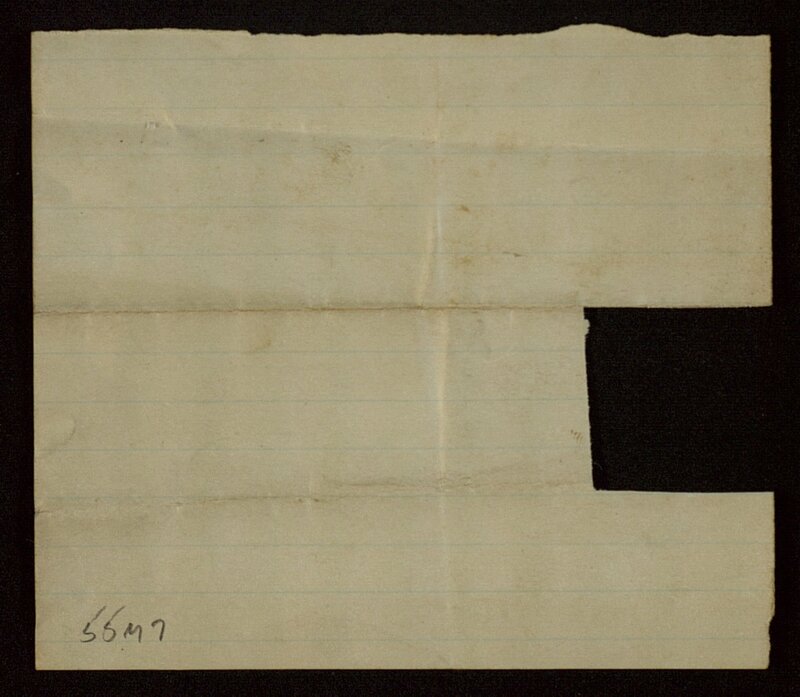 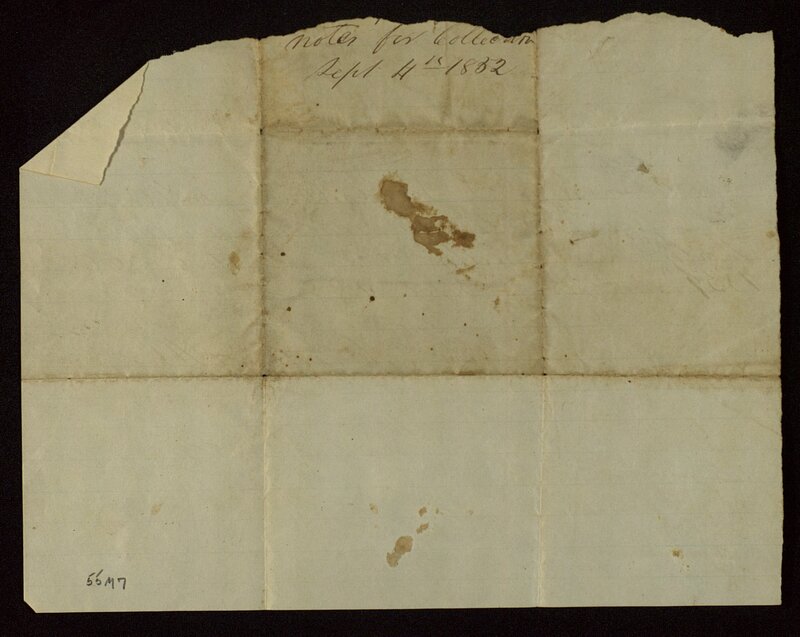 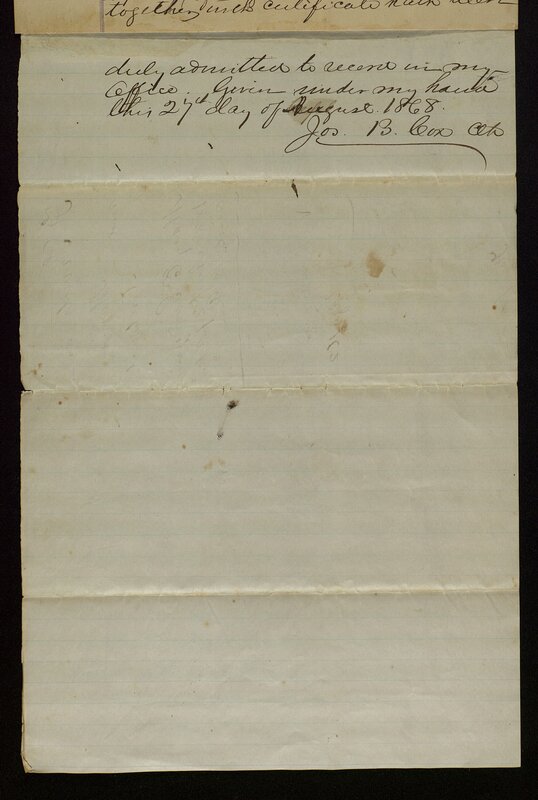 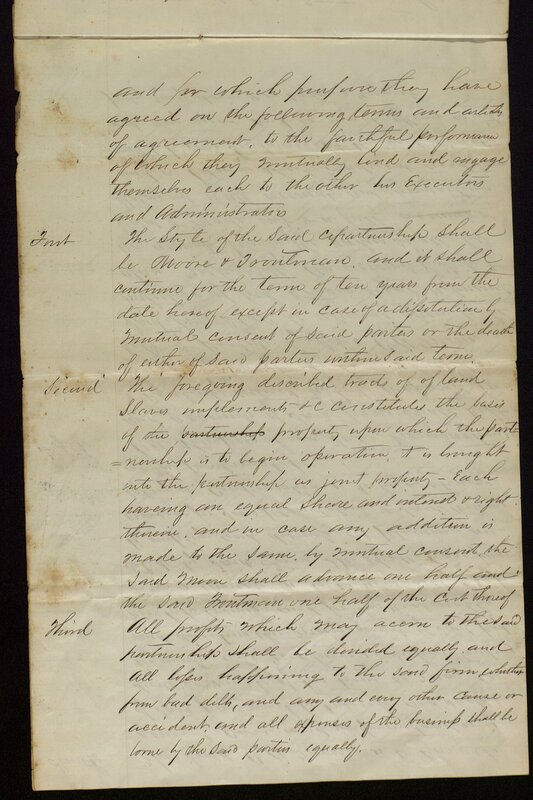 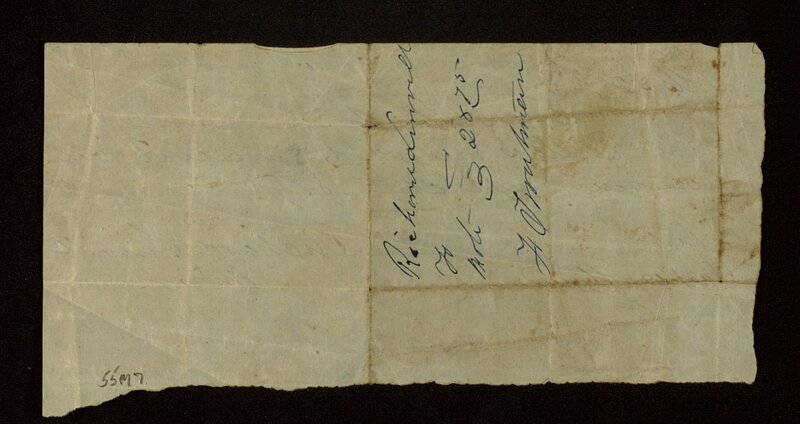 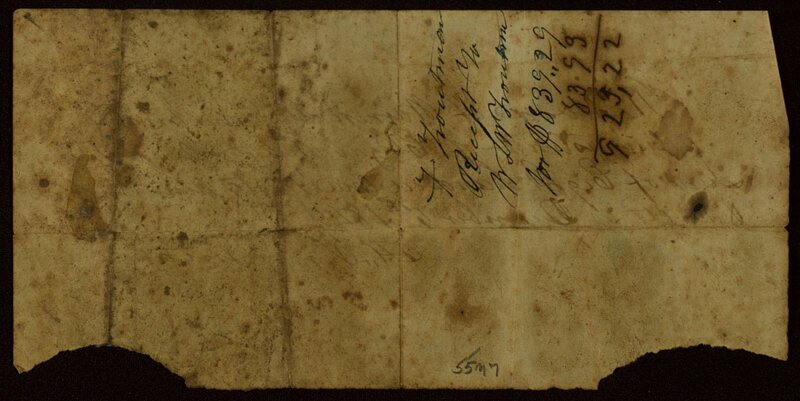 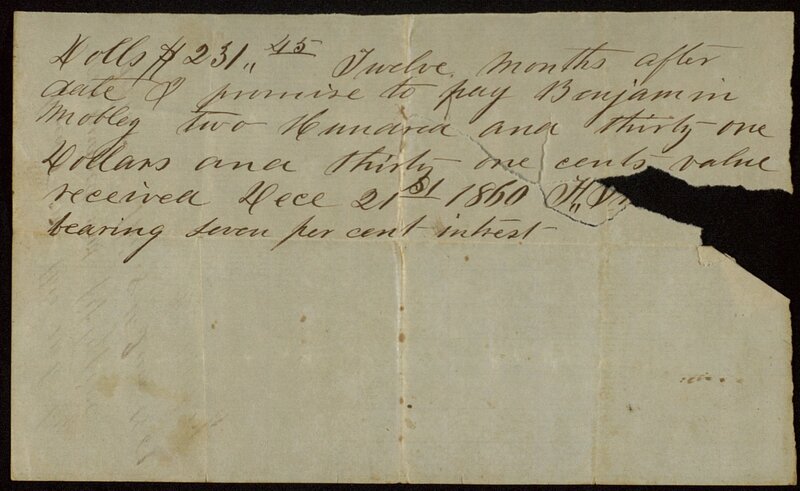 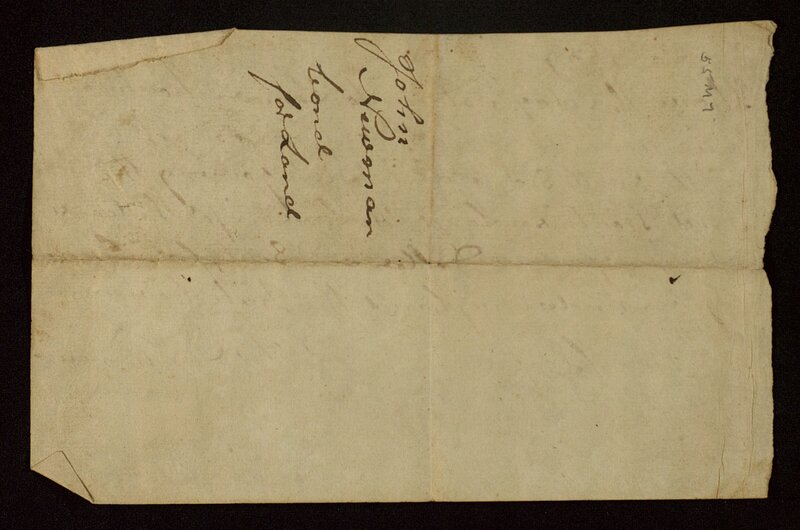 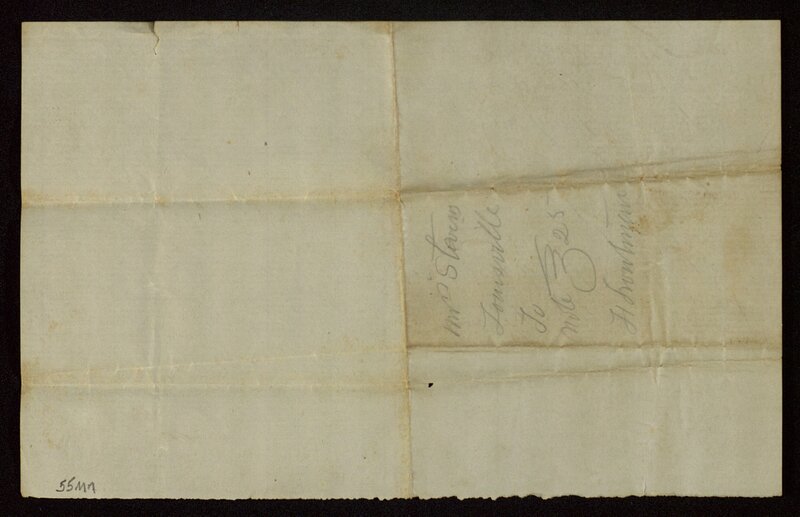 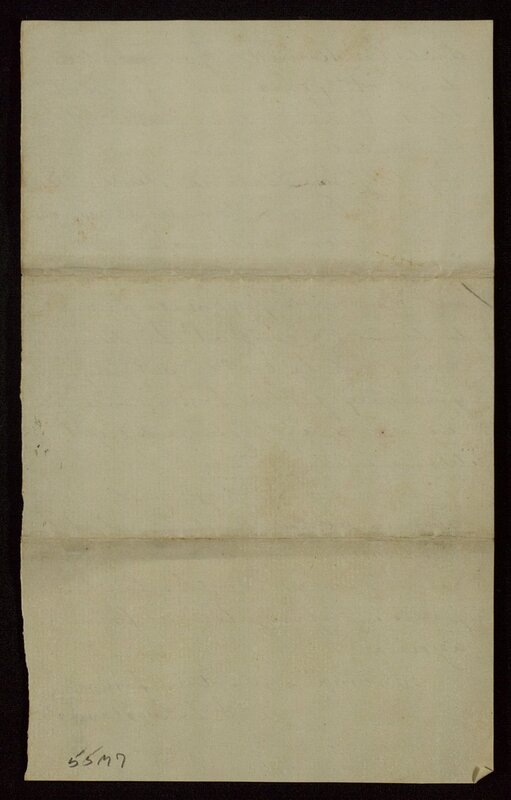 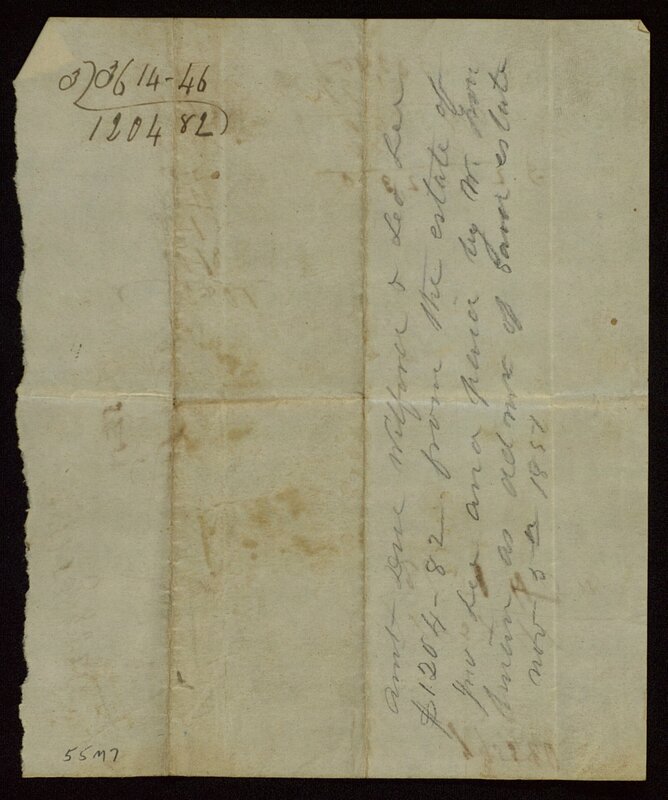 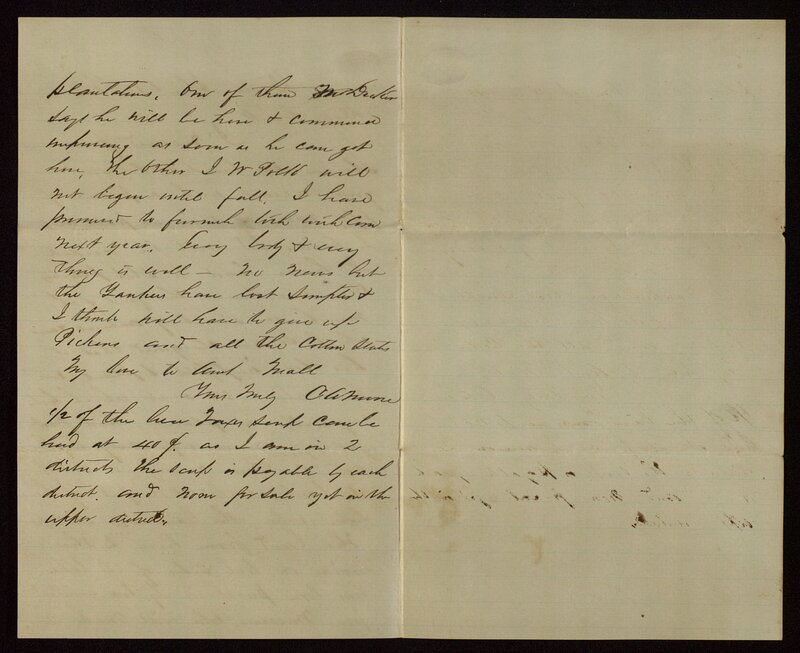 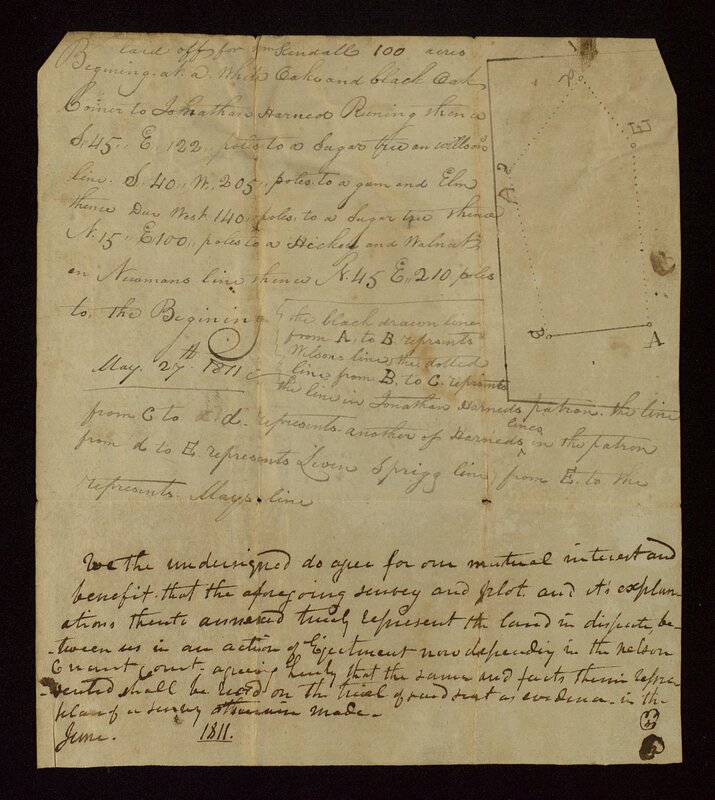 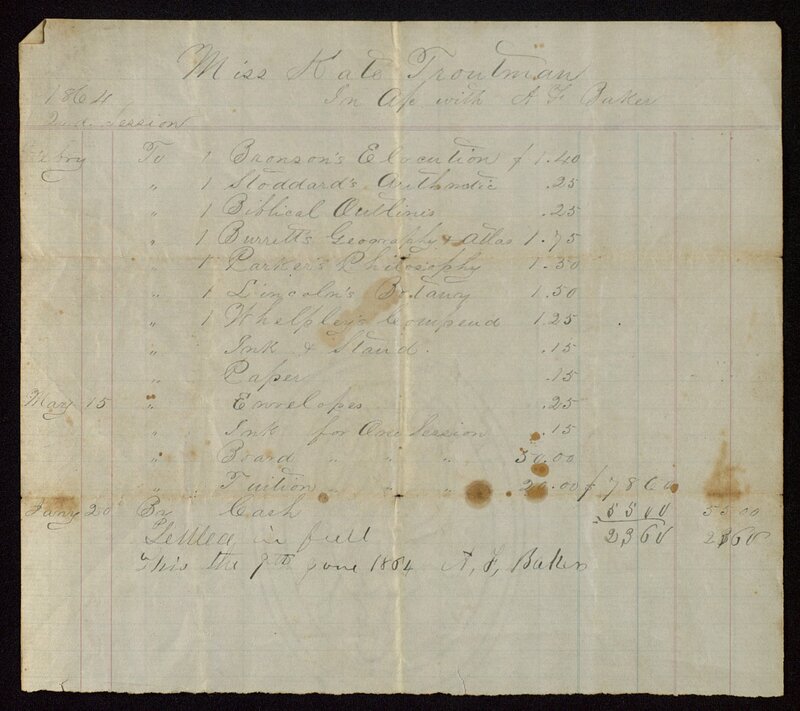 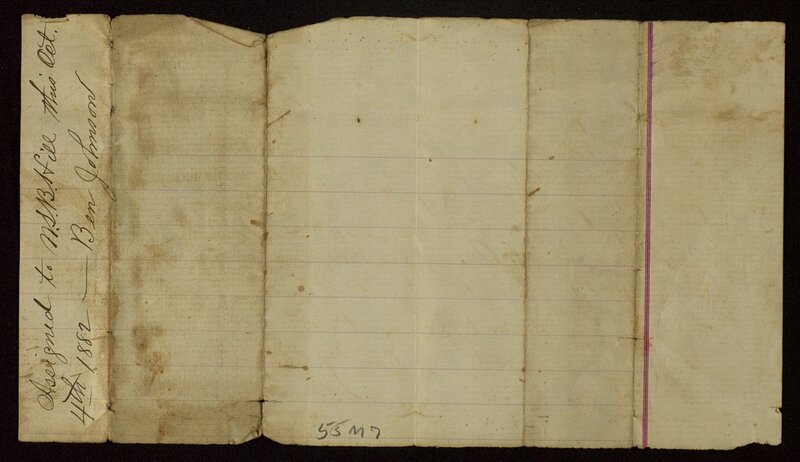 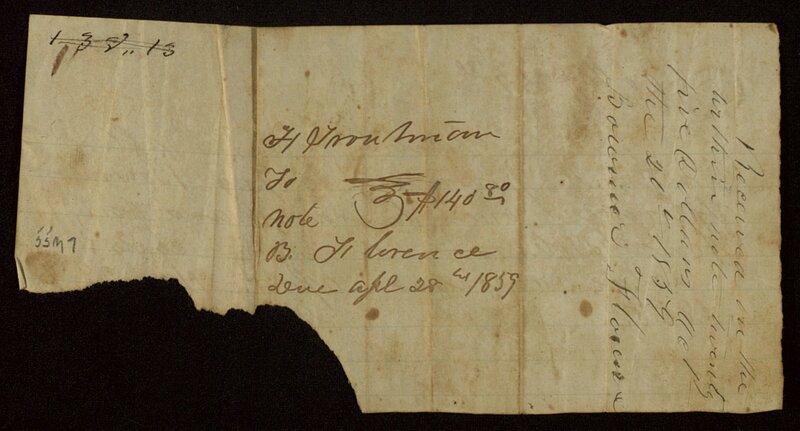 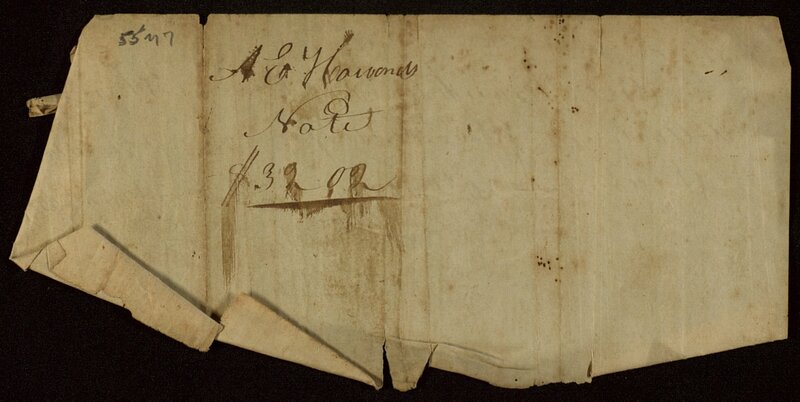 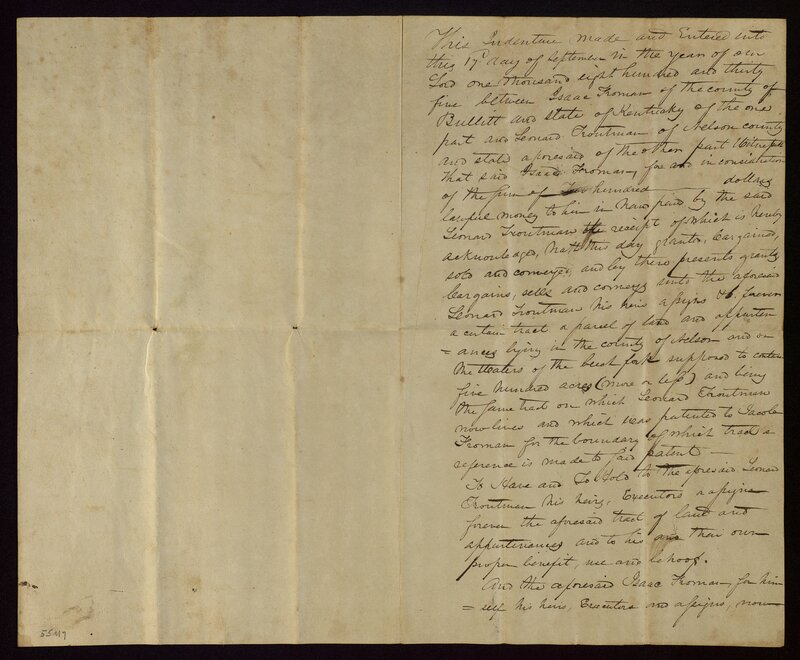 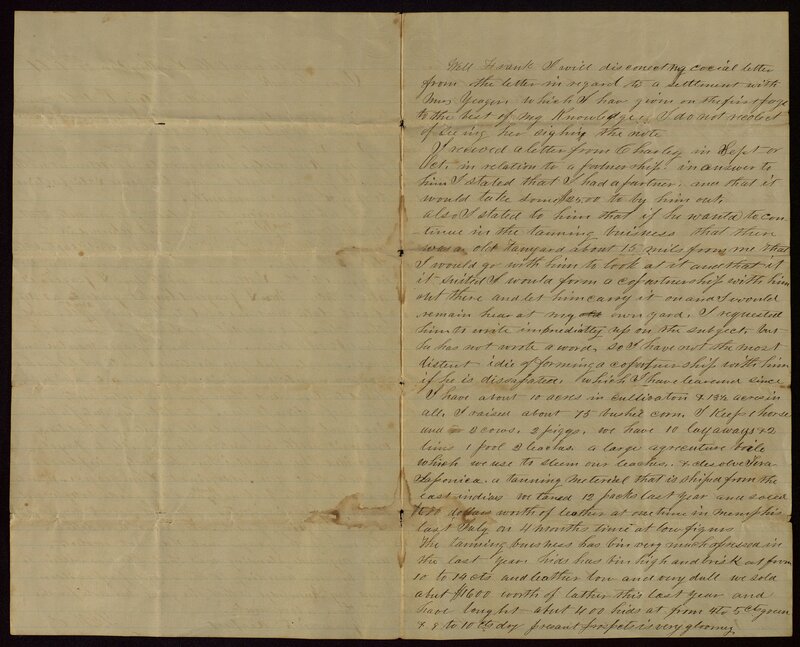 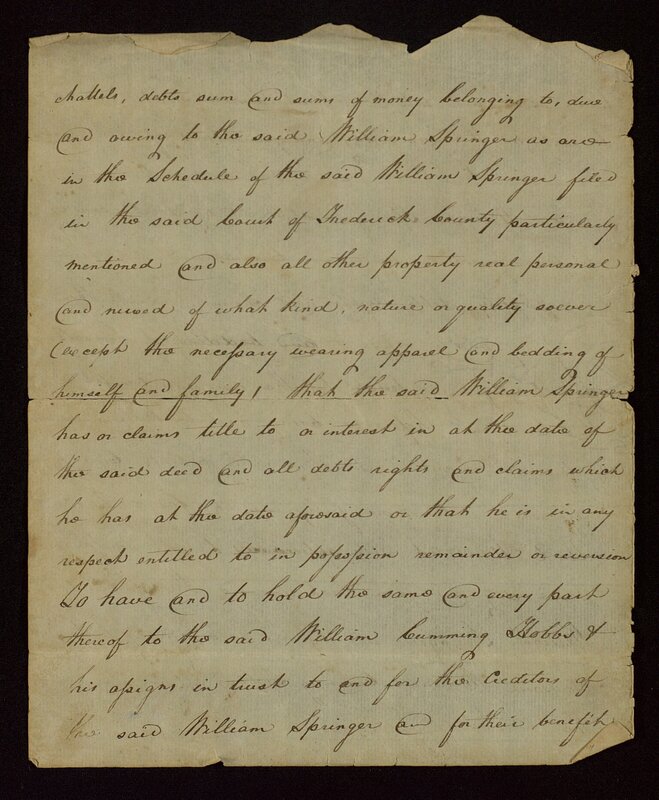 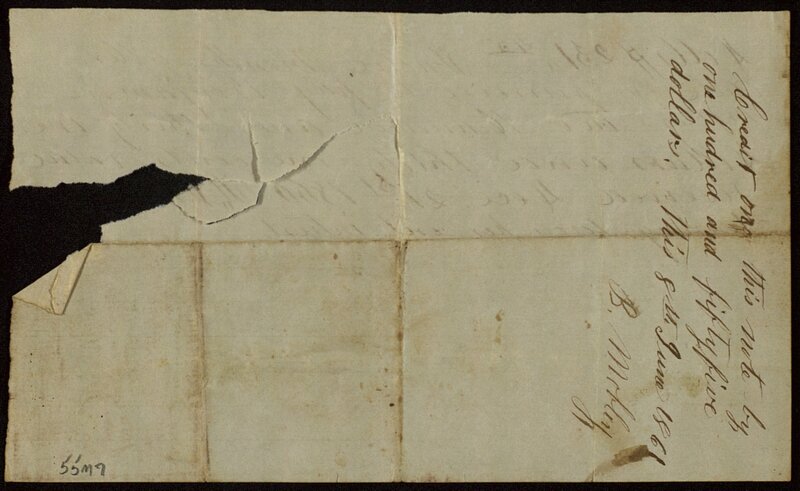 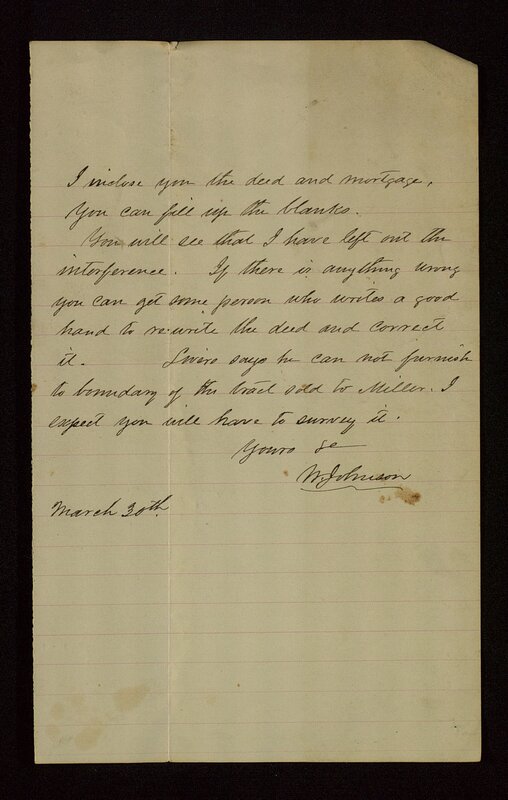 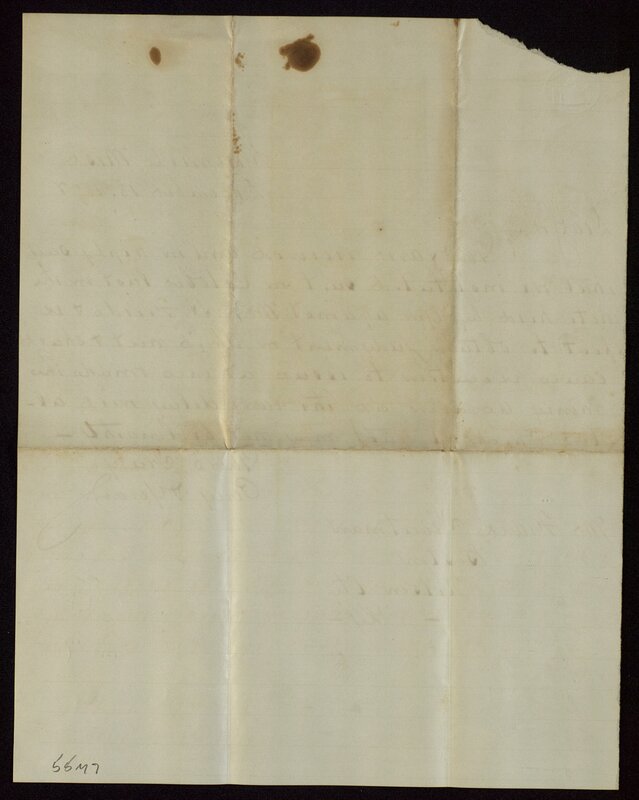 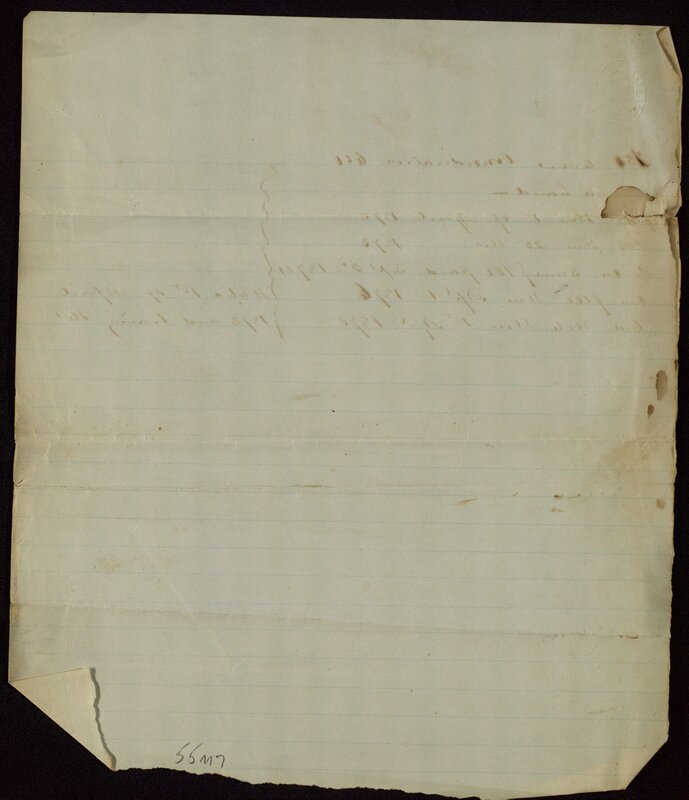 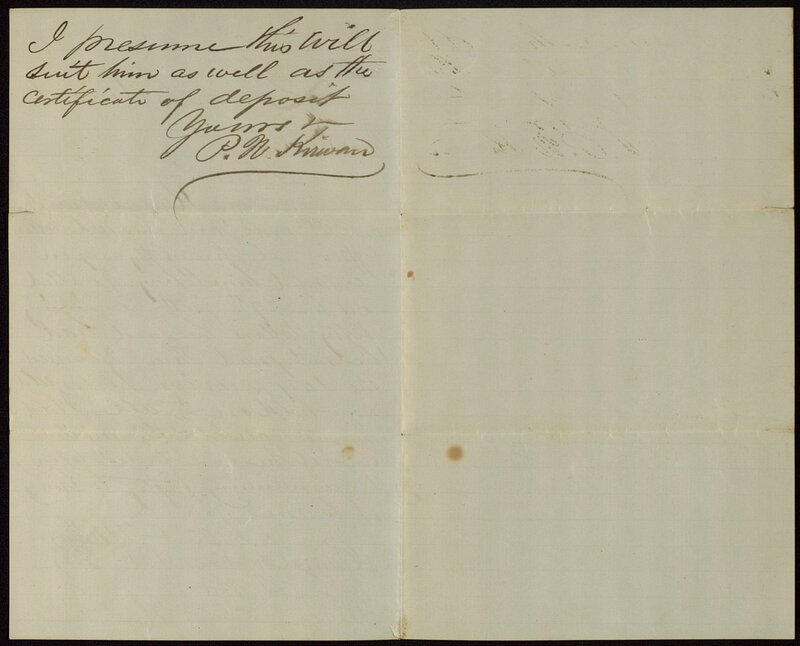 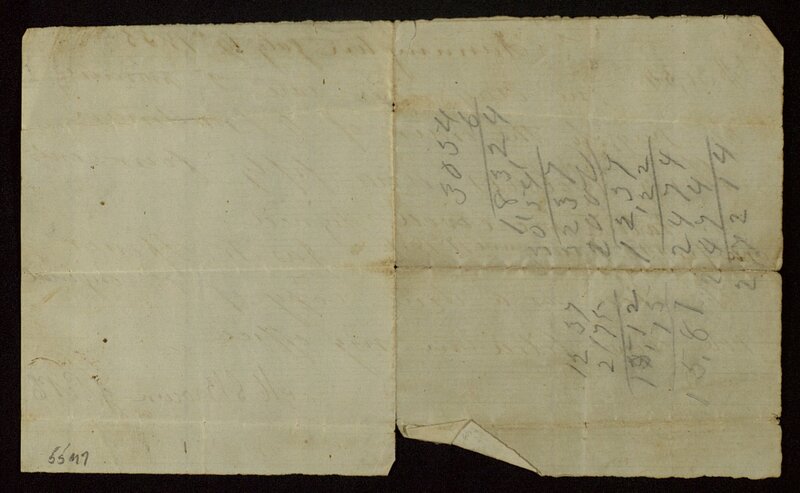 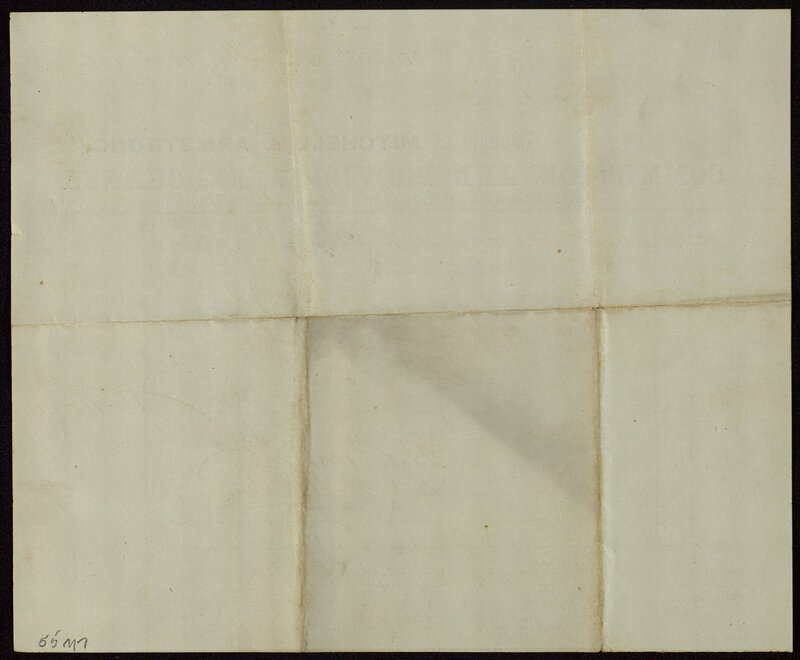 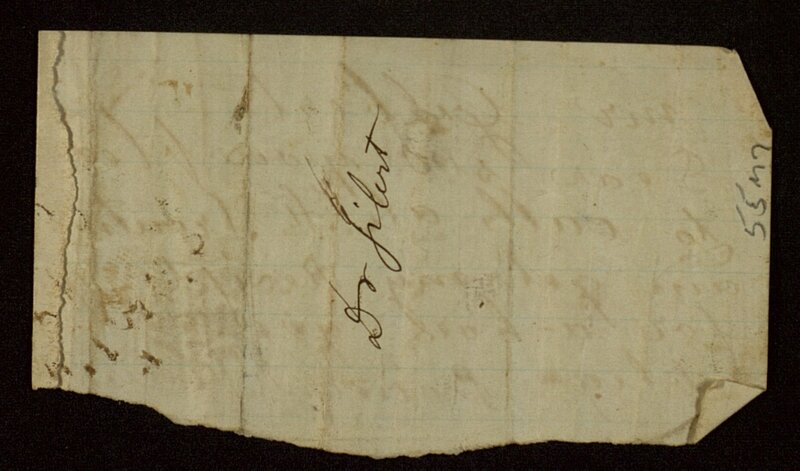 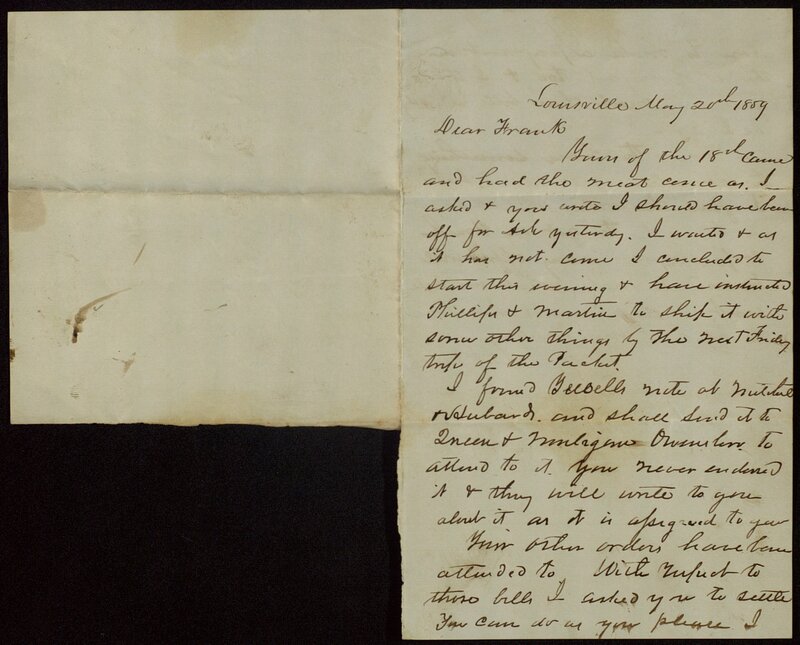 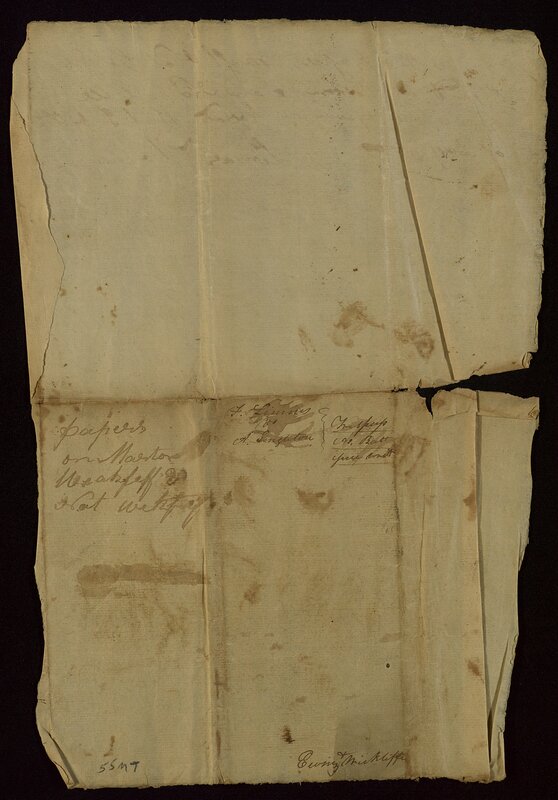 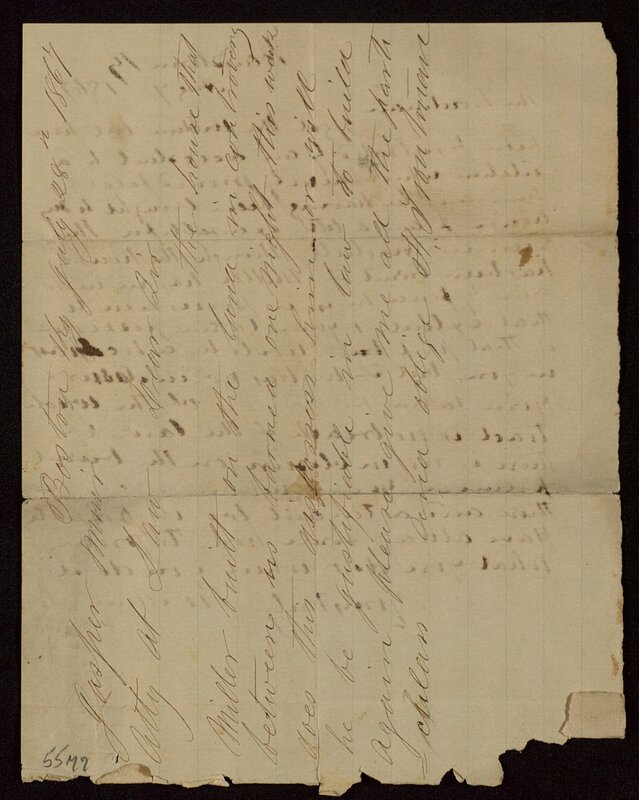 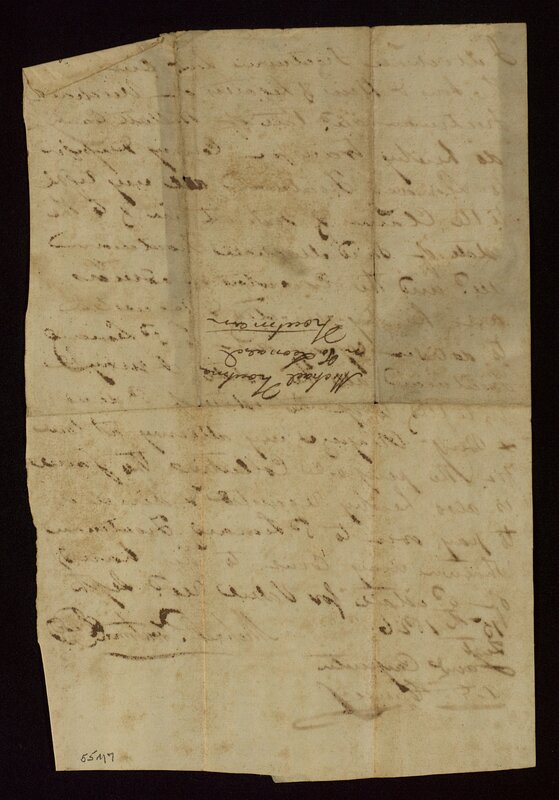 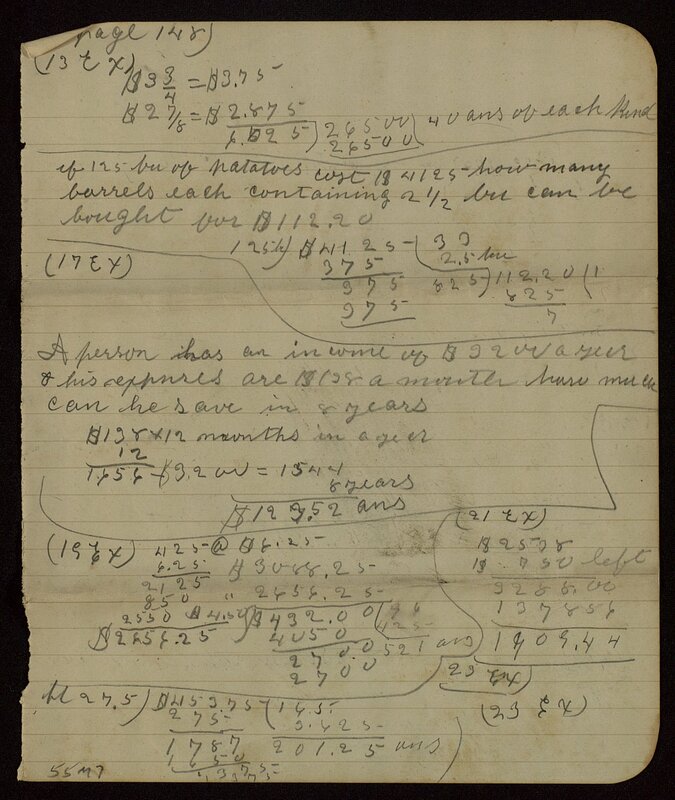 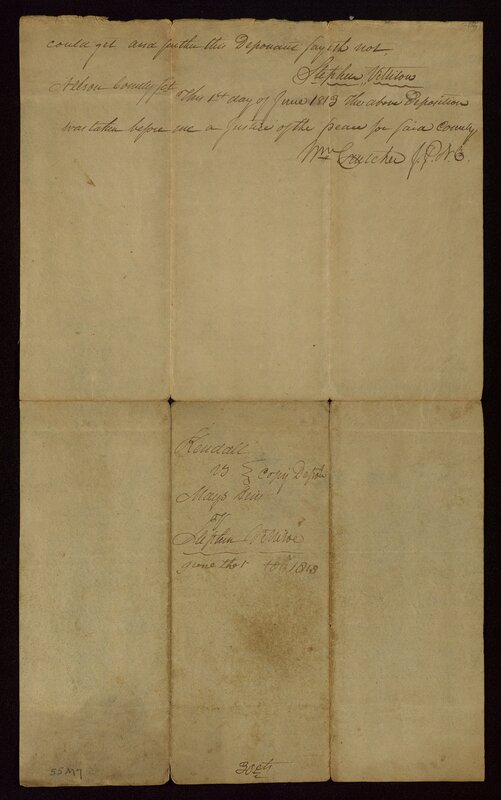 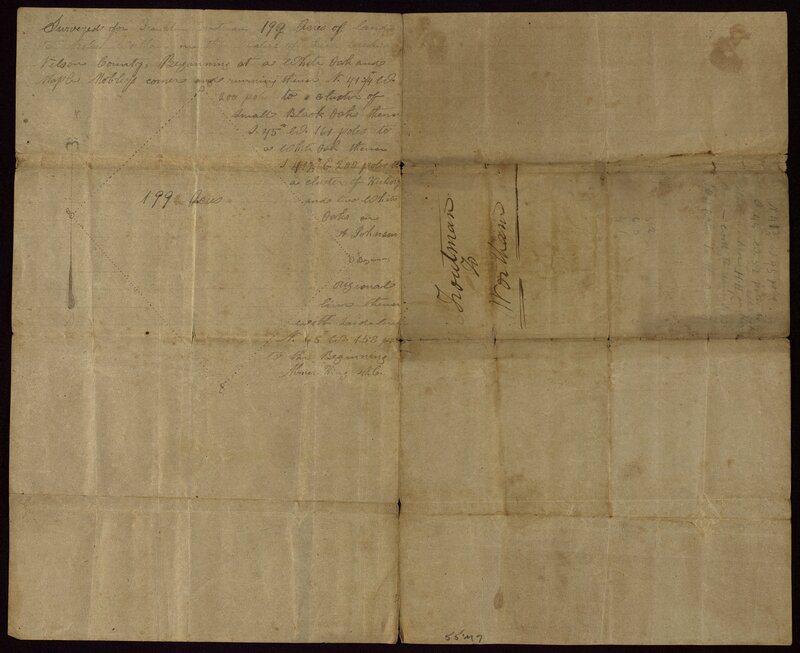 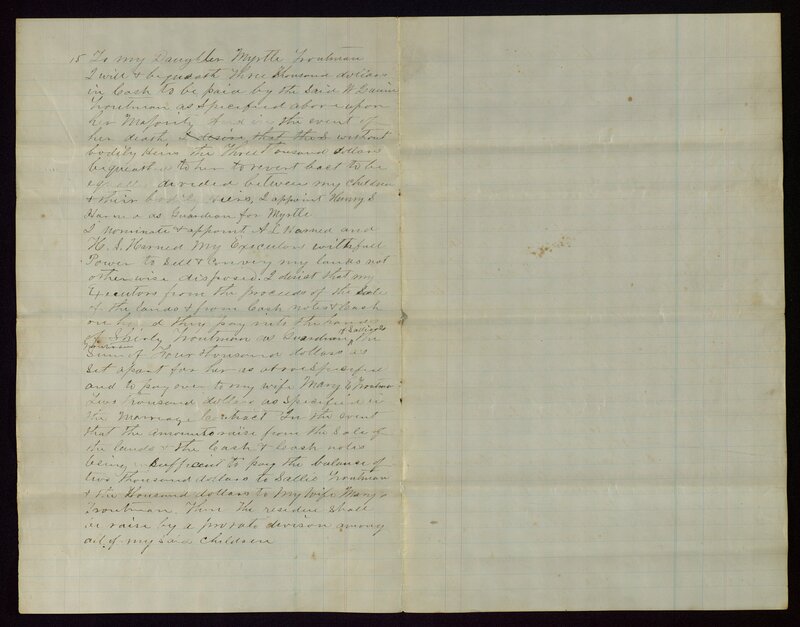 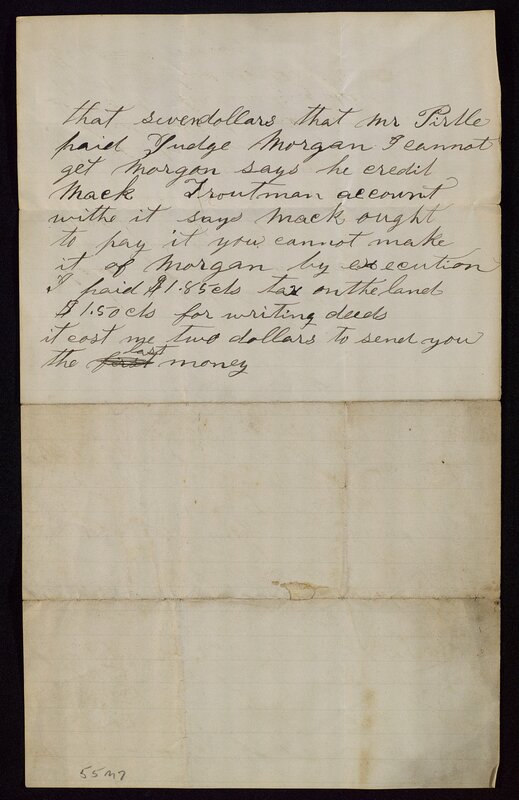 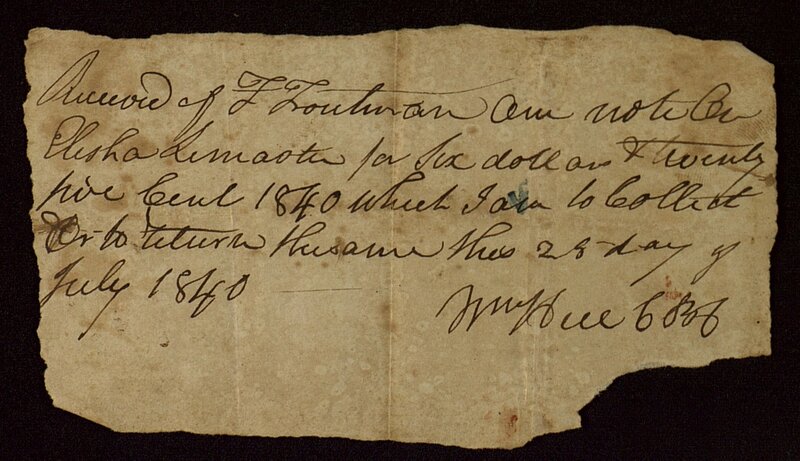 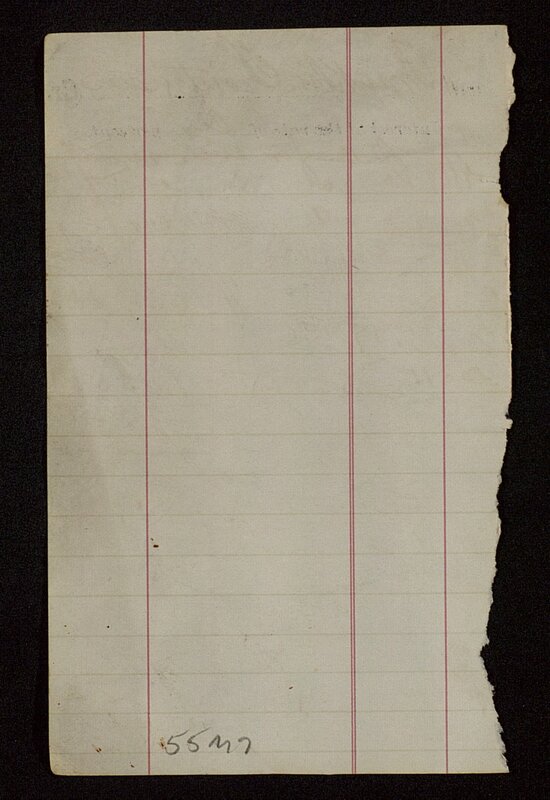 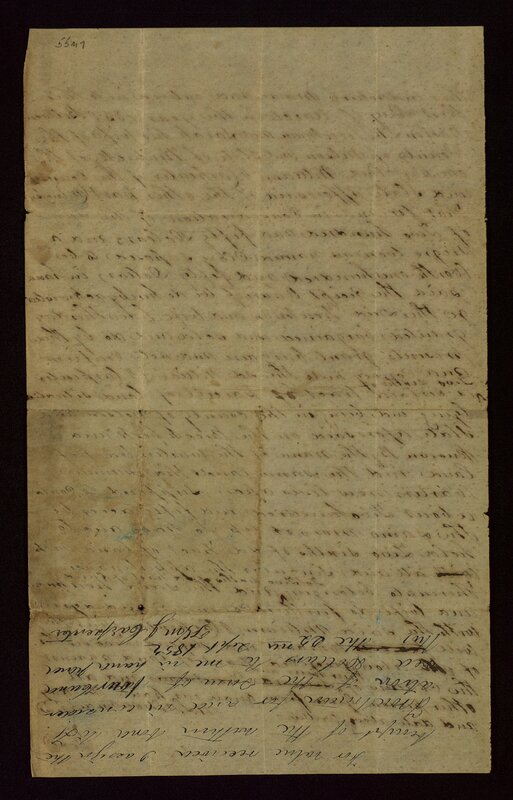 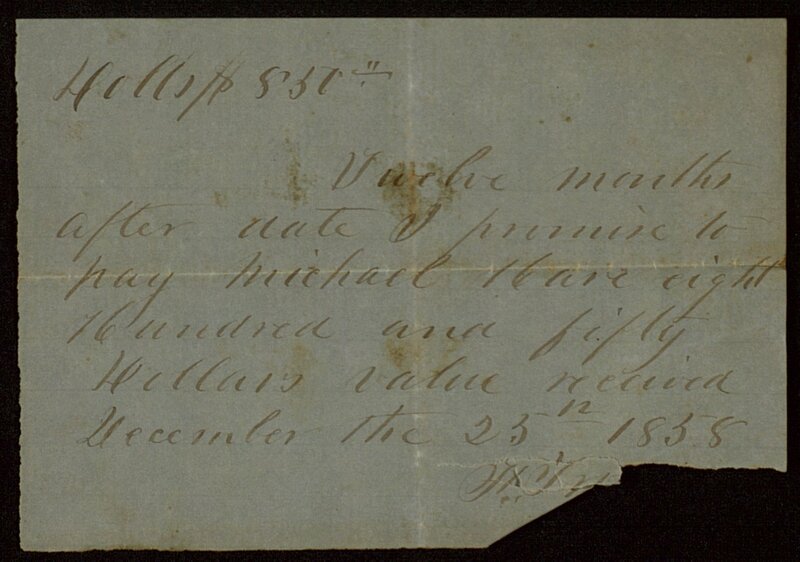 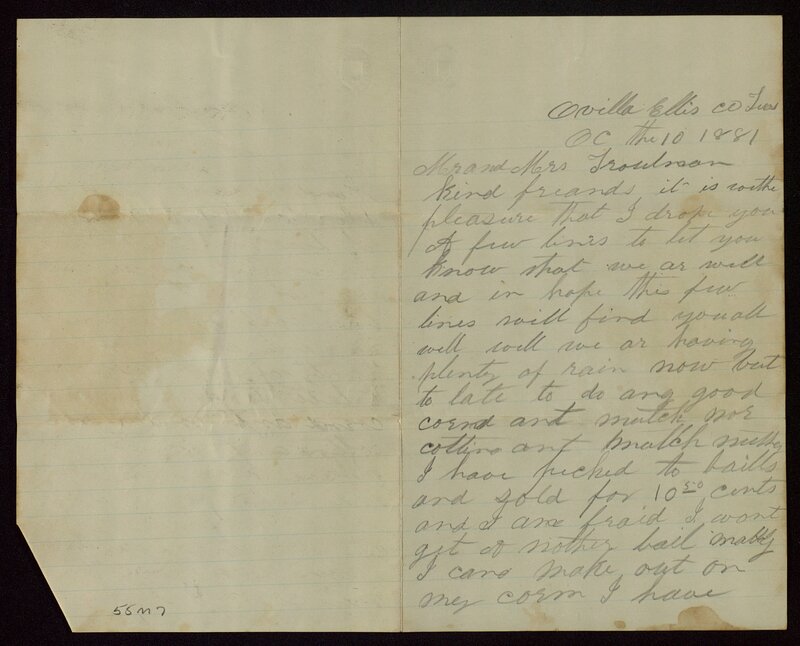 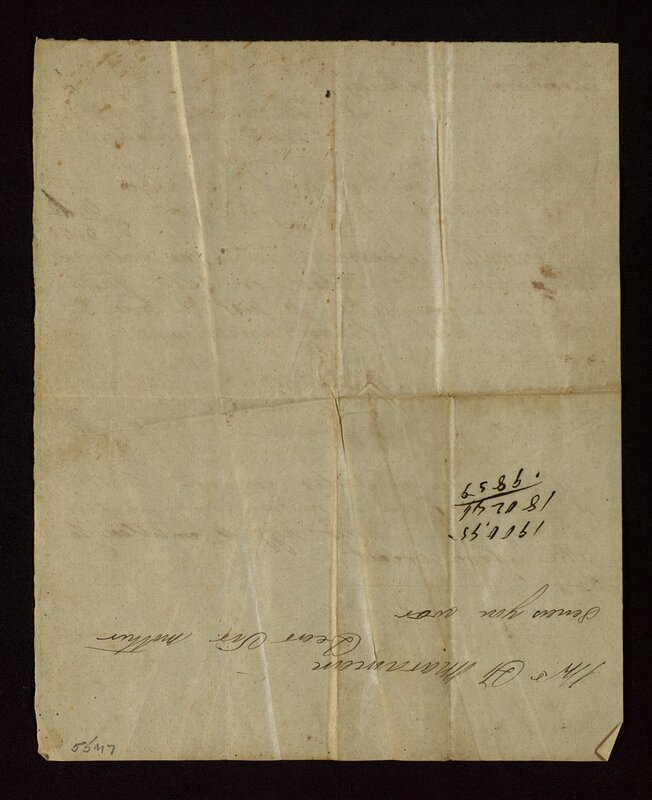 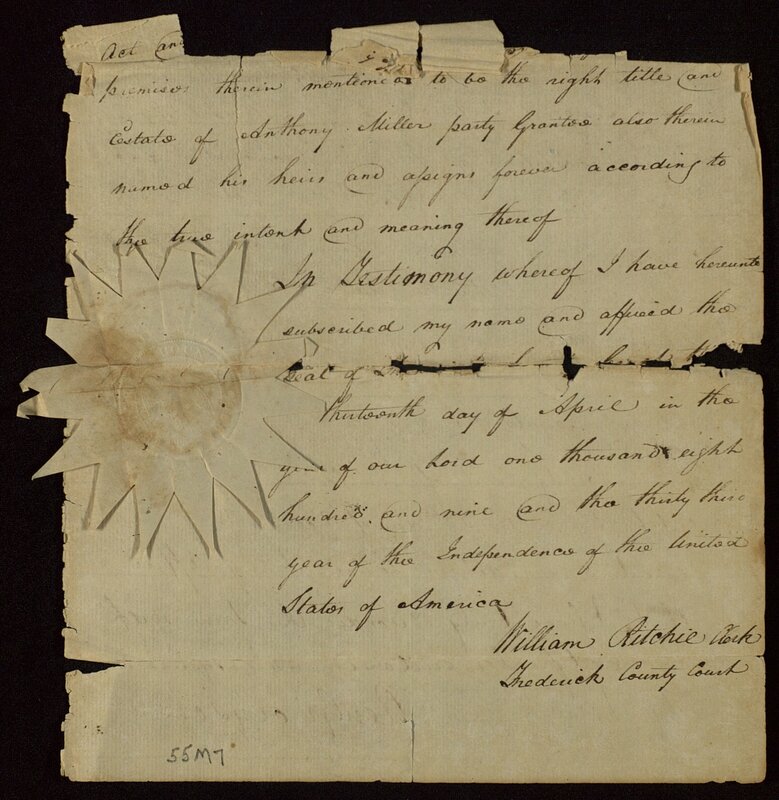 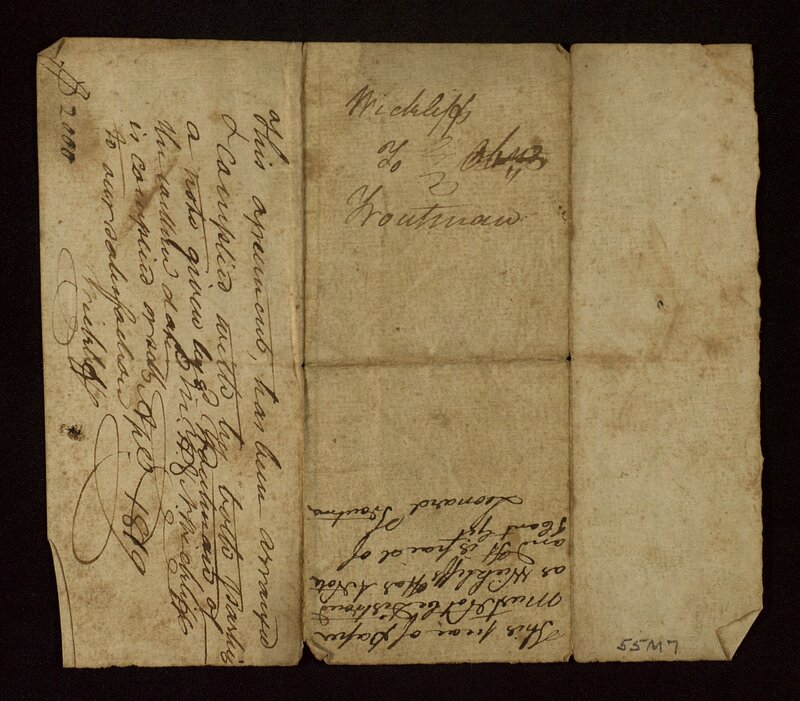 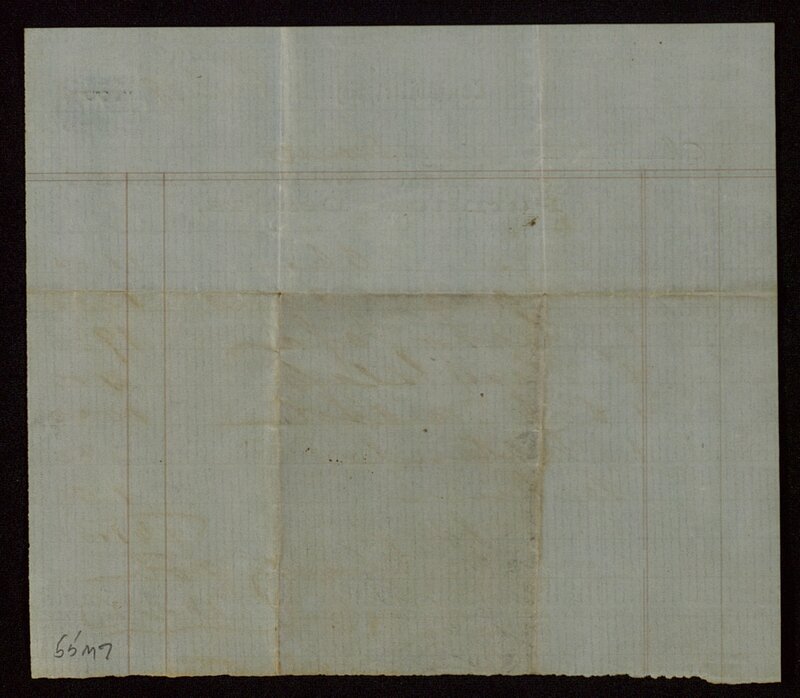 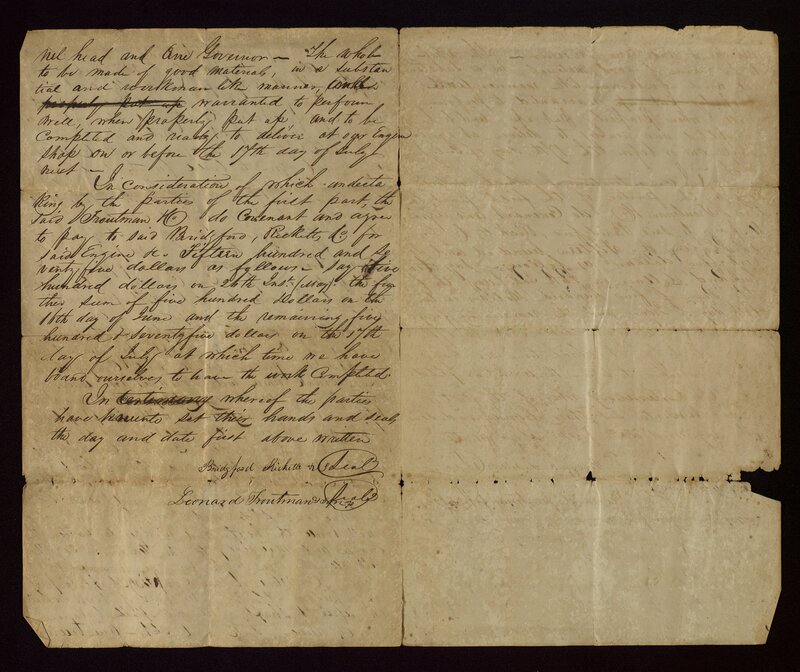 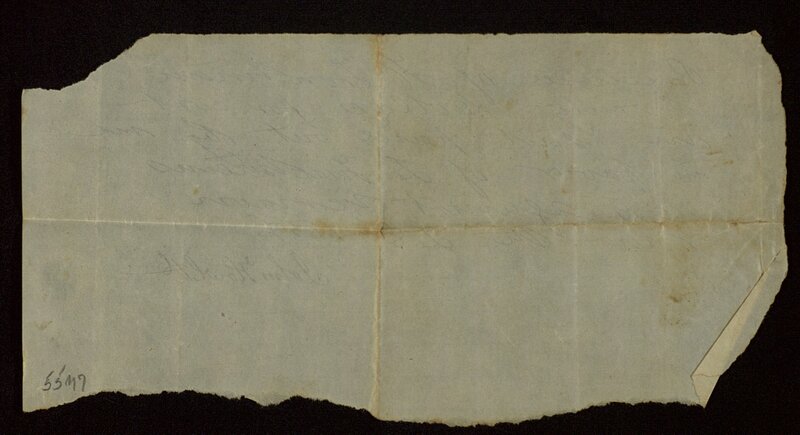 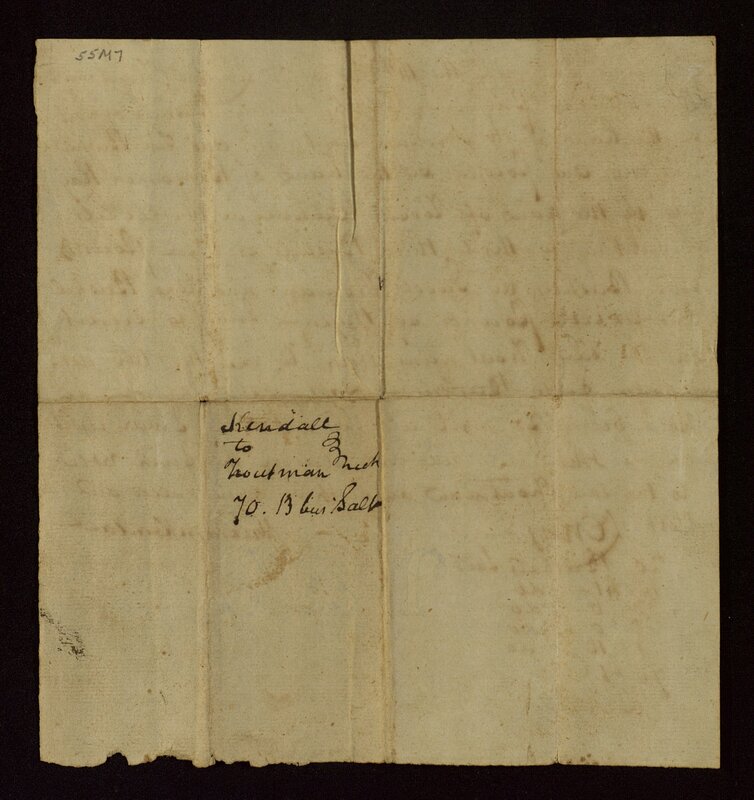 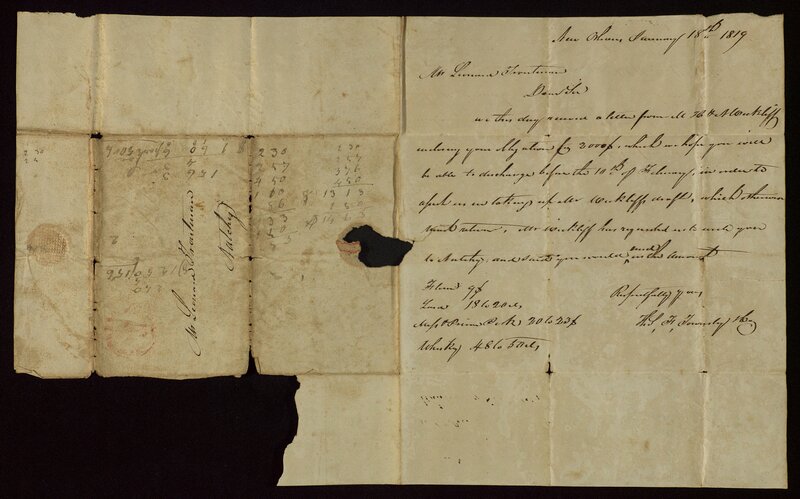 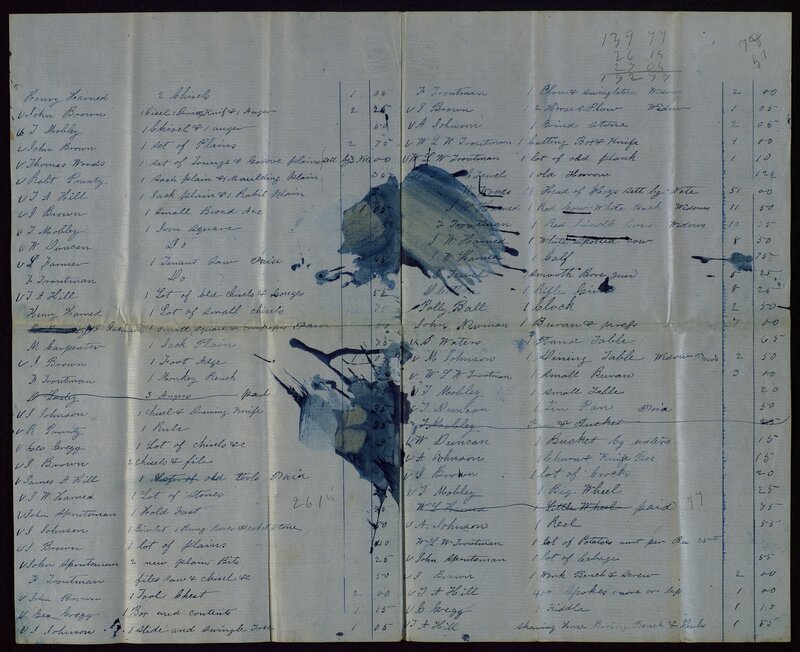 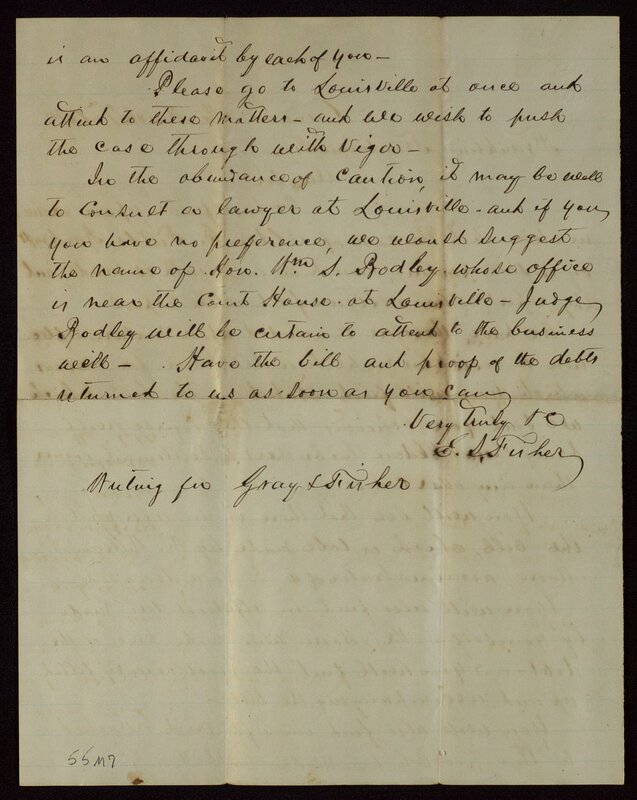 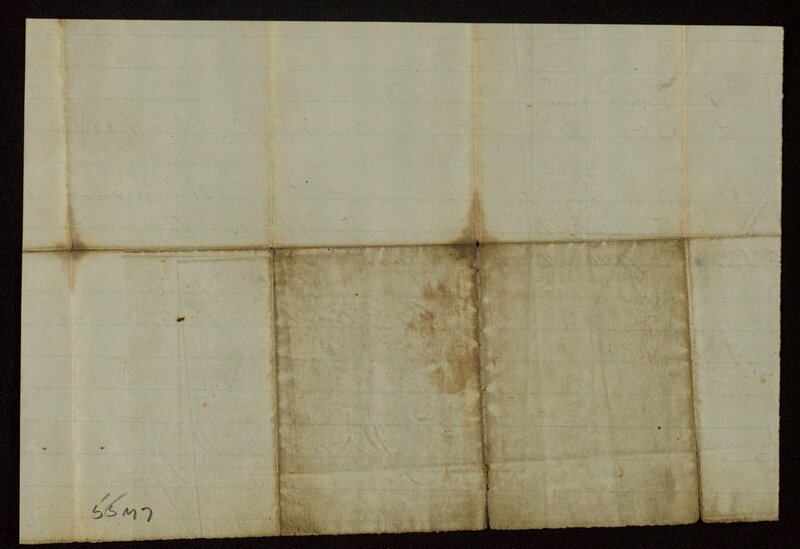 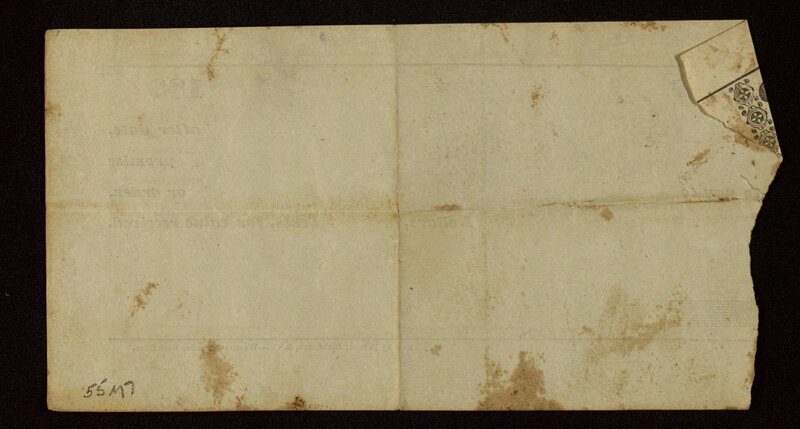 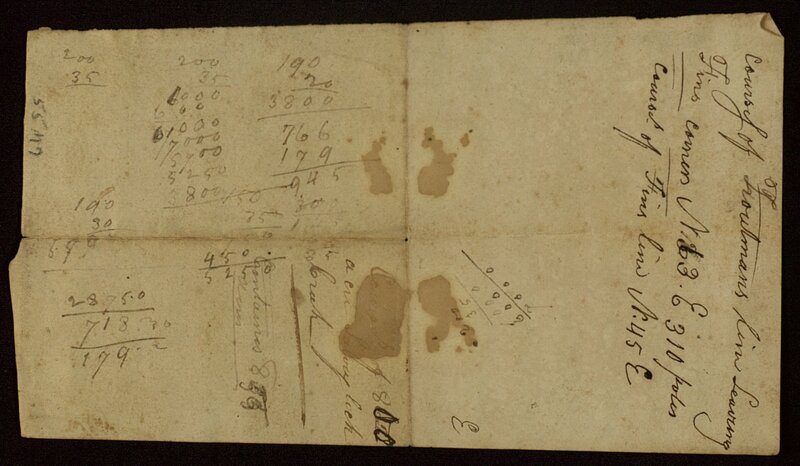 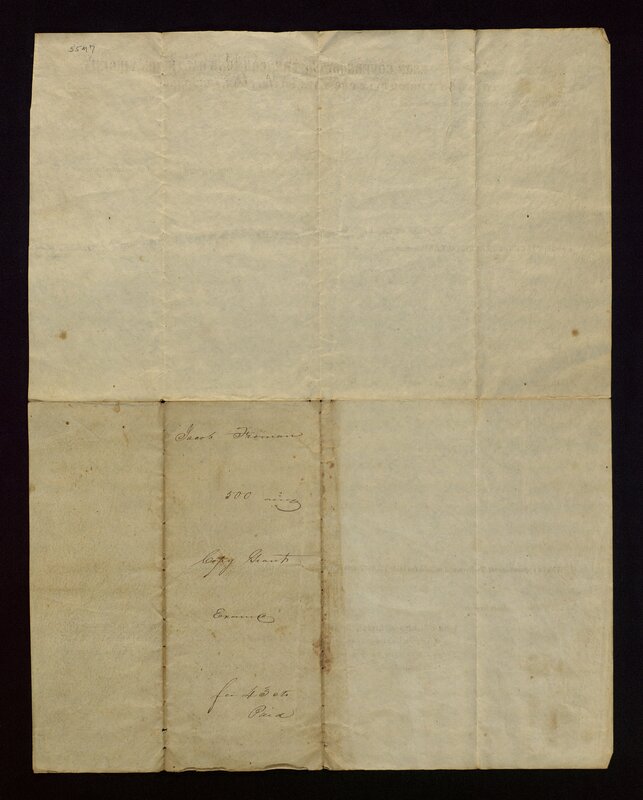 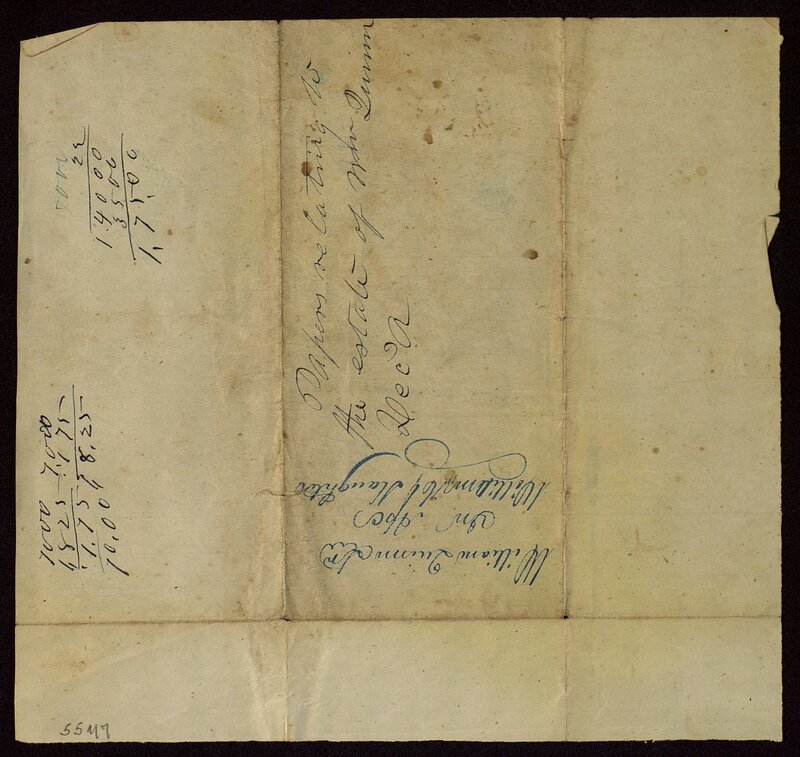 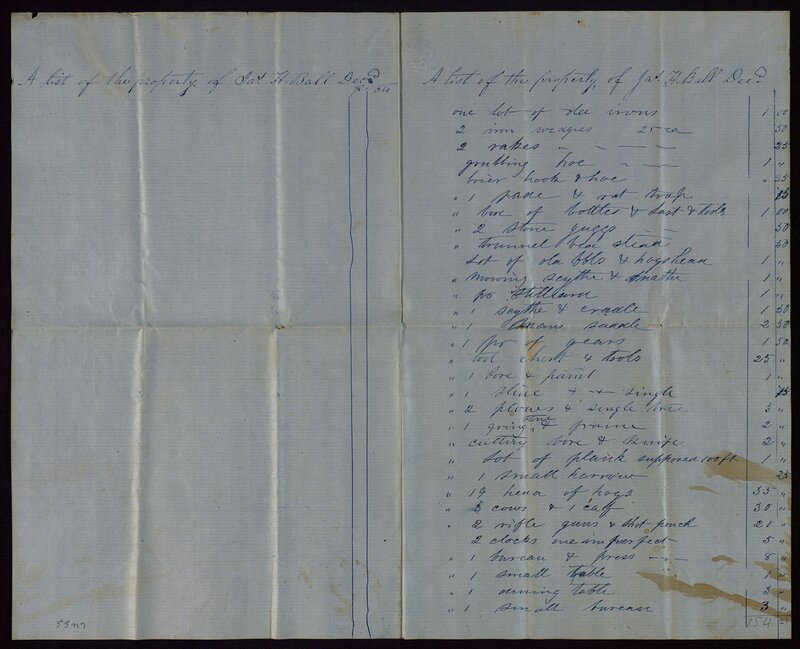 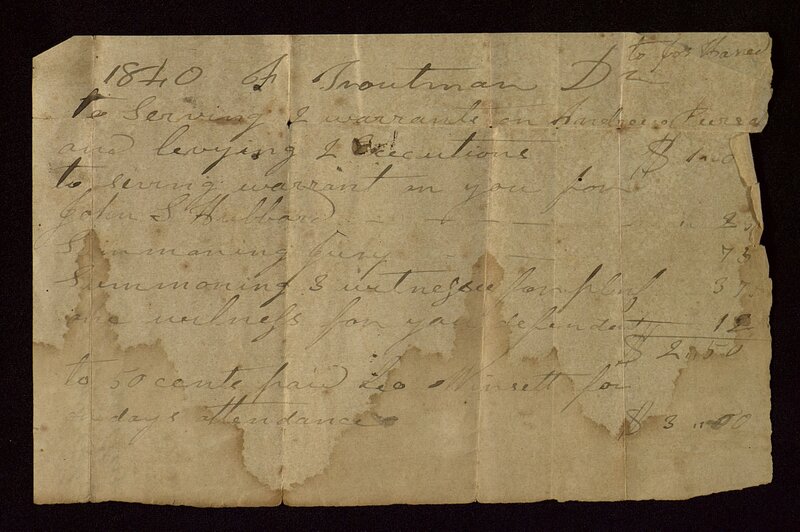 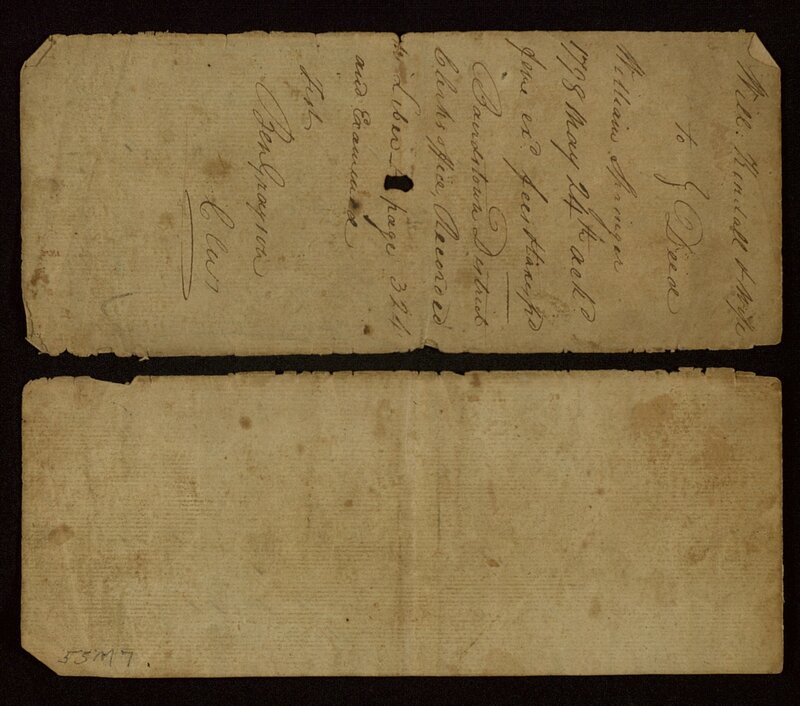 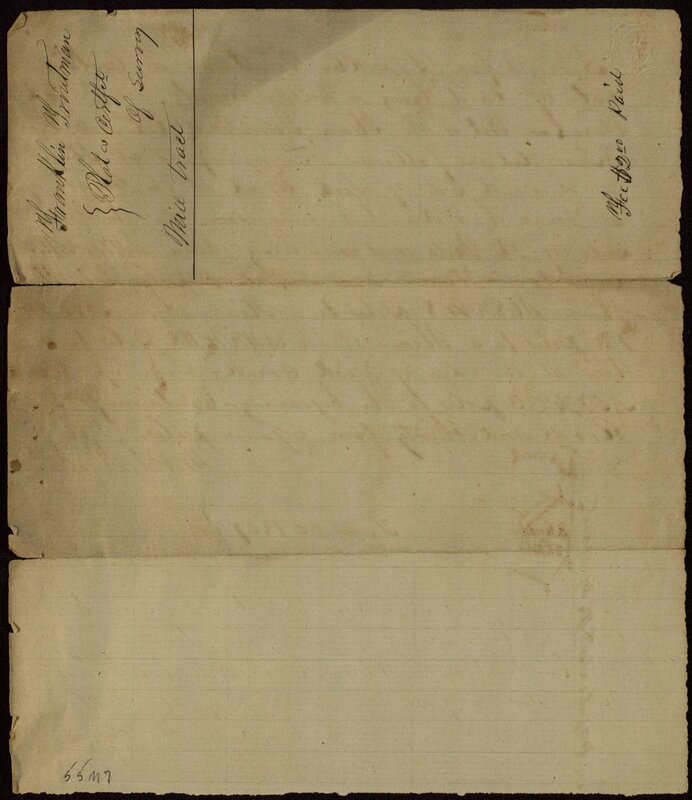 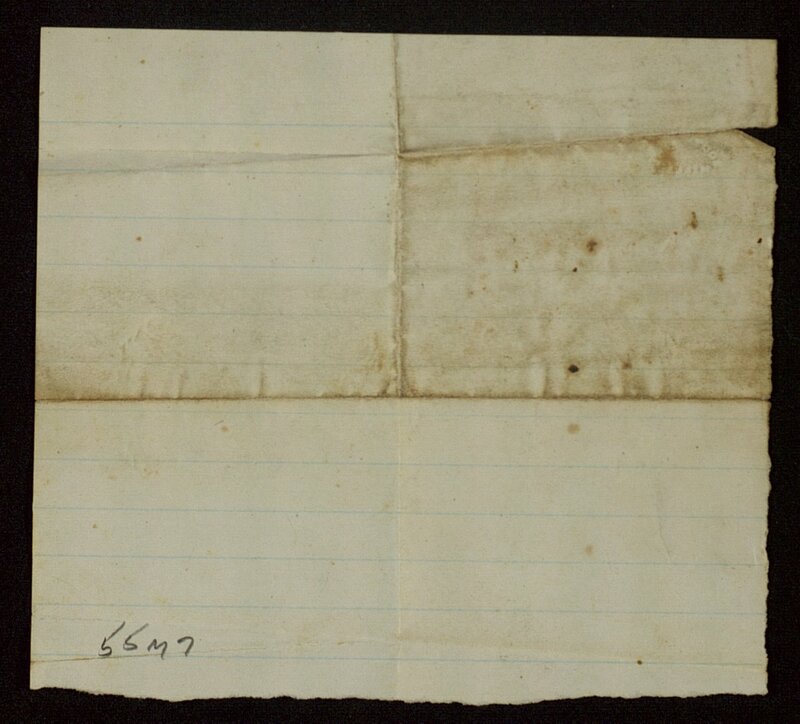 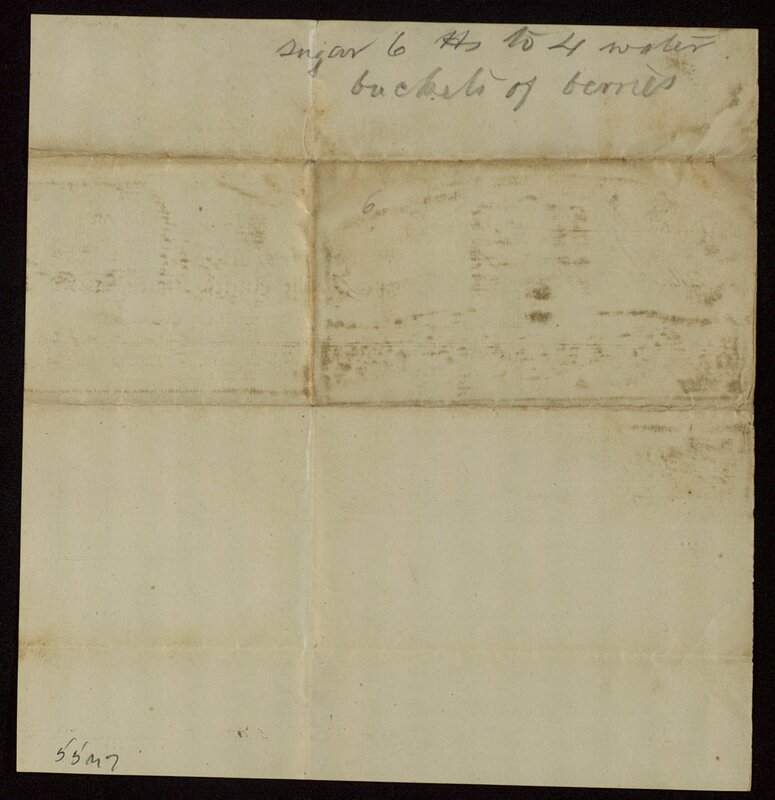 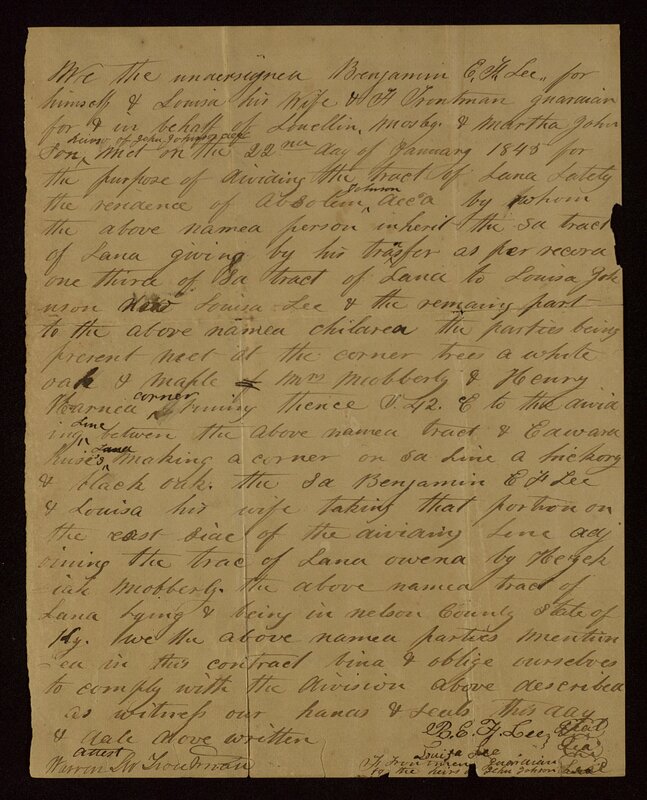 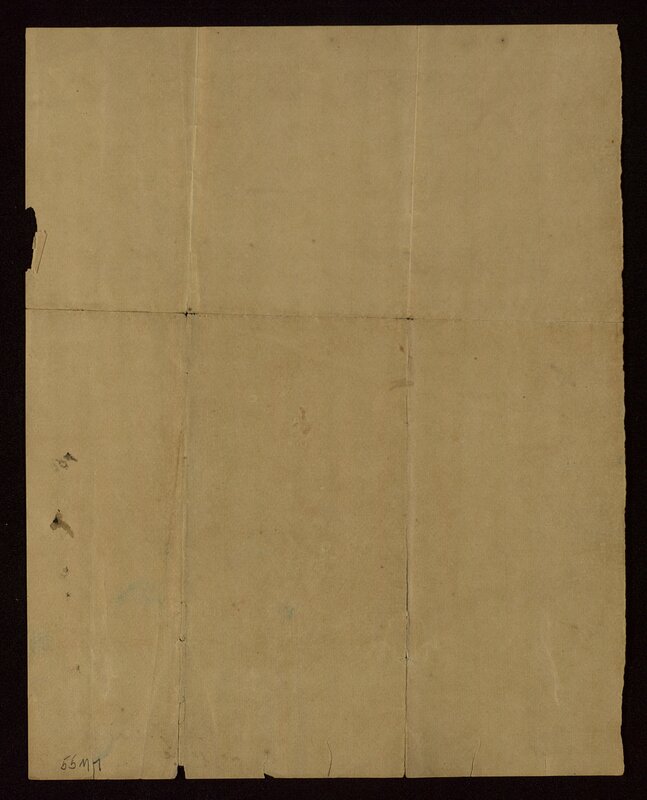 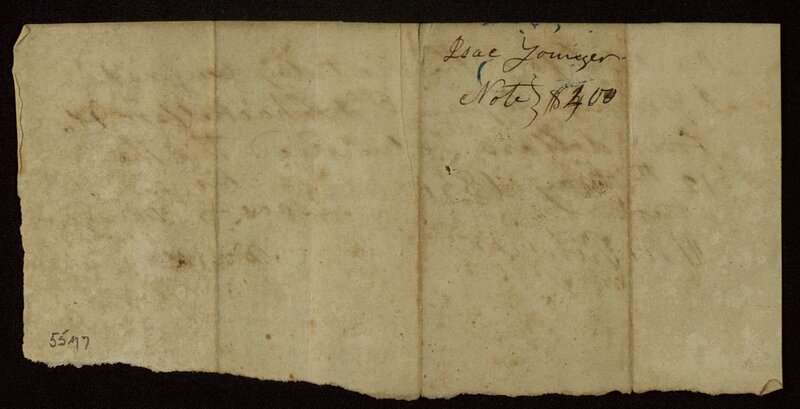 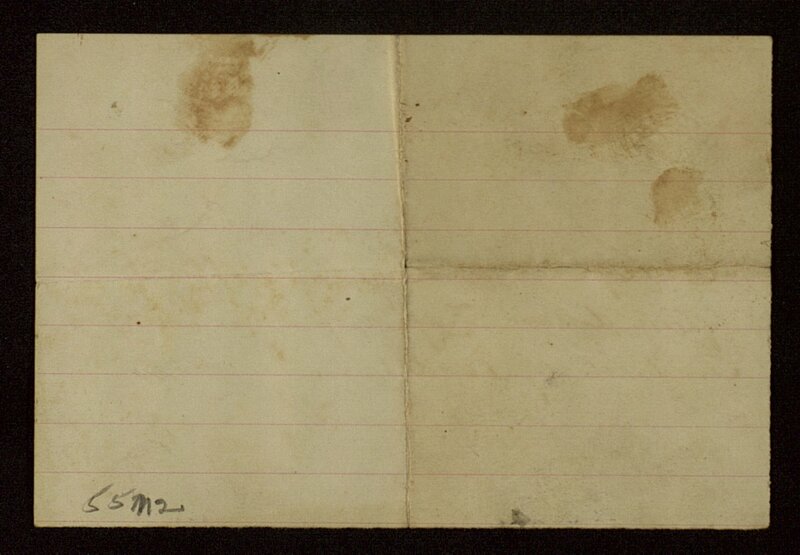 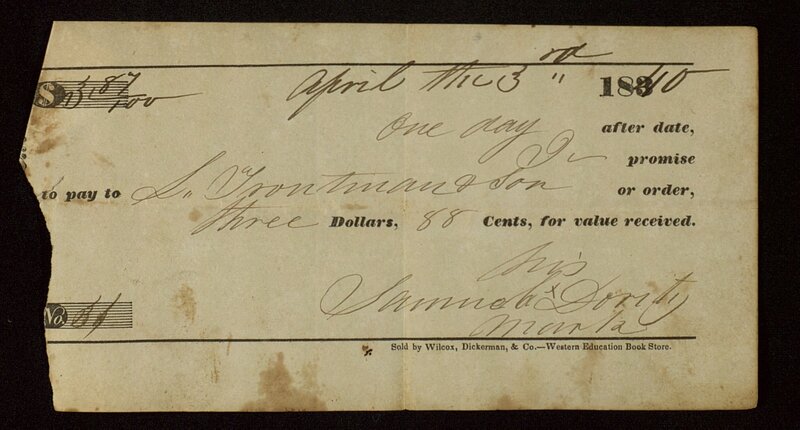 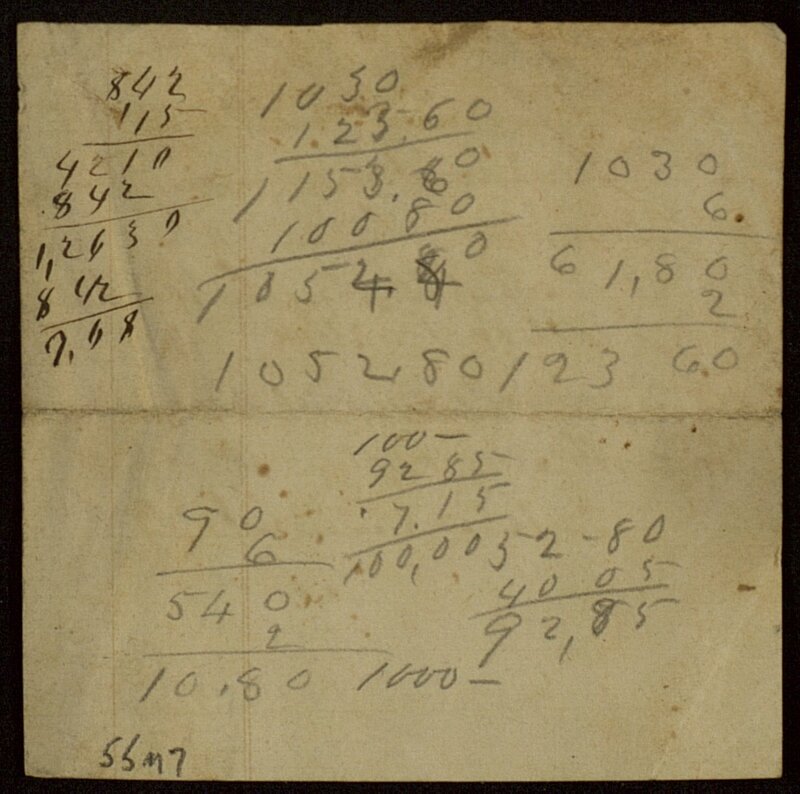 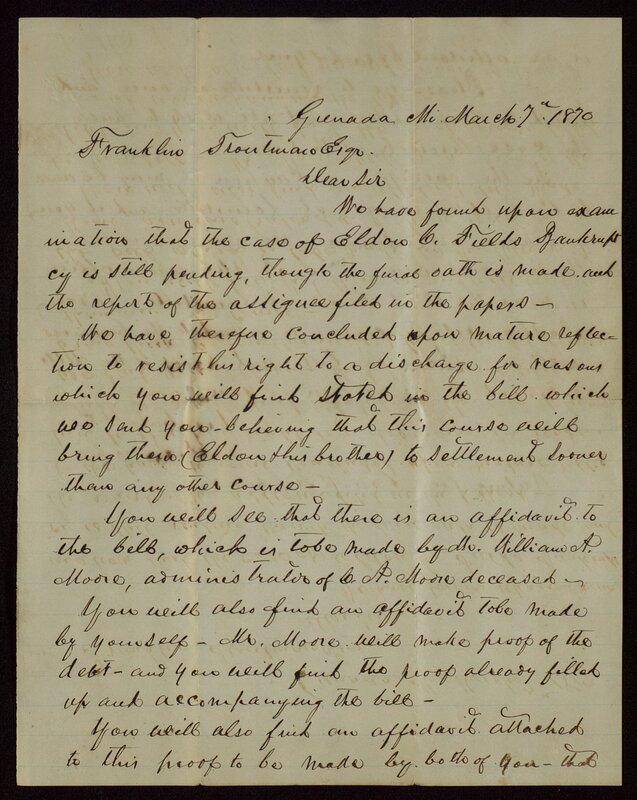 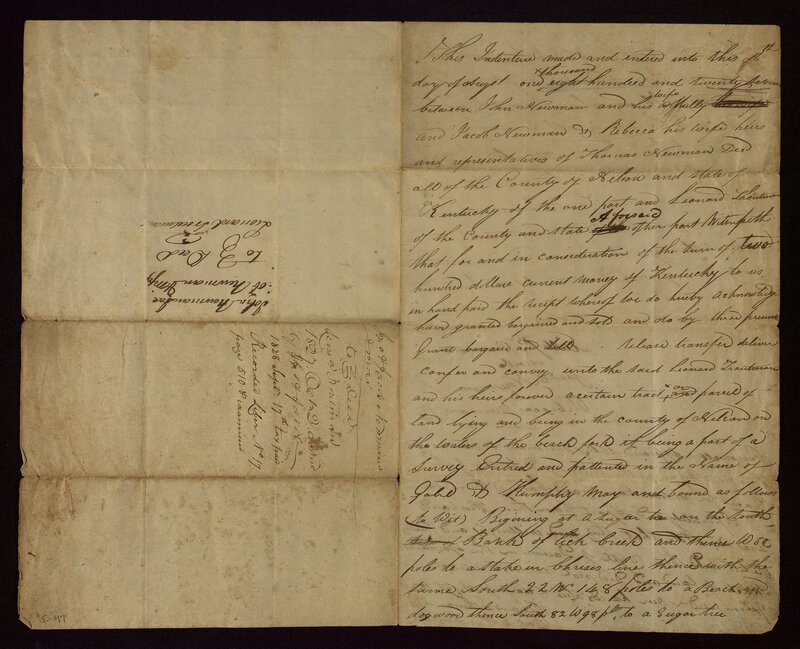 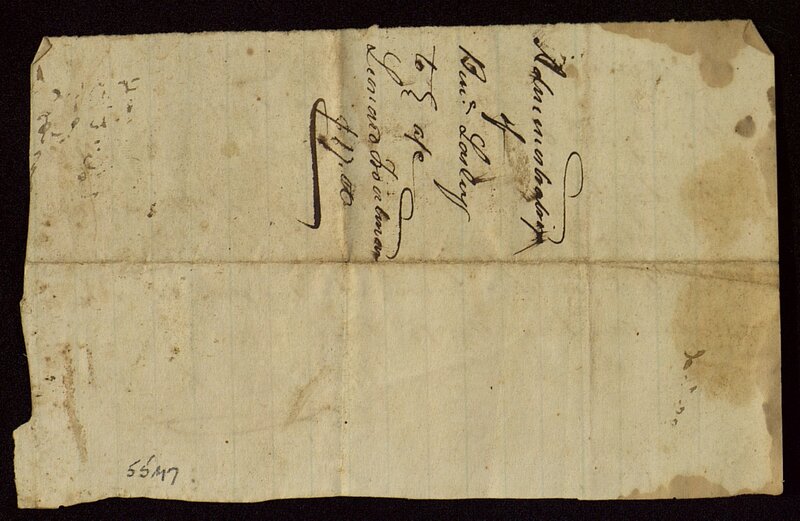 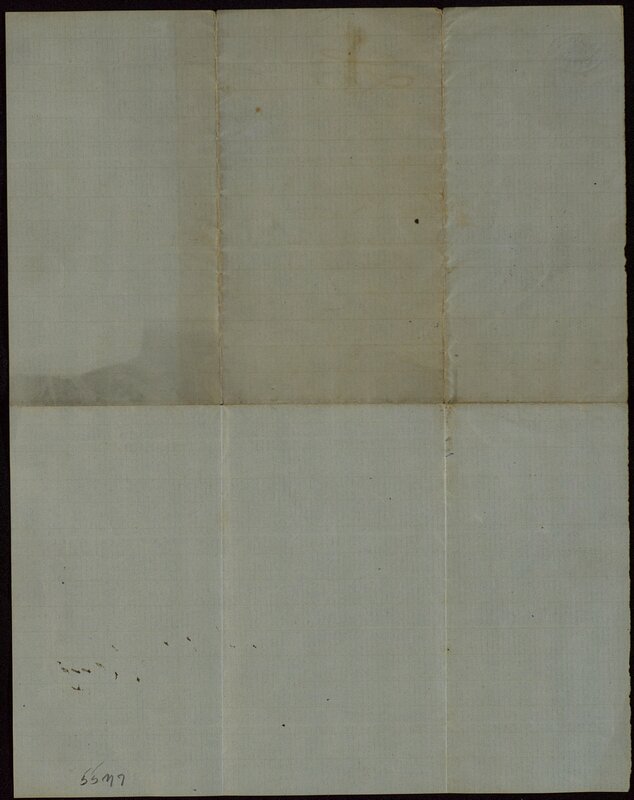 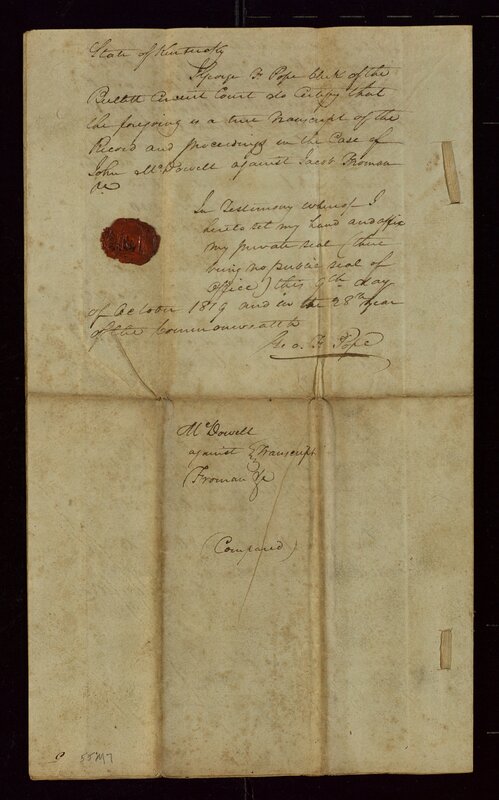 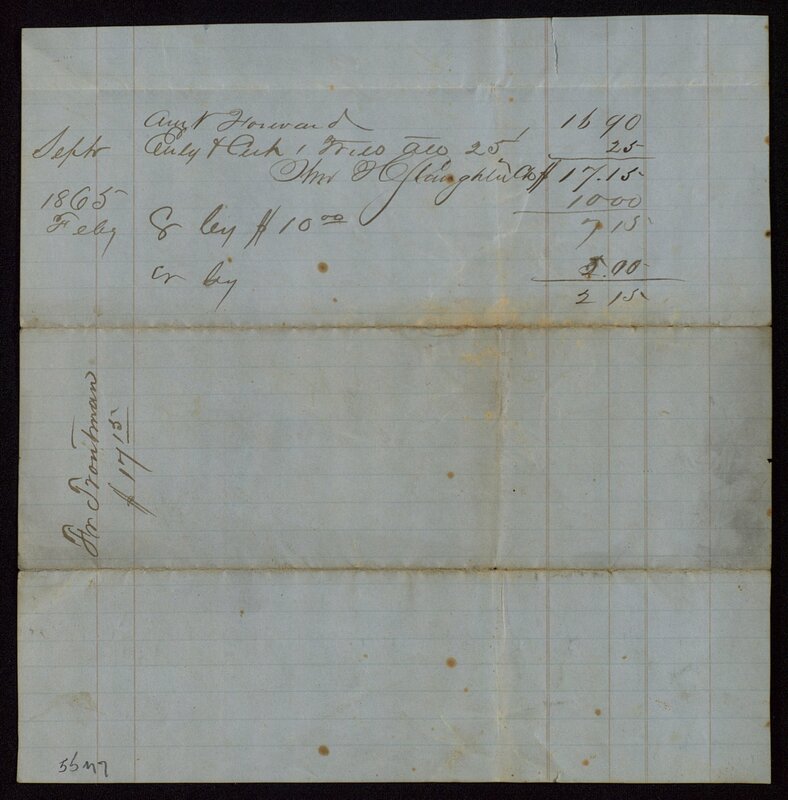 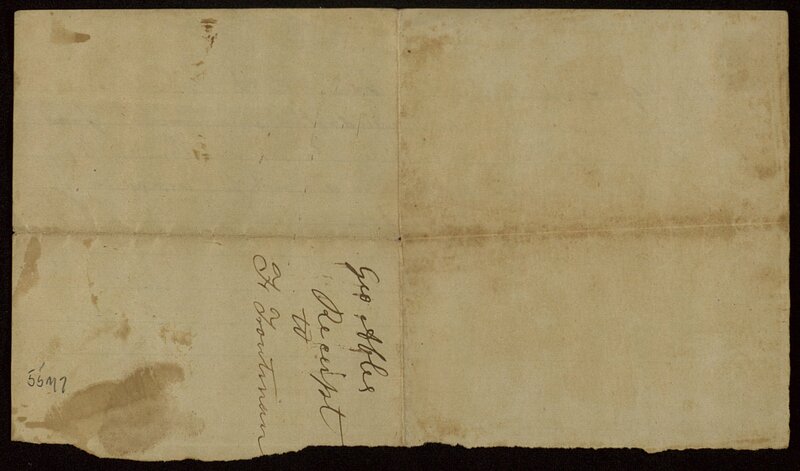 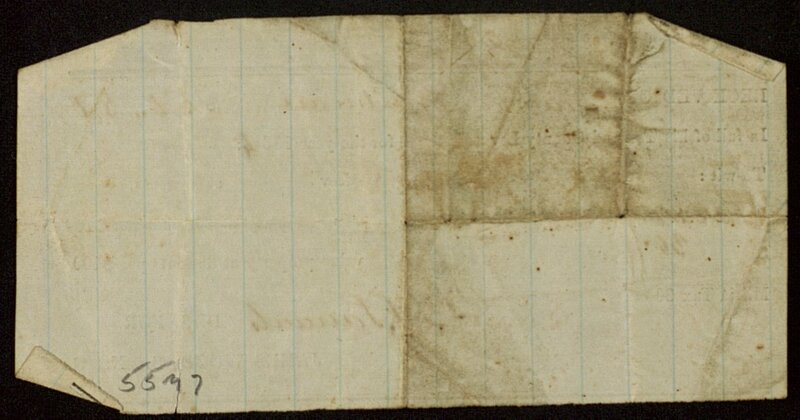 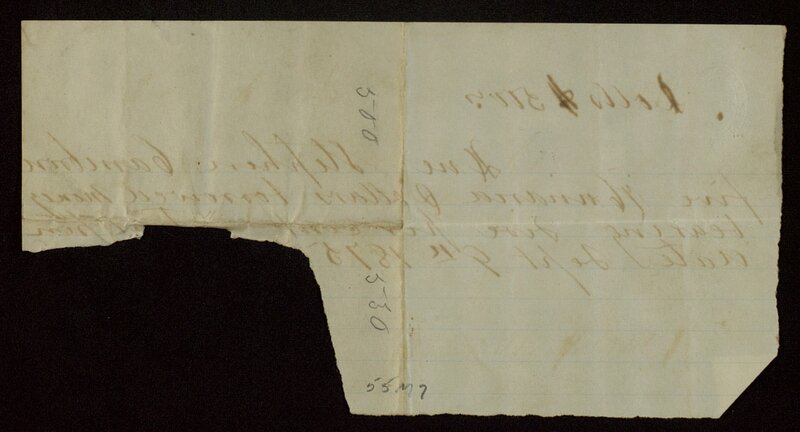 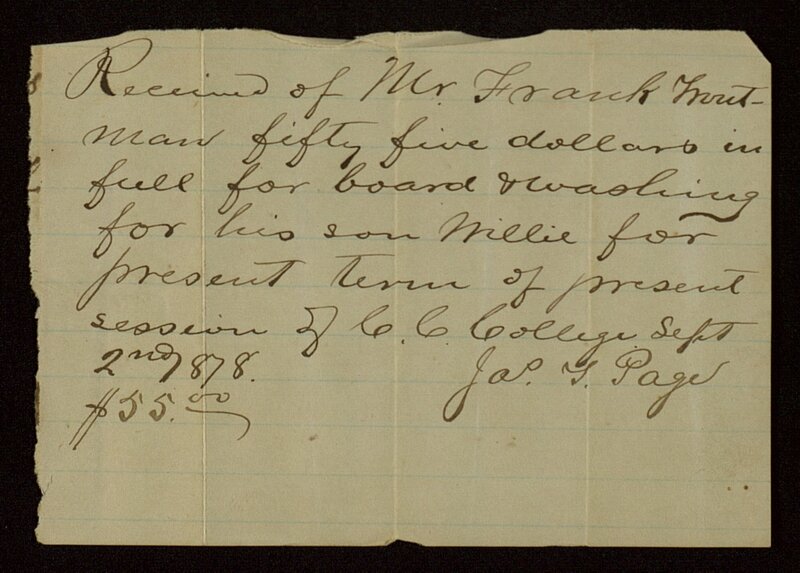 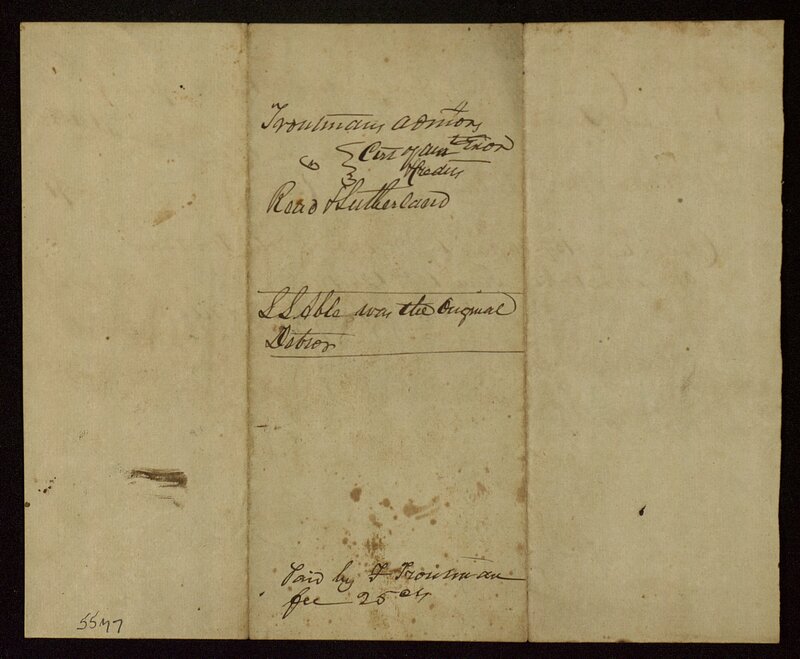 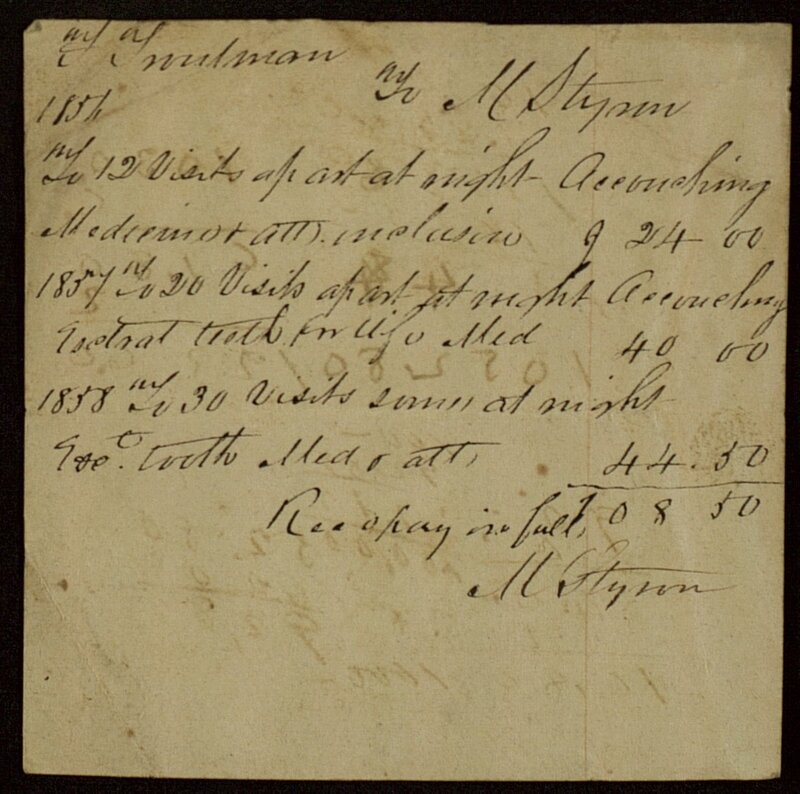 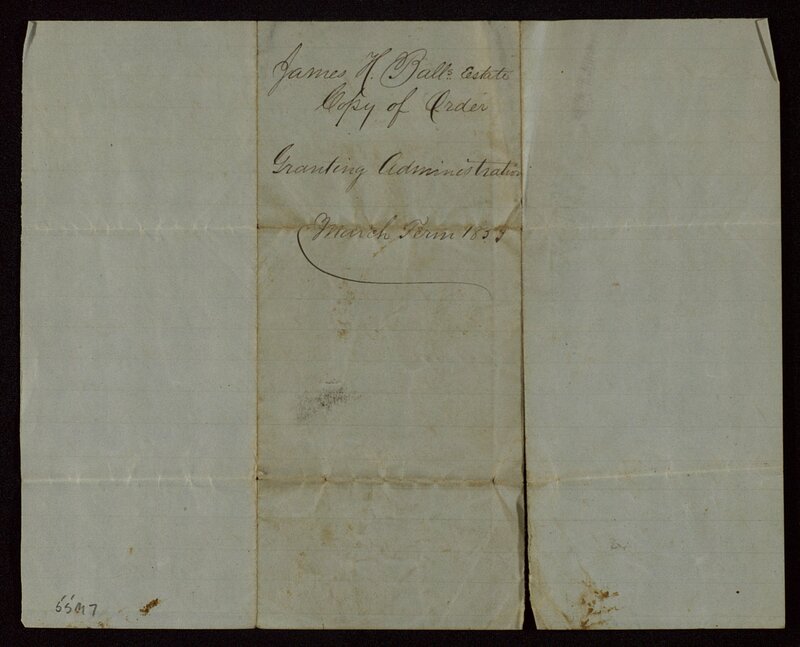 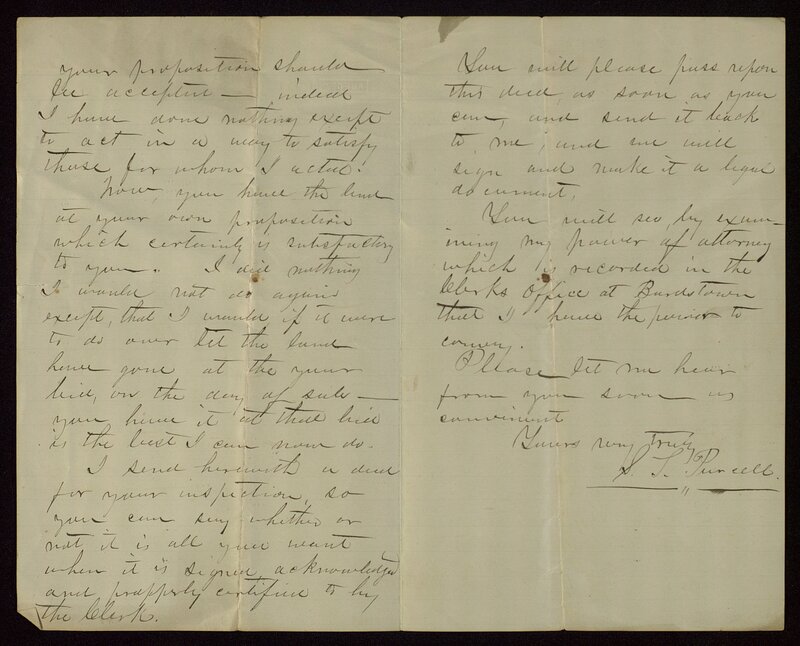 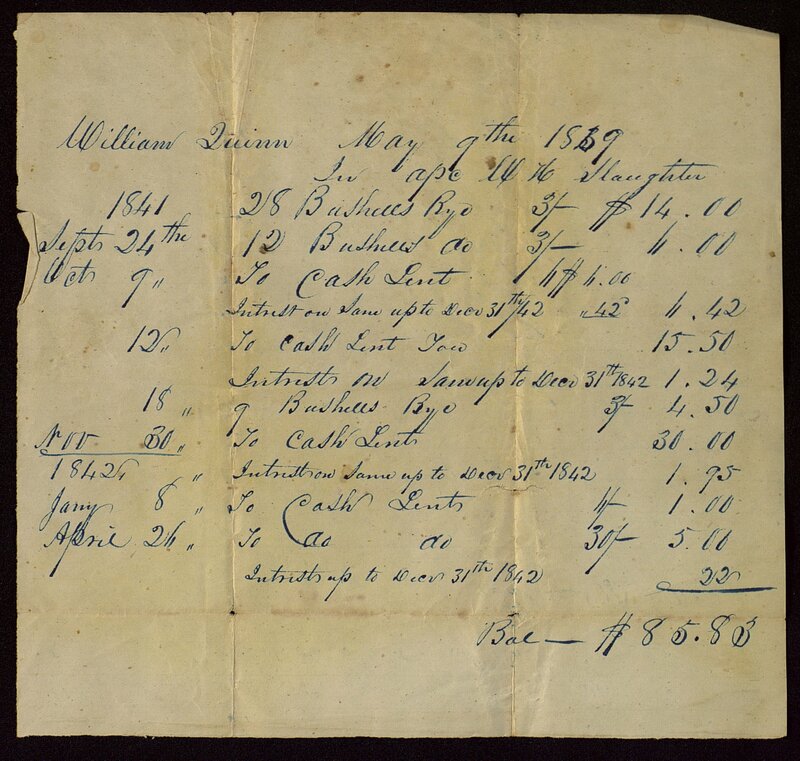 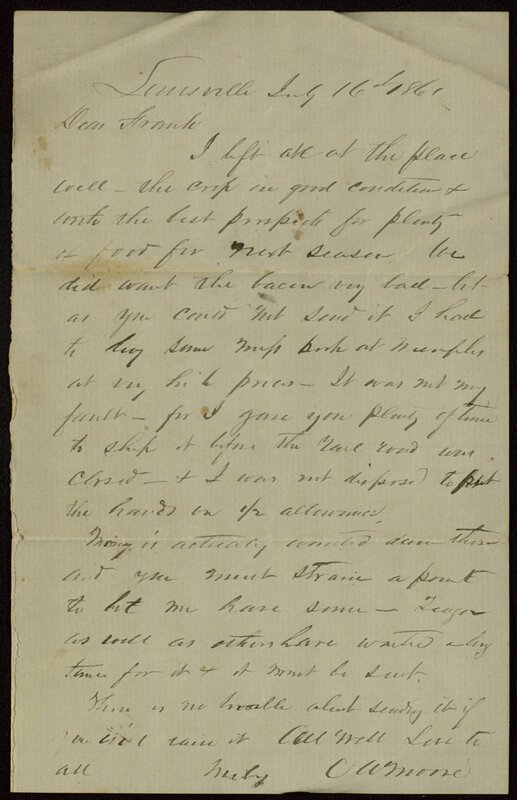 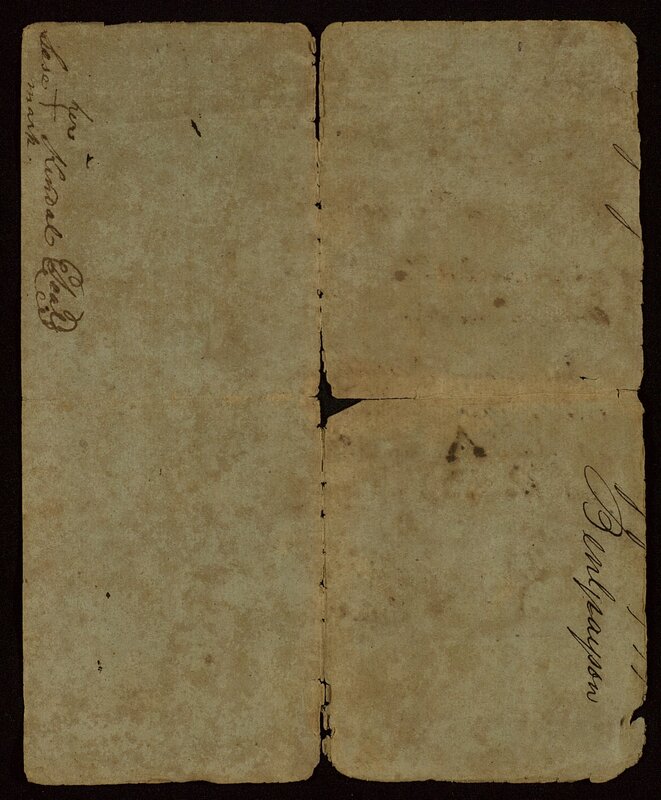 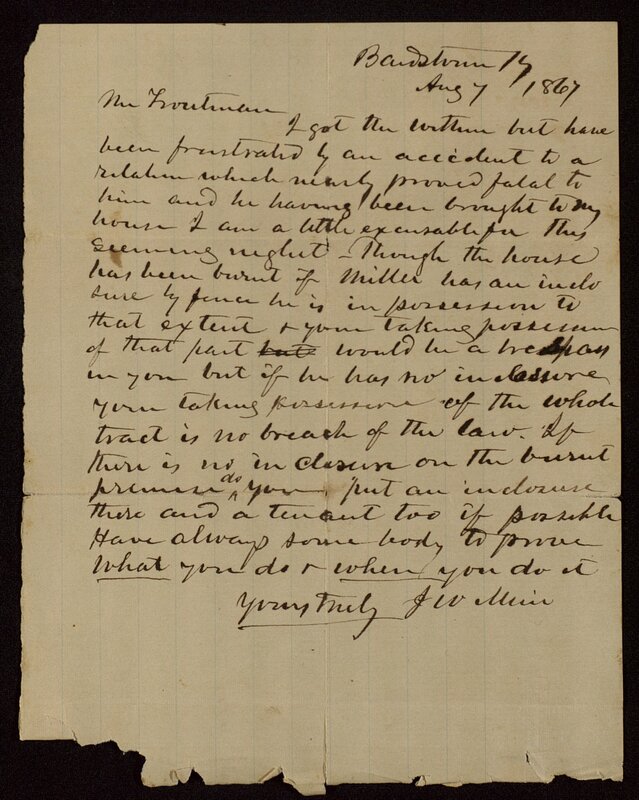 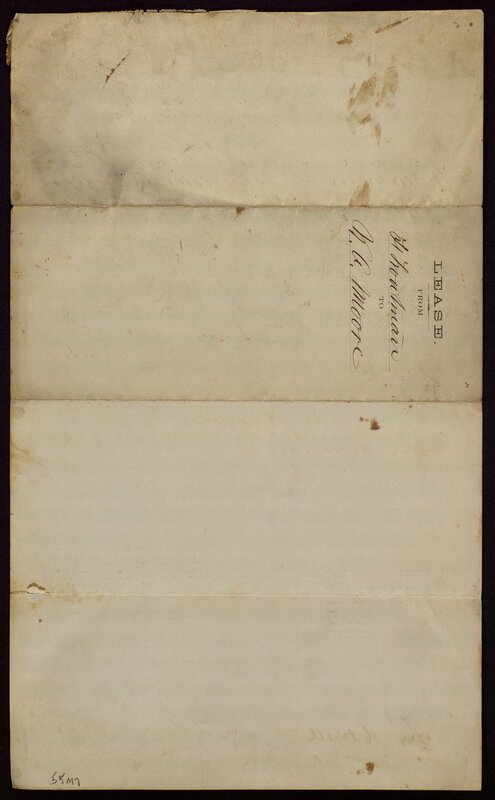 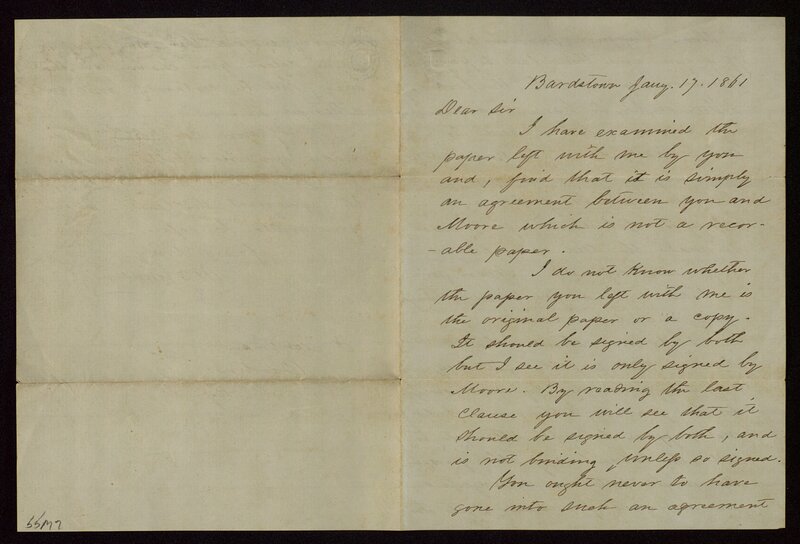 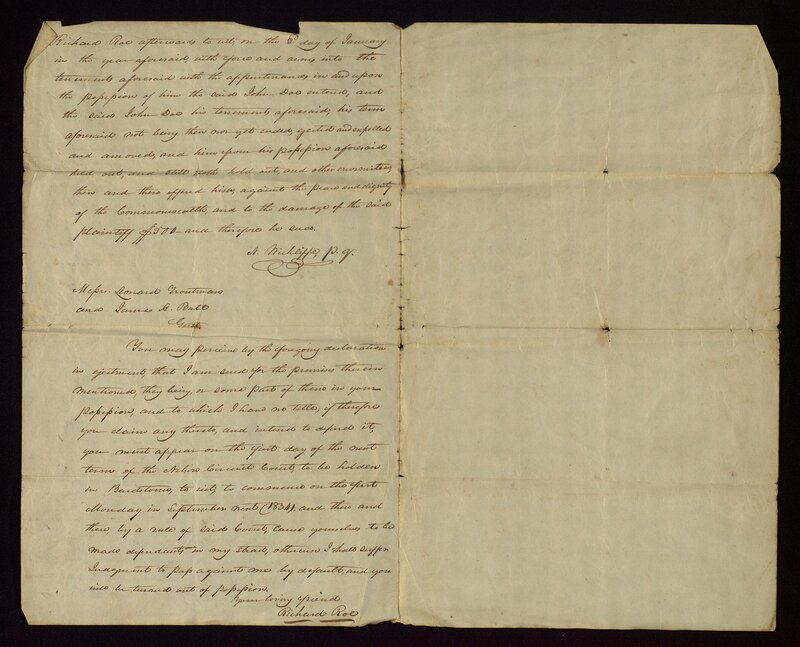 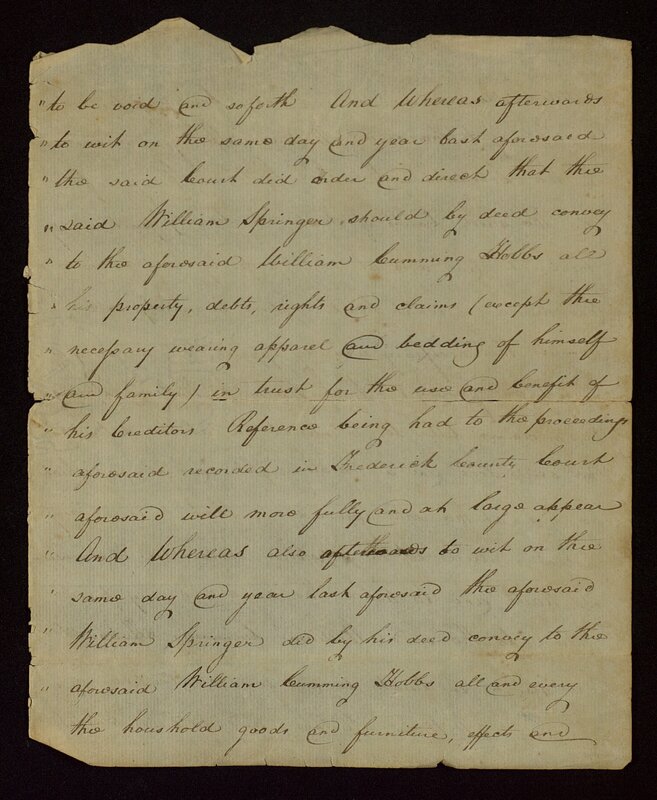 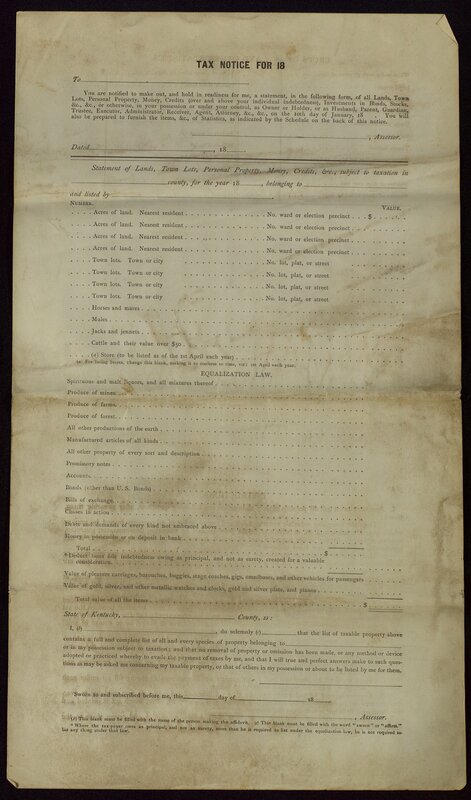 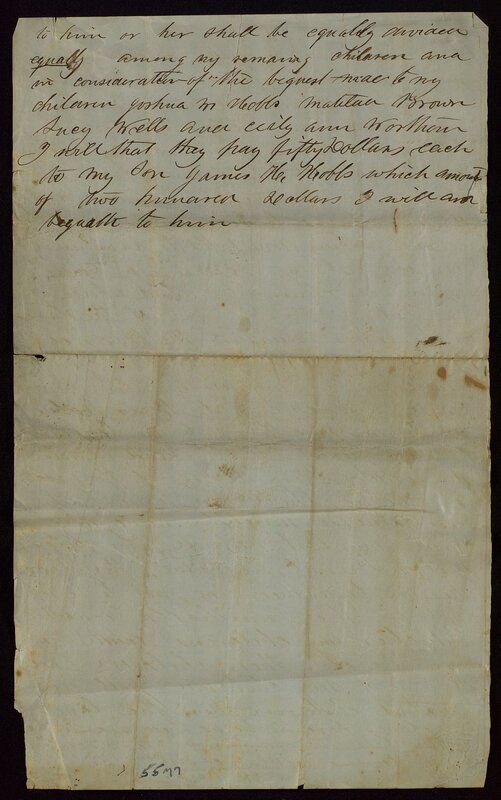 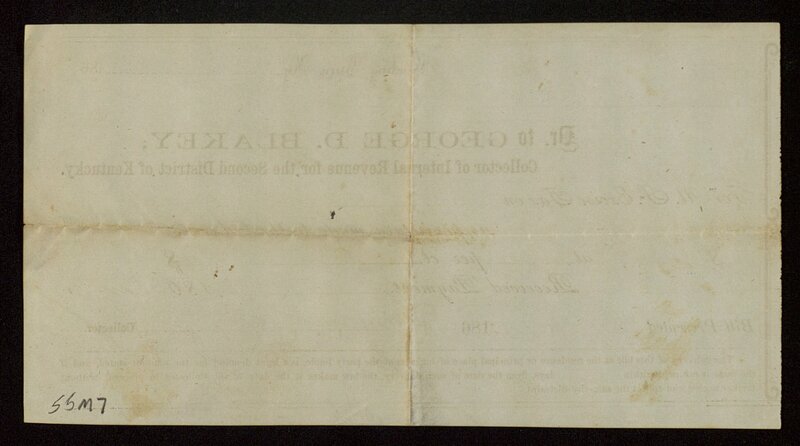 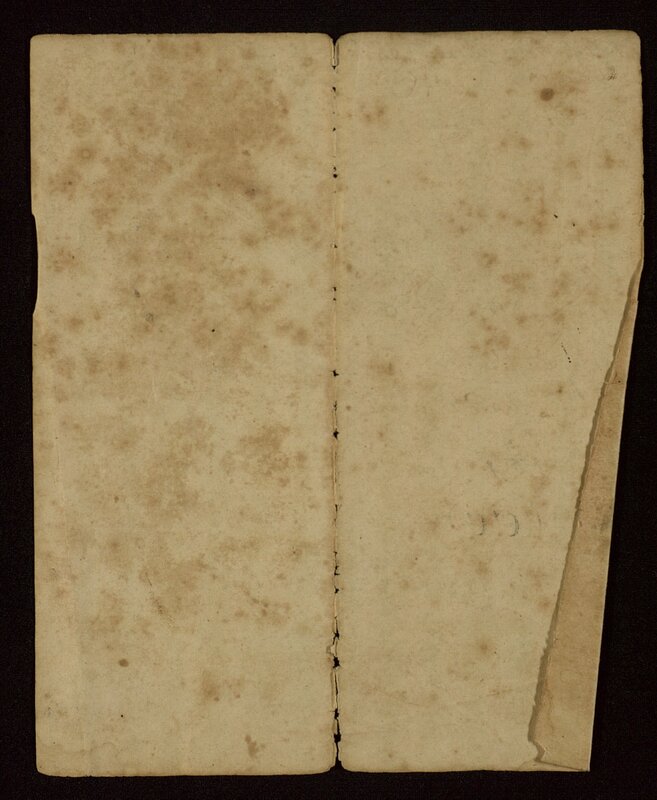 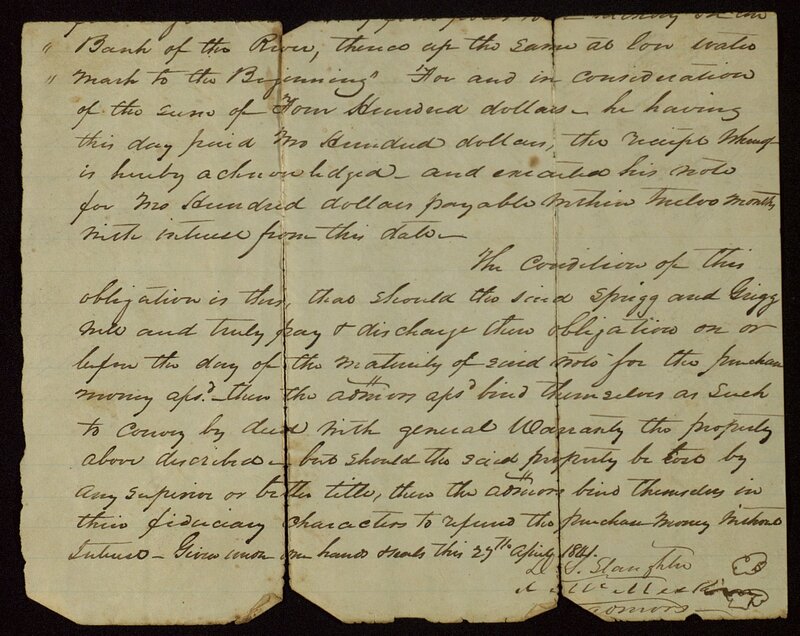 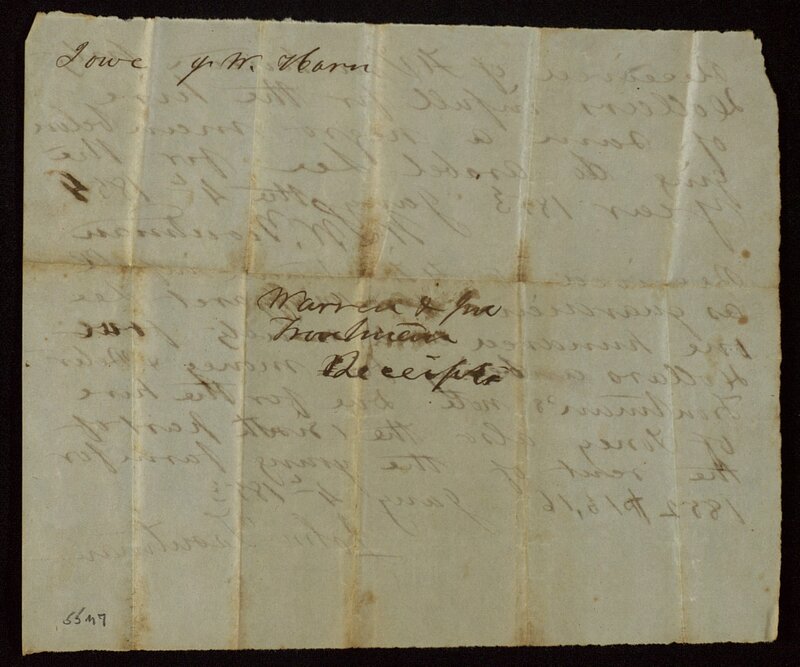 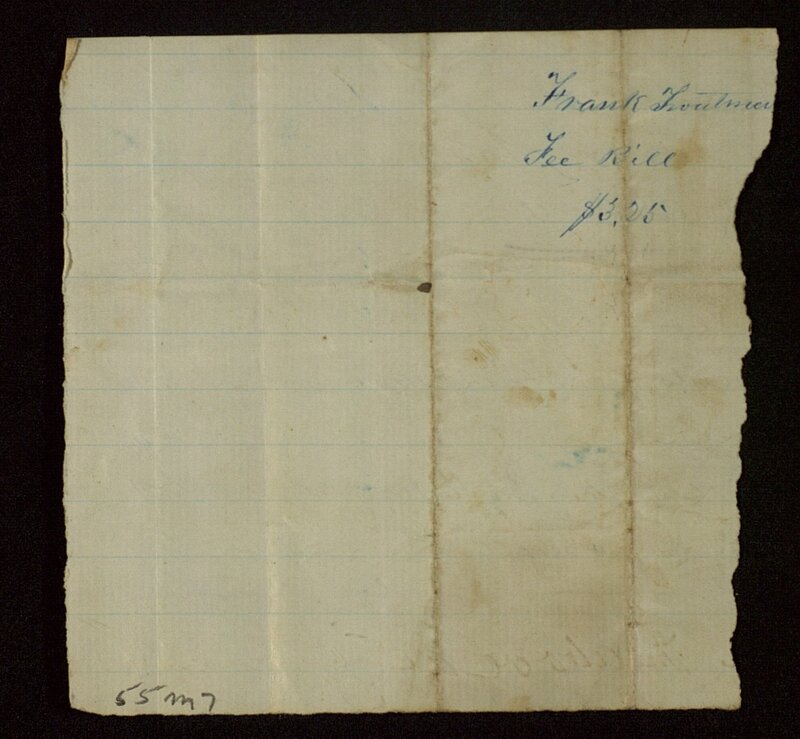 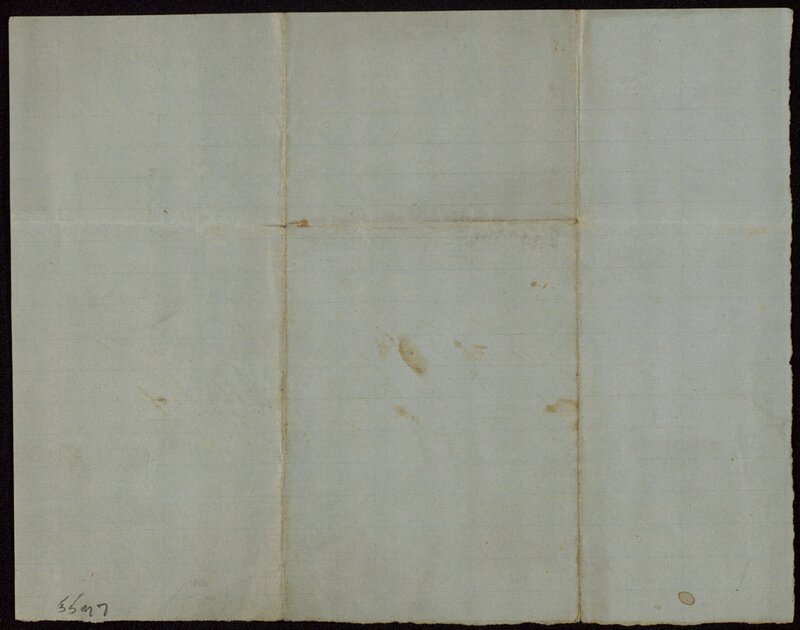 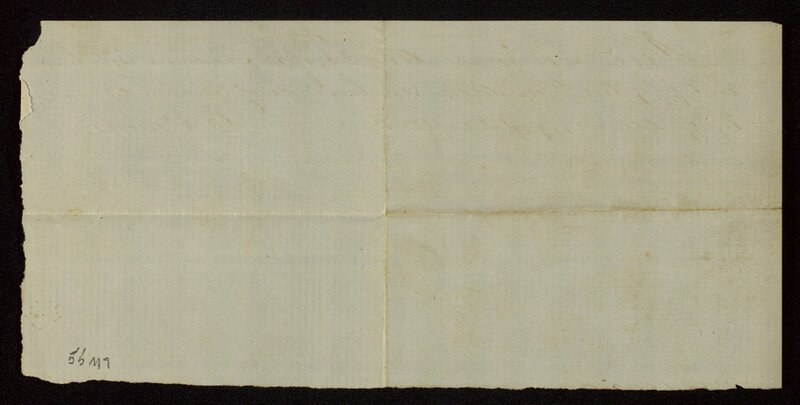 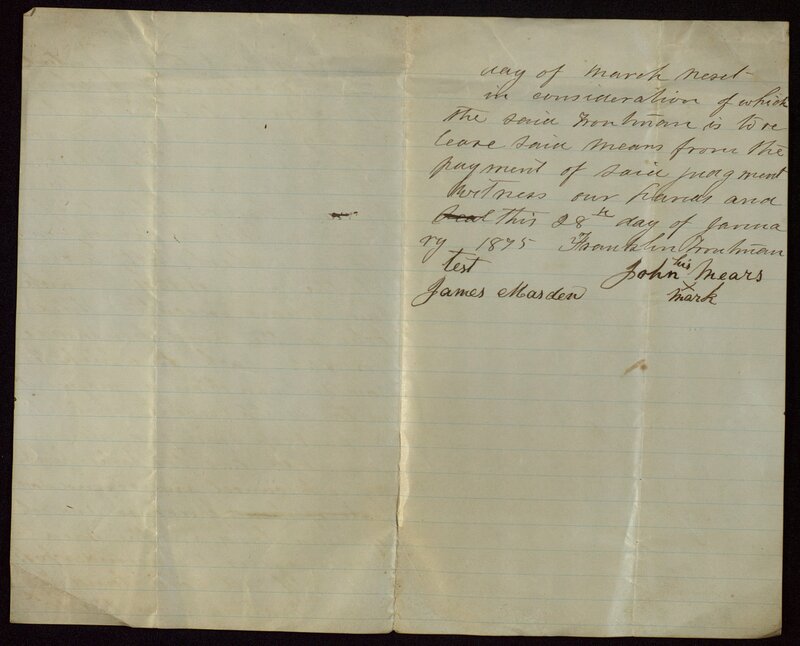 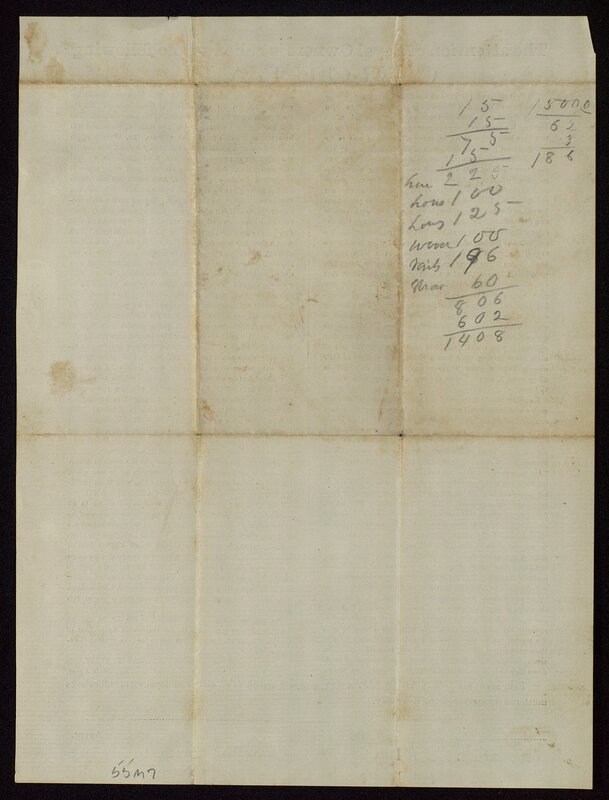 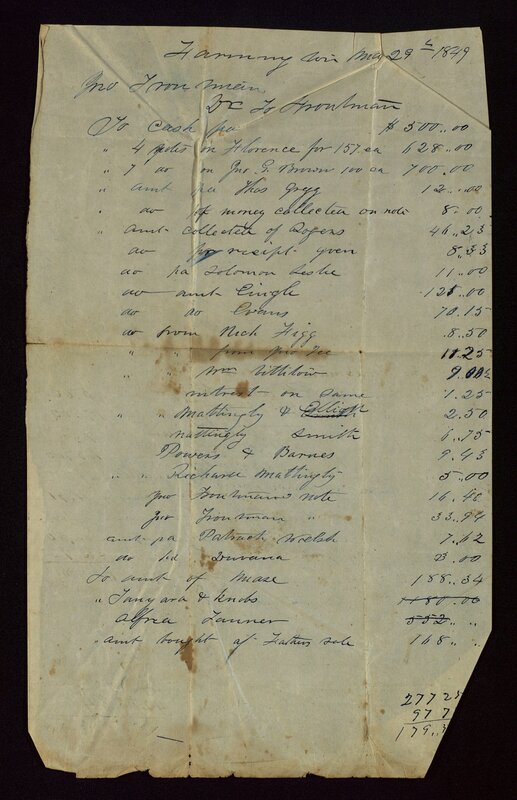 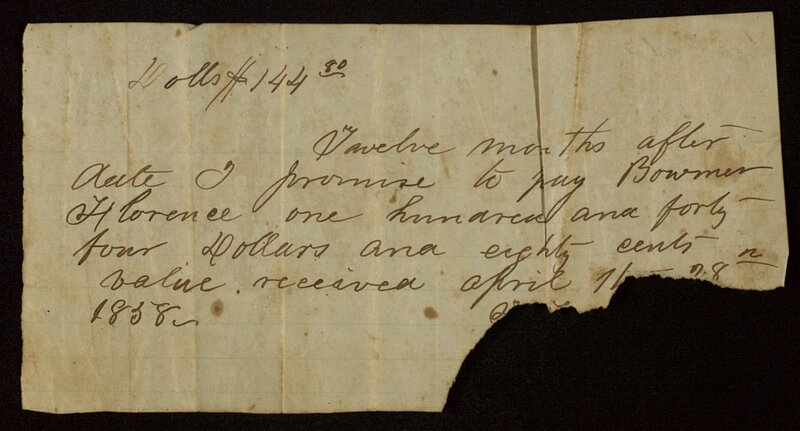 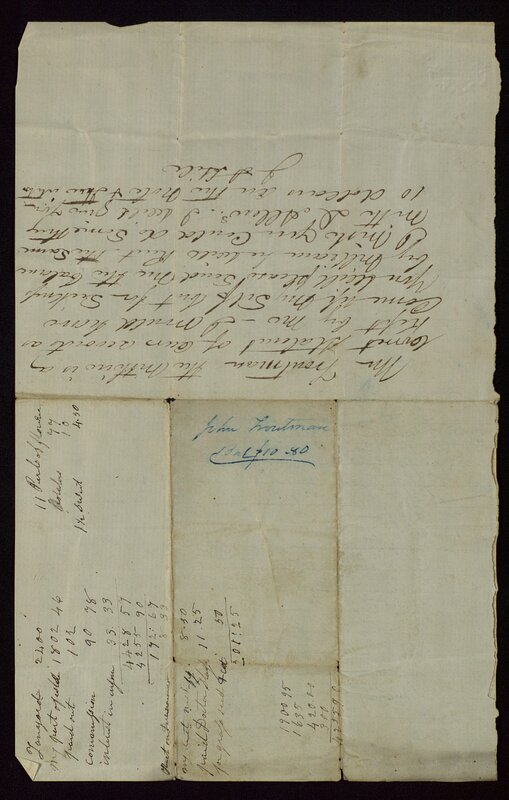 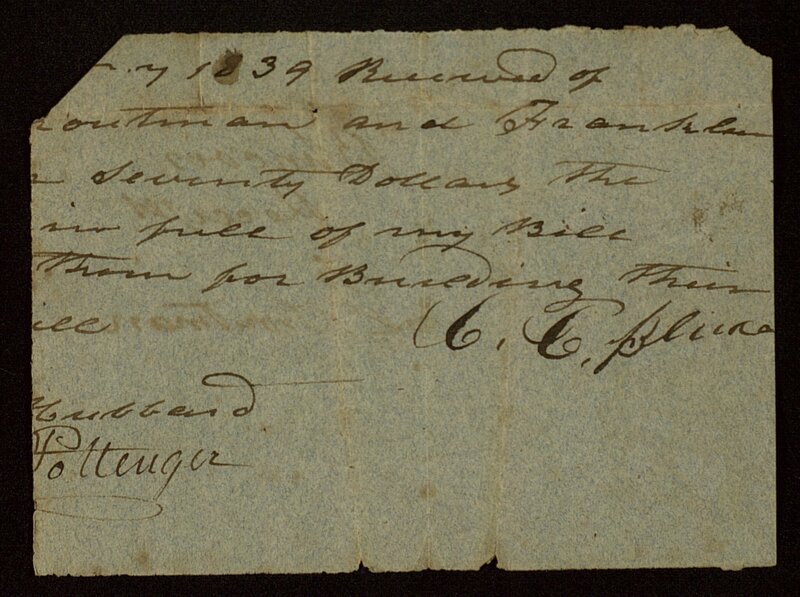 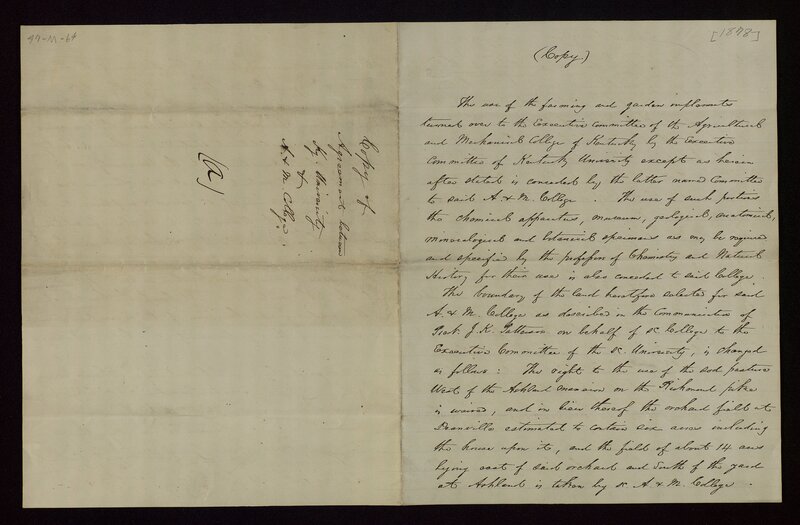 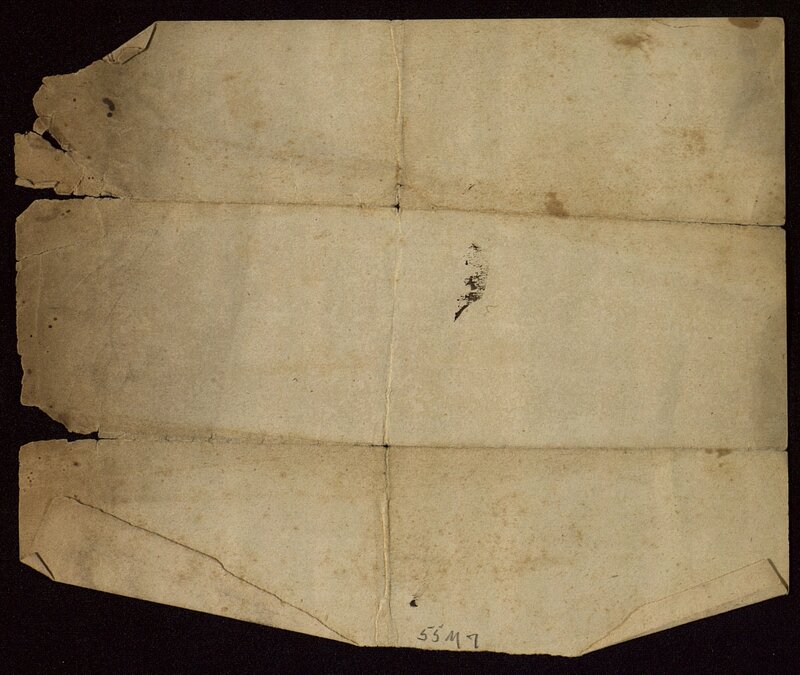 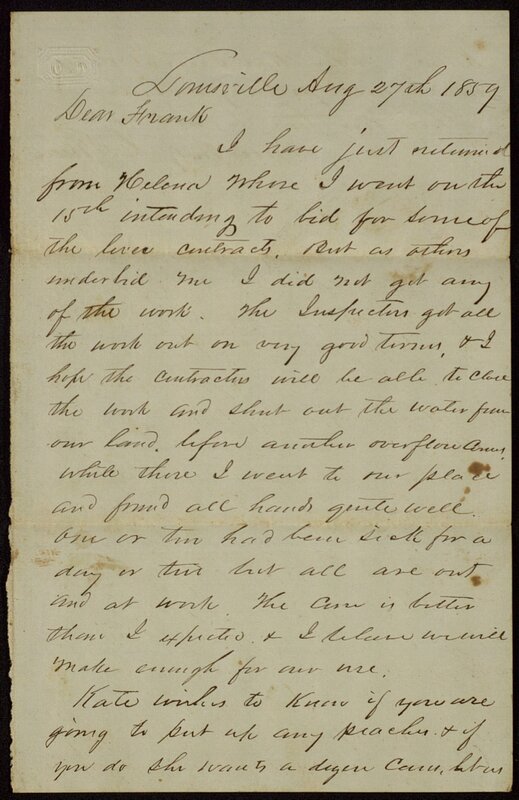 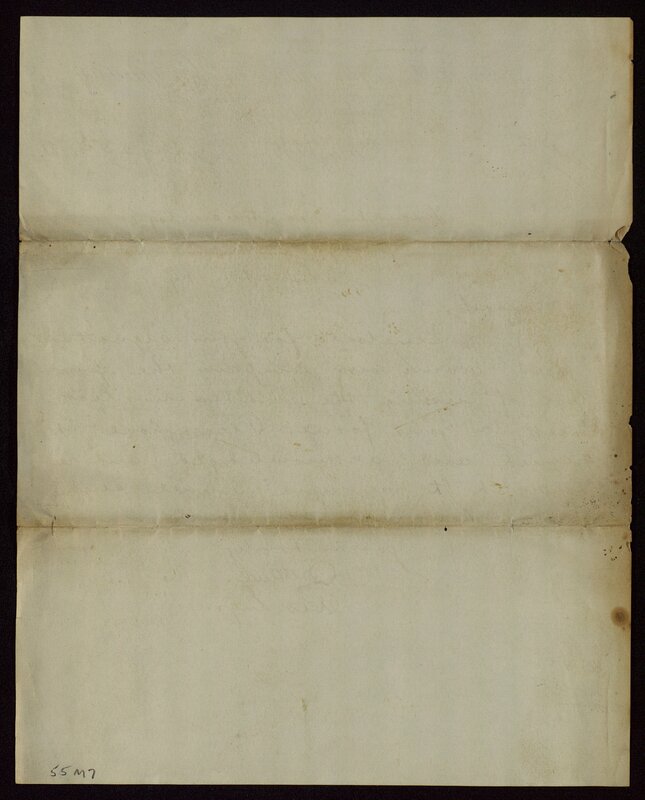 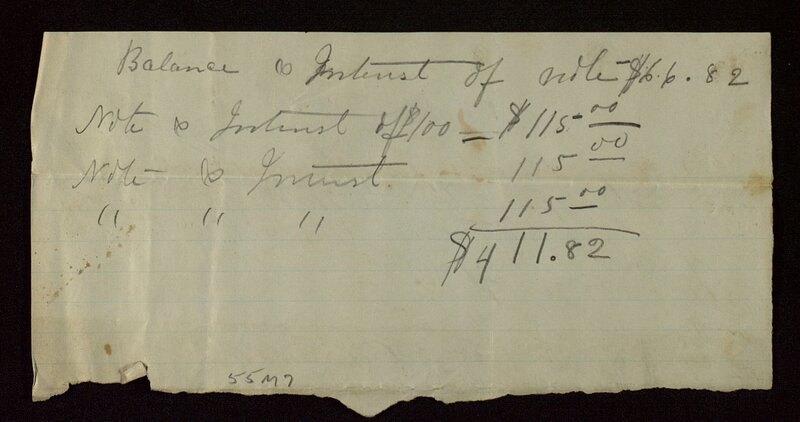 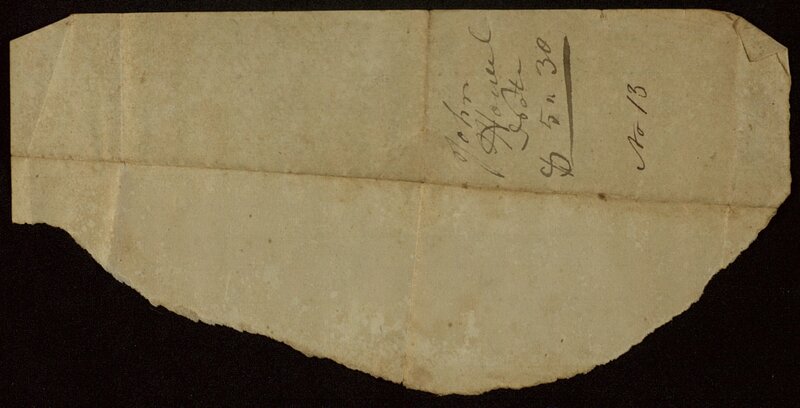 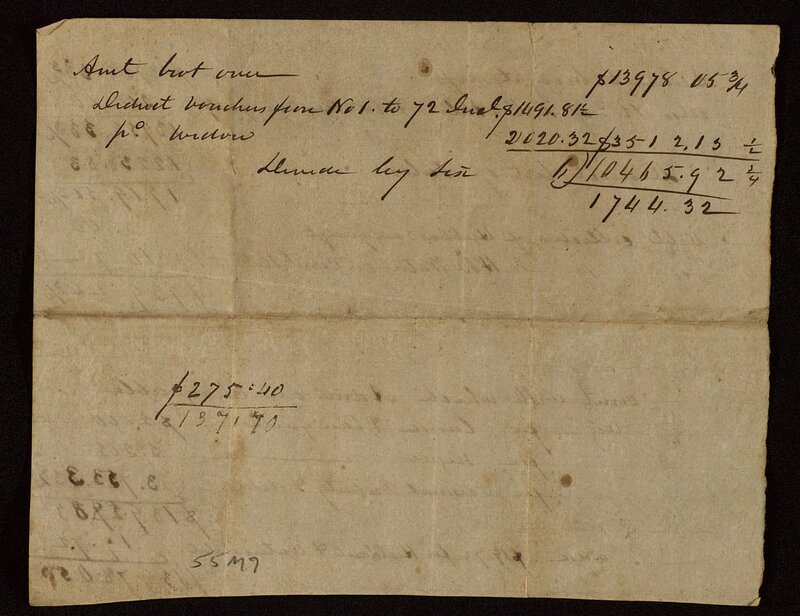 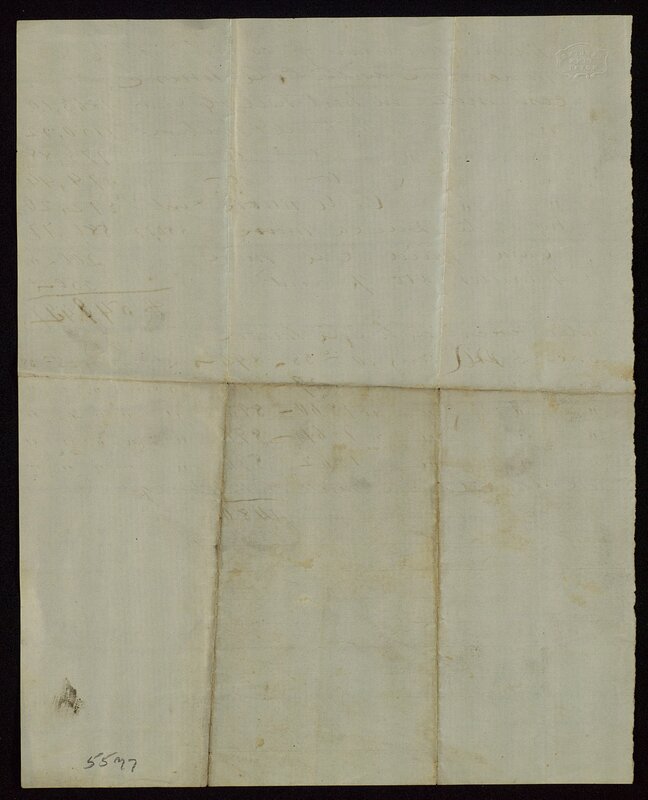 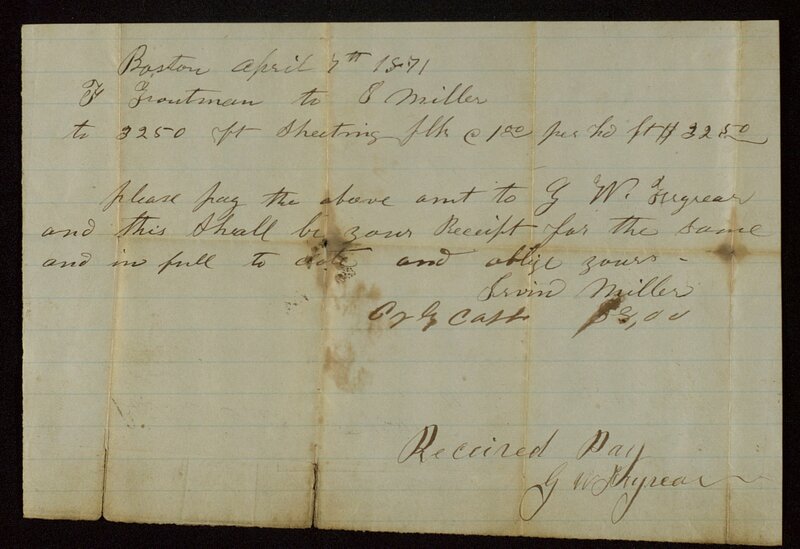 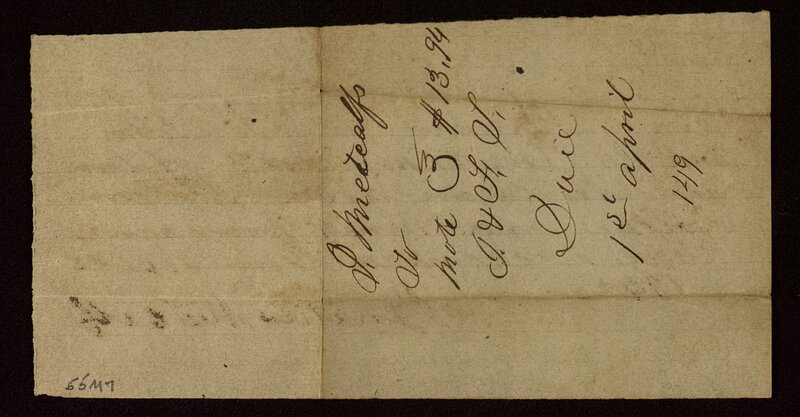 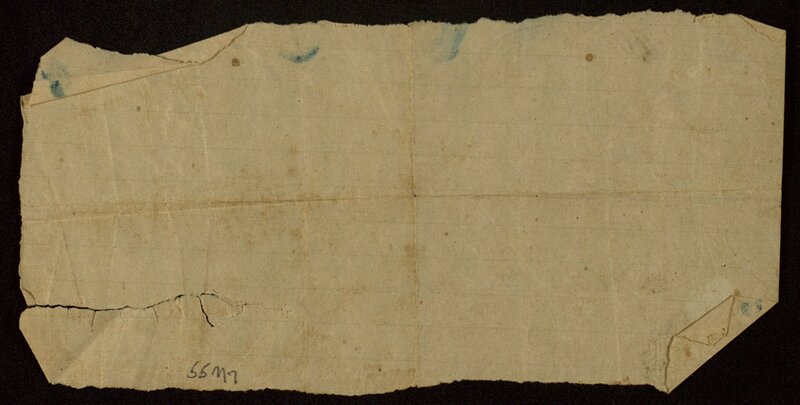 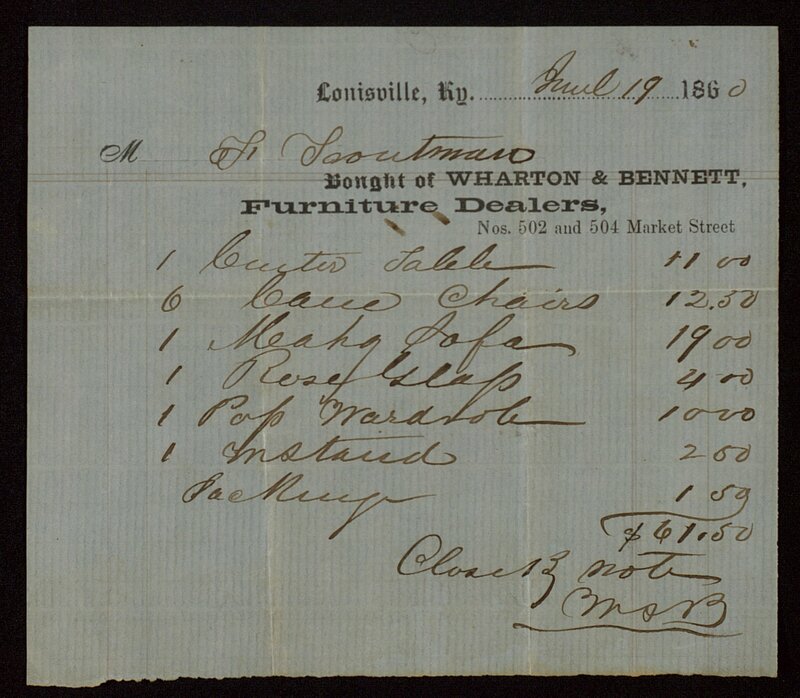 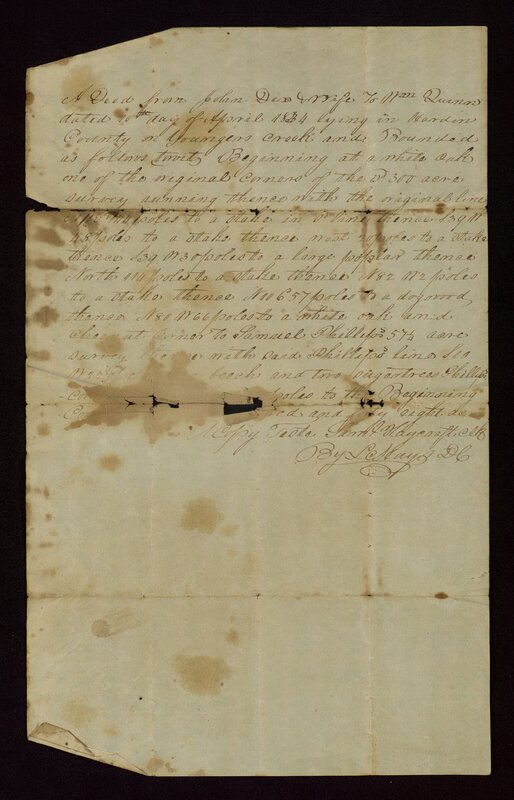 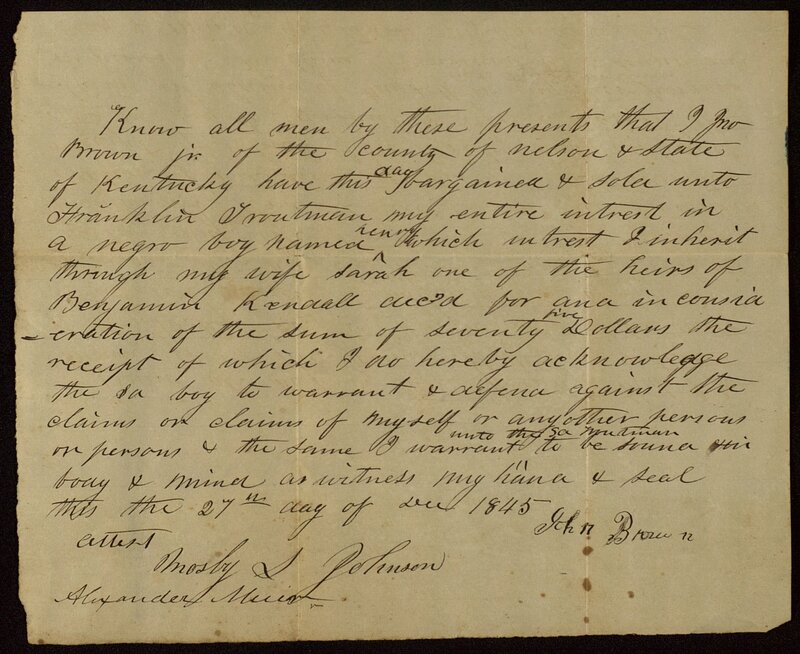 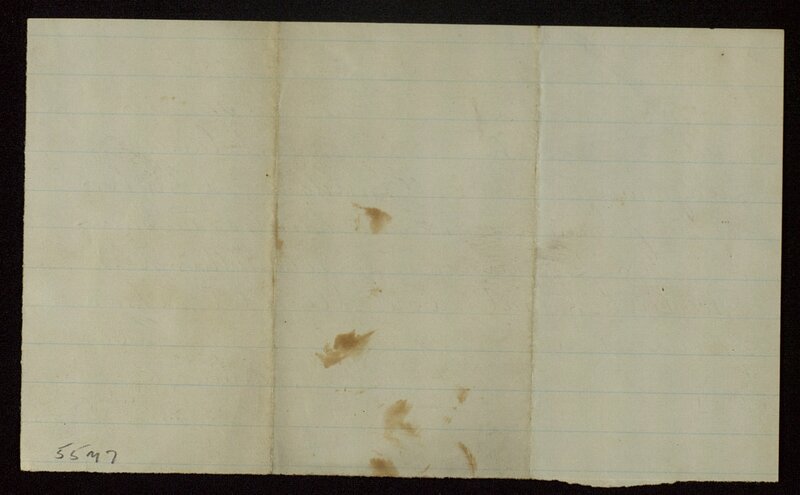 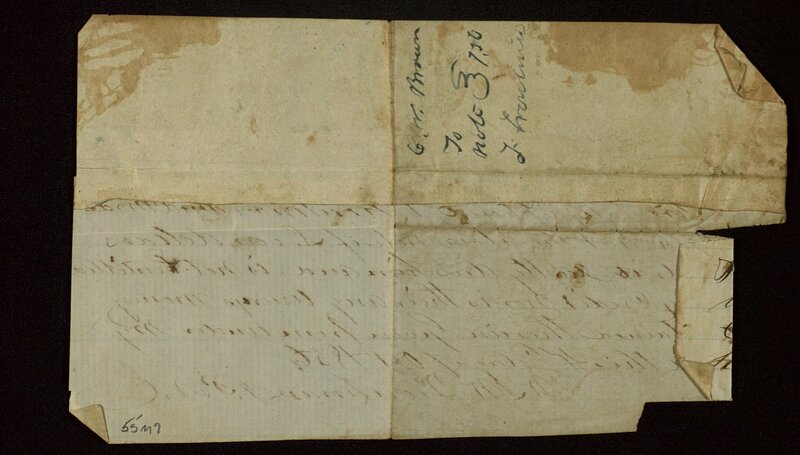 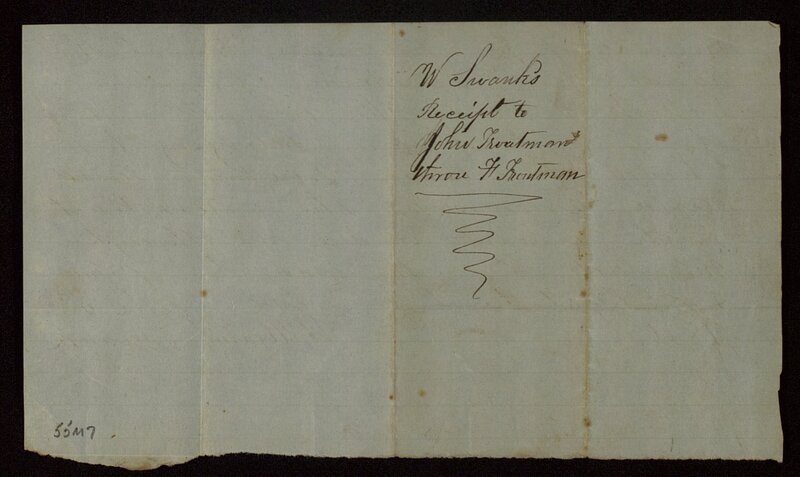 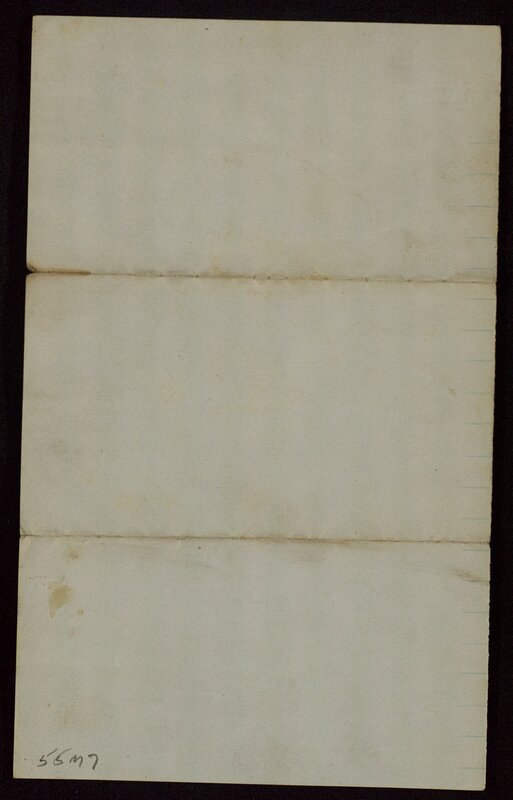 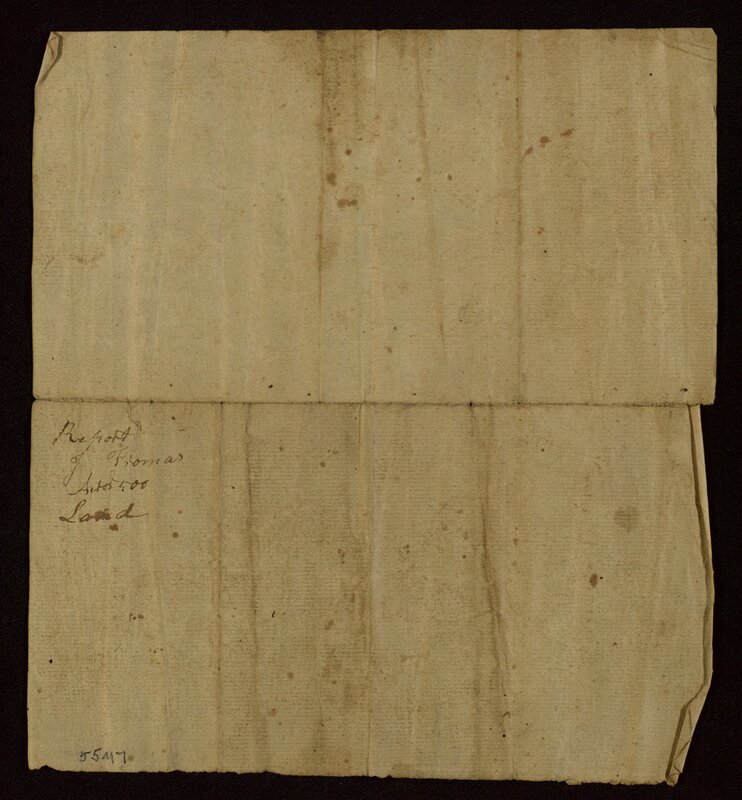 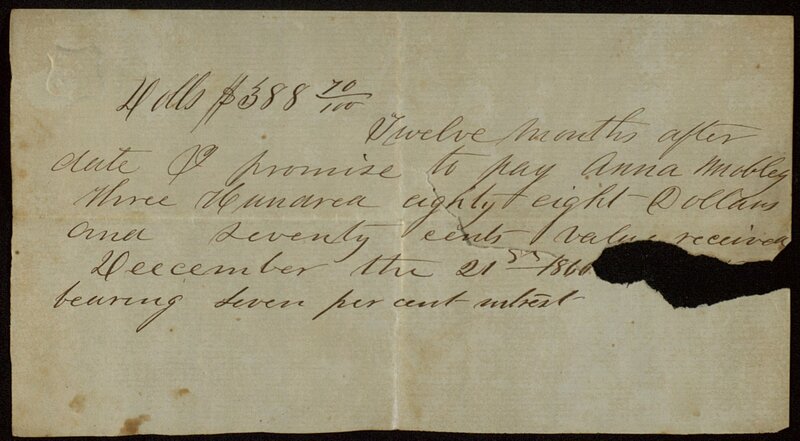 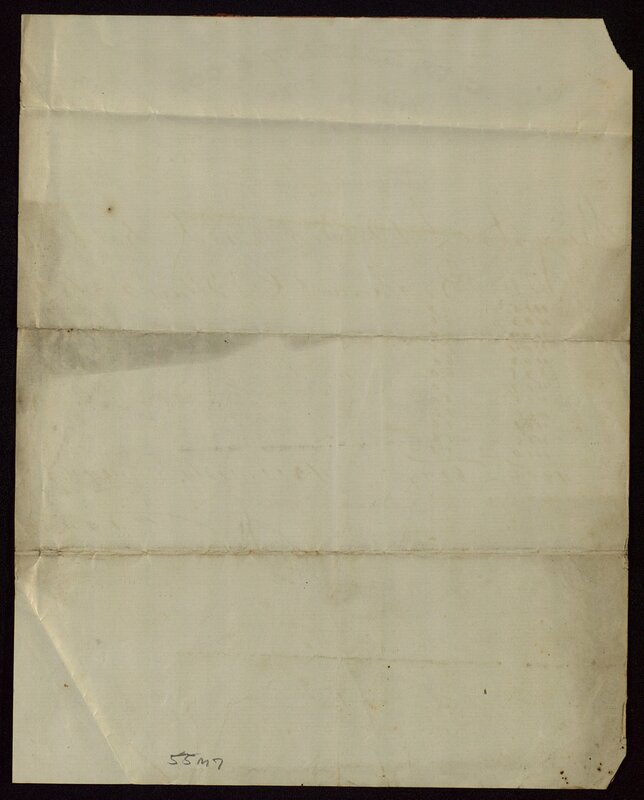 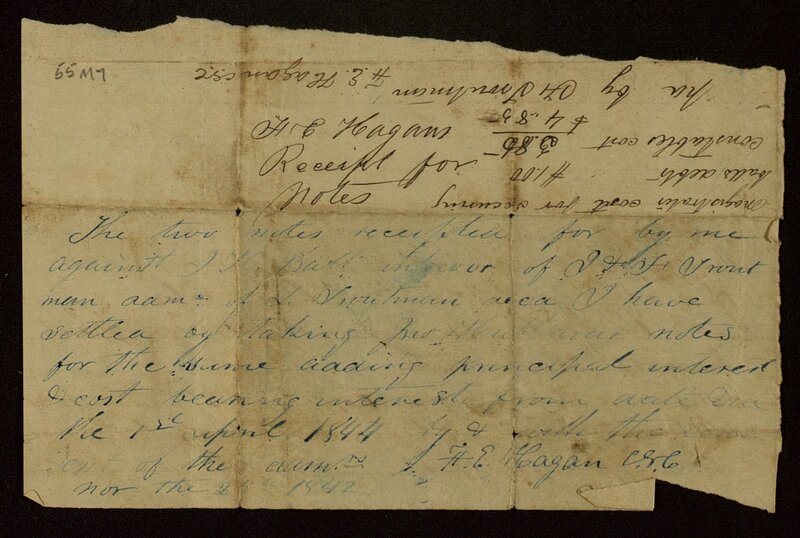 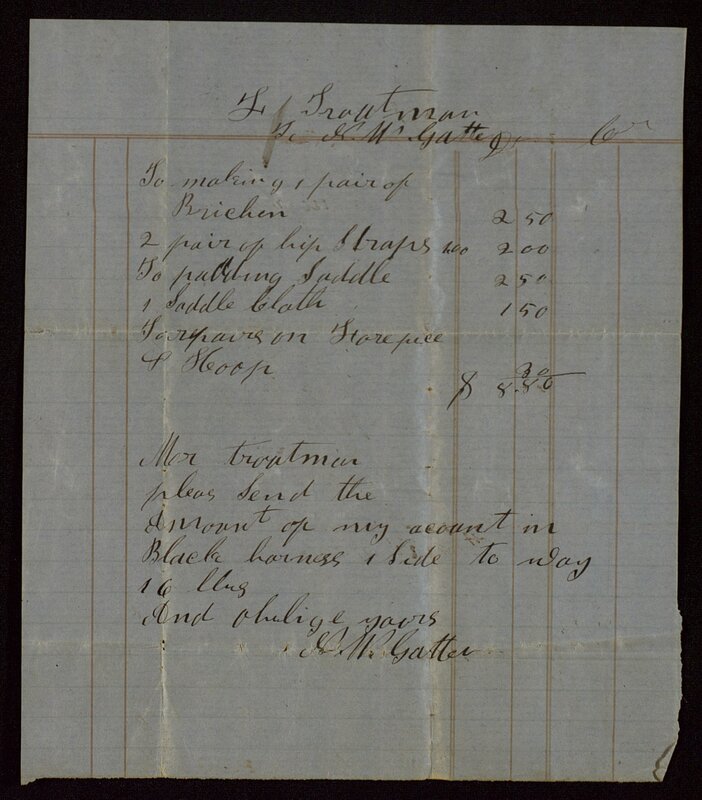 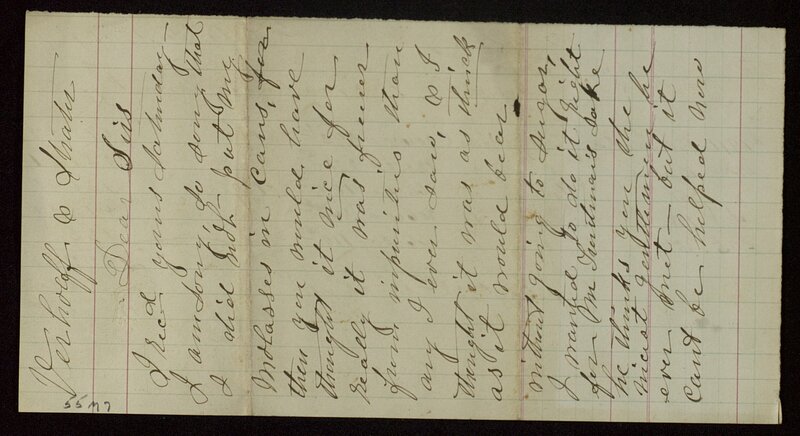 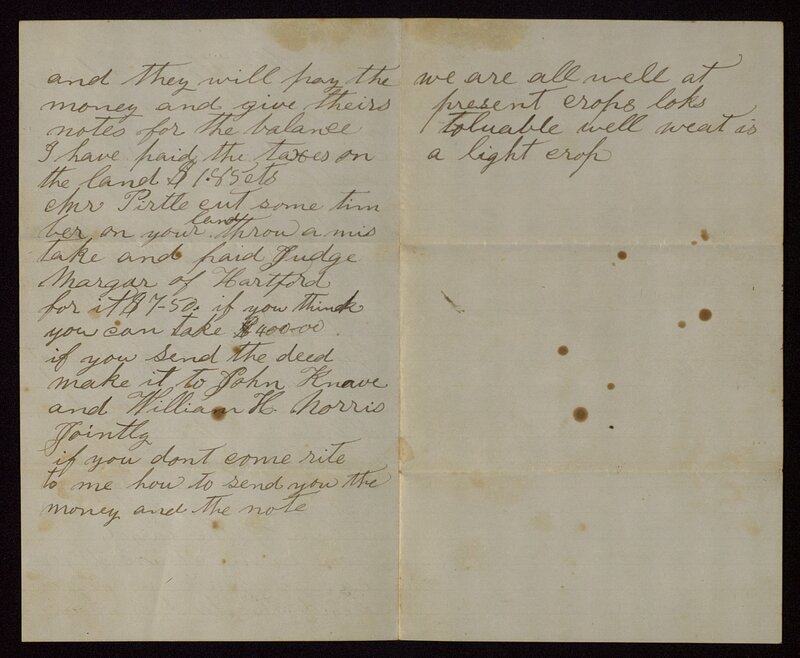 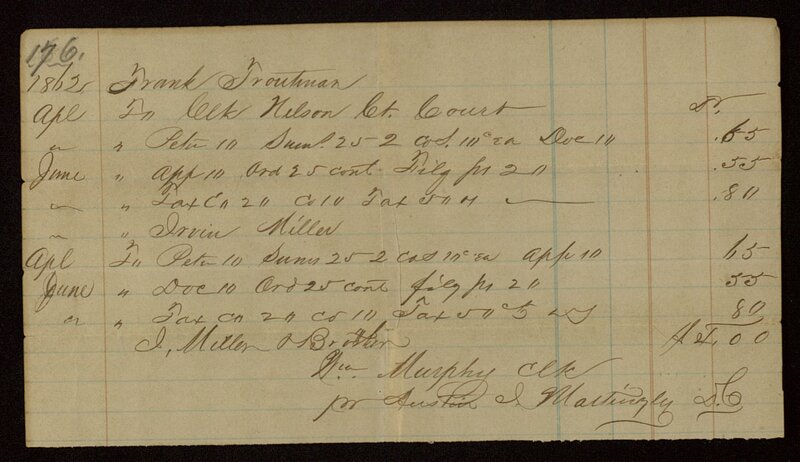 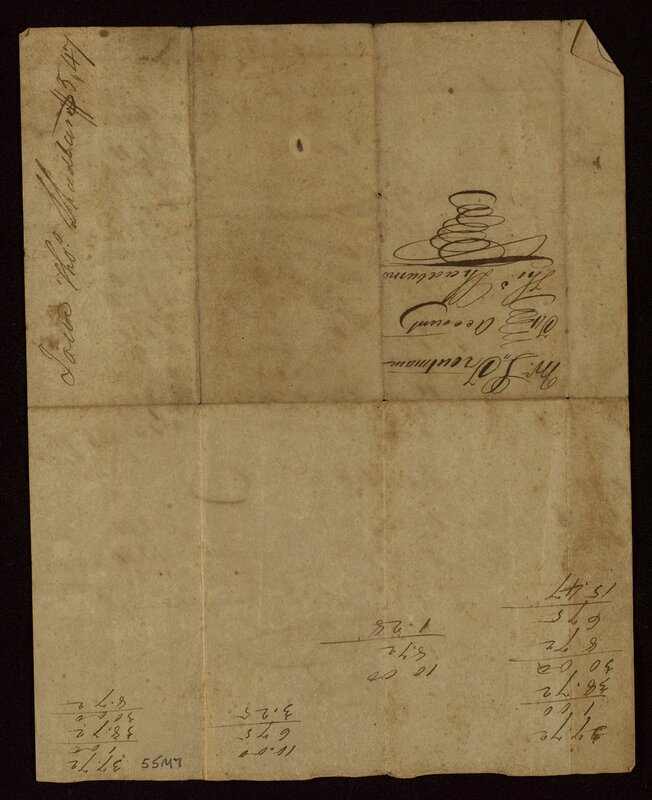 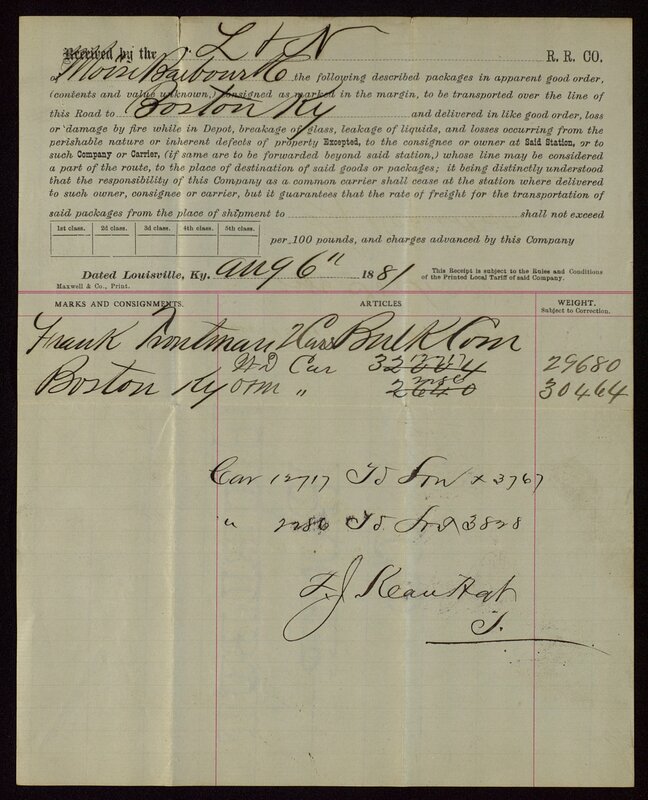 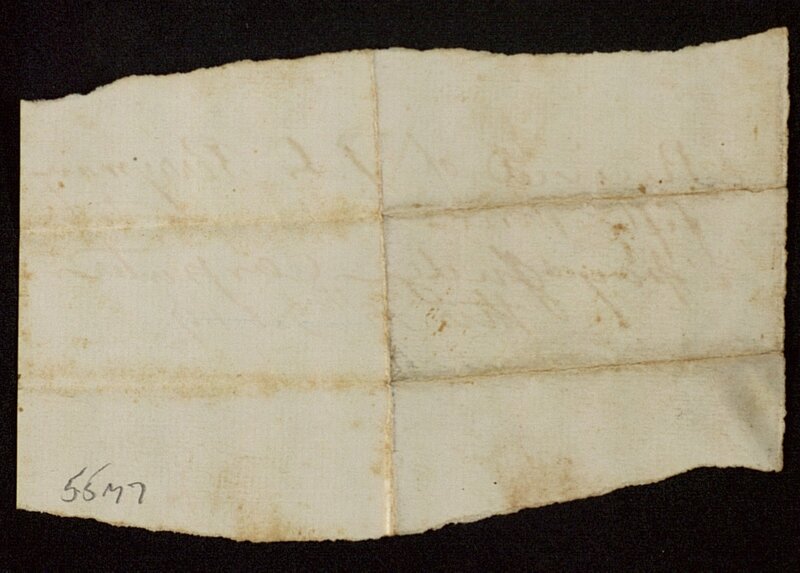 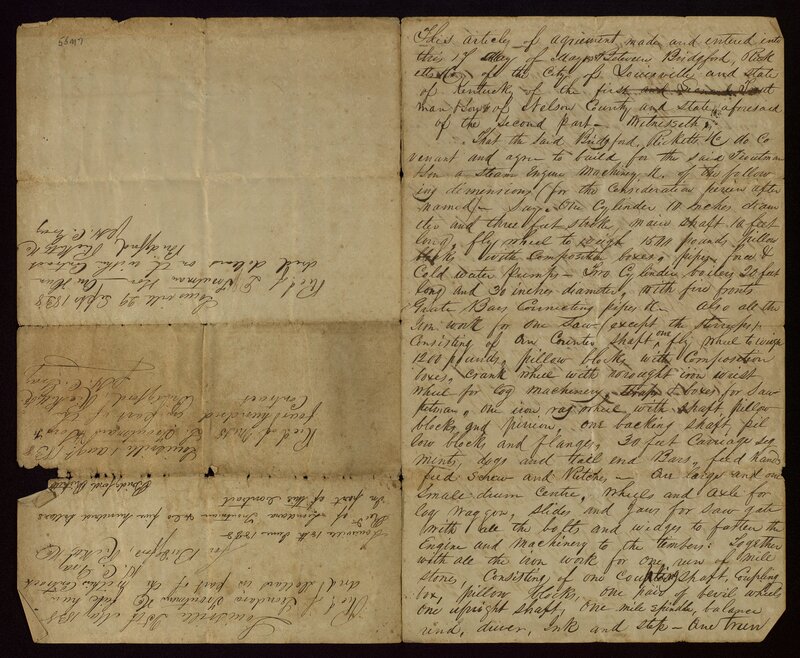 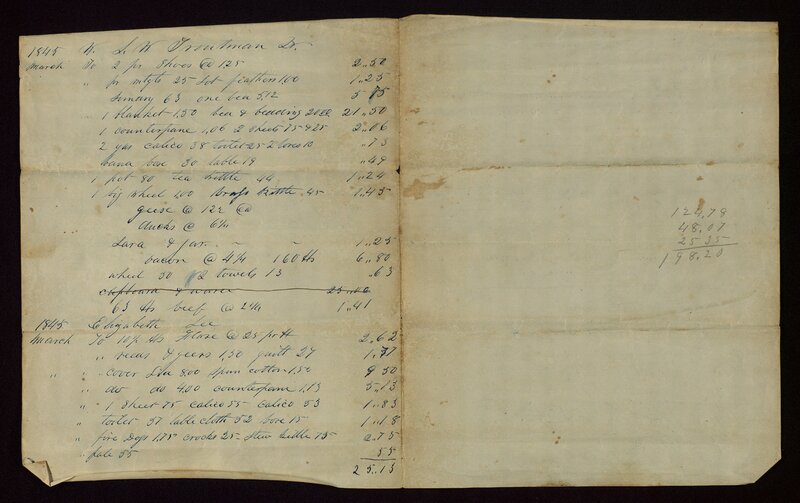 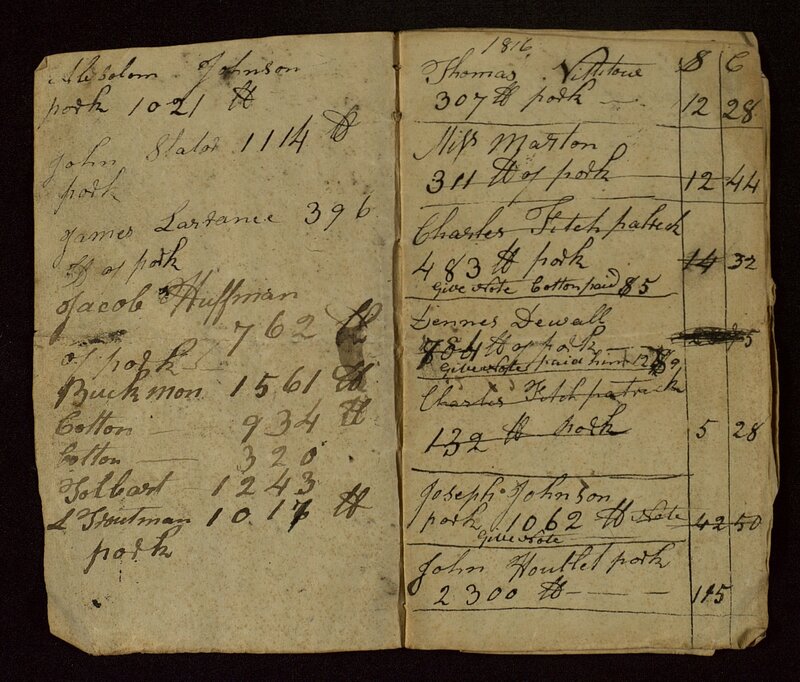 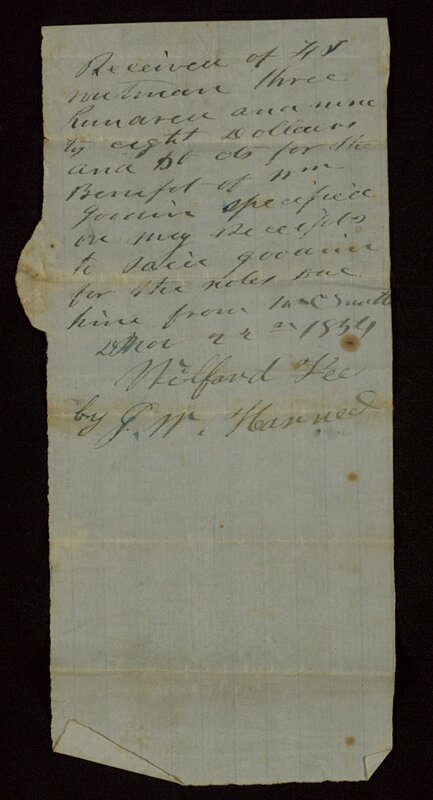 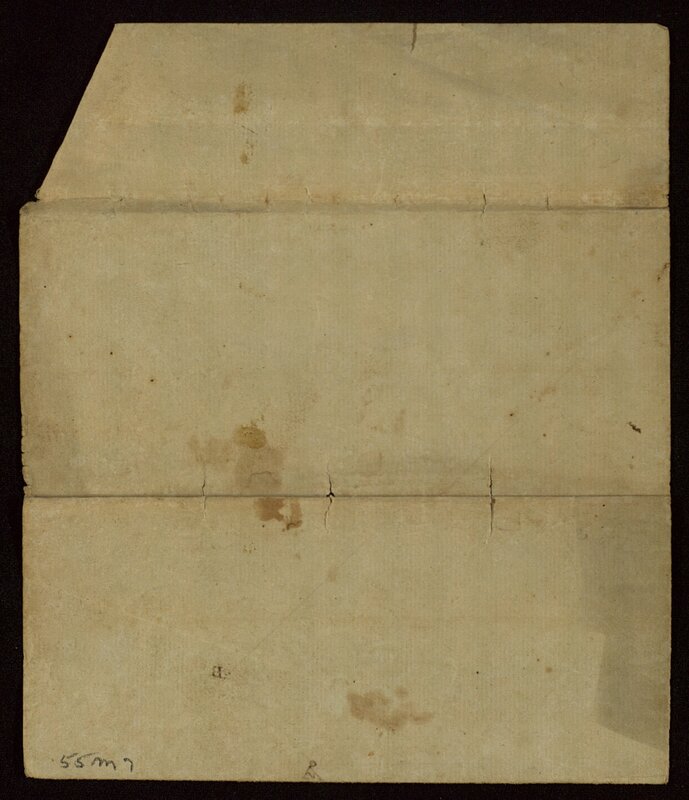 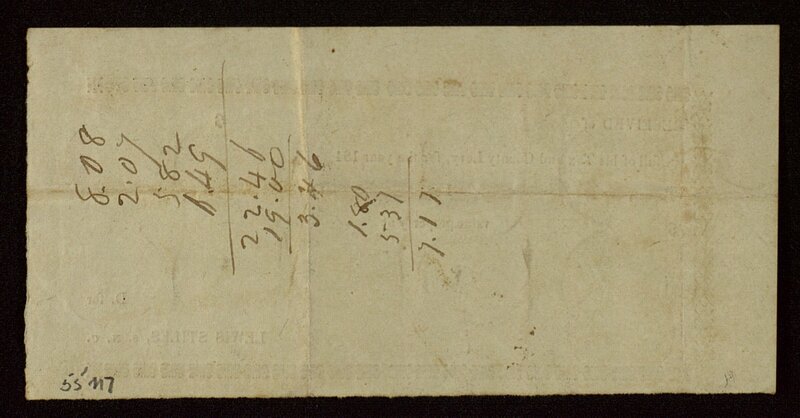 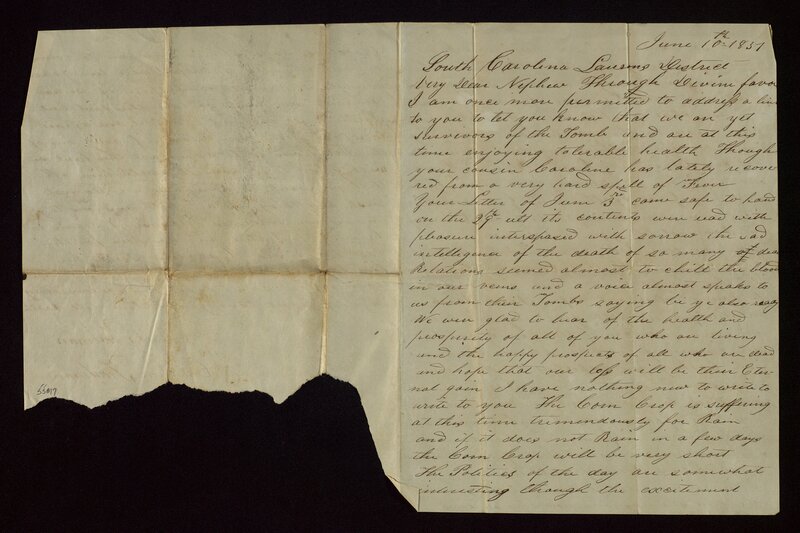 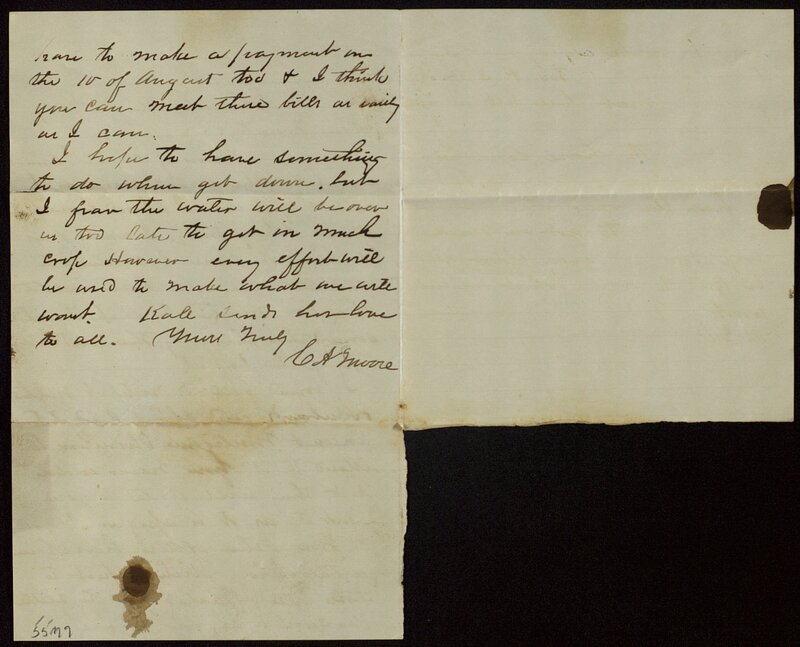 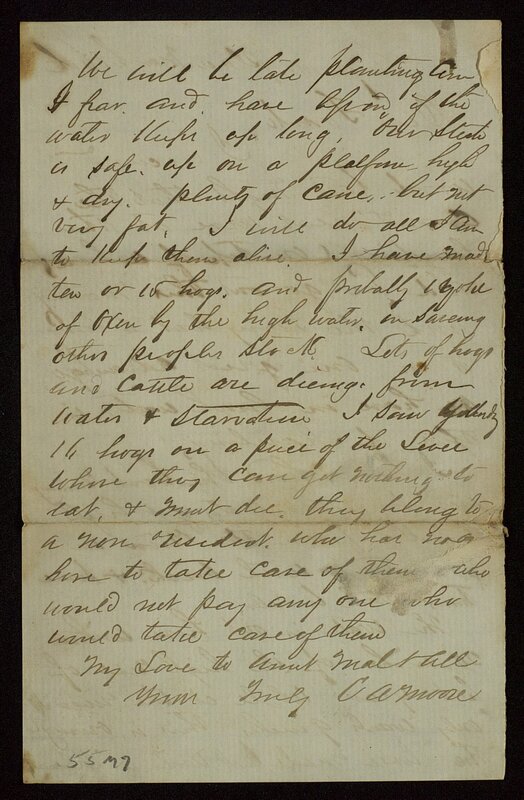 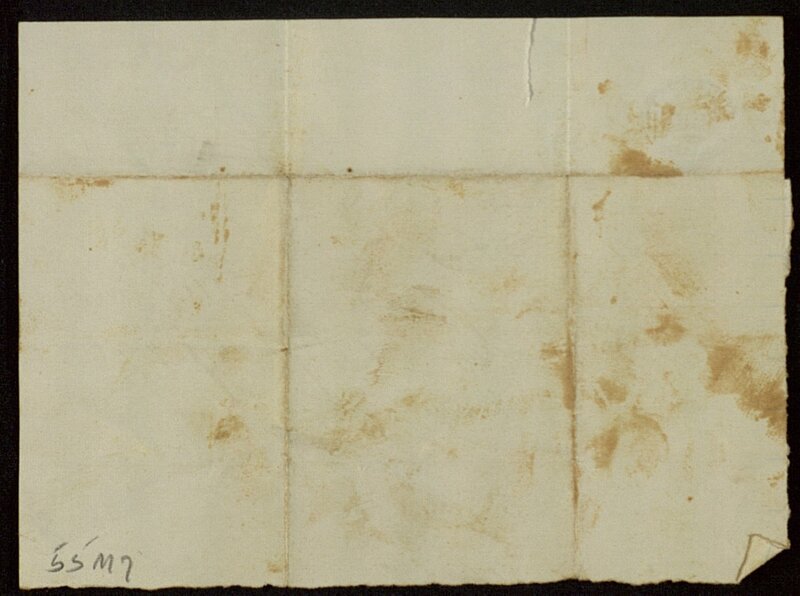 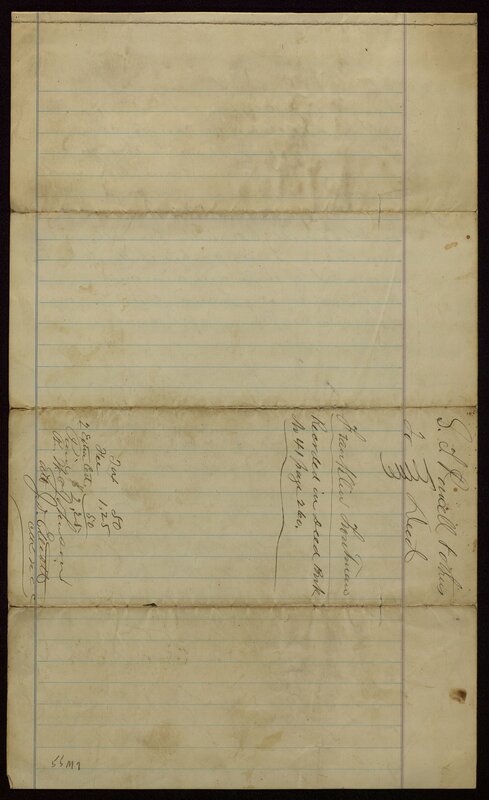 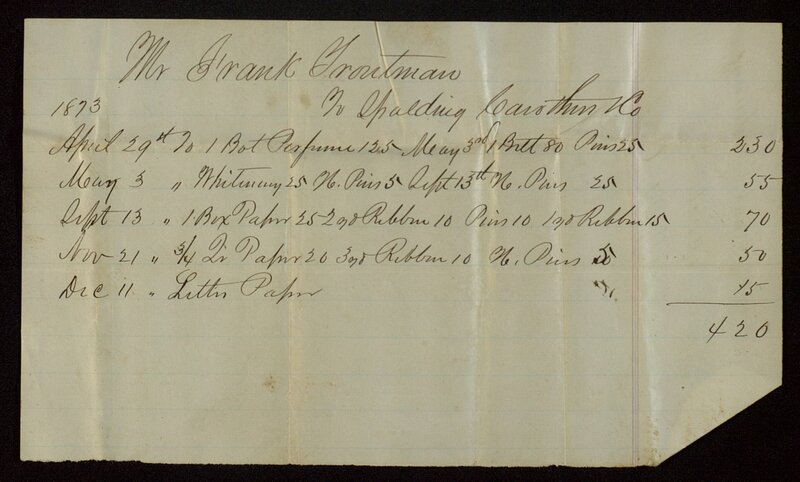 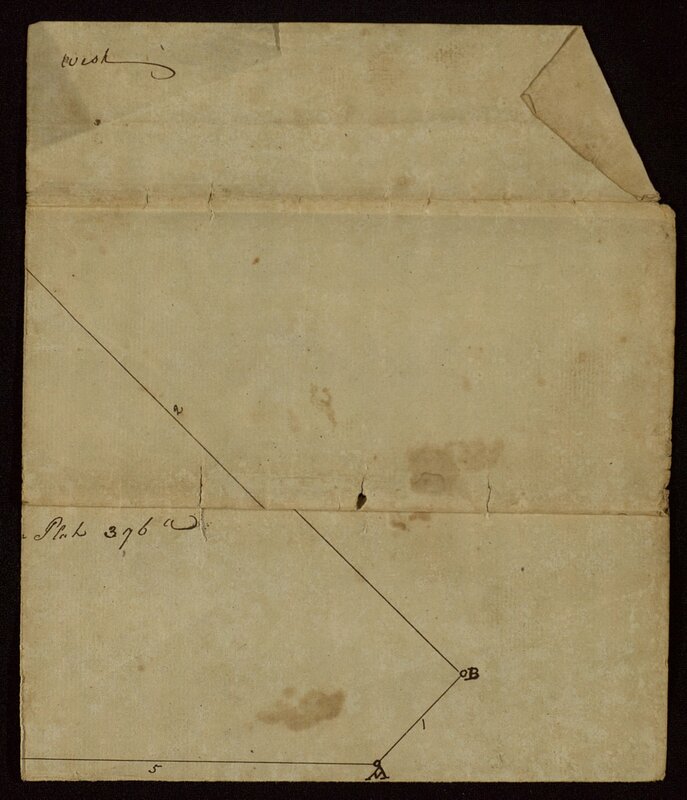 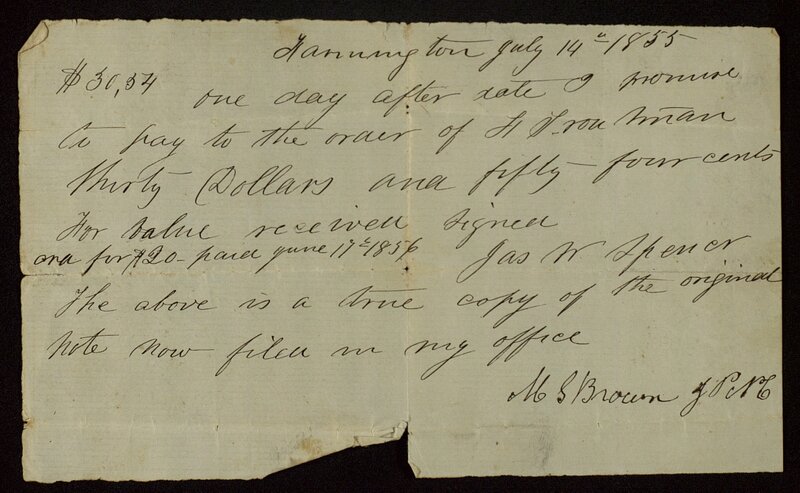 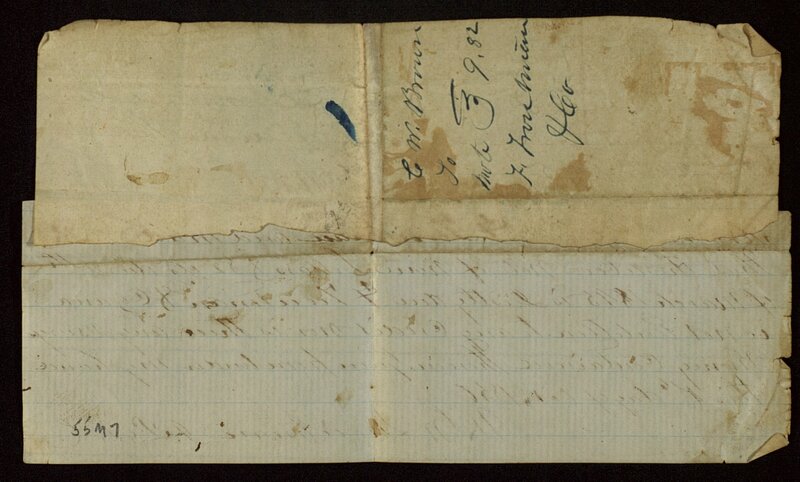 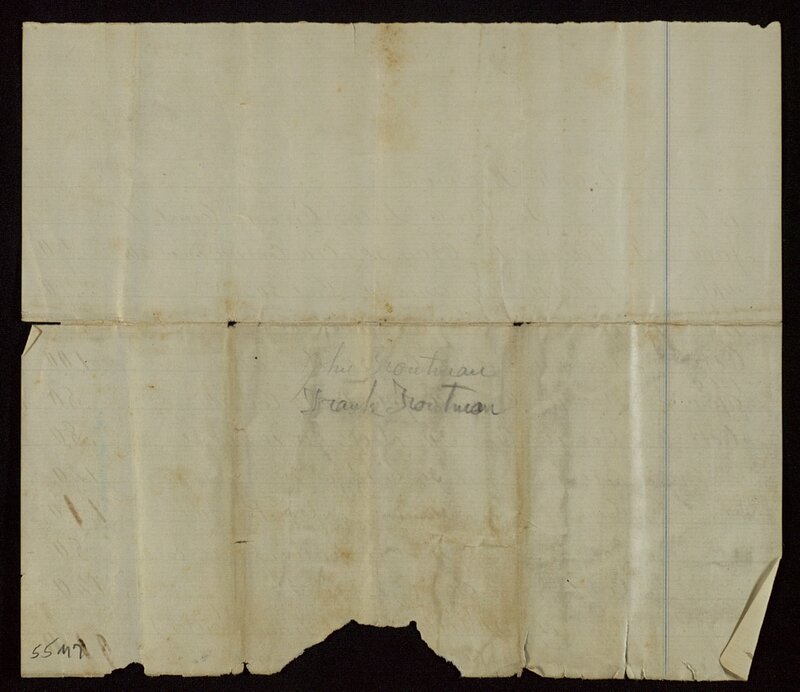 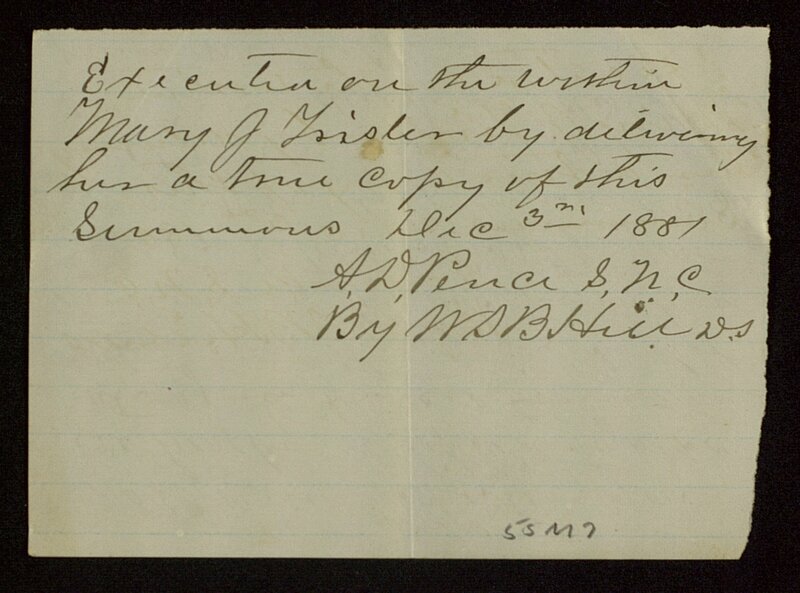 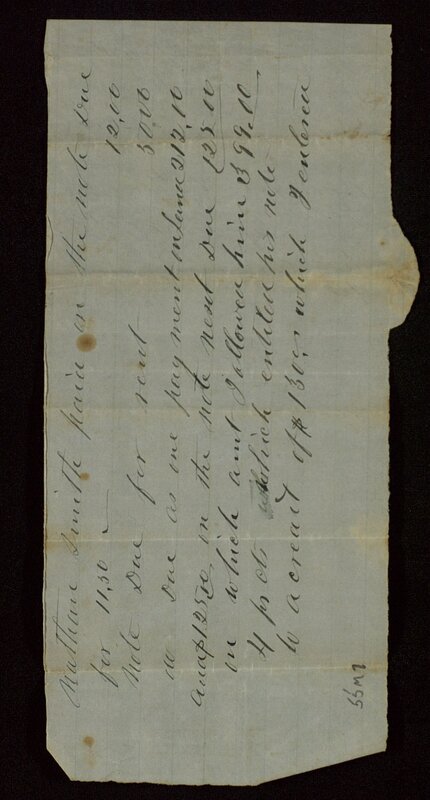 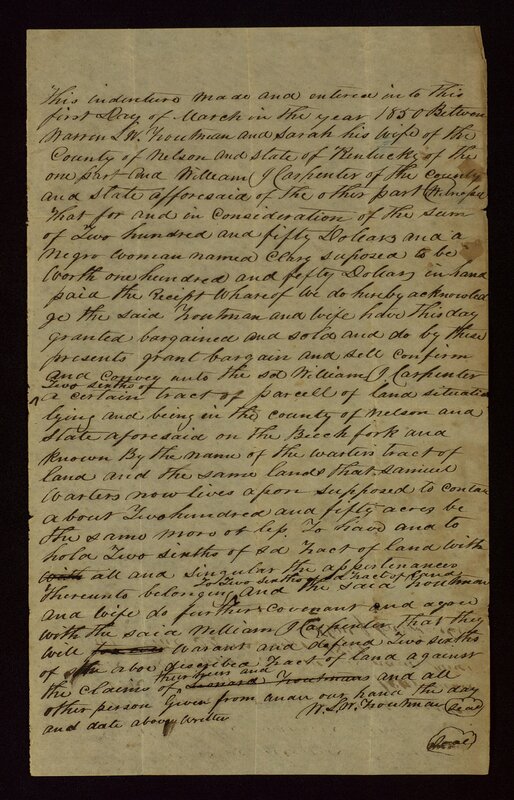 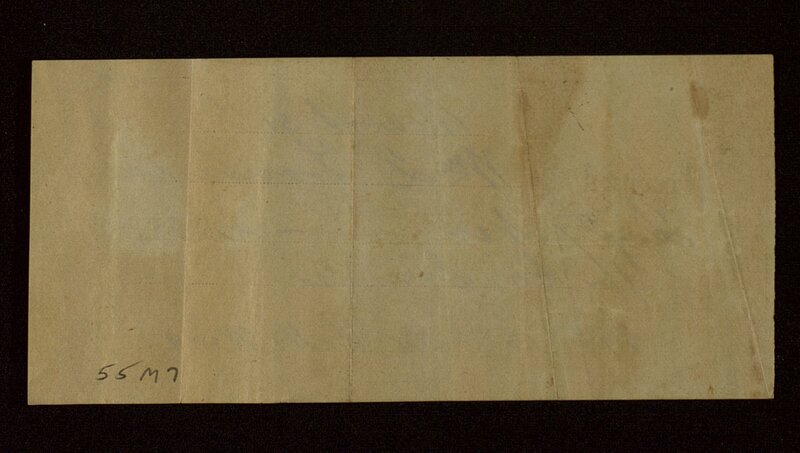 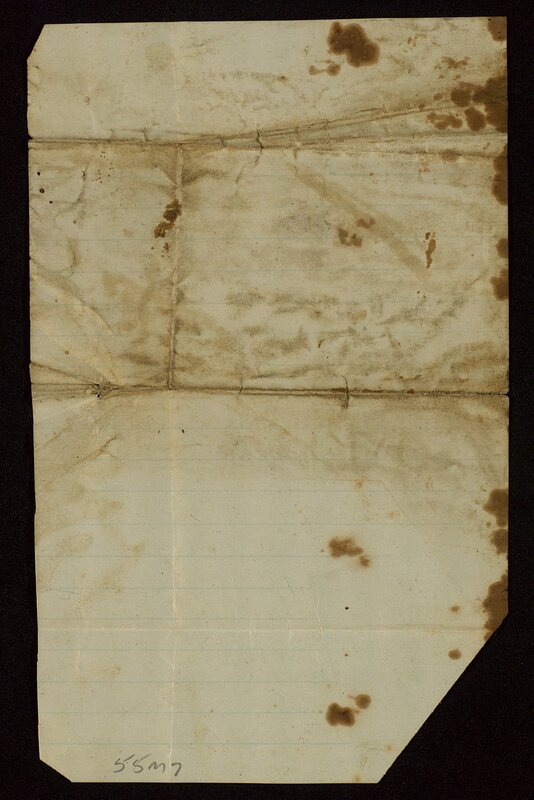 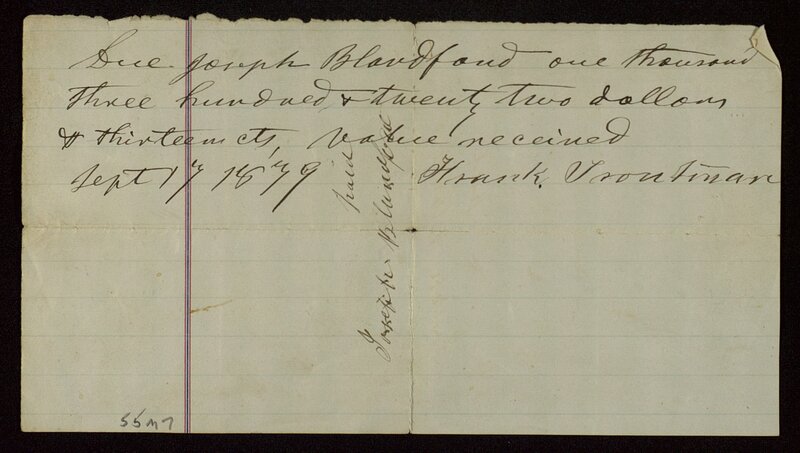 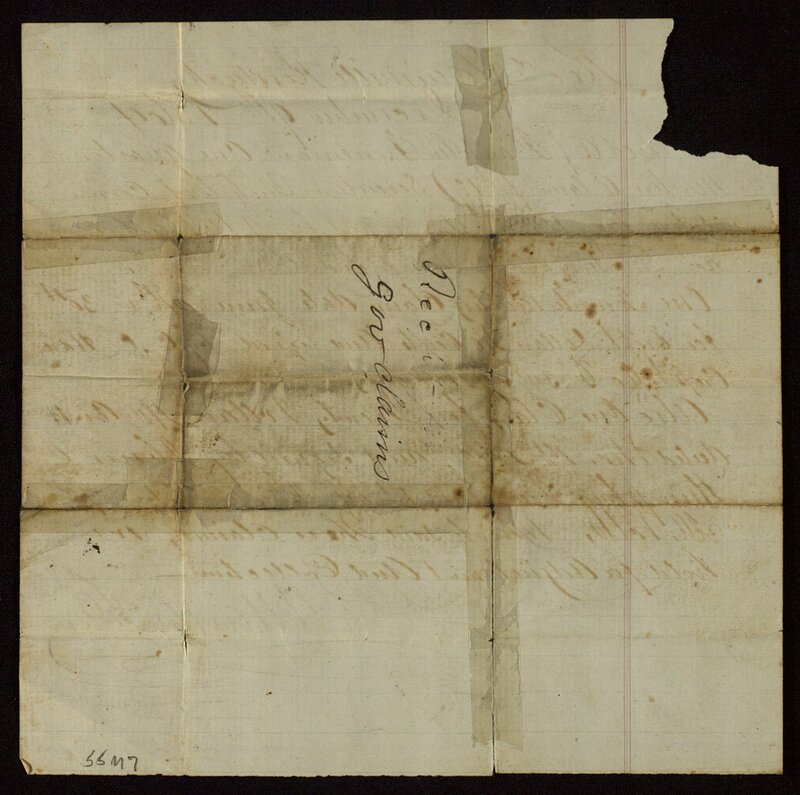 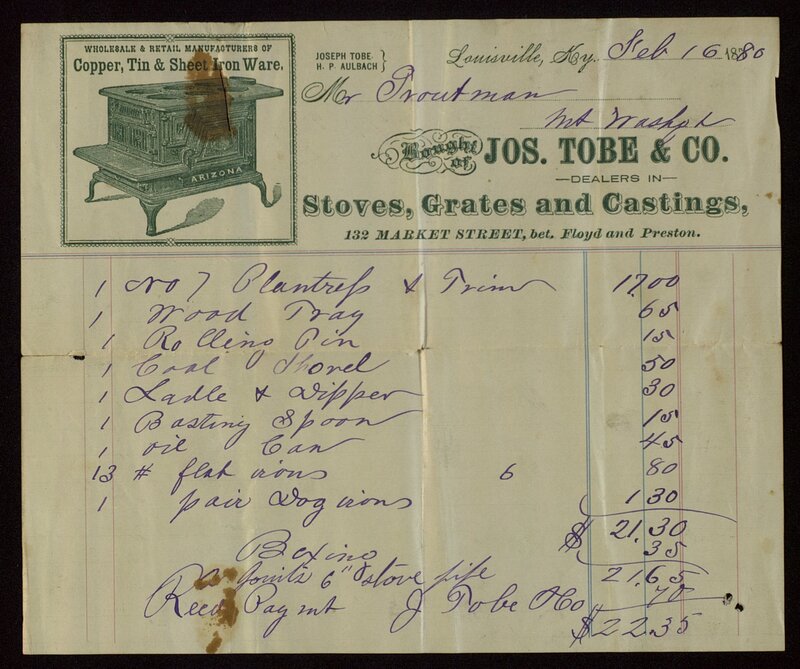 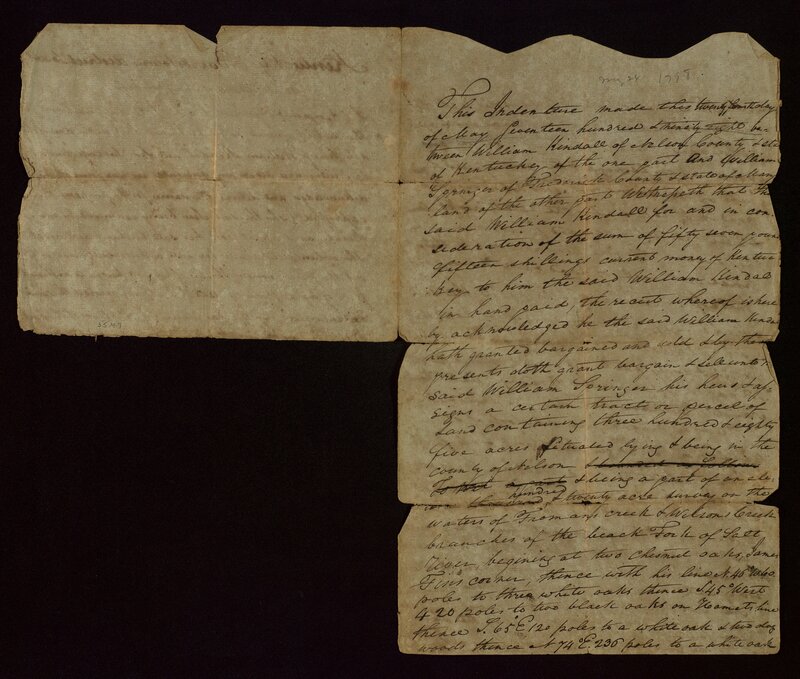 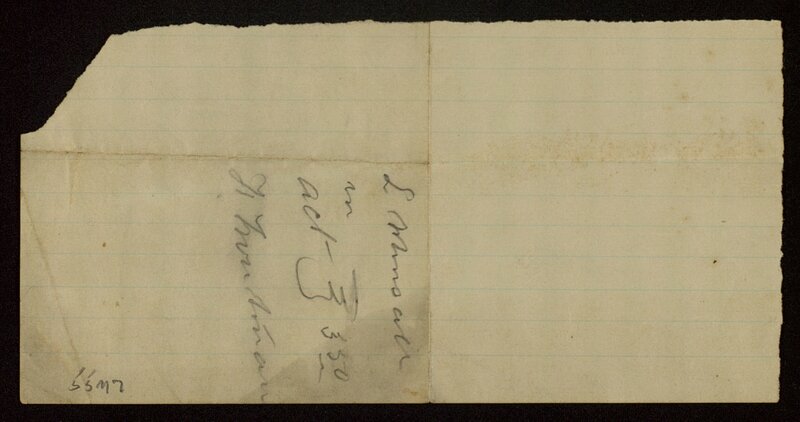 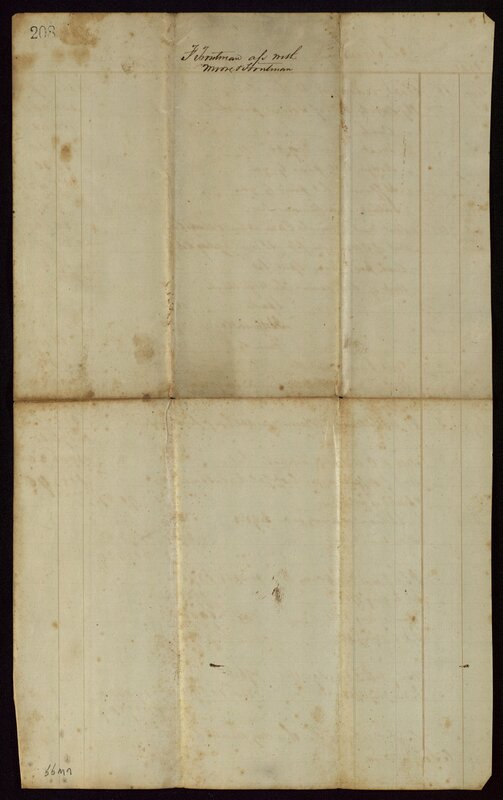 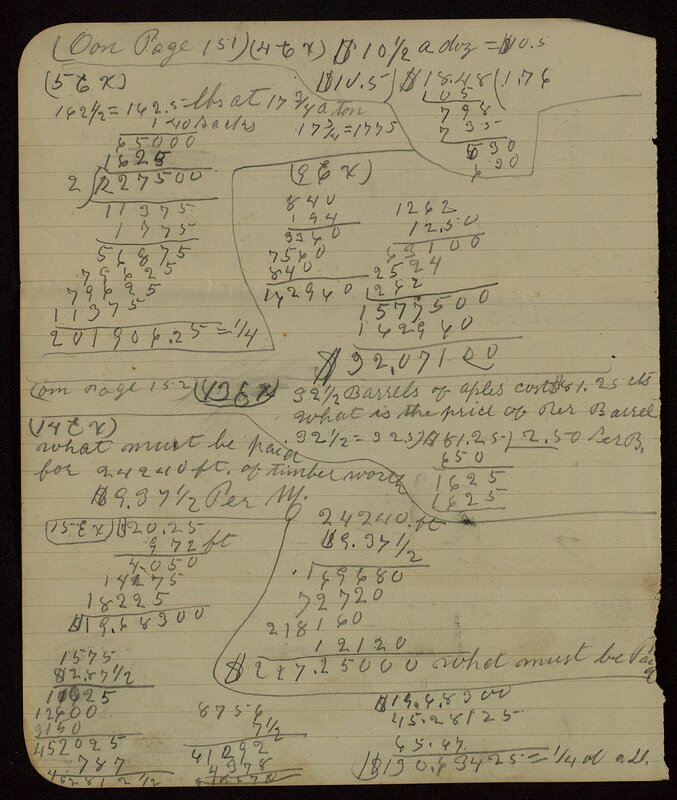 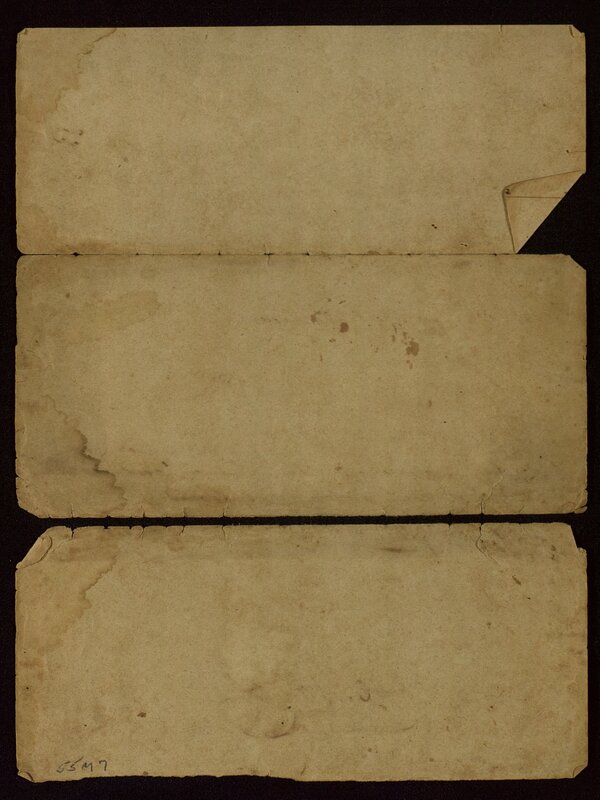 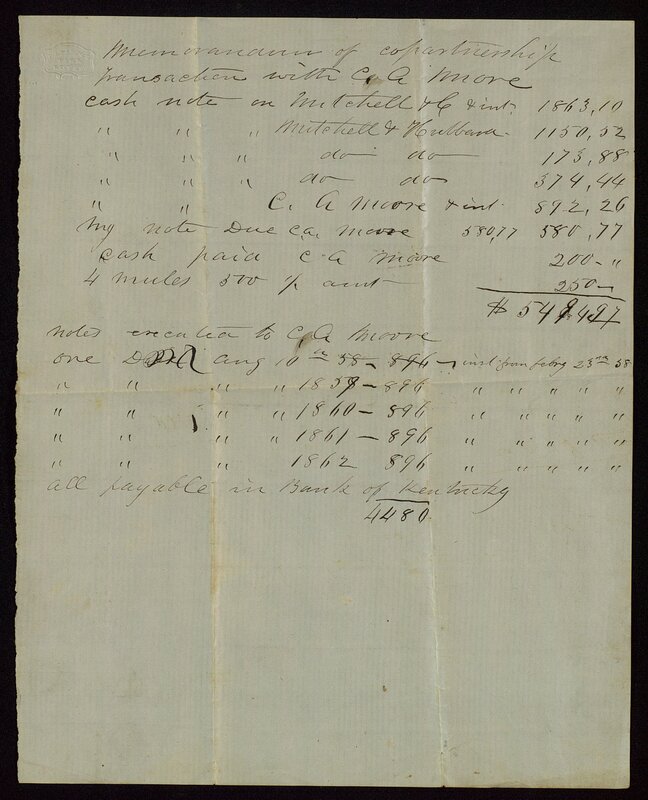 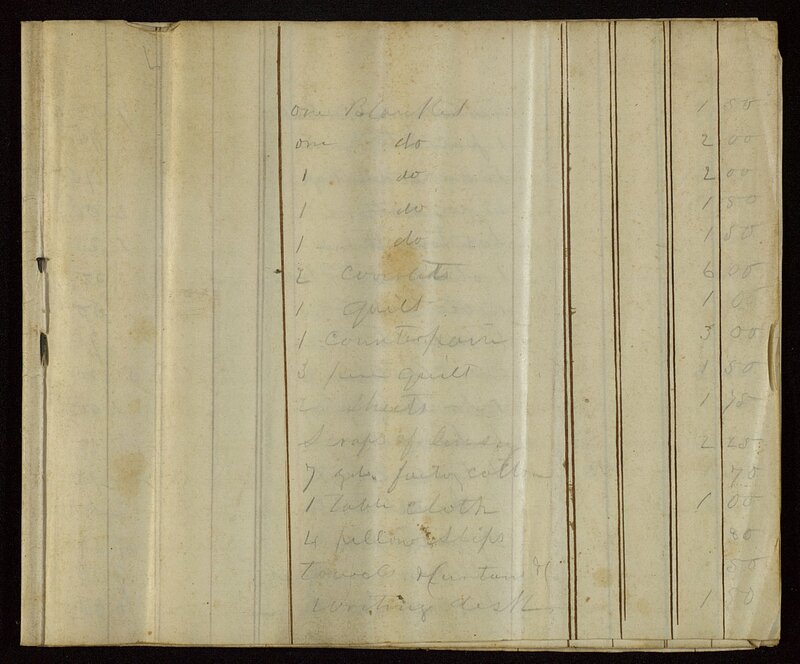 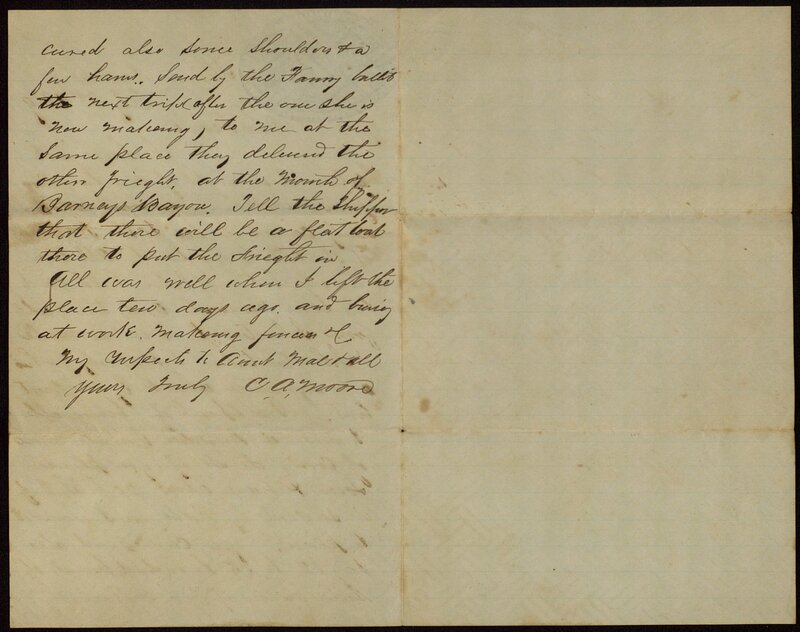 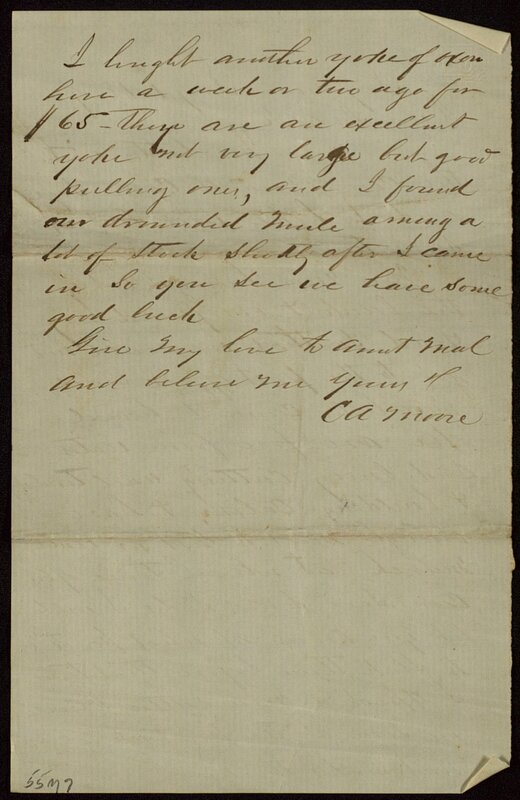 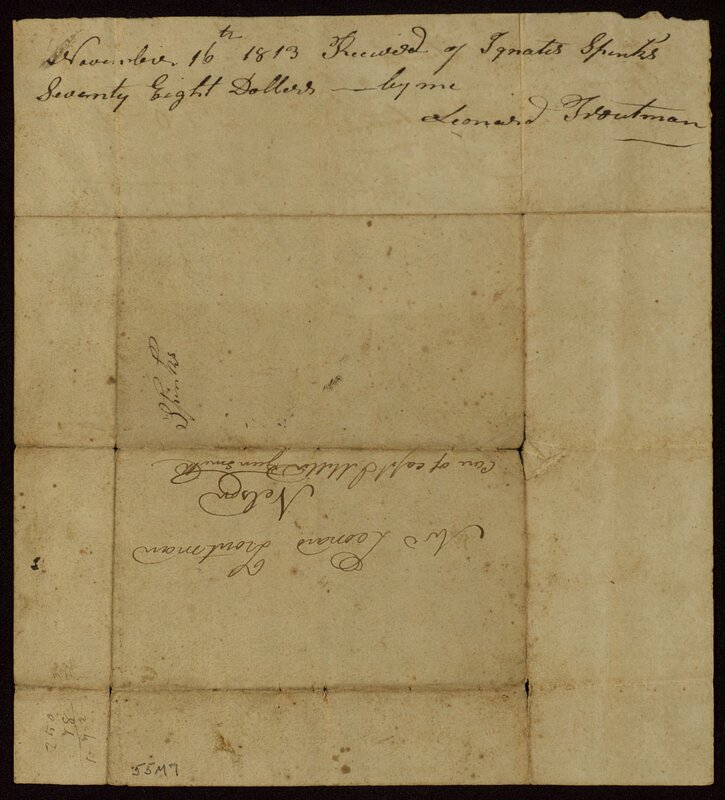 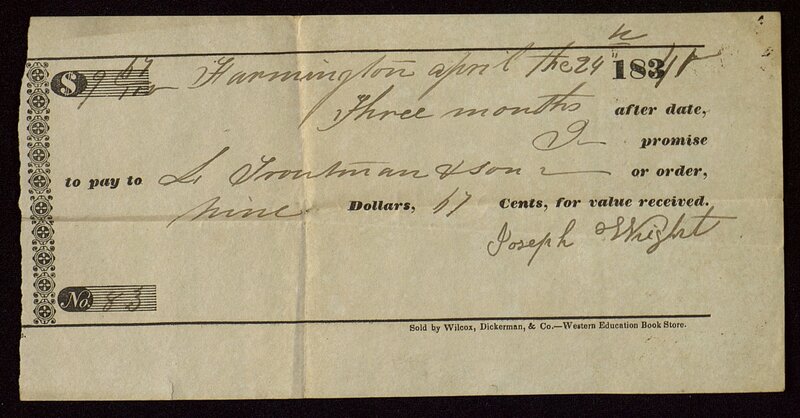 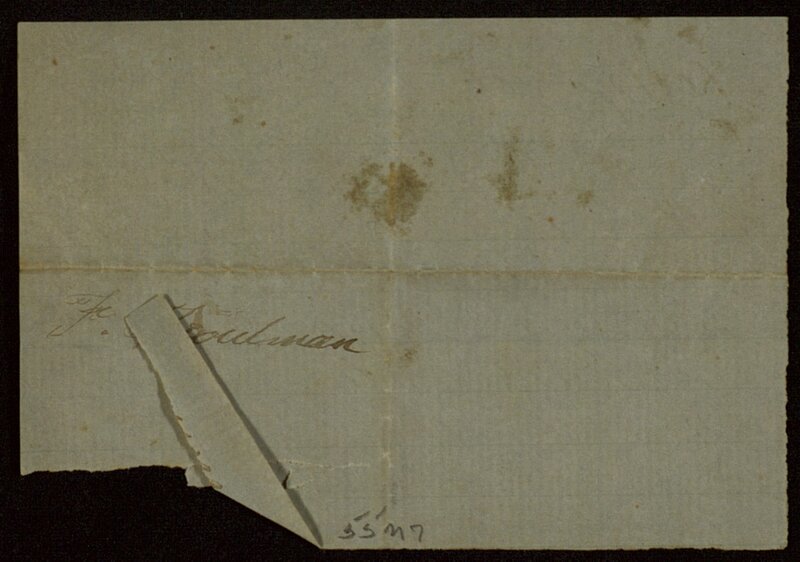 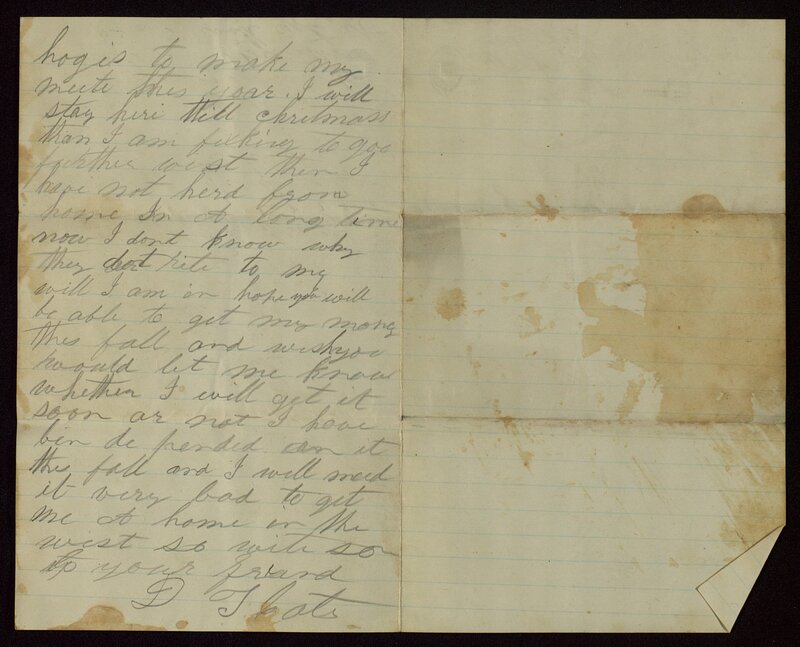 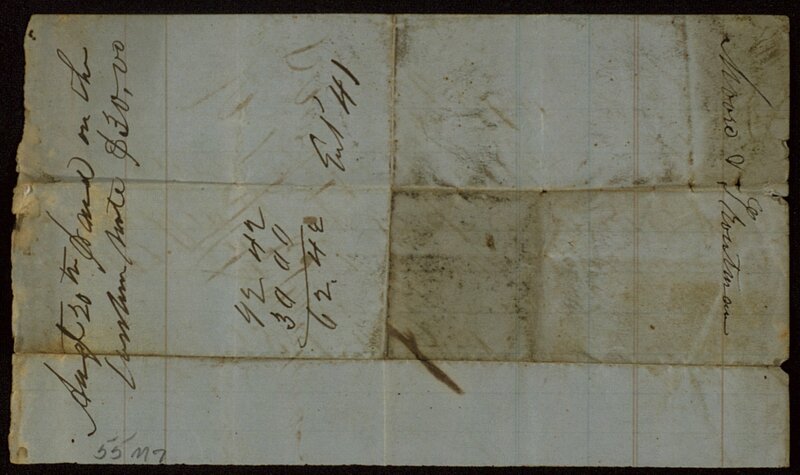 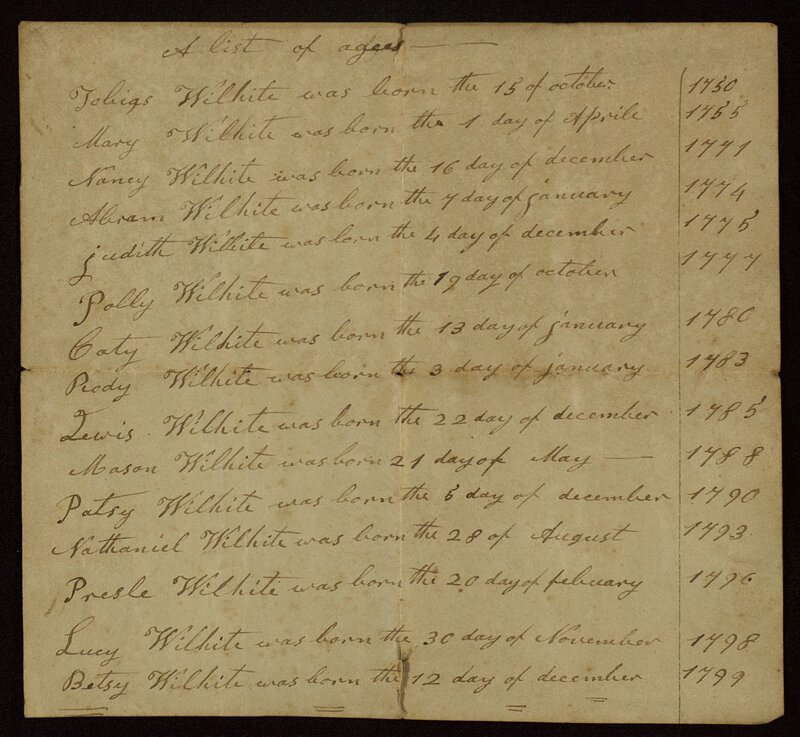 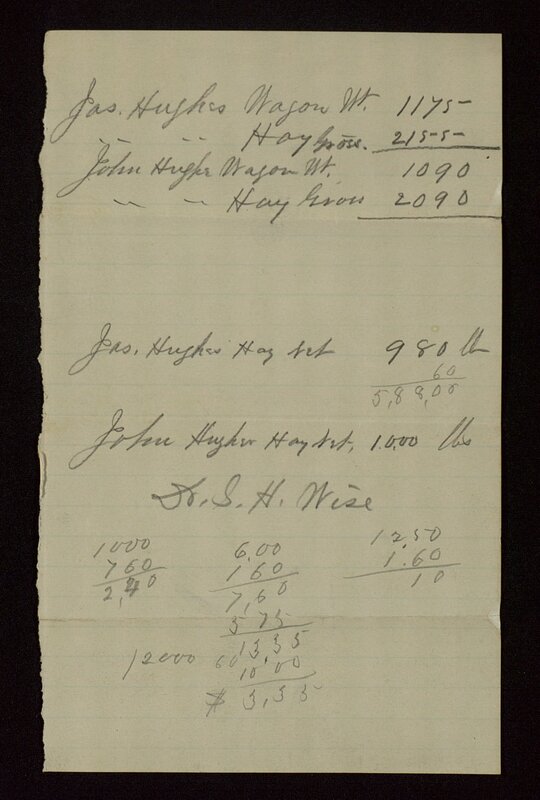 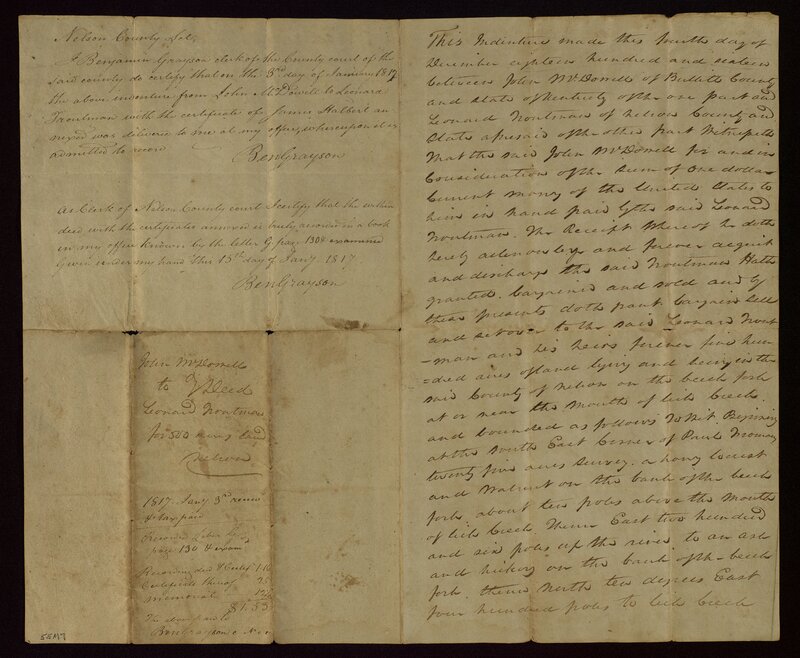 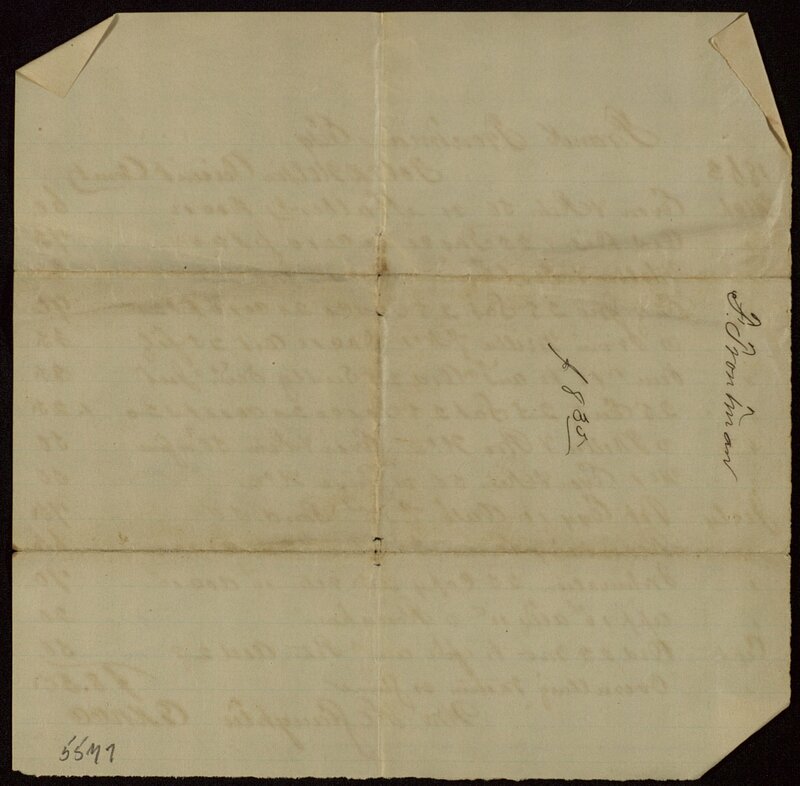 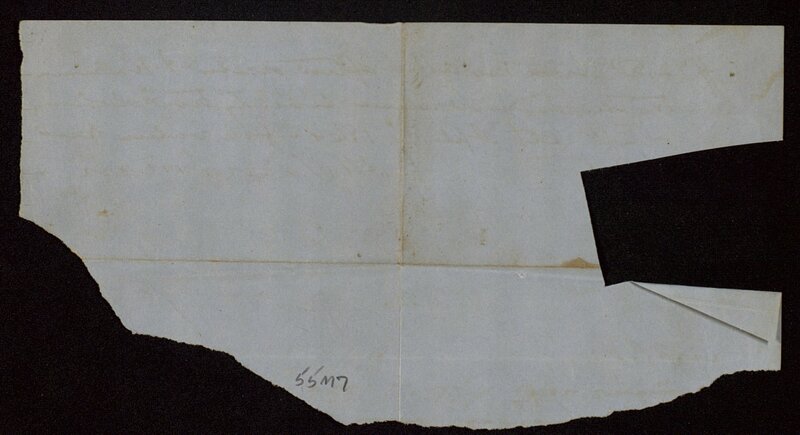 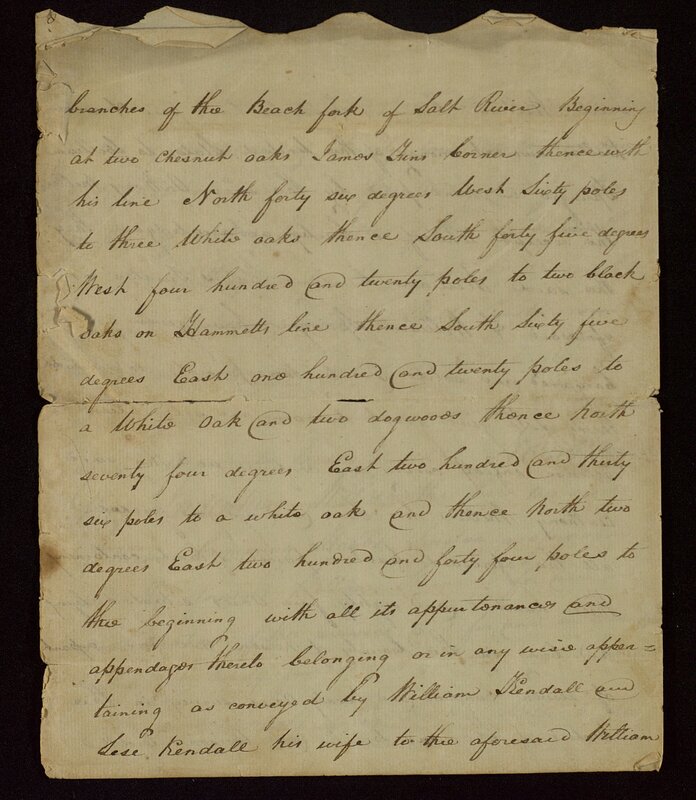 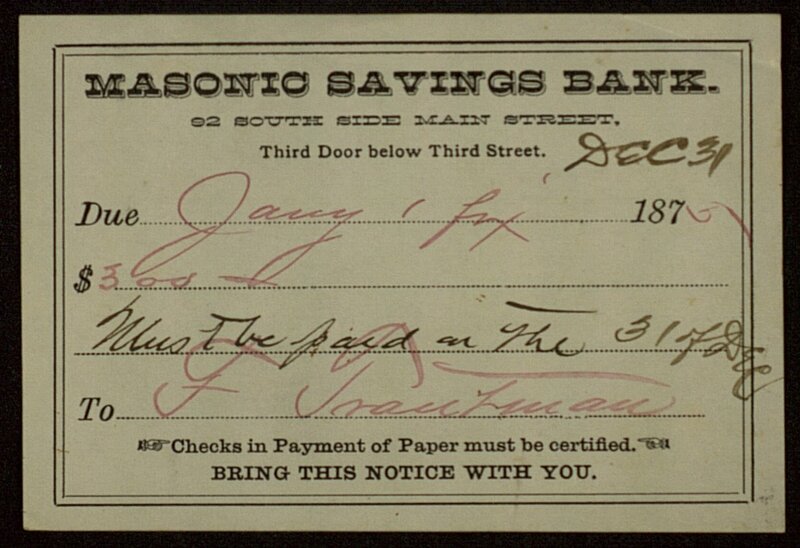 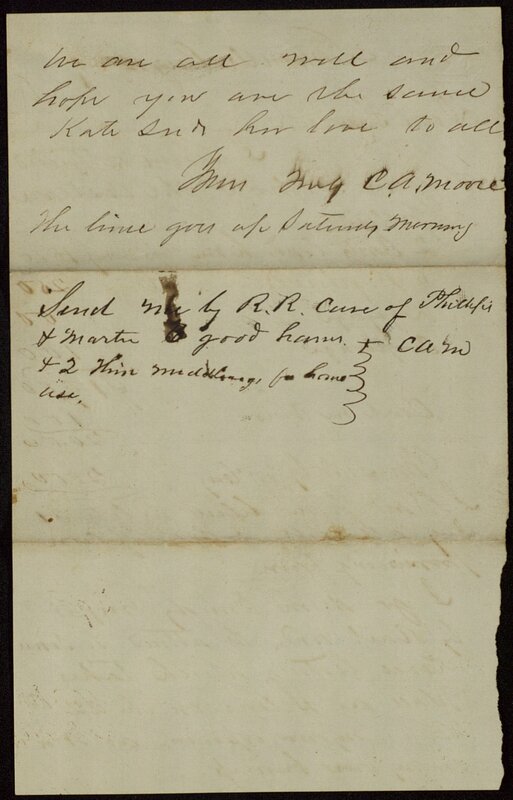 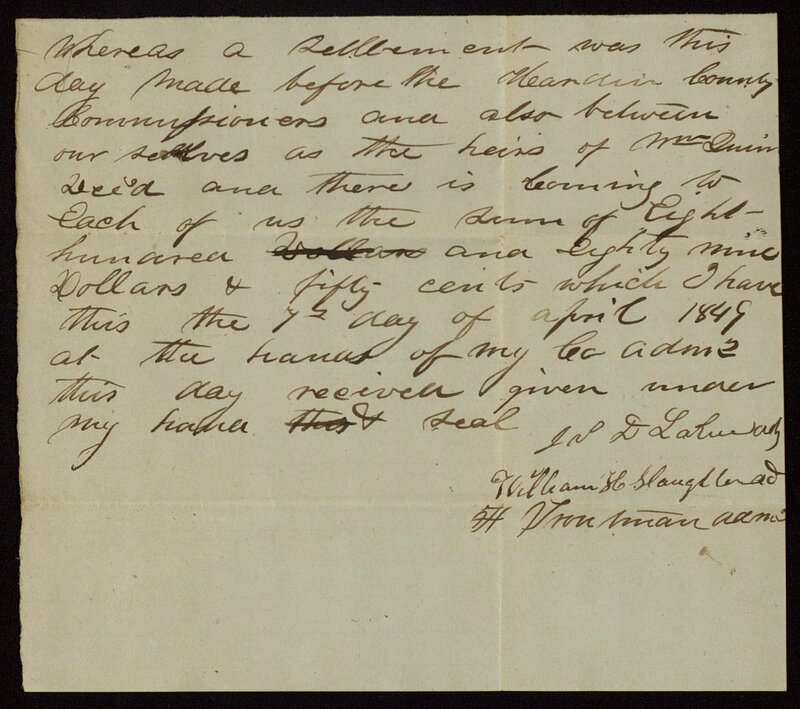 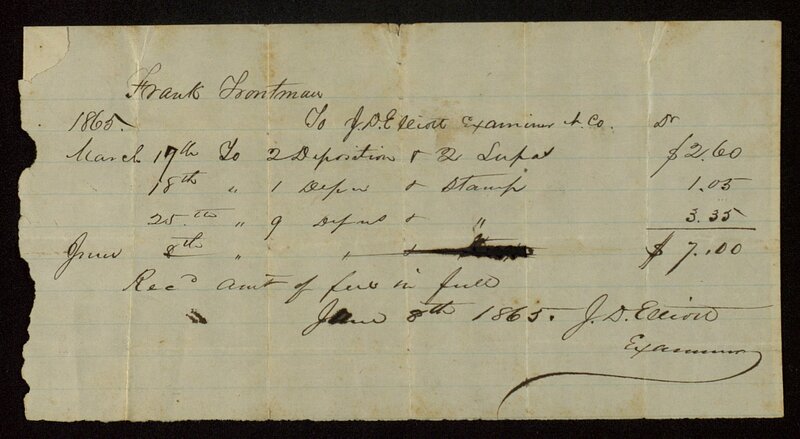 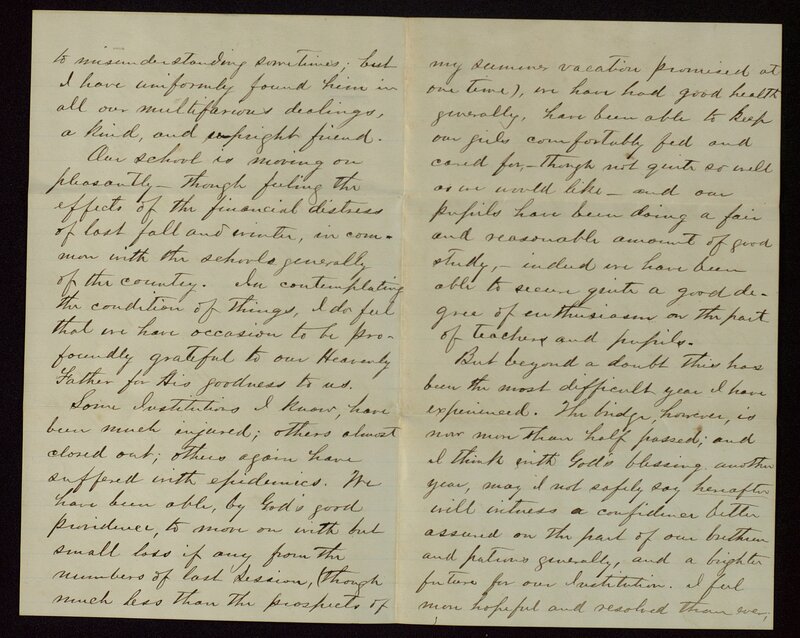 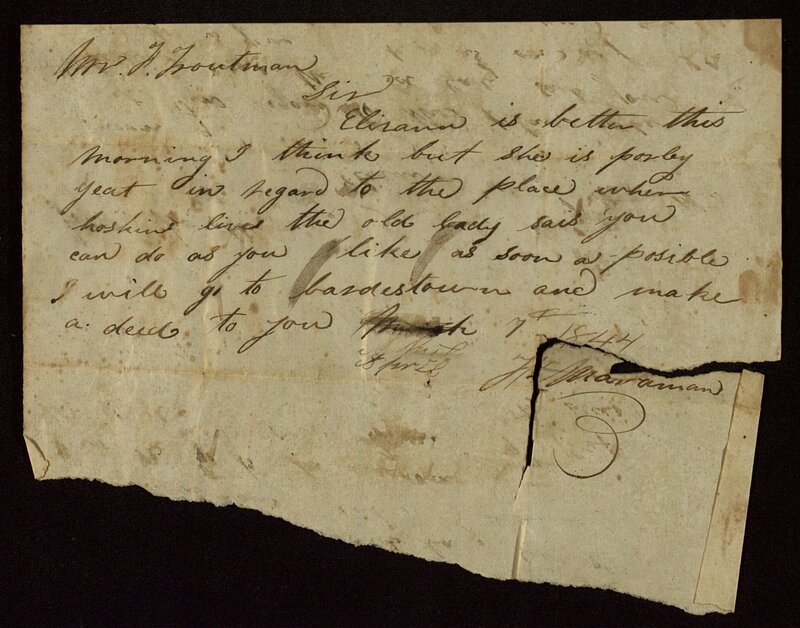 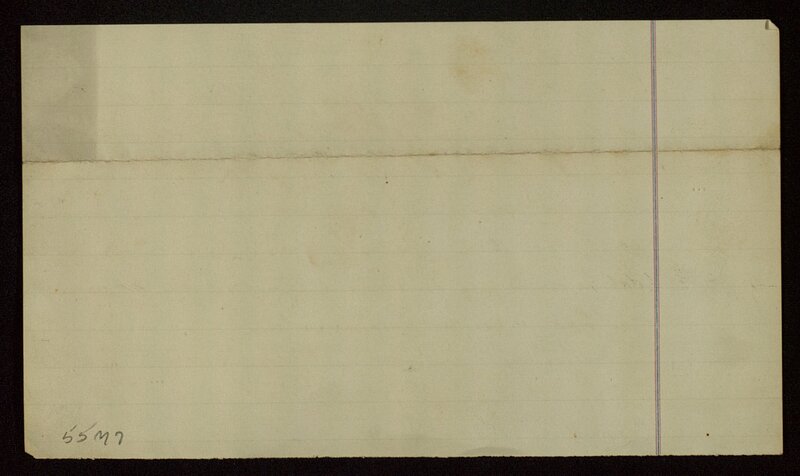 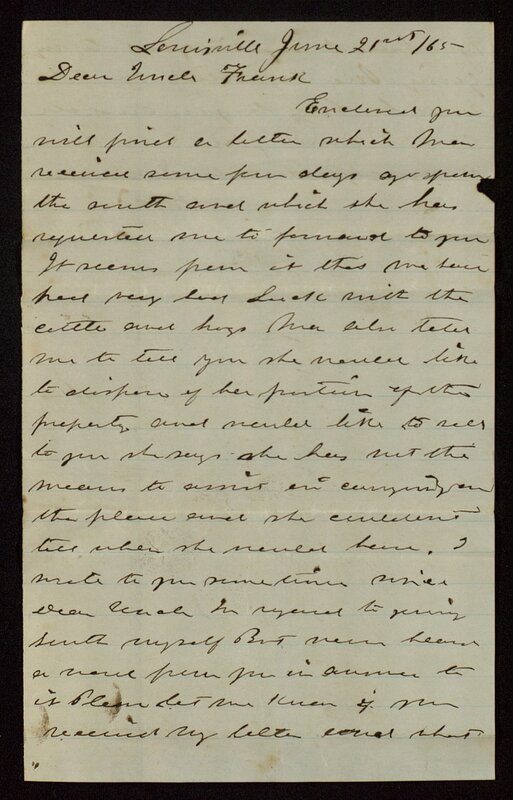 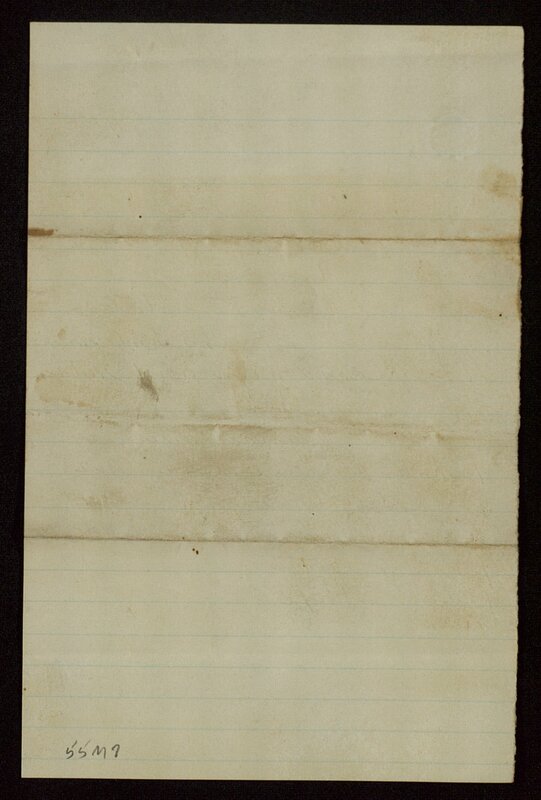 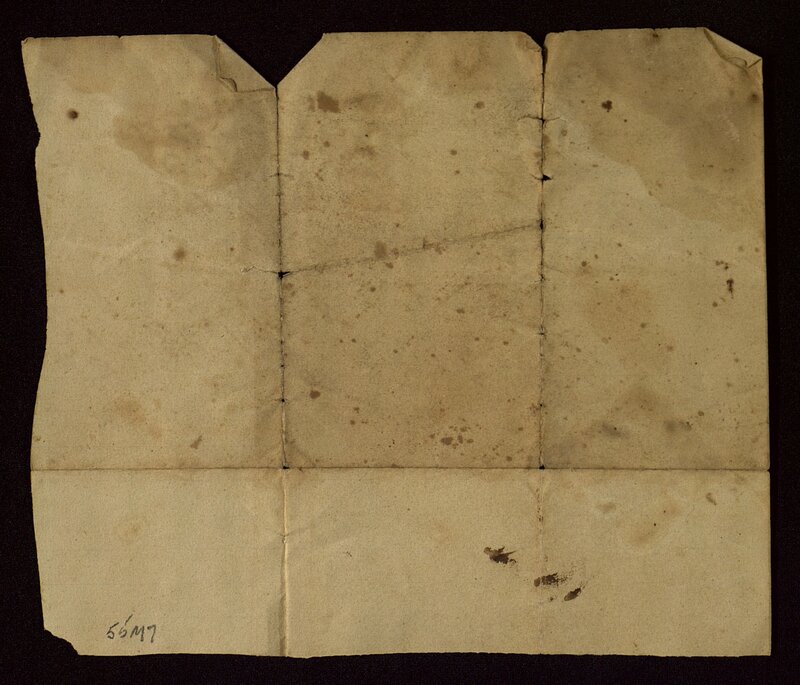 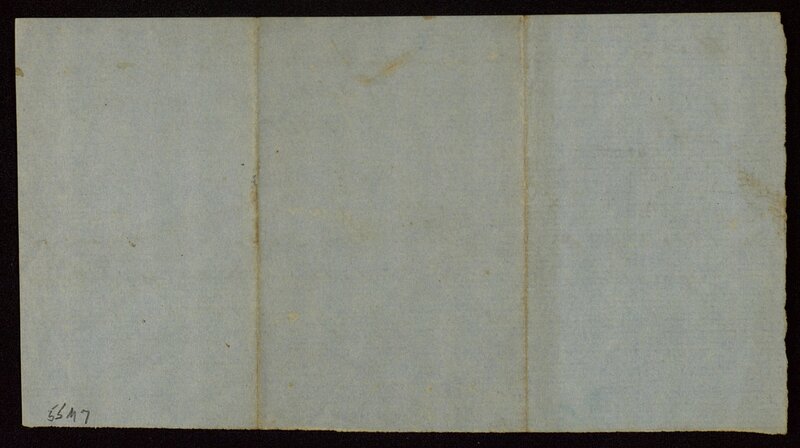 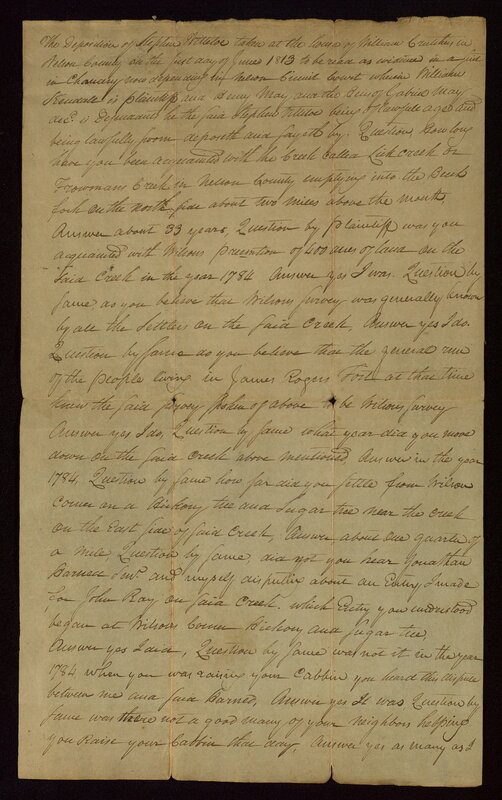 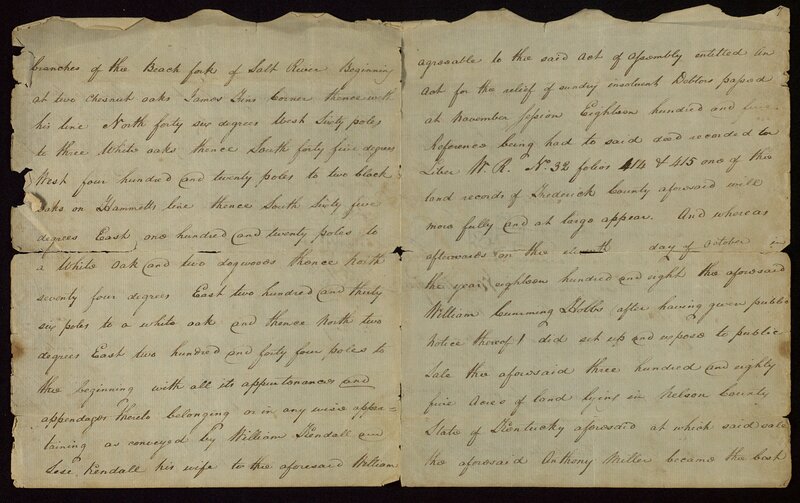 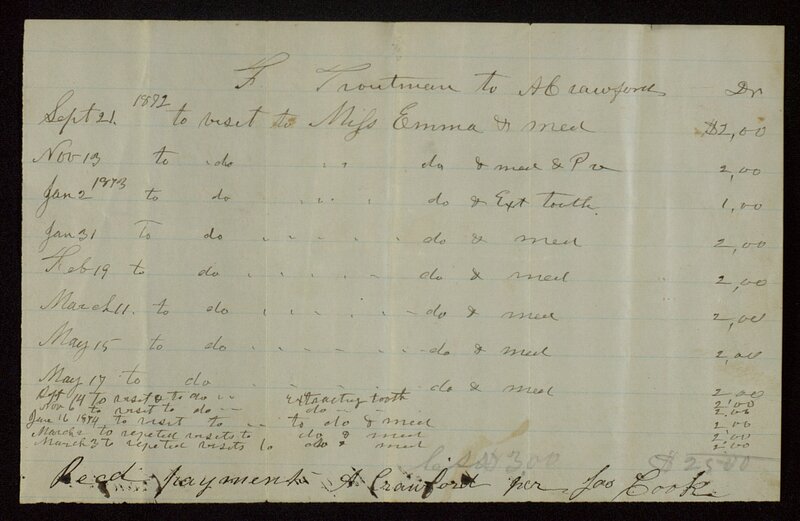 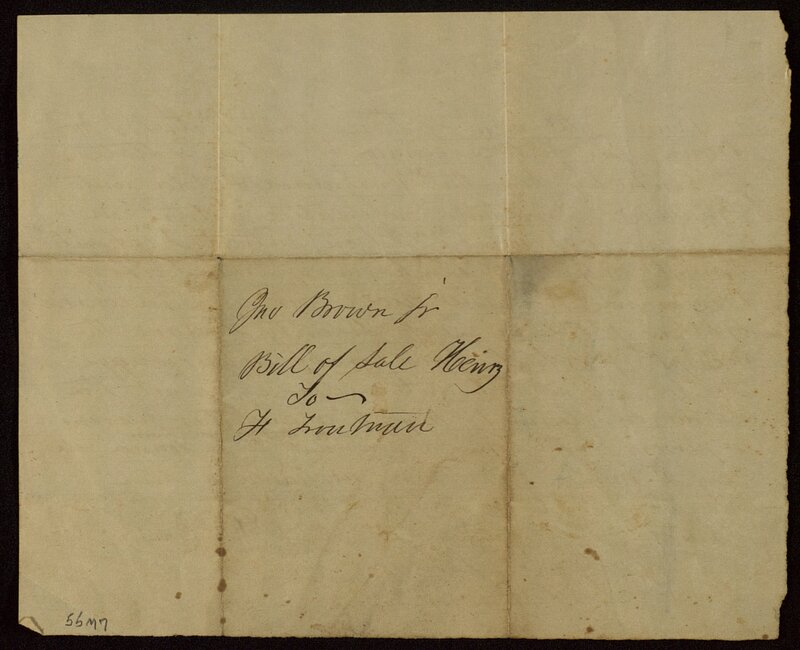 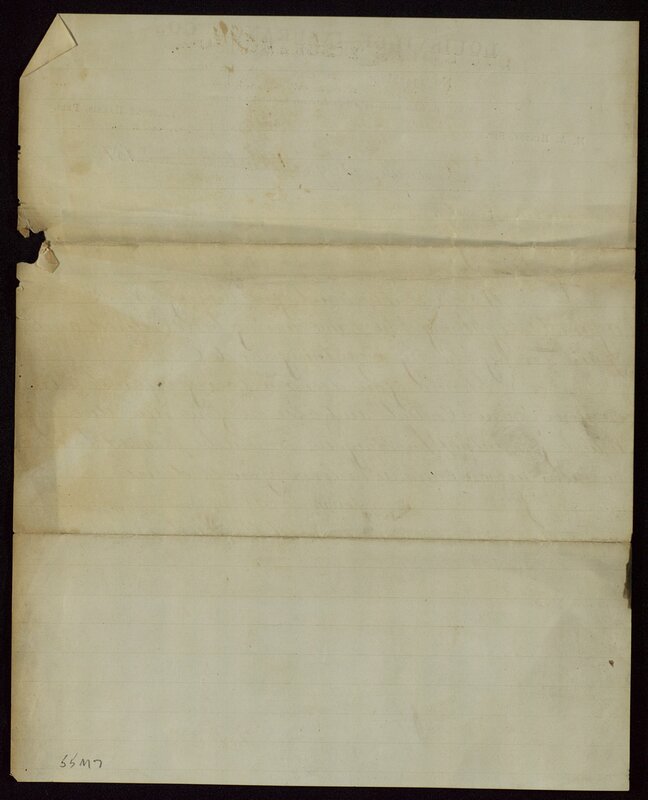 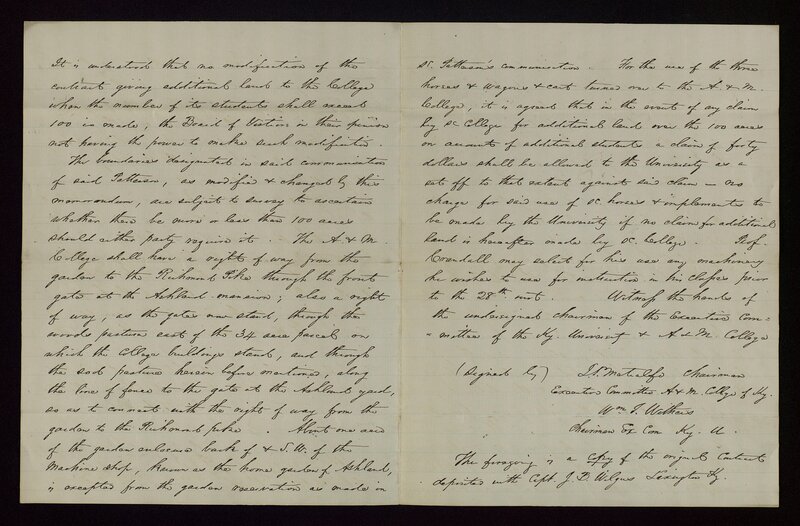 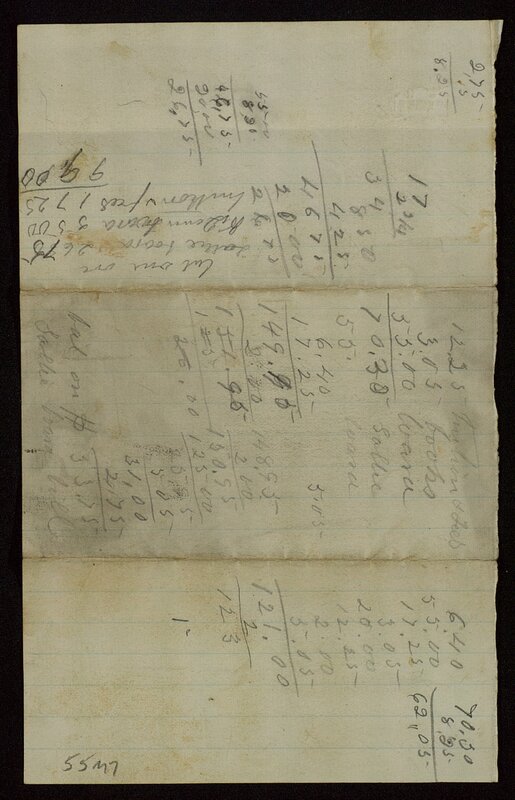 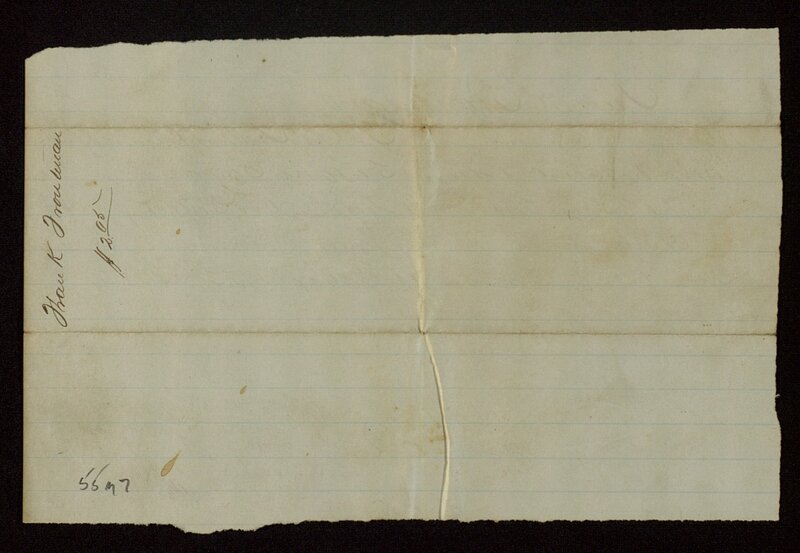 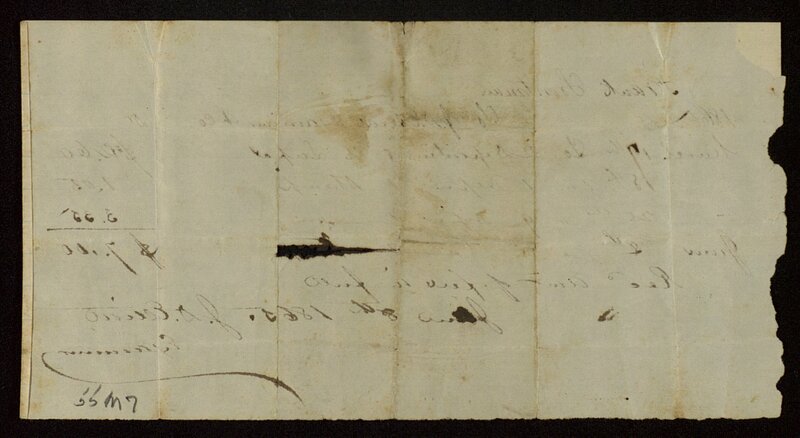 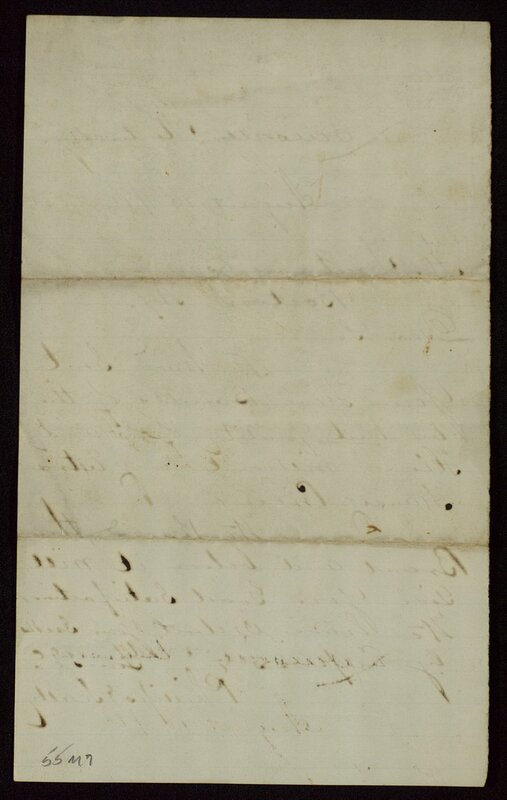 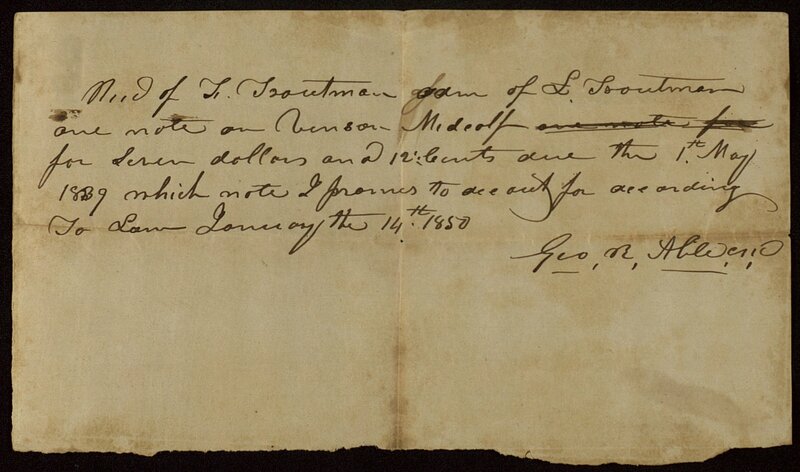 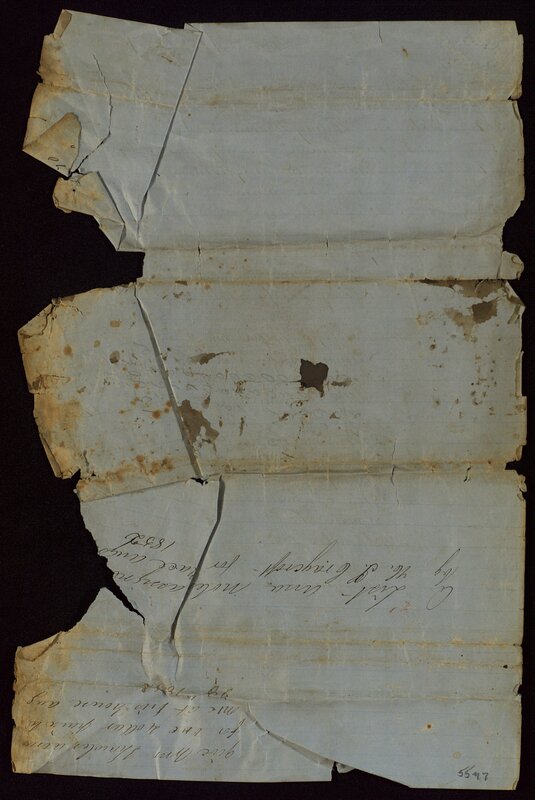 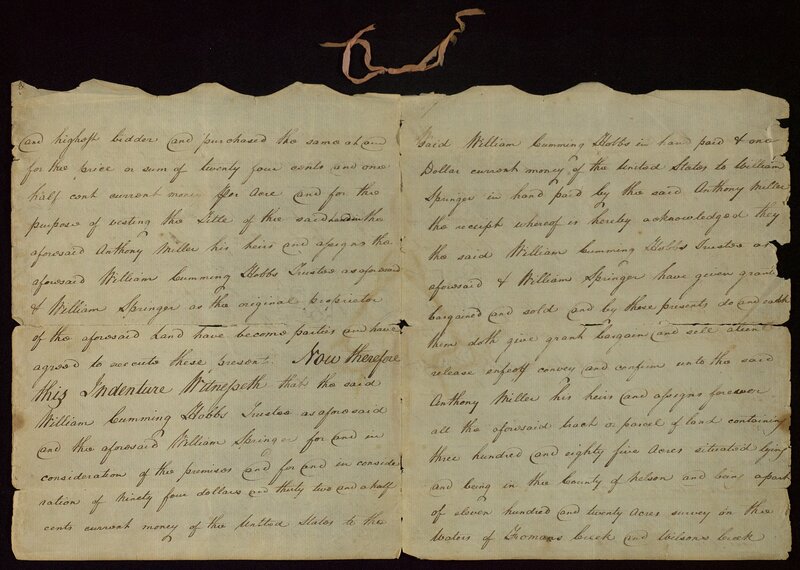 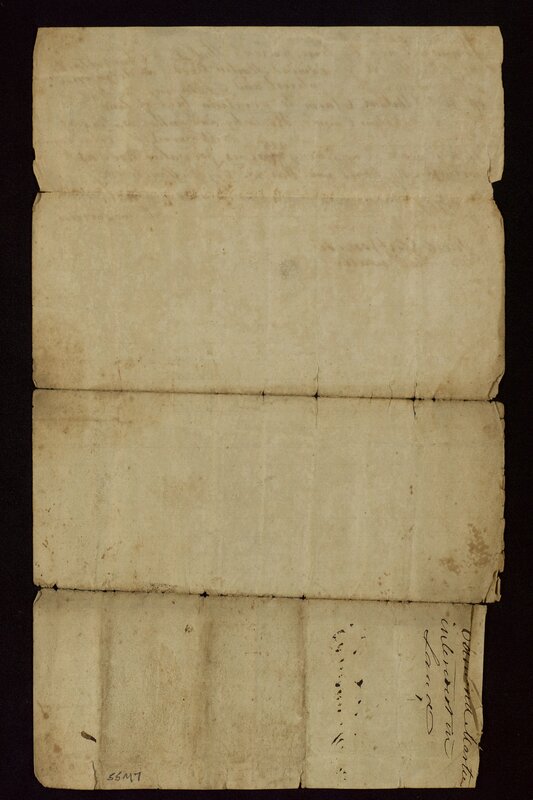 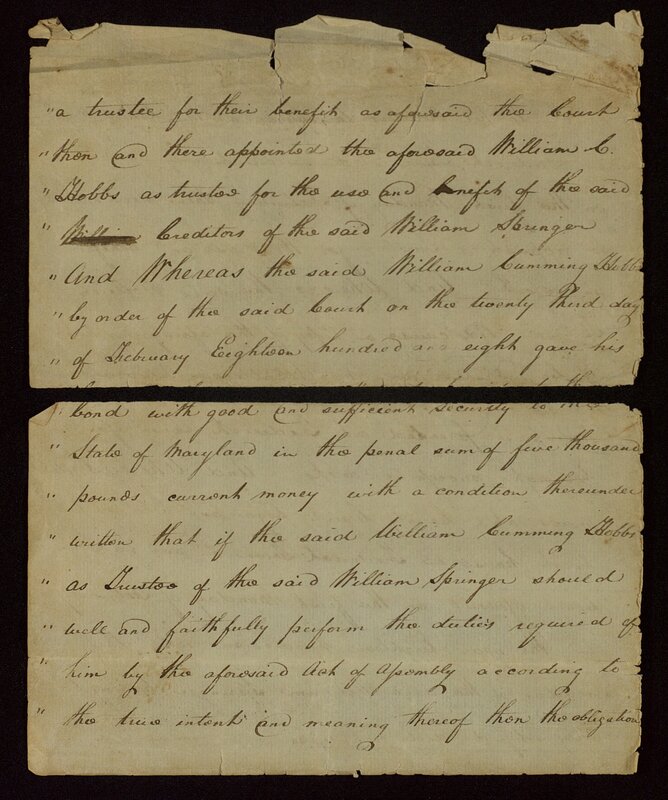 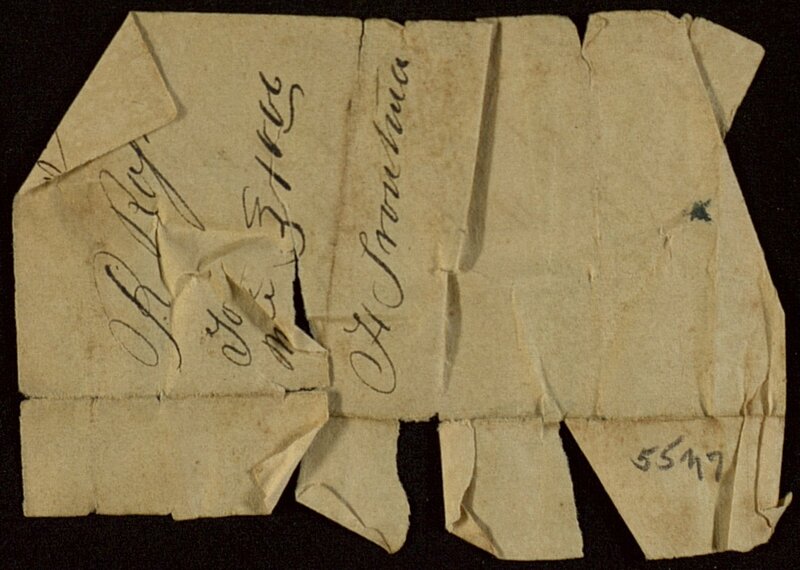 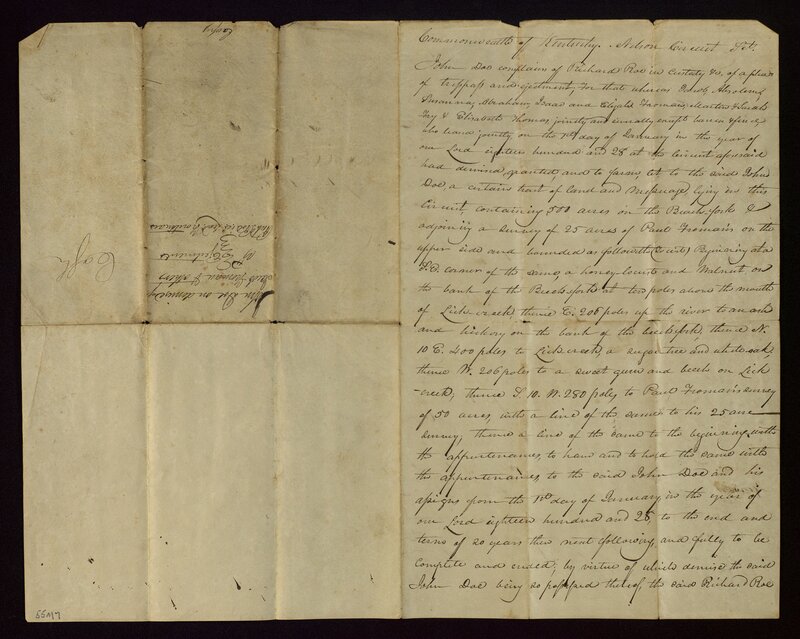 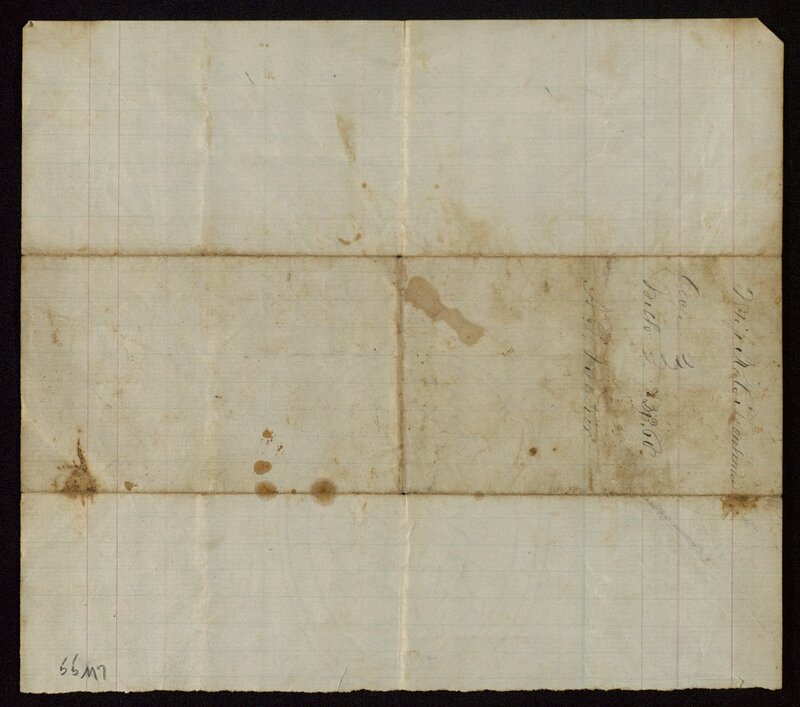 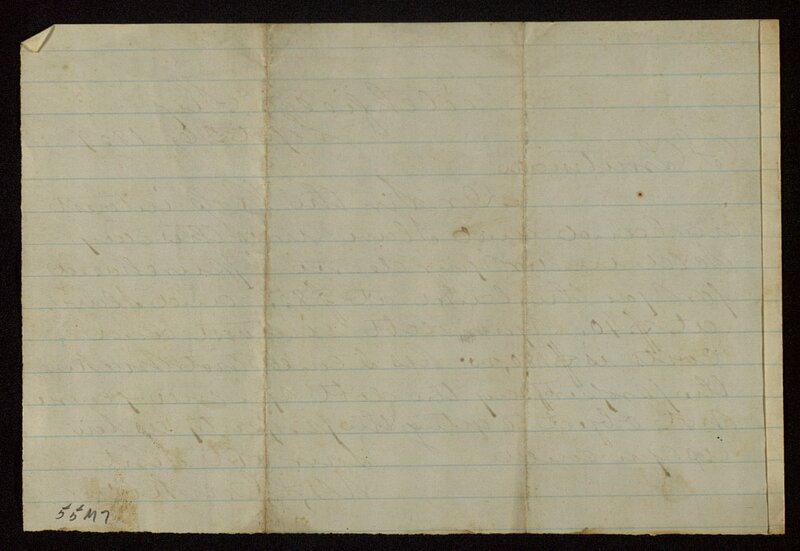 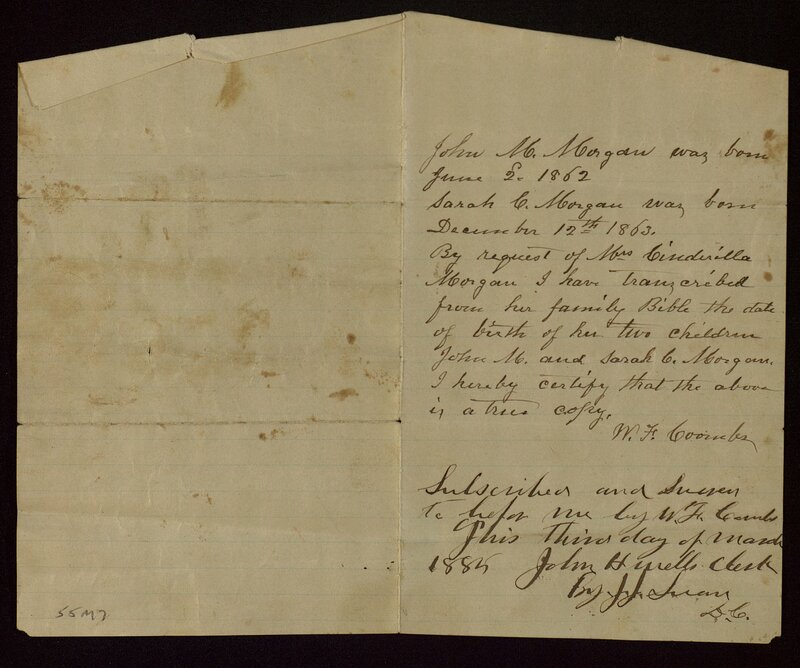 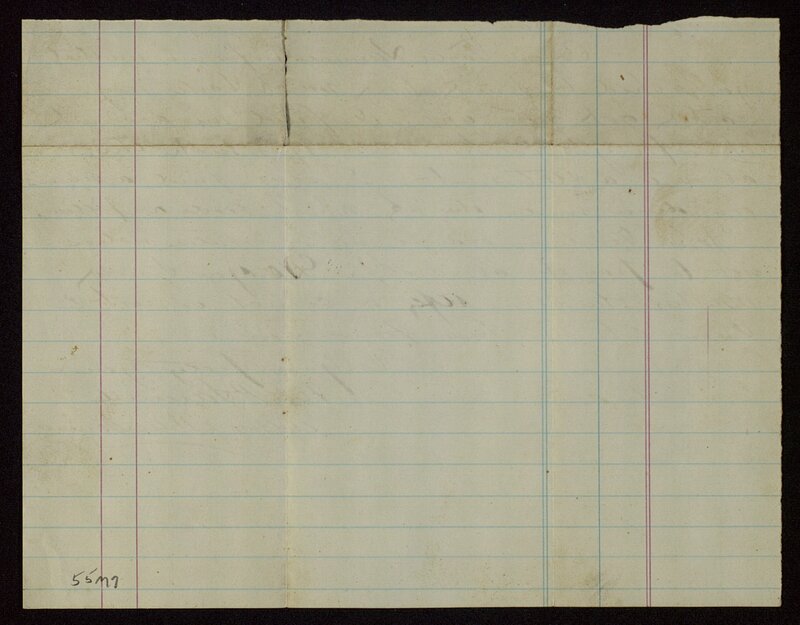 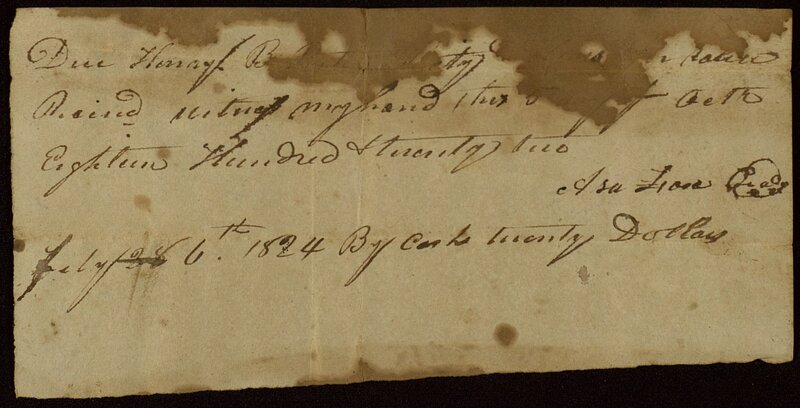 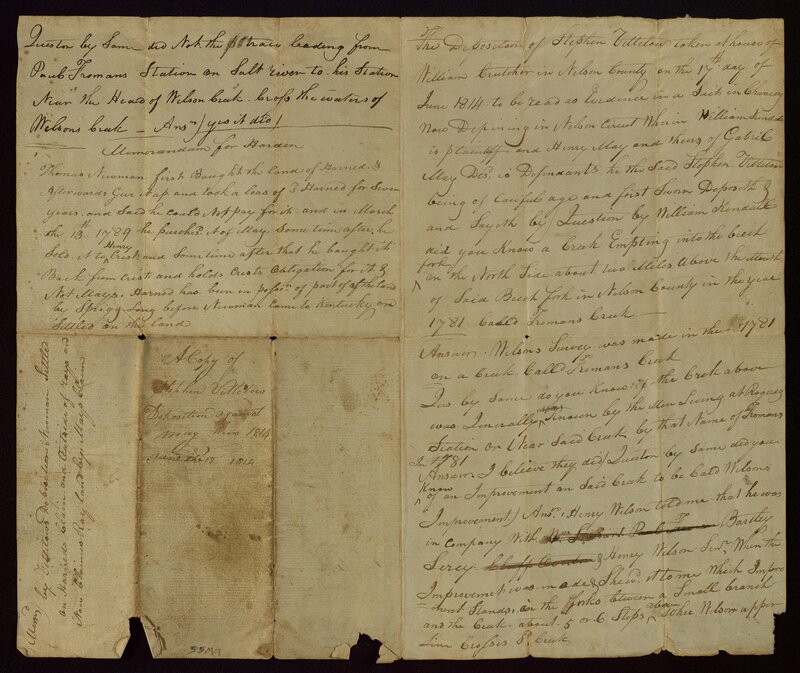 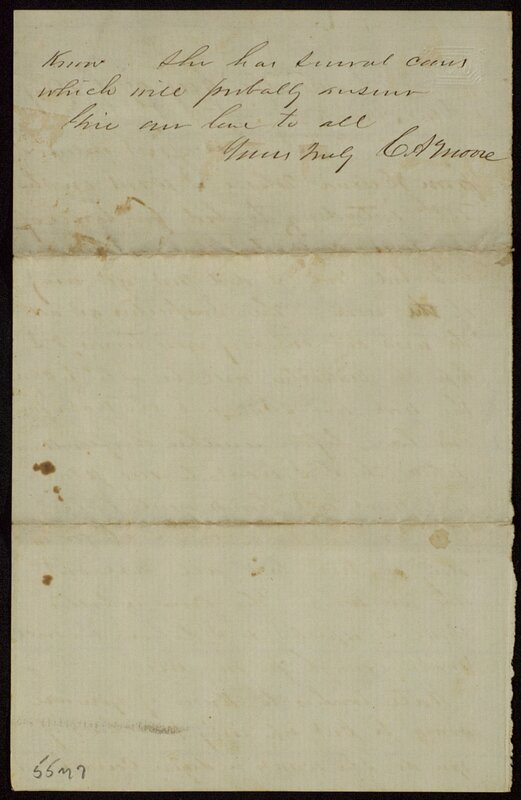 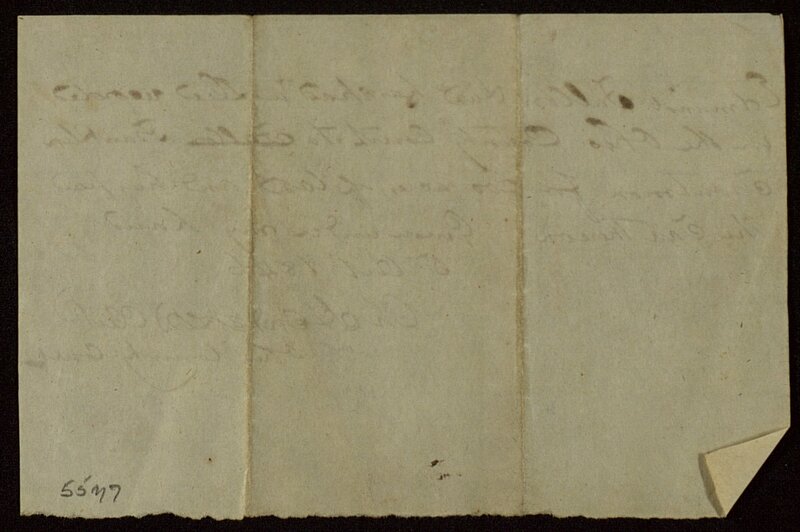 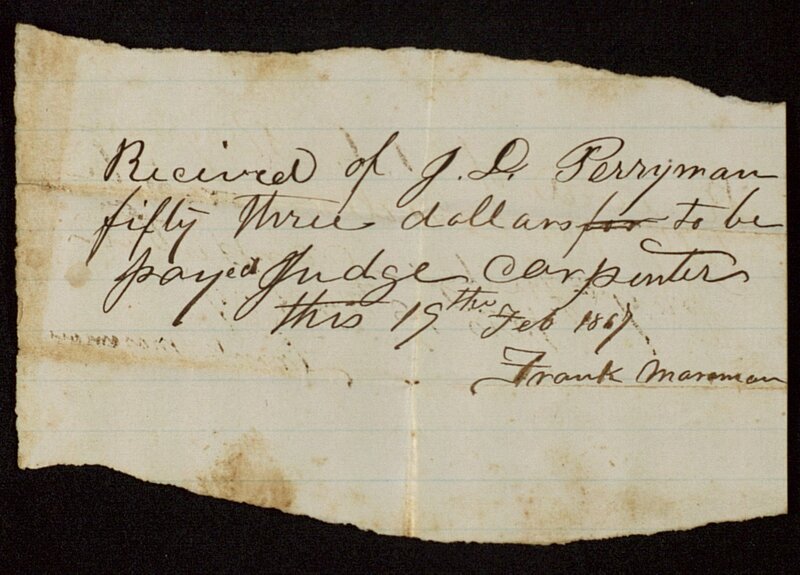 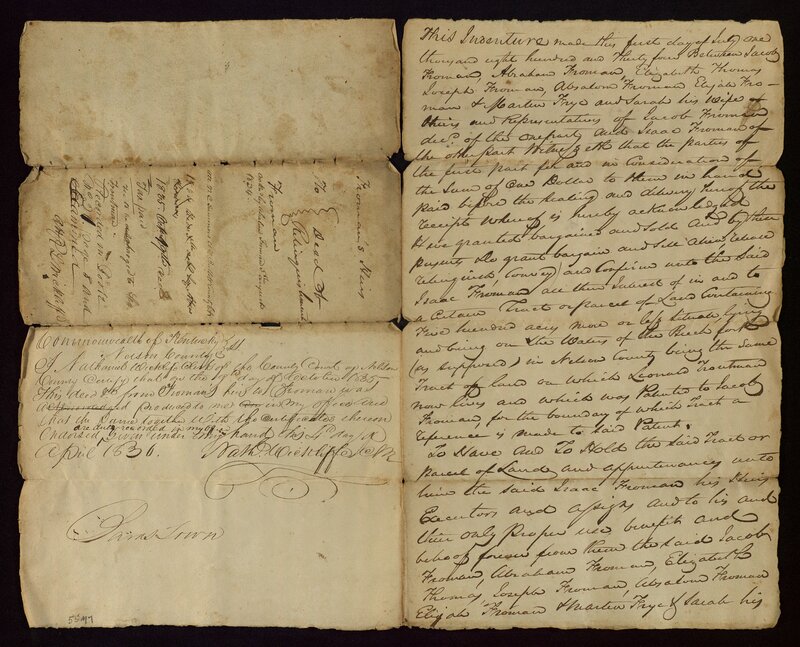 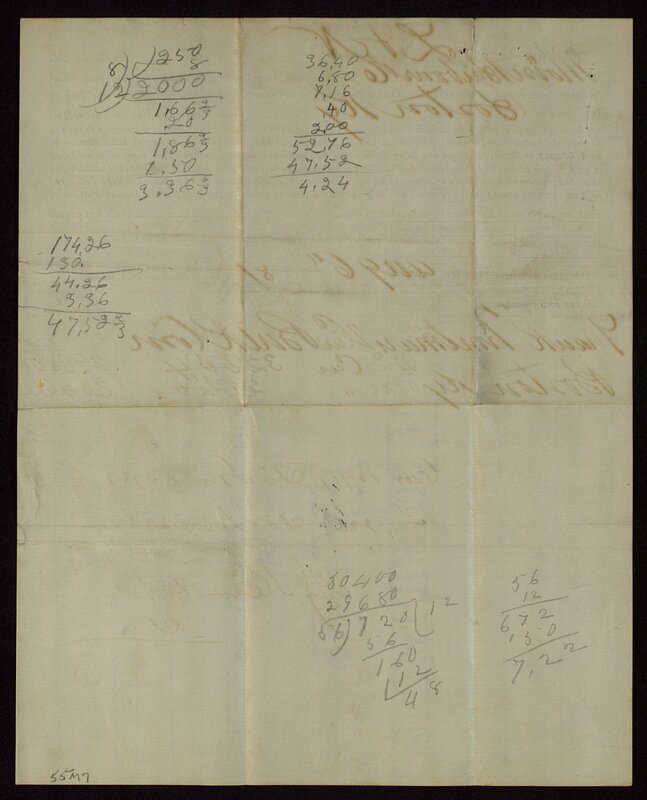 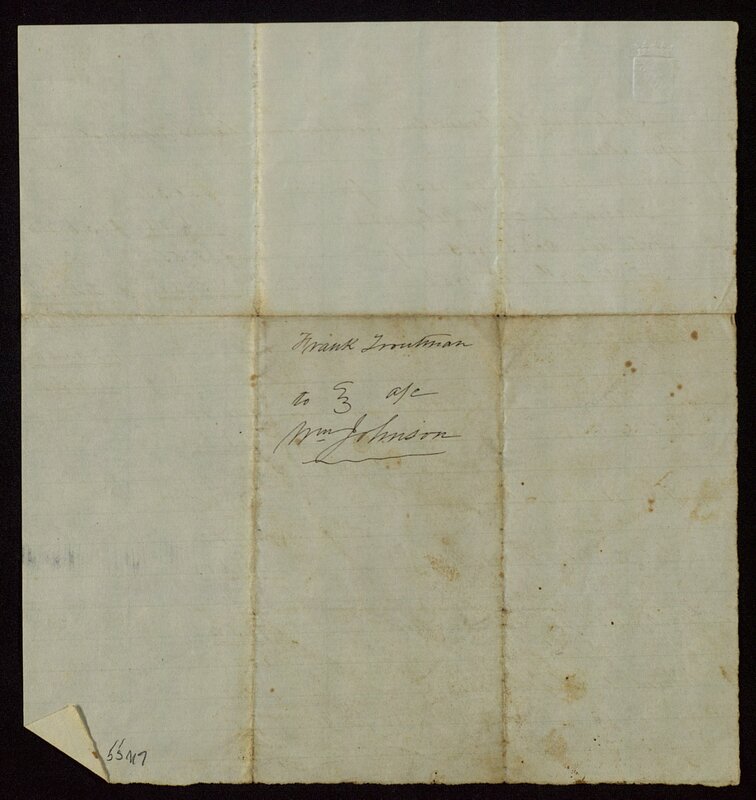 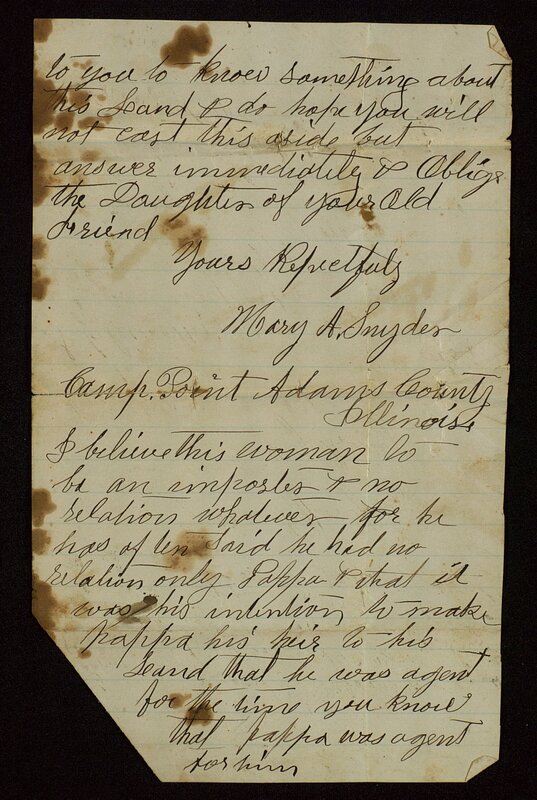 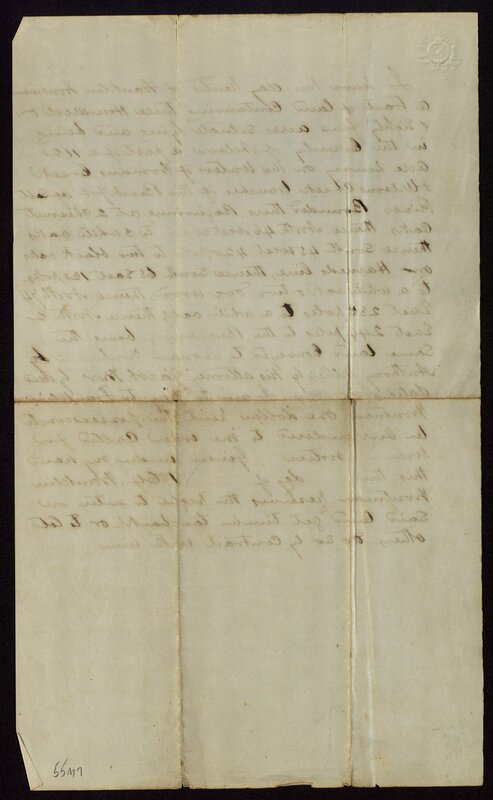 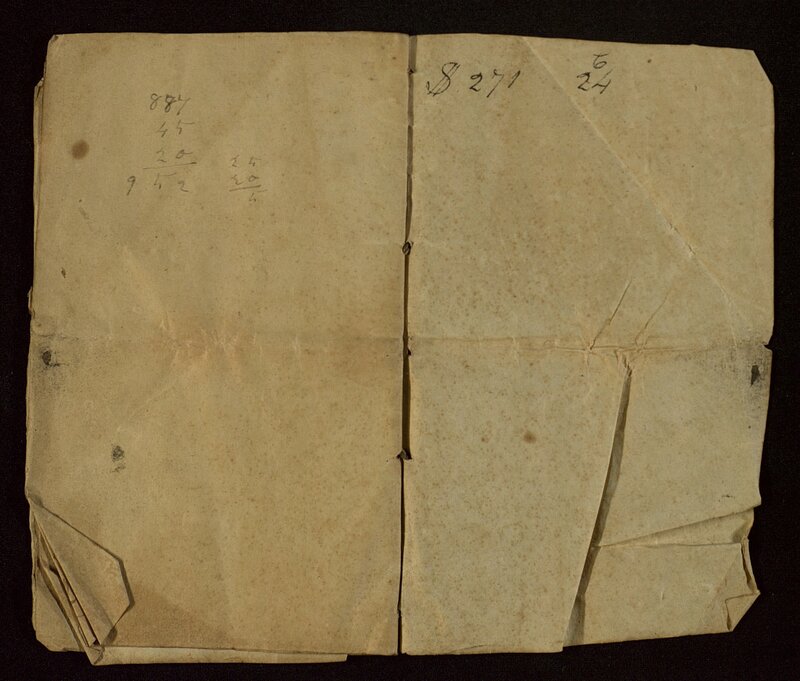 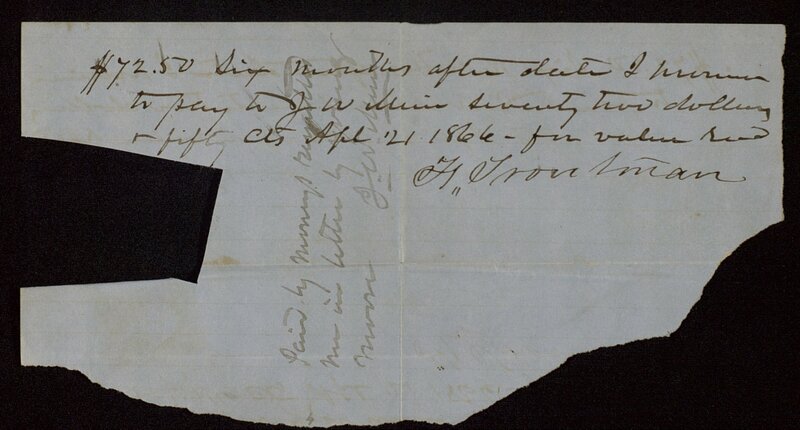 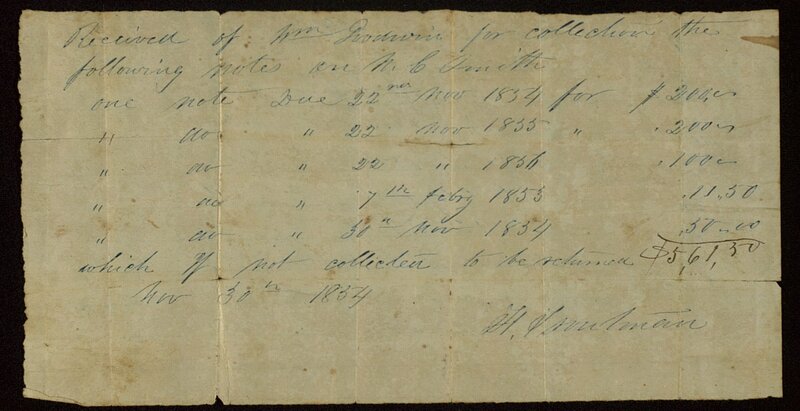 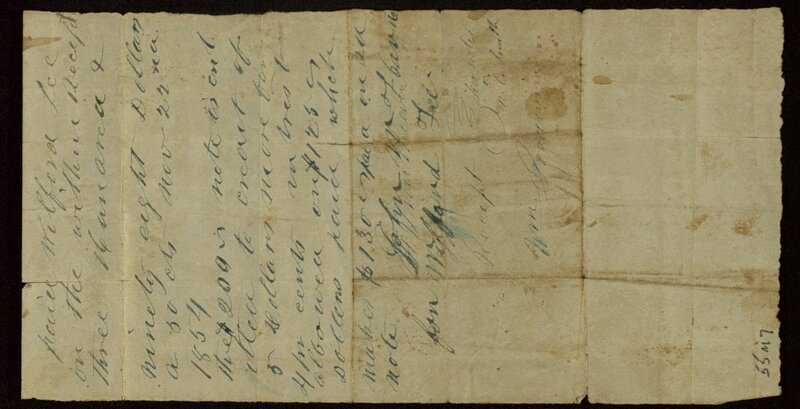 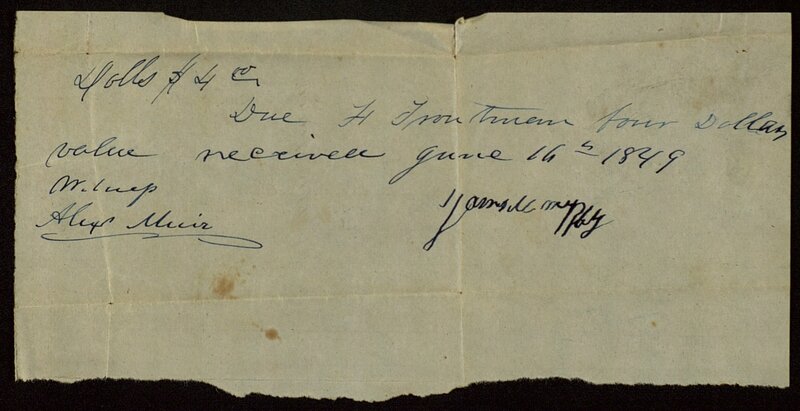 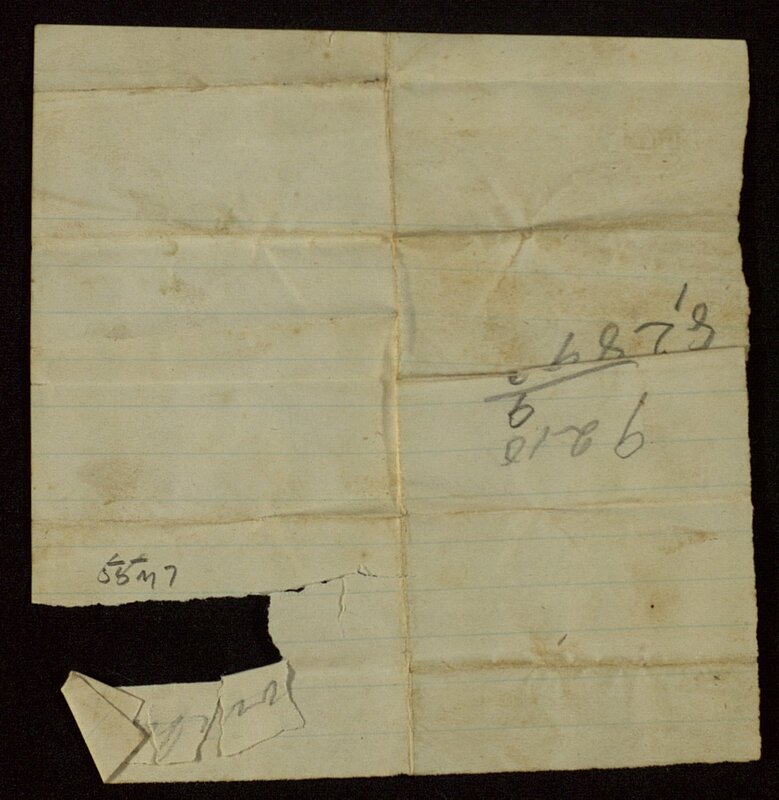 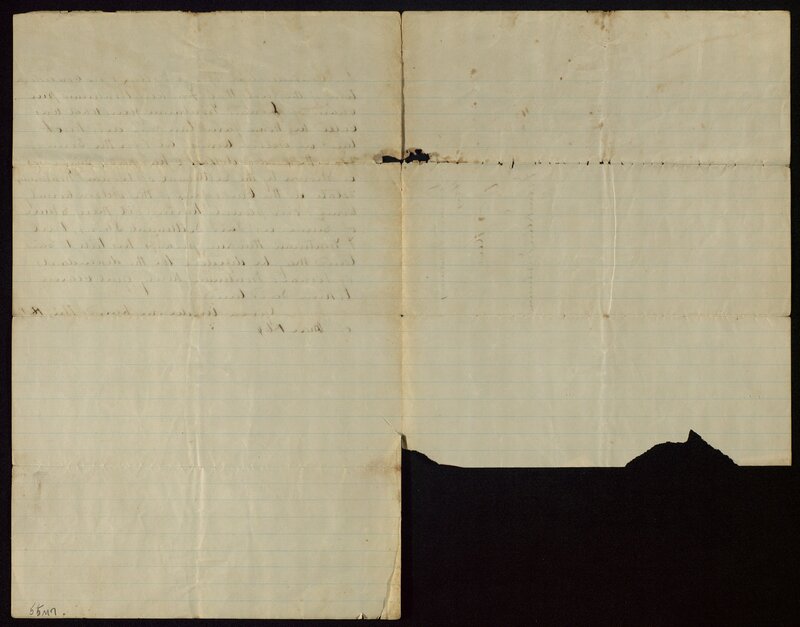 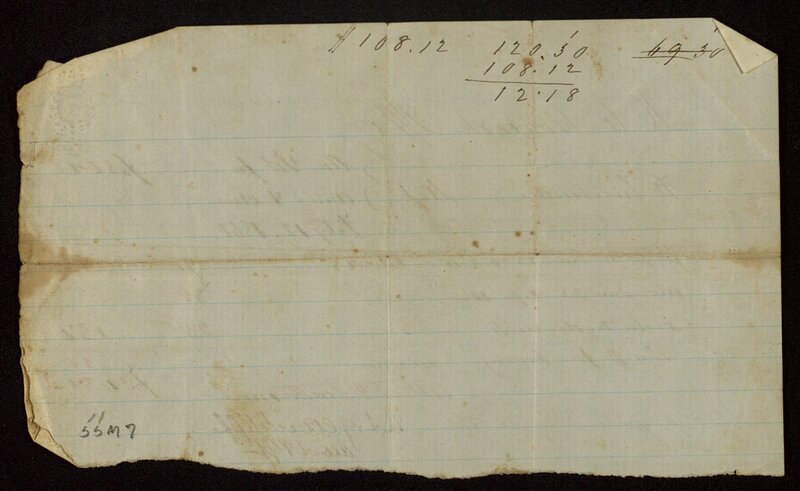 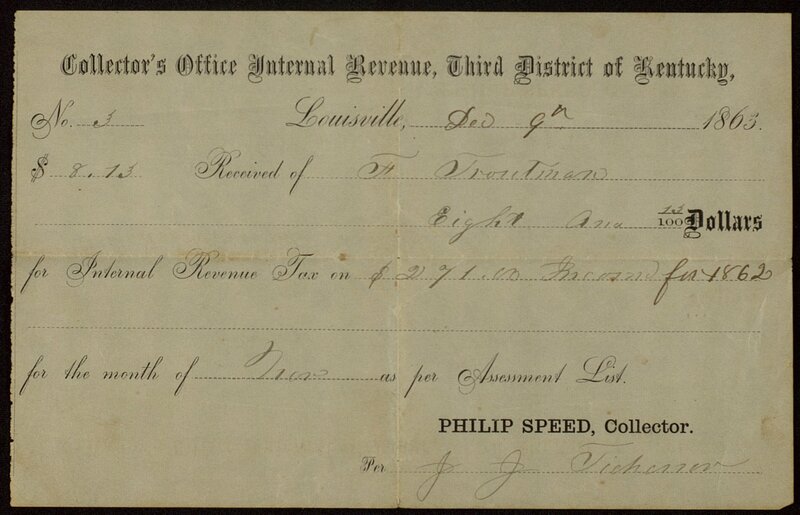 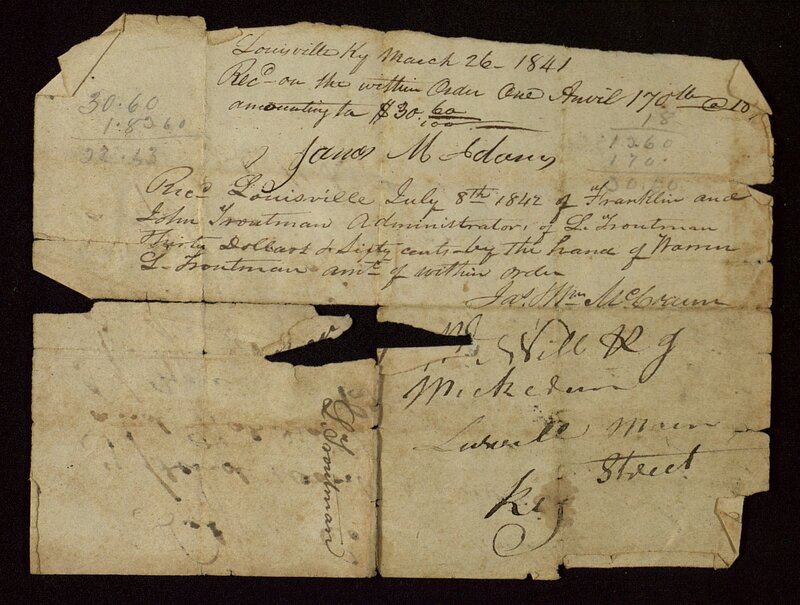 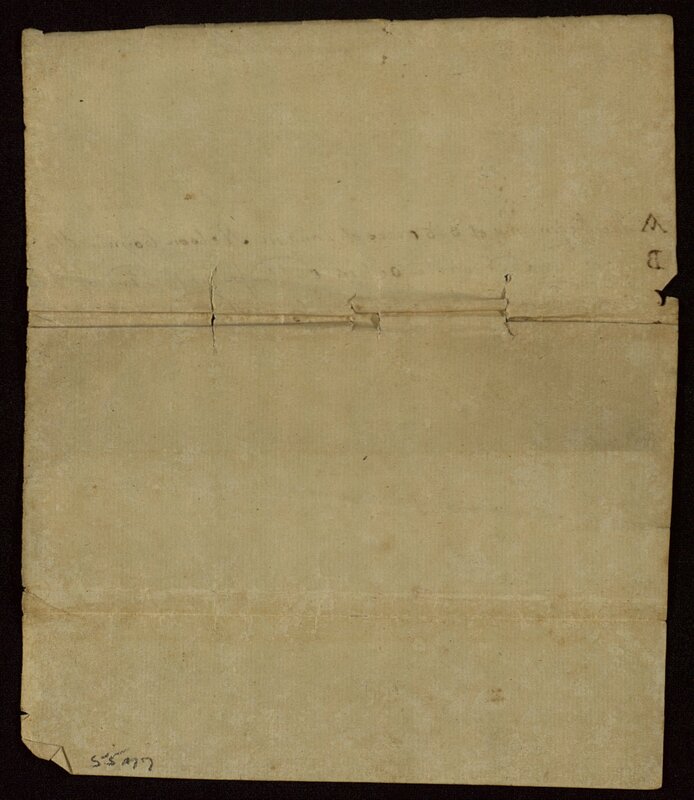 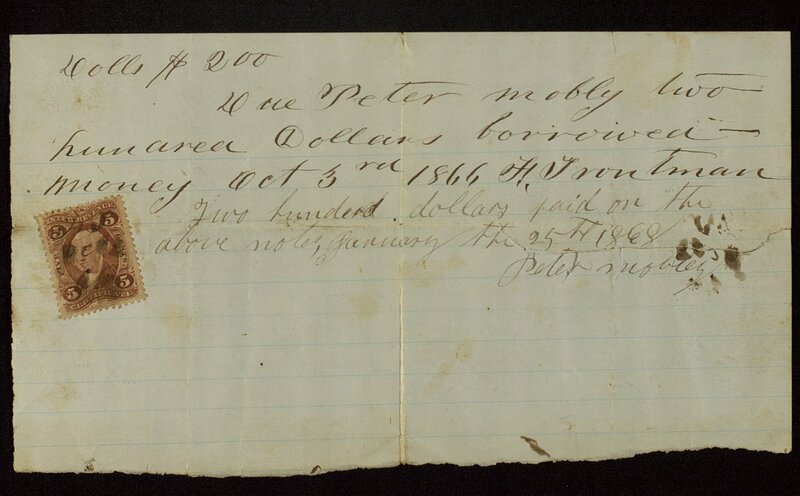 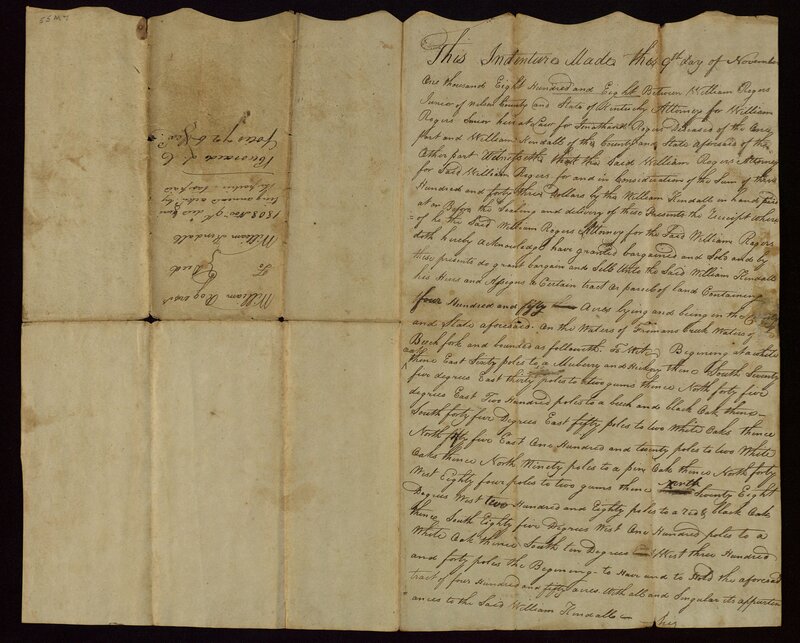 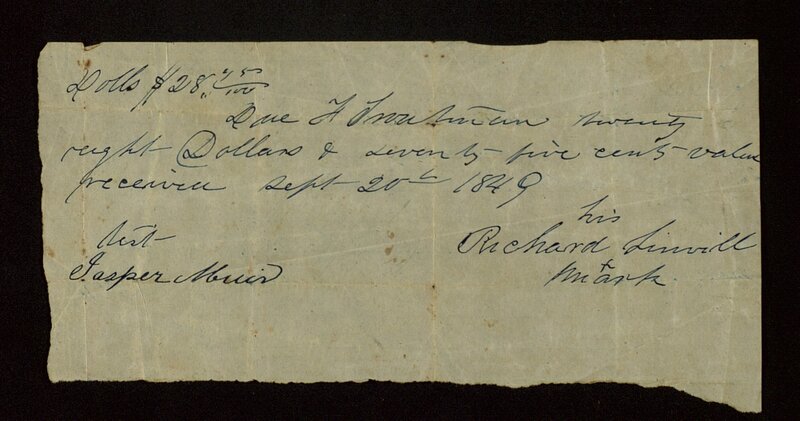 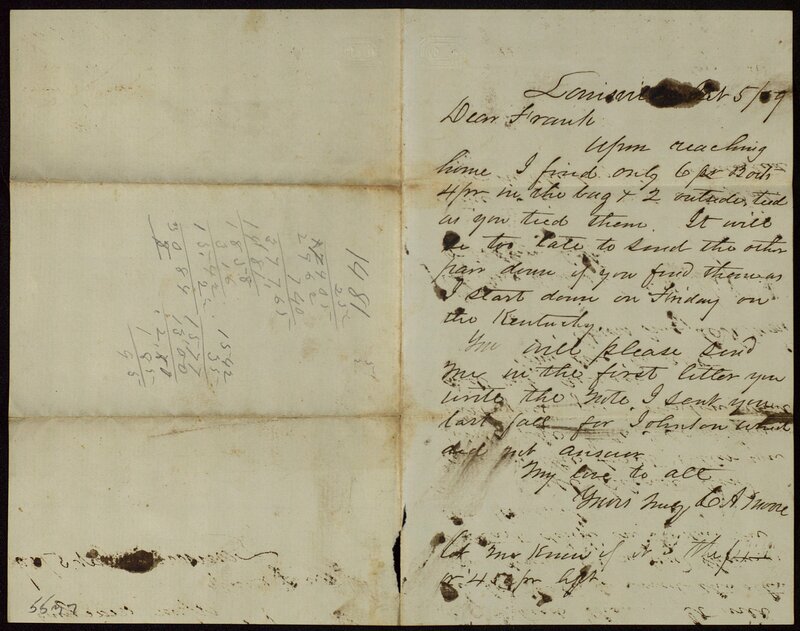 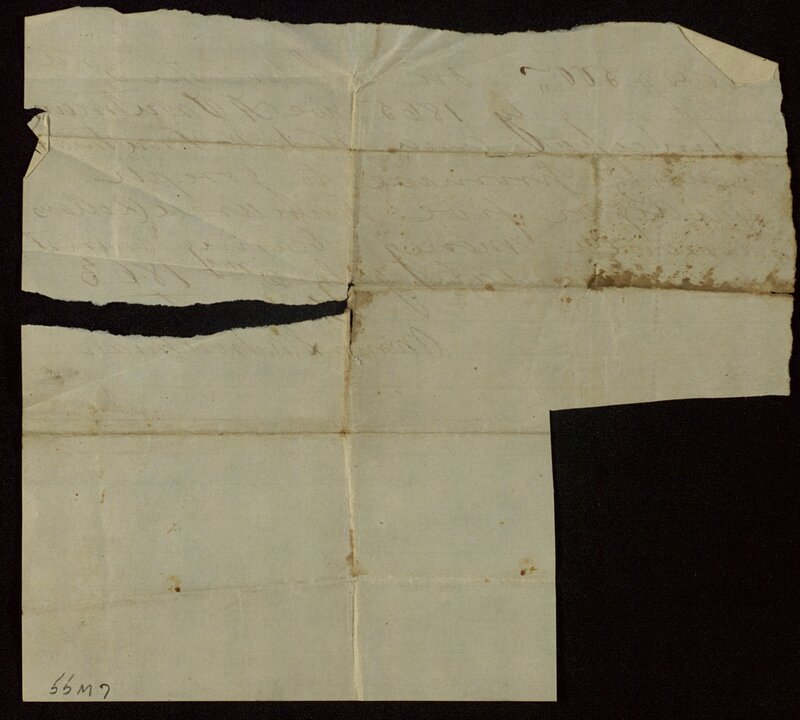 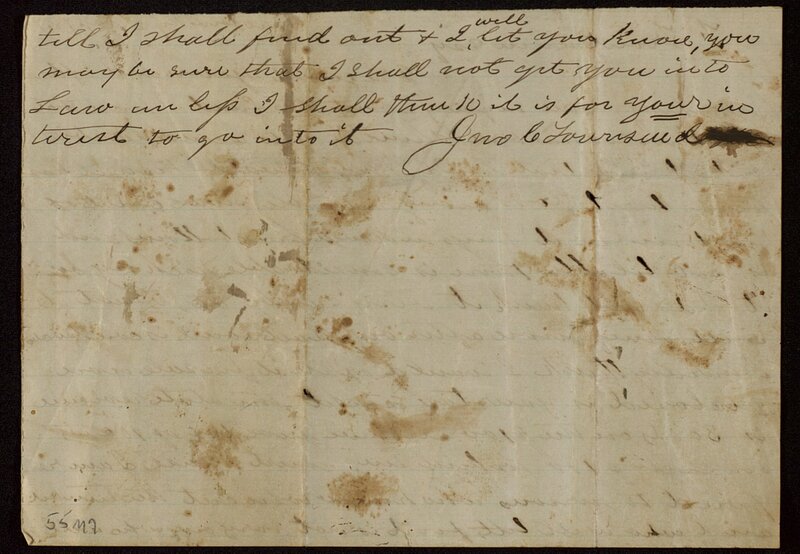 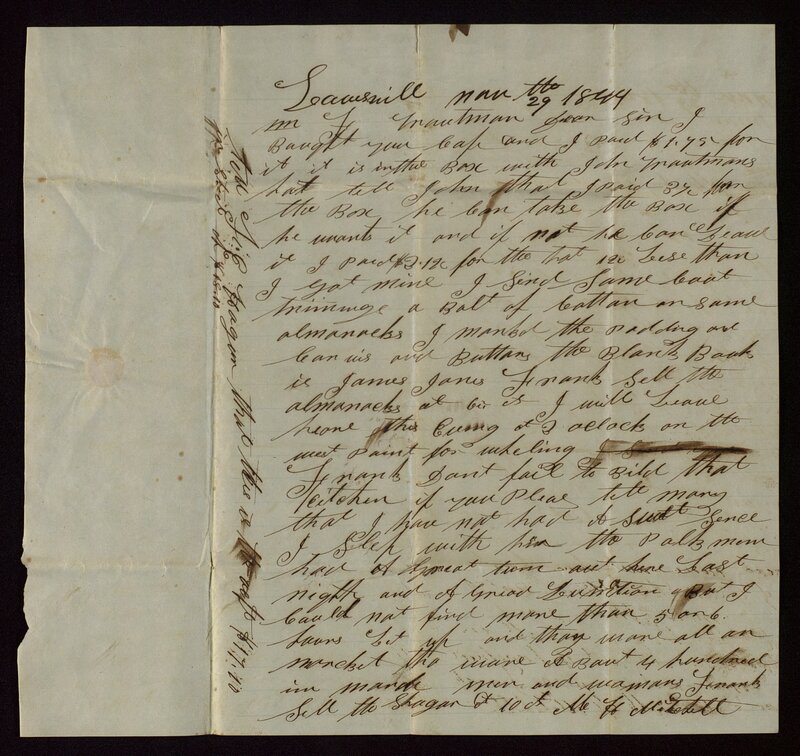 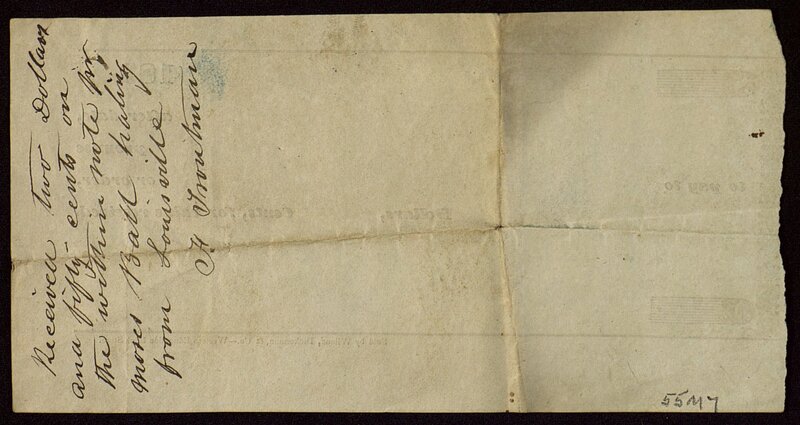 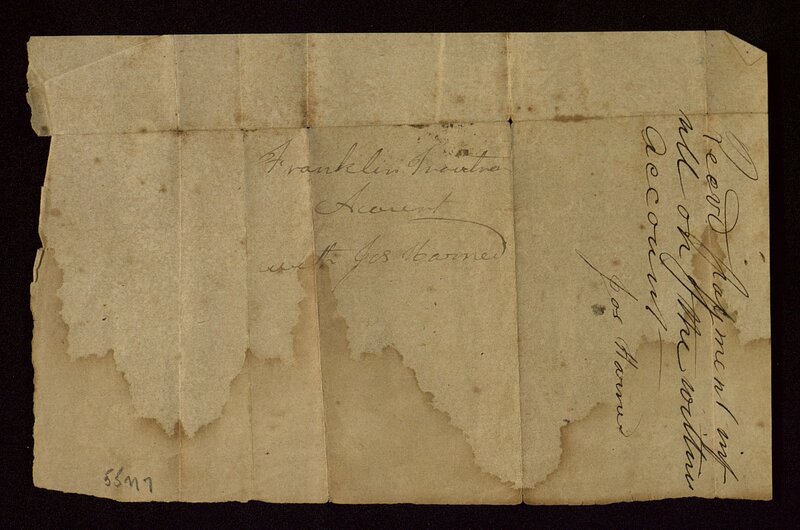 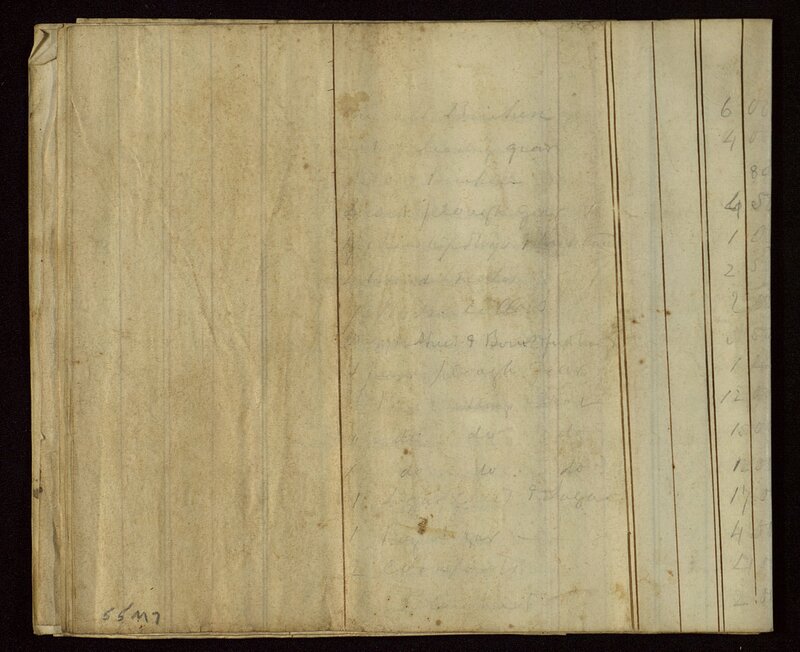 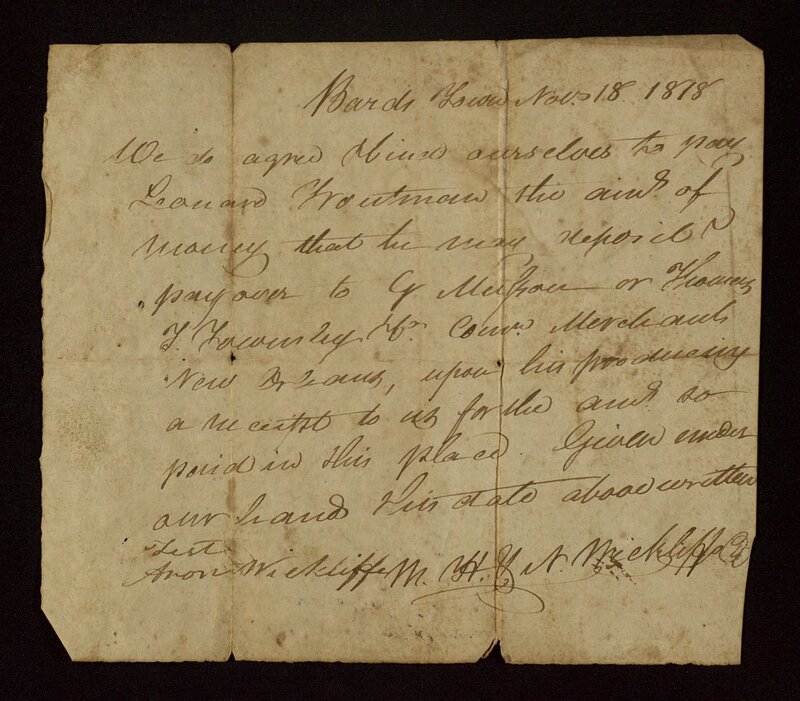 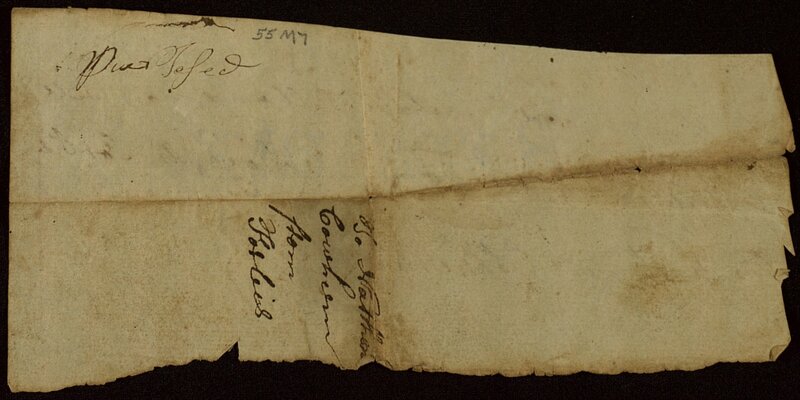 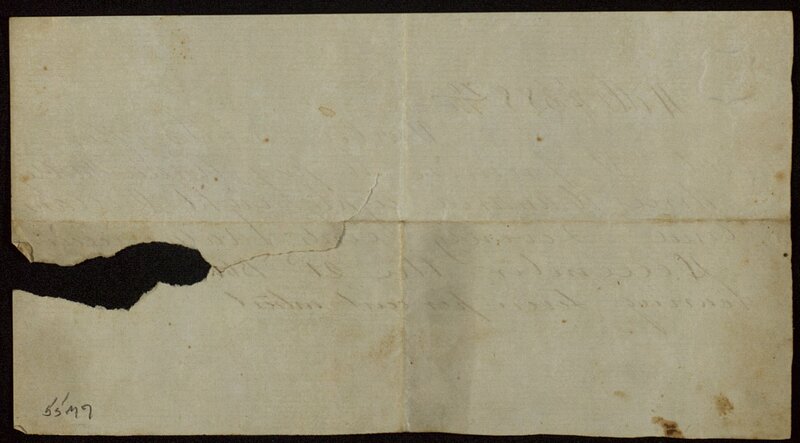 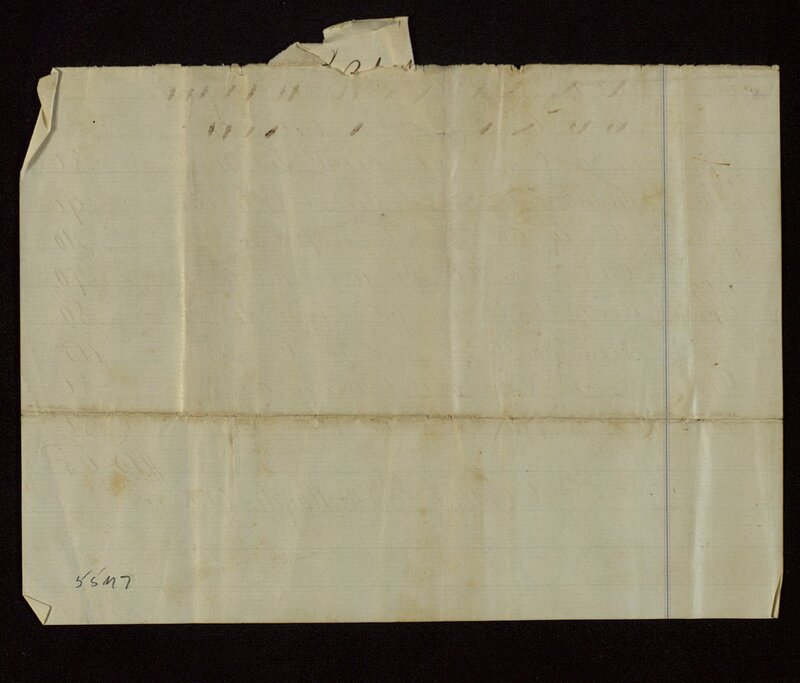 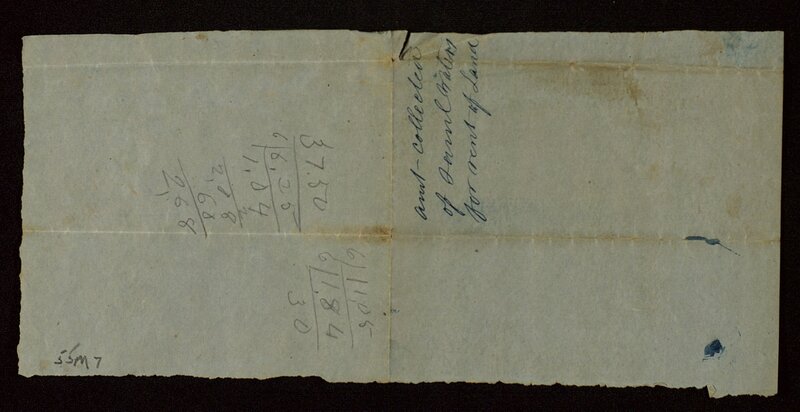 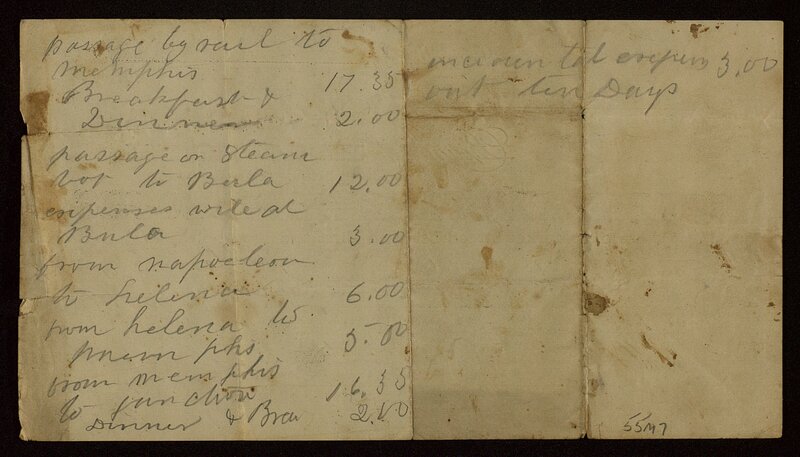 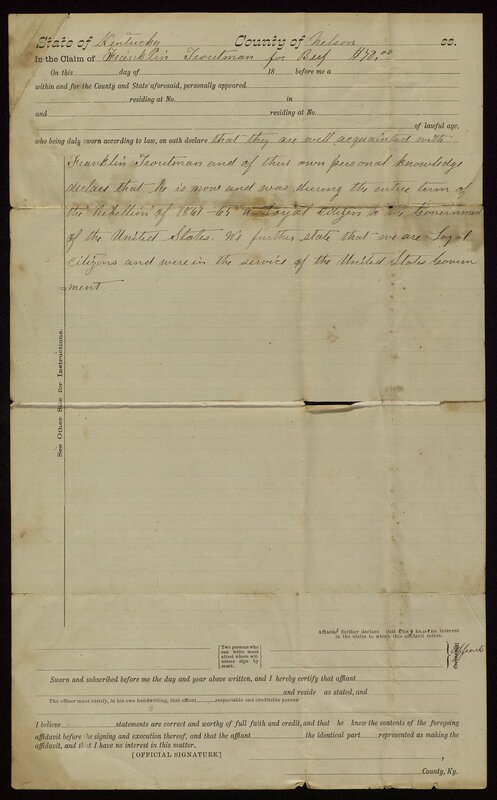 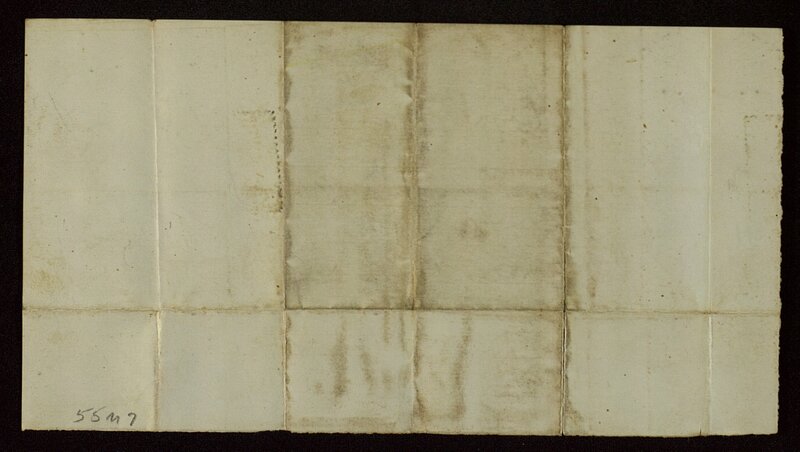 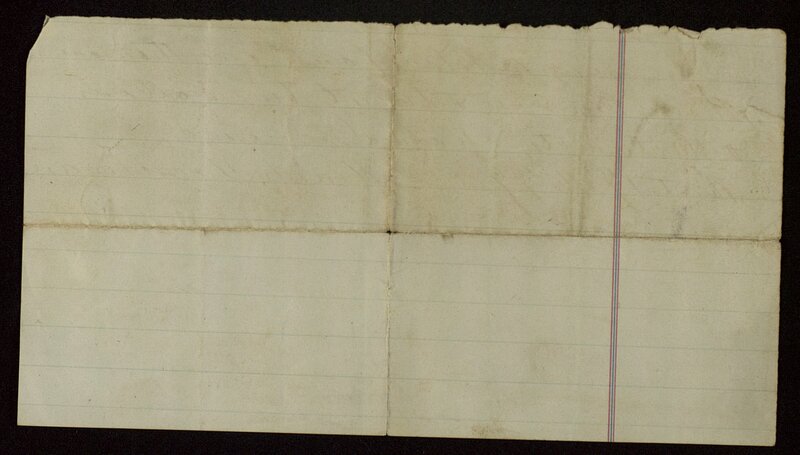 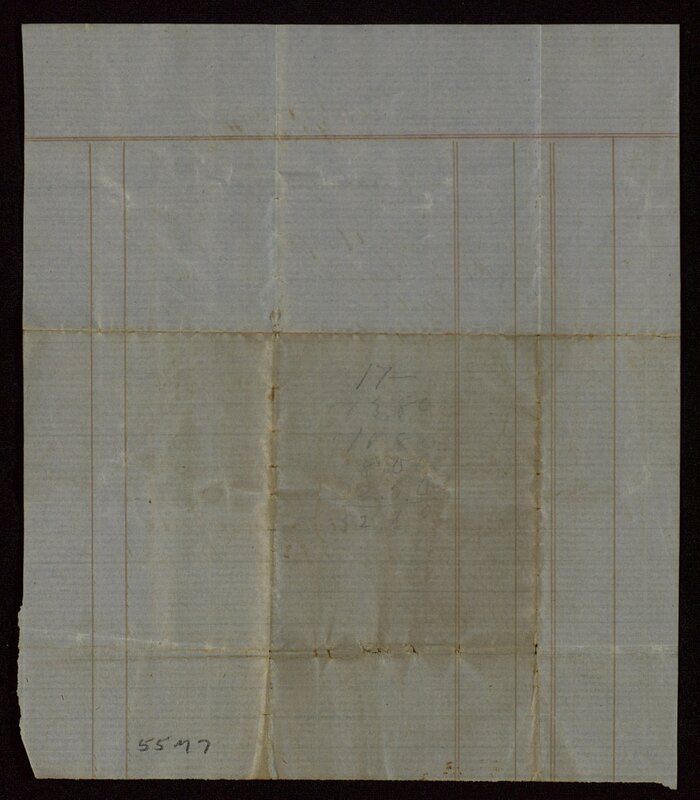 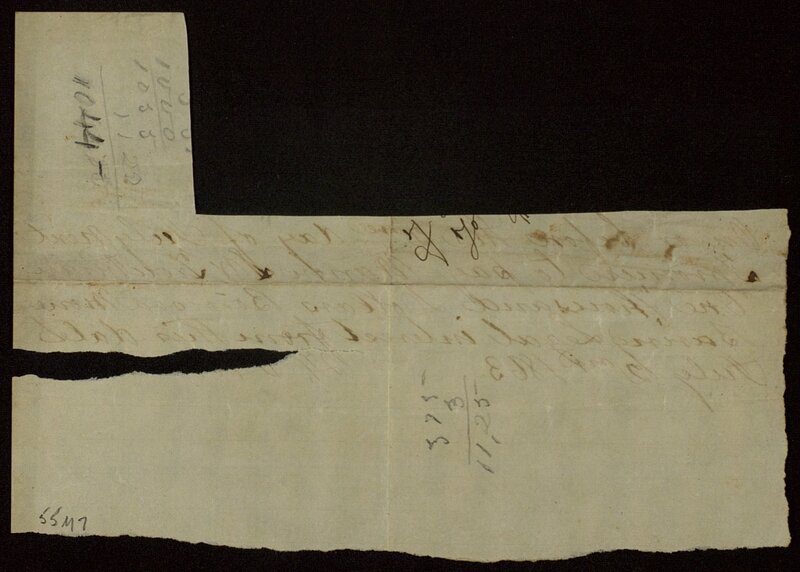 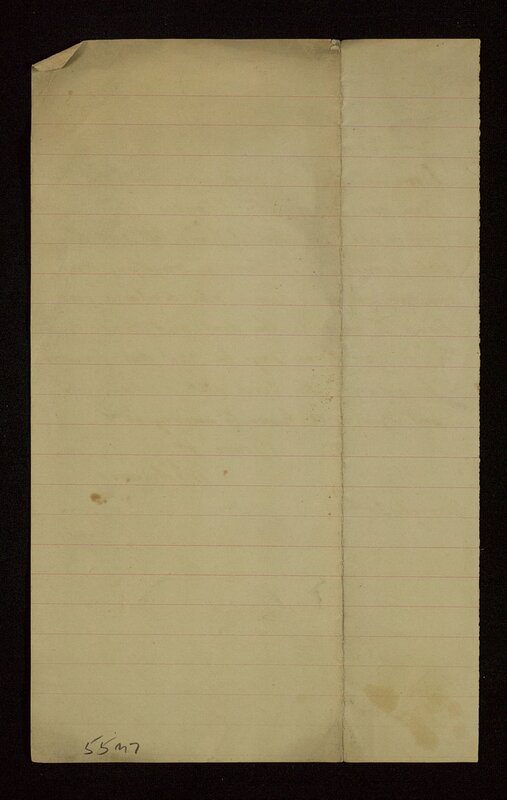 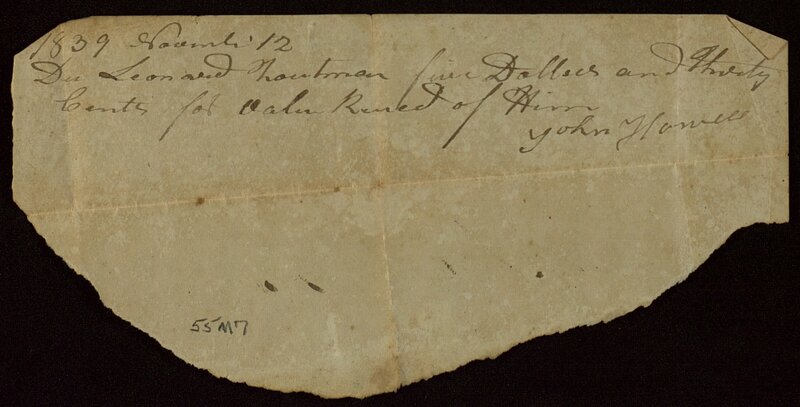 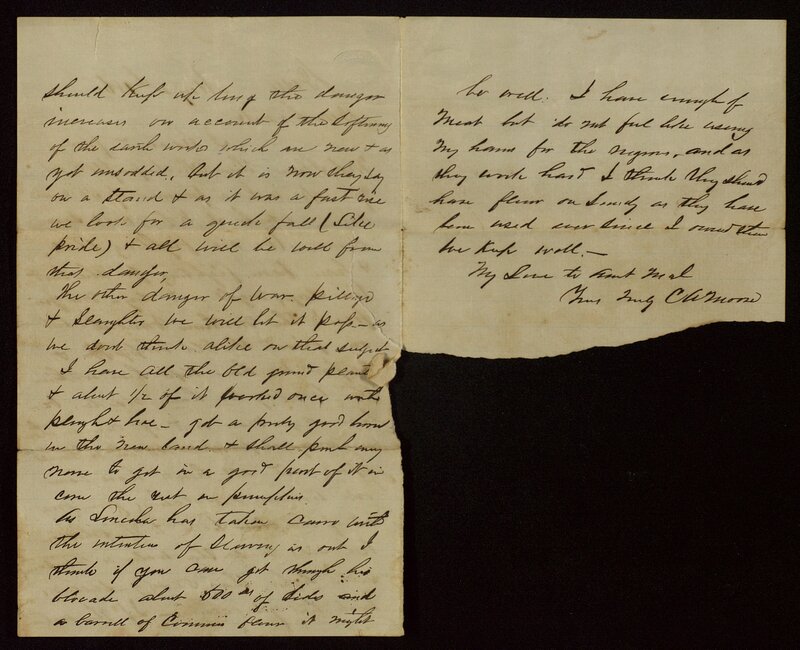 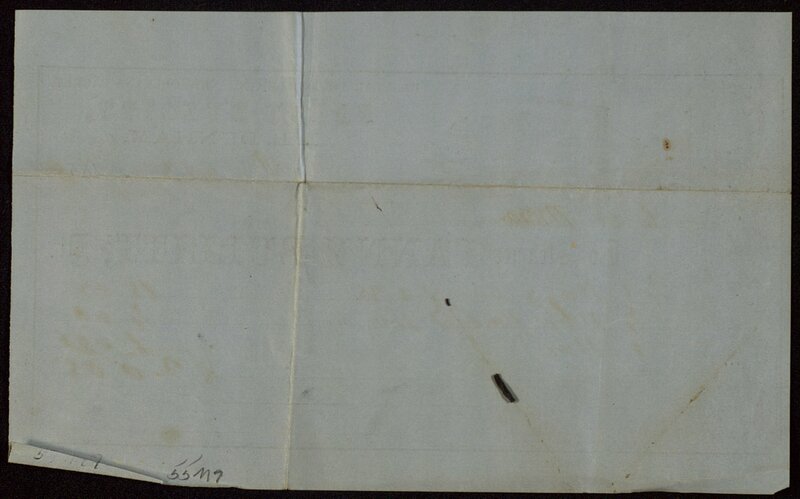 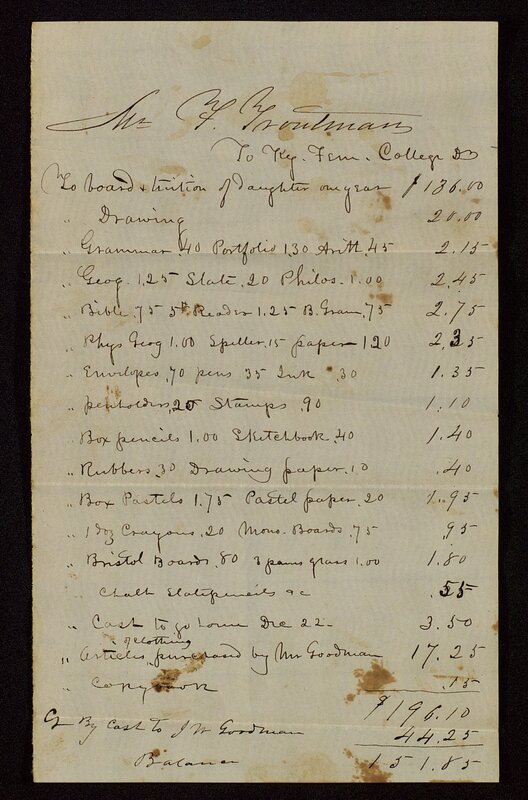 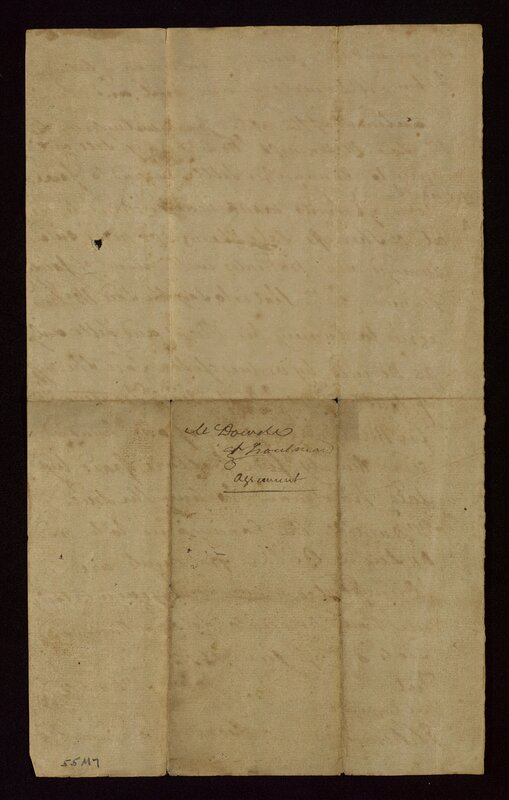 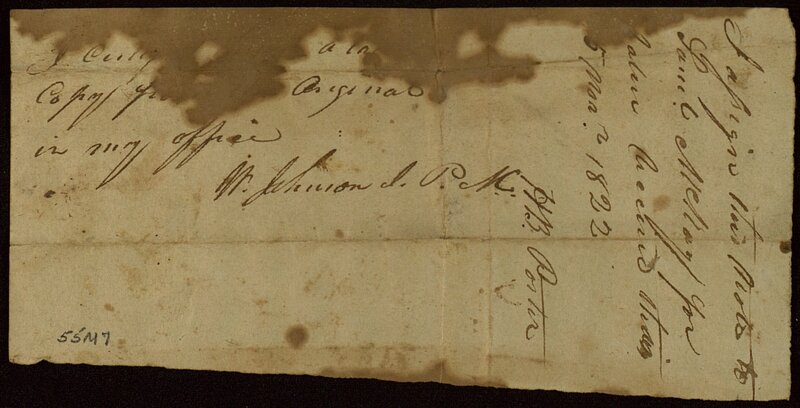 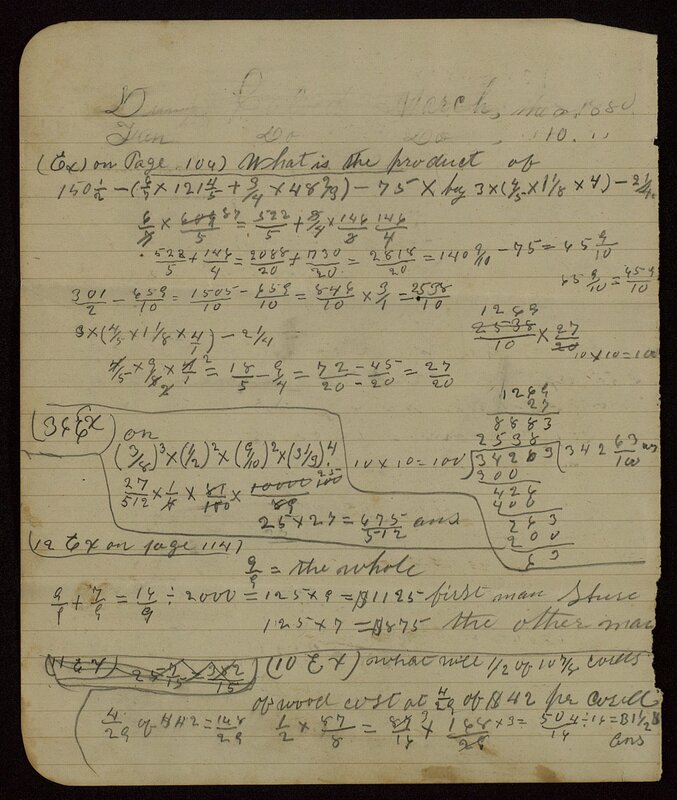 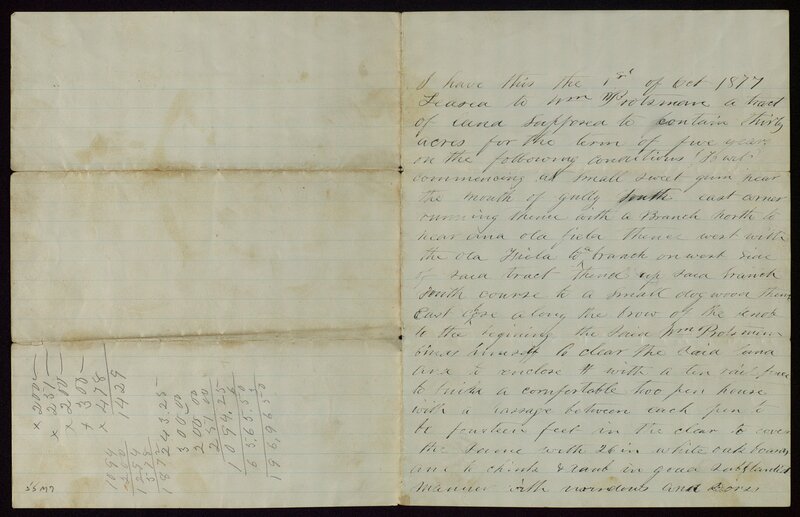 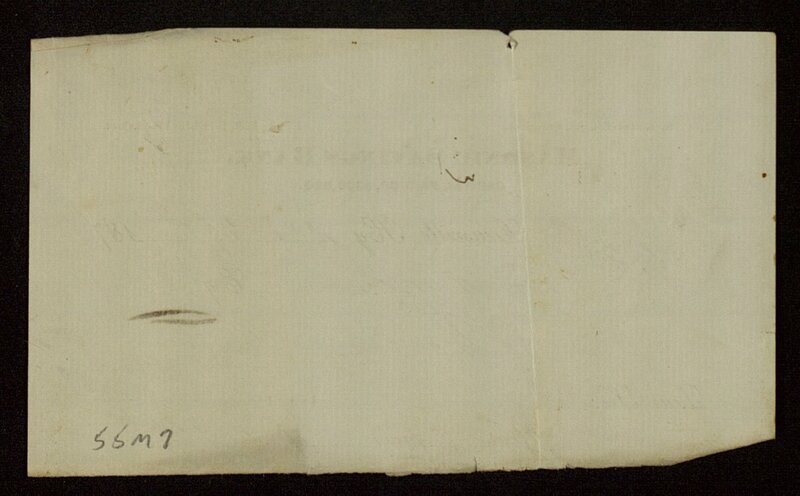 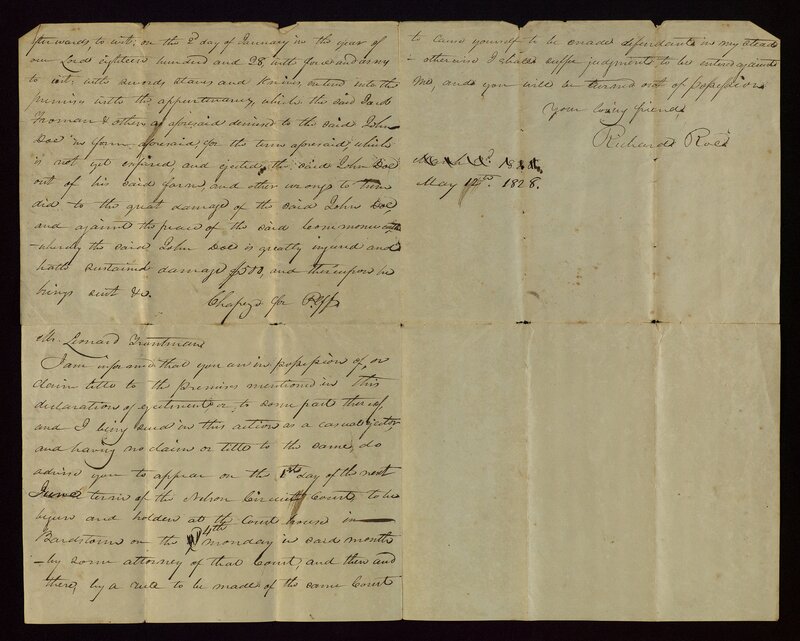 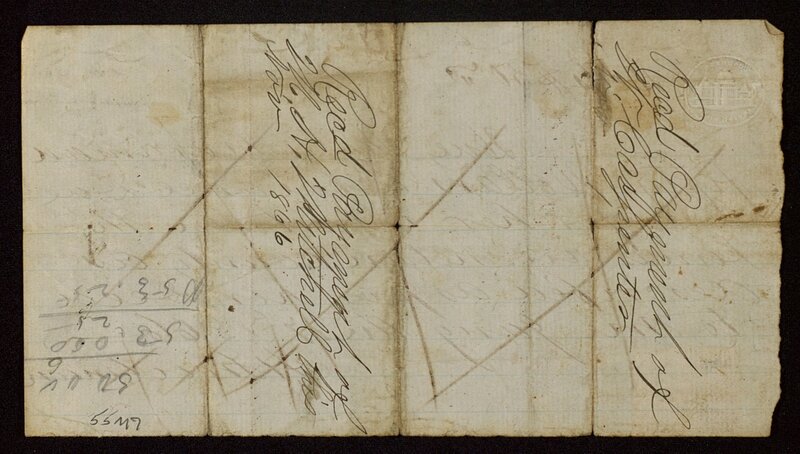 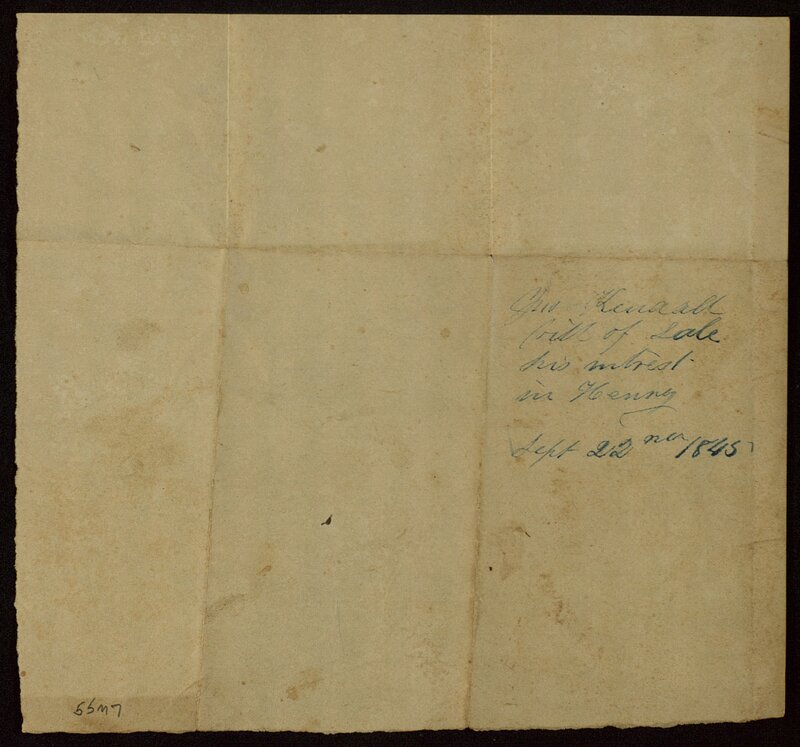 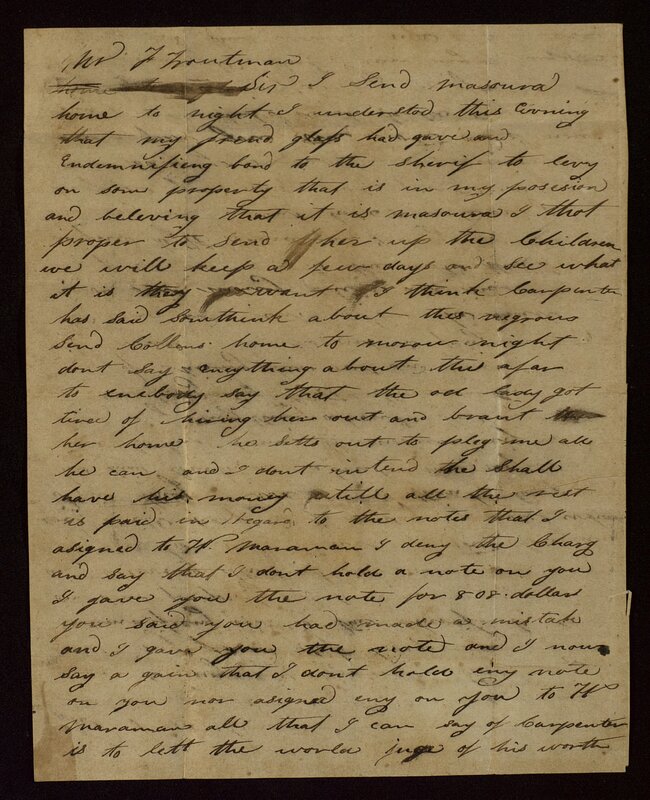 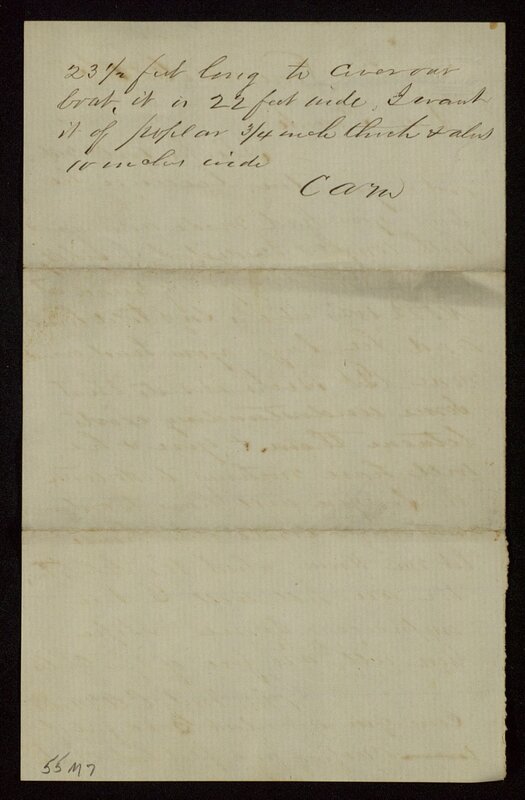 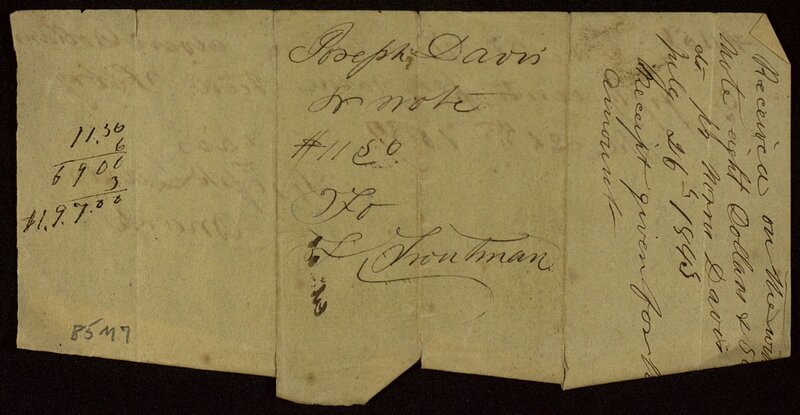 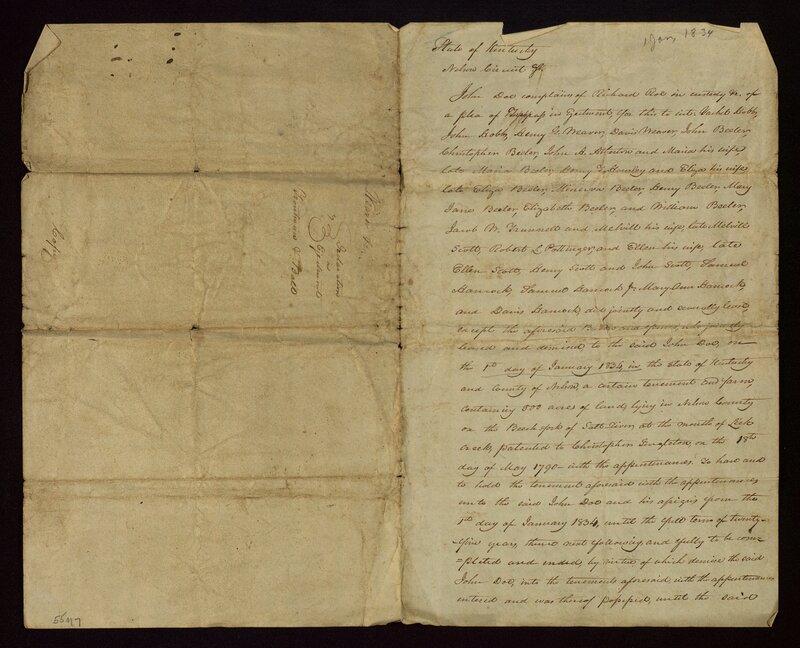 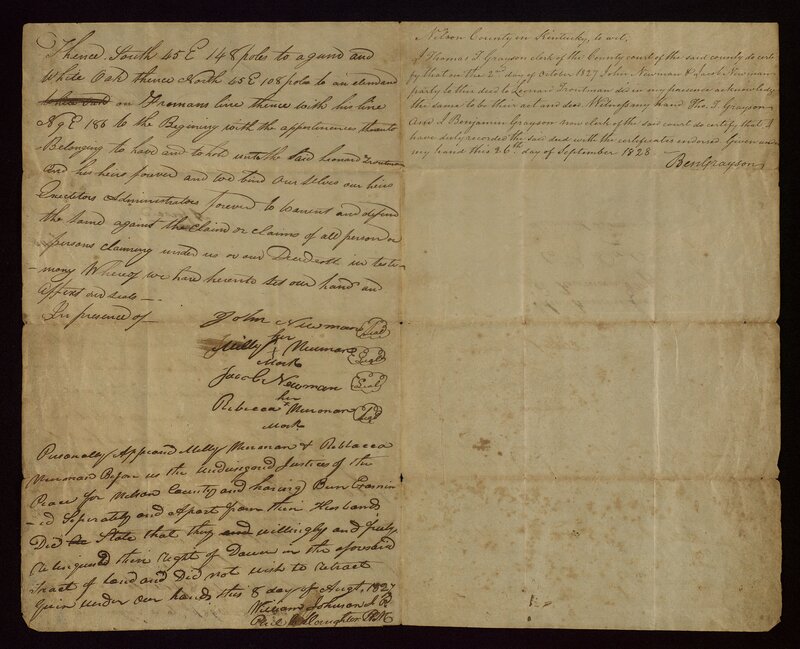 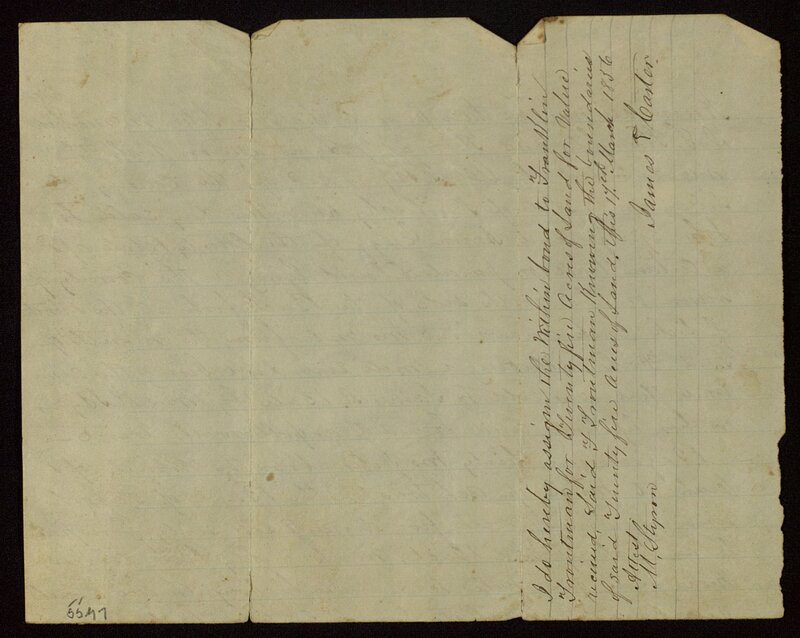 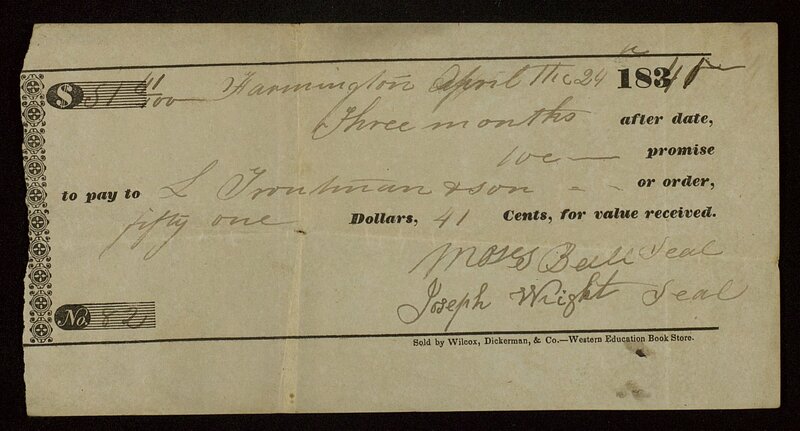 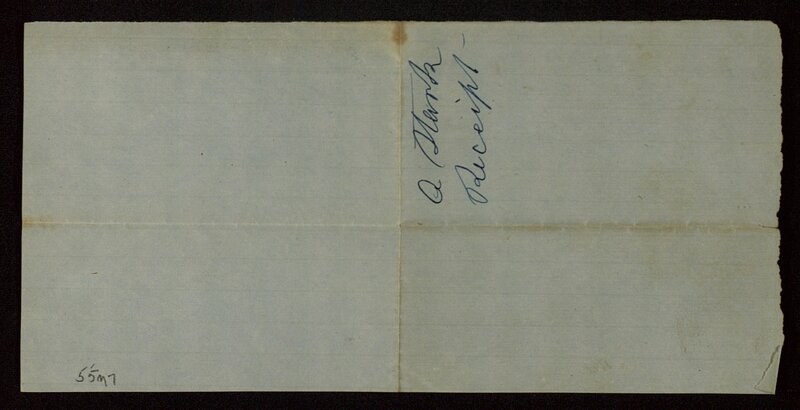 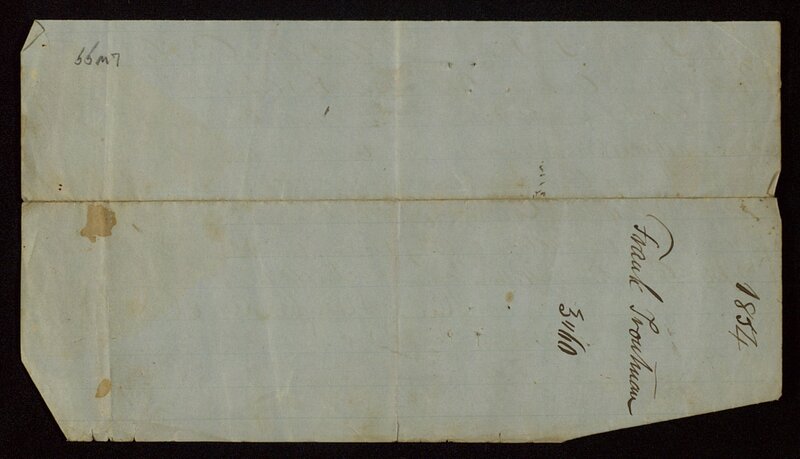 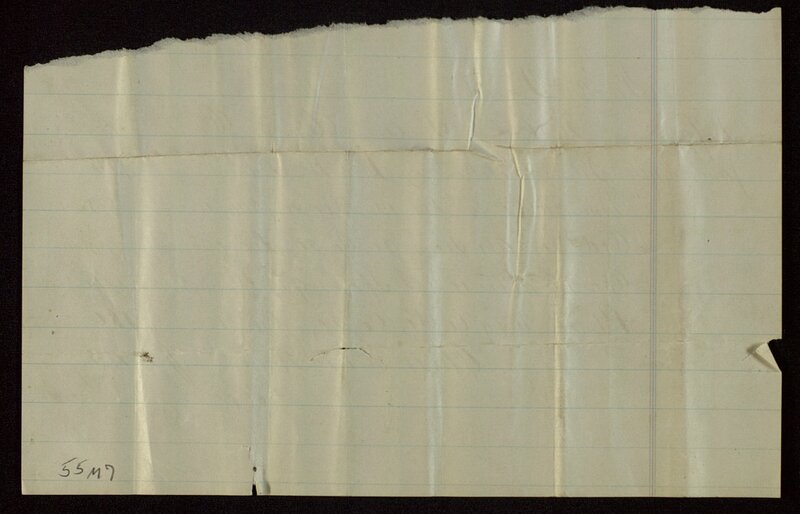 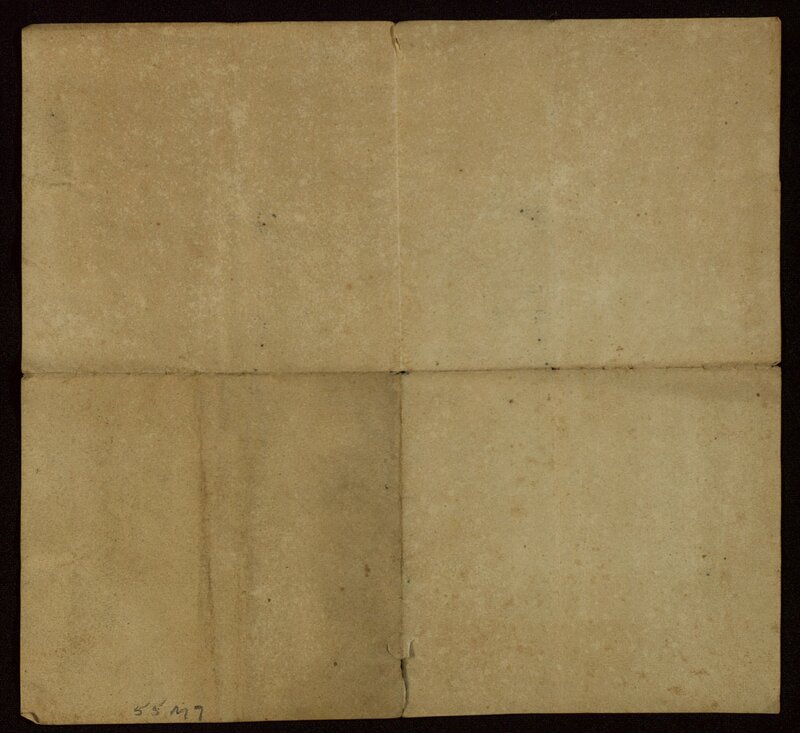 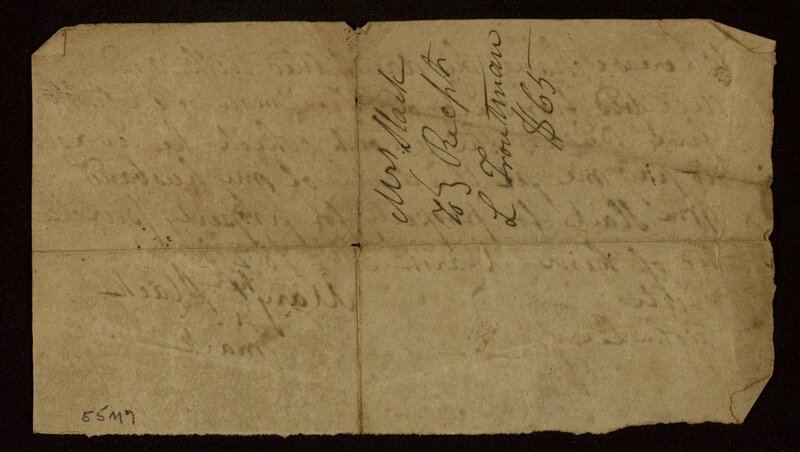 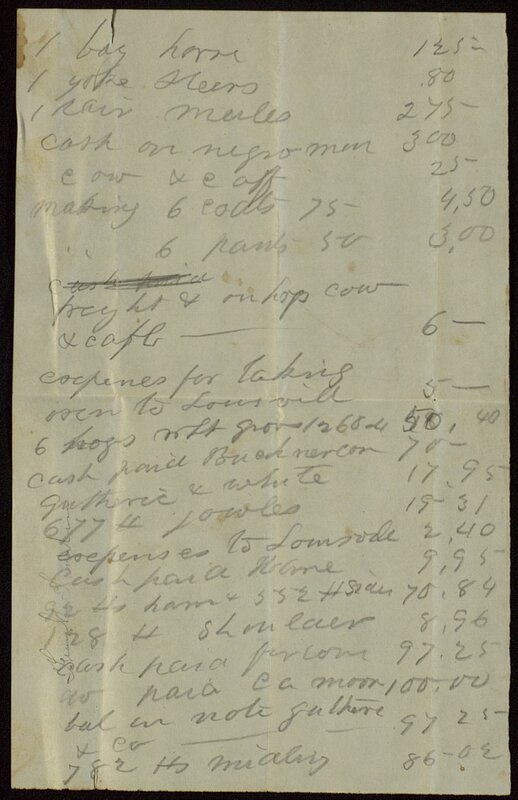 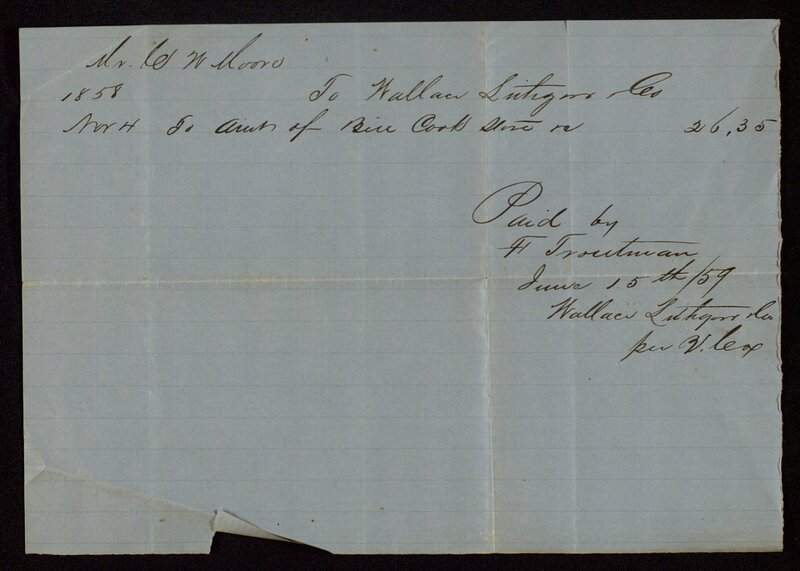 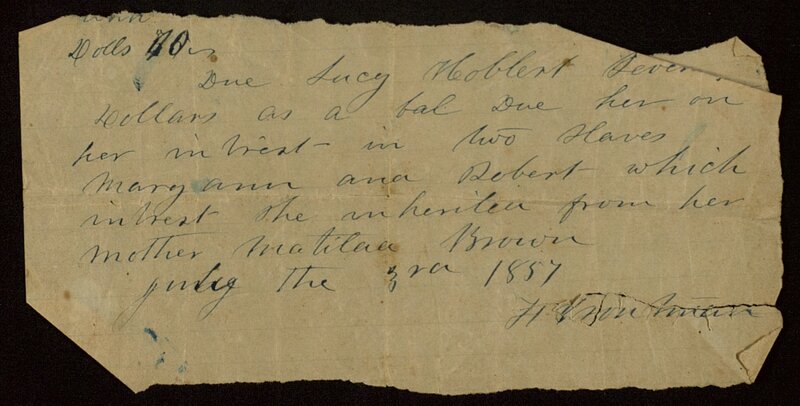 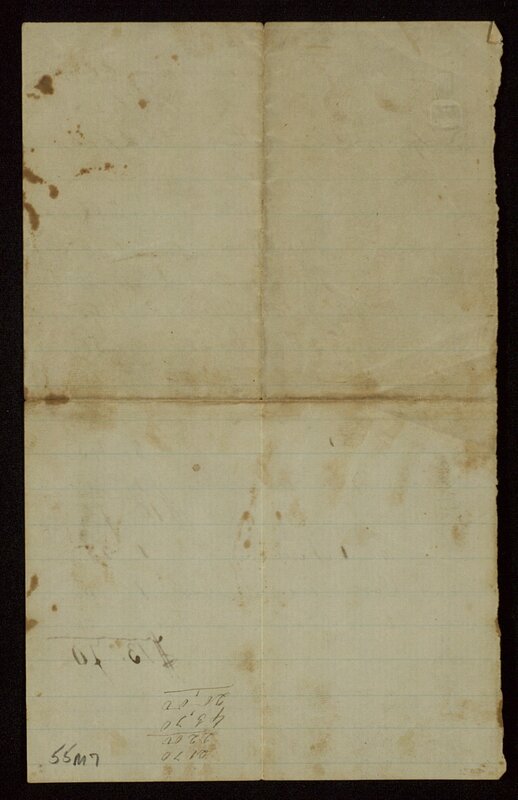 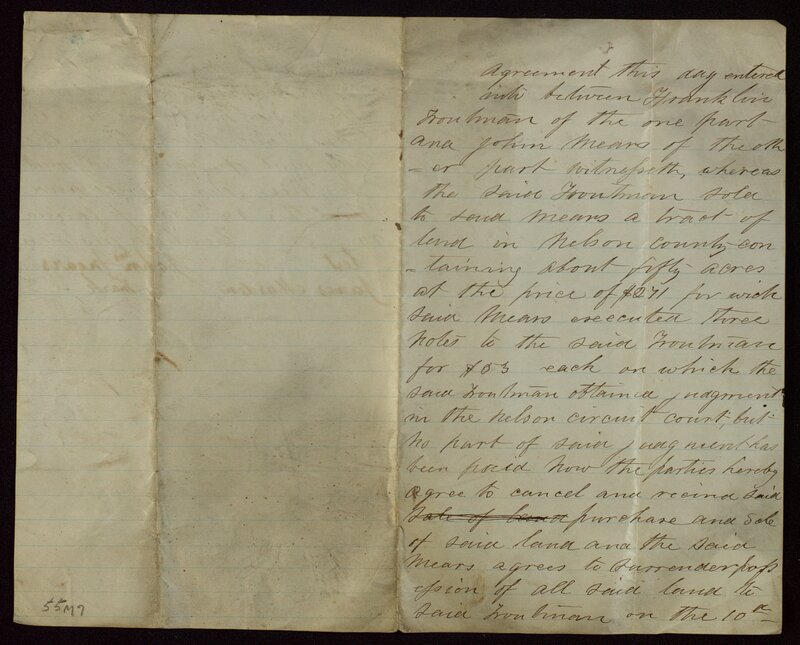 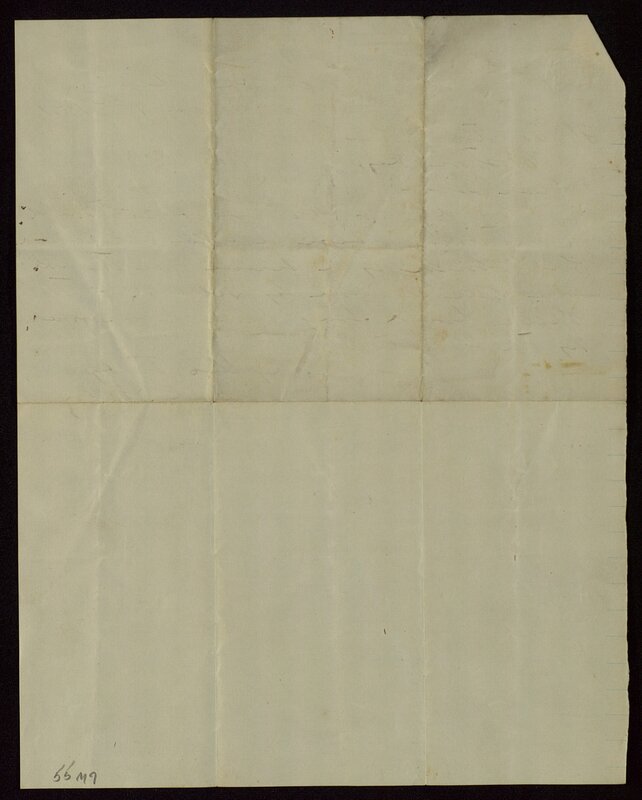 55M7 : [Identification of item], Troutman family papers, 1779-1885, University of Kentucky Special Collections. 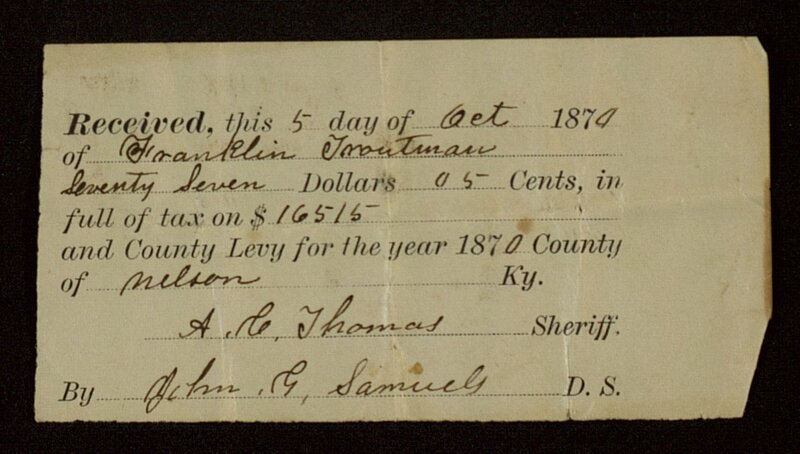 Leonard Troutman (1776-1841) lived near the Old Boston settlement in Nelson County, Ky. and operated a farm, tannery, and store. 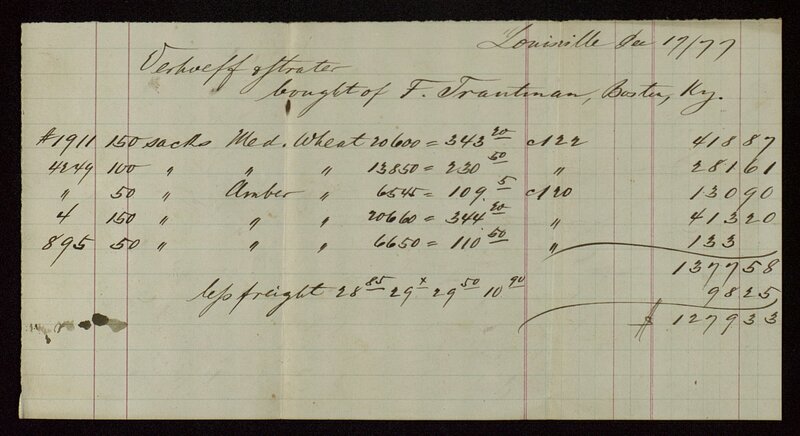 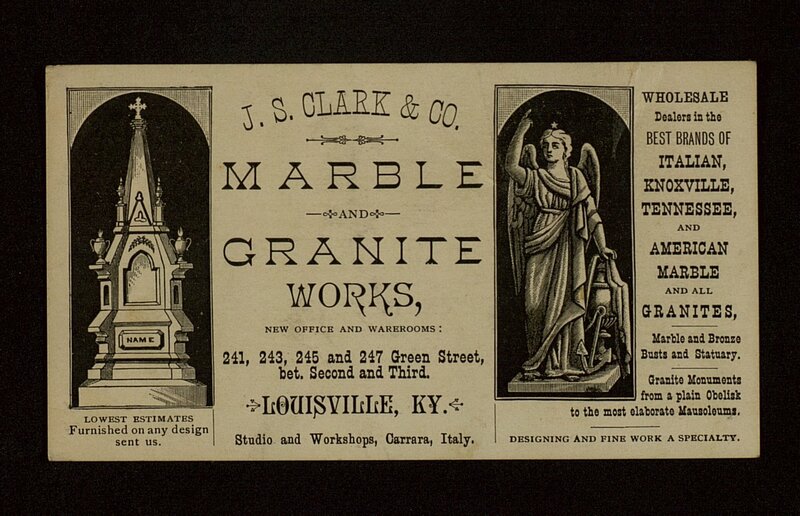 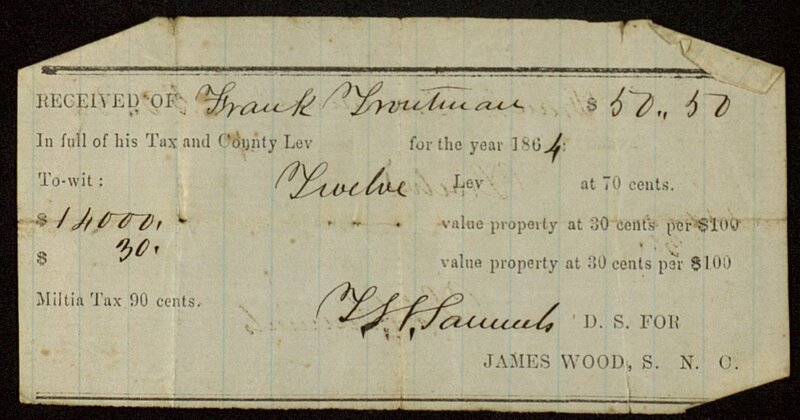 After Troutman's death, his son, Franklin Troutman (1812-1883), continued the business and expanded into farming in Arkansas with his partner W. A. Moore of Jefferson County, Ky. 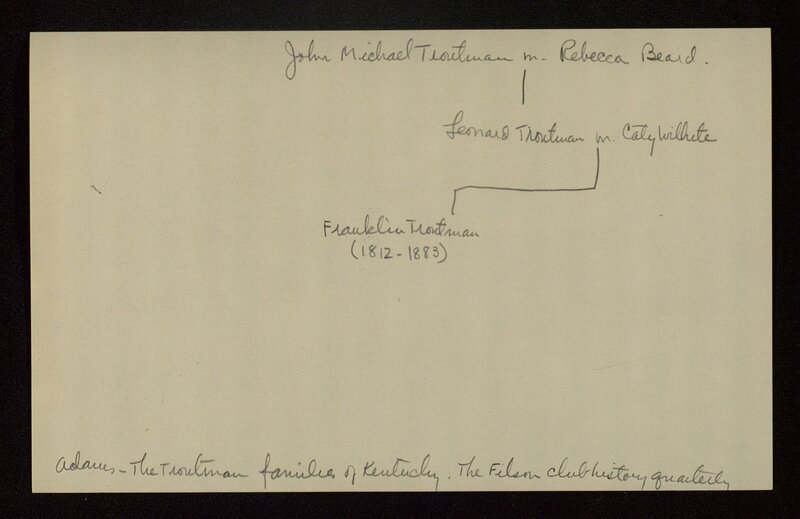 The Troutman family papers include financial records, business records, legal documents and some correspondence of the Troutman family of Nelson County, Ky. 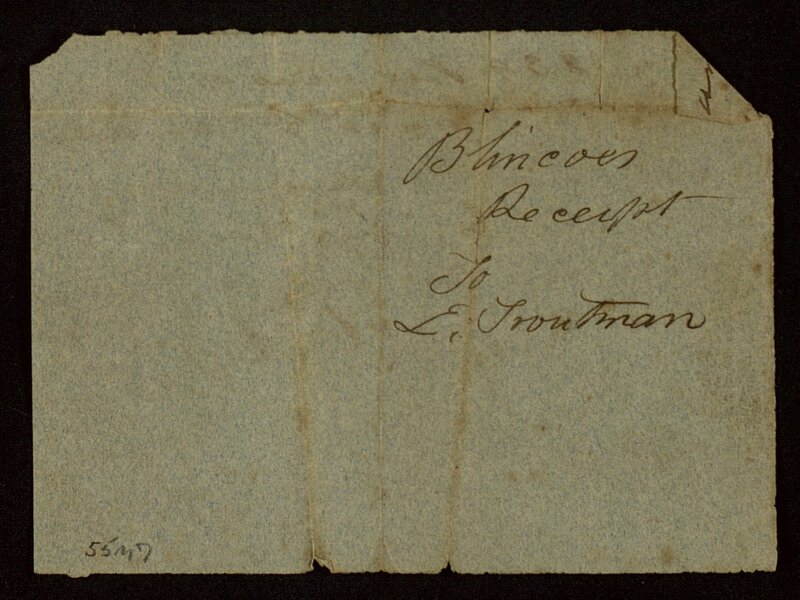 The majority of the correspondence originated with Leonard Troutman and his son, Franklin. 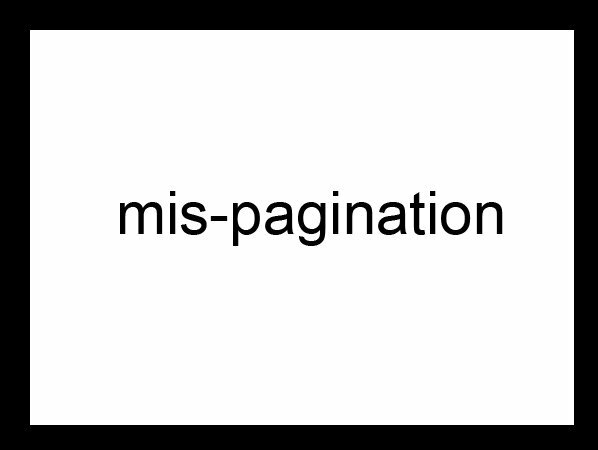 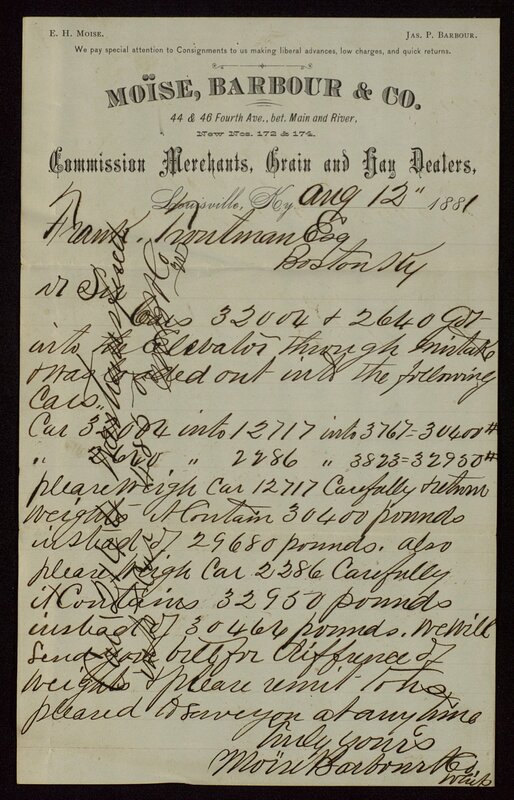 The letters deal primarily with business, although a few personal letters from relatives are included. 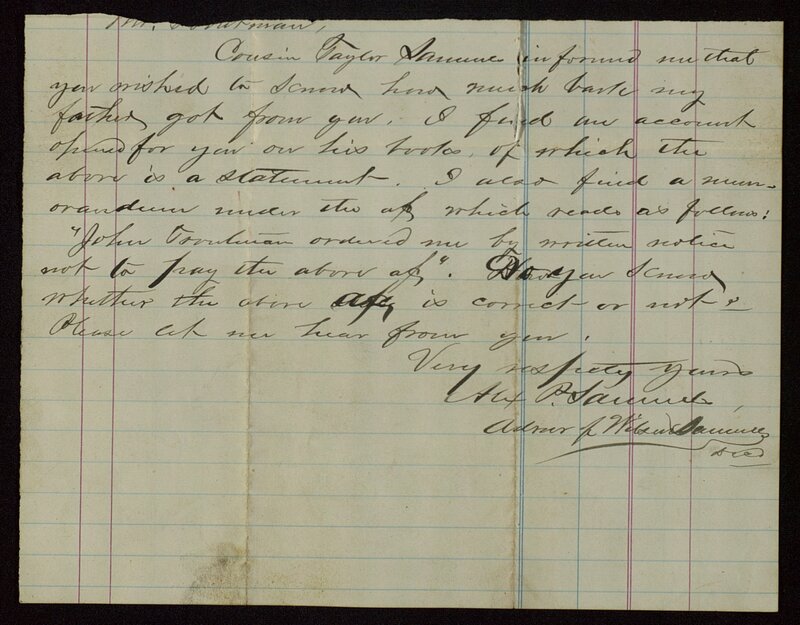 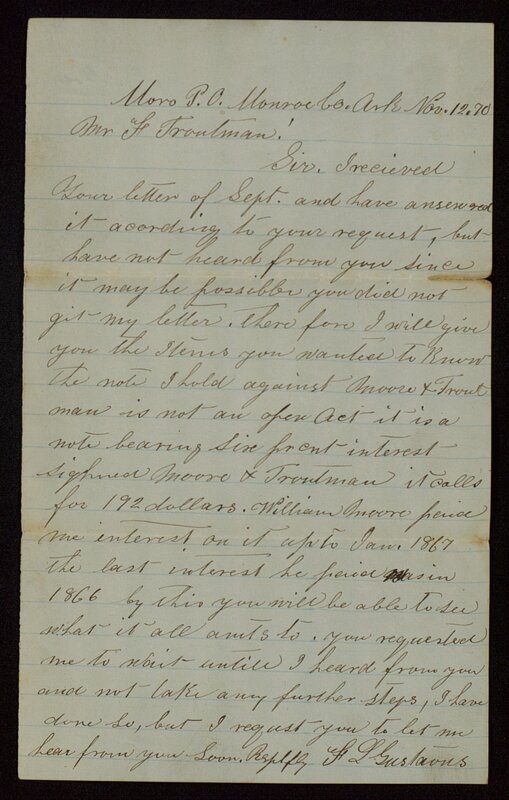 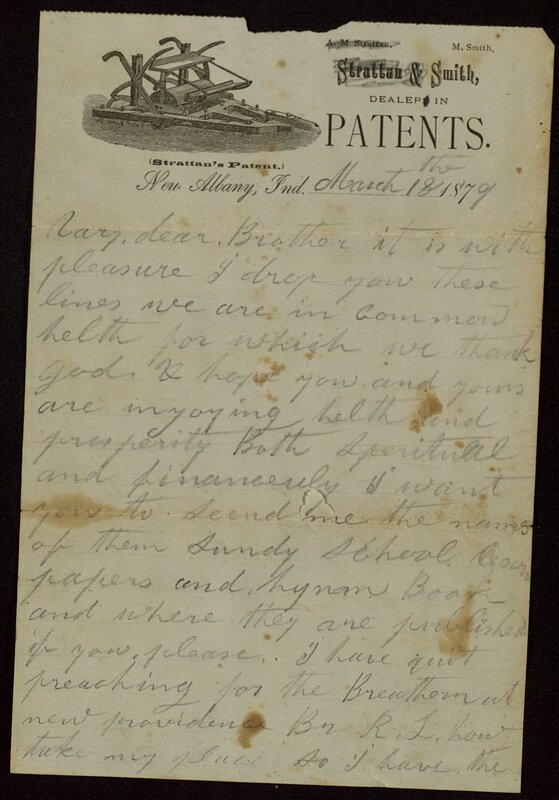 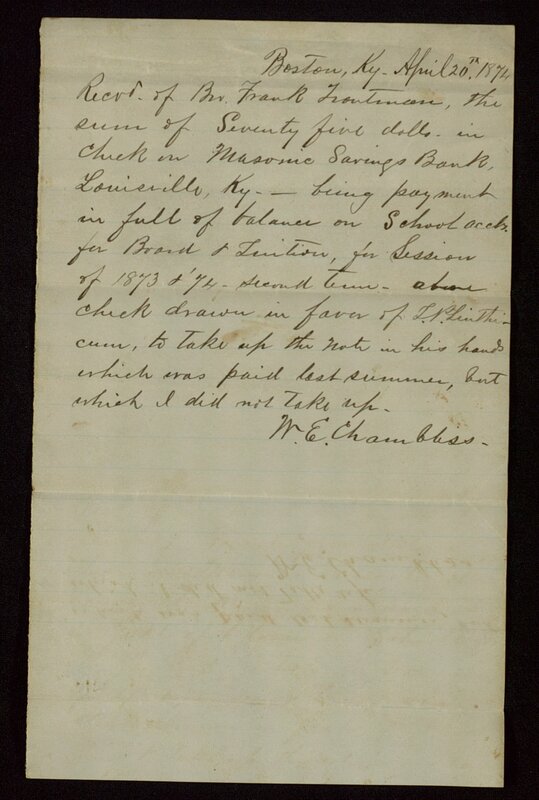 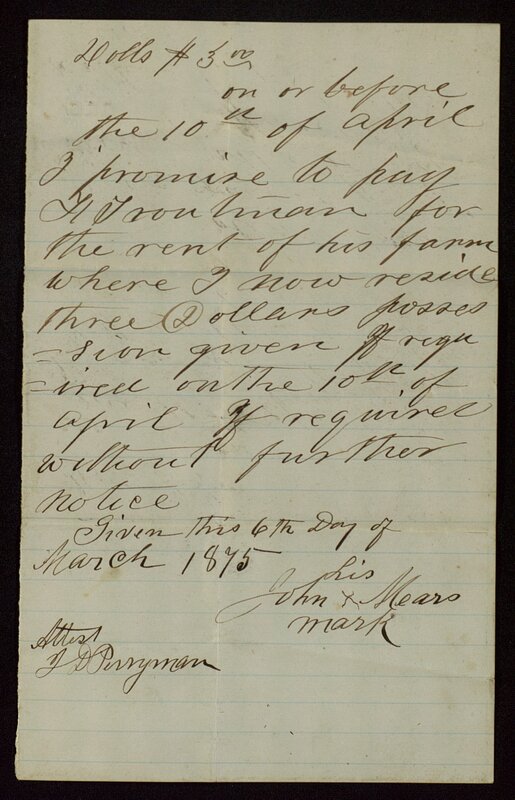 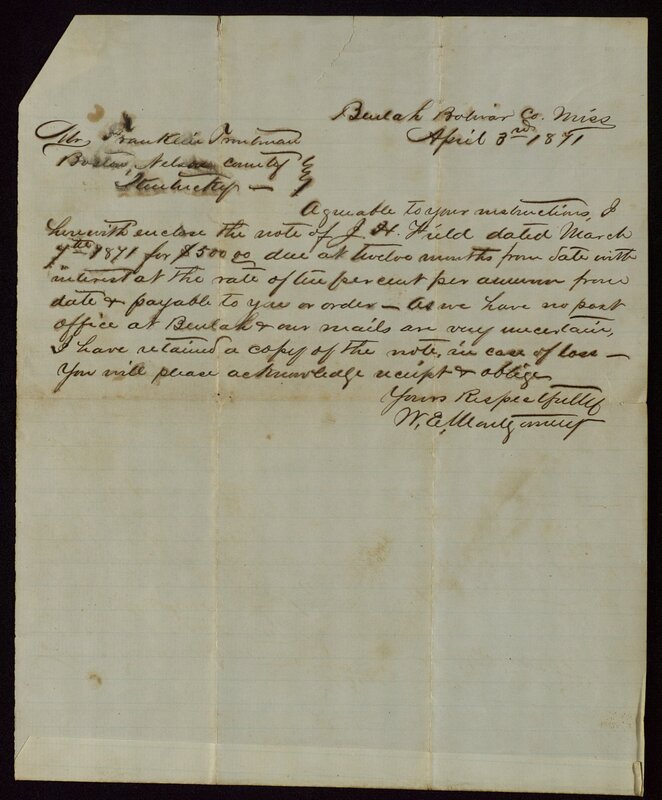 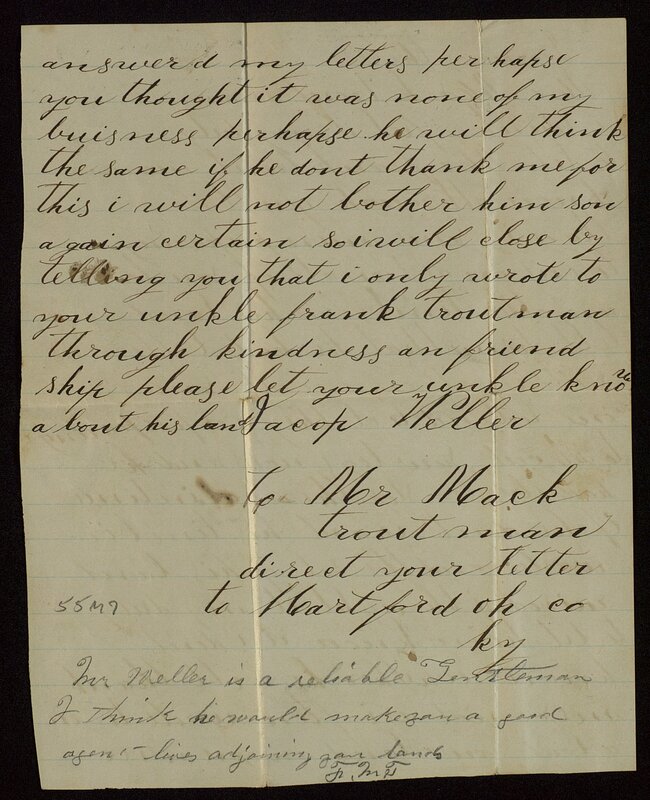 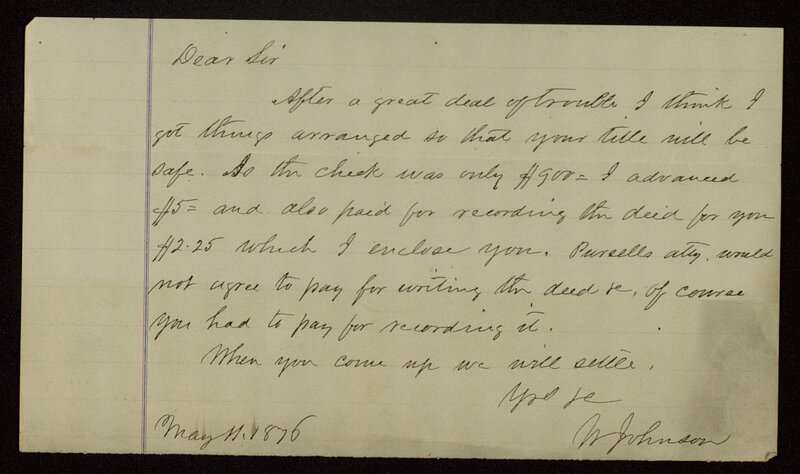 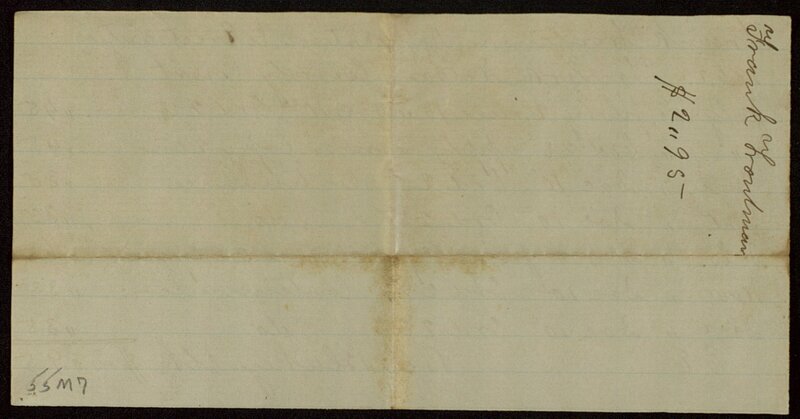 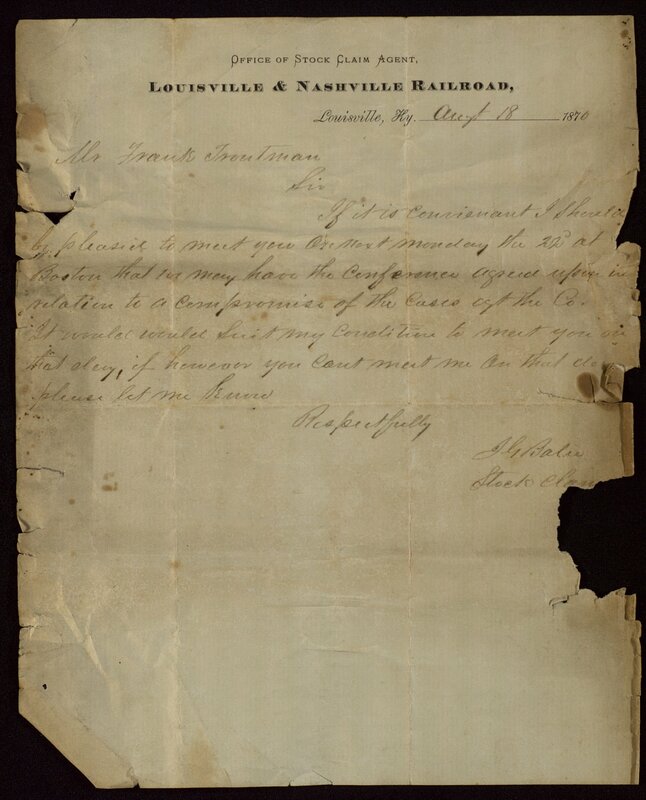 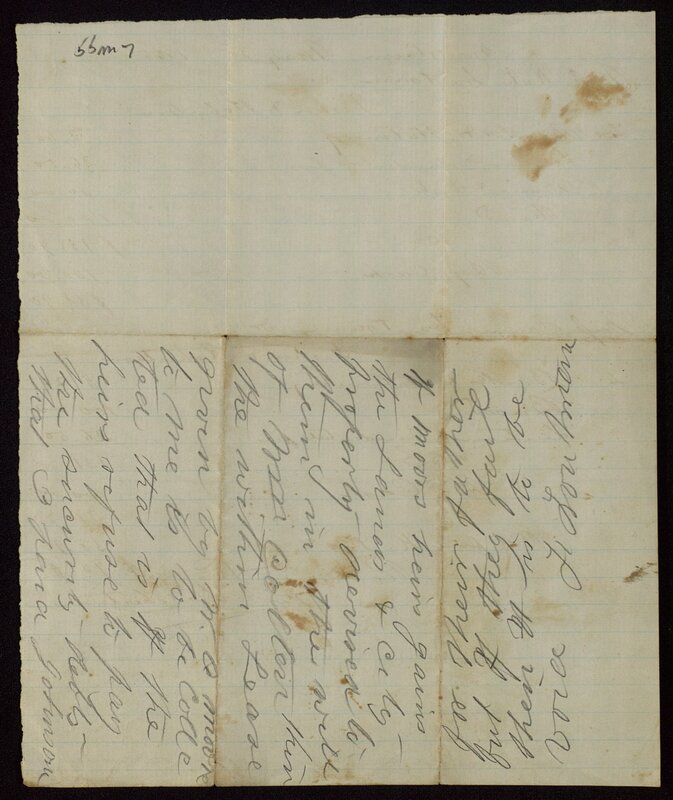 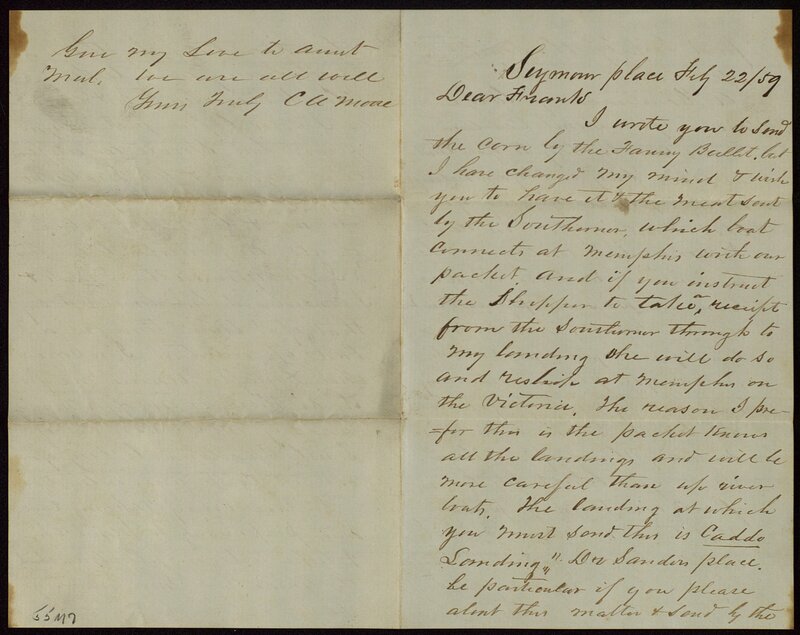 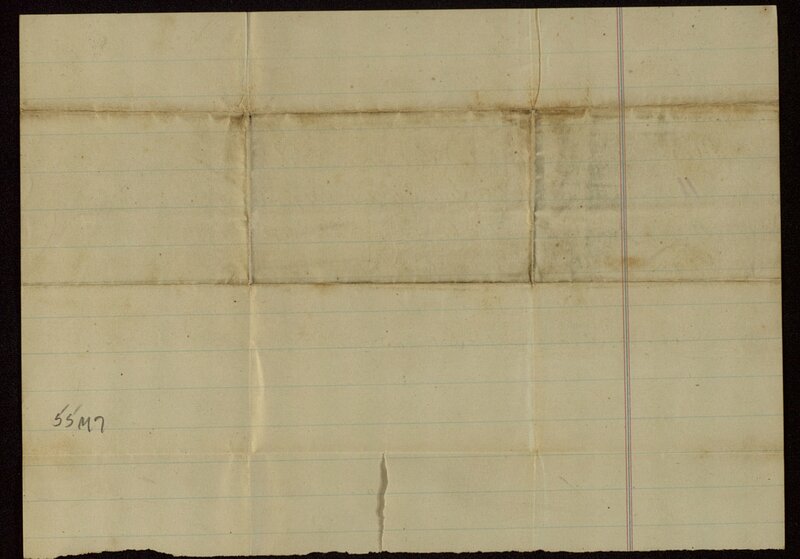 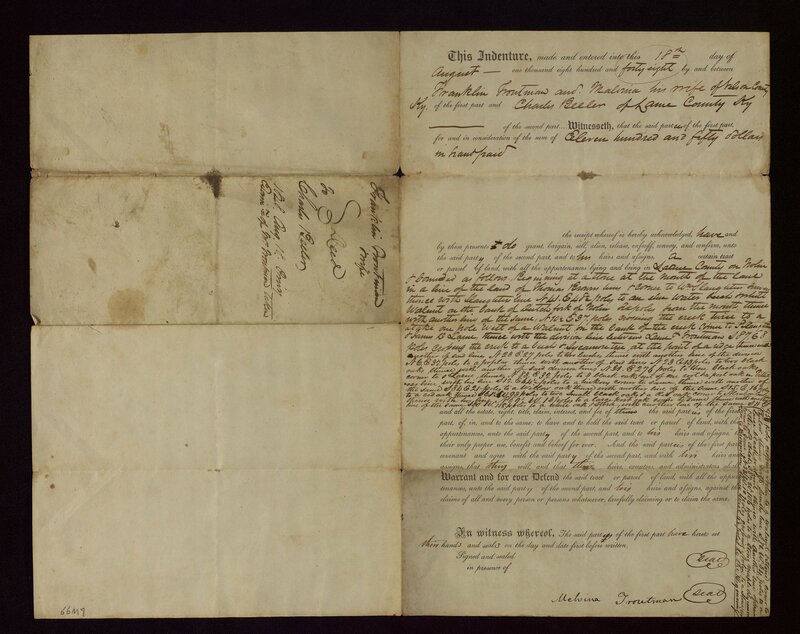 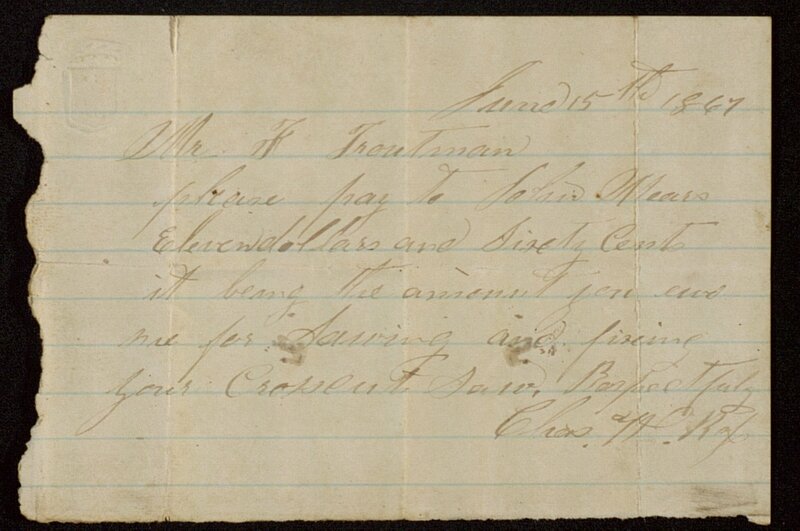 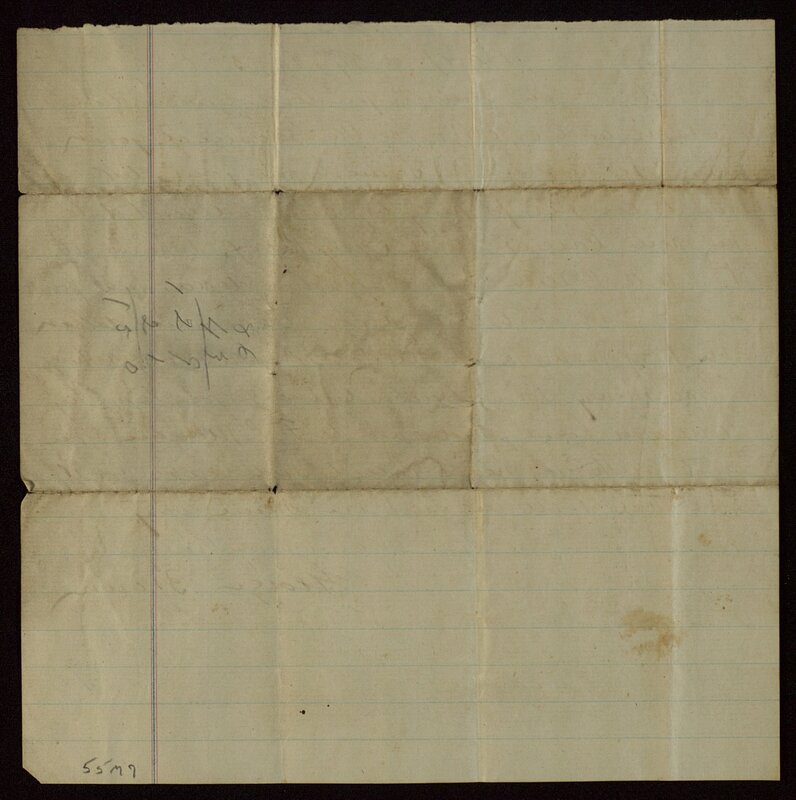 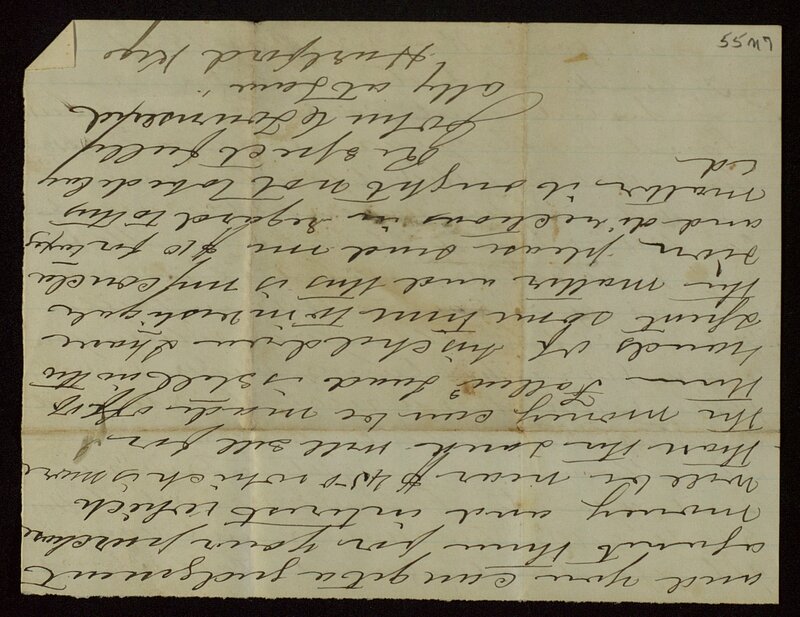 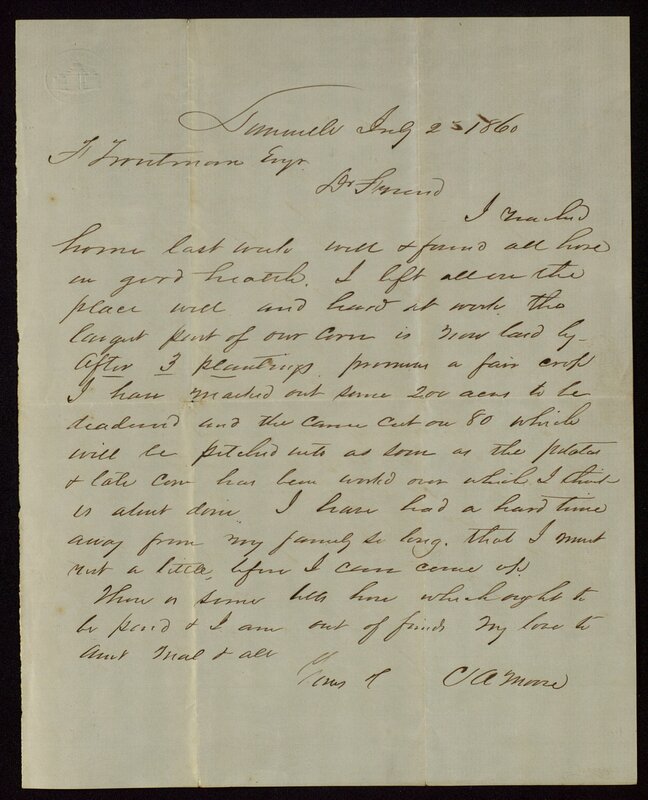 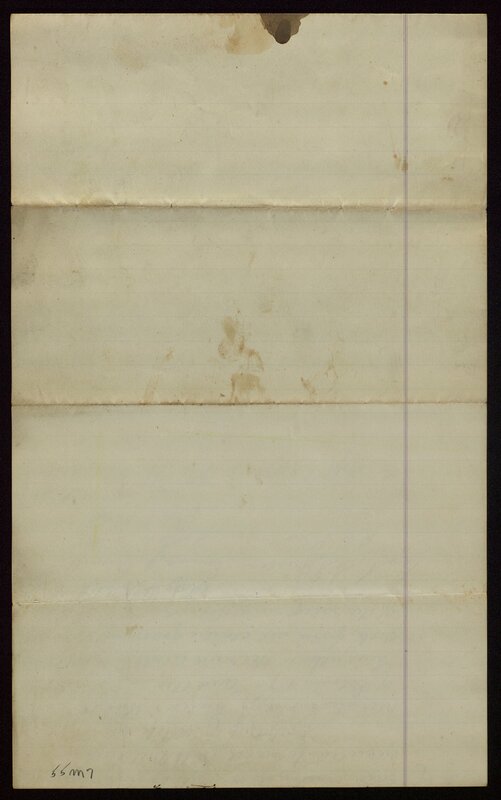 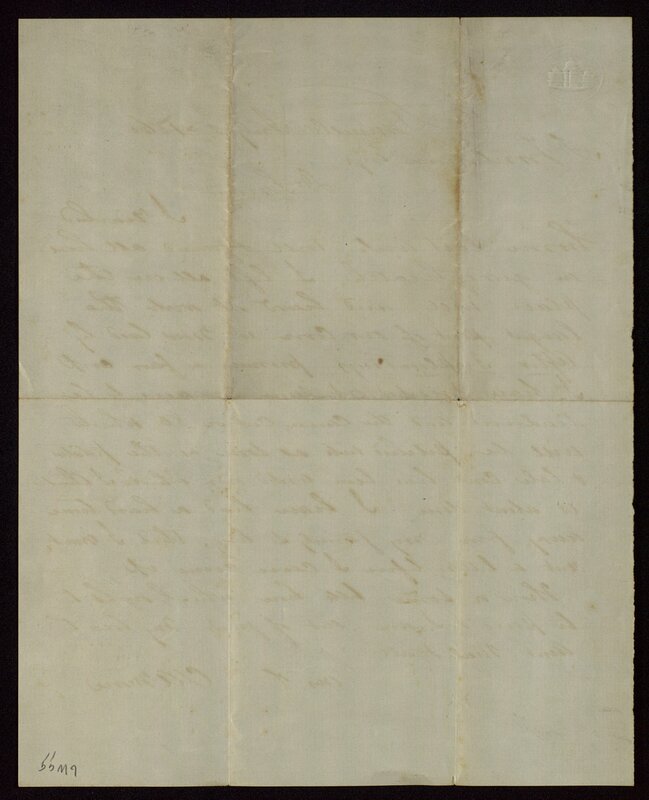 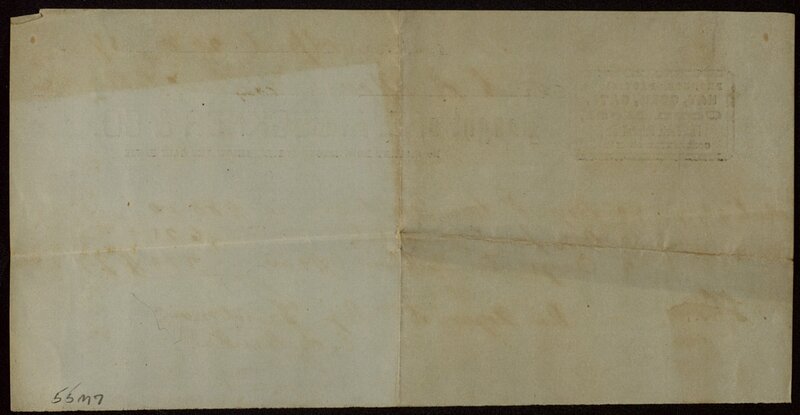 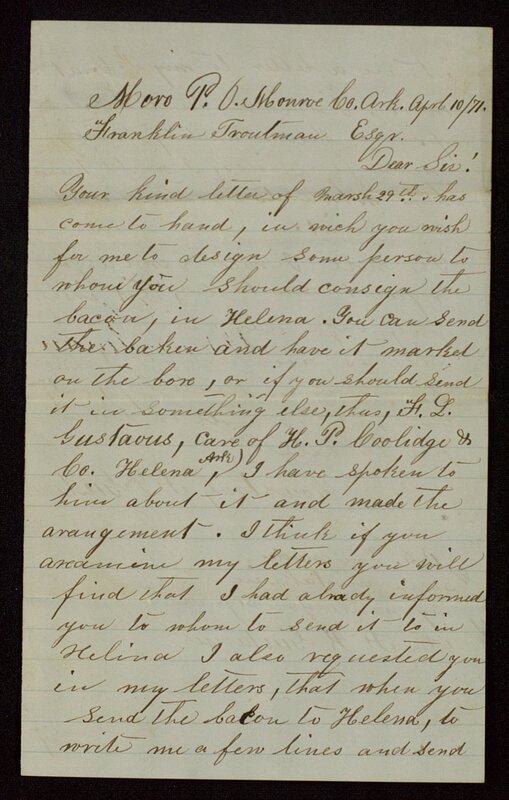 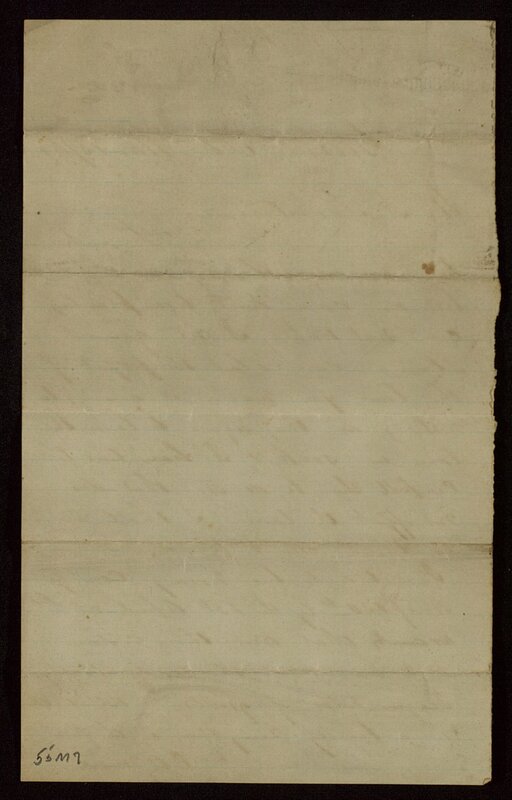 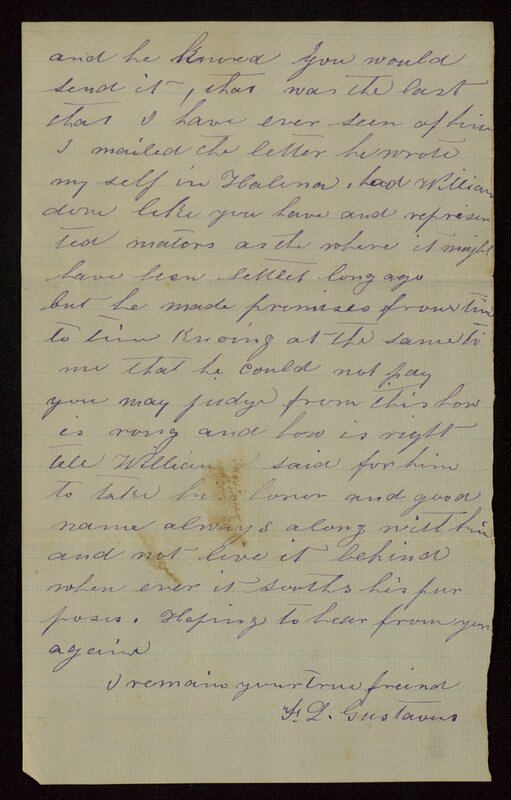 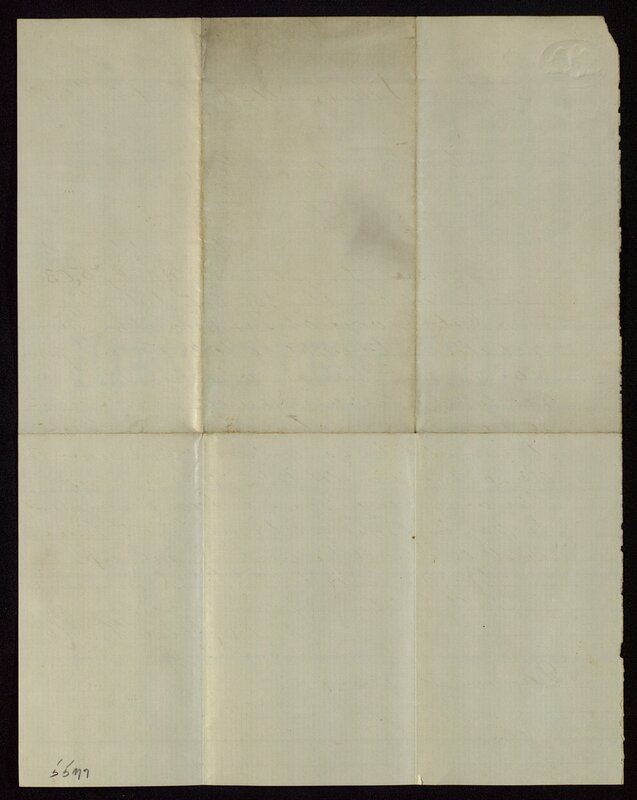 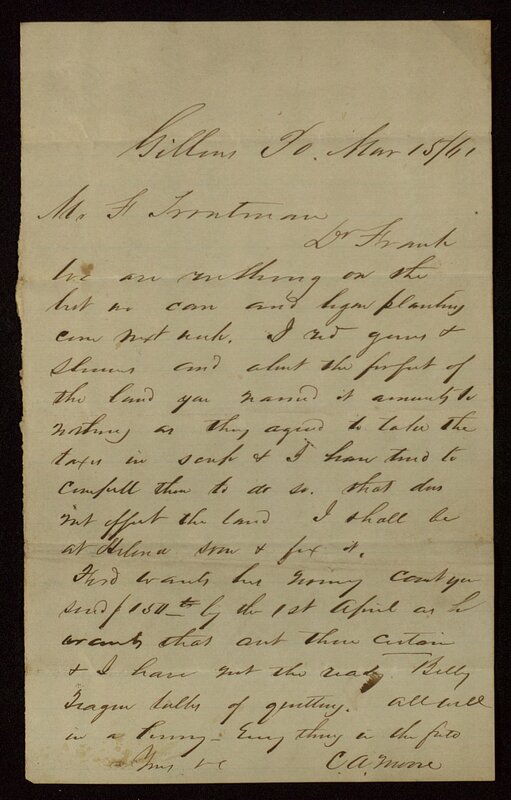 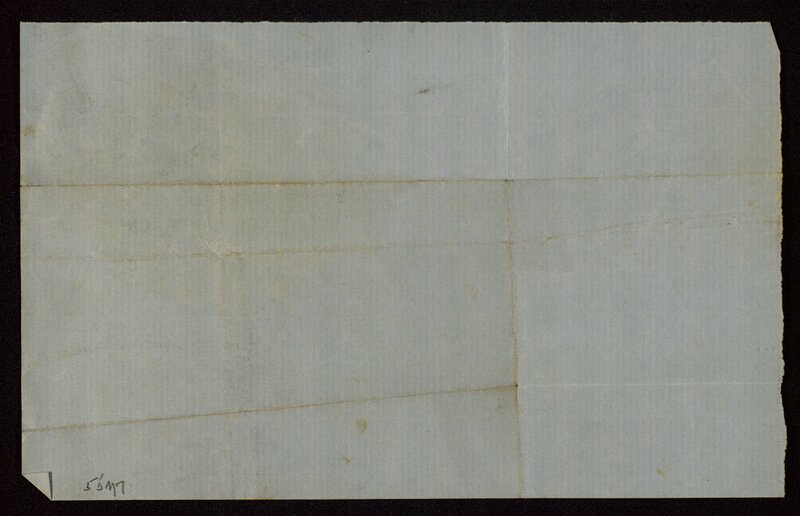 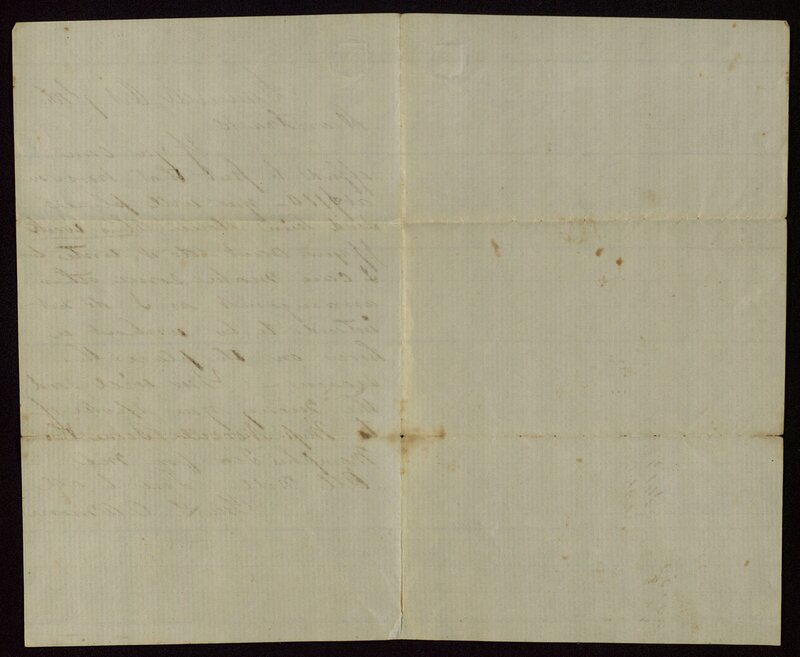 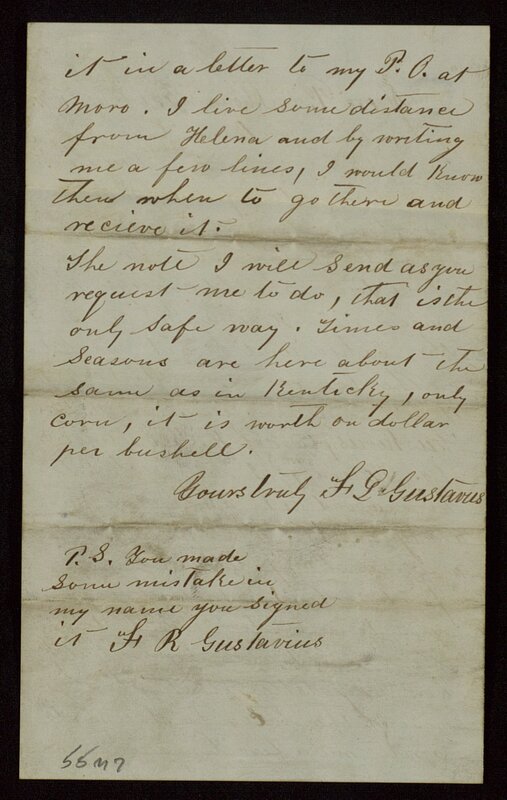 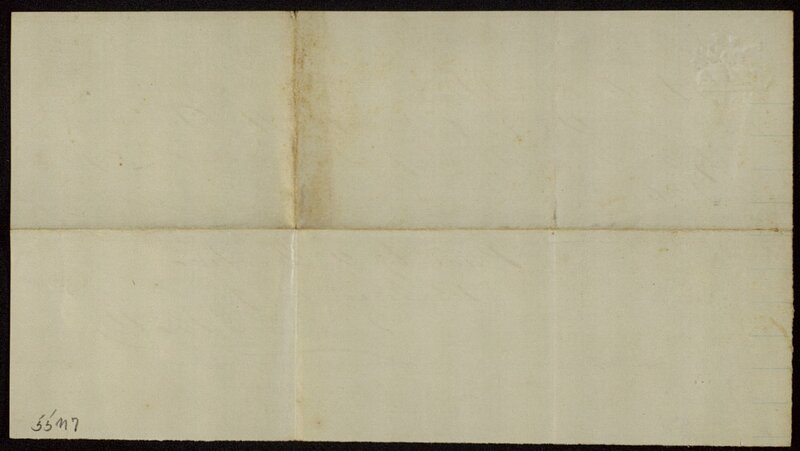 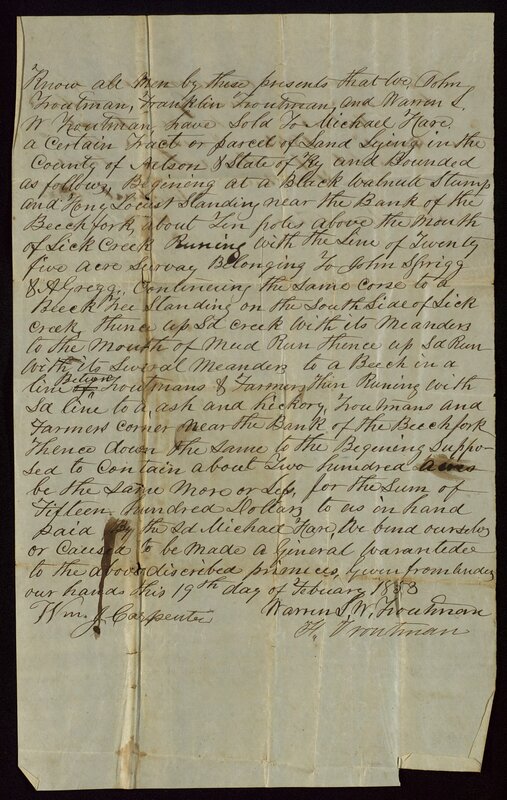 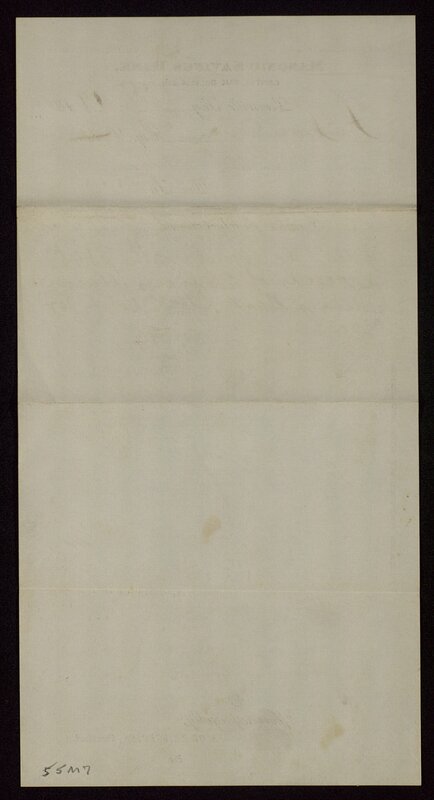 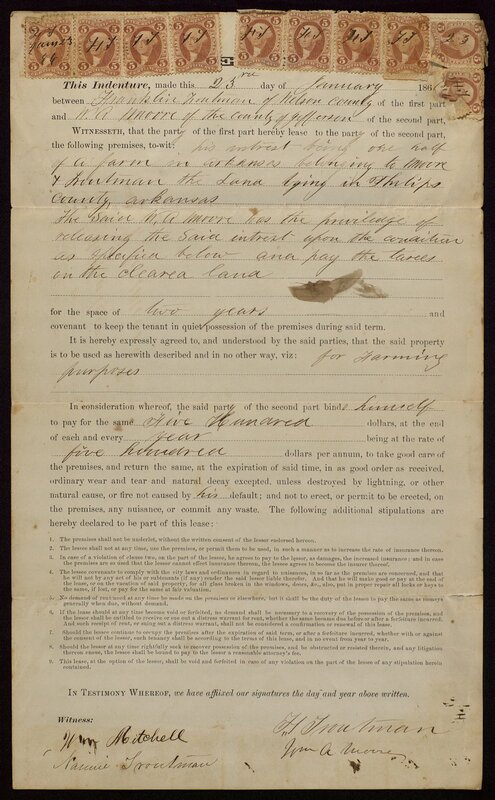 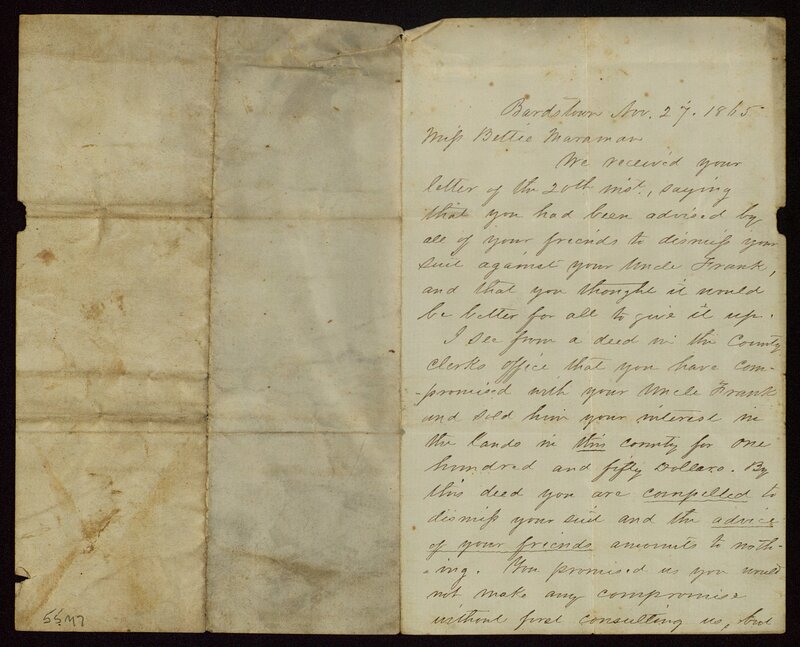 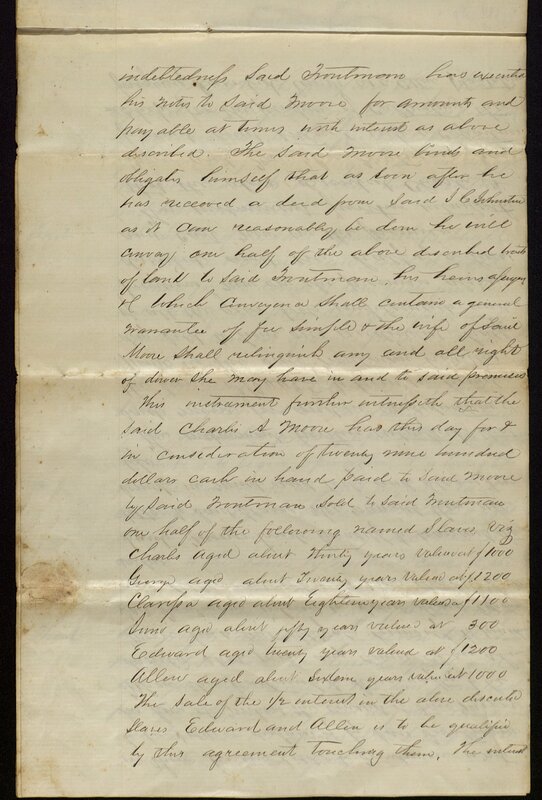 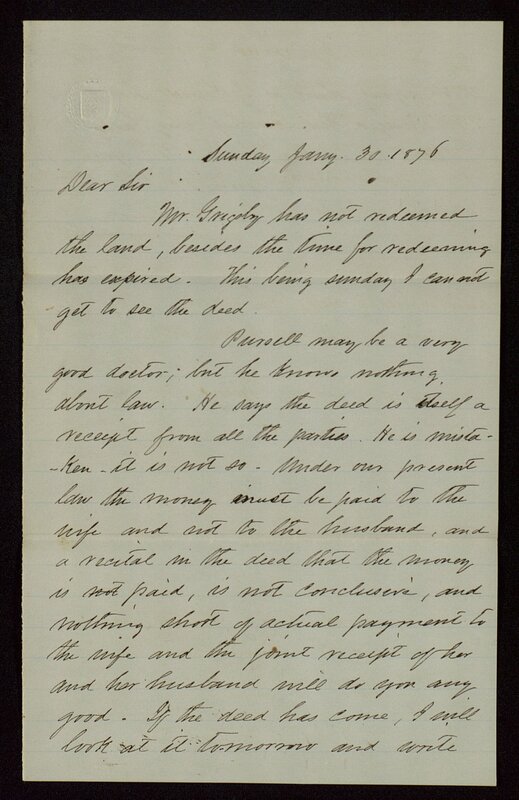 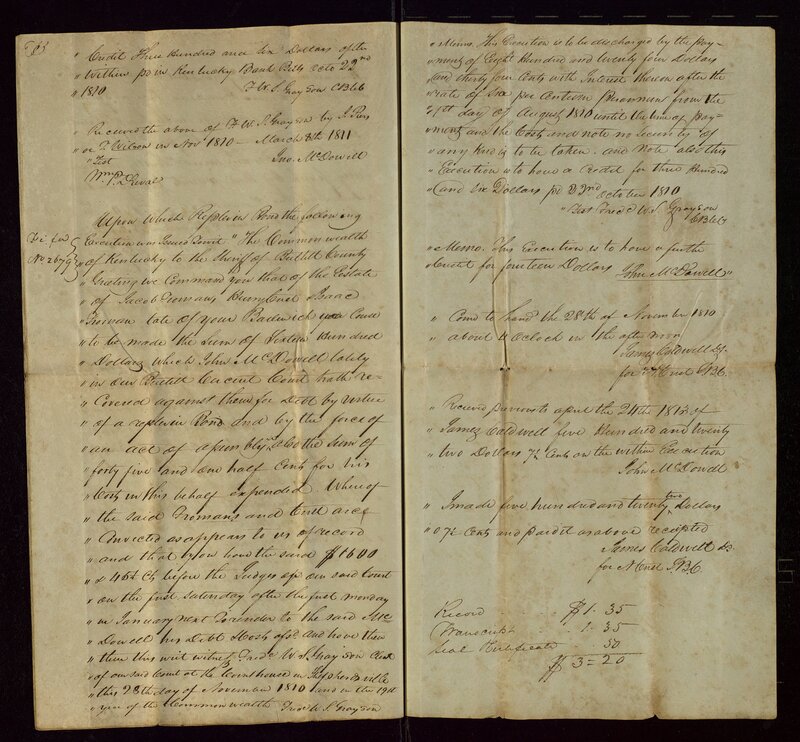 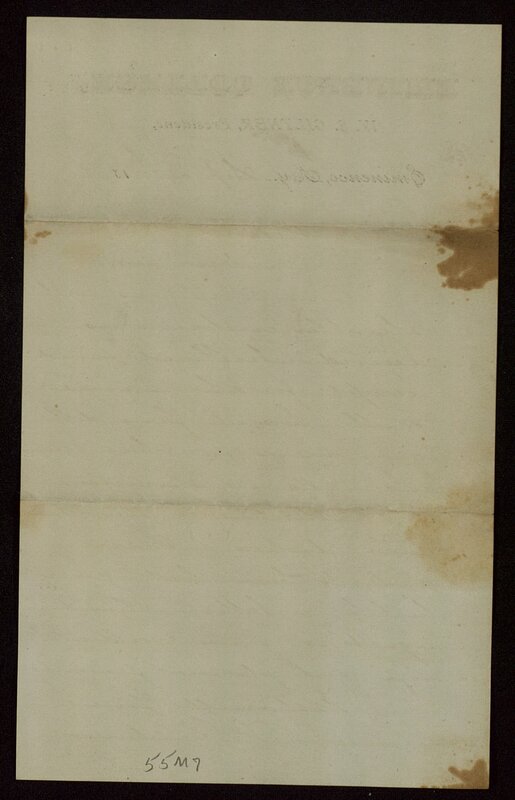 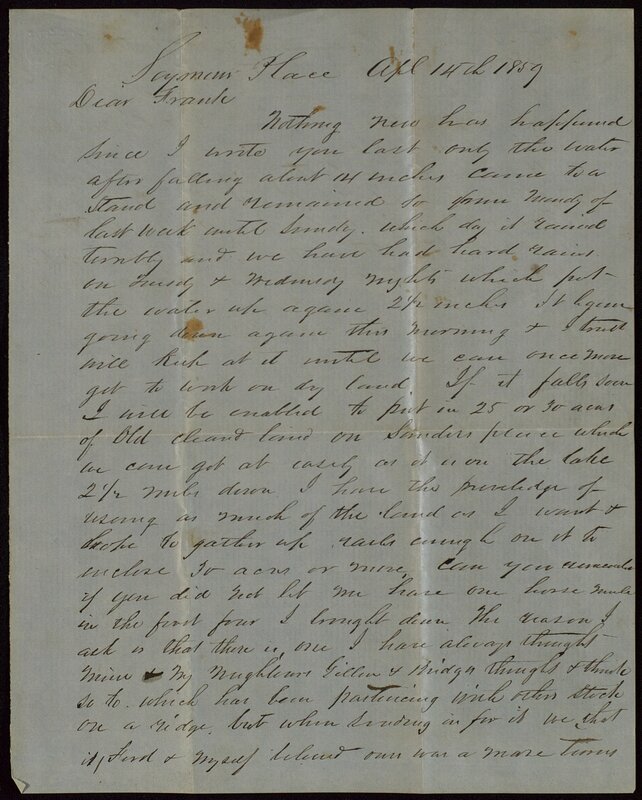 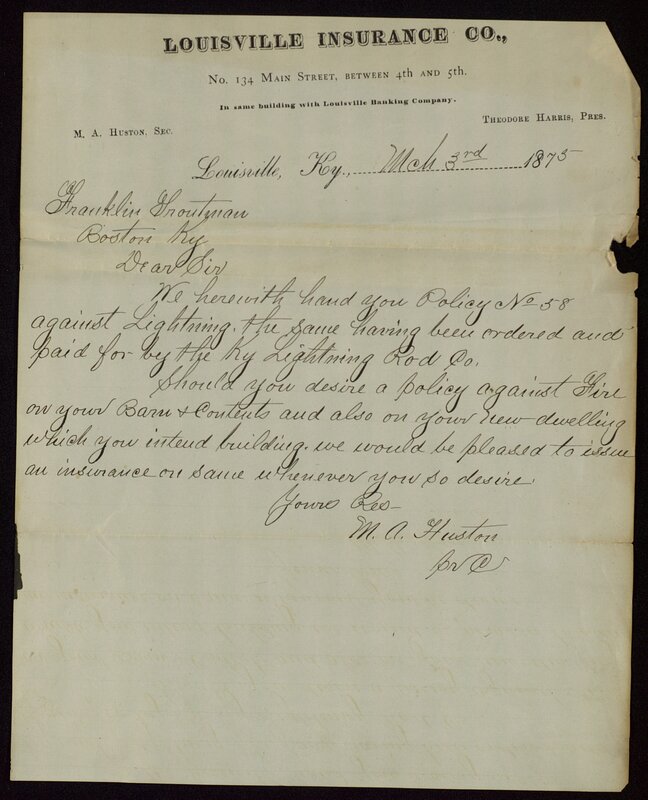 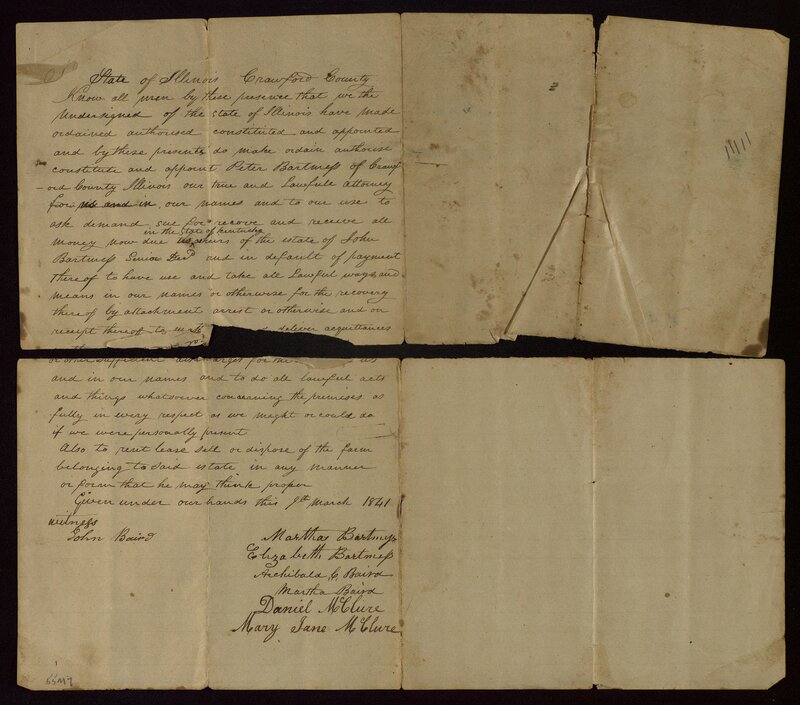 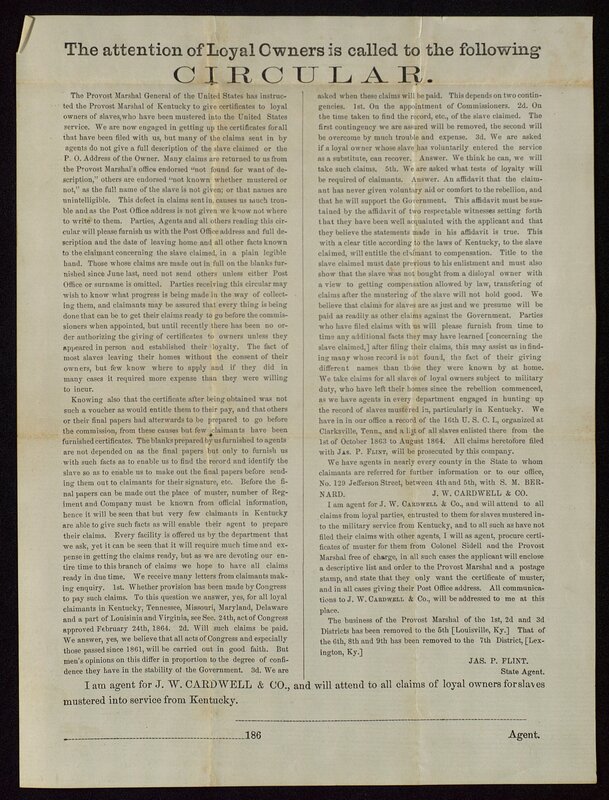 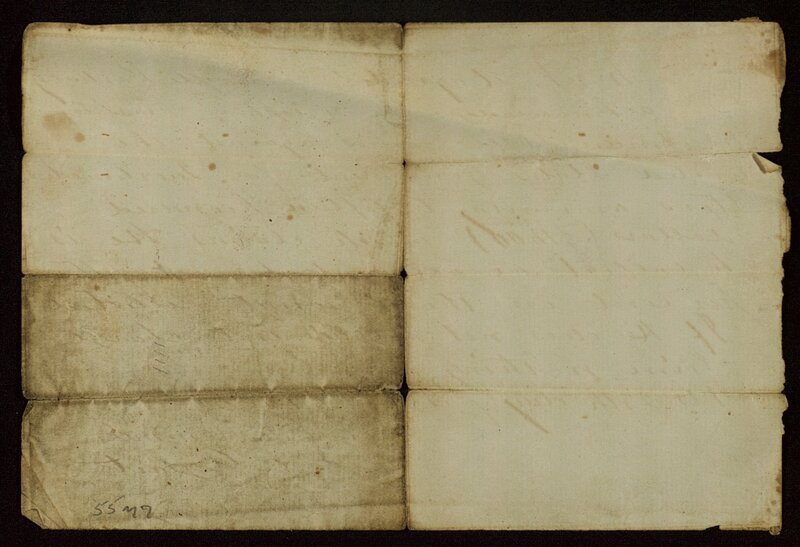 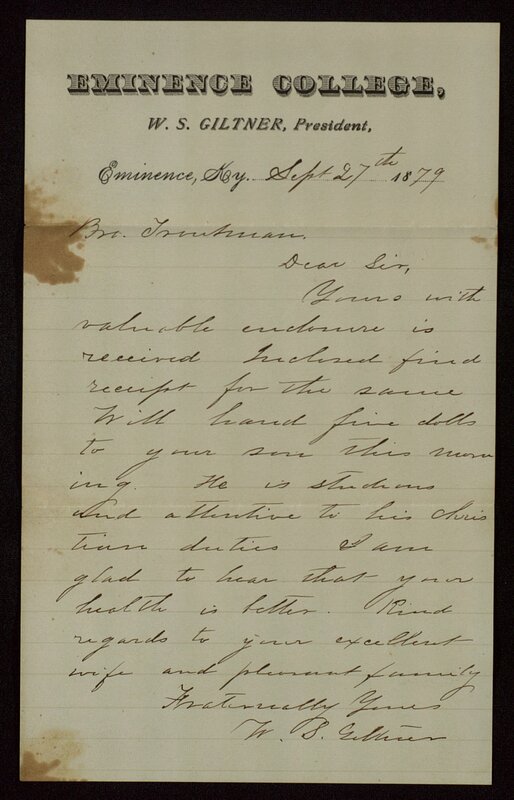 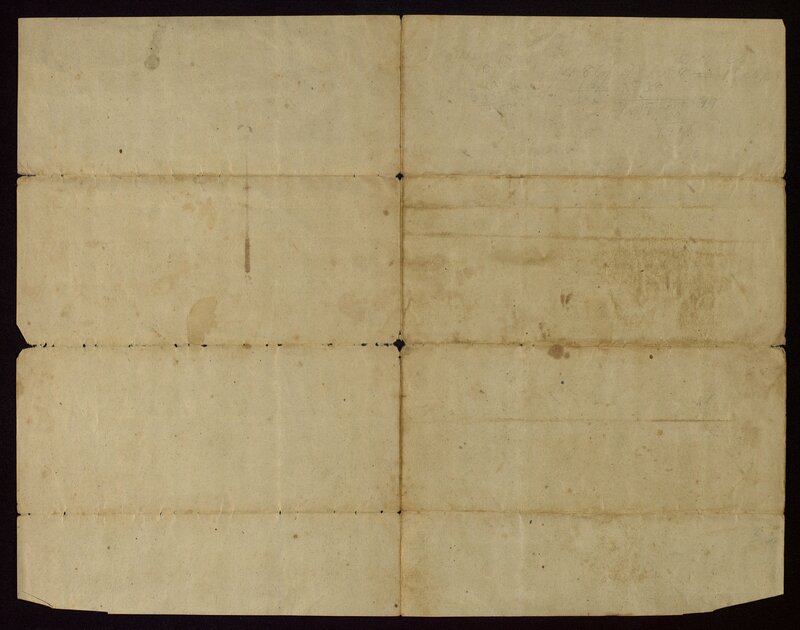 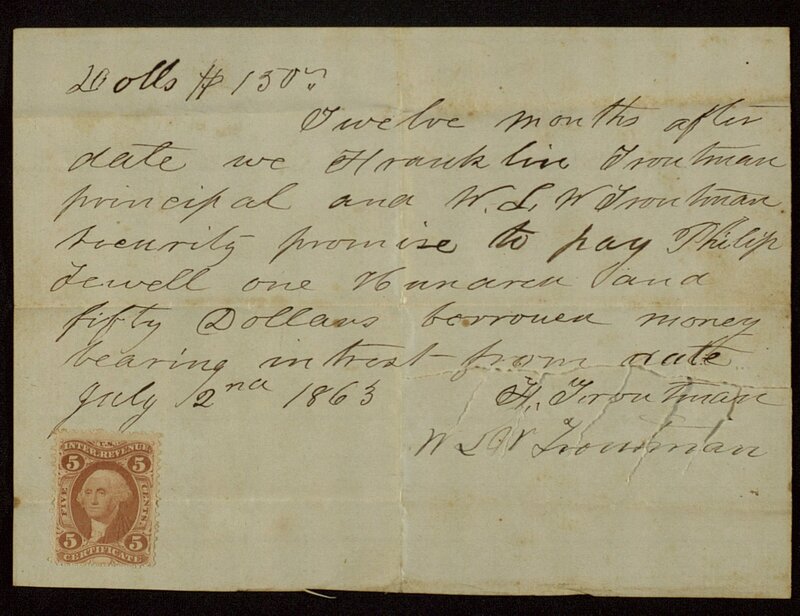 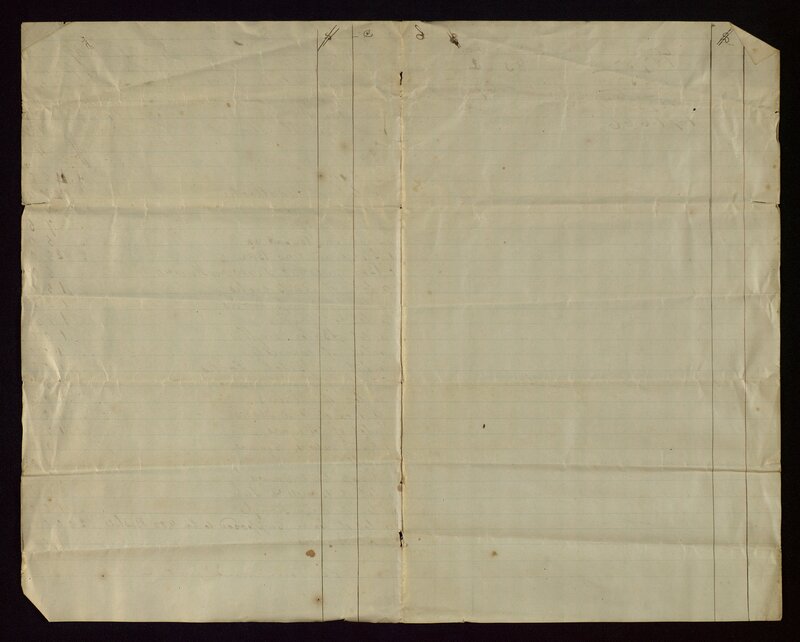 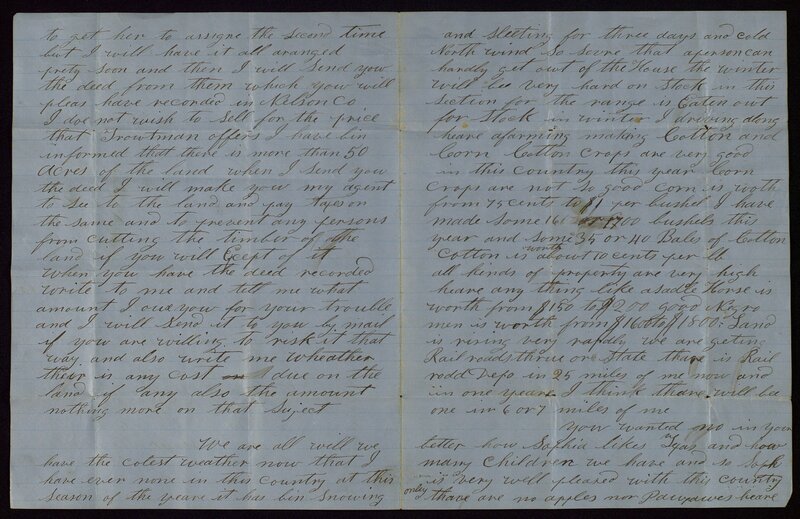 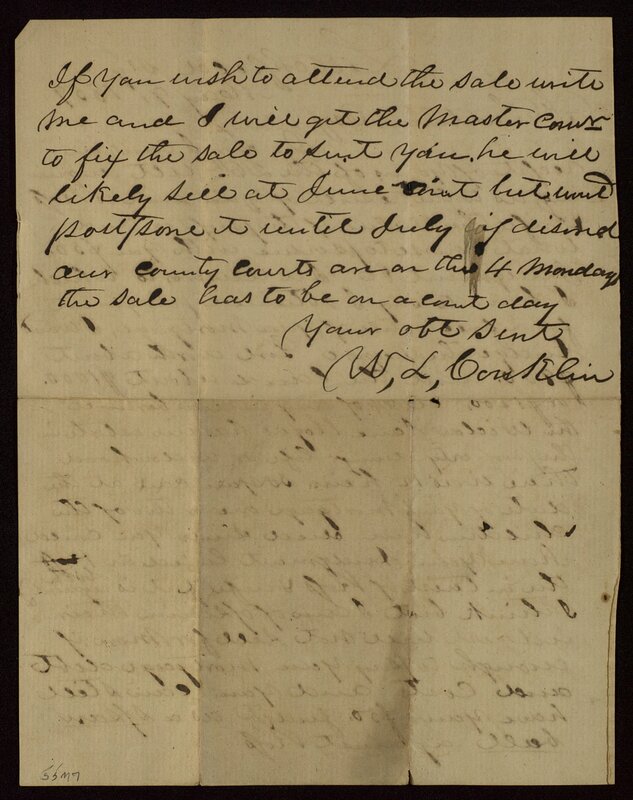 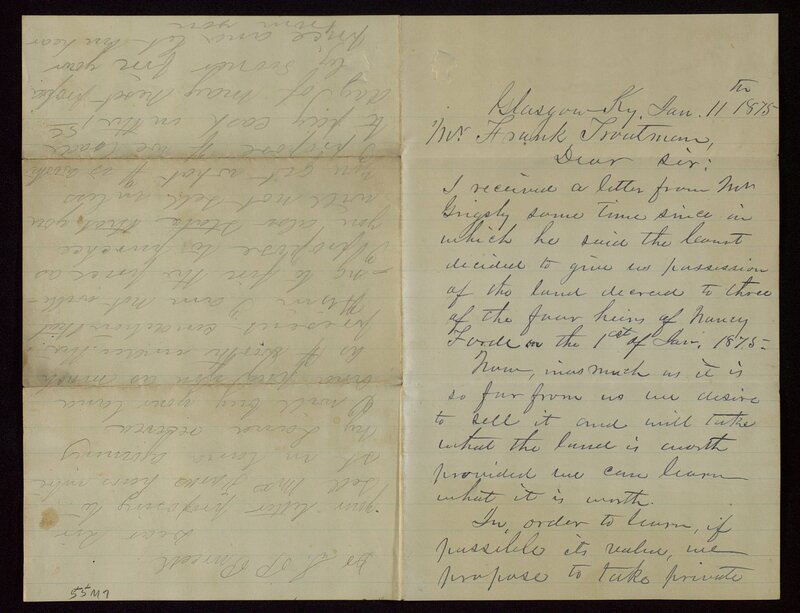 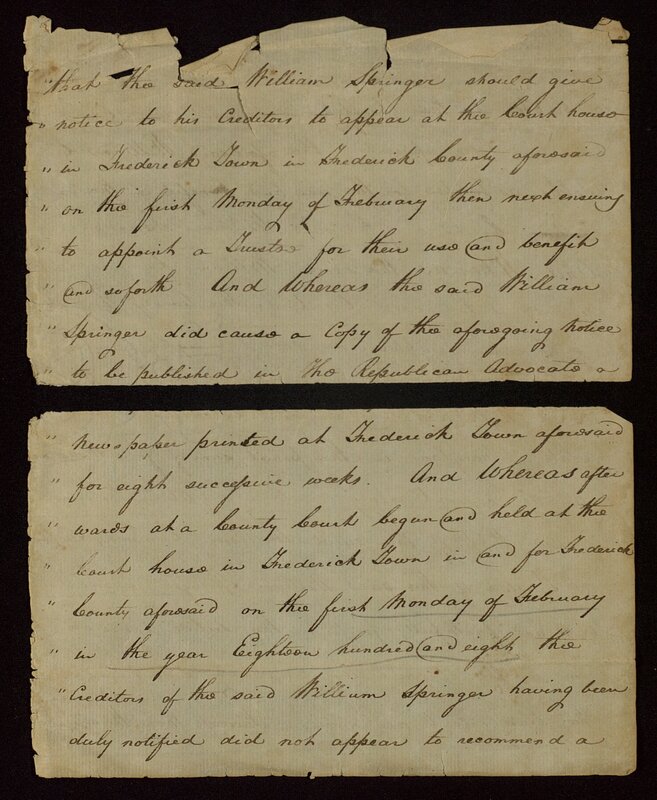 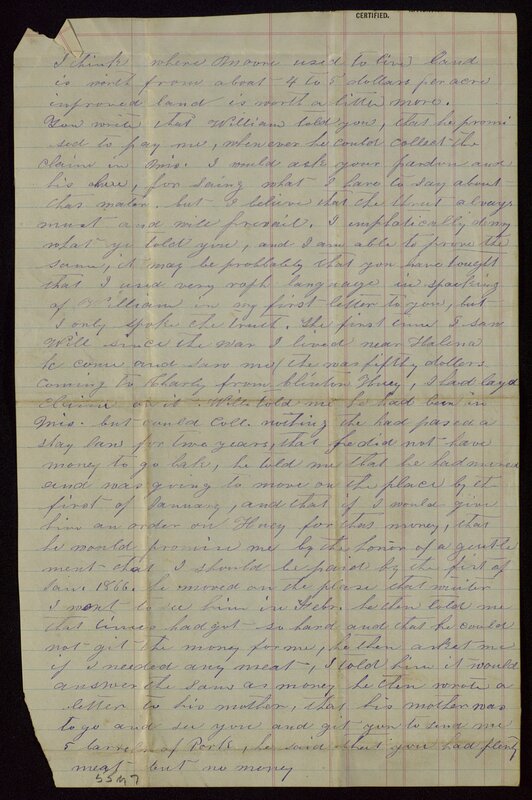 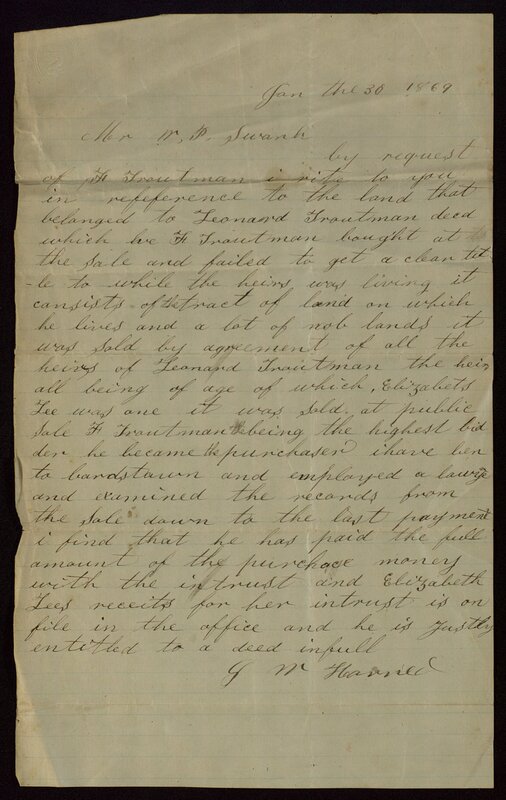 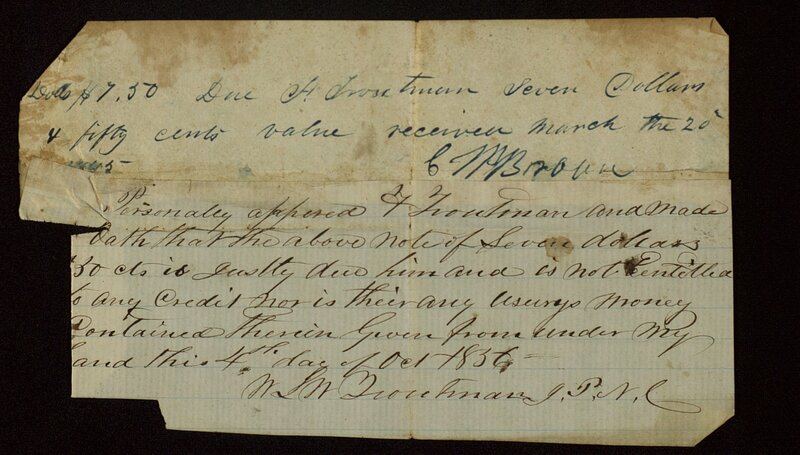 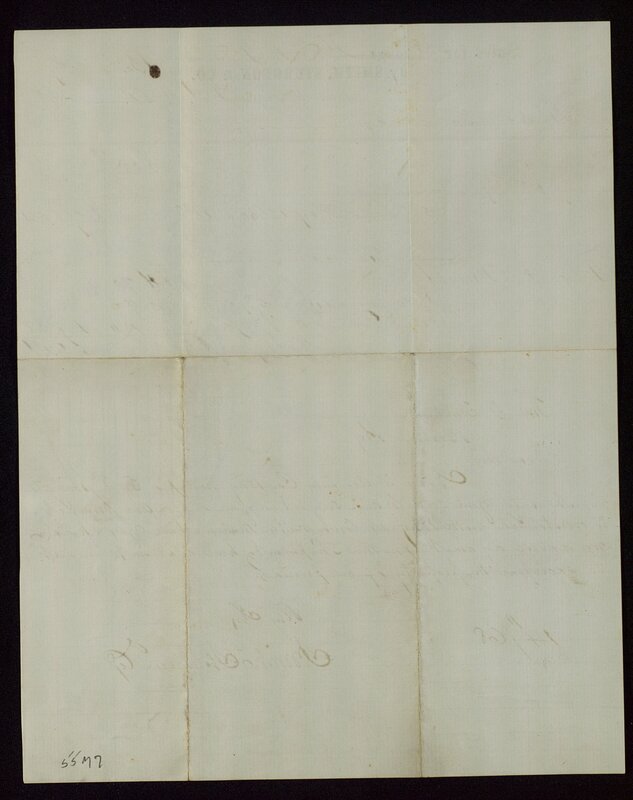 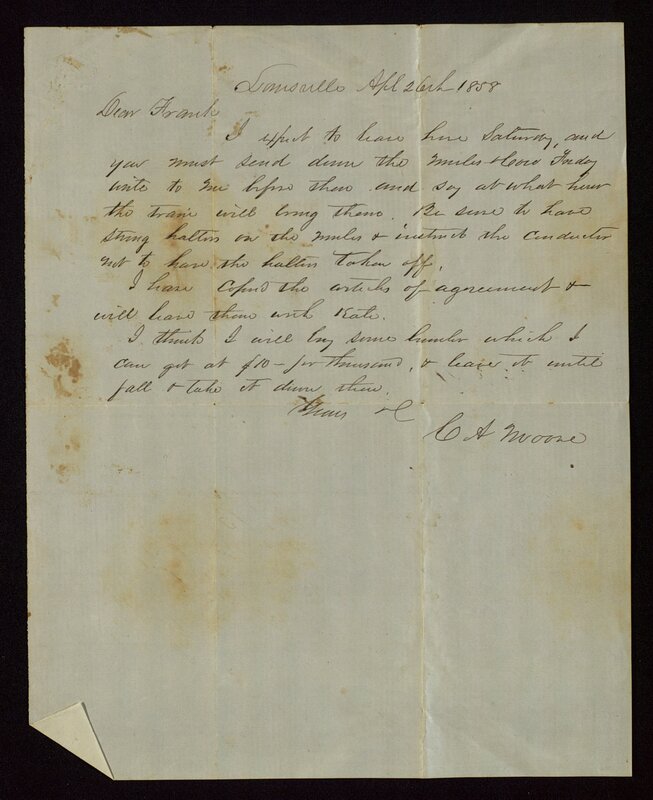 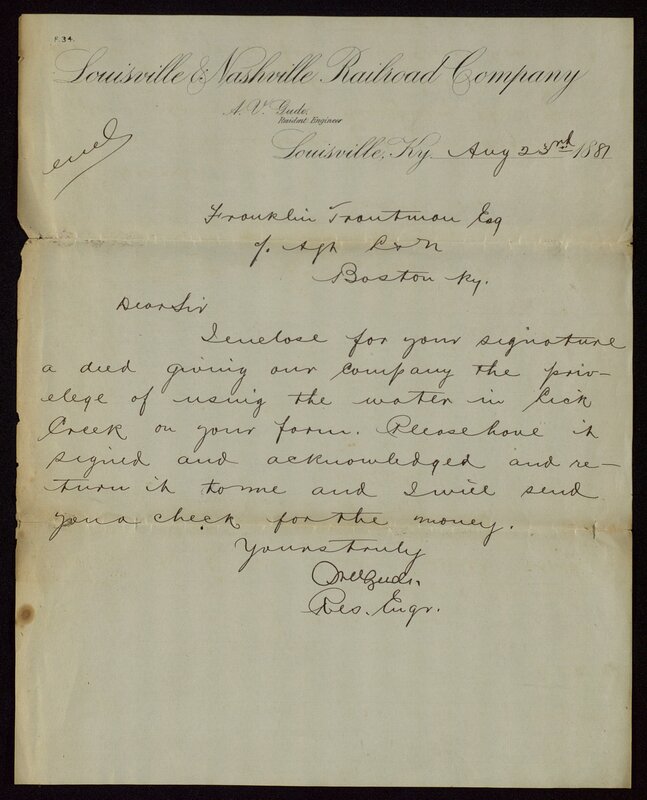 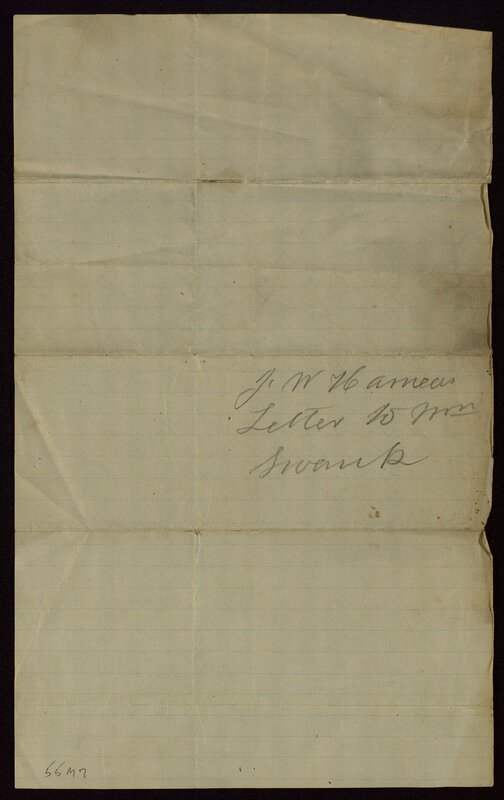 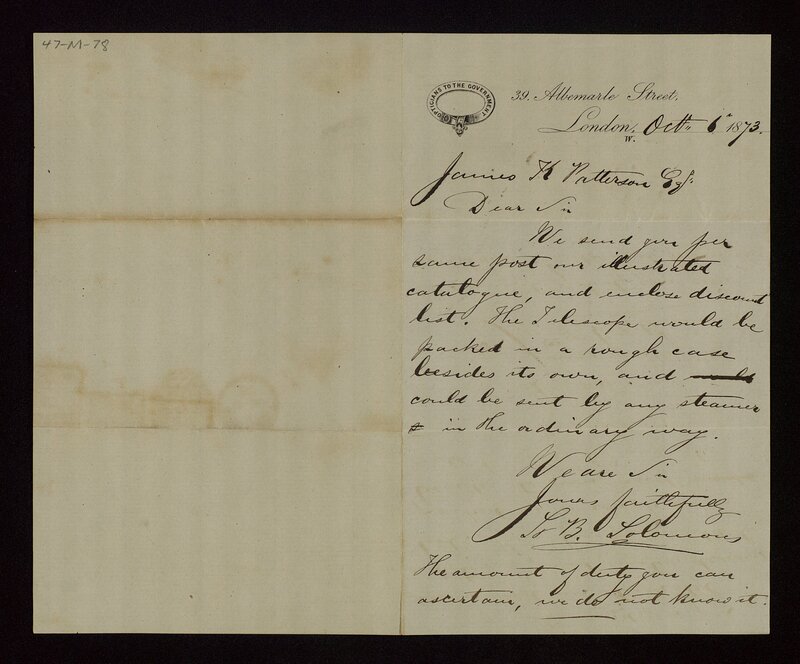 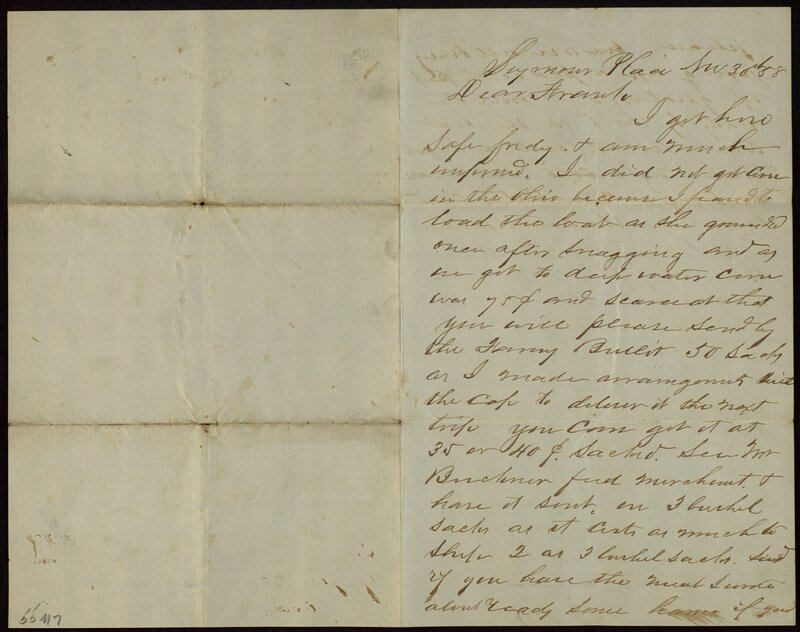 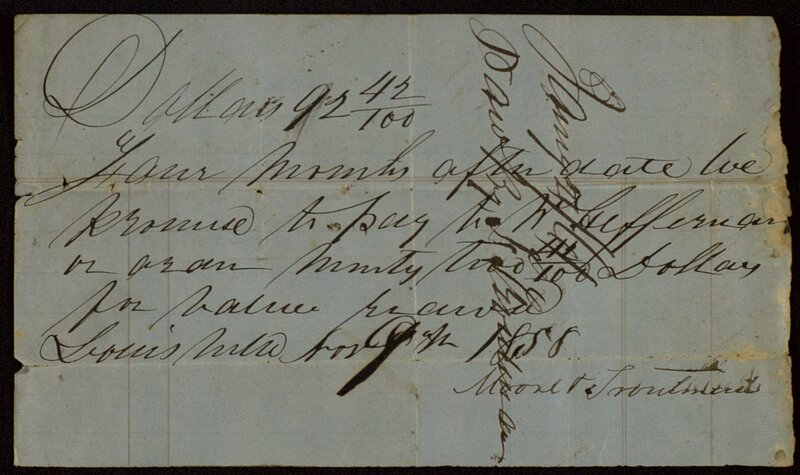 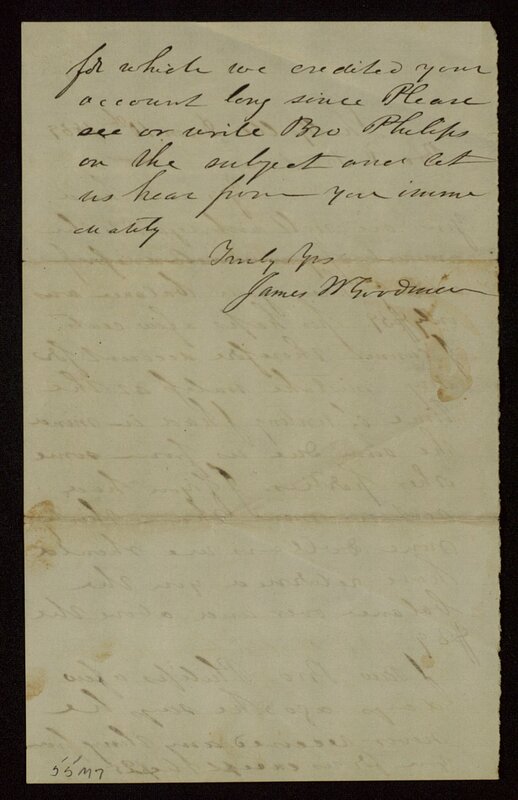 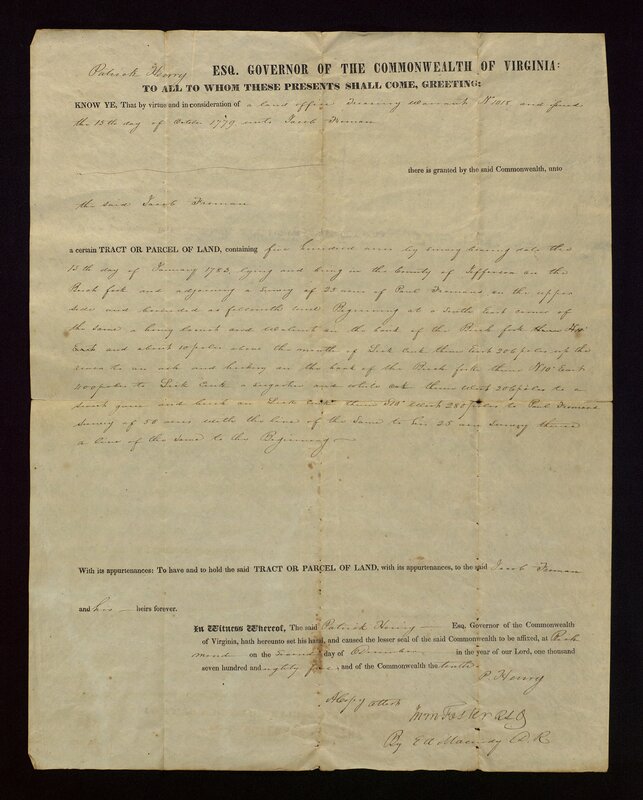 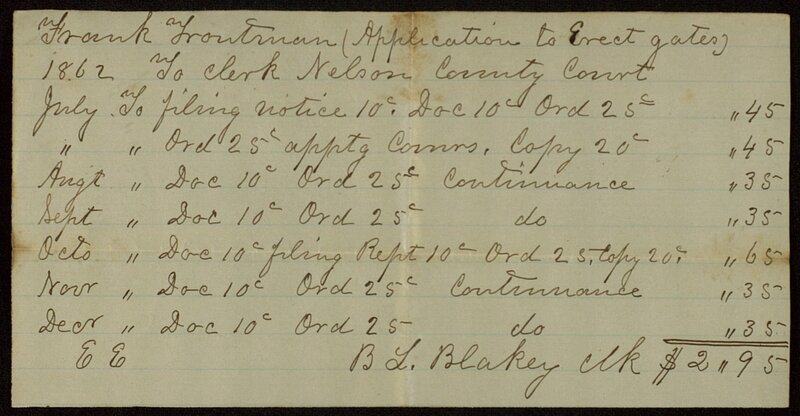 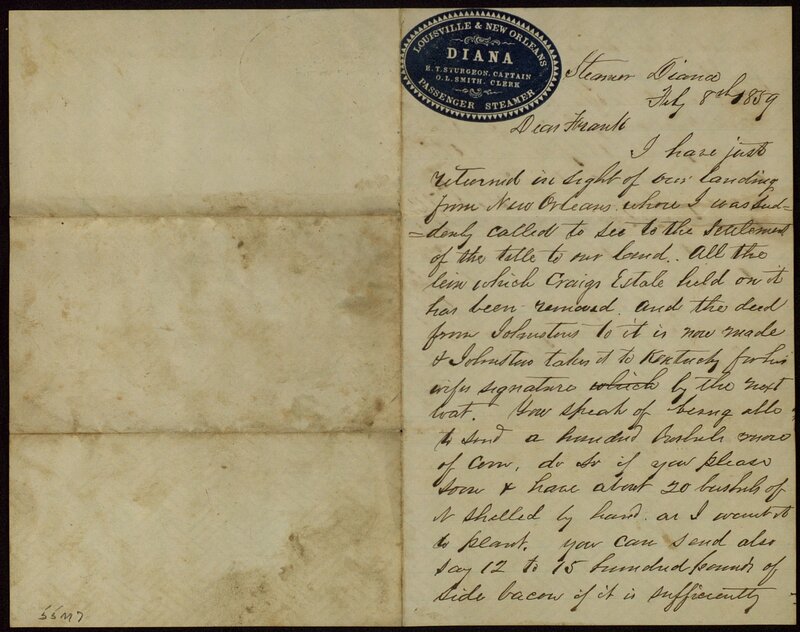 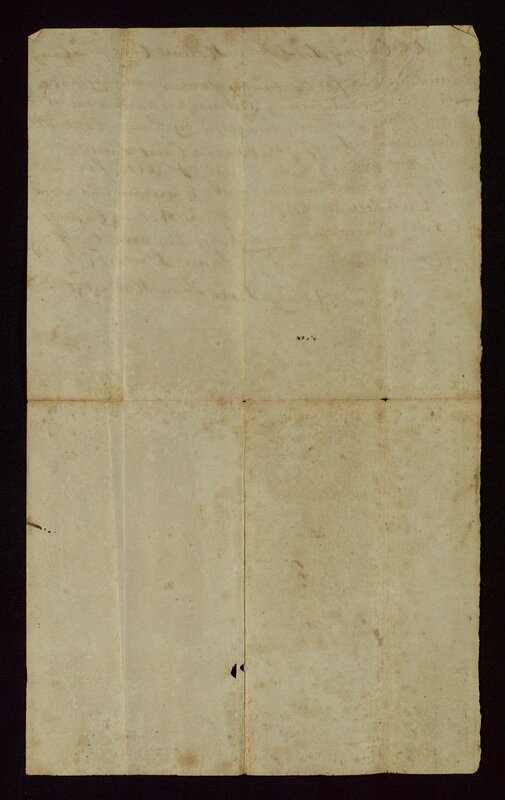 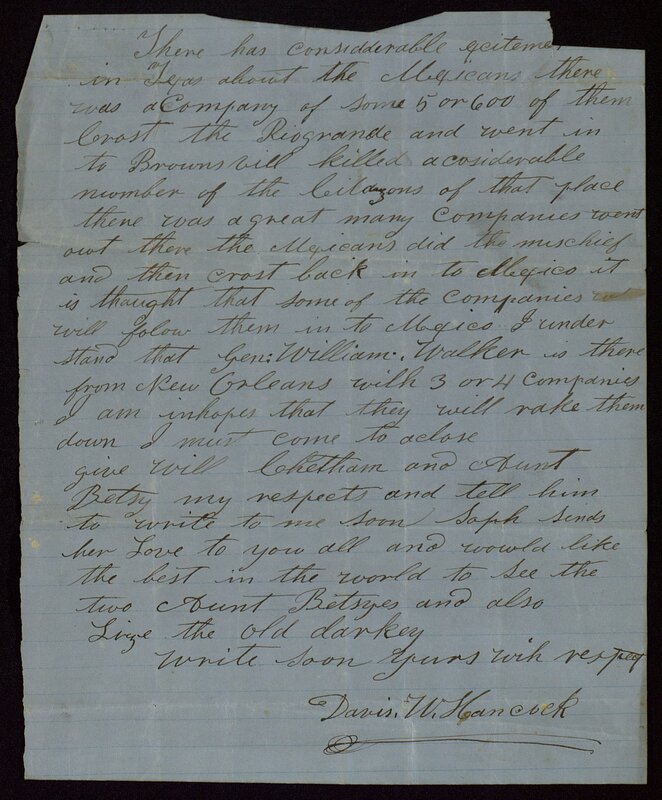 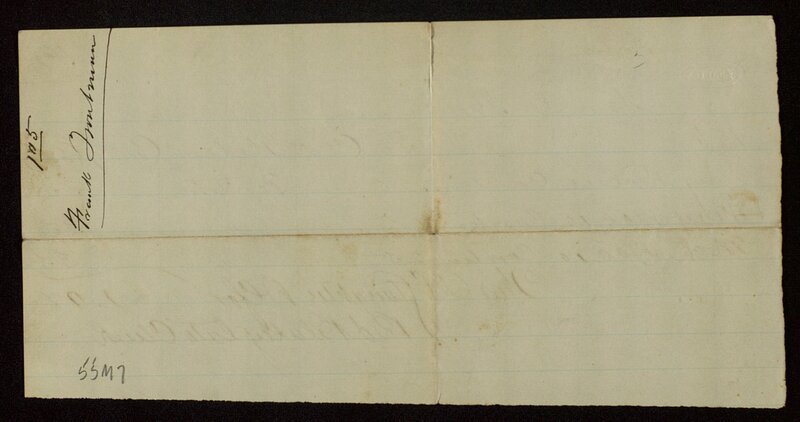 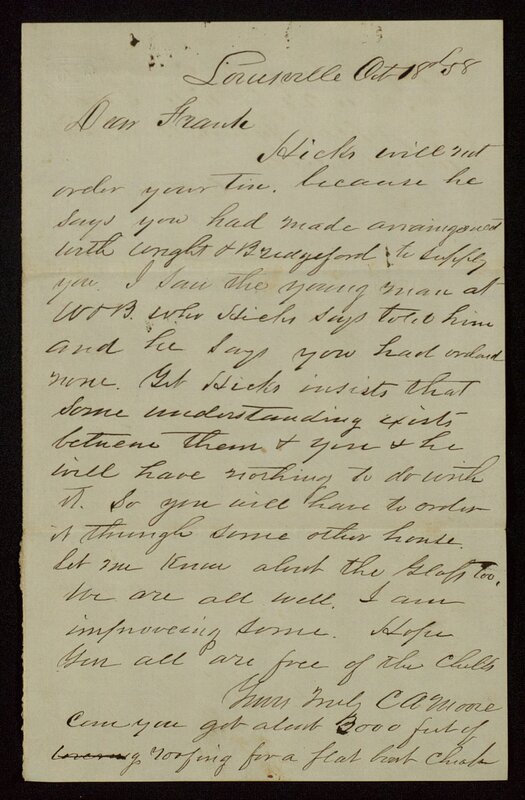 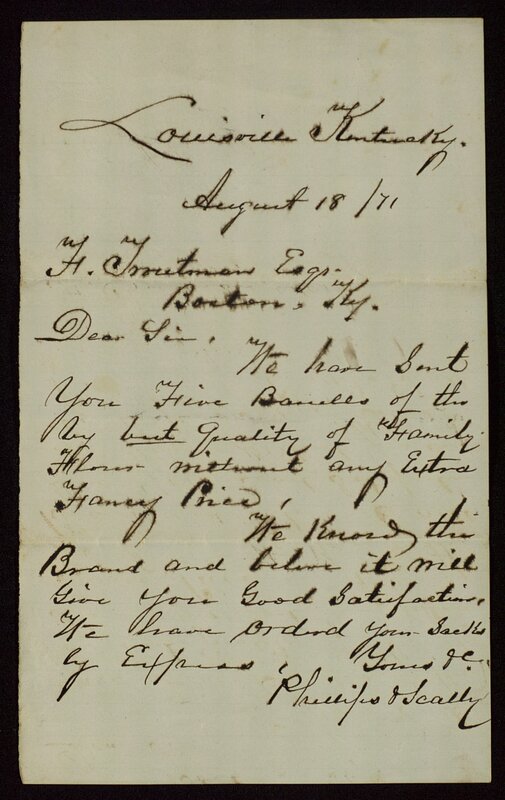 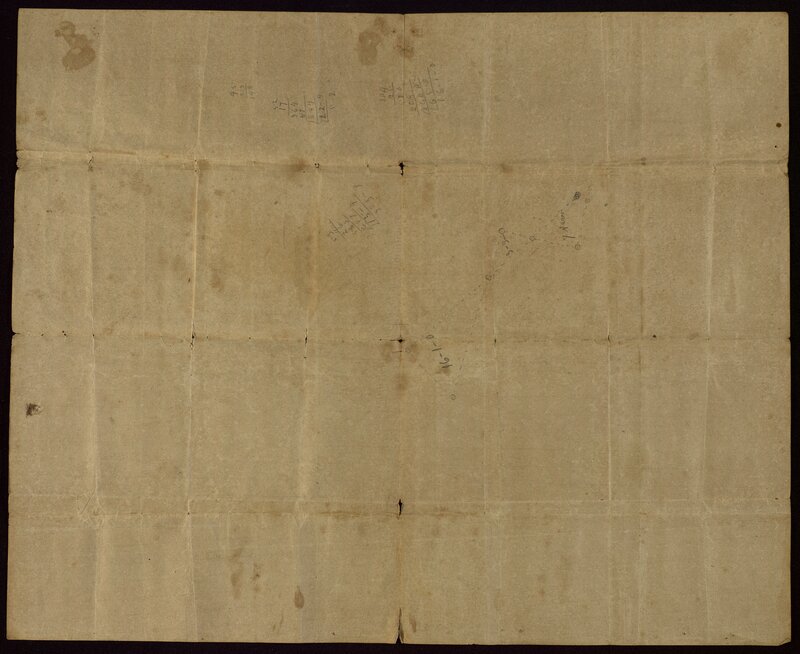 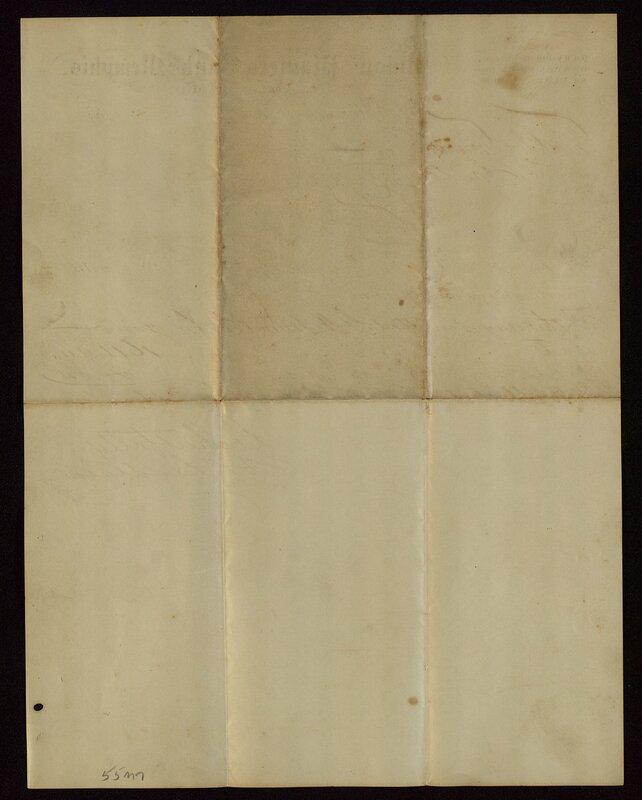 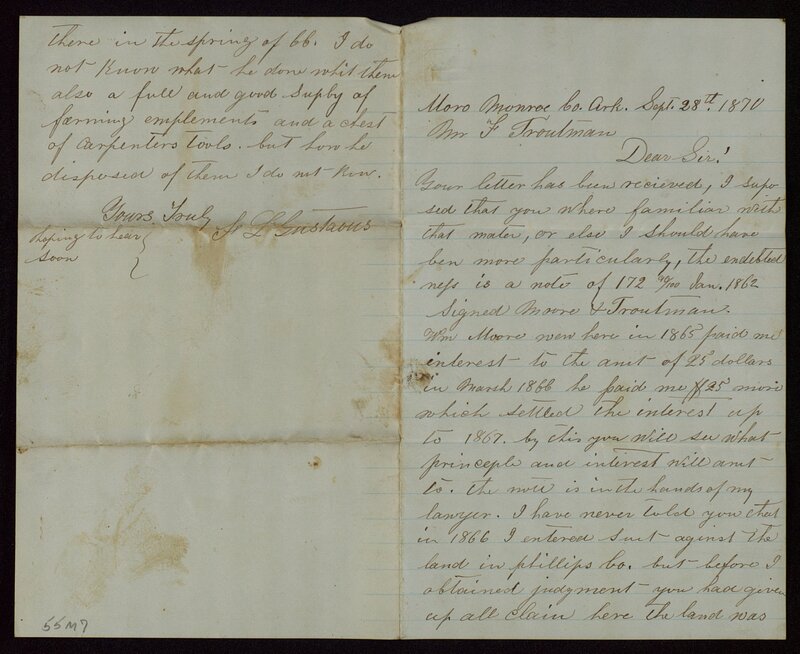 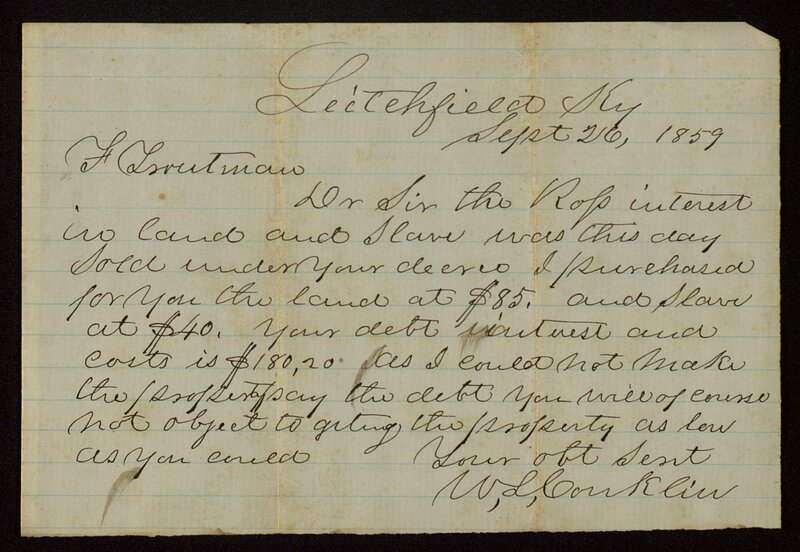 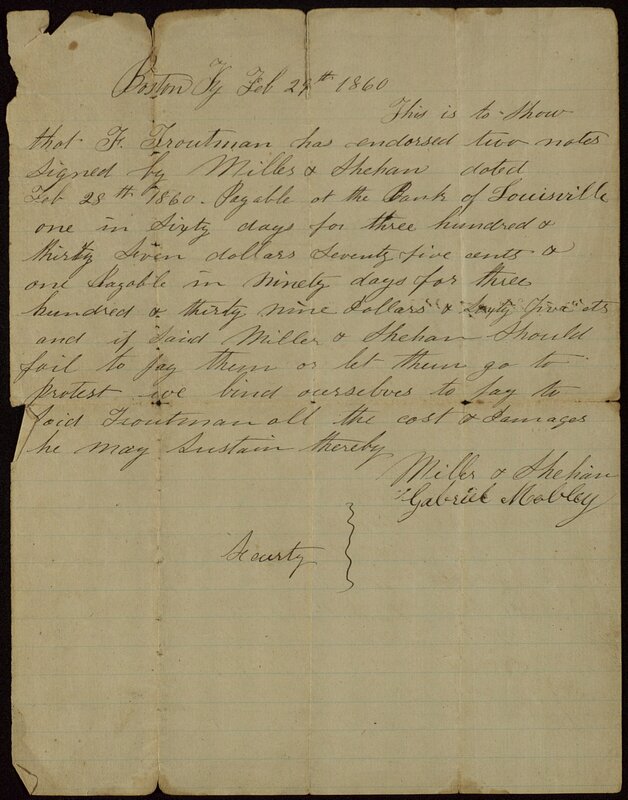 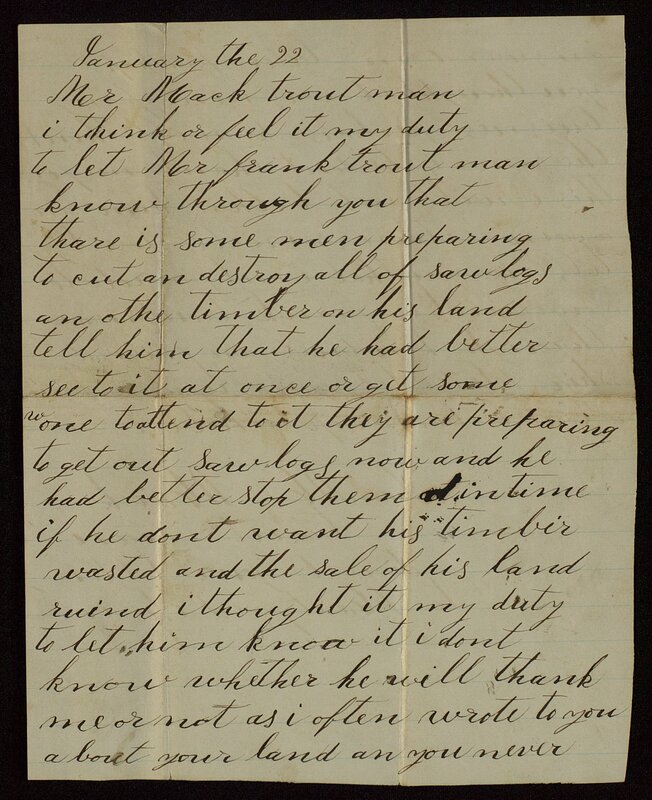 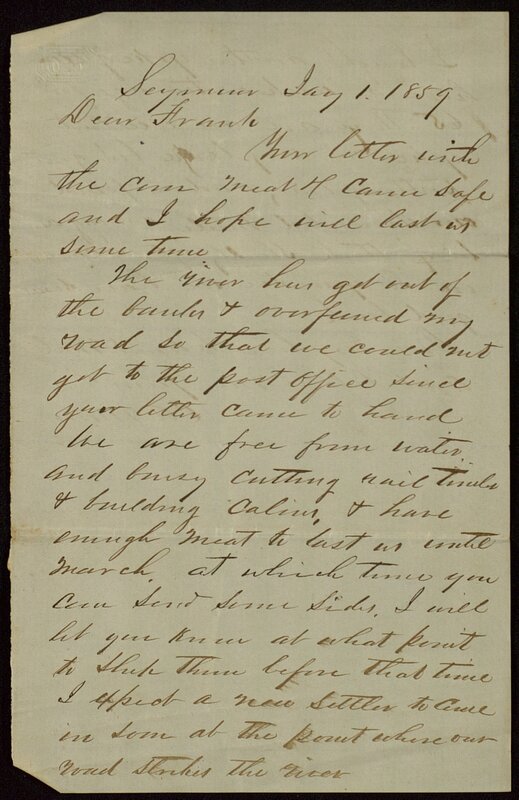 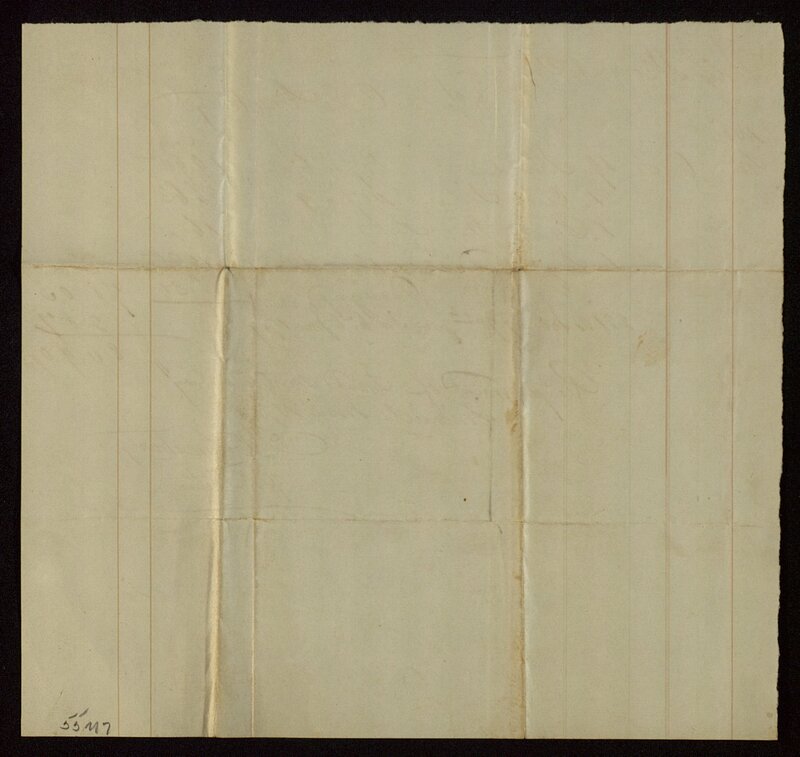 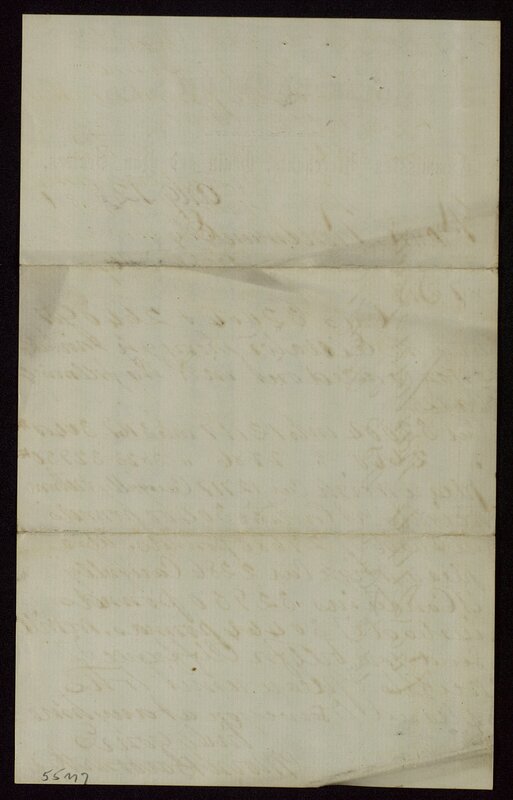 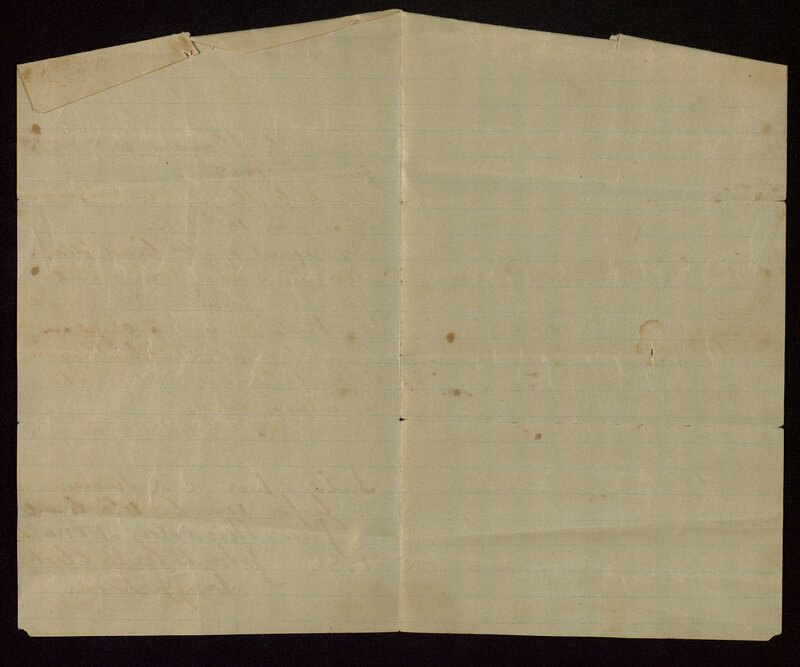 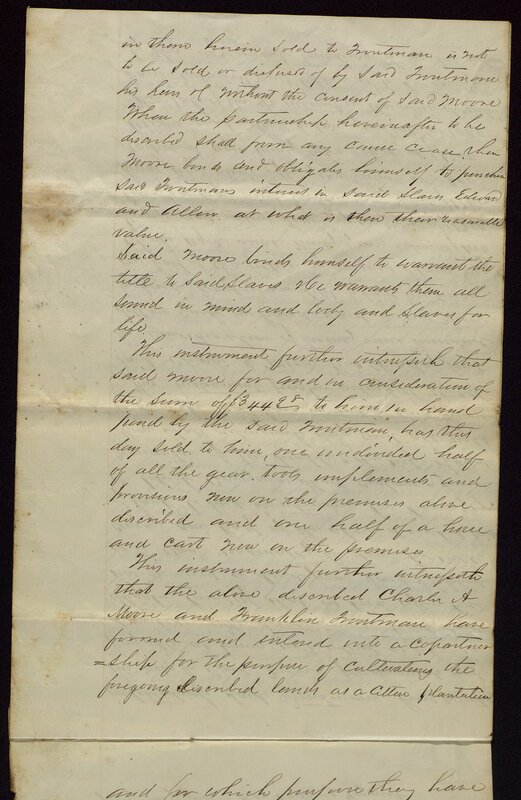 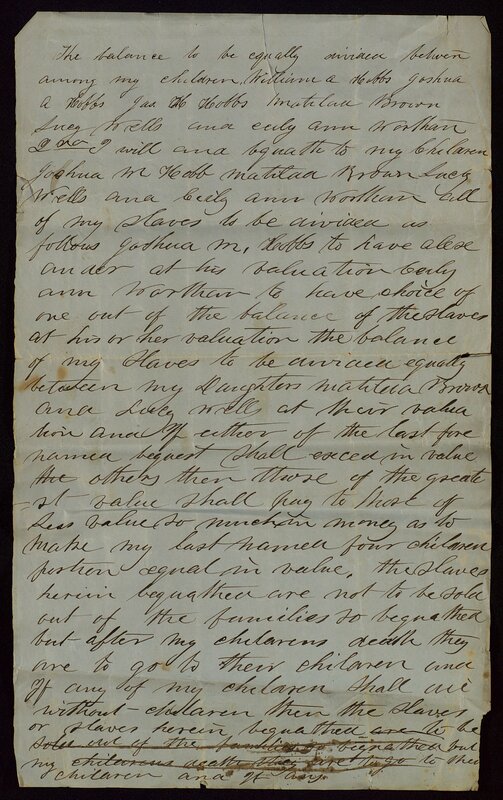 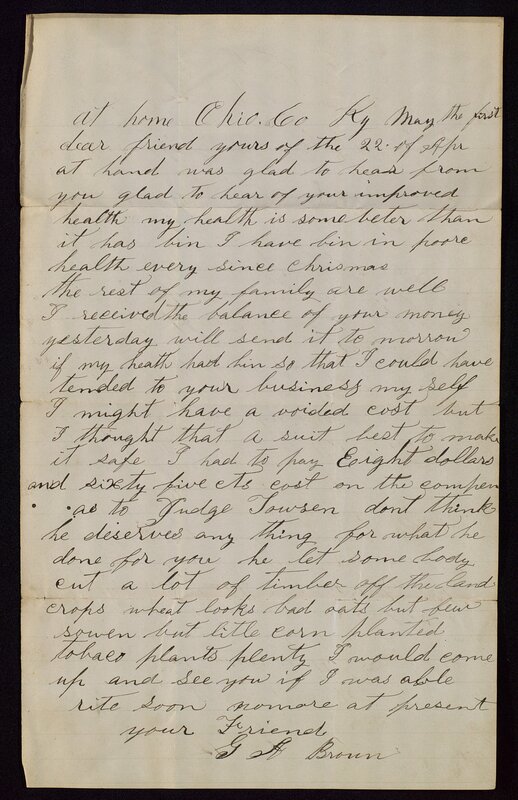 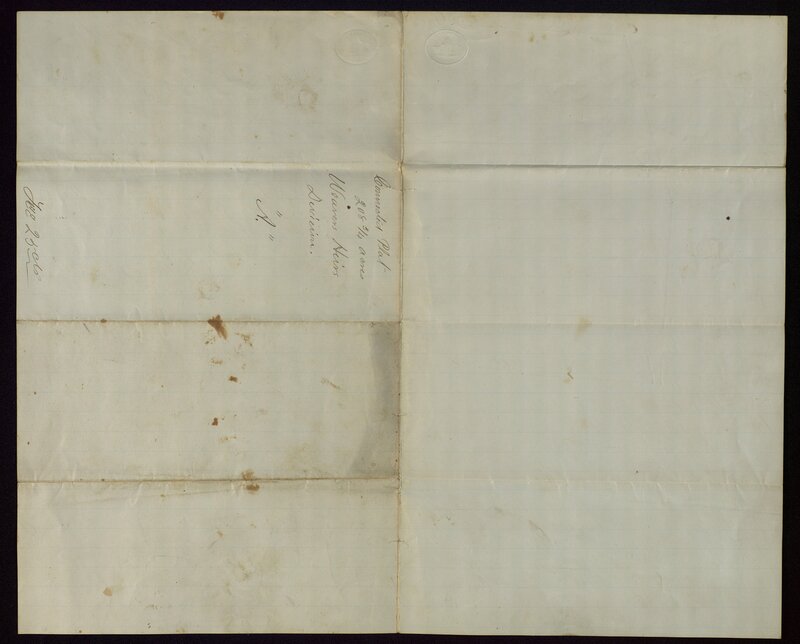 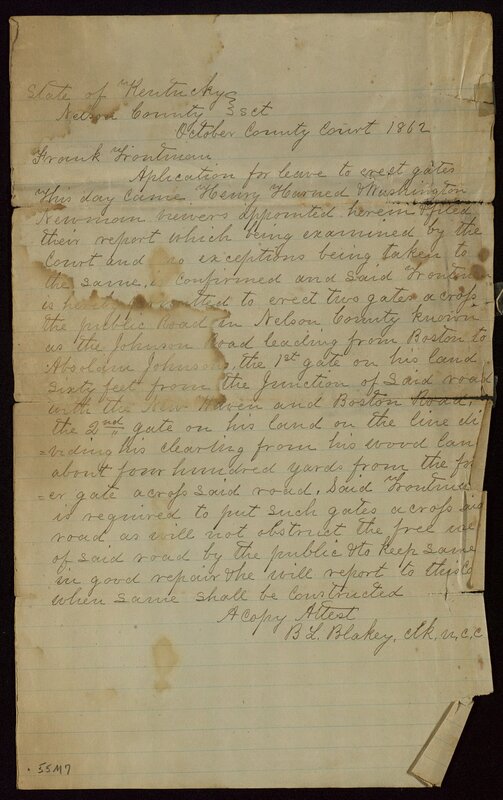 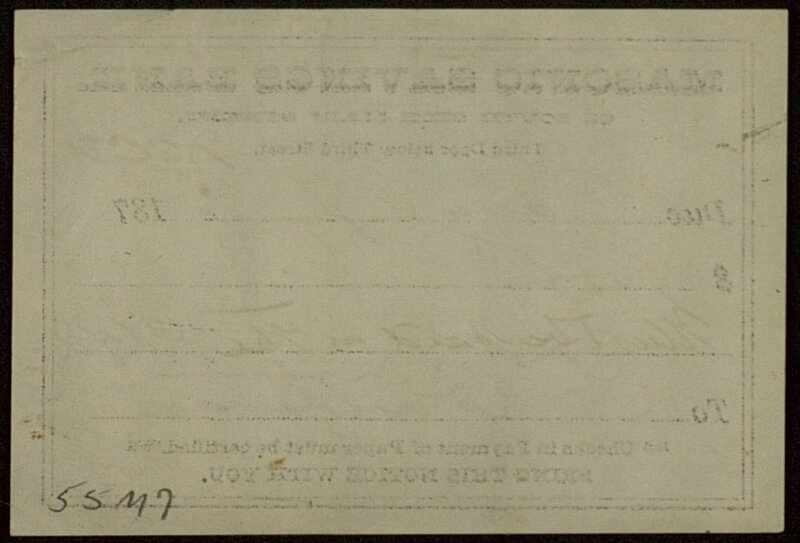 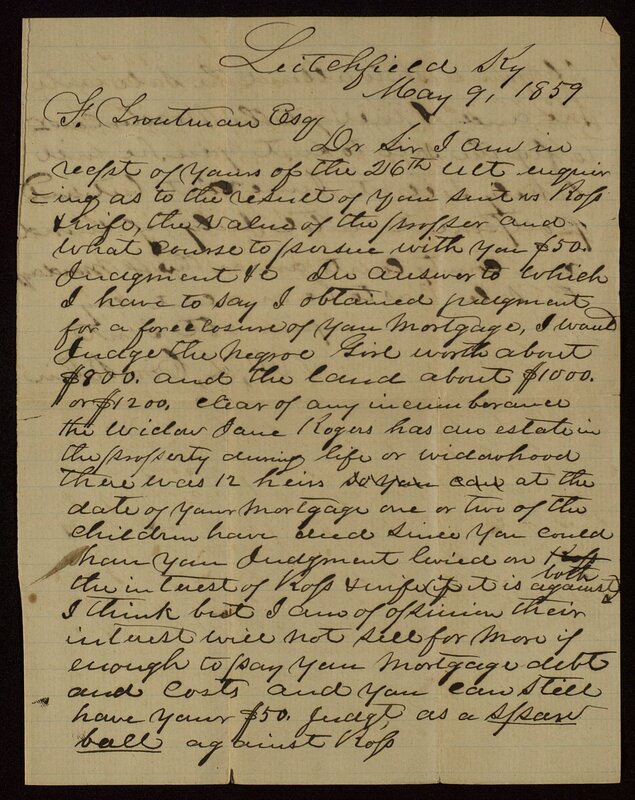 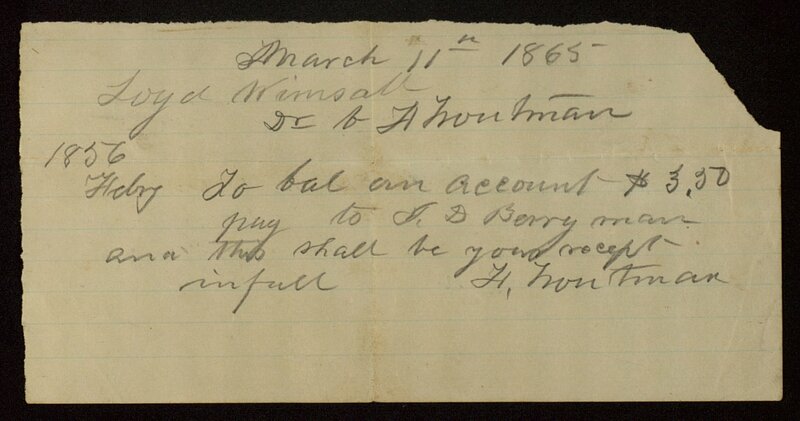 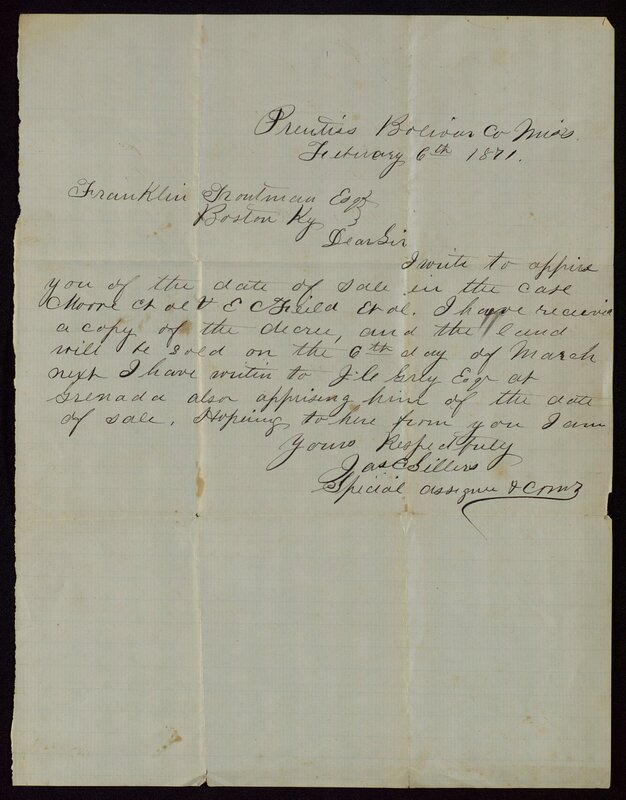 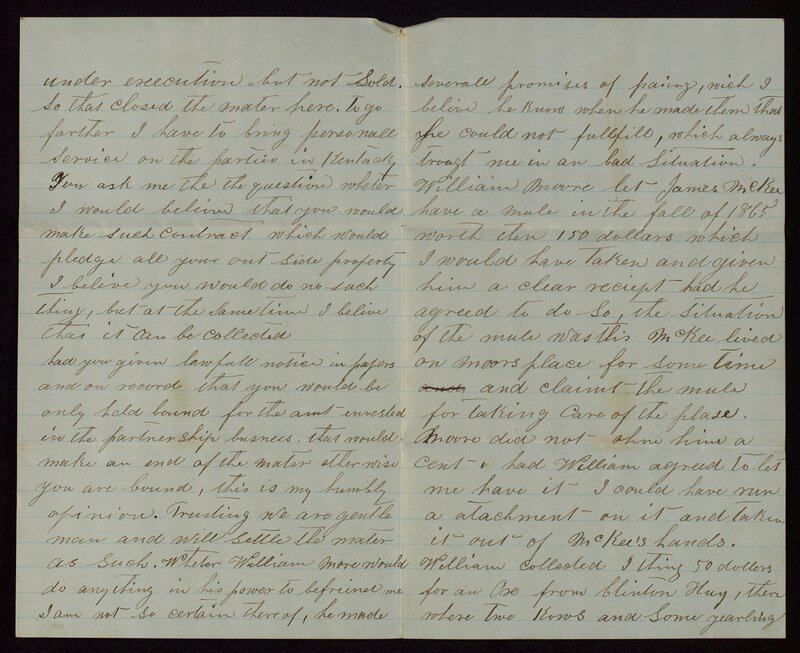 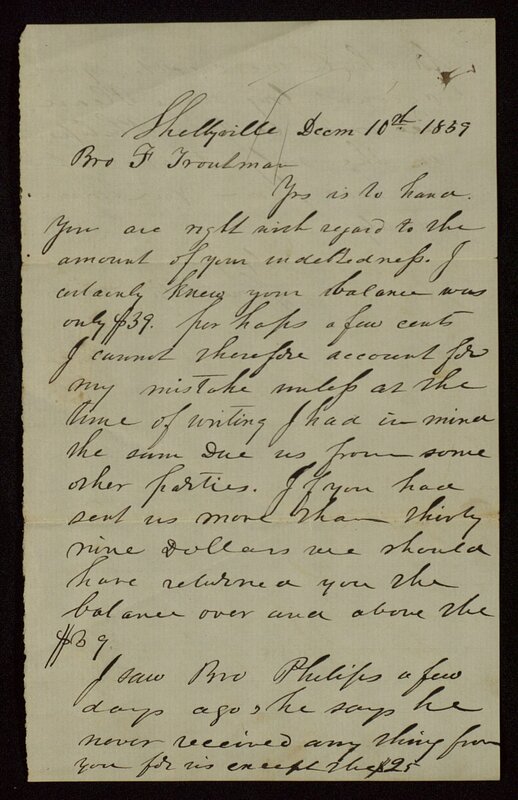 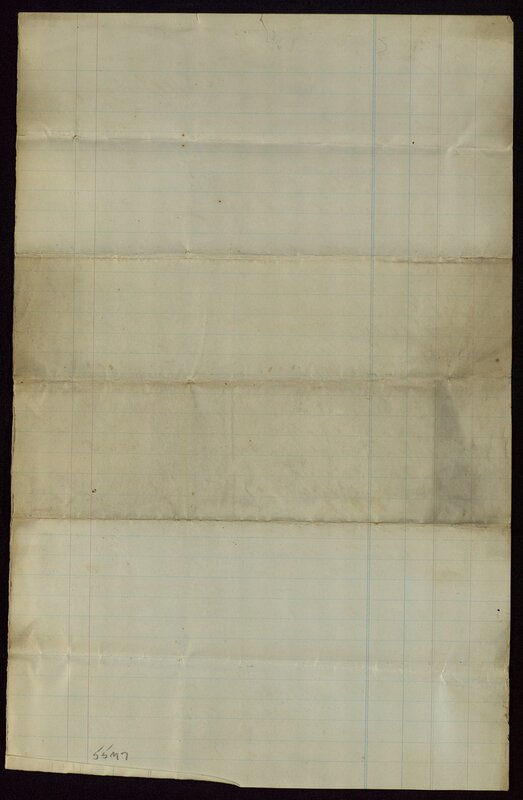 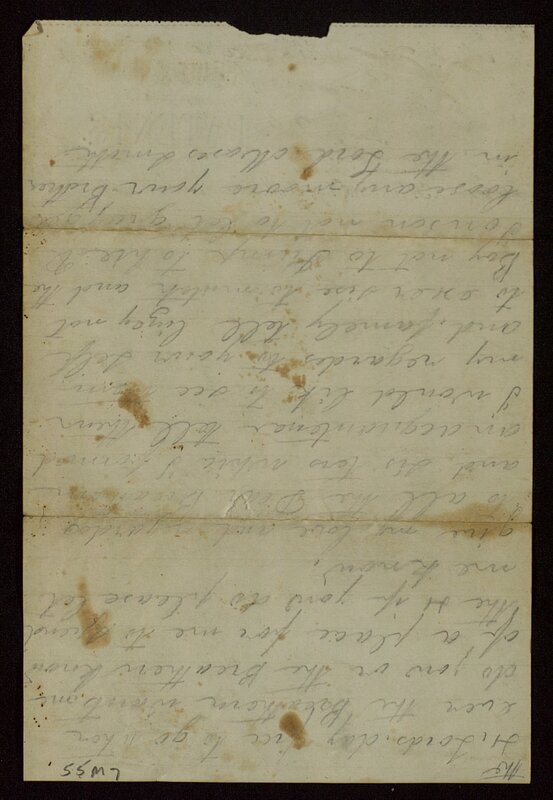 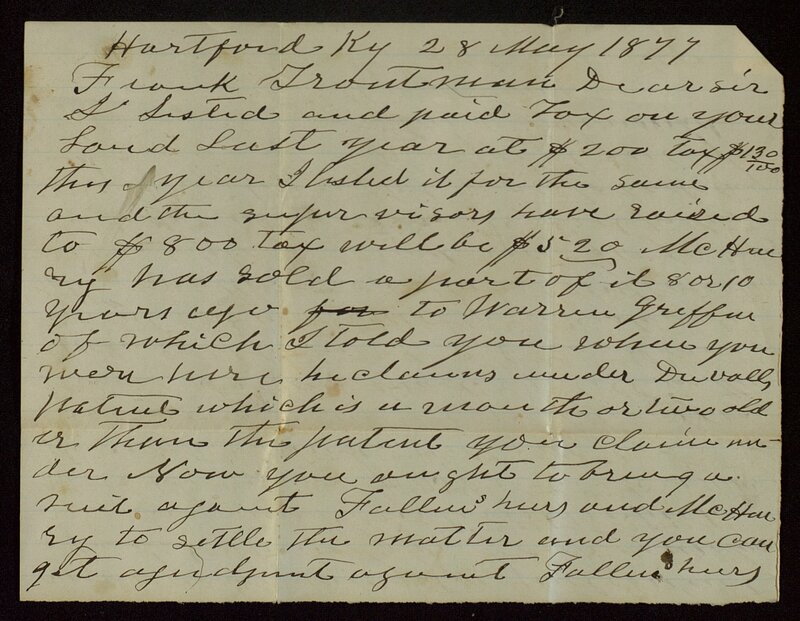 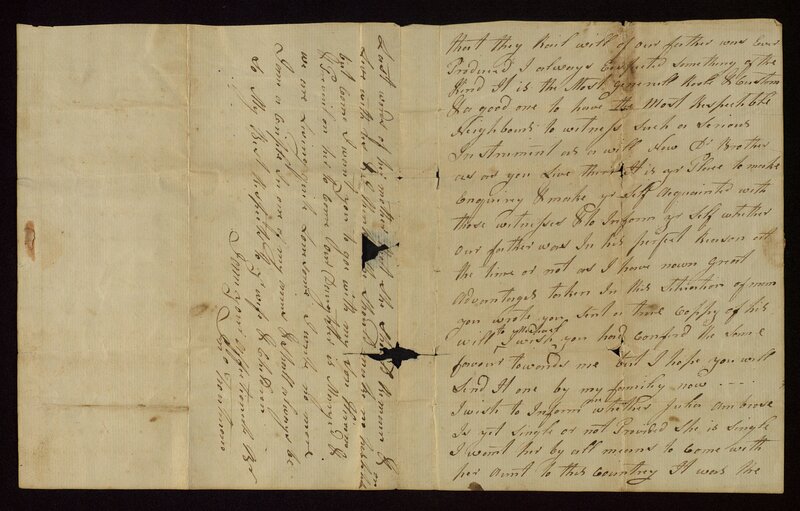 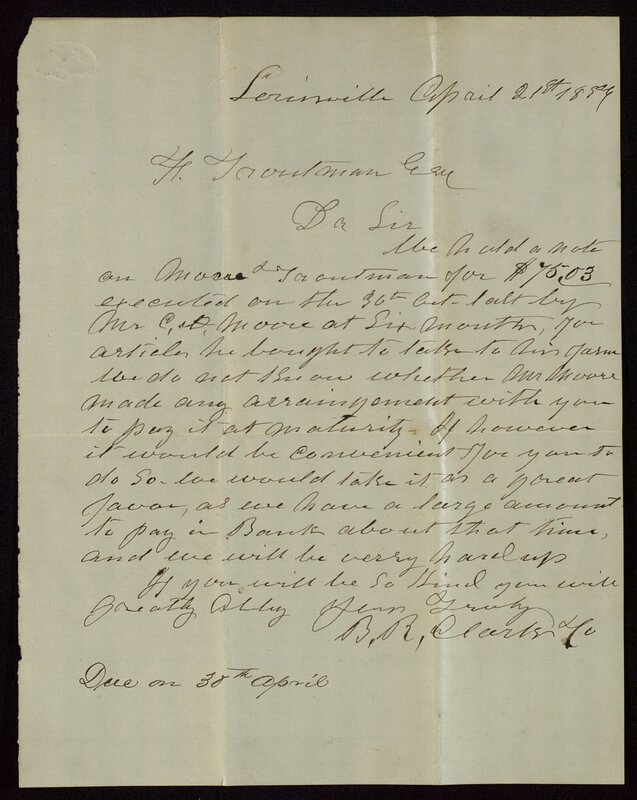 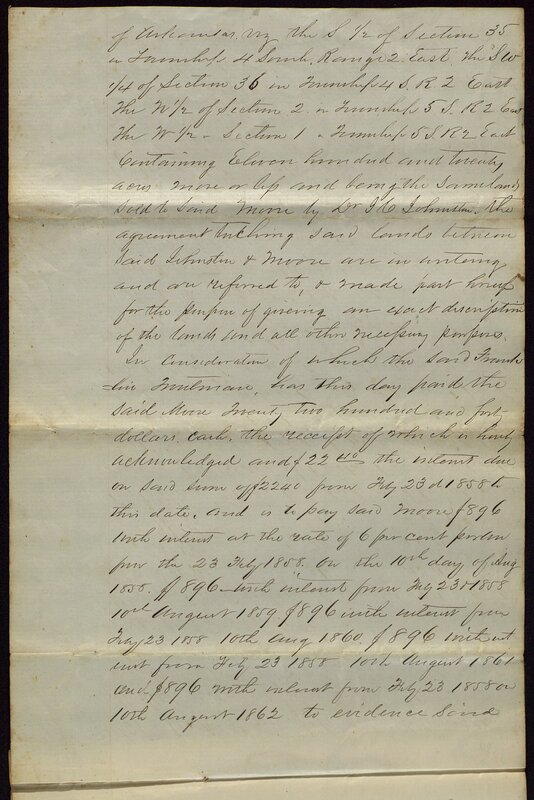 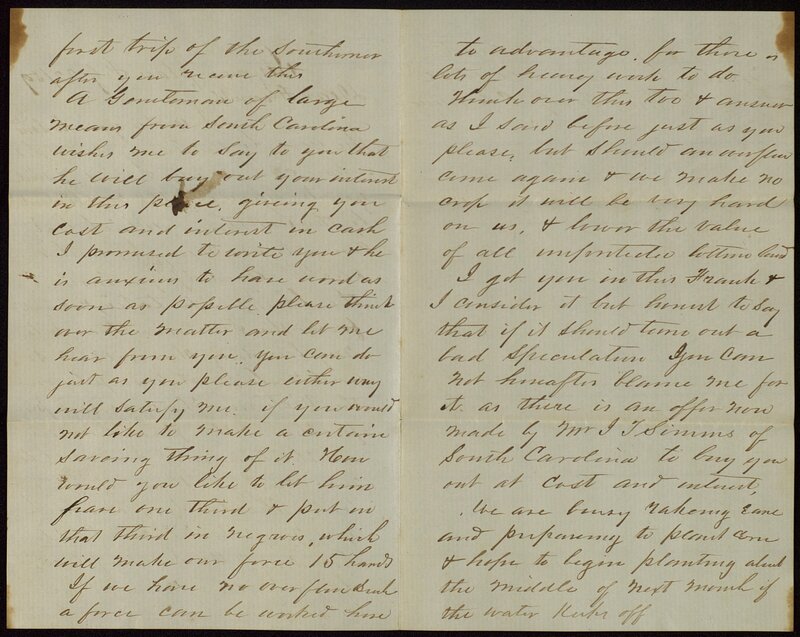 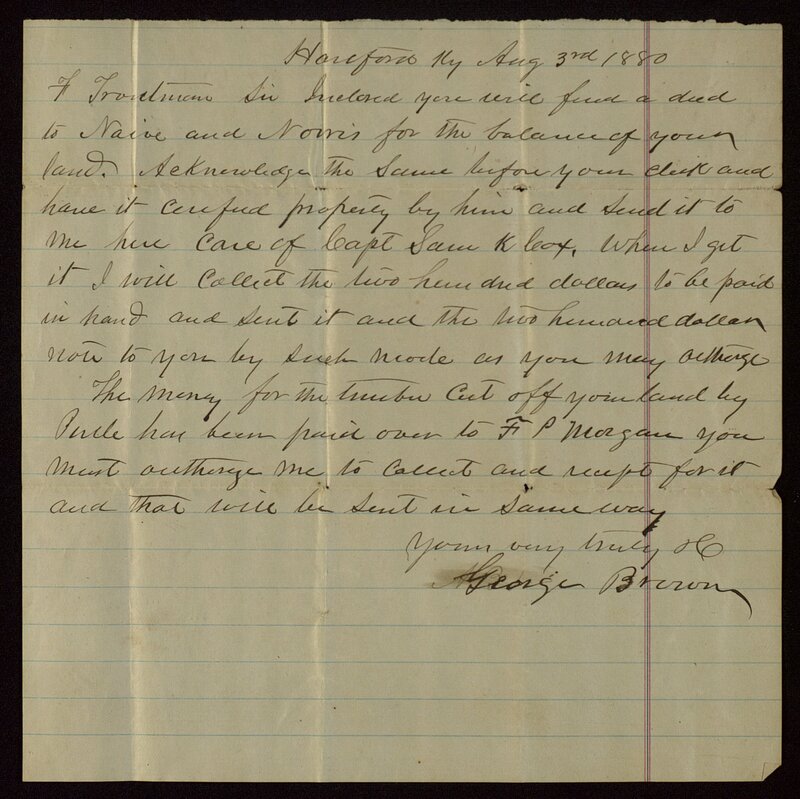 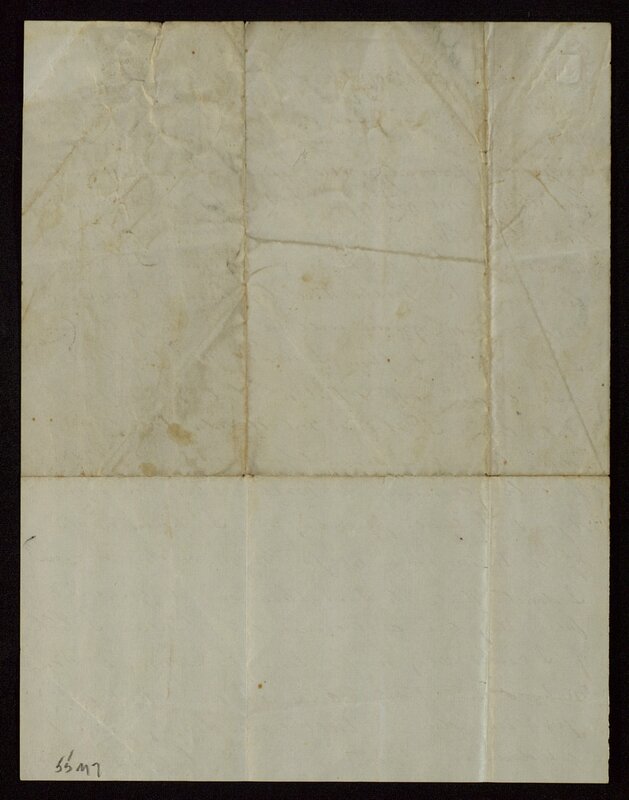 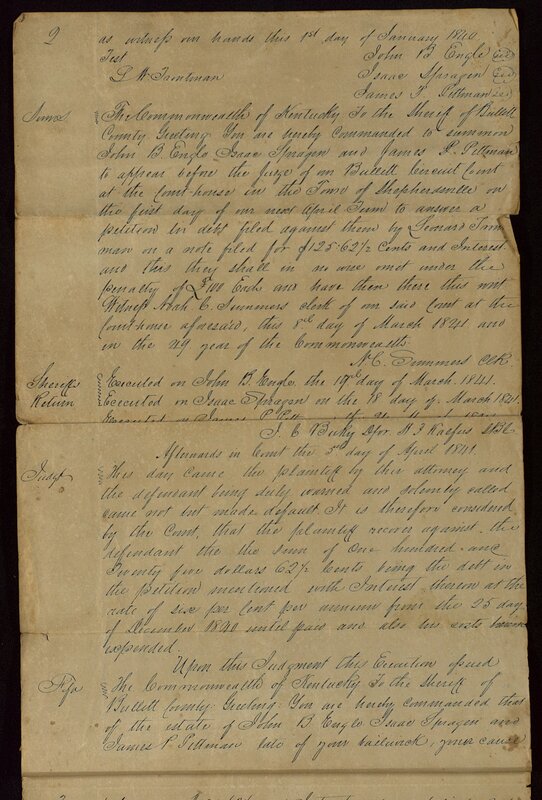 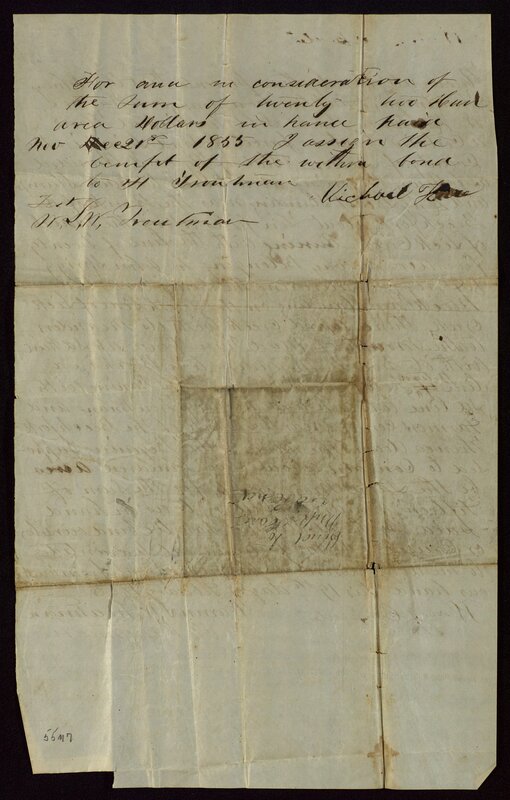 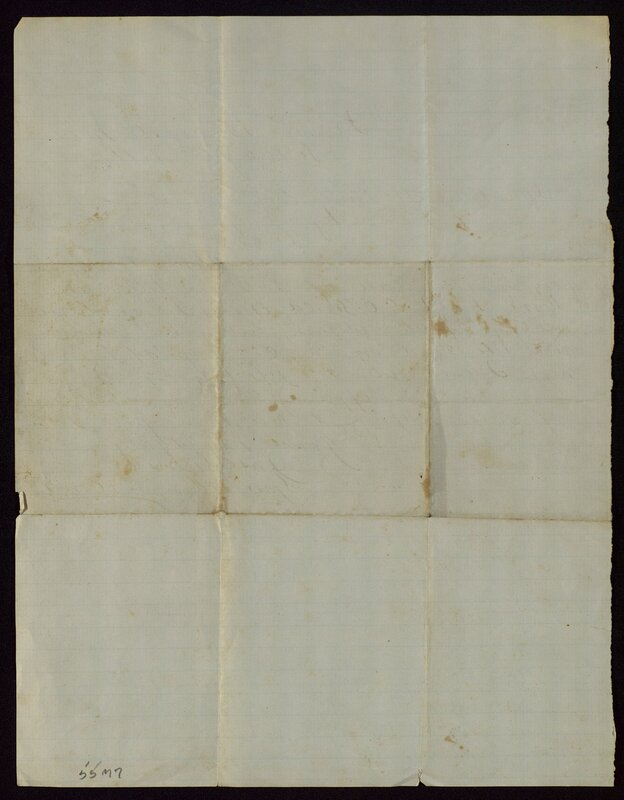 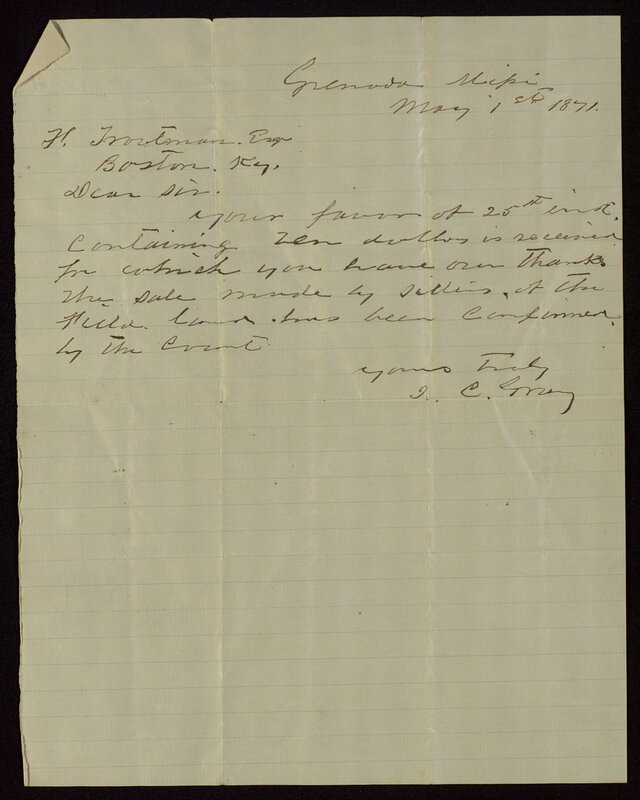 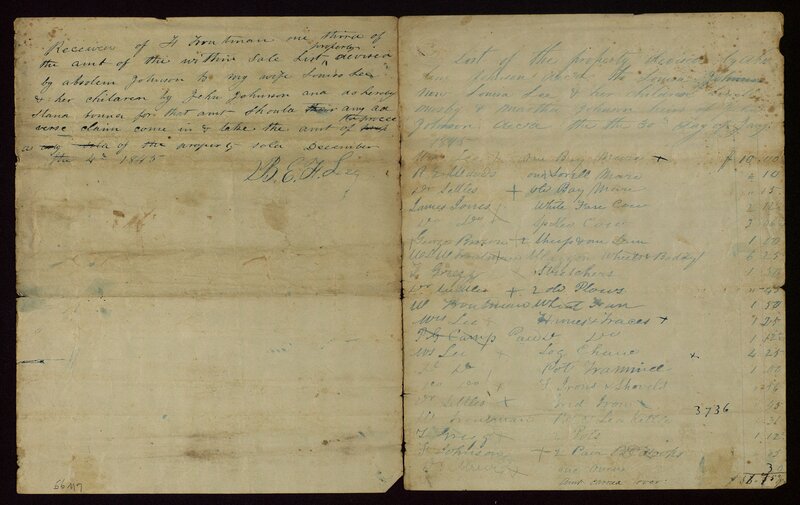 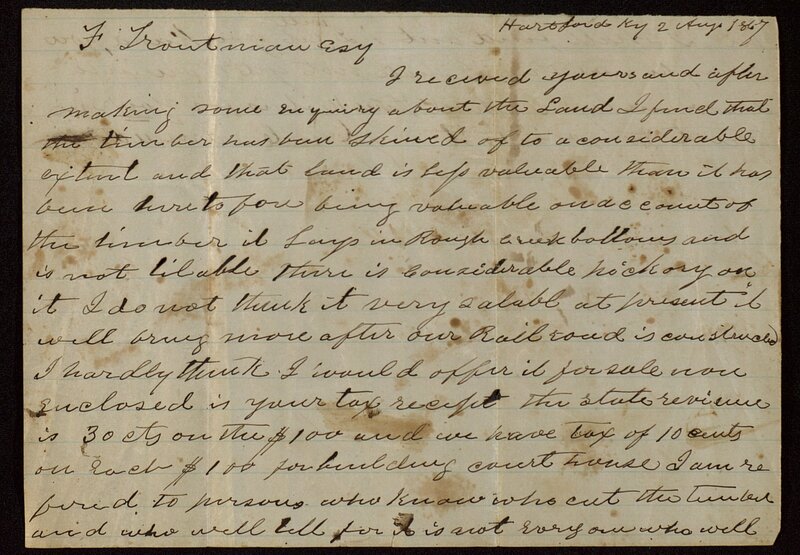 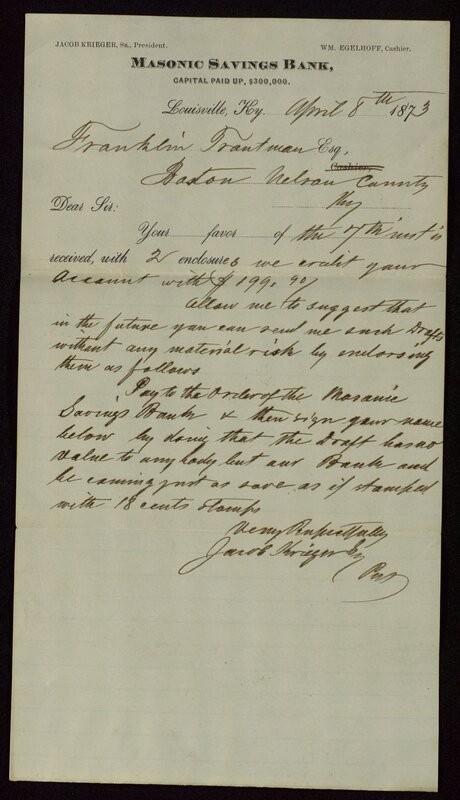 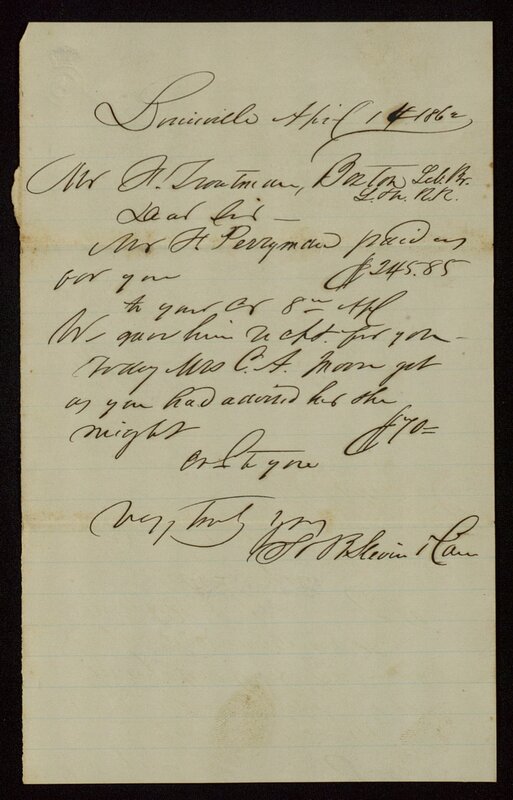 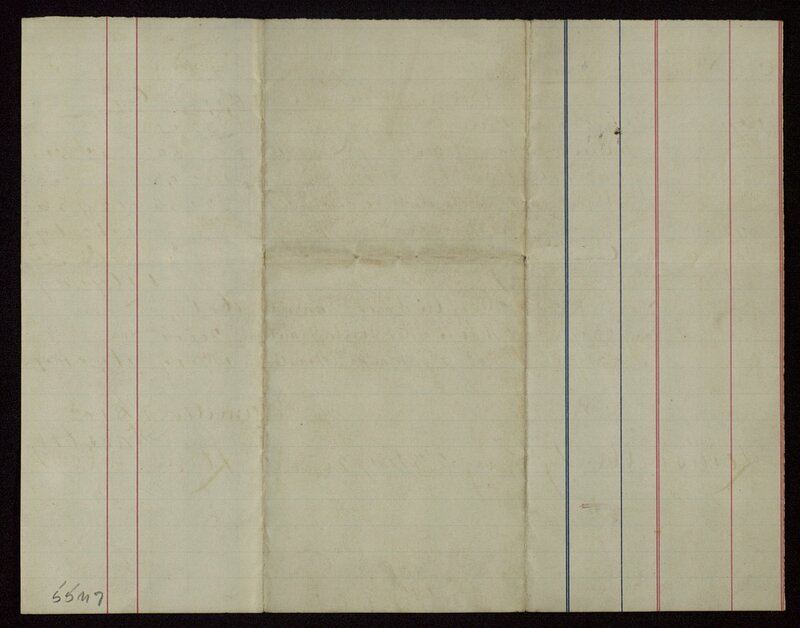 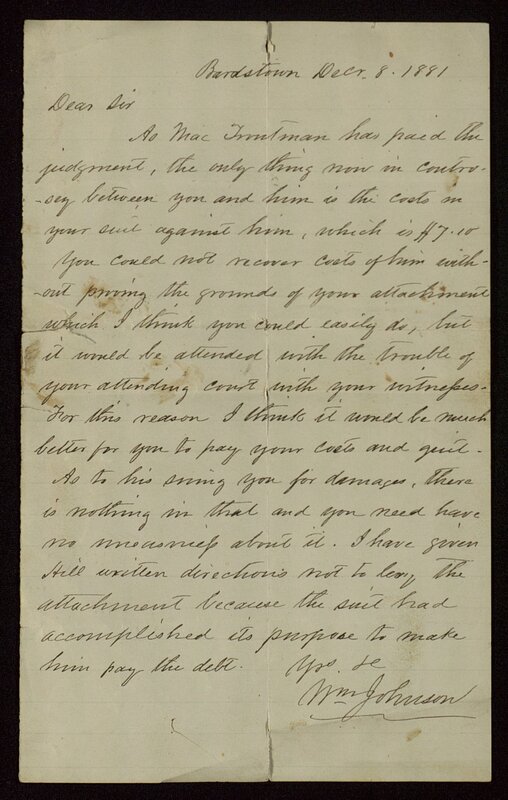 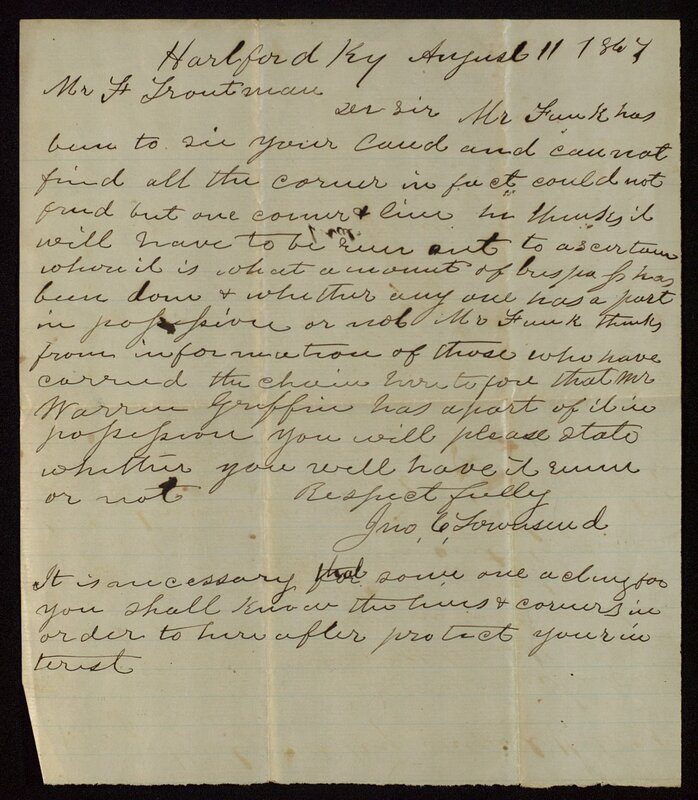 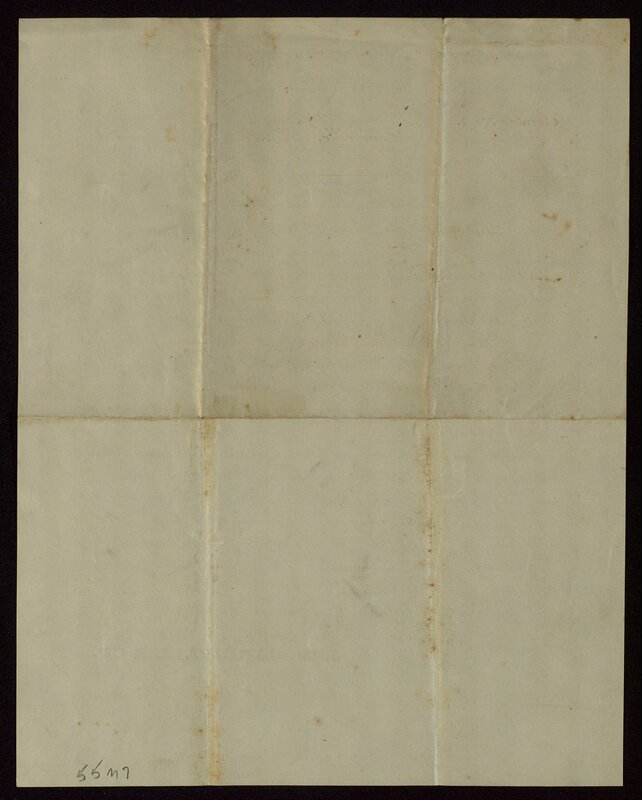 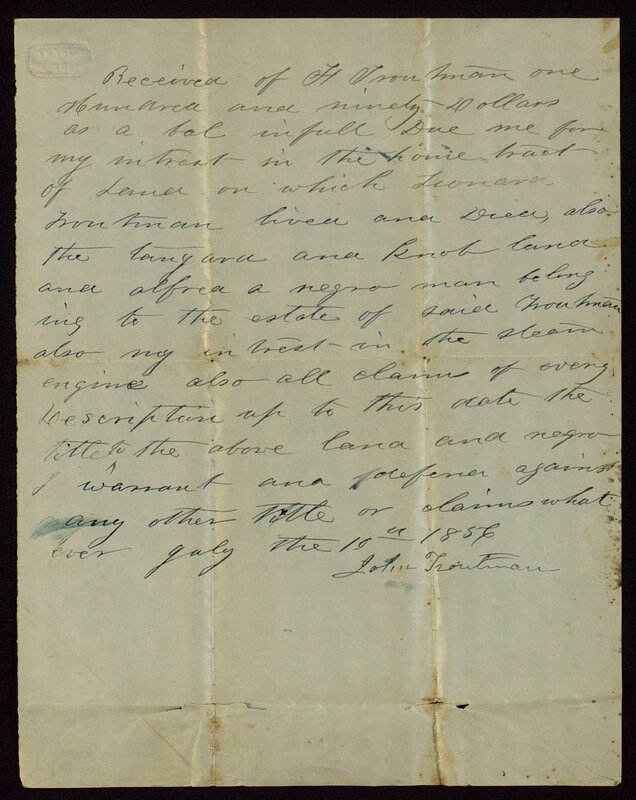 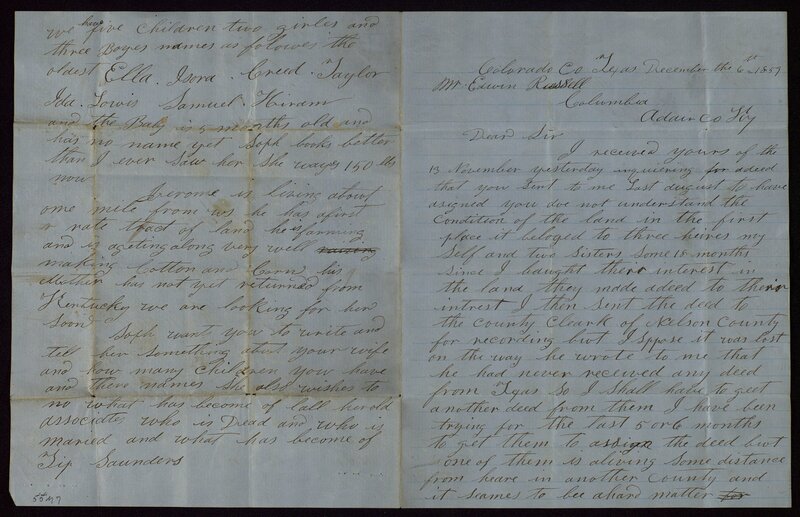 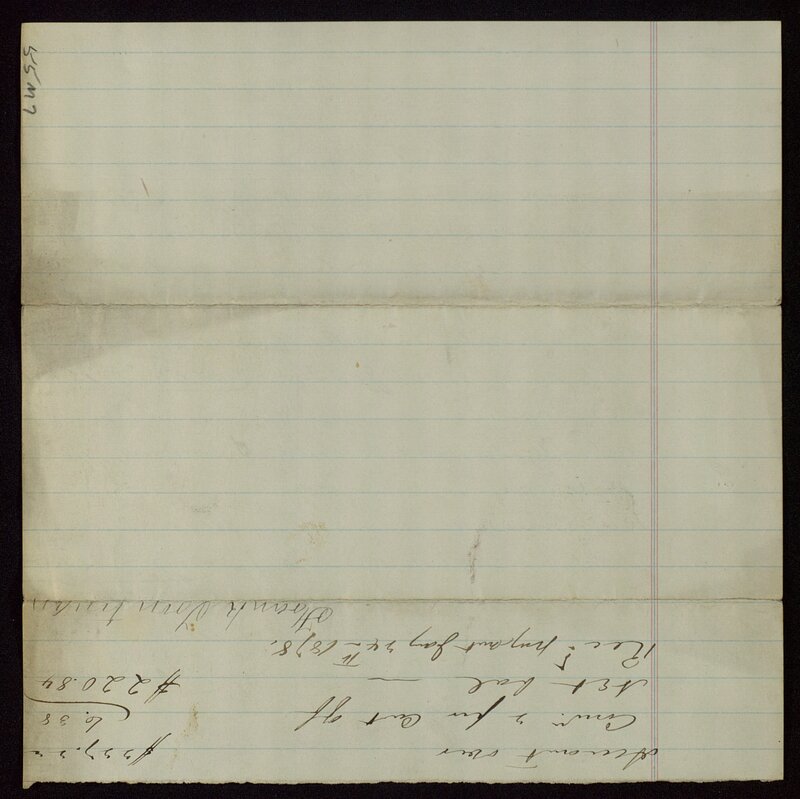 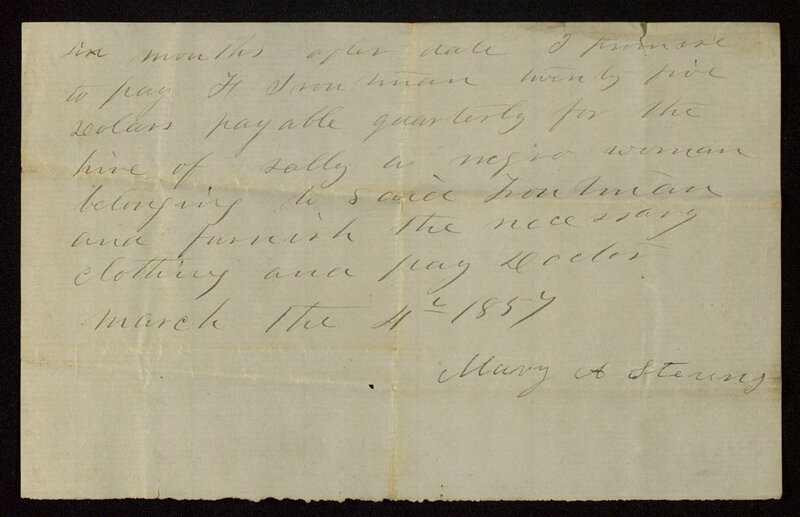 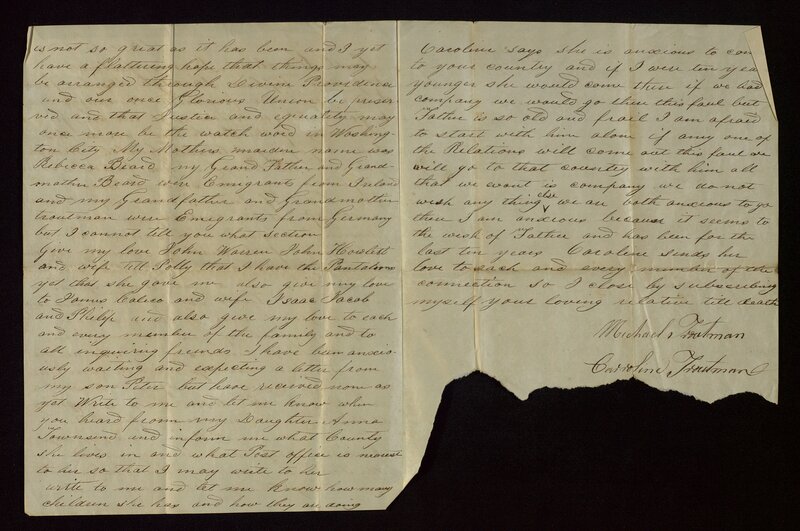 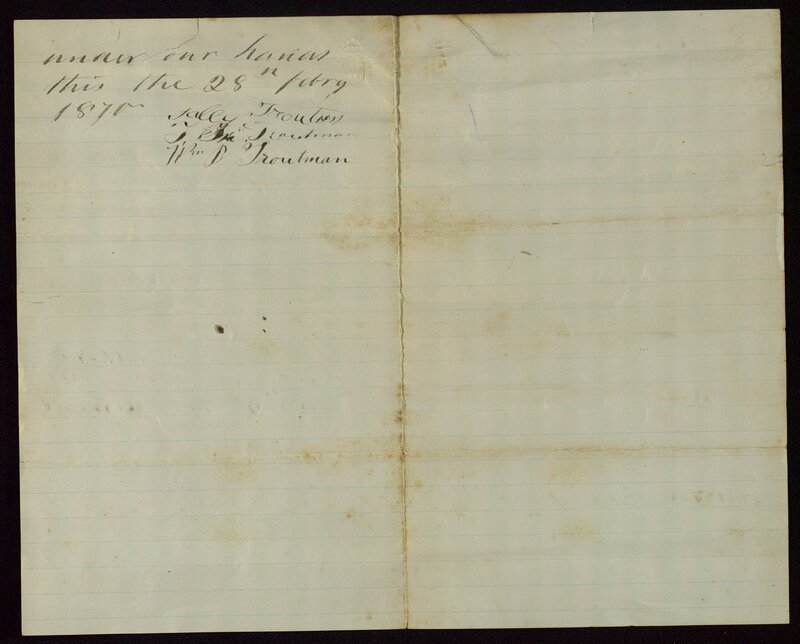 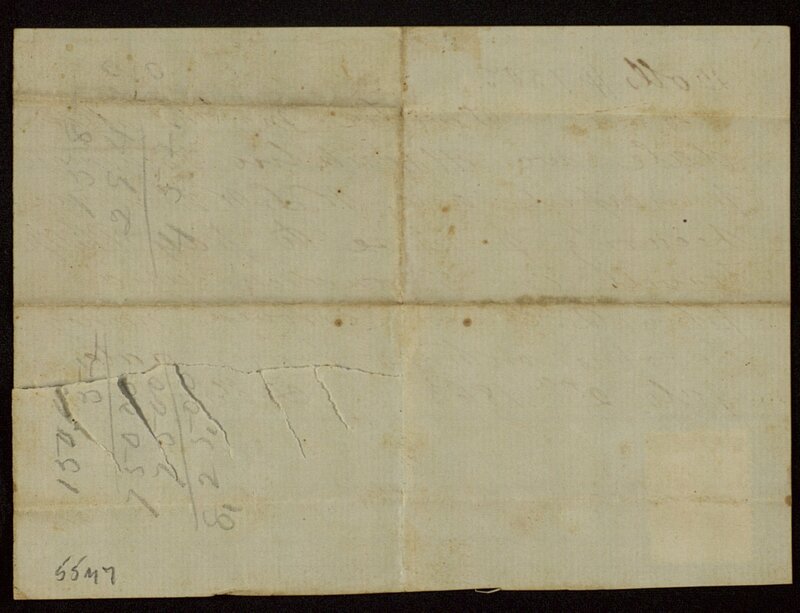 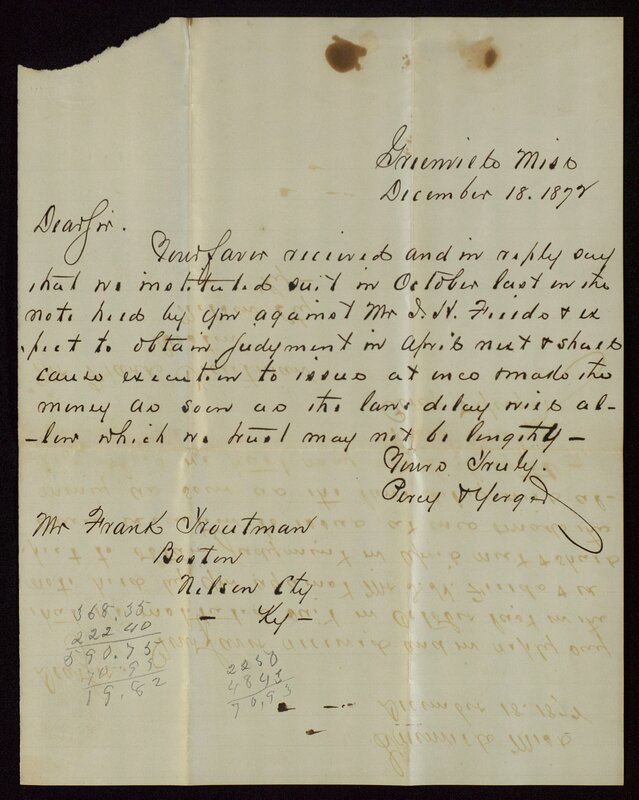 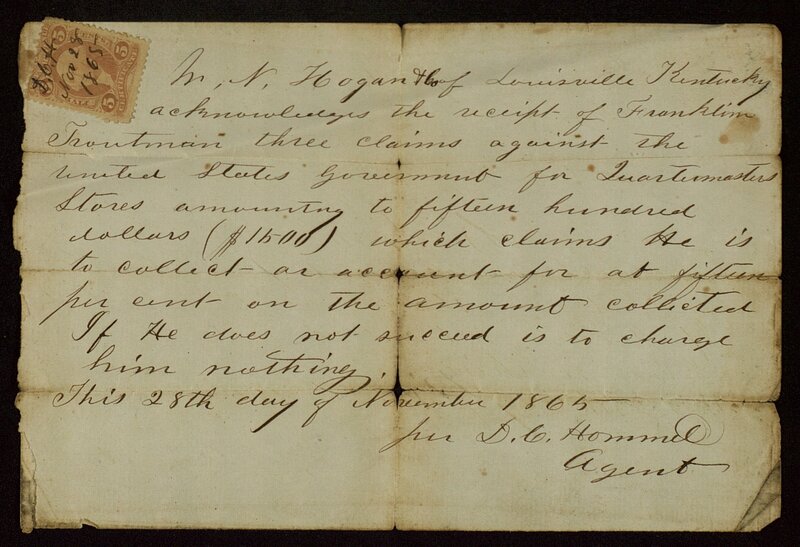 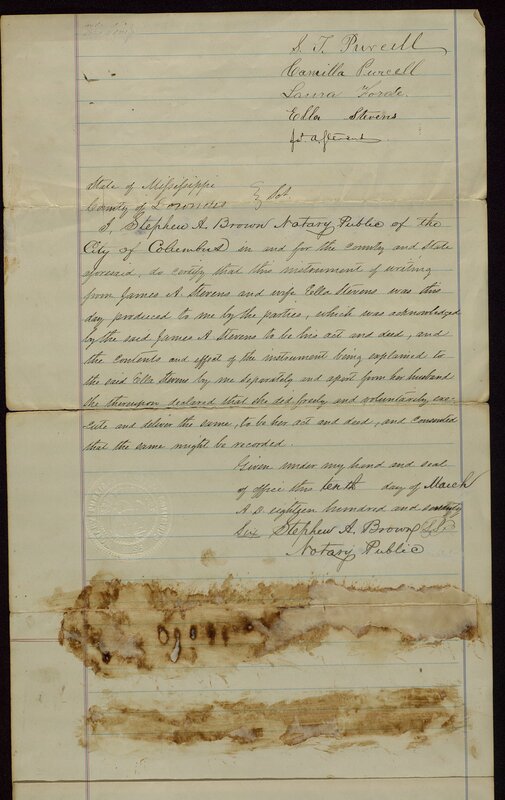 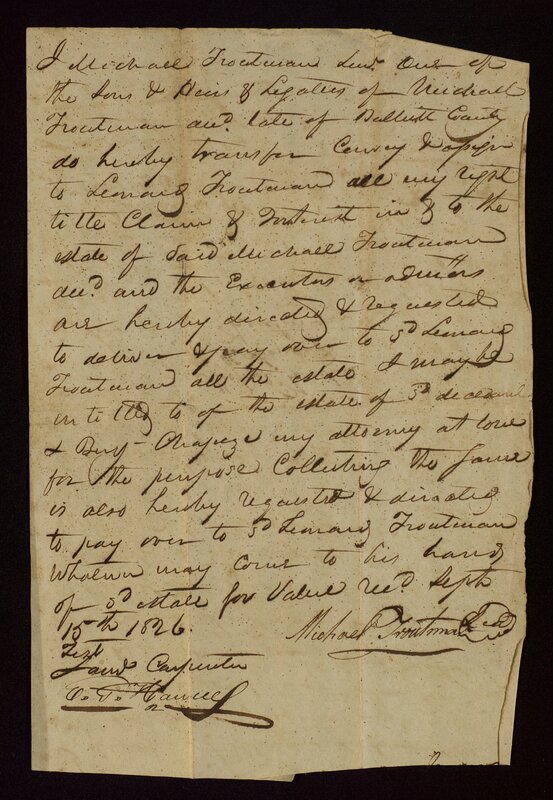 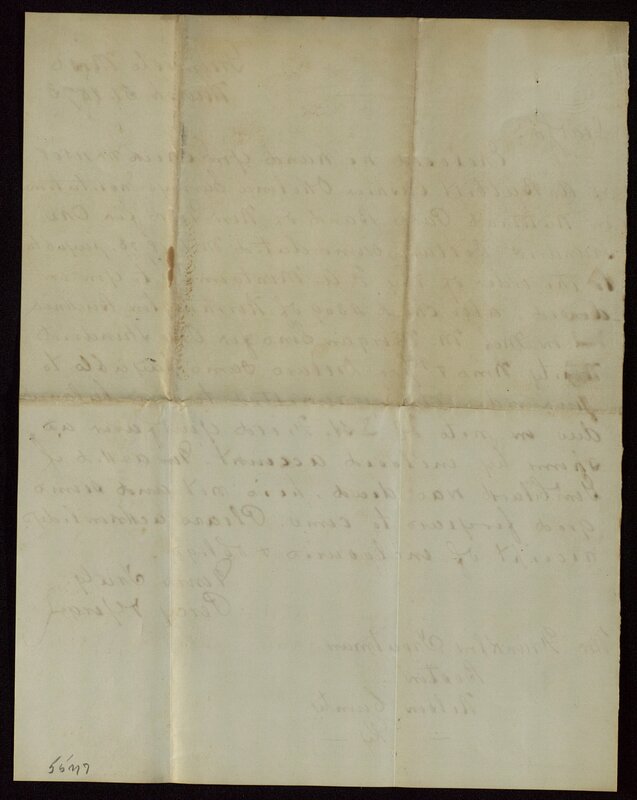 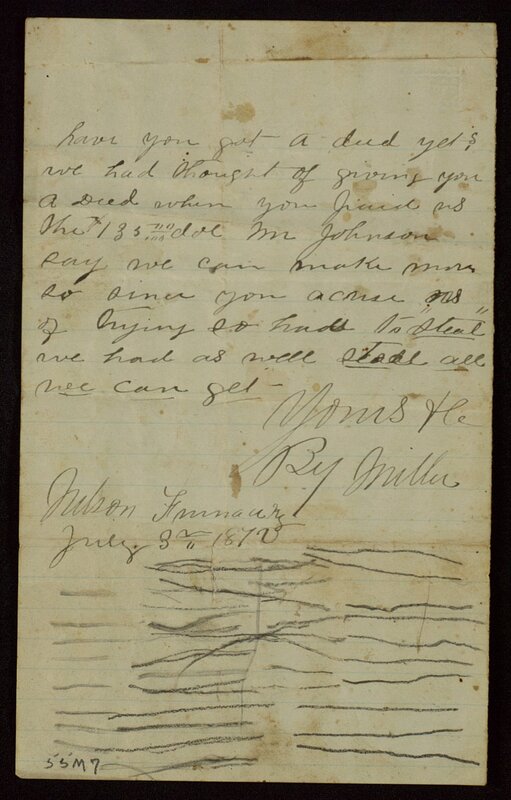 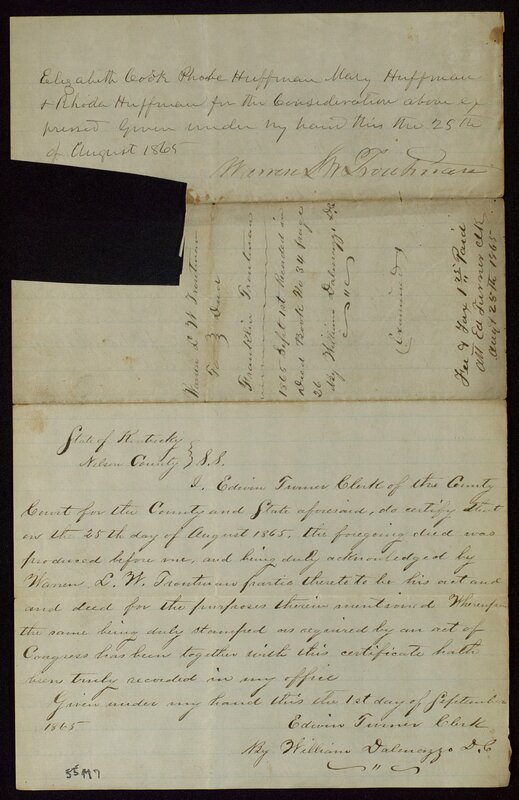 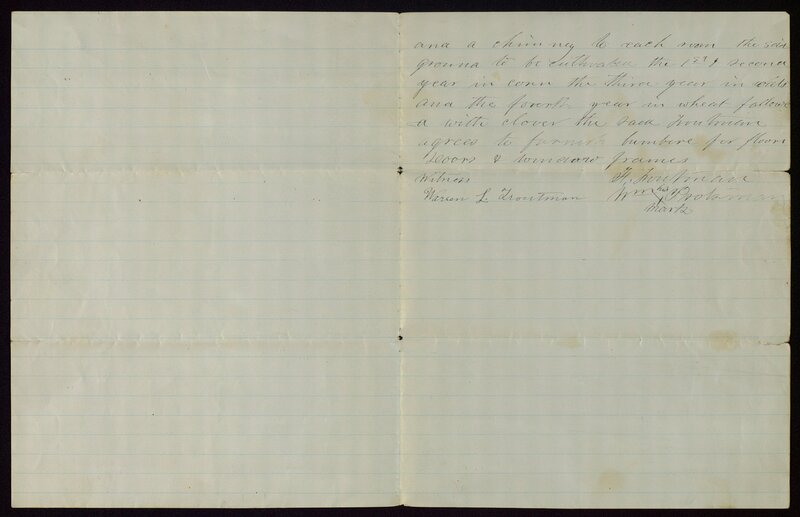 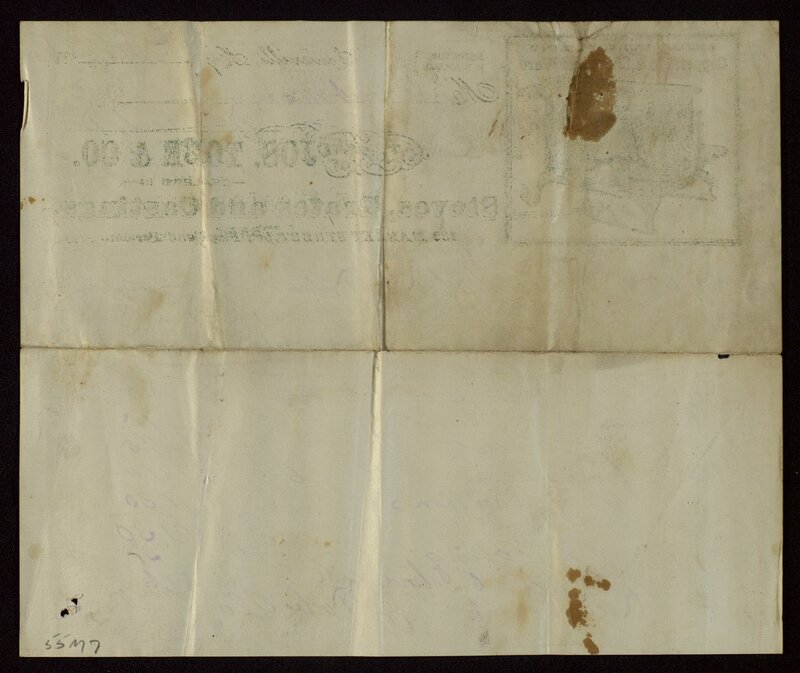 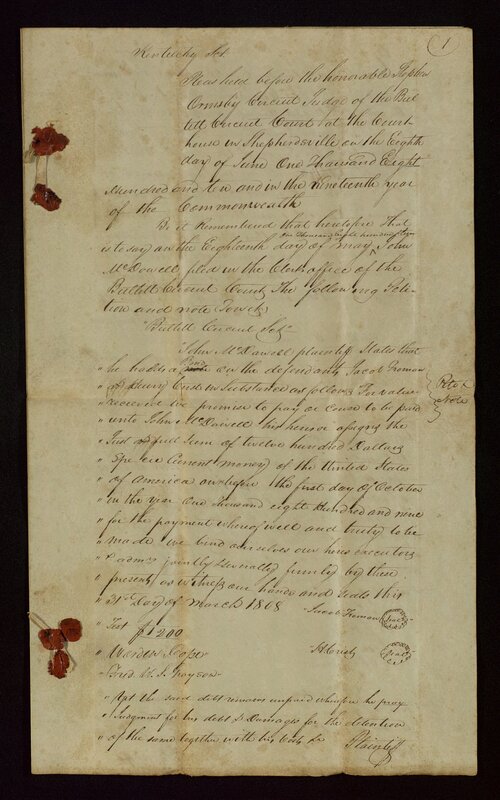 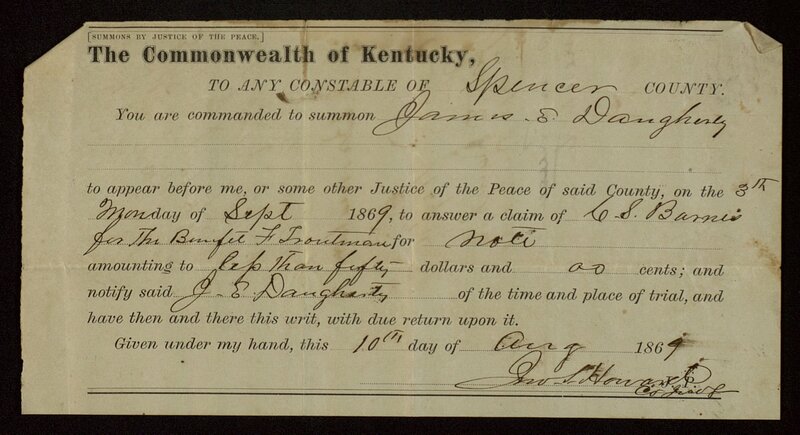 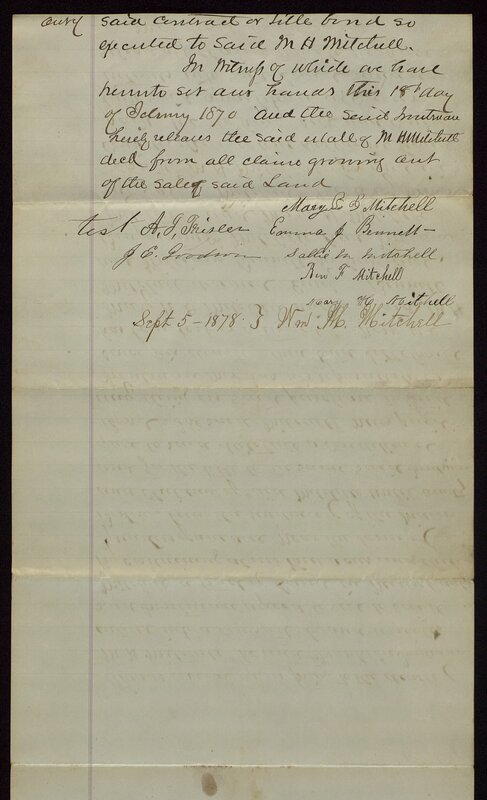 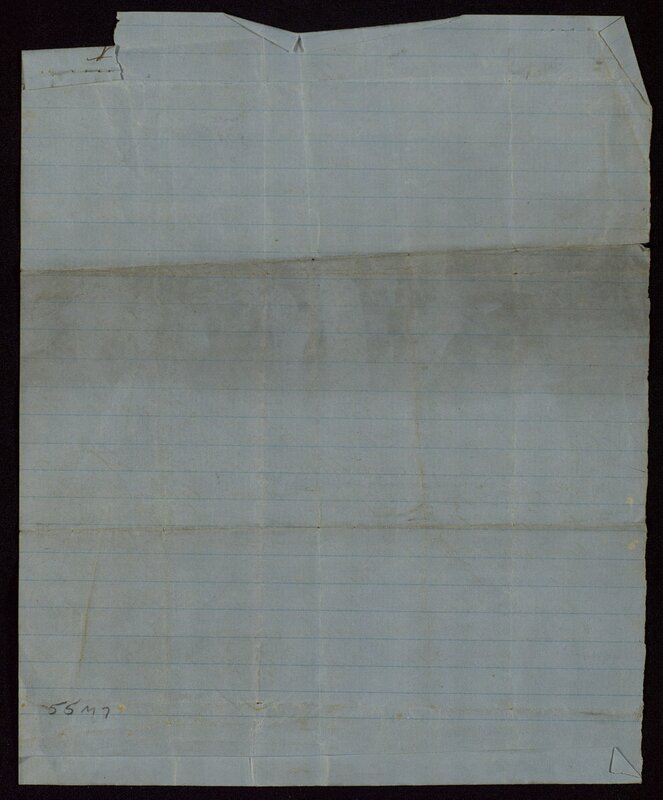 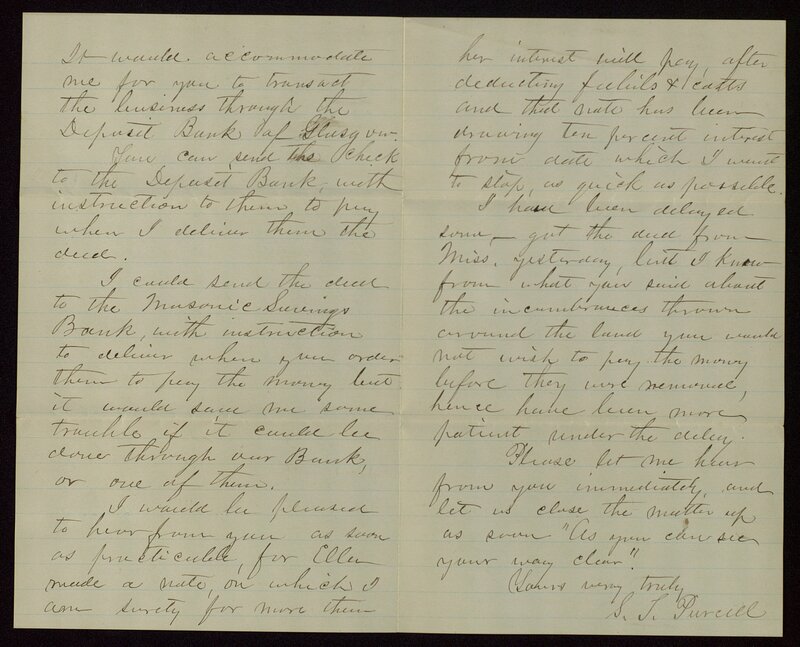 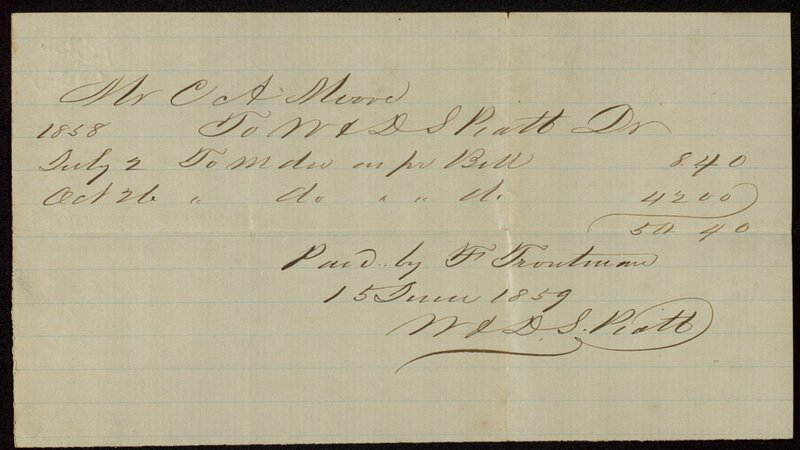 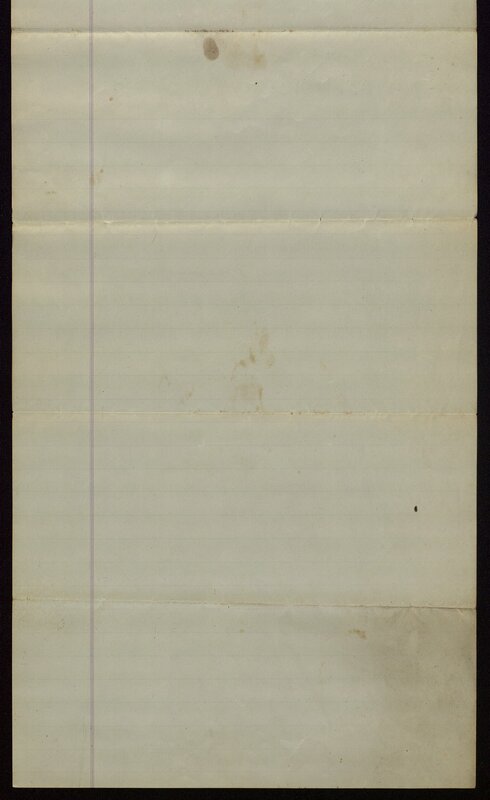 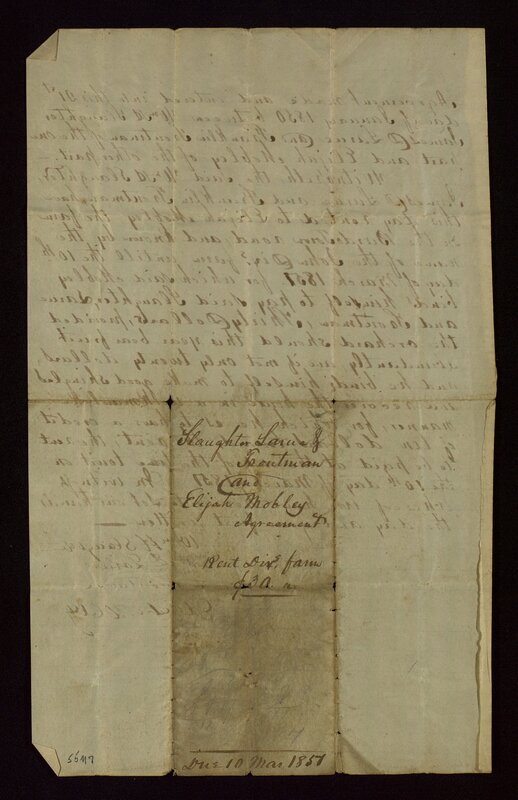 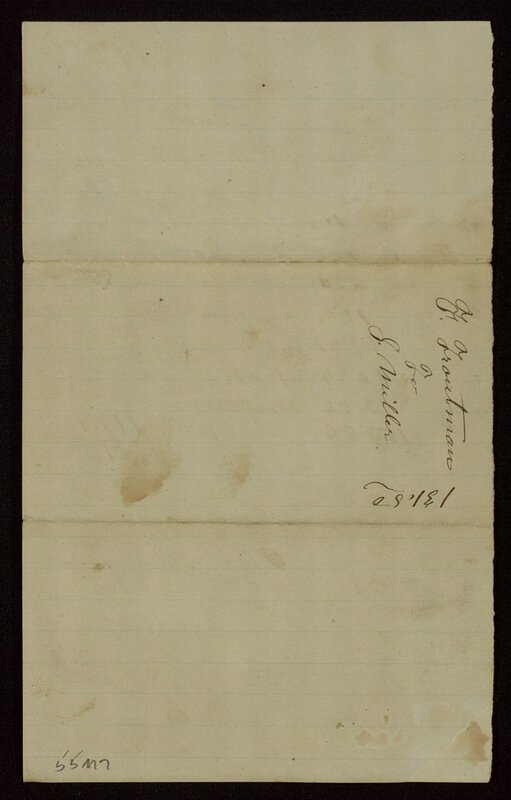 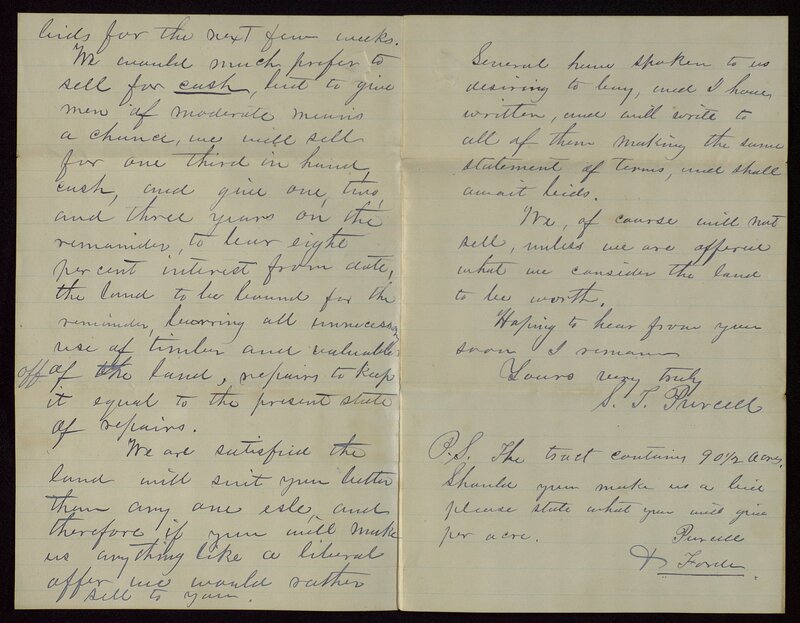 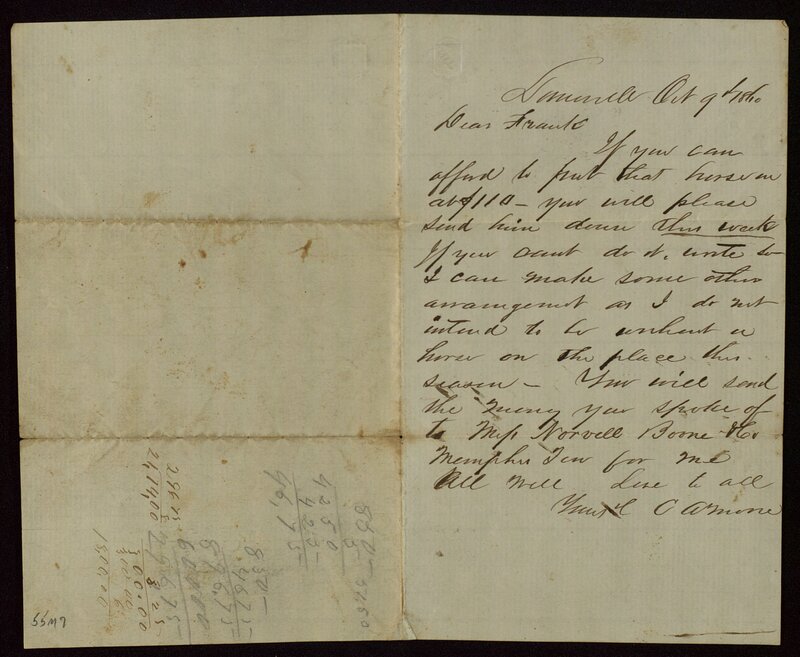 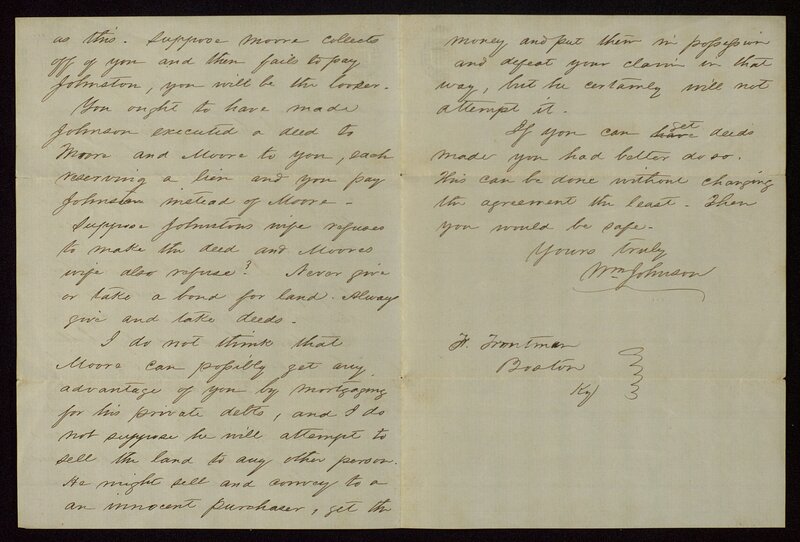 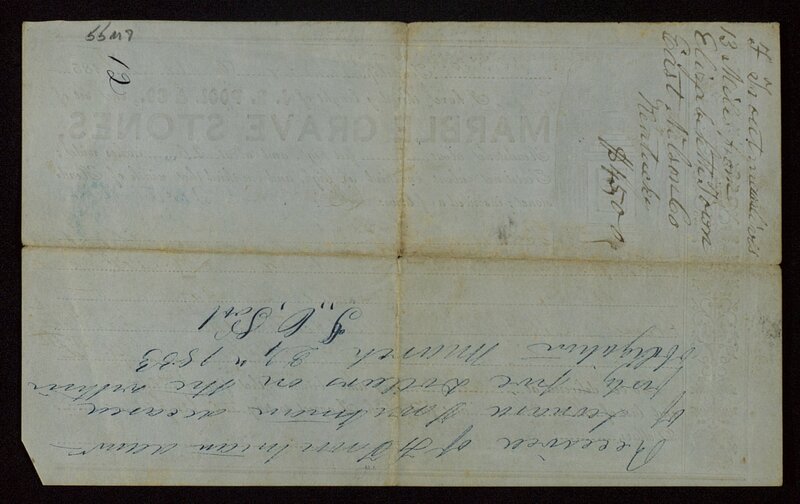 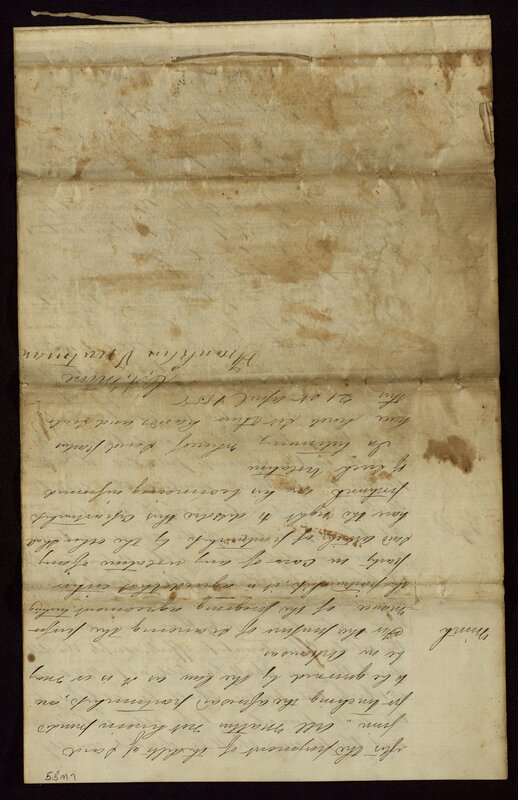 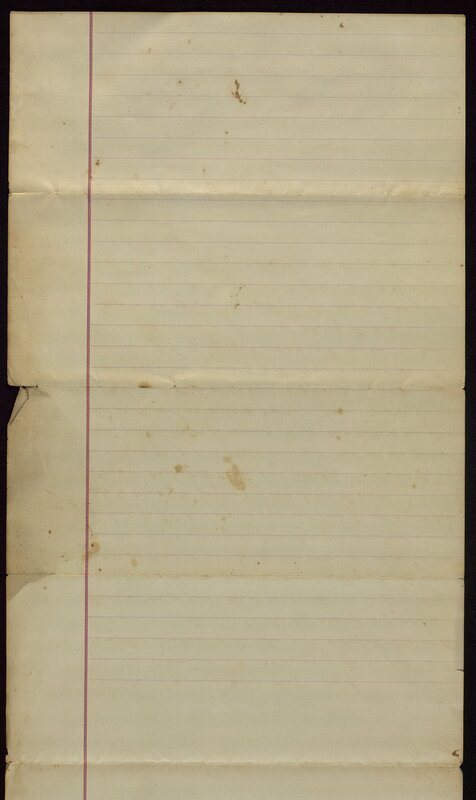 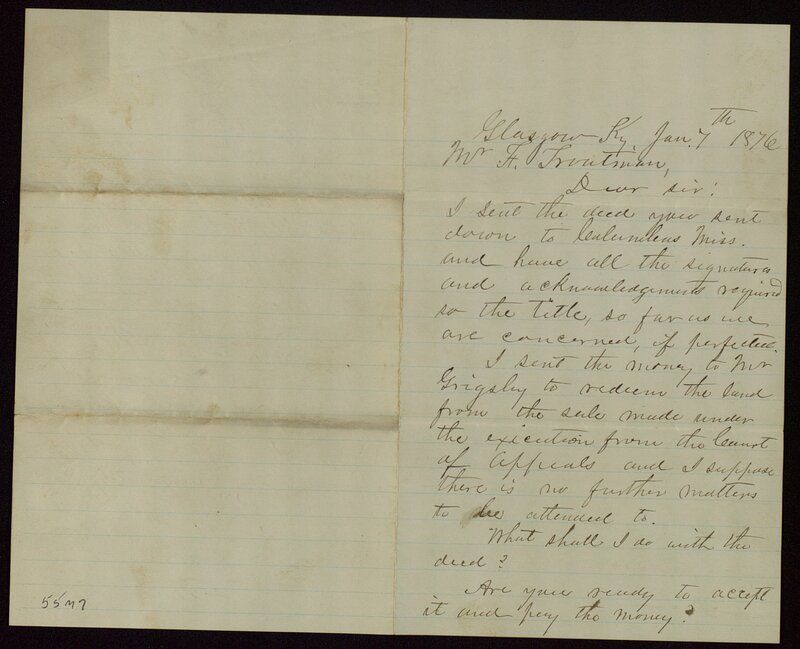 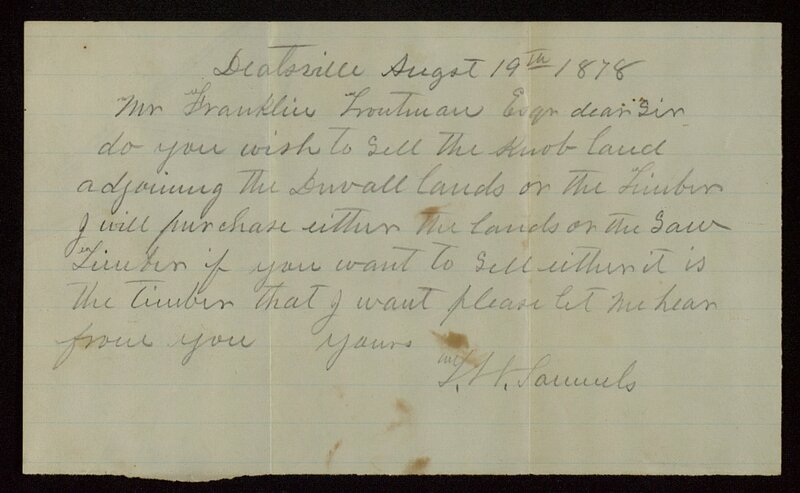 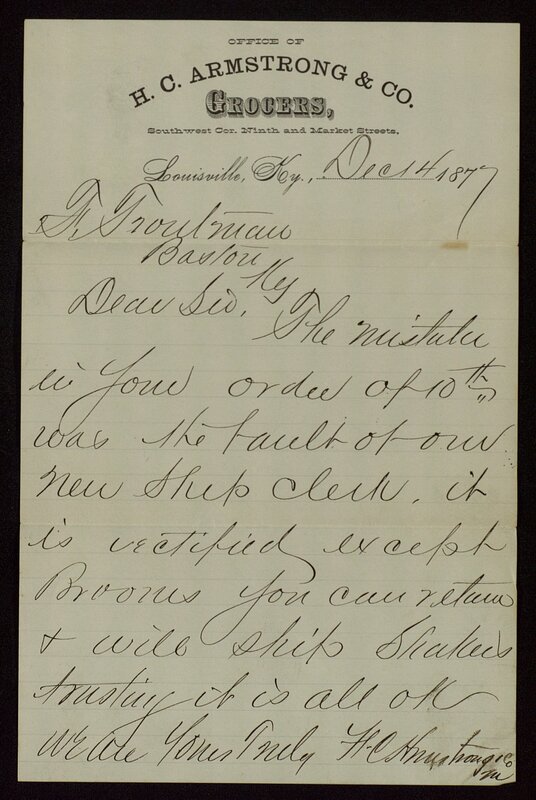 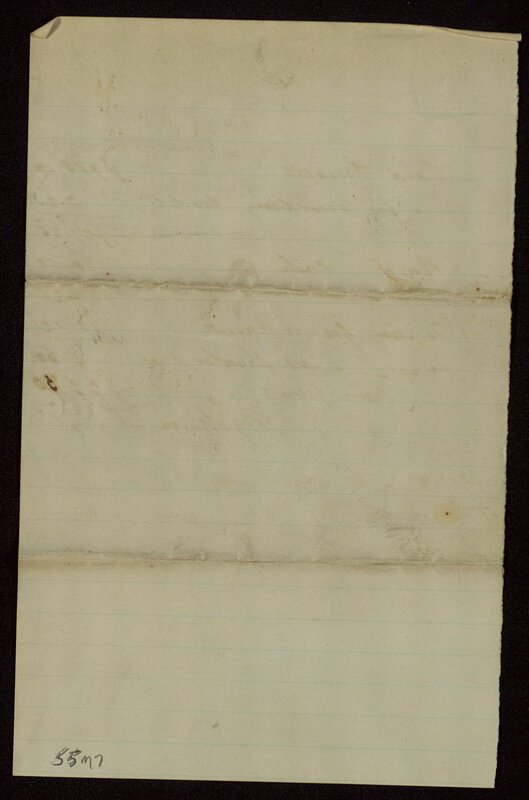 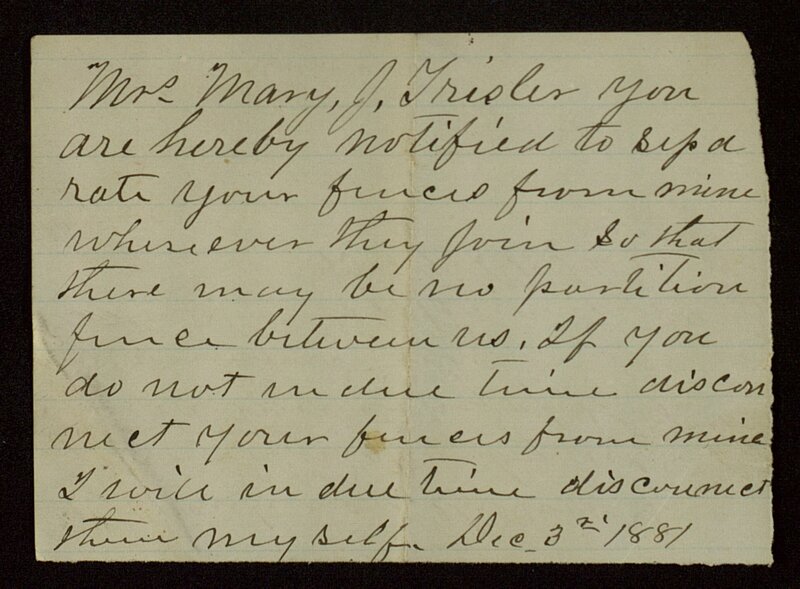 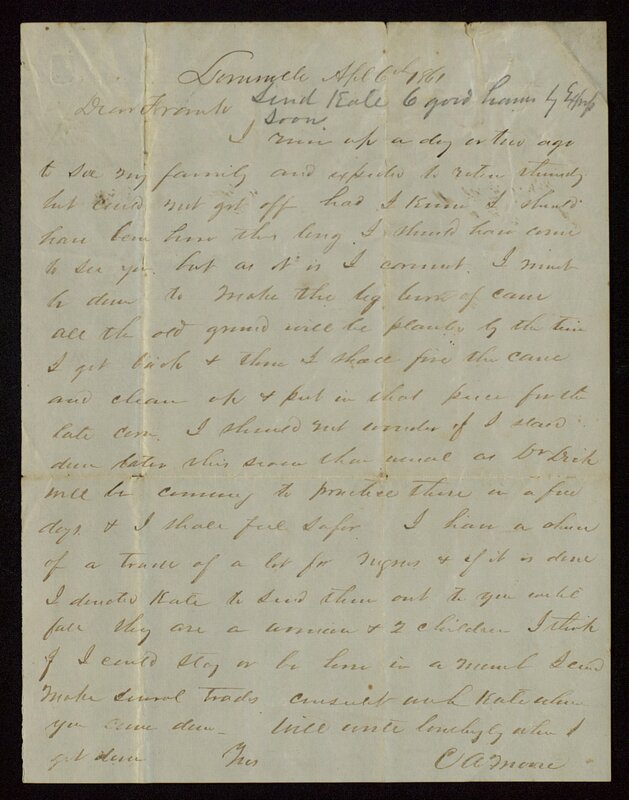 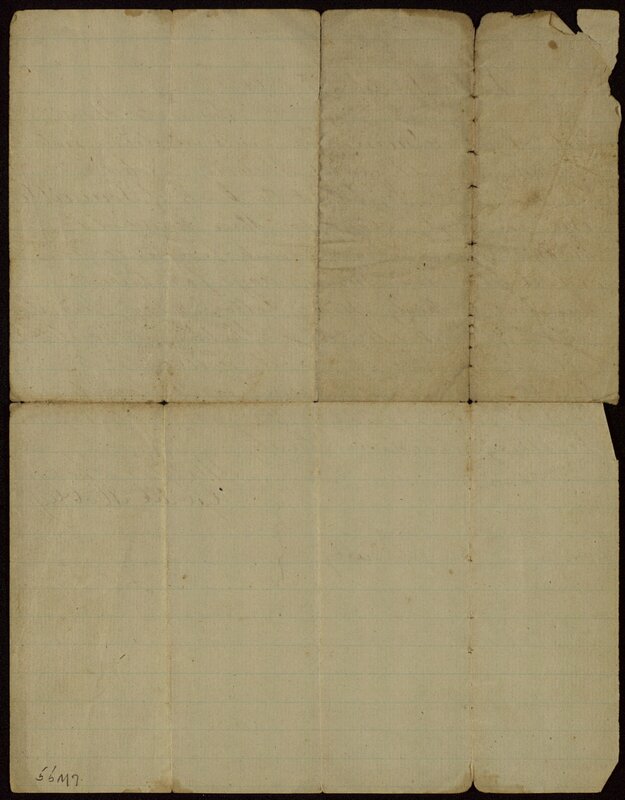 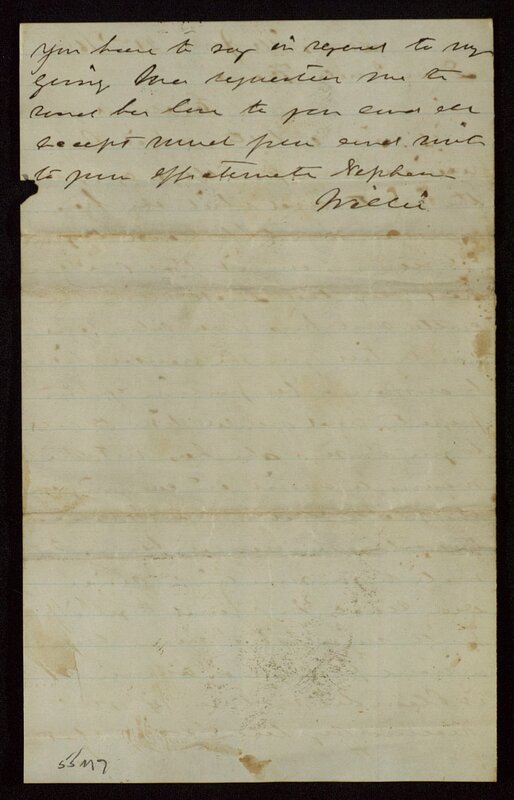 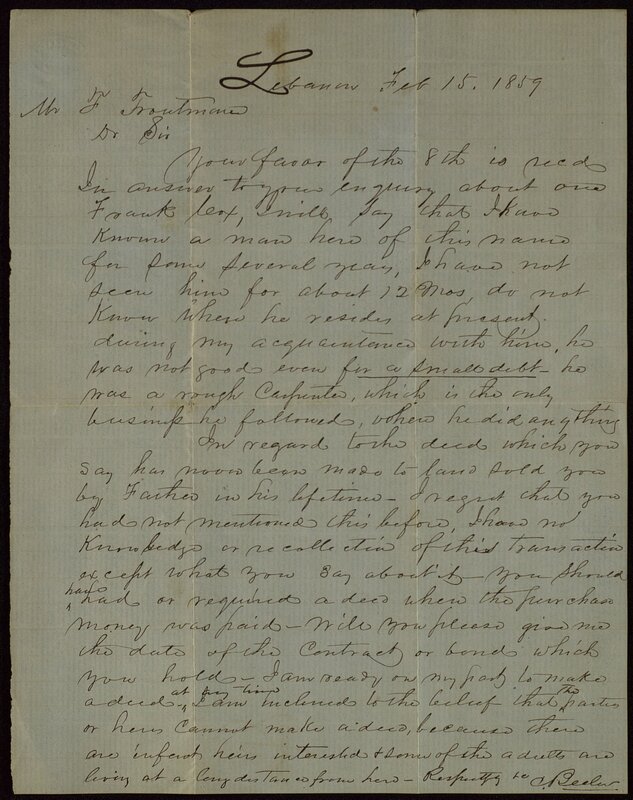 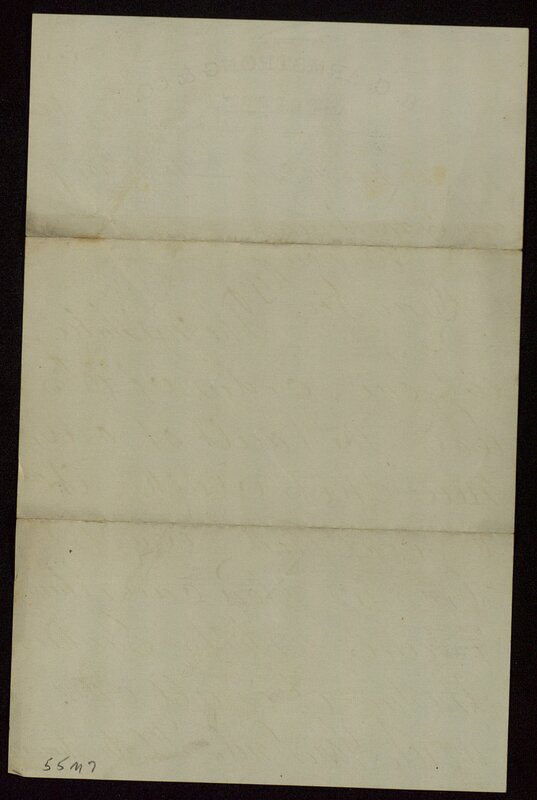 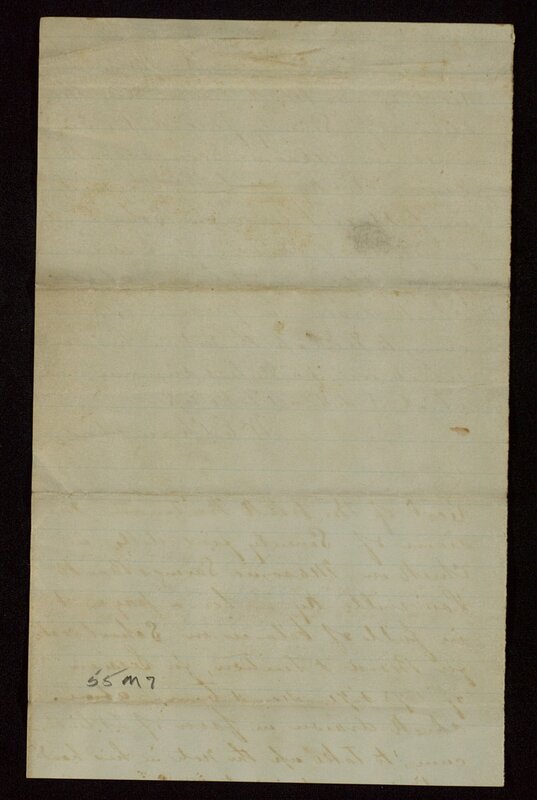 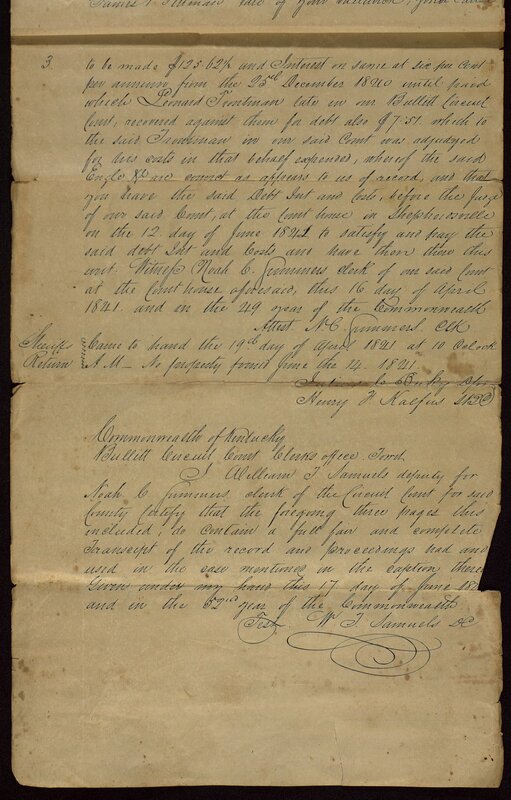 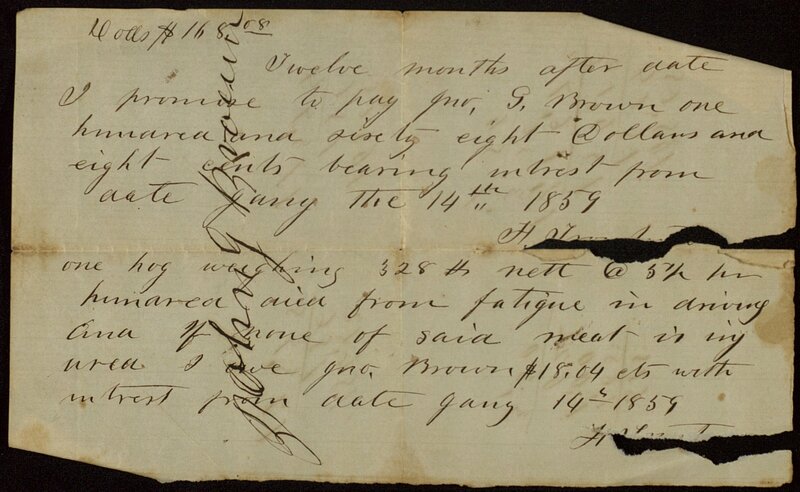 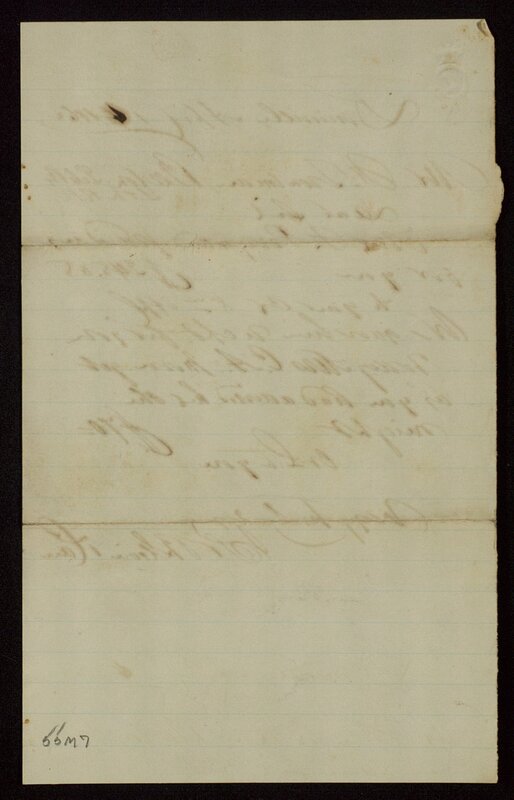 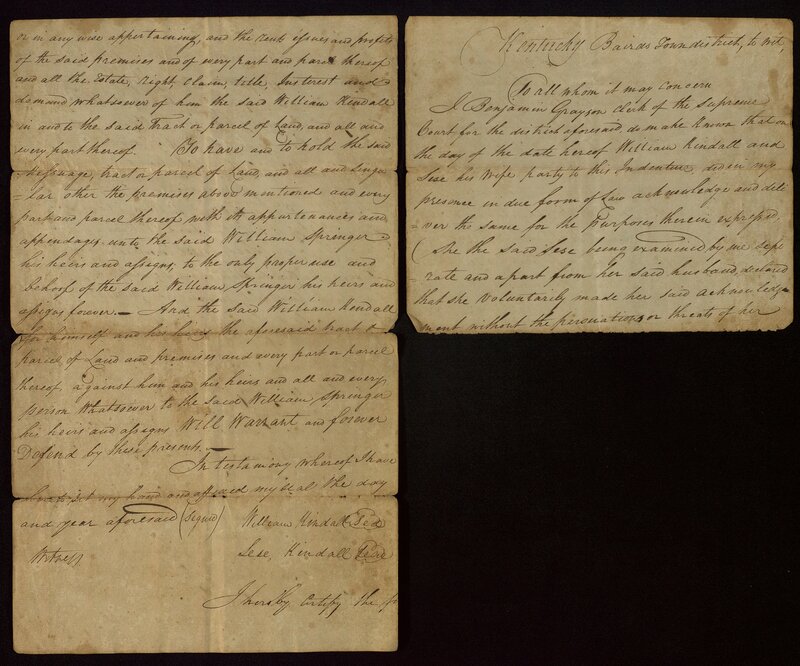 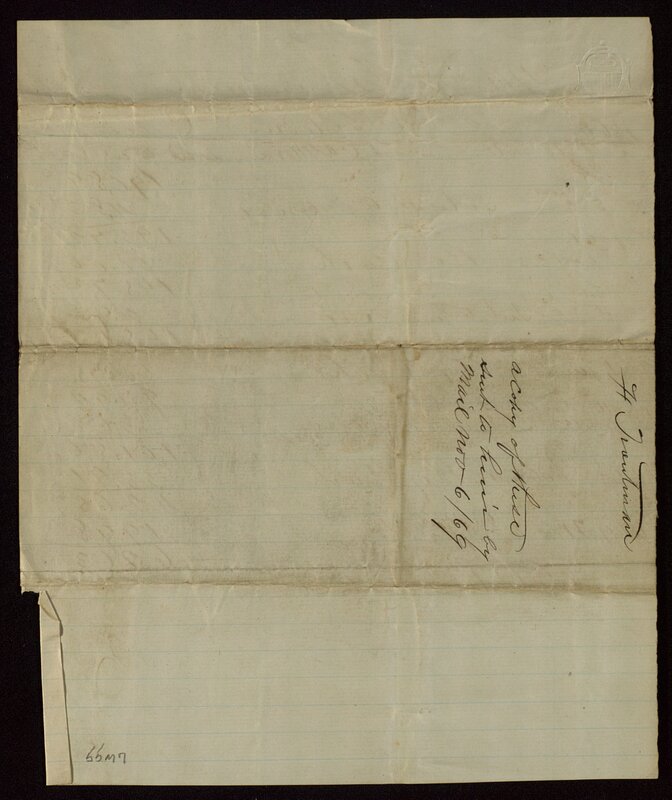 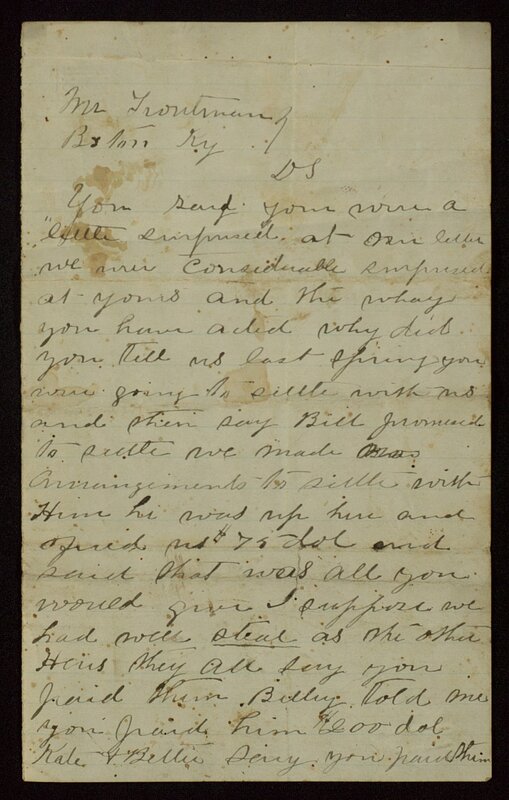 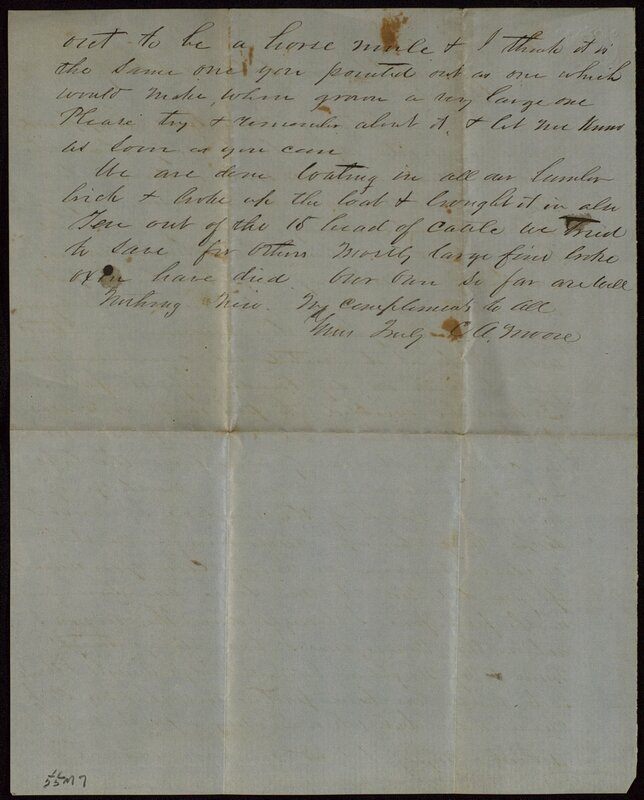 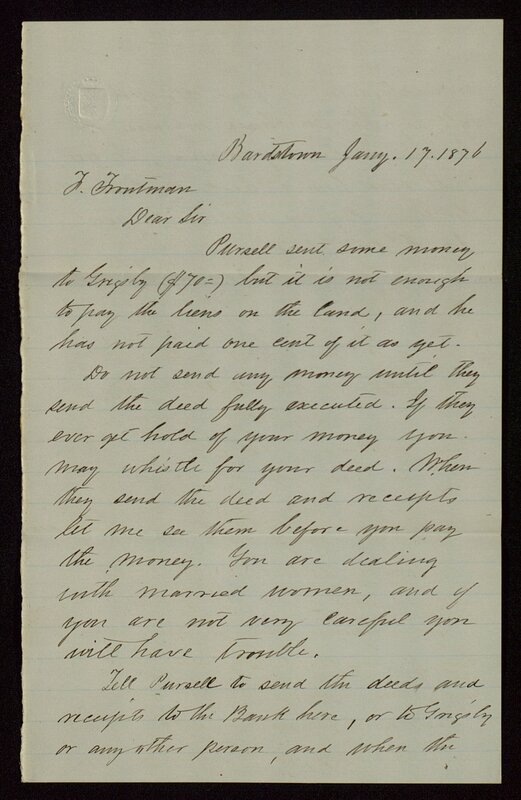 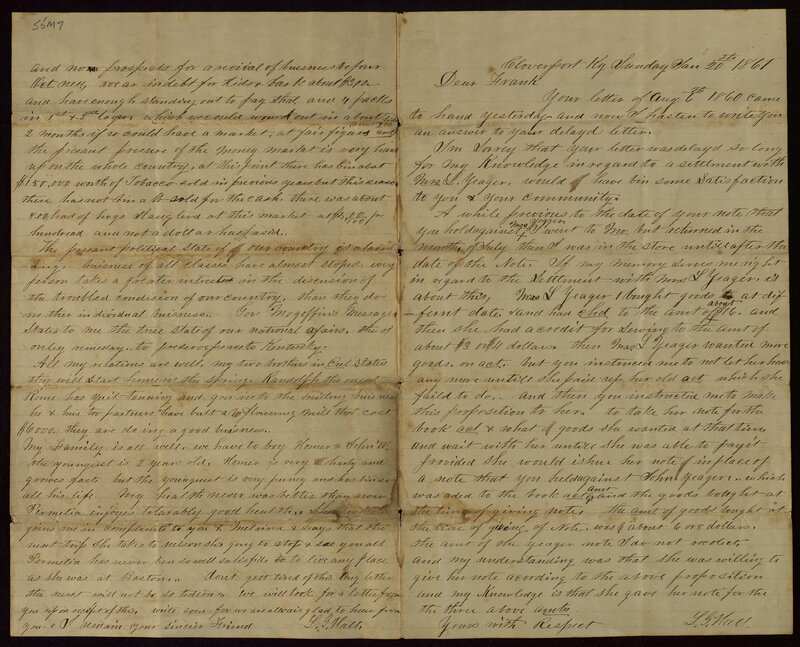 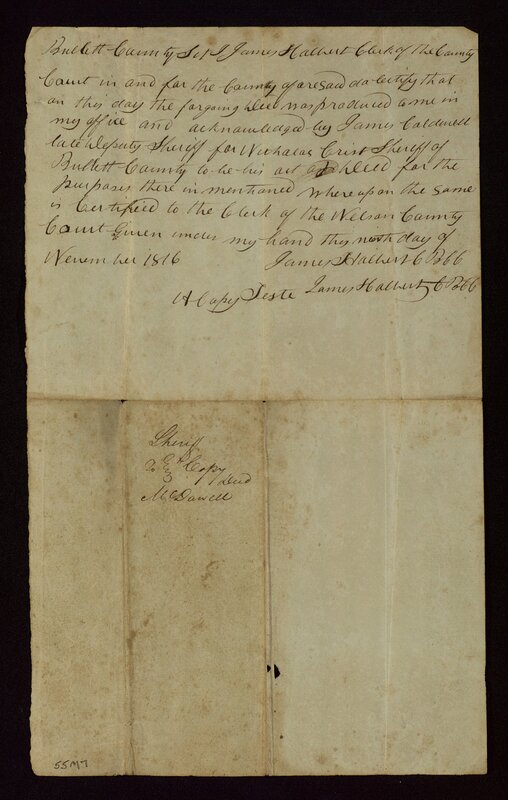 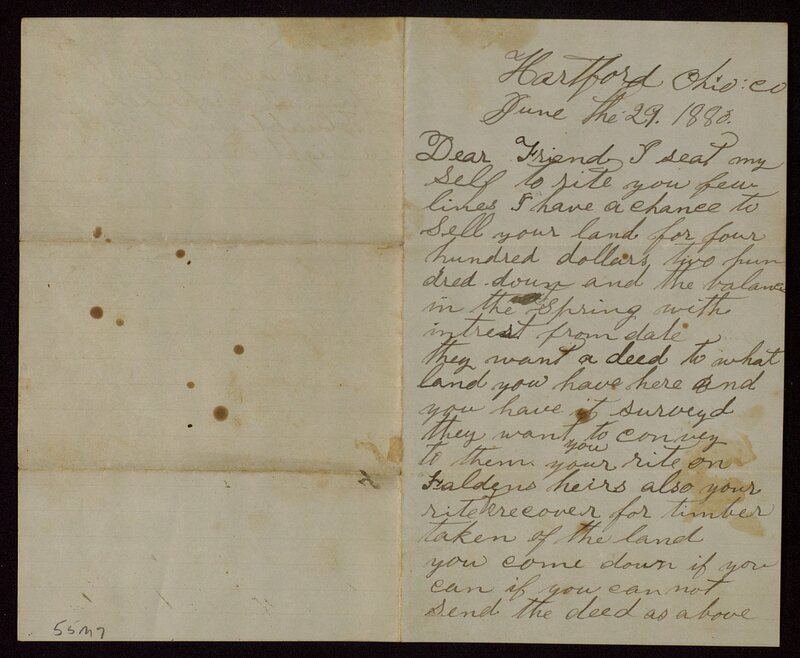 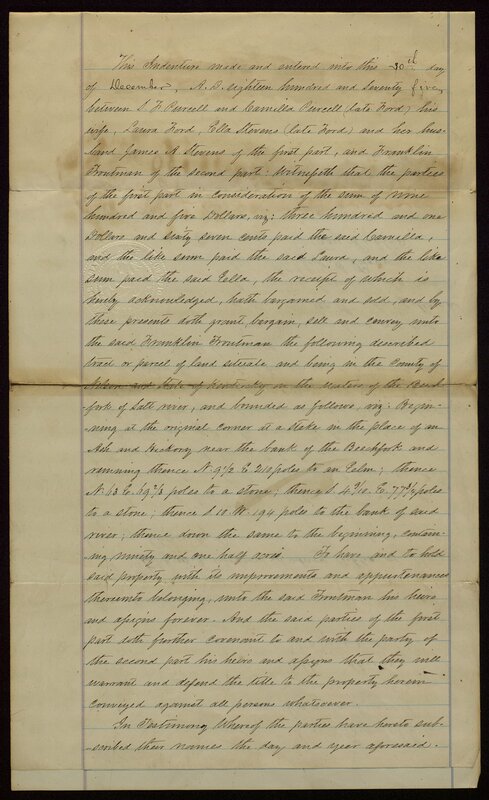 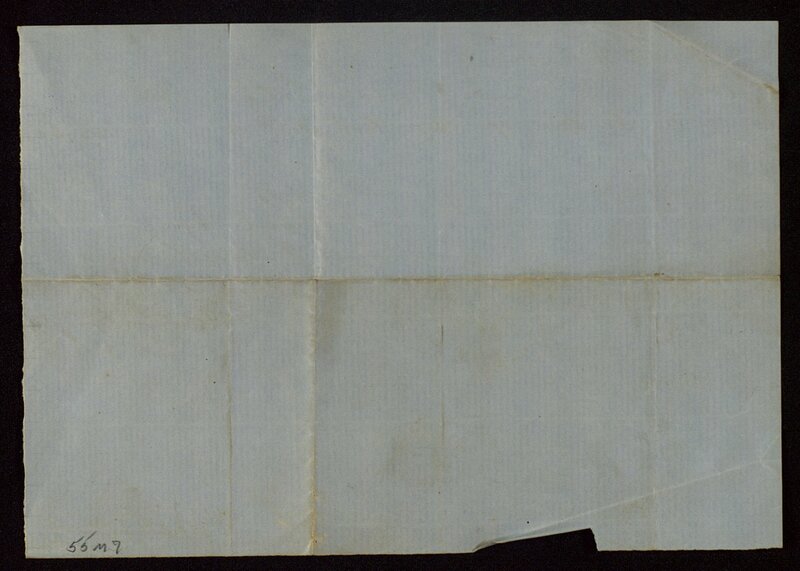 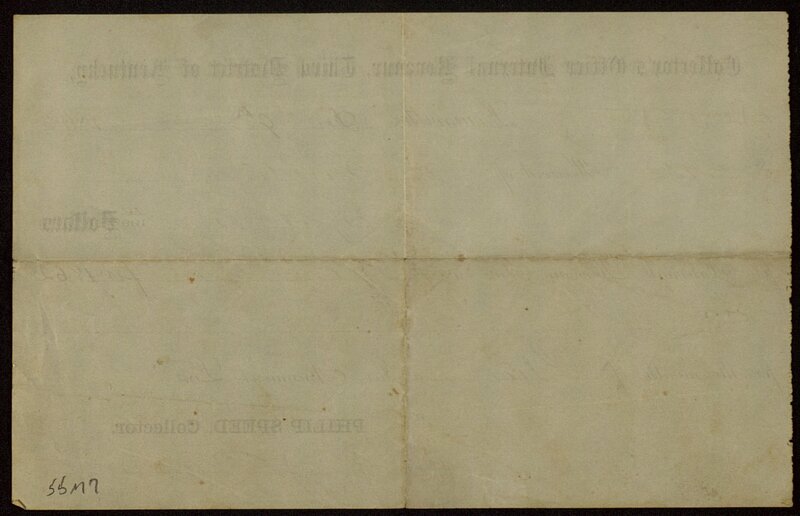 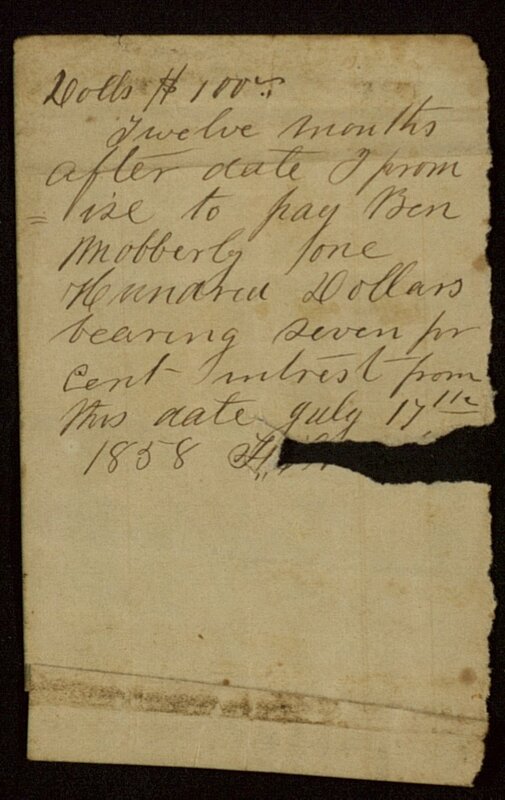 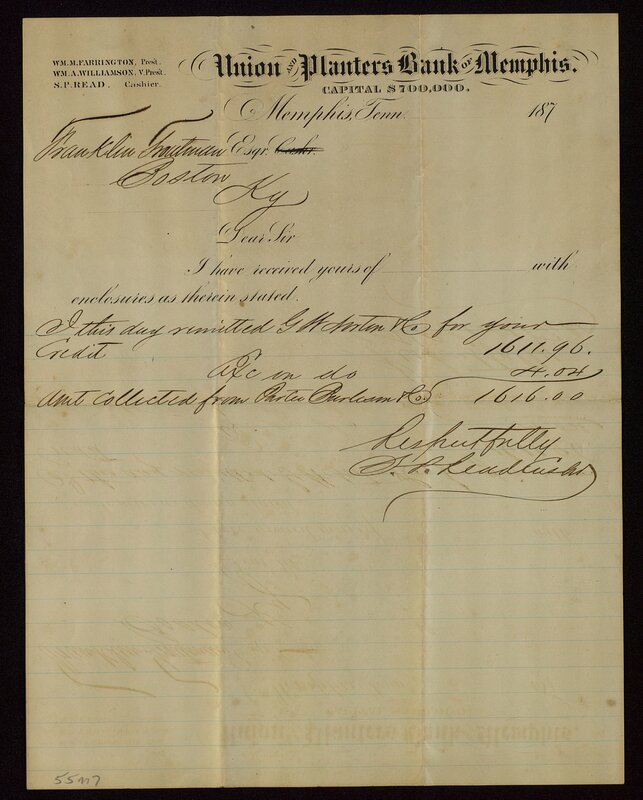 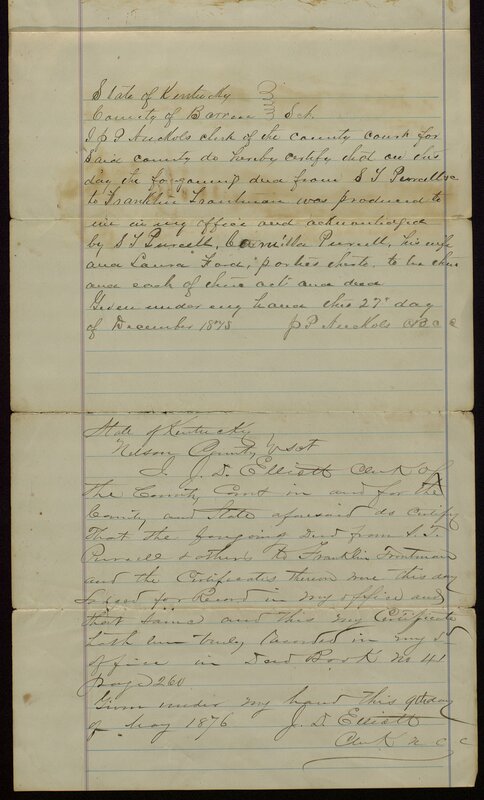 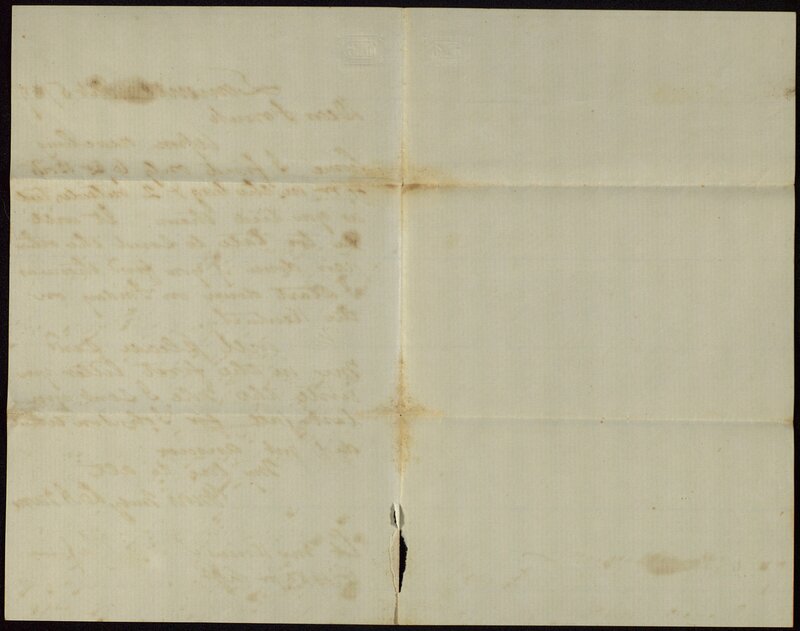 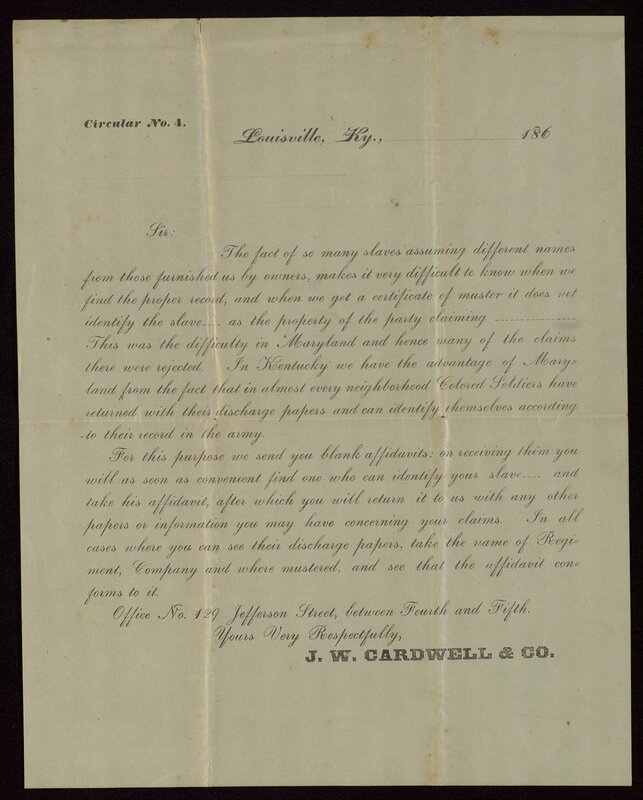 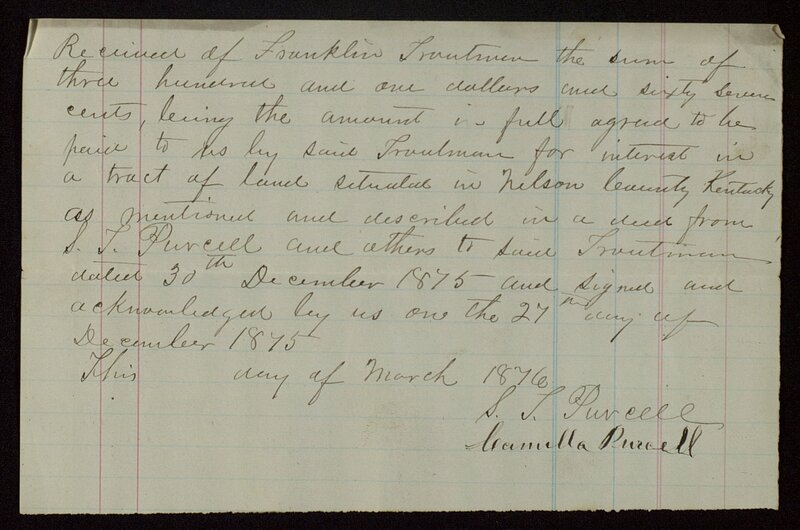 Several letters concern attempts by the Troutmans to gain compensation from the Federal government for some of their slaves who joined the Union Army during the Civil War. 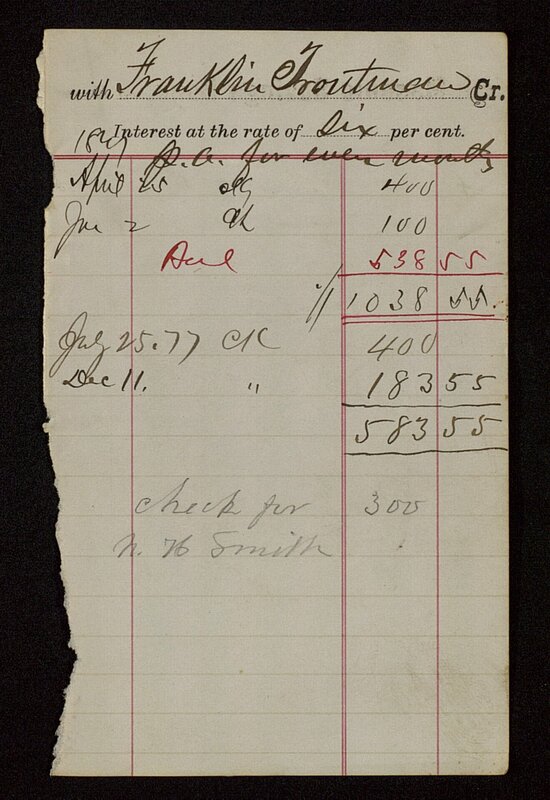 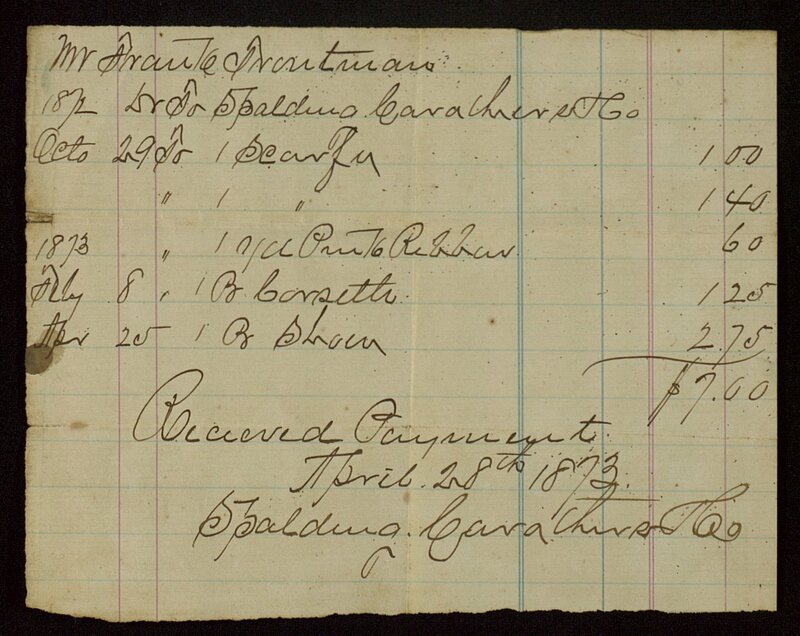 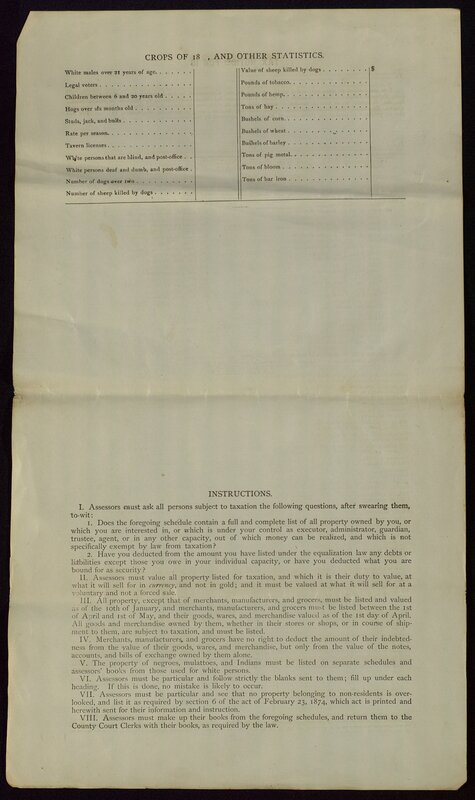 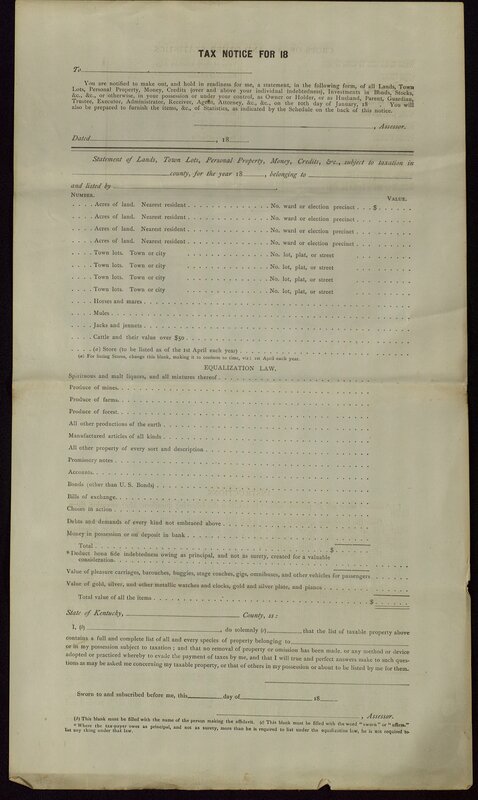 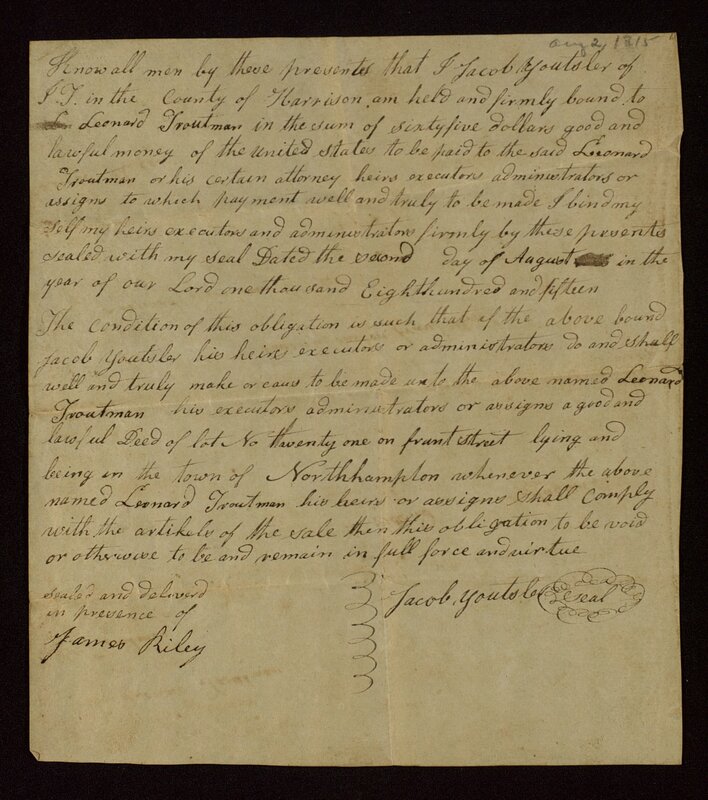 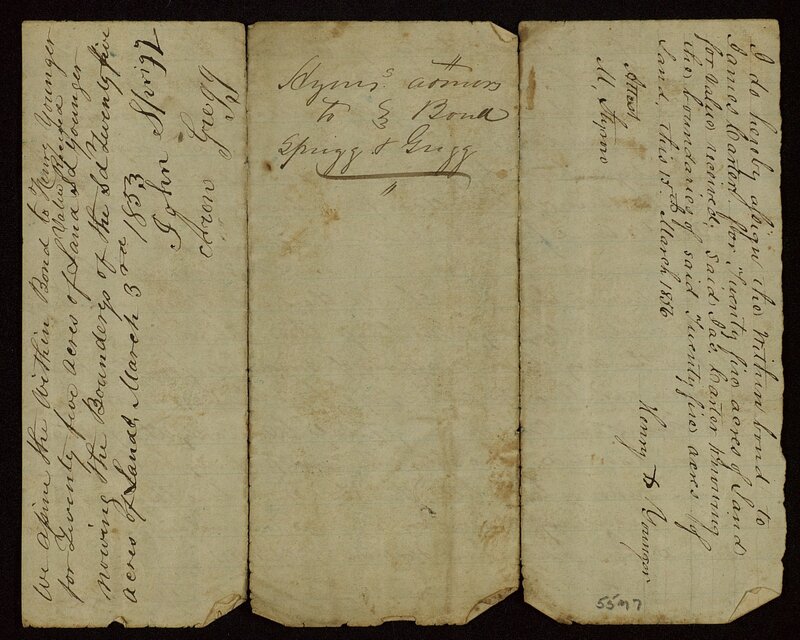 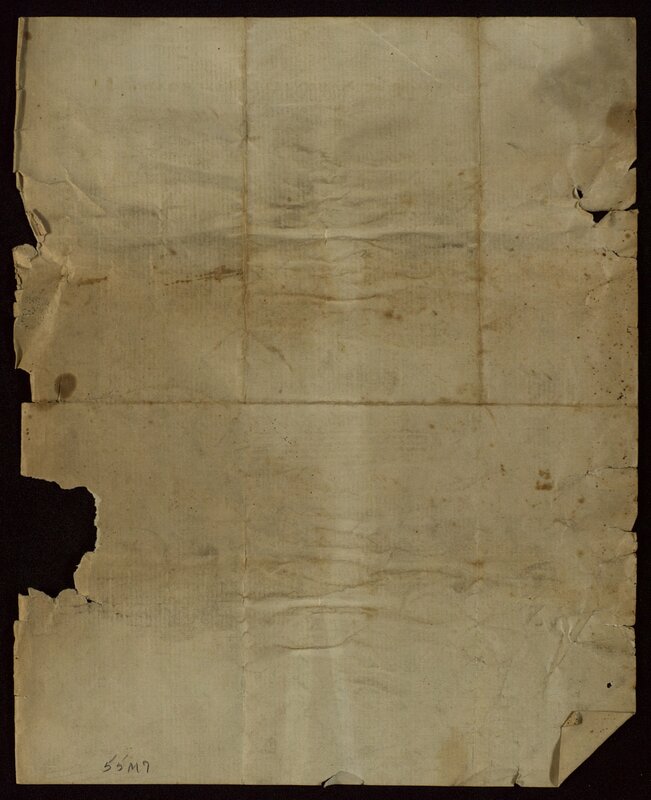 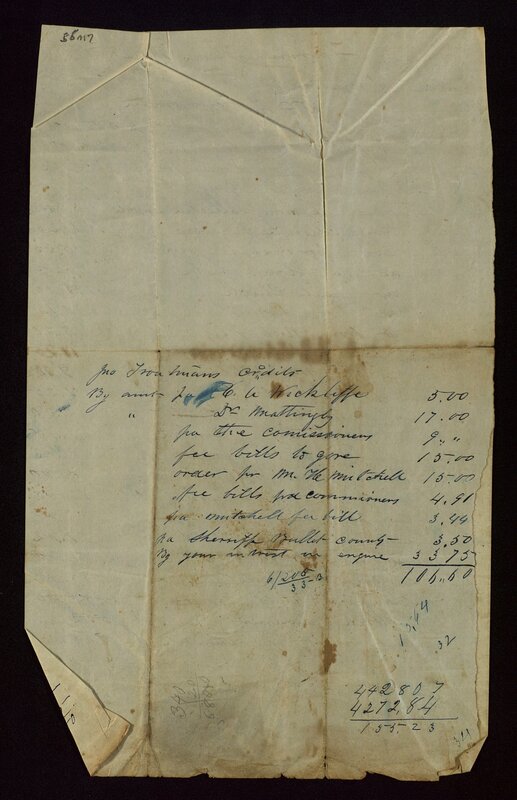 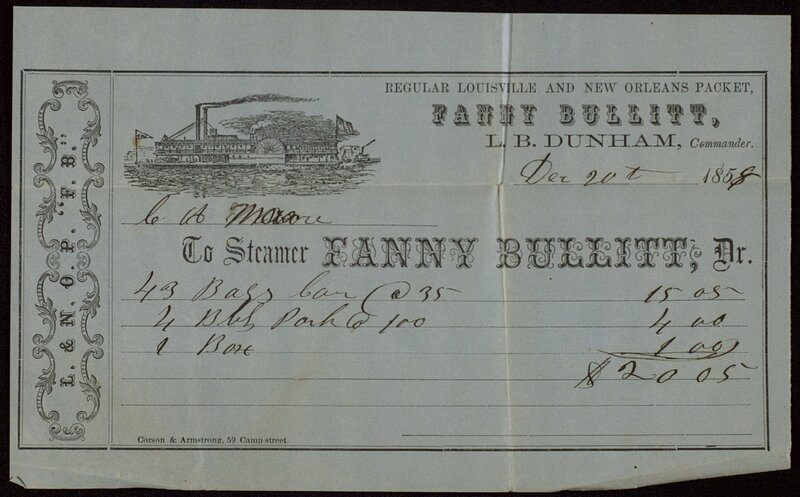 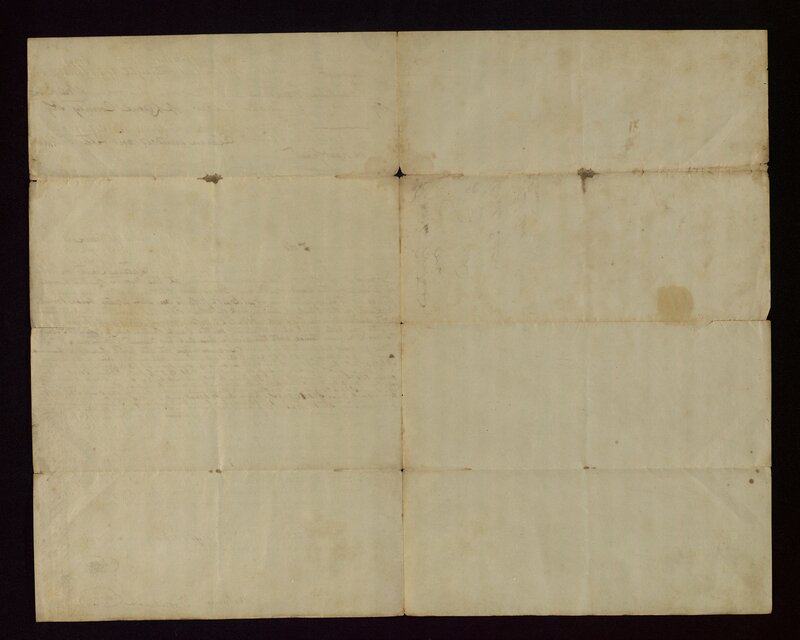 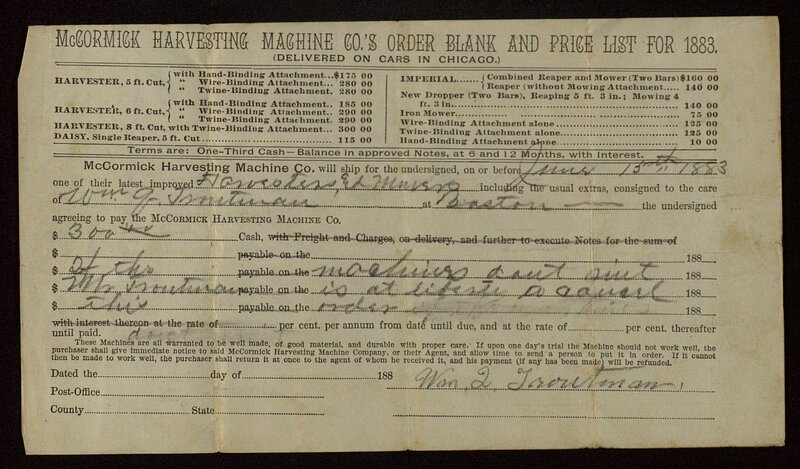 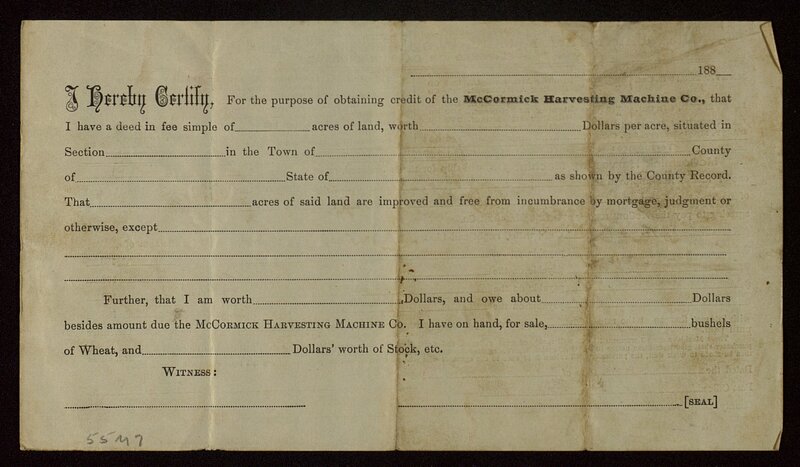 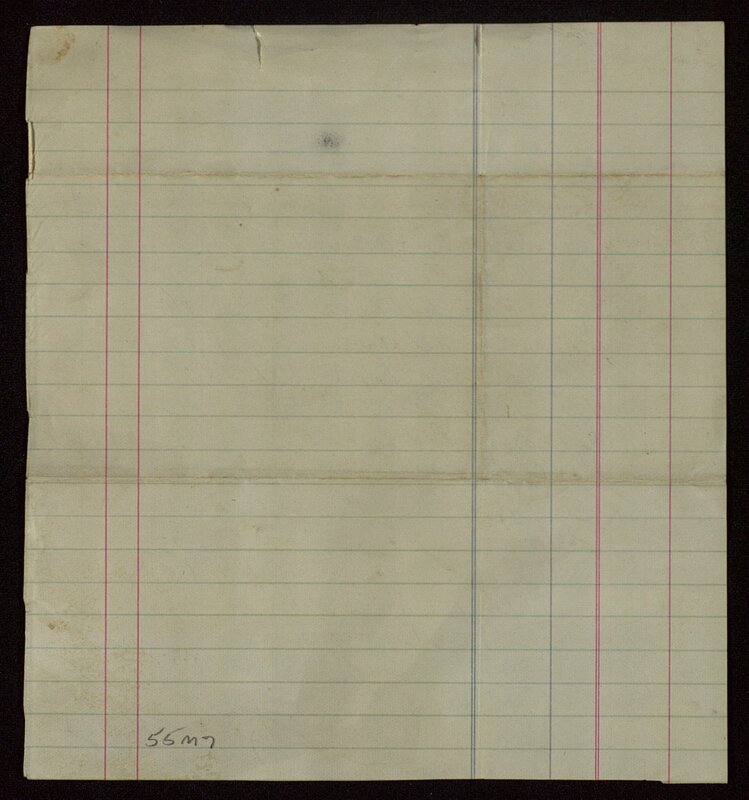 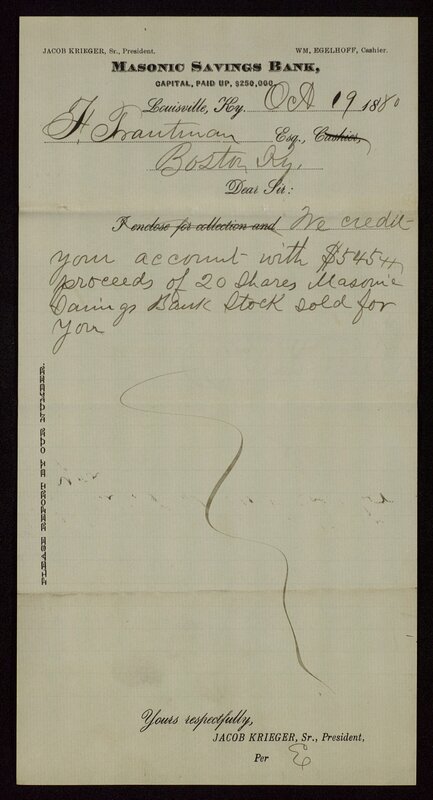 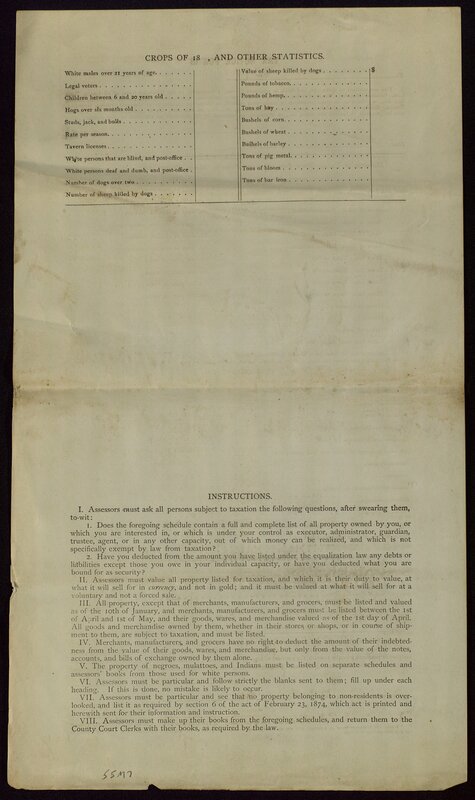 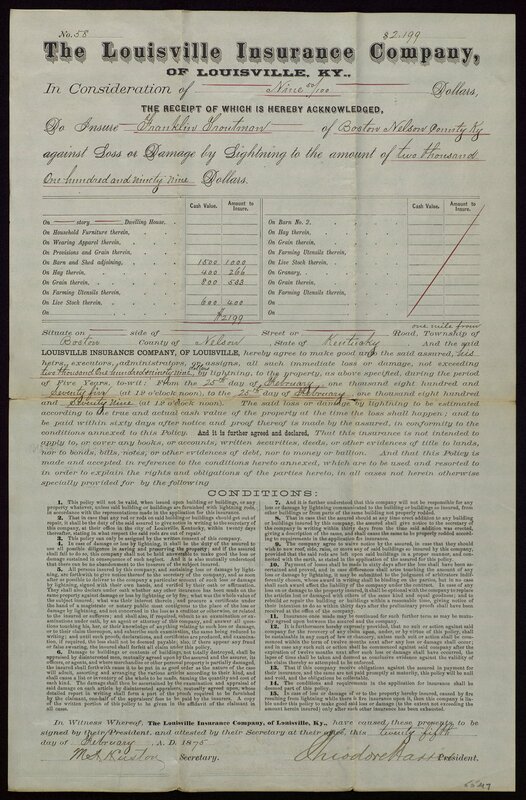 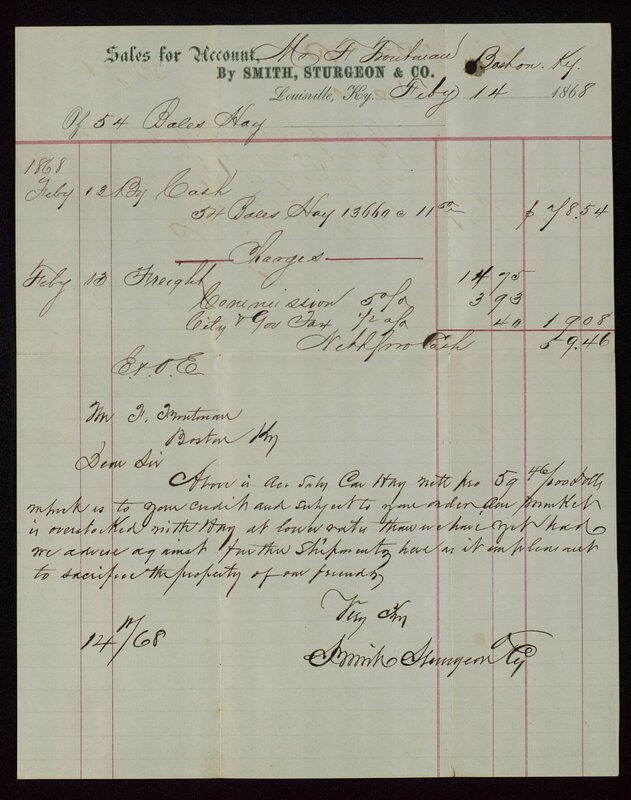 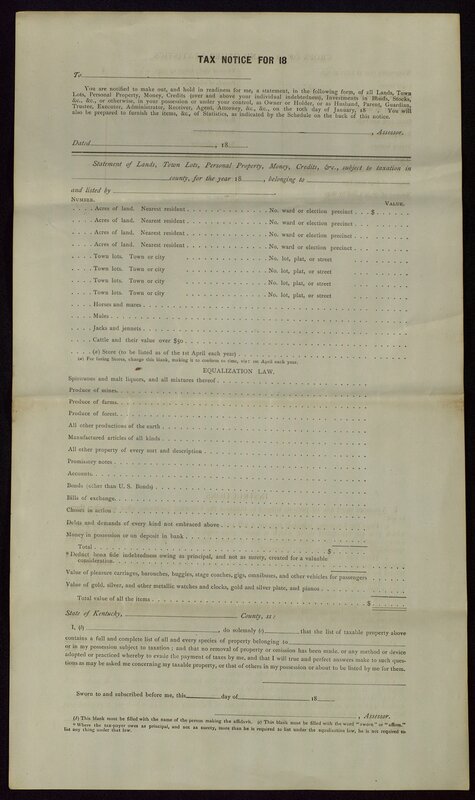 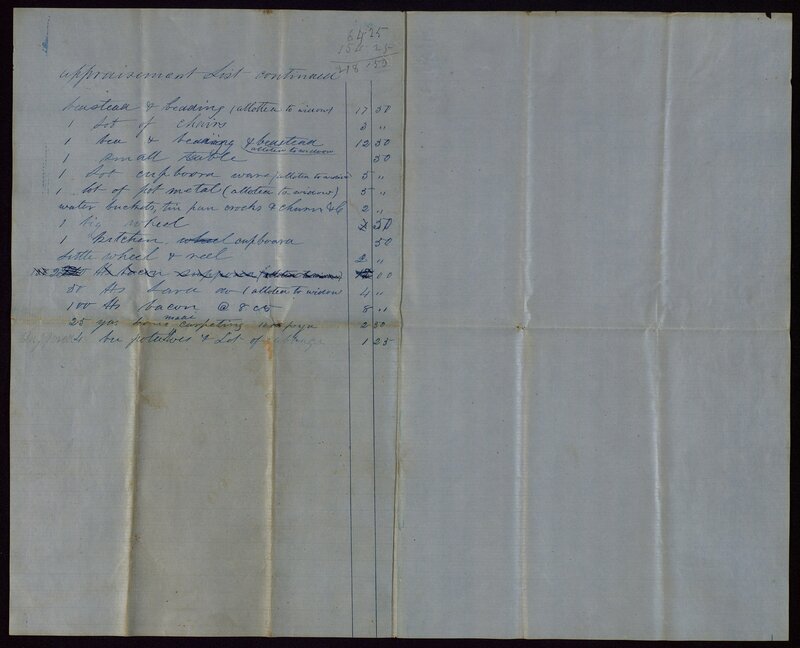 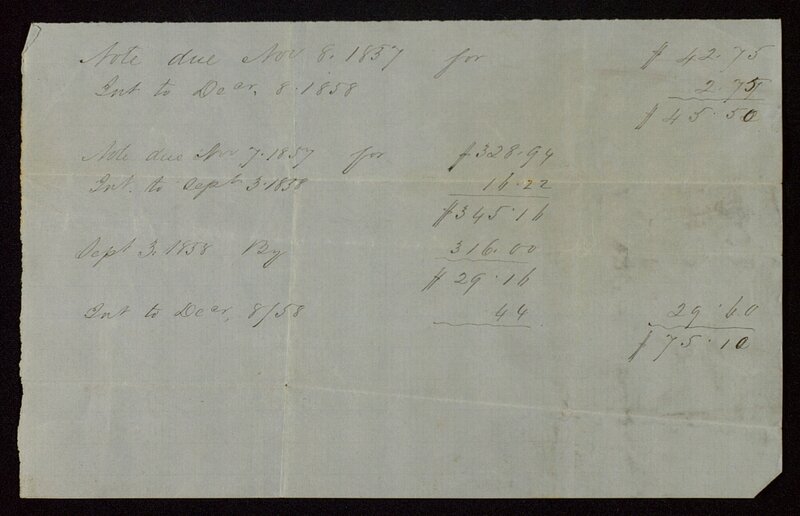 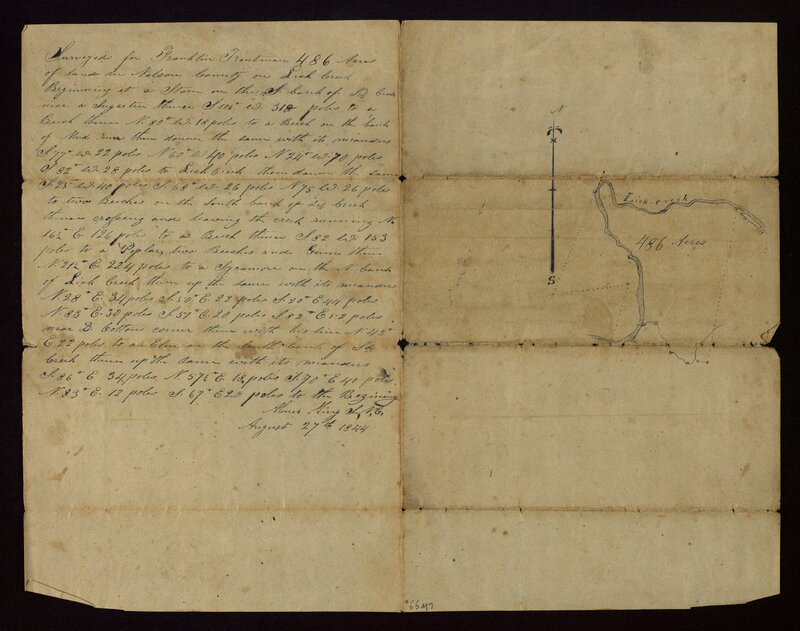 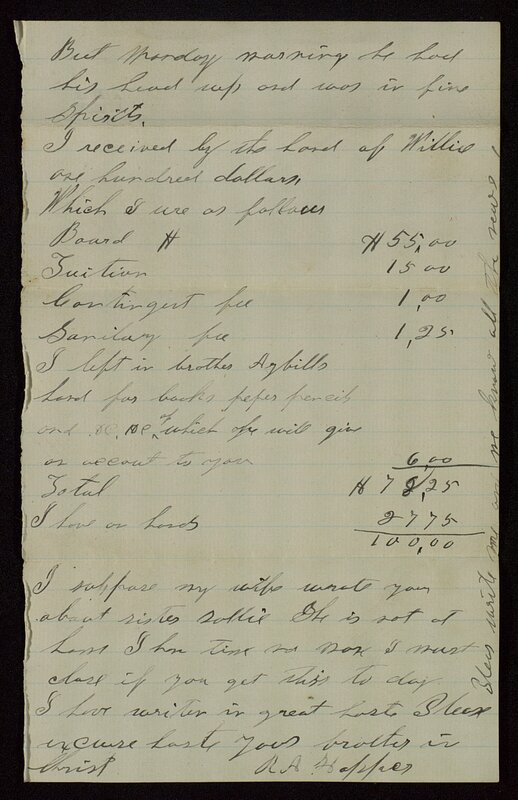 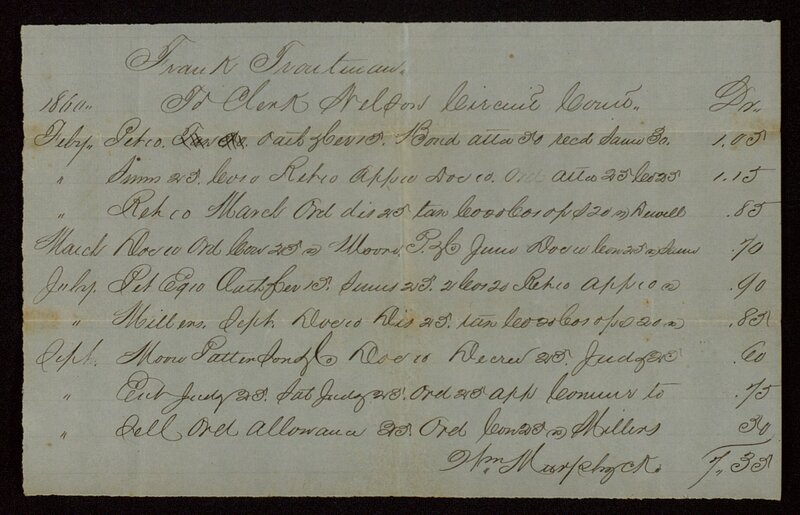 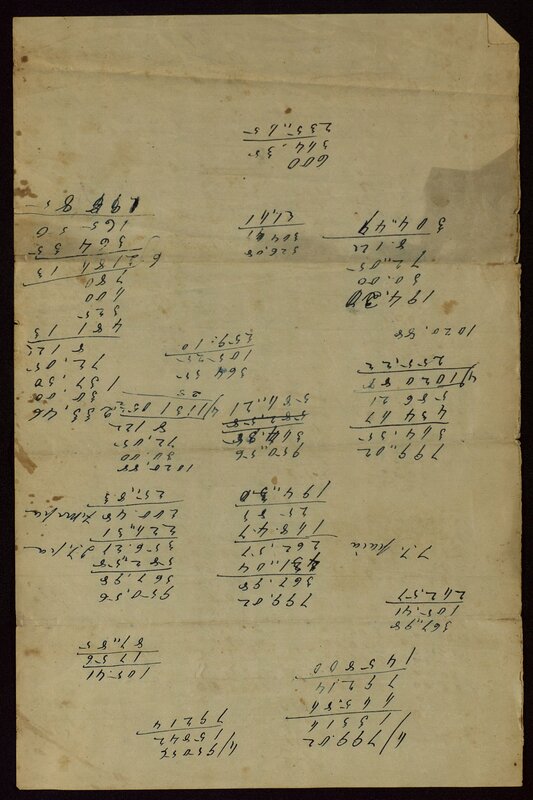 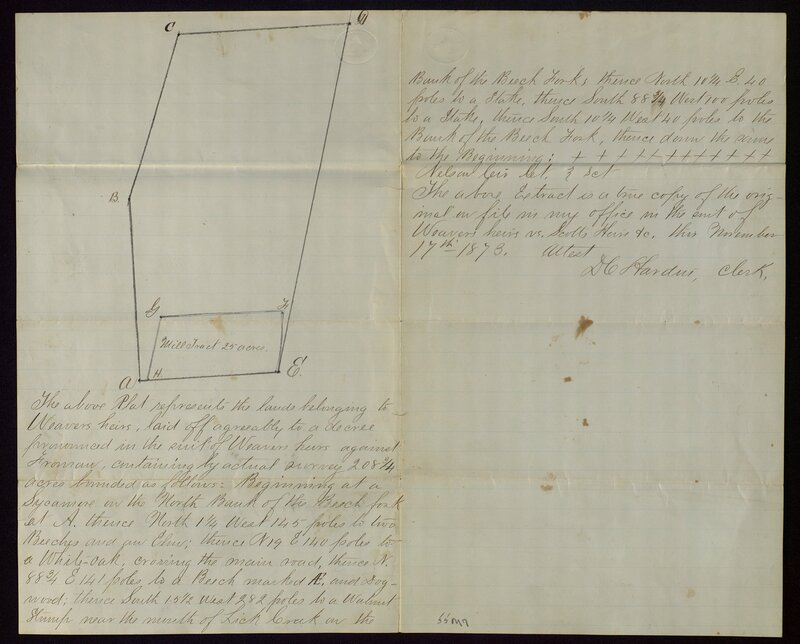 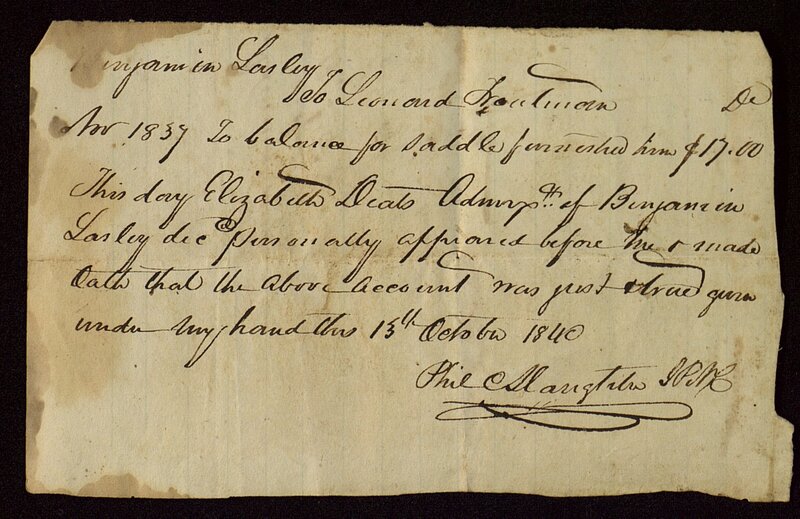 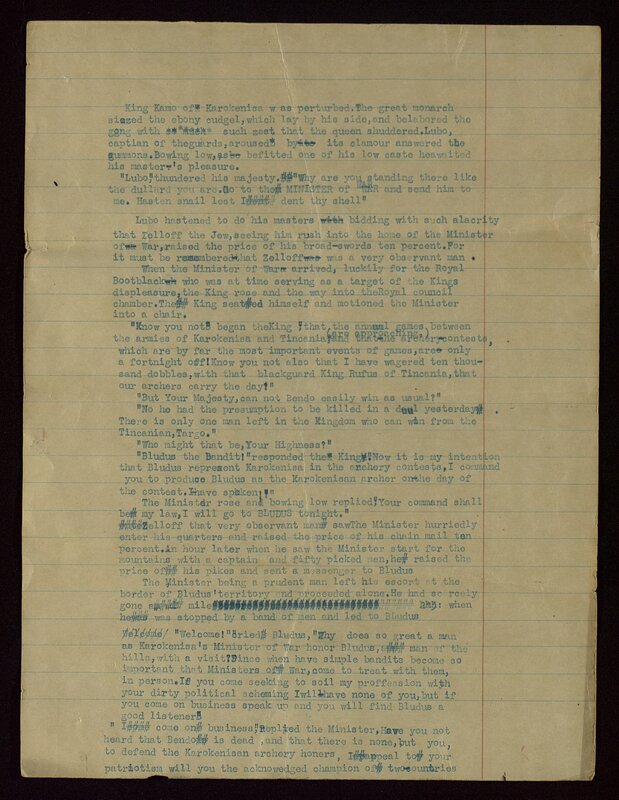 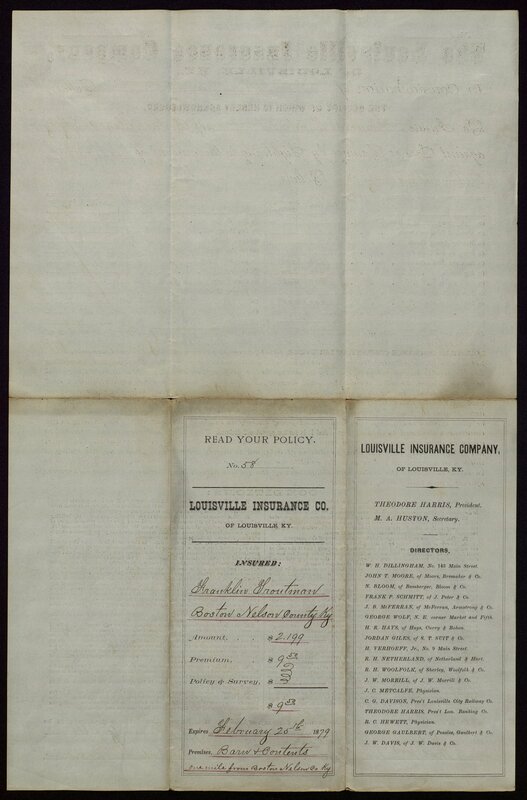 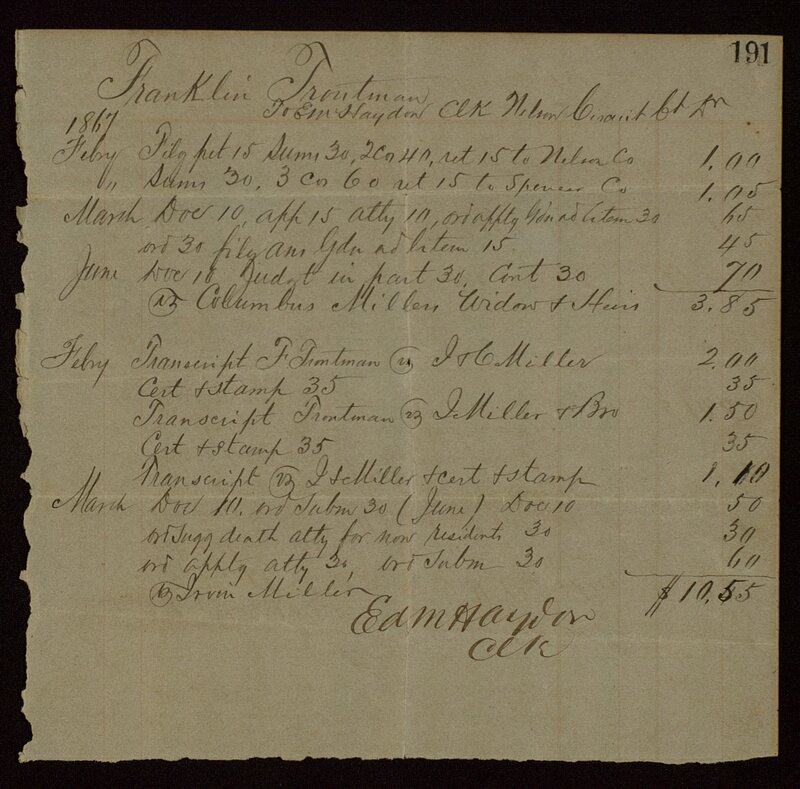 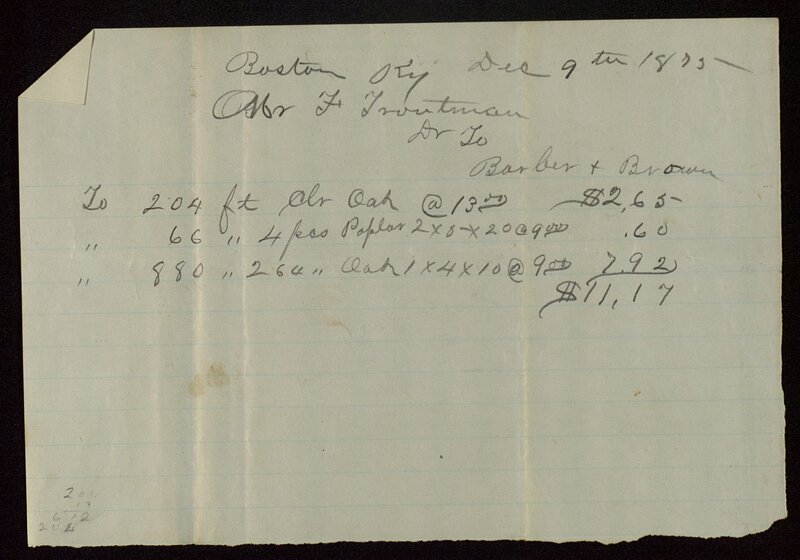 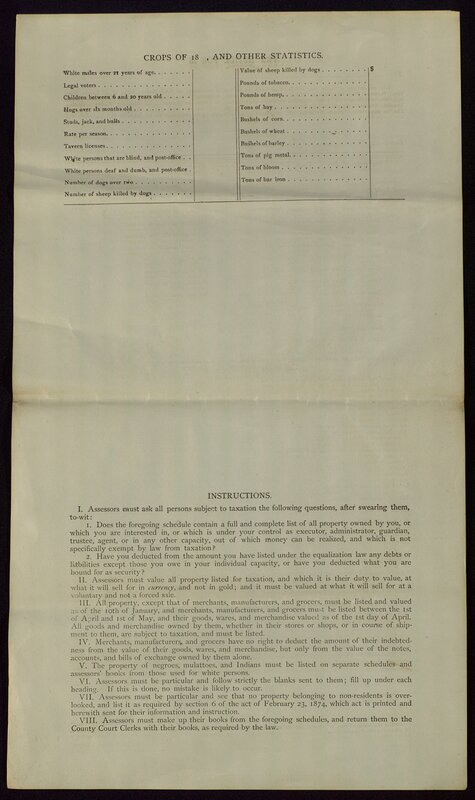 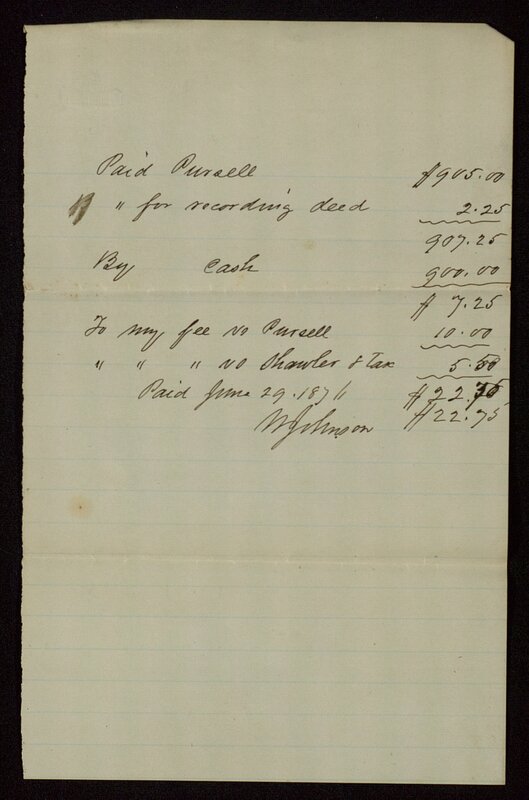 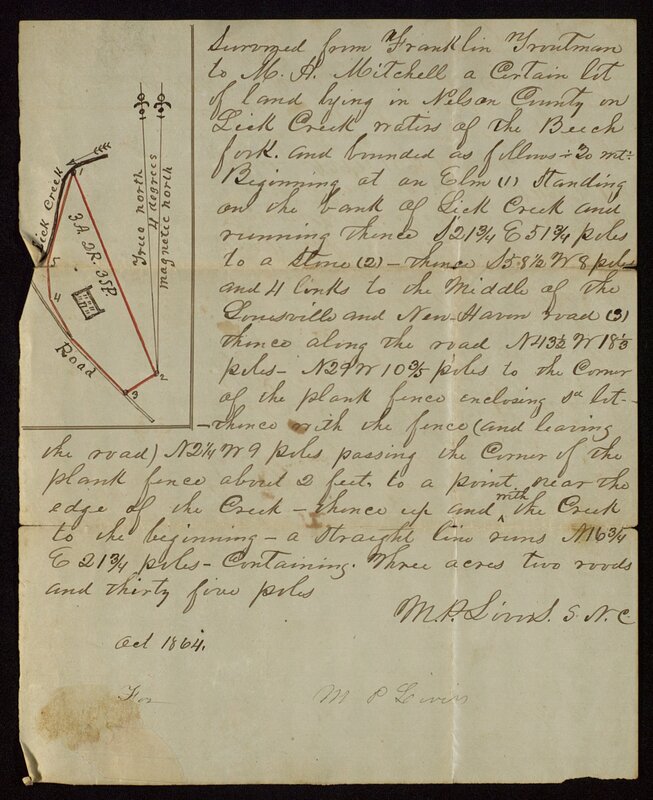 The bulk of the collection consists of papers relating to financial dealings, particularly land holdings. 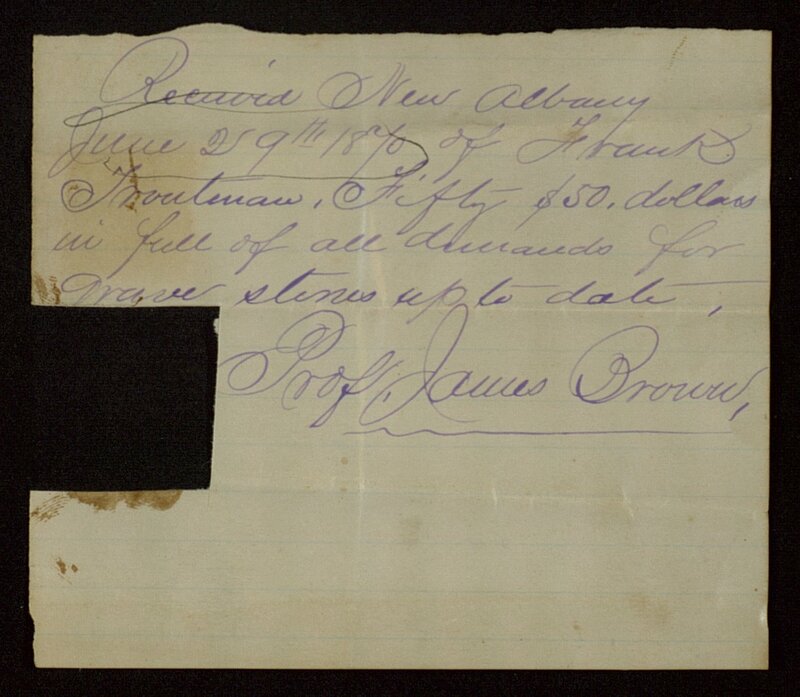 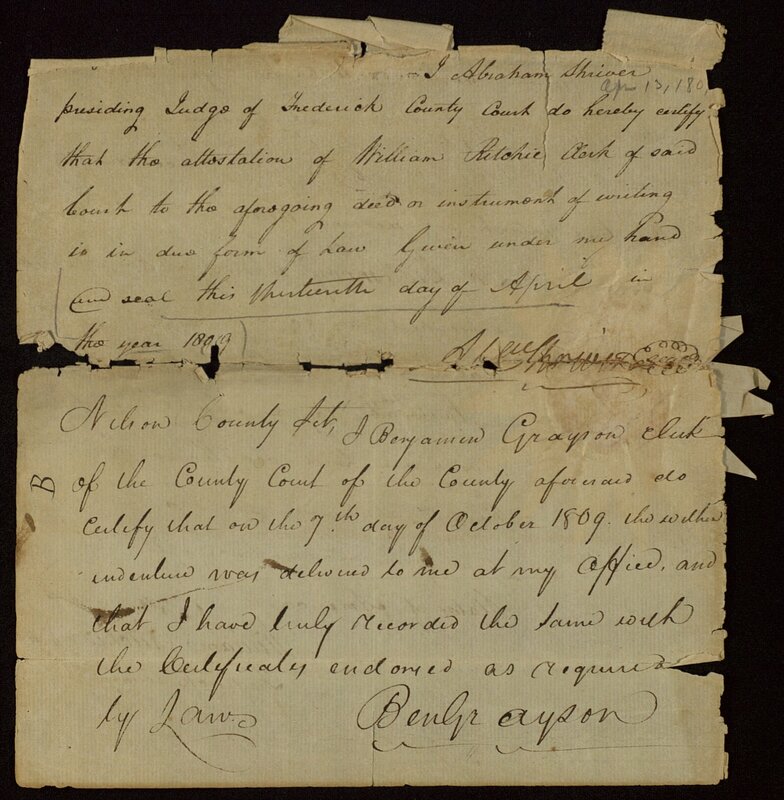 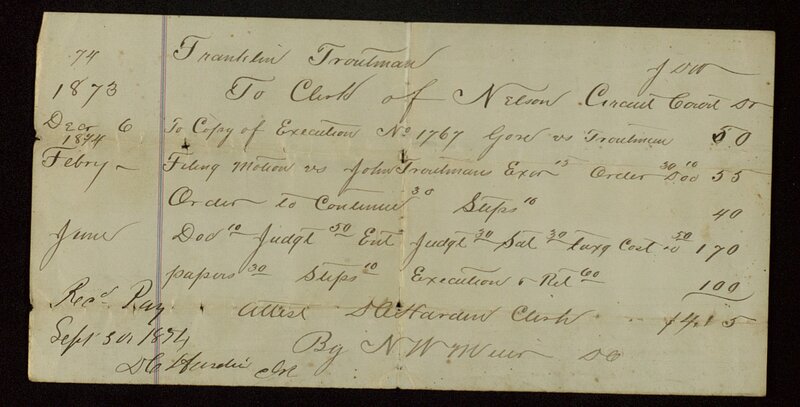 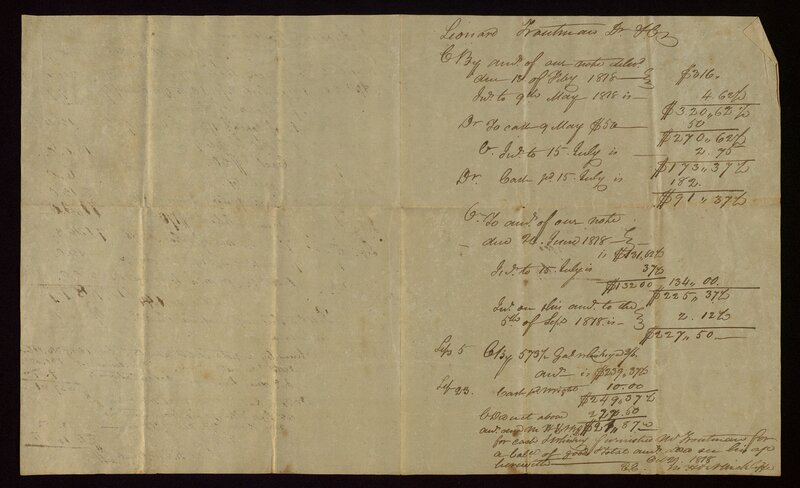 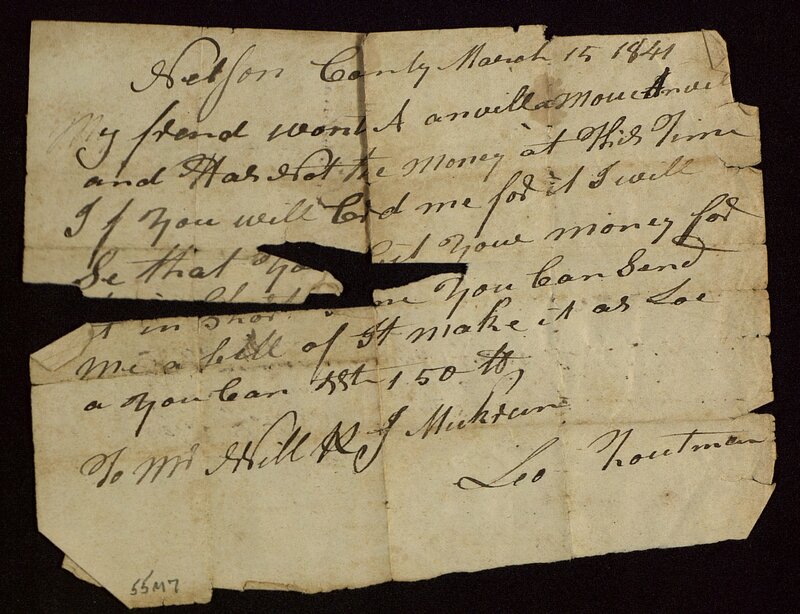 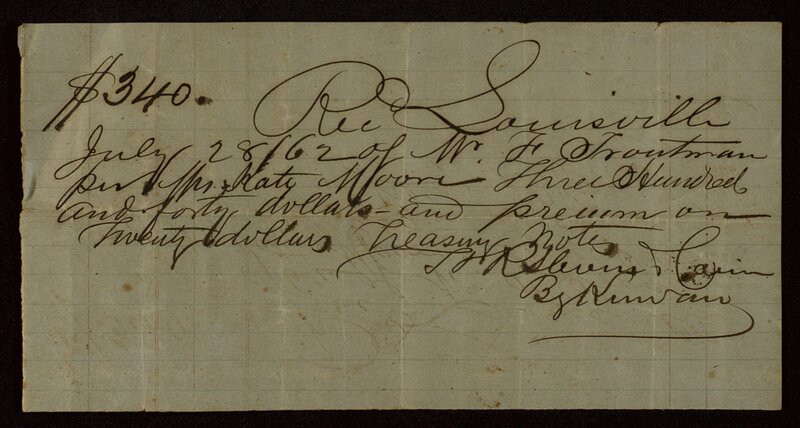 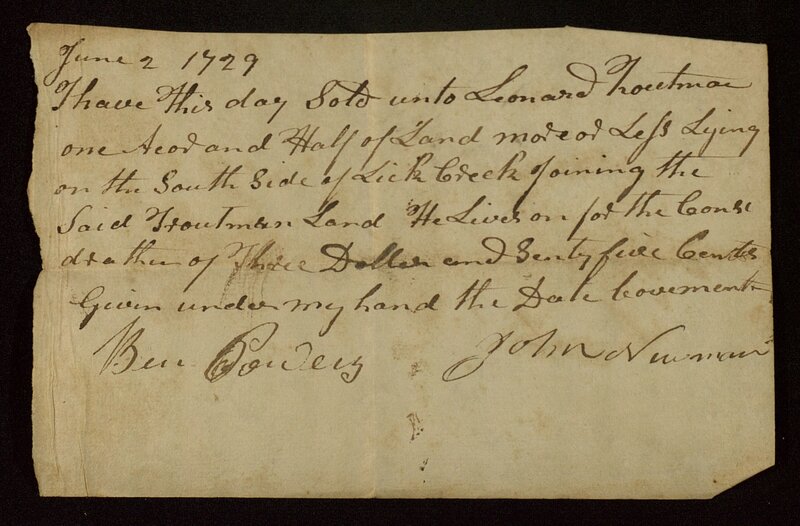 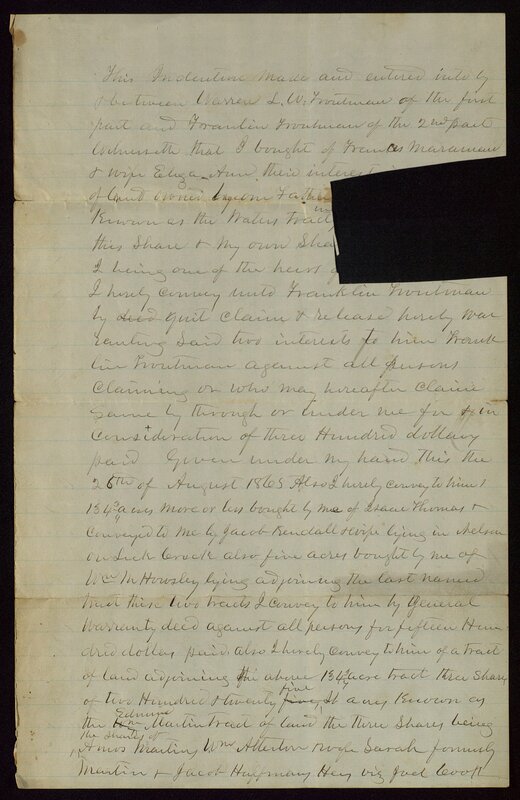 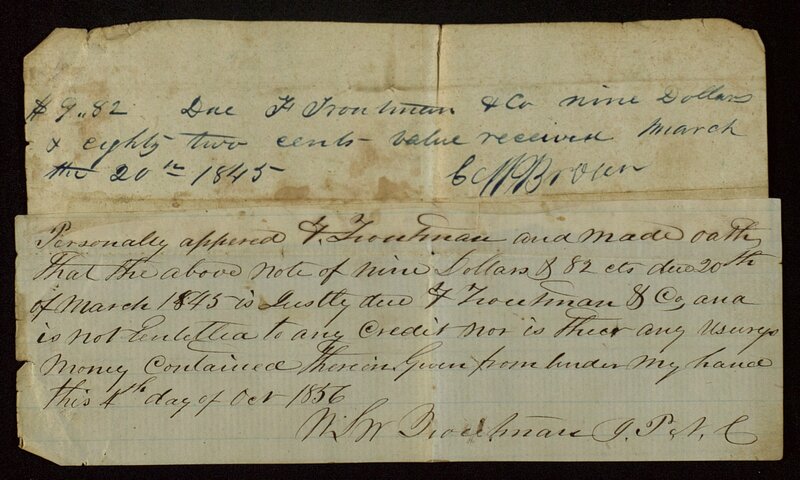 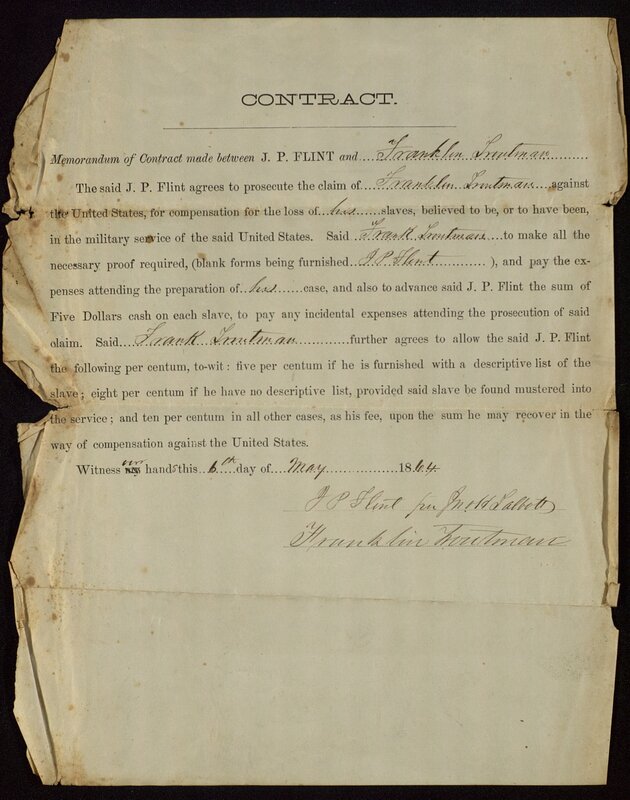 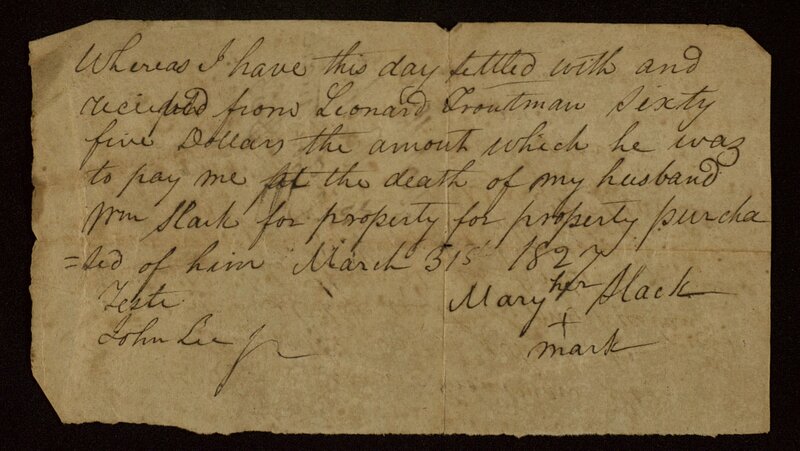 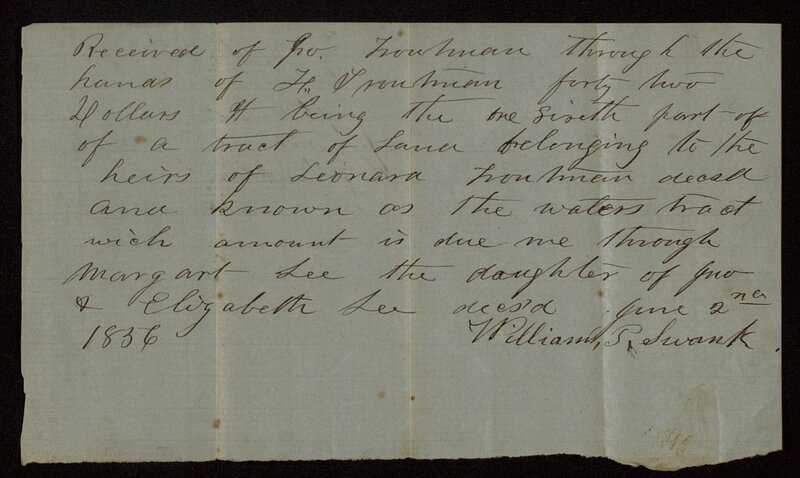 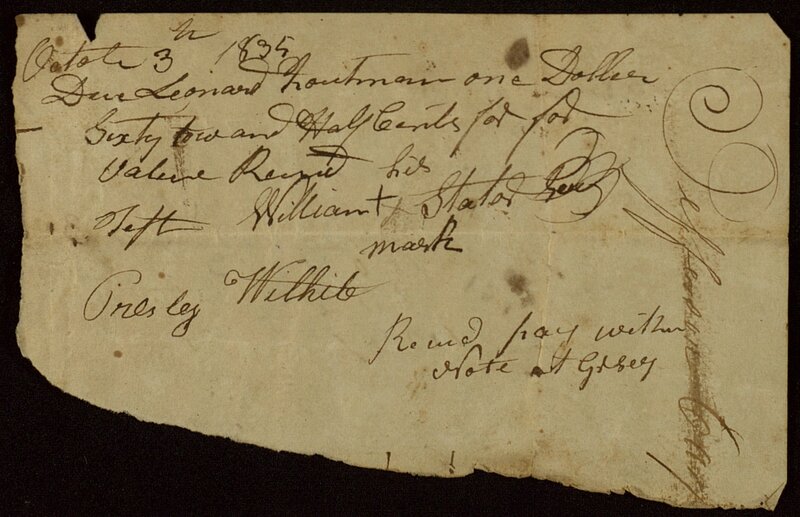 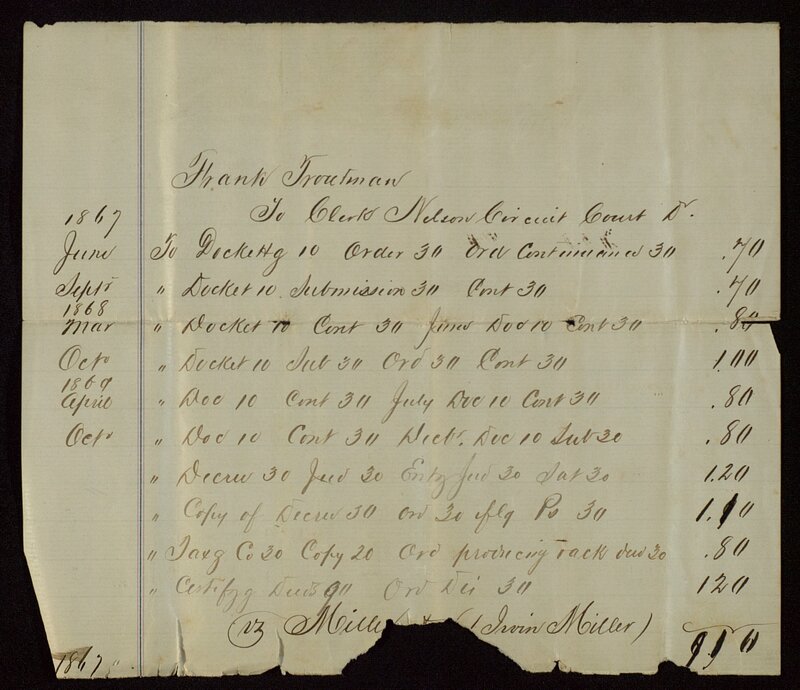 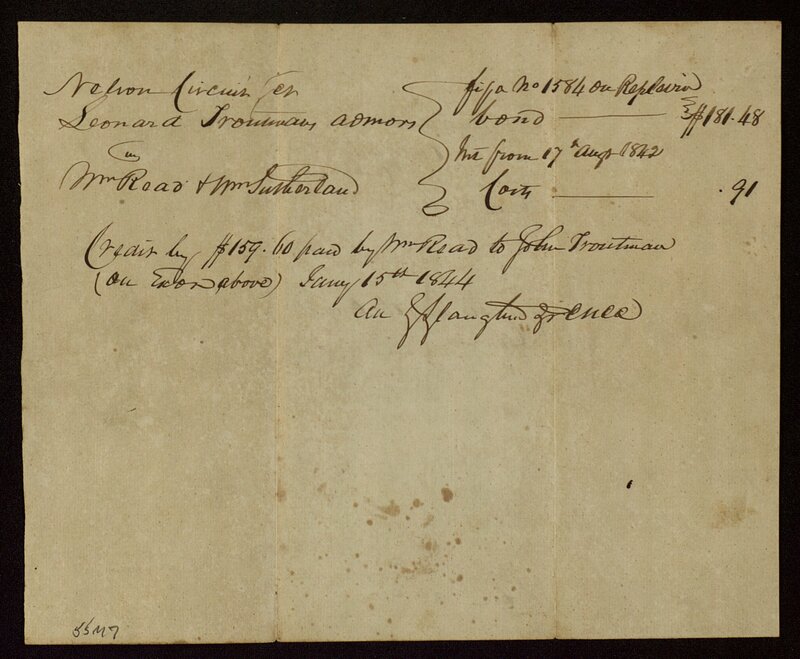 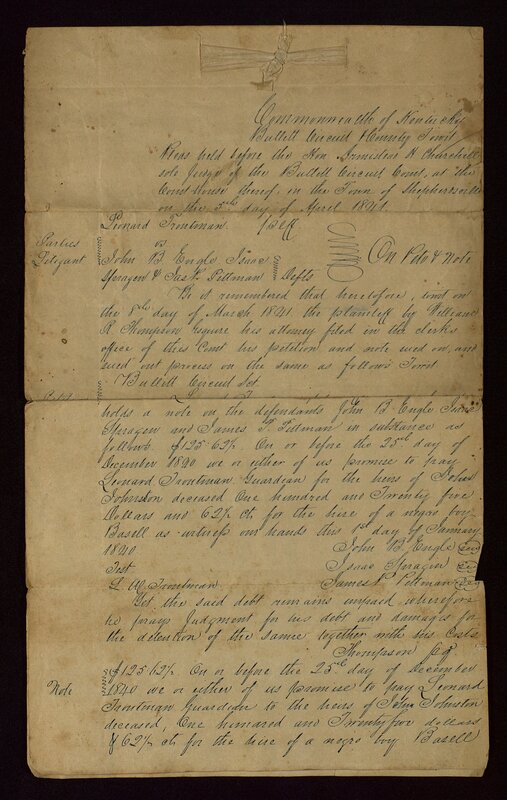 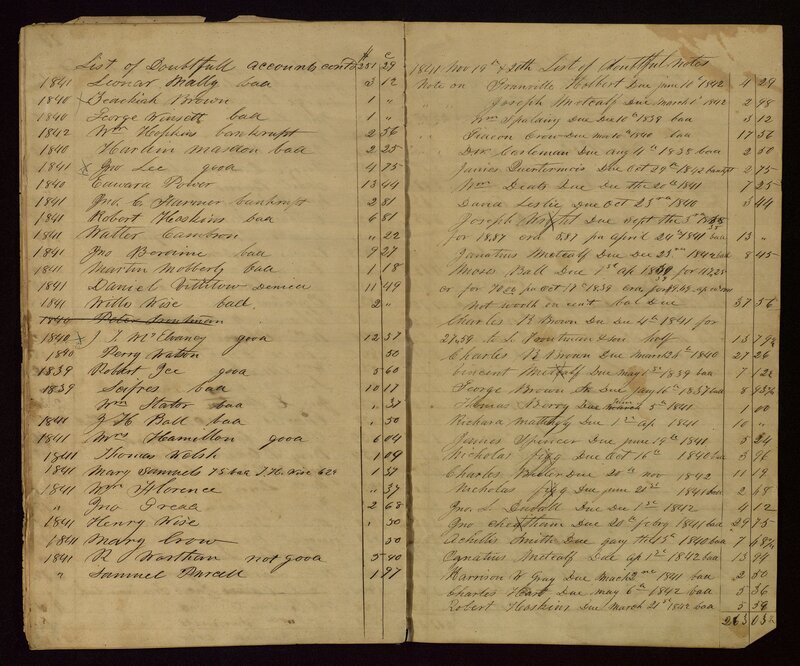 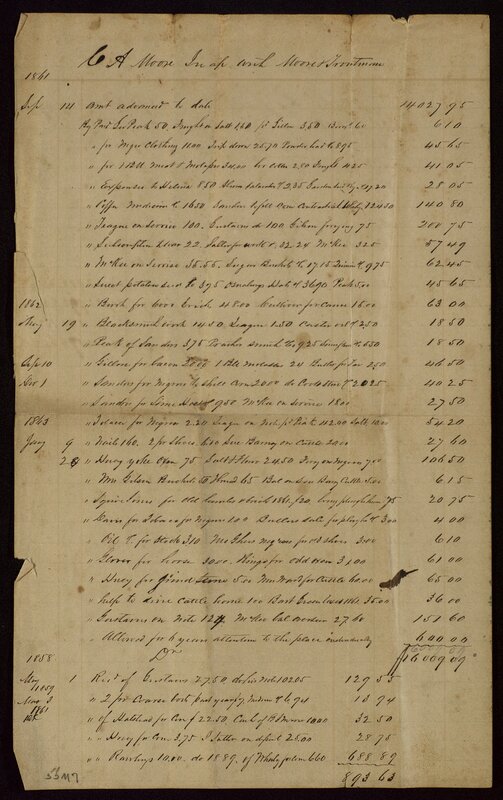 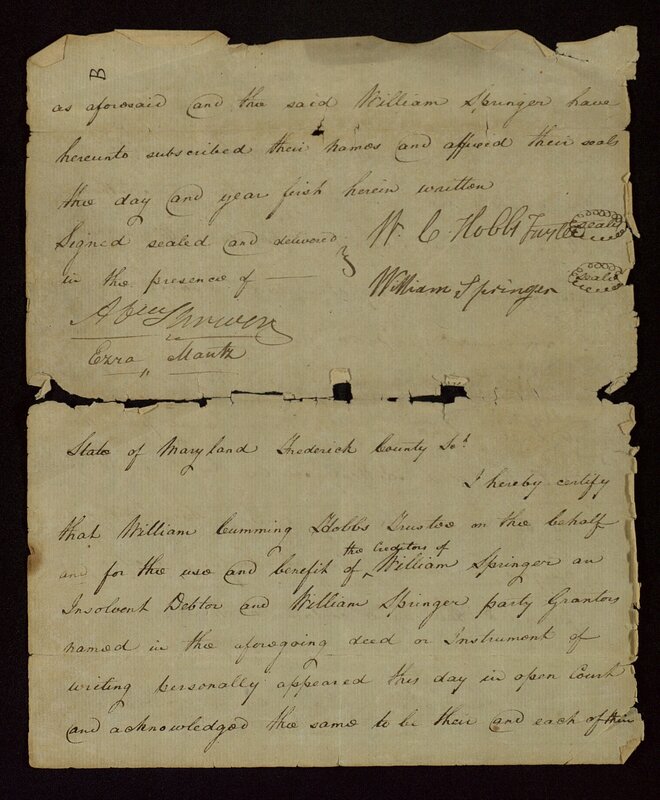 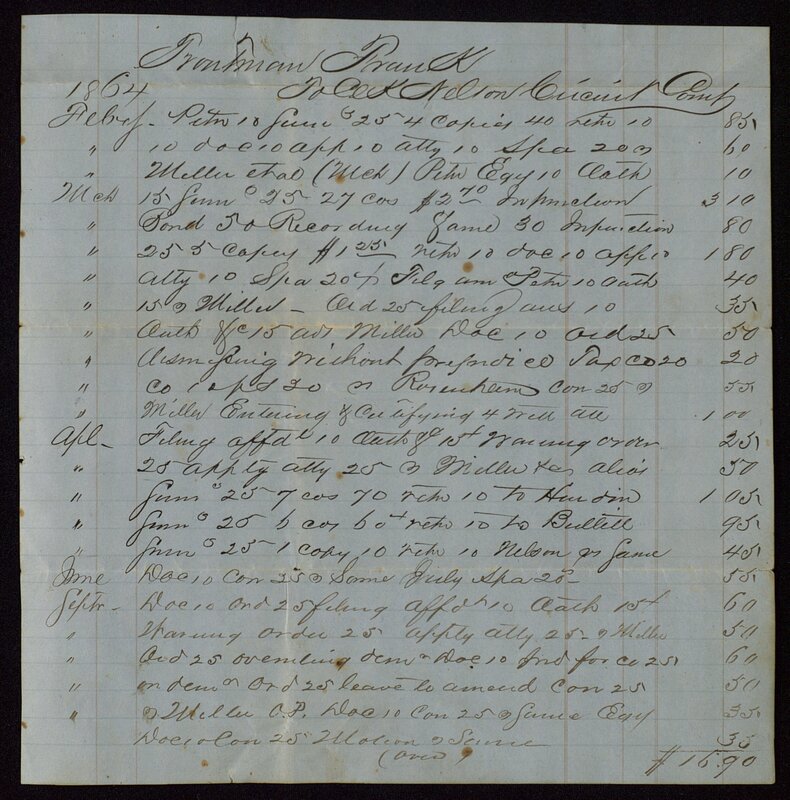 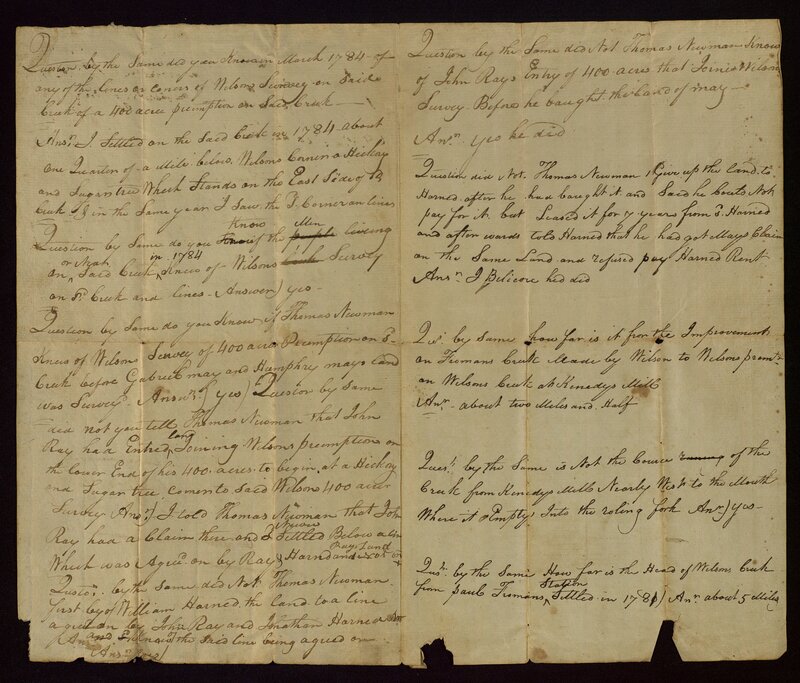 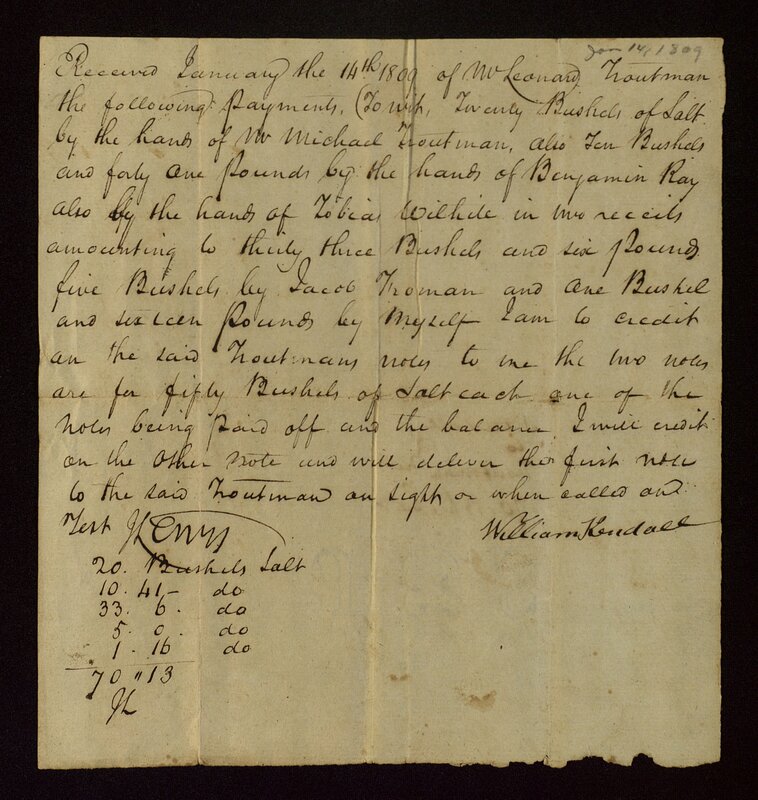 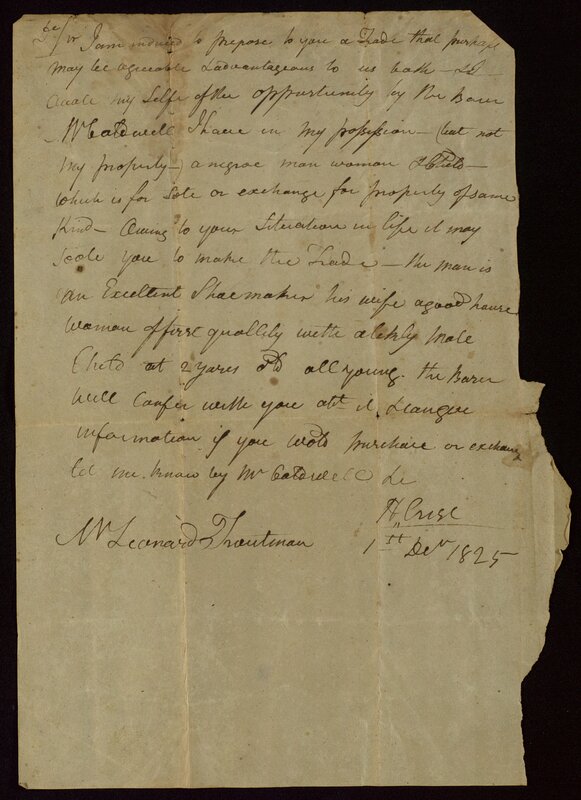 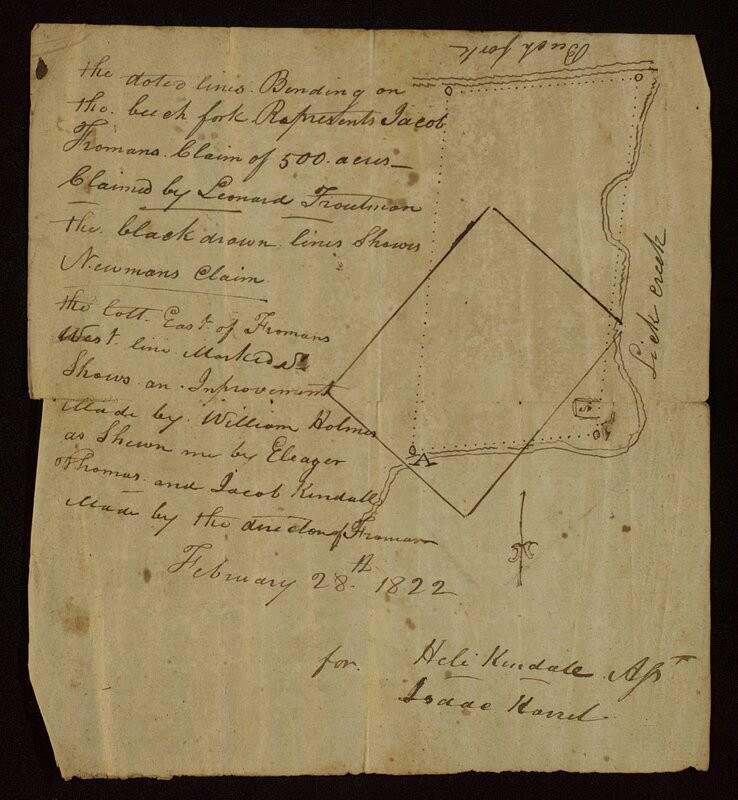 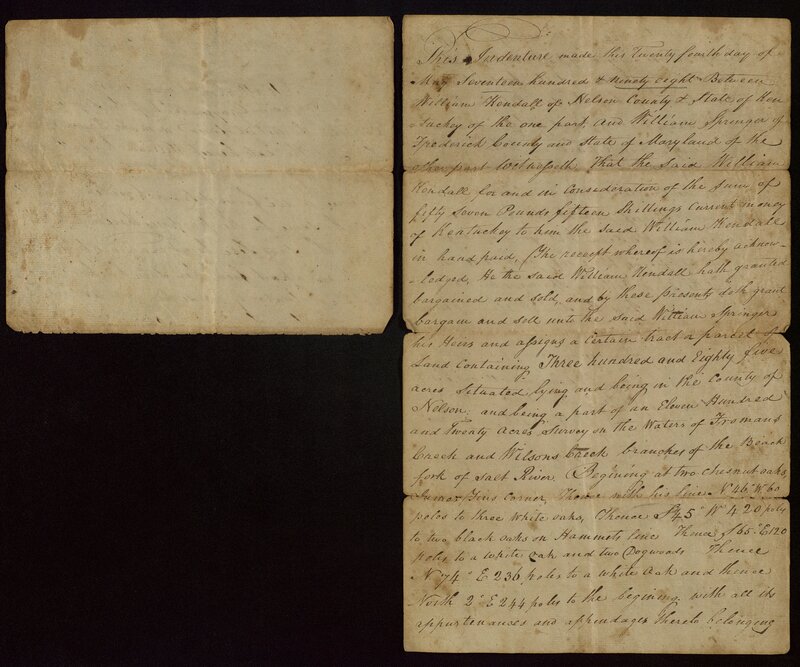 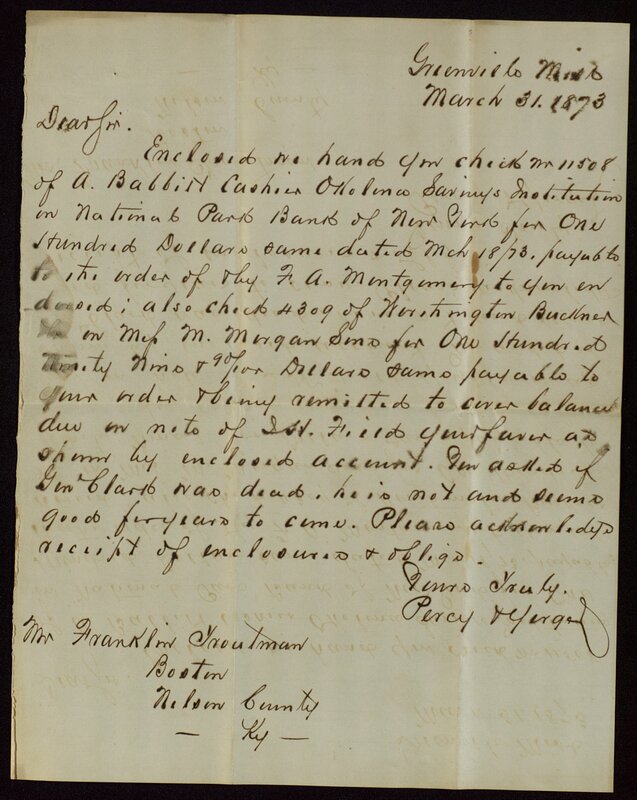 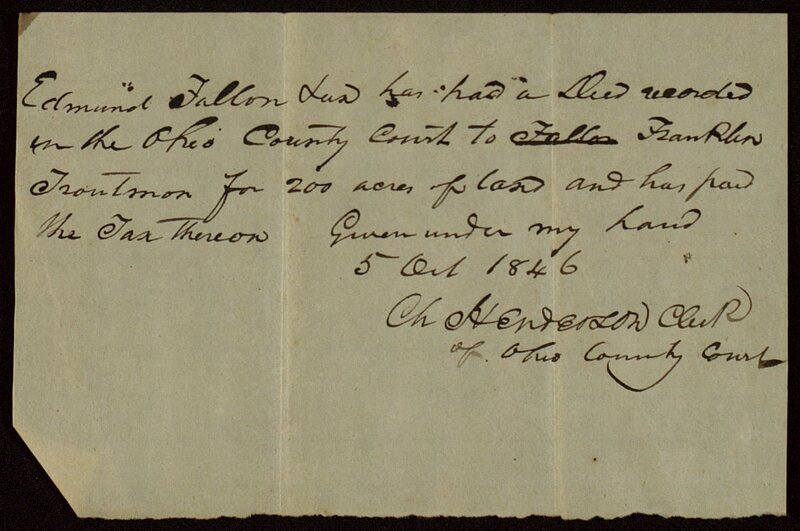 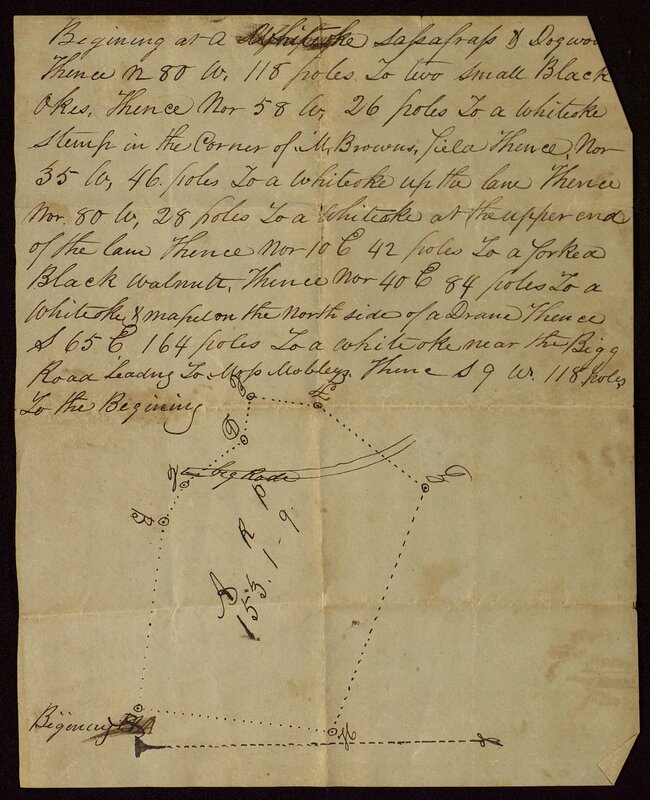 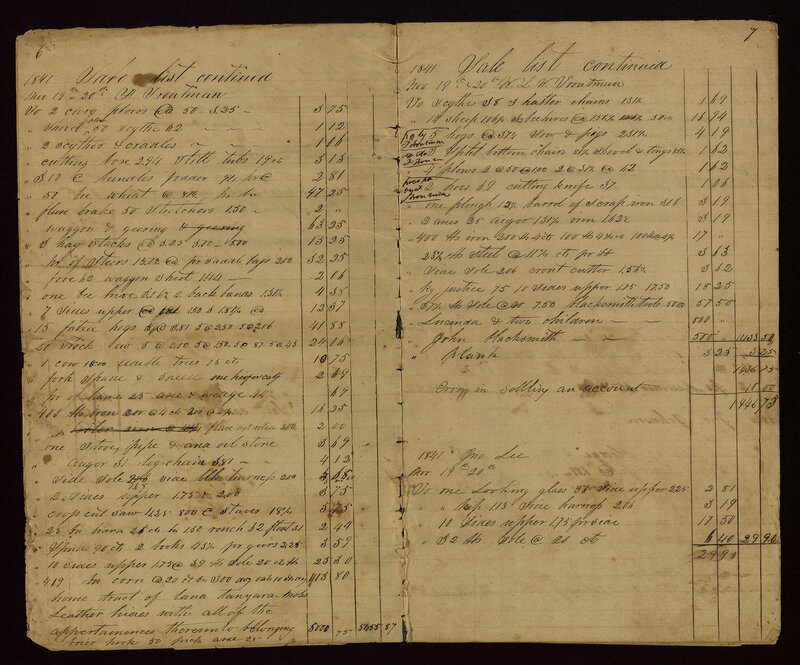 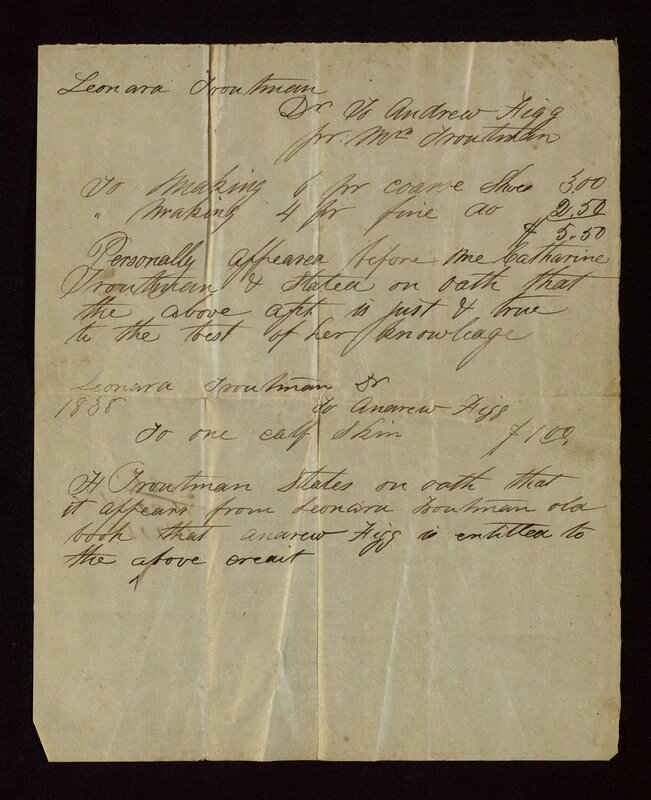 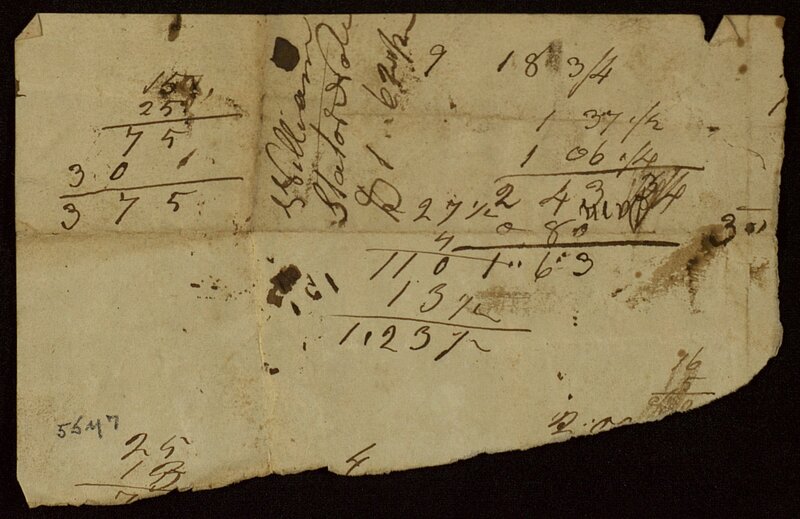 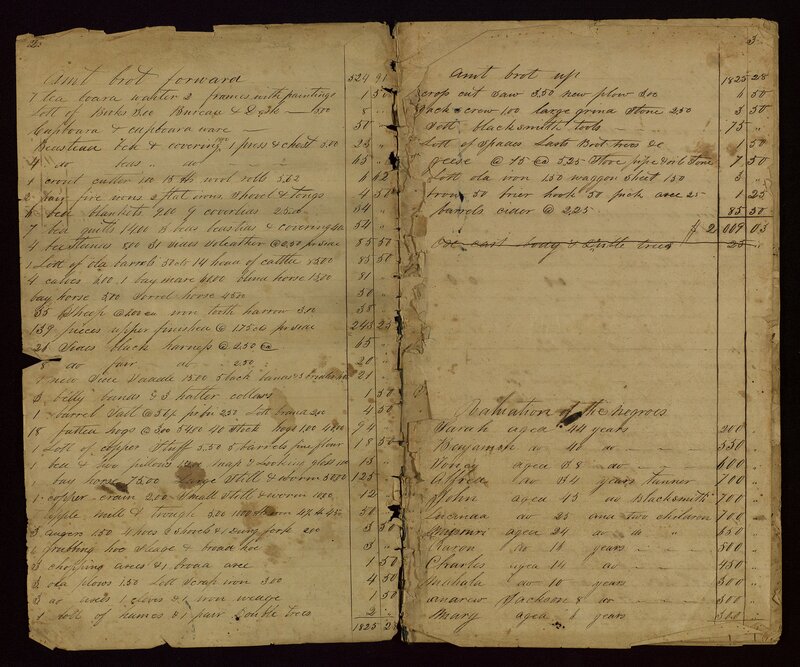 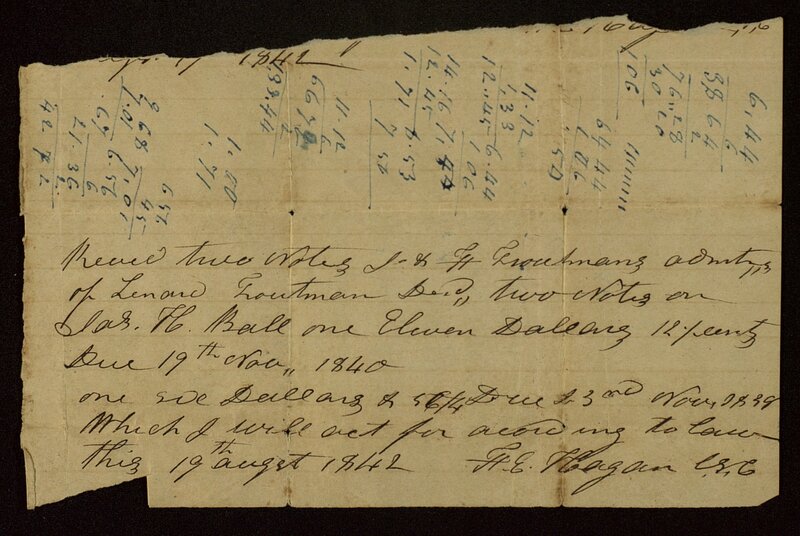 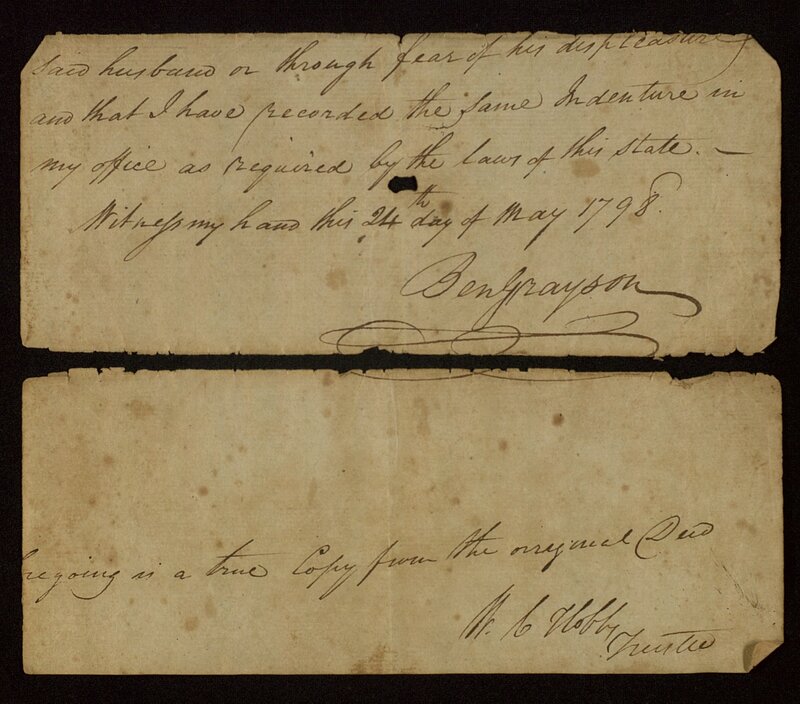 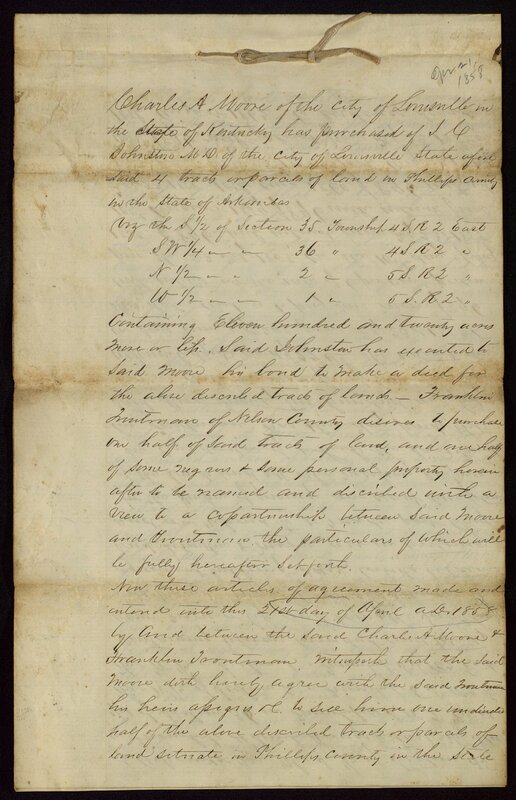 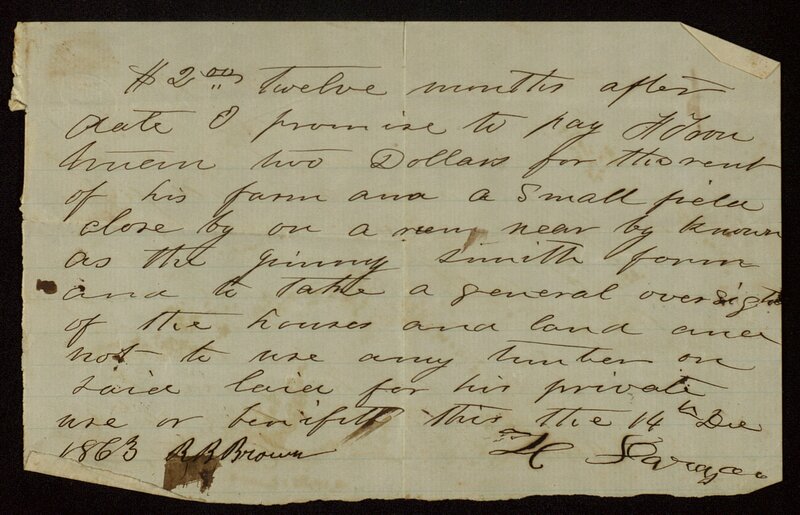 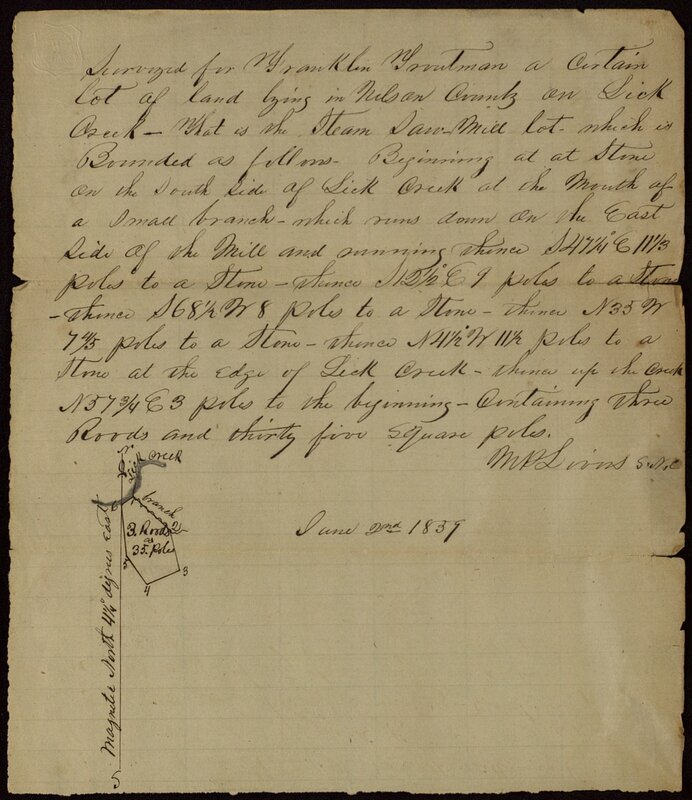 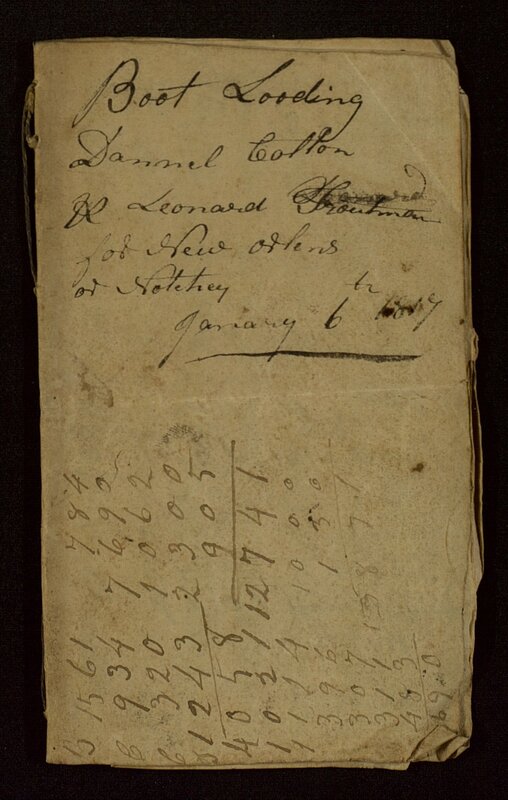 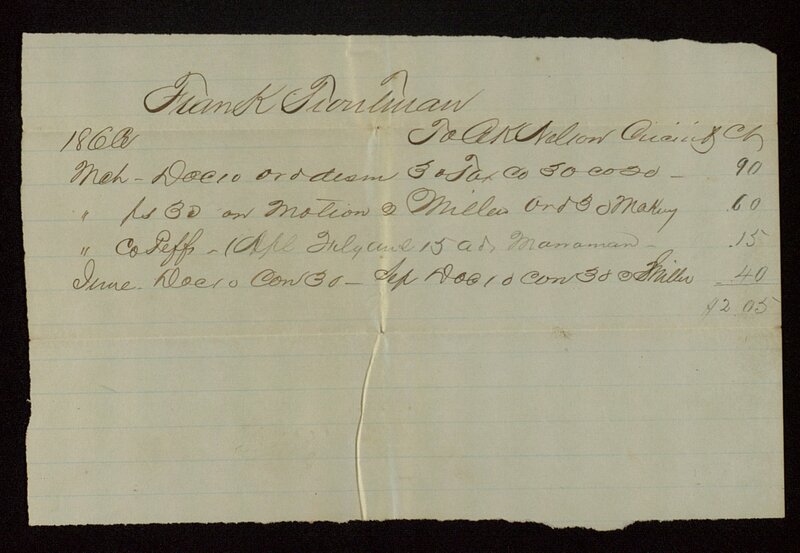 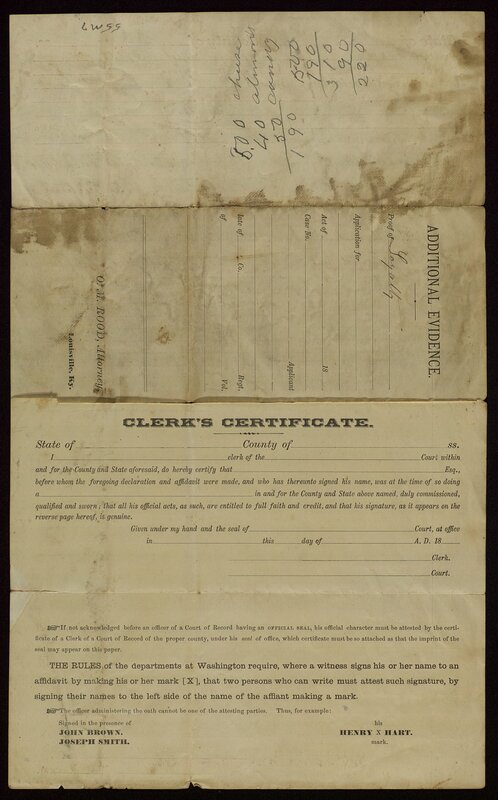 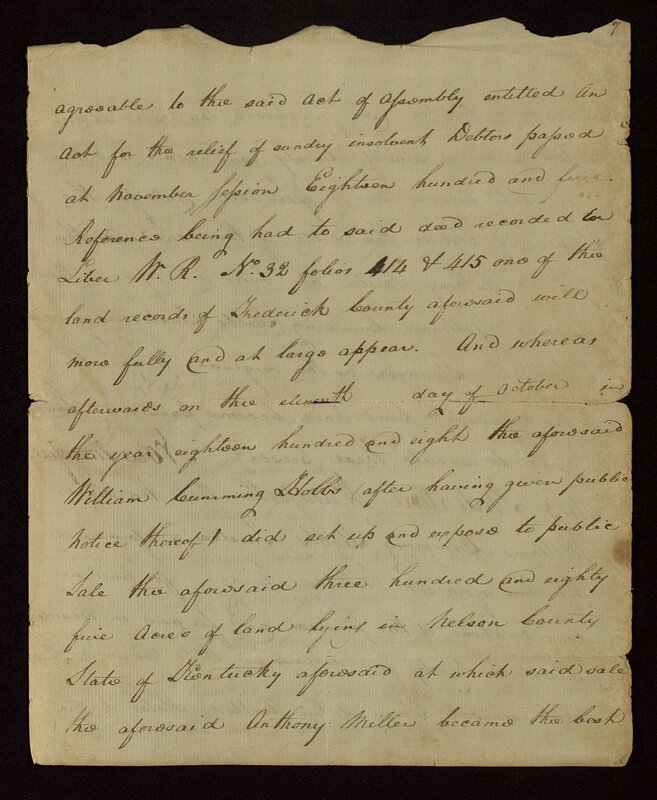 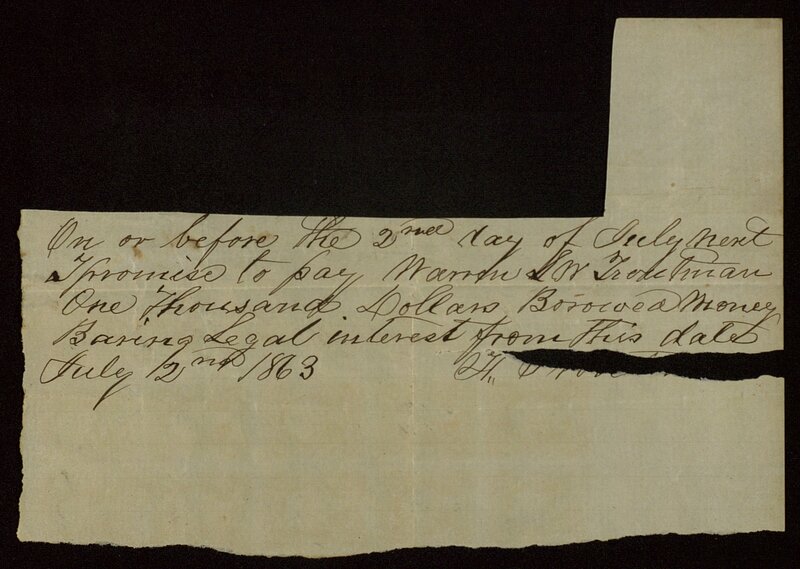 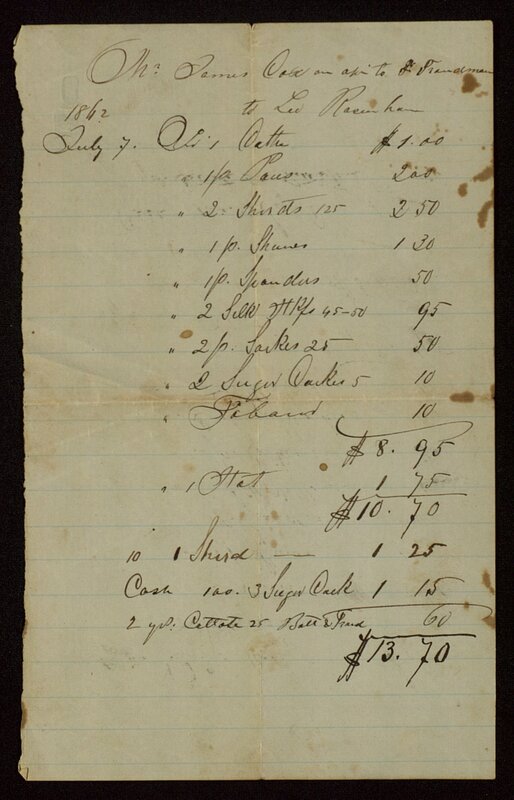 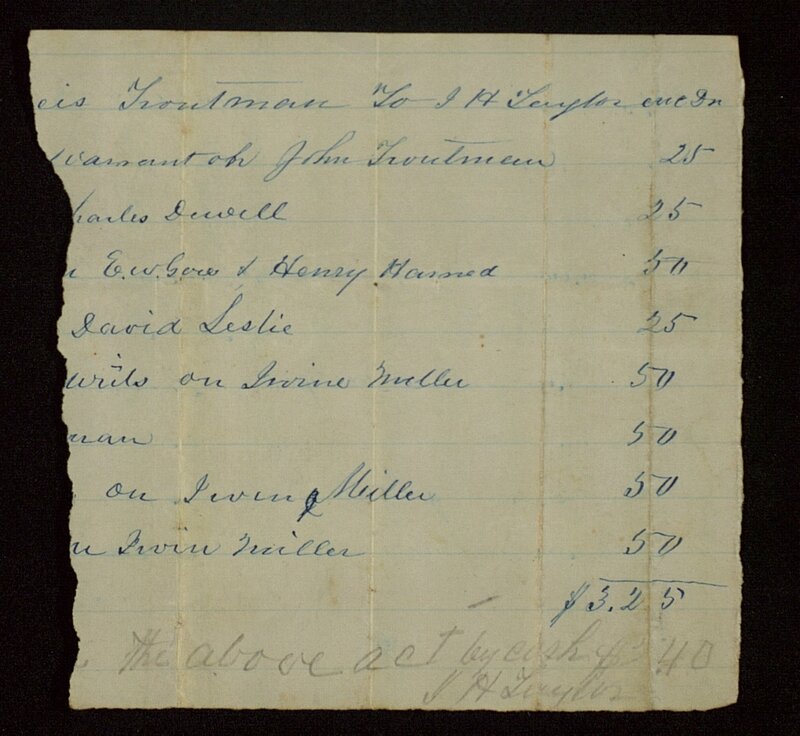 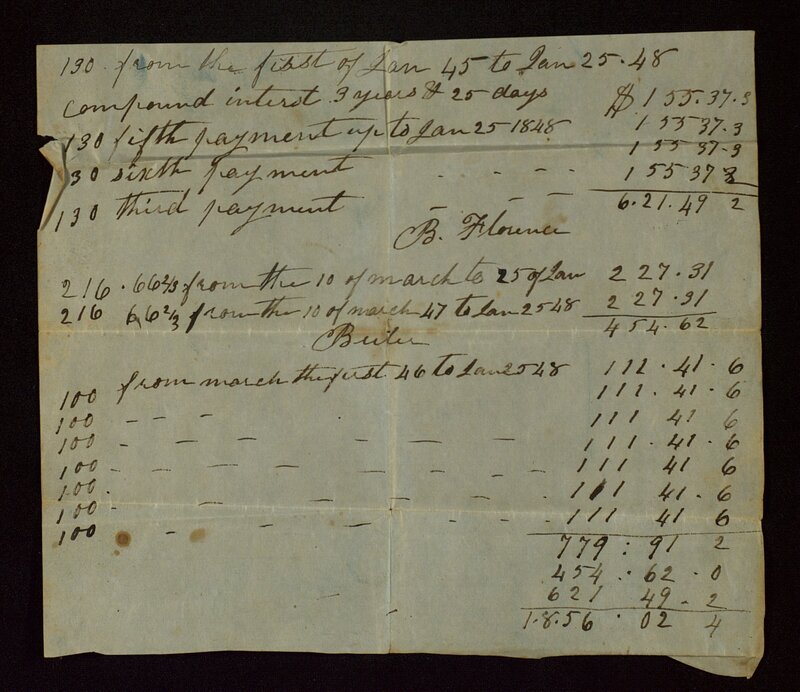 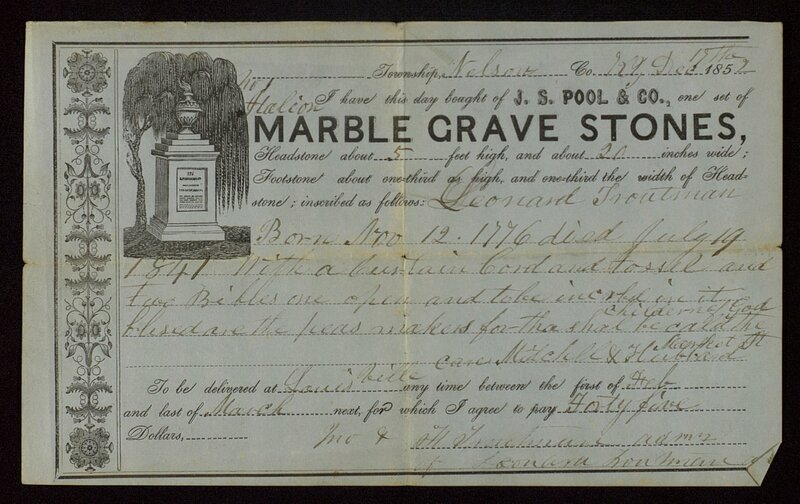 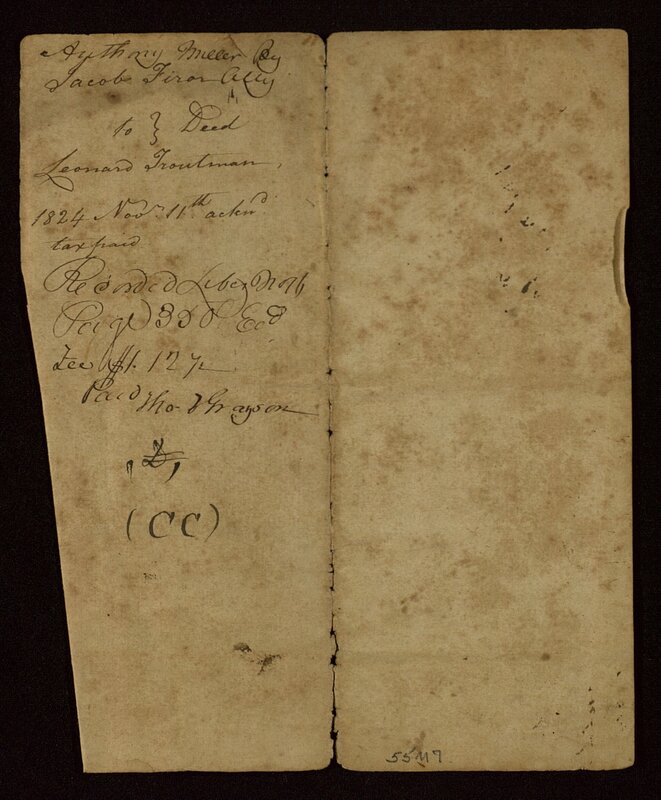 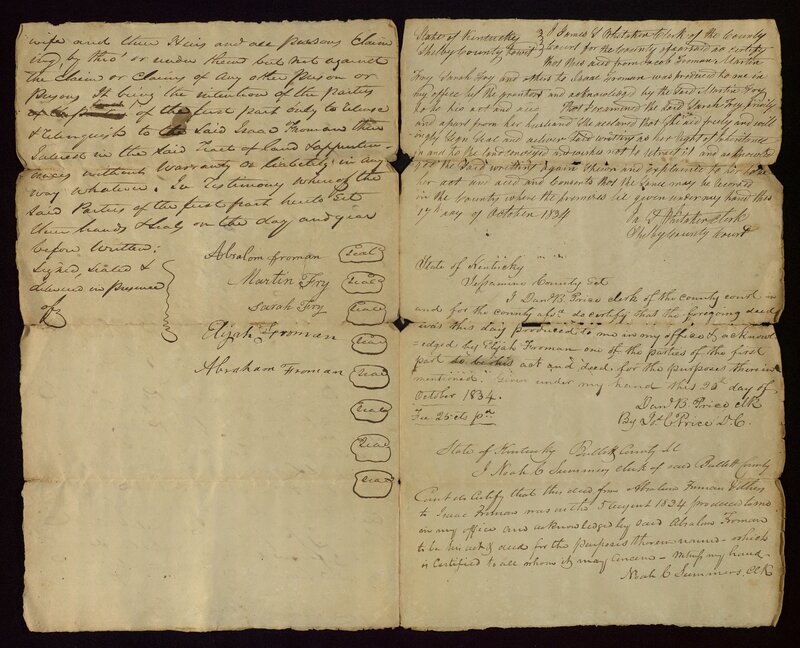 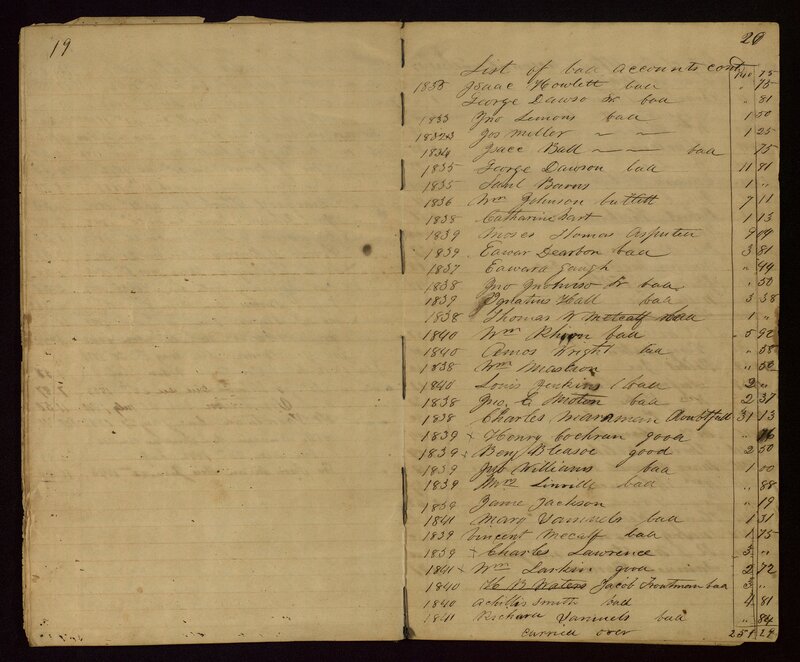 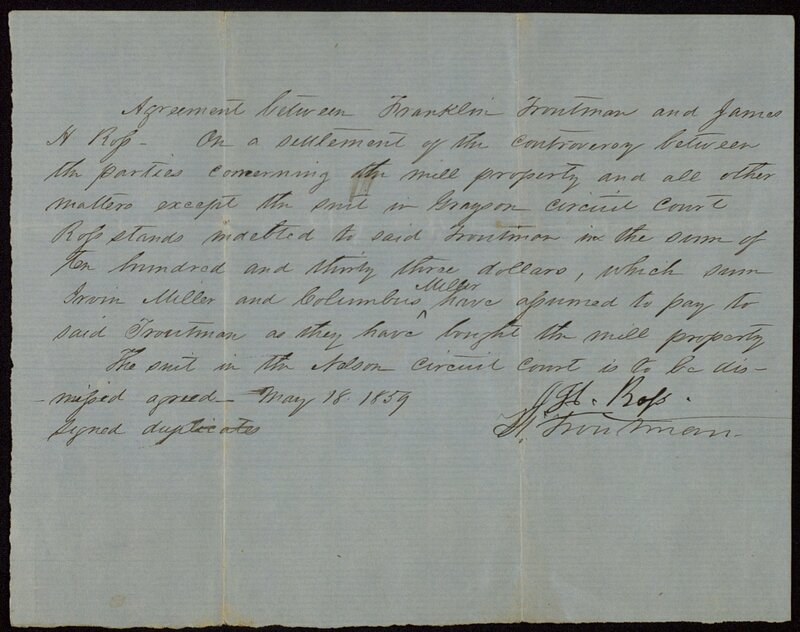 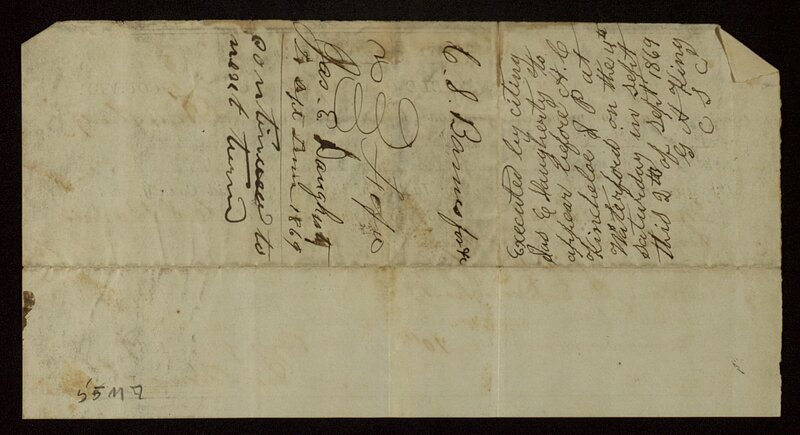 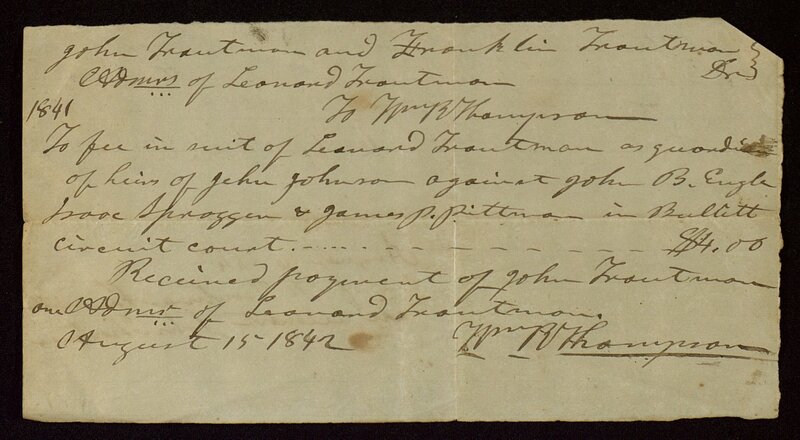 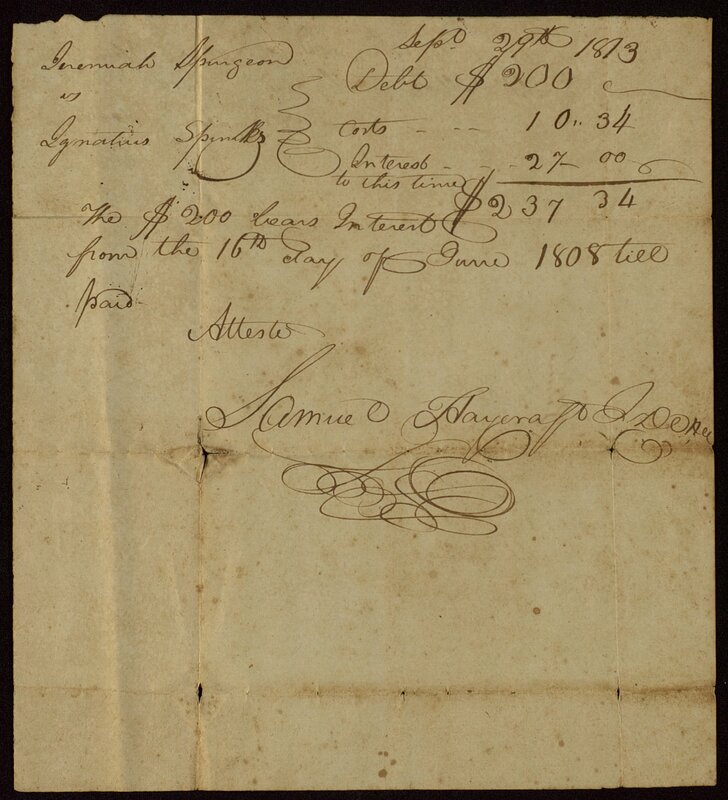 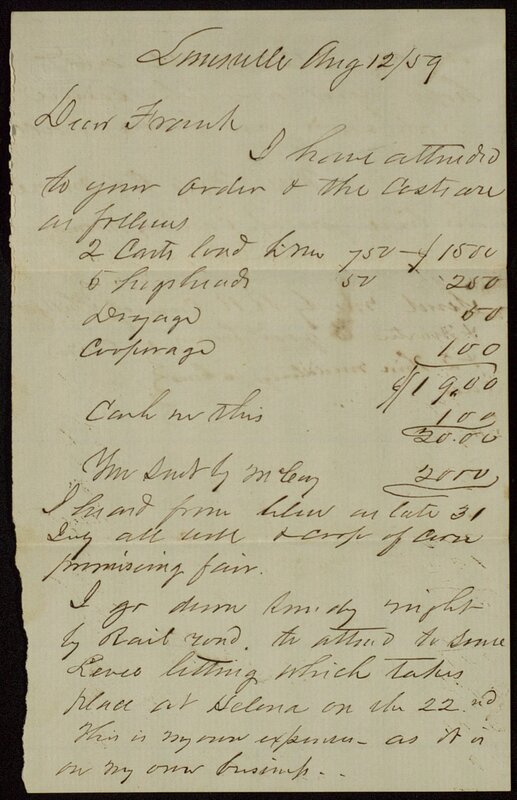 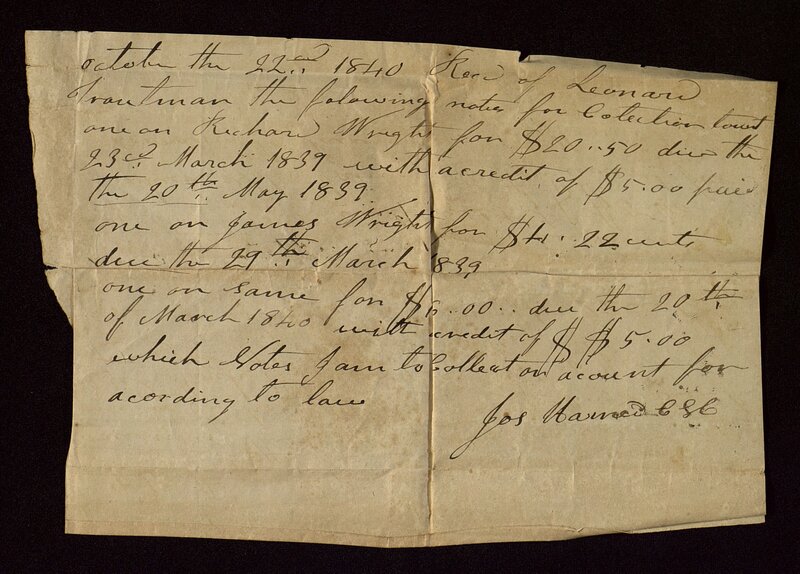 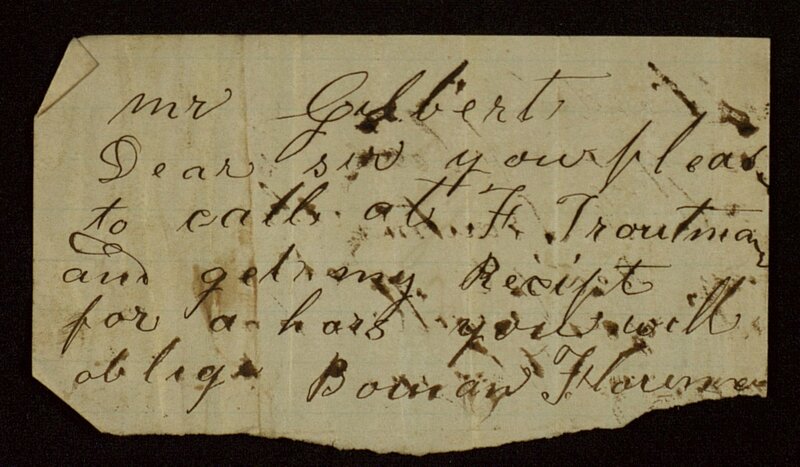 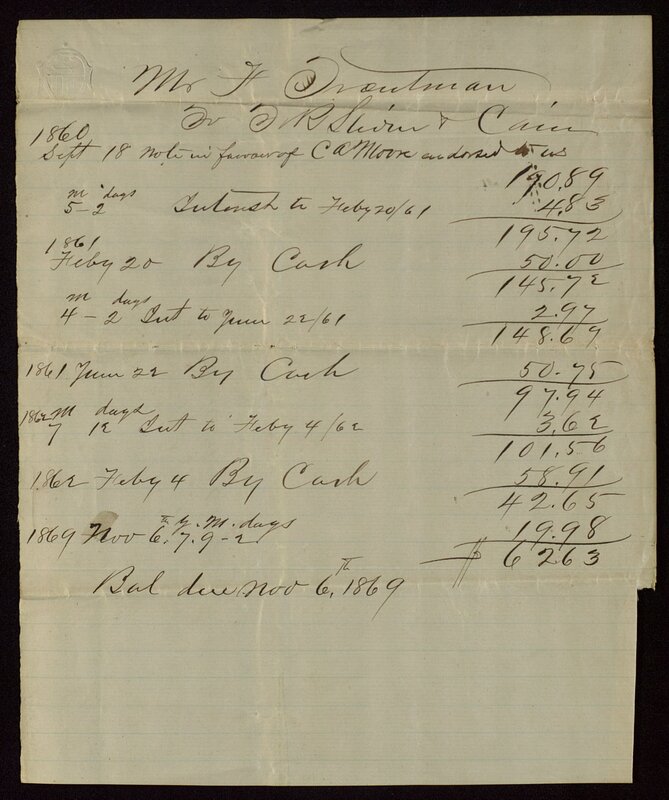 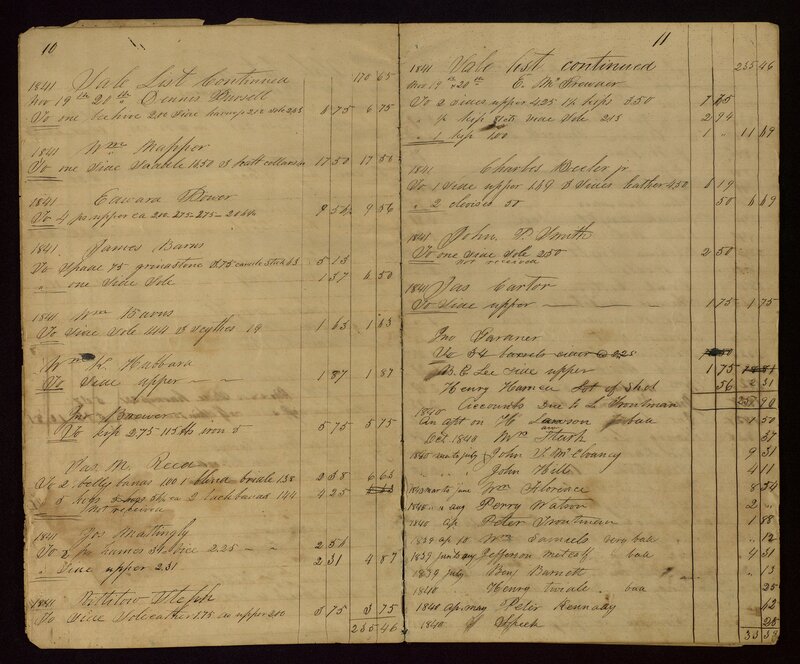 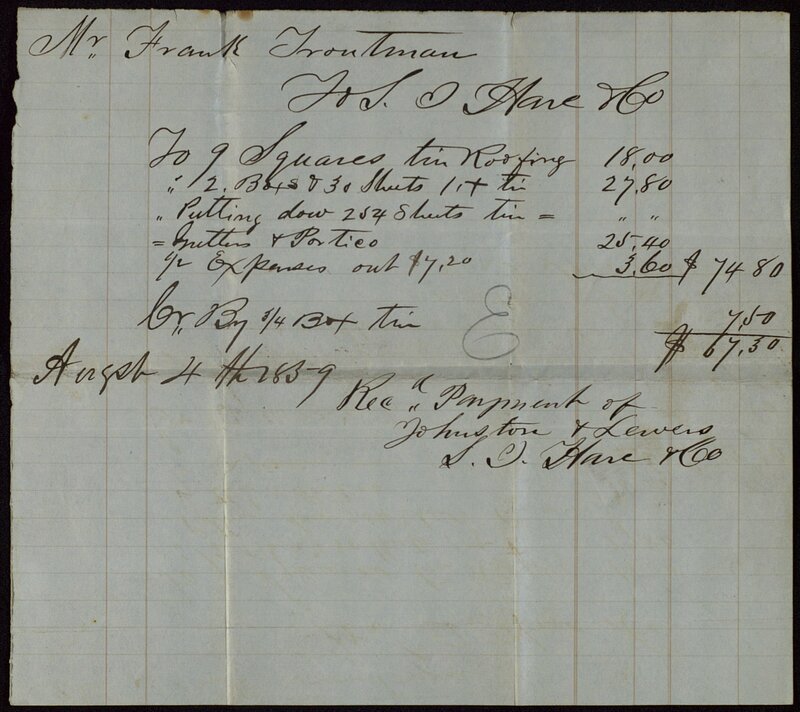 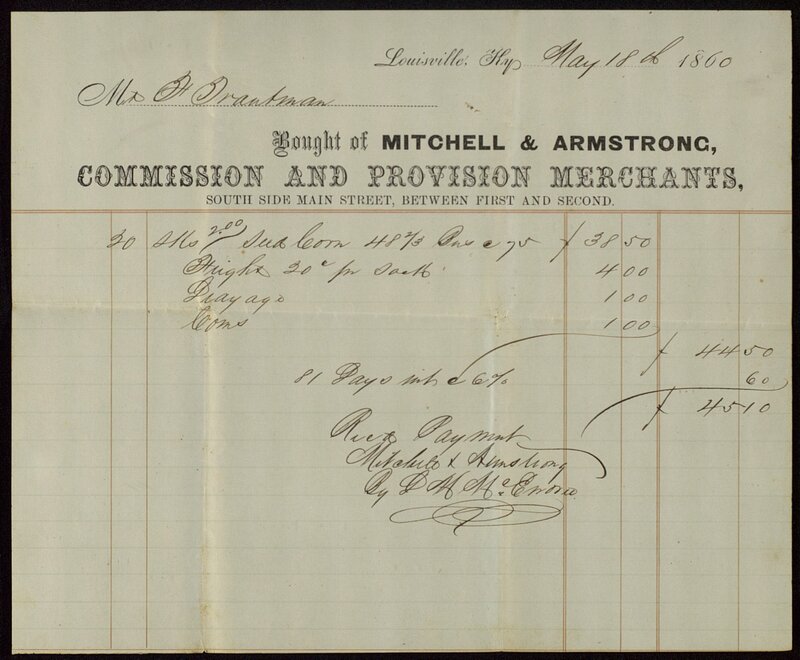 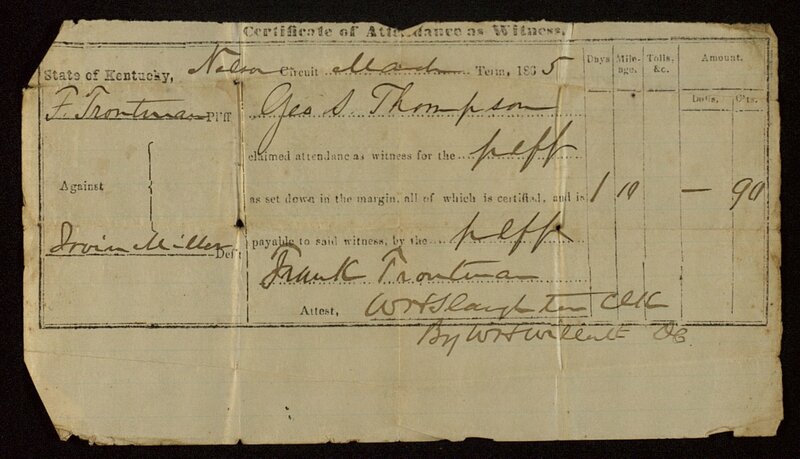 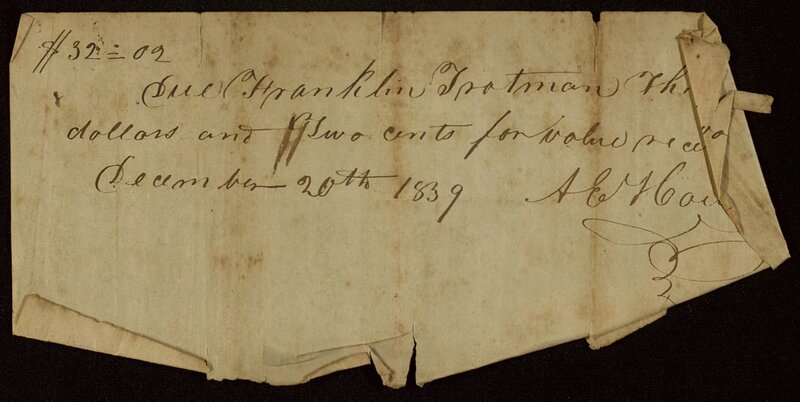 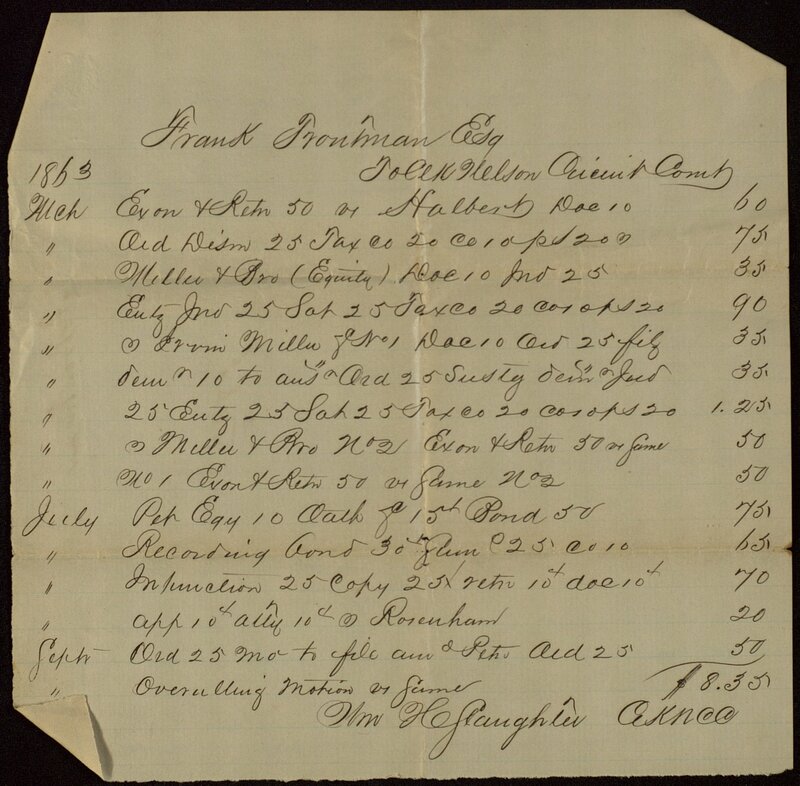 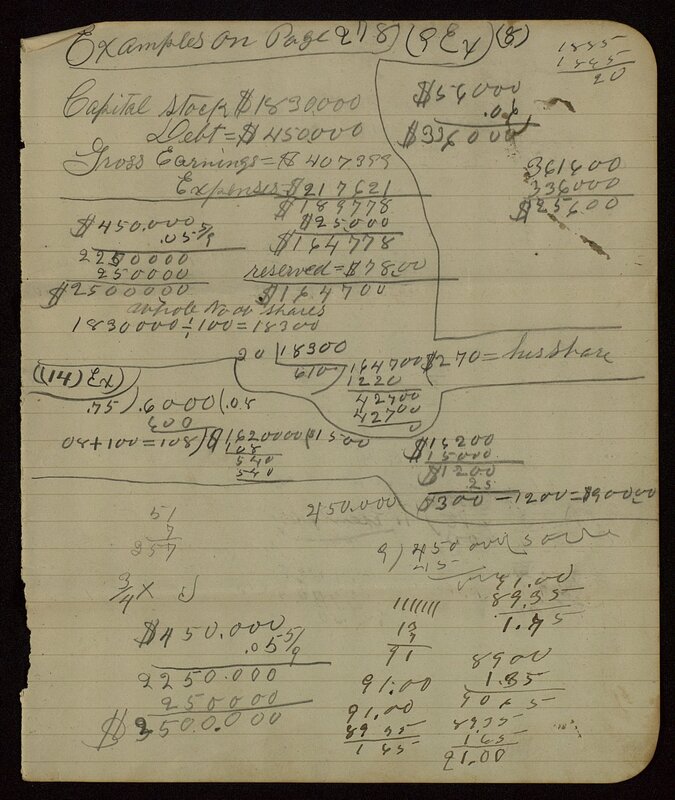 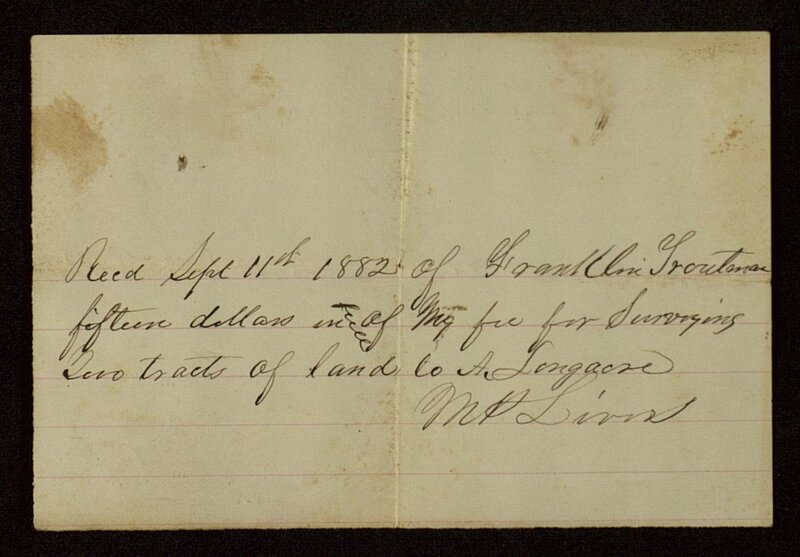 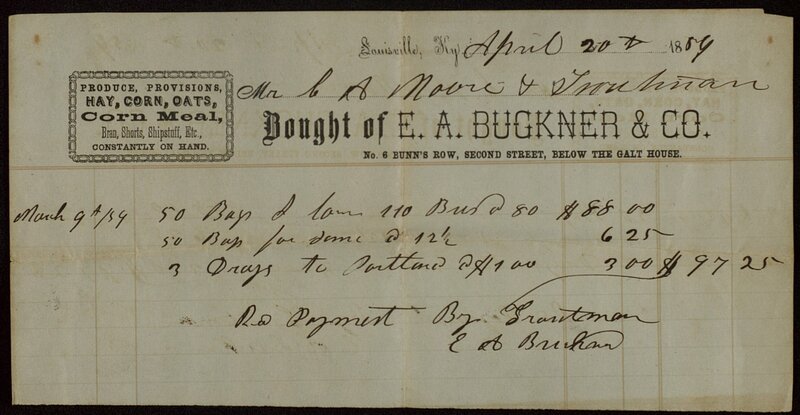 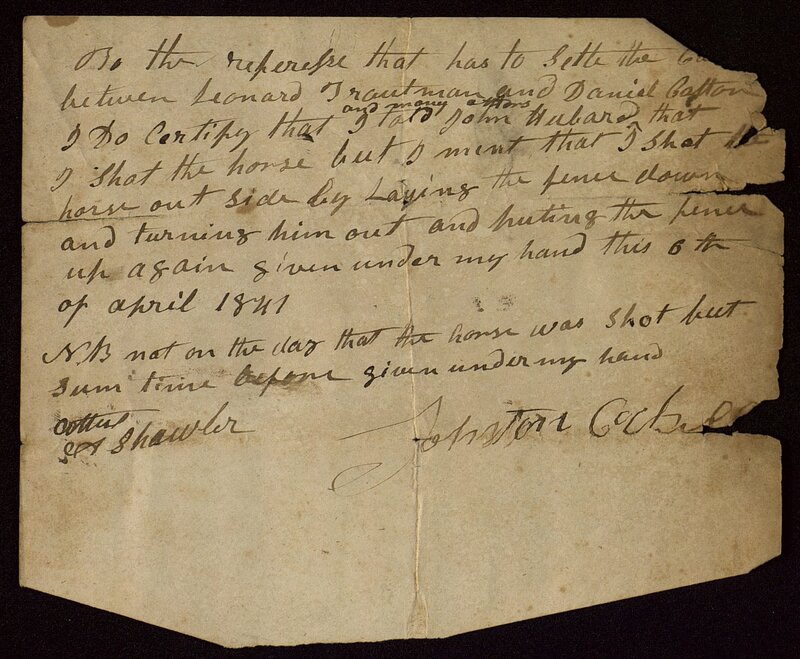 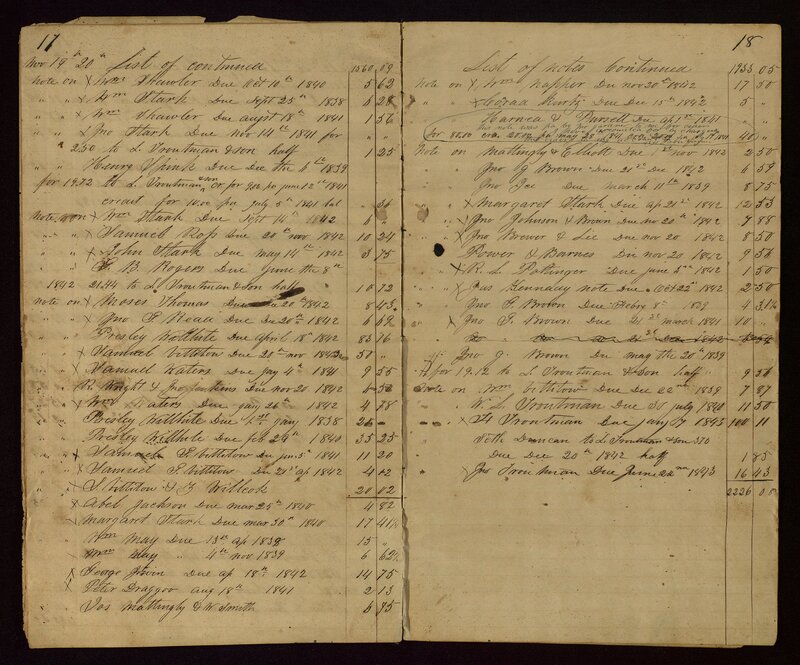 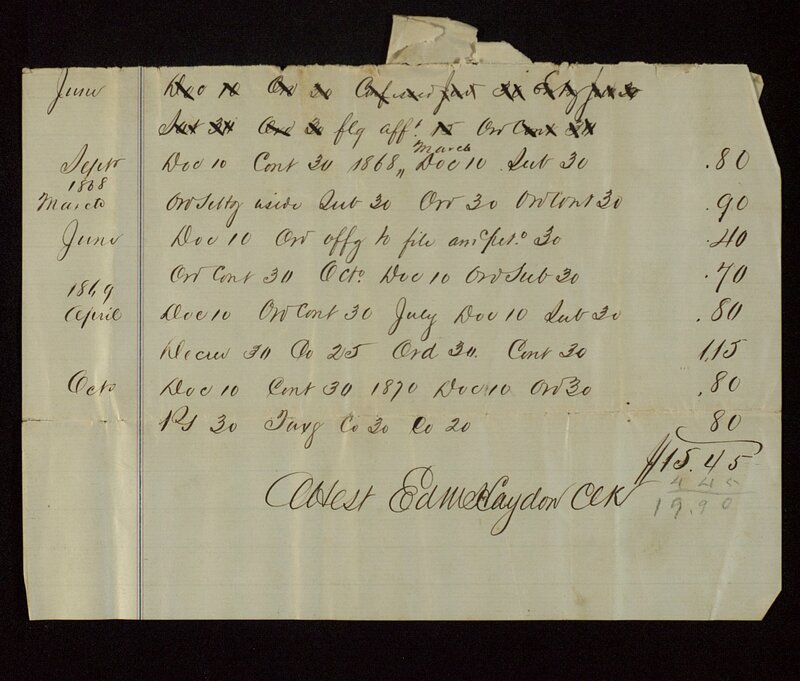 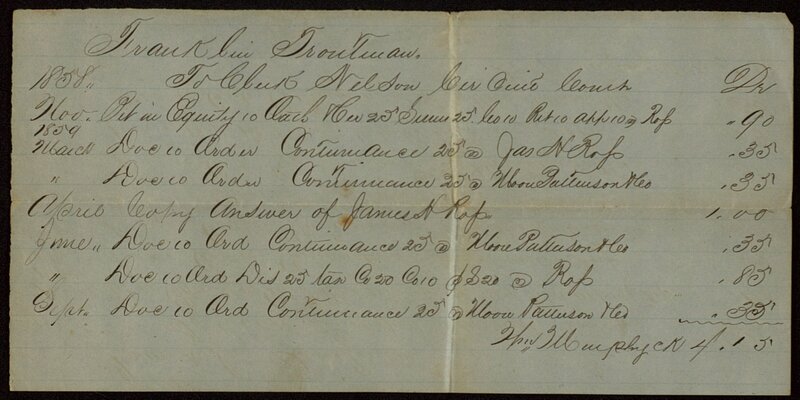 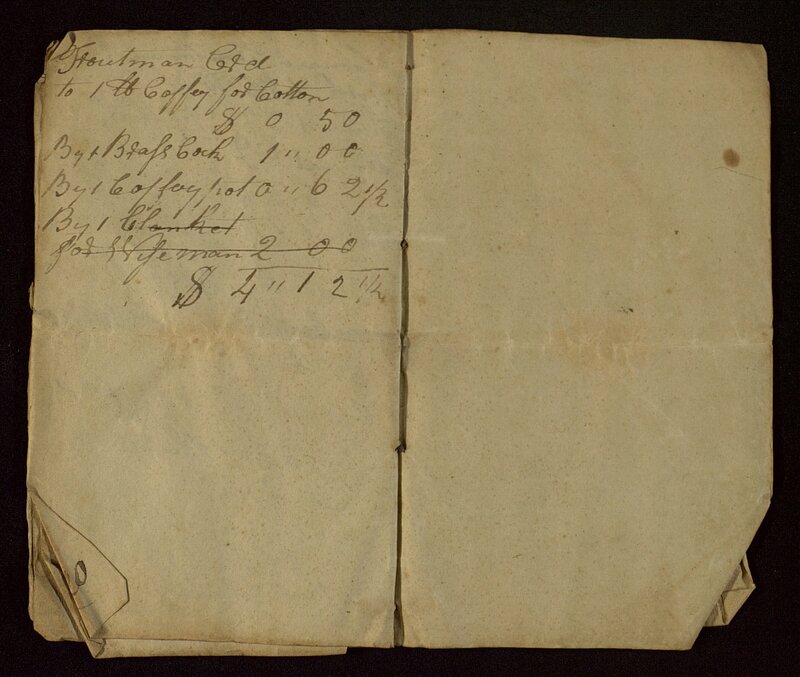 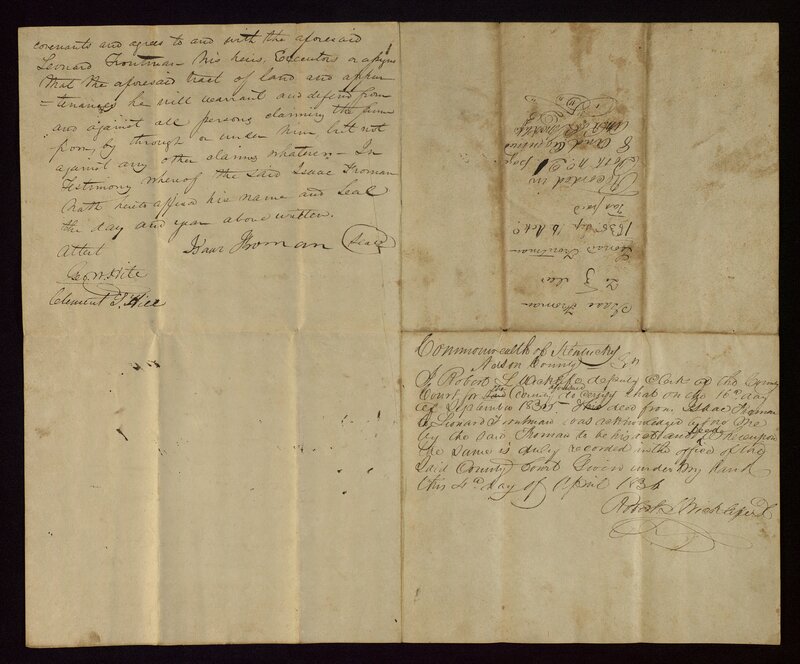 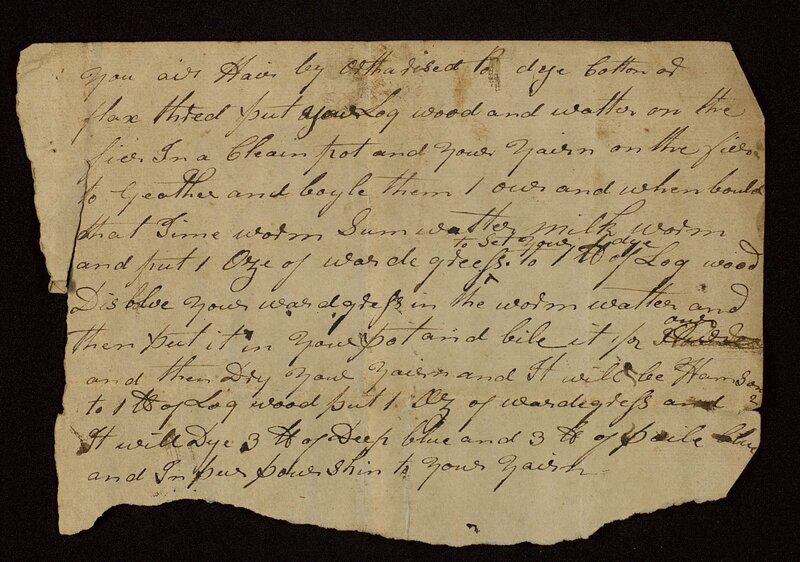 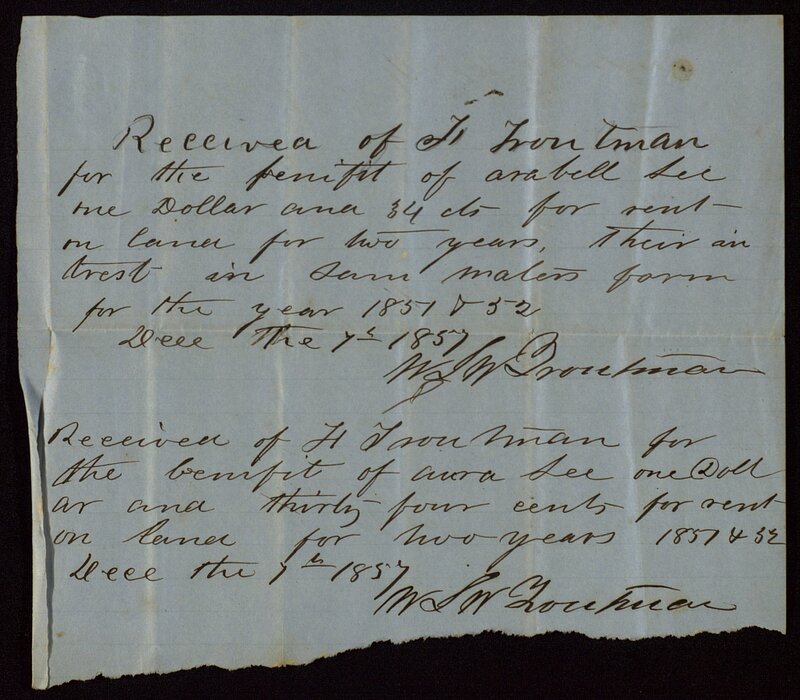 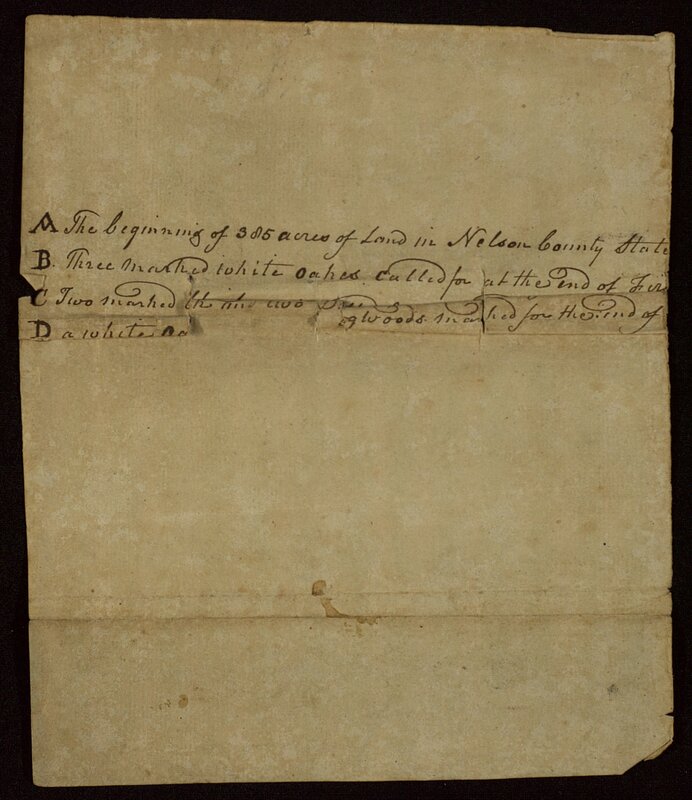 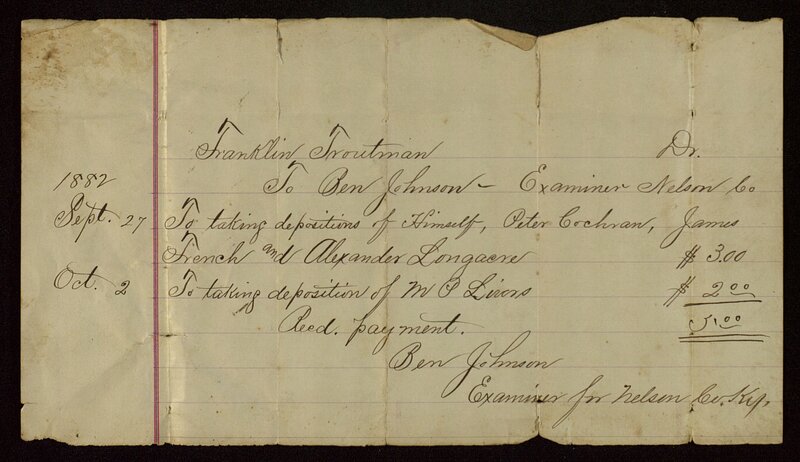 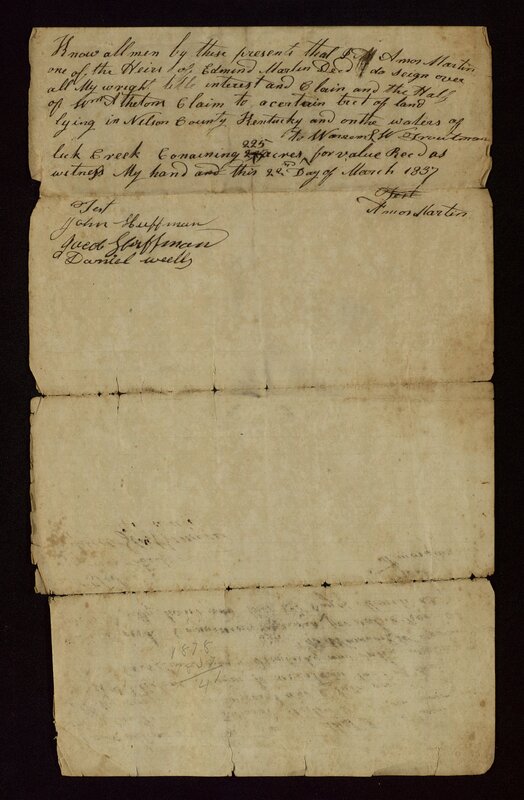 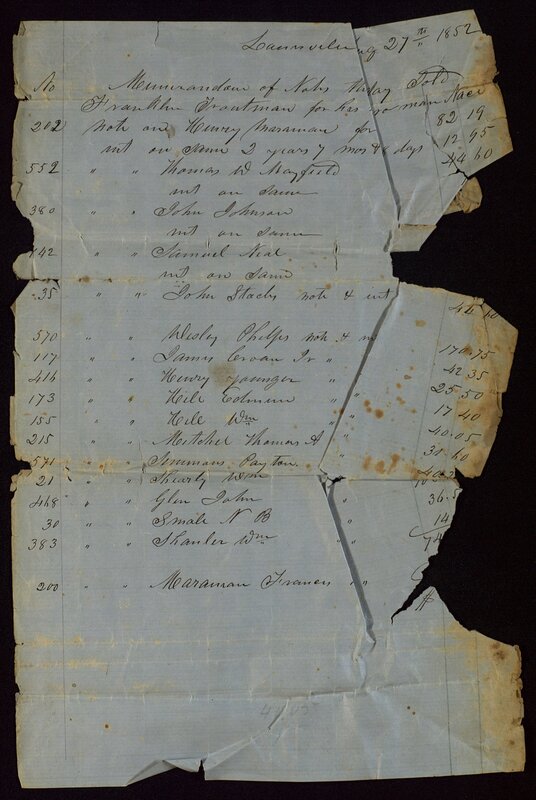 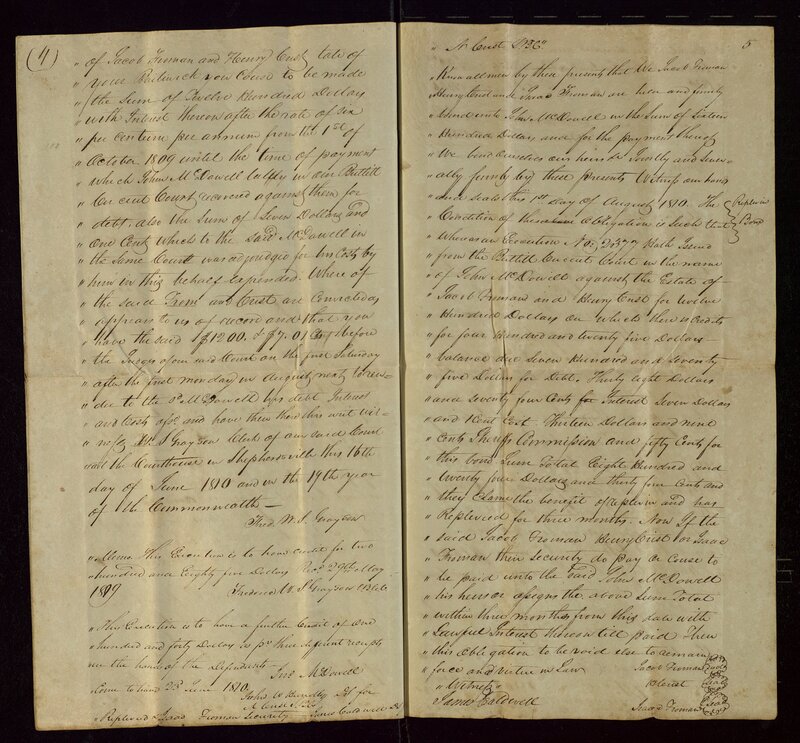 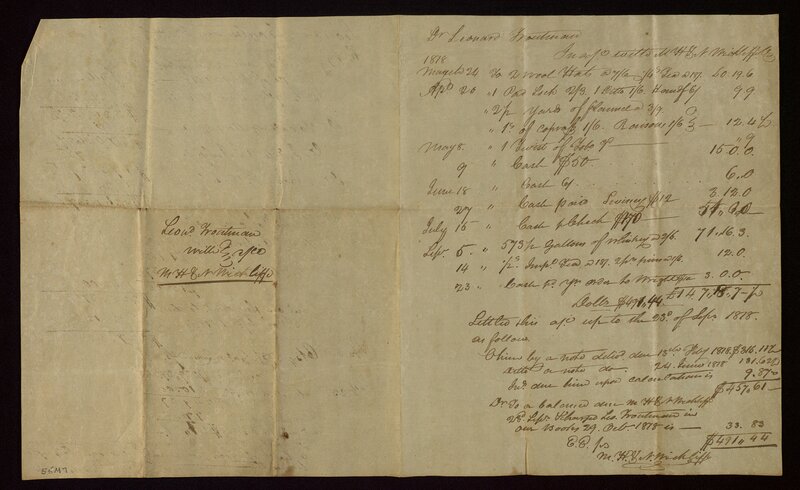 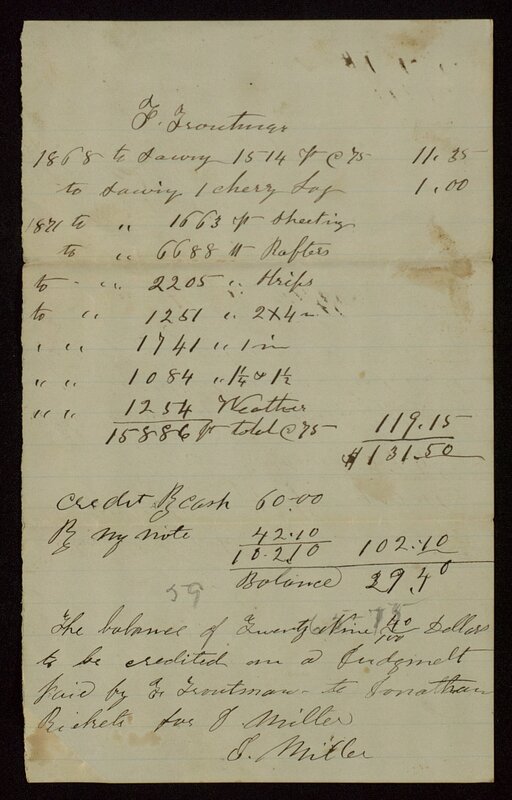 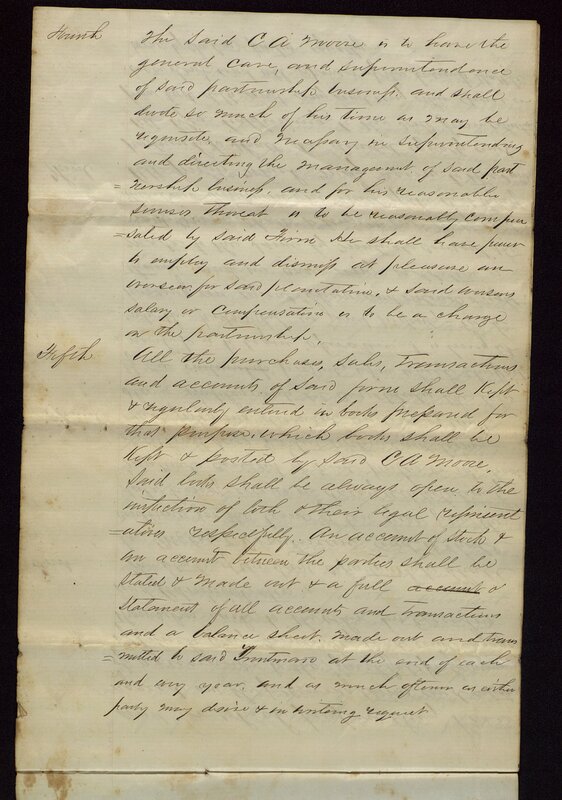 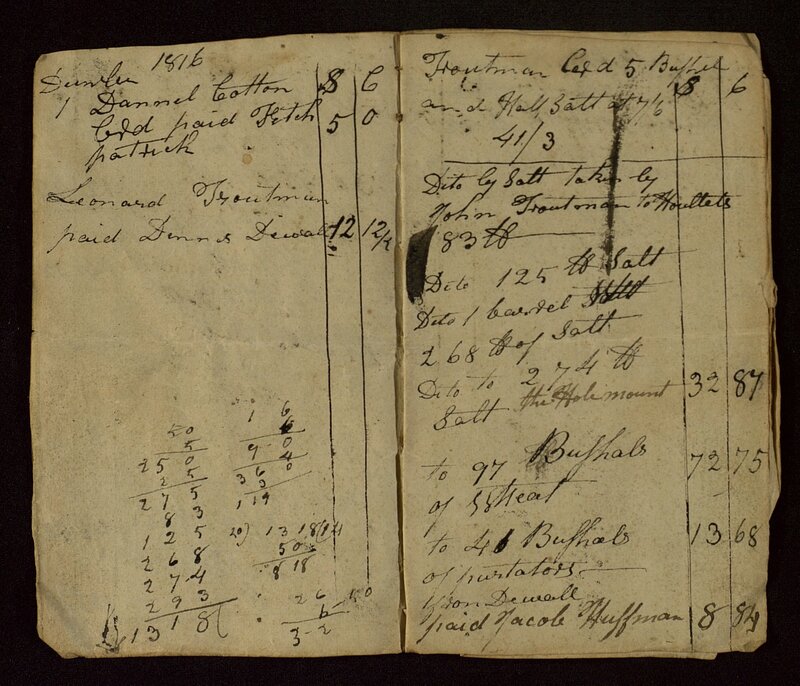 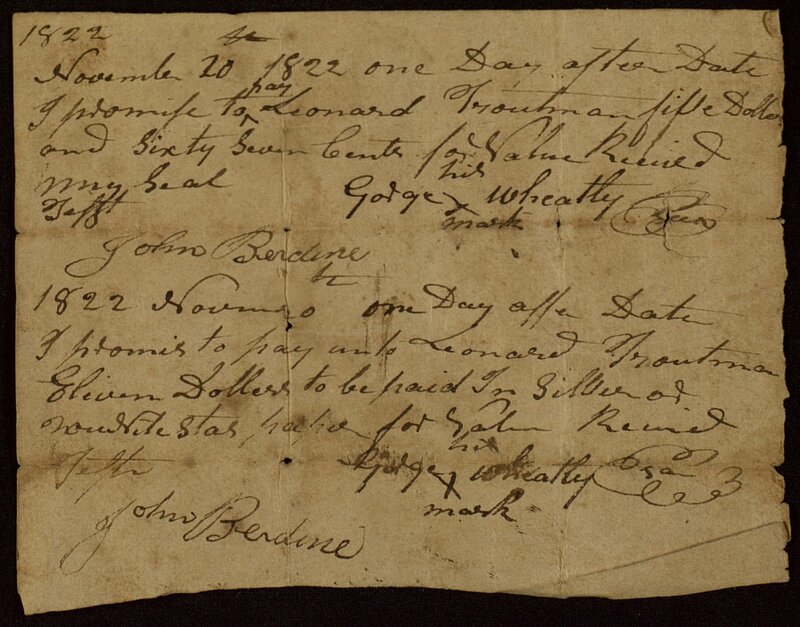 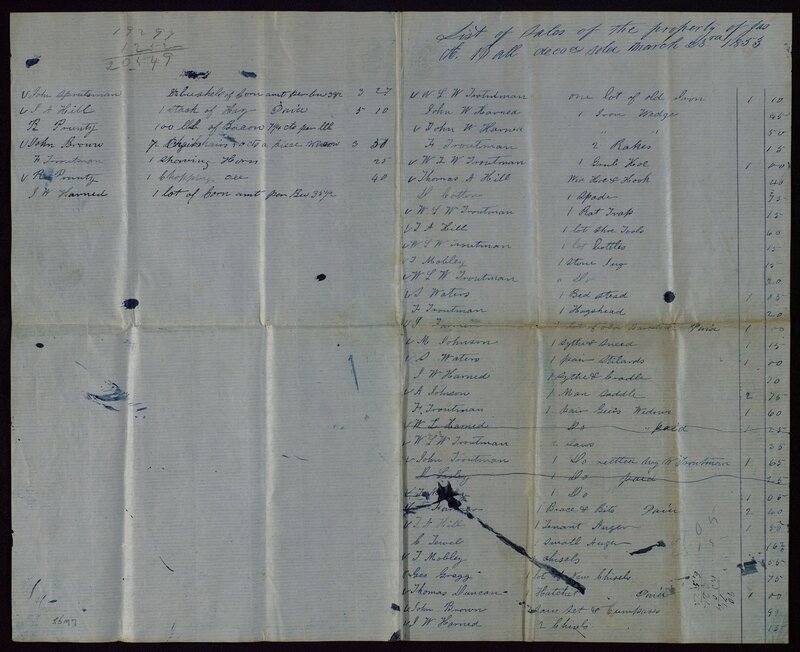 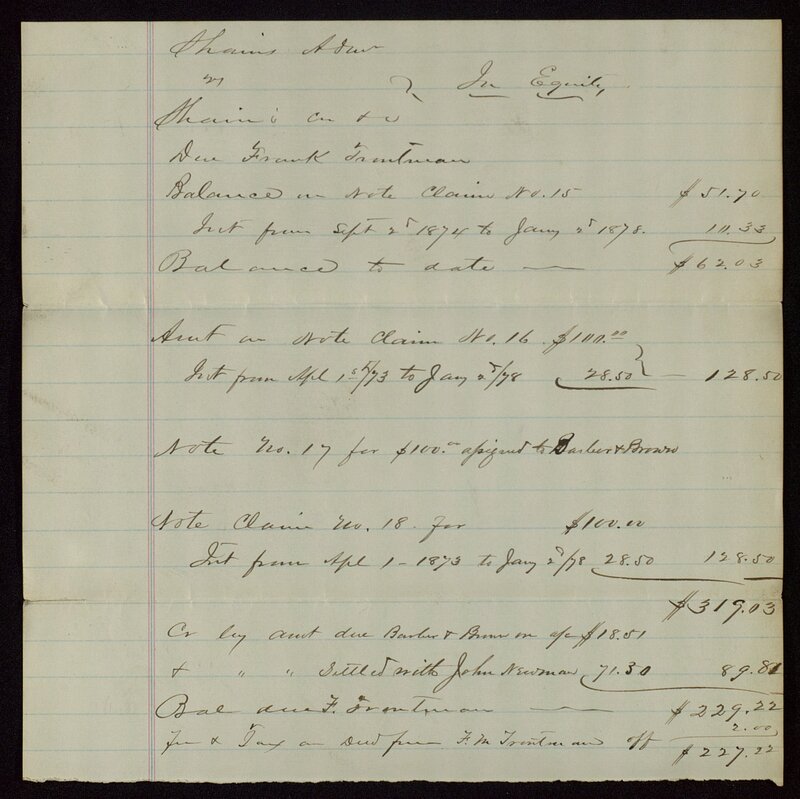 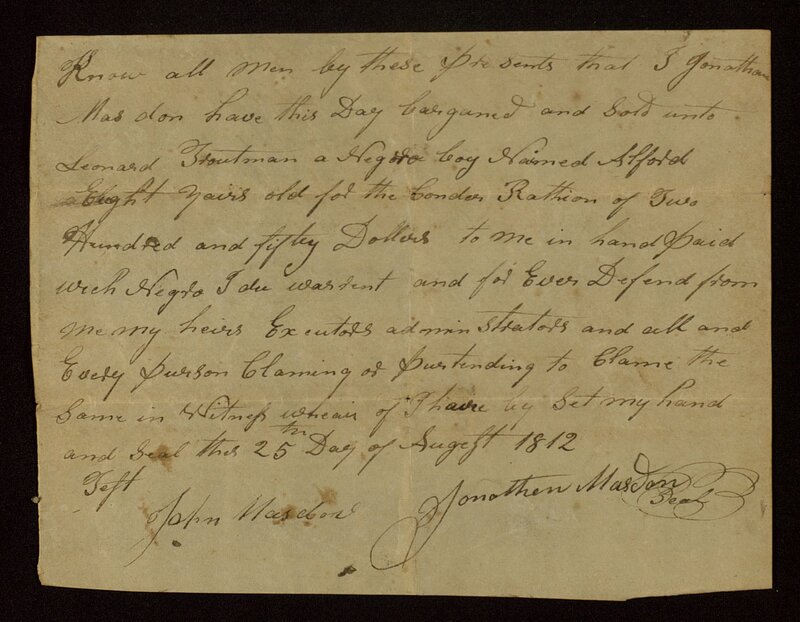 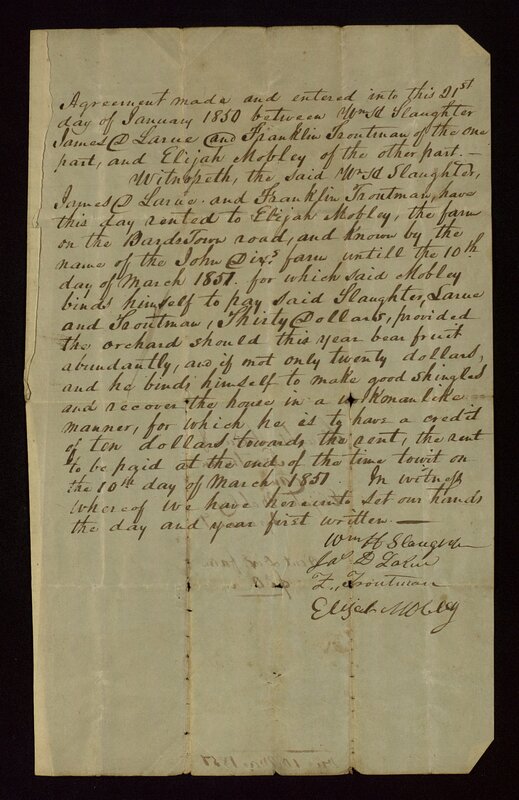 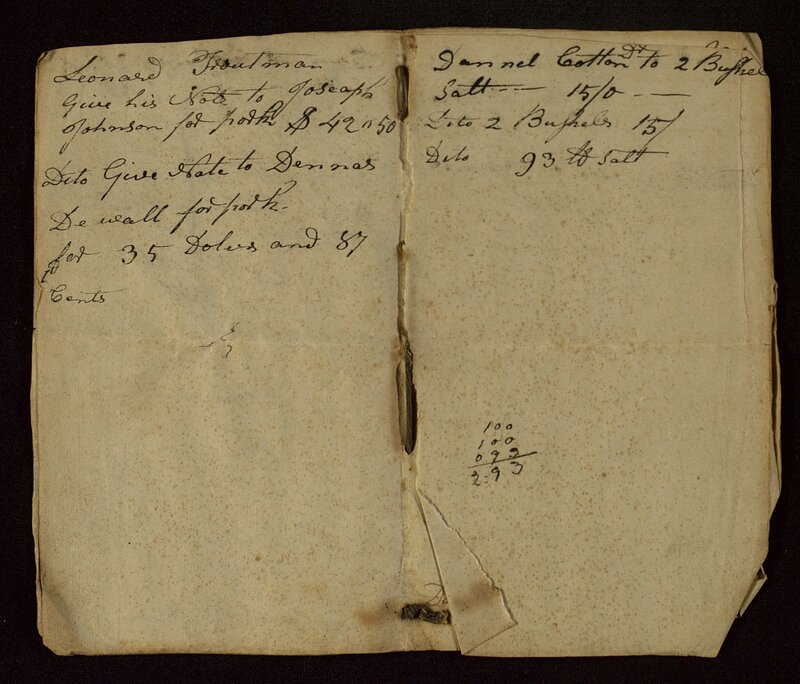 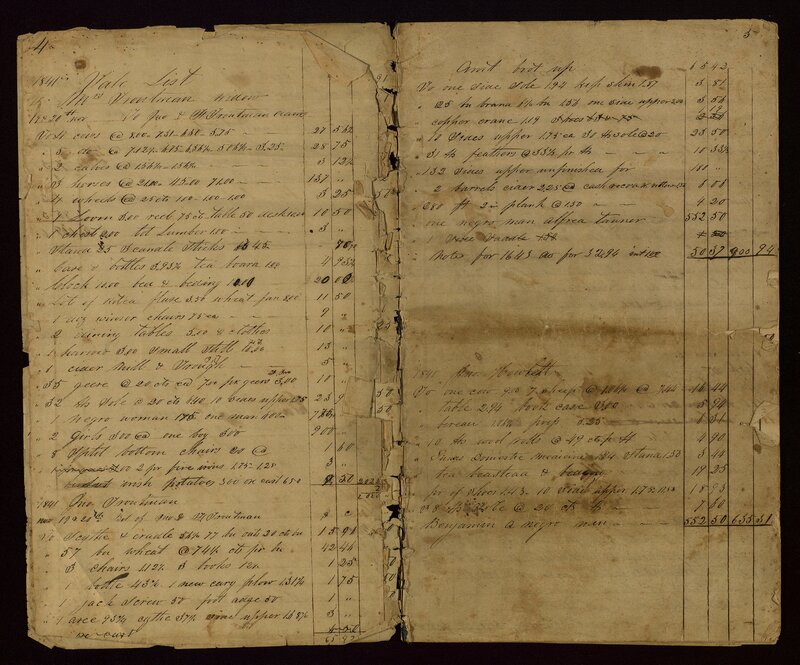 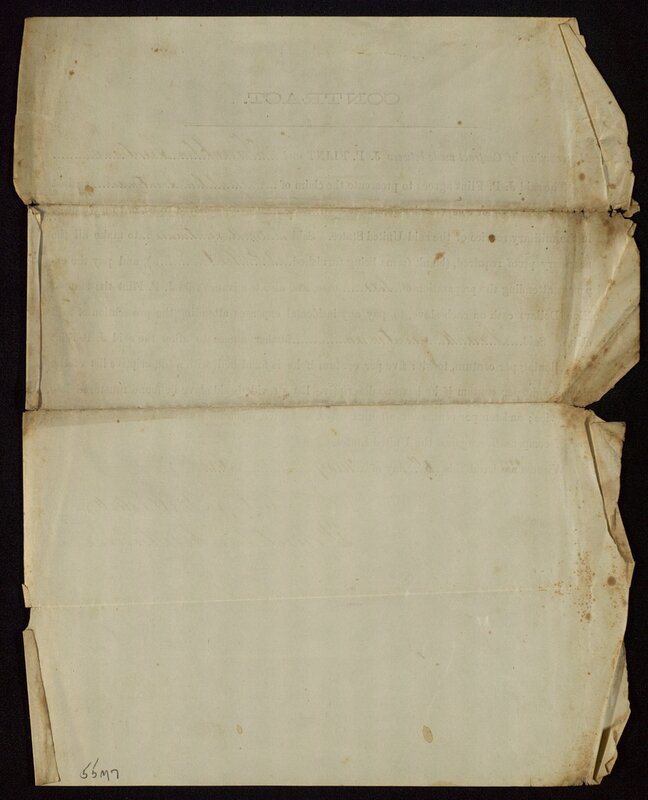 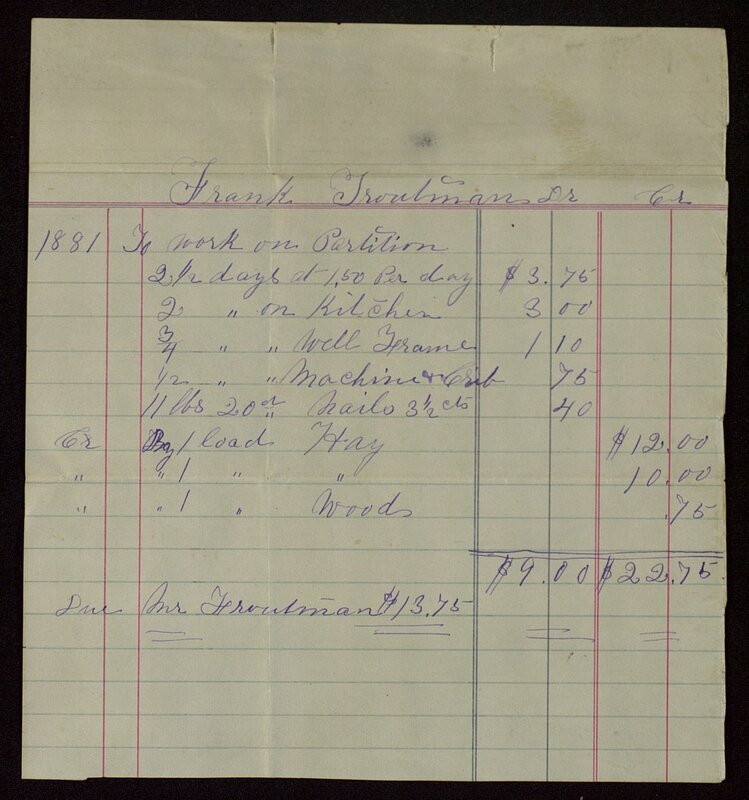 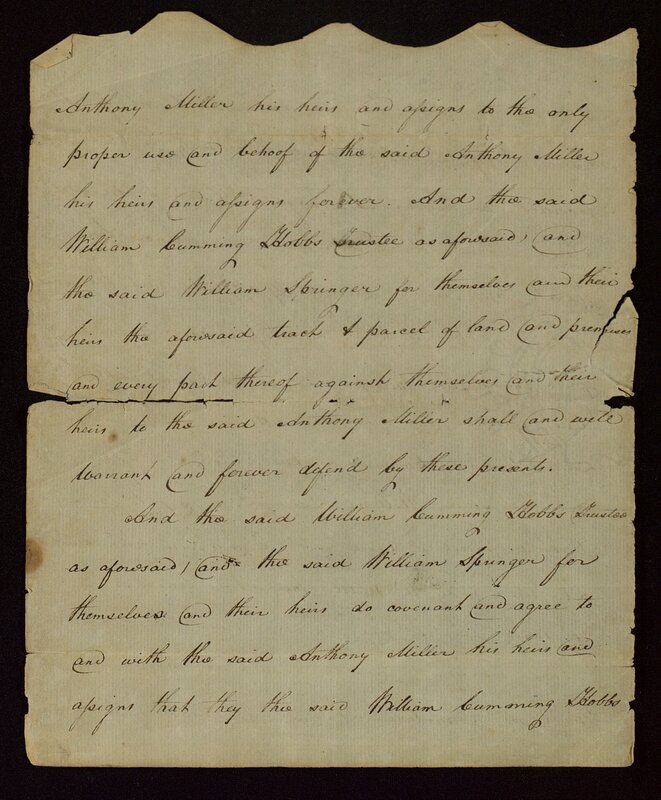 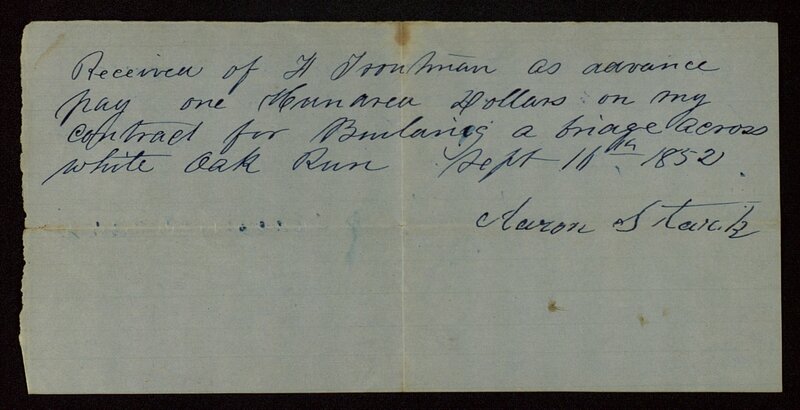 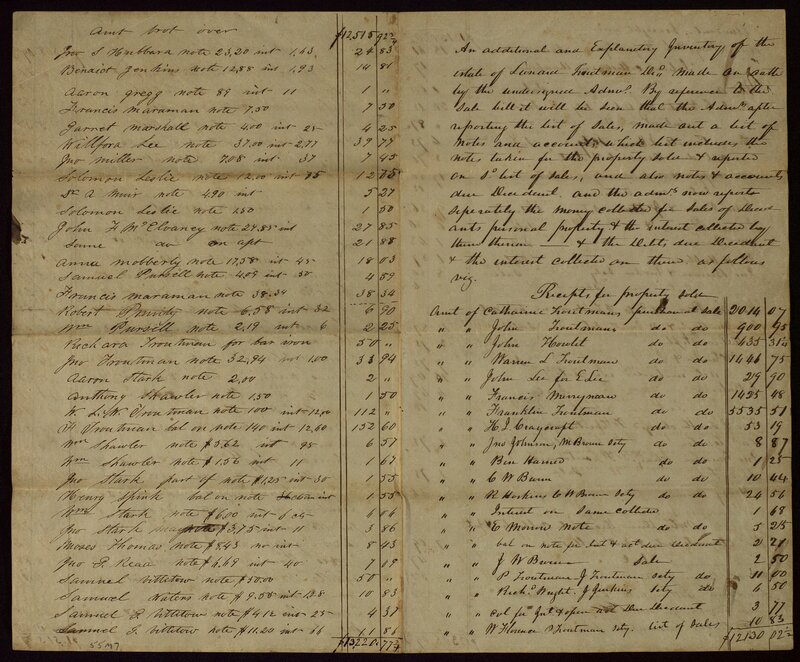 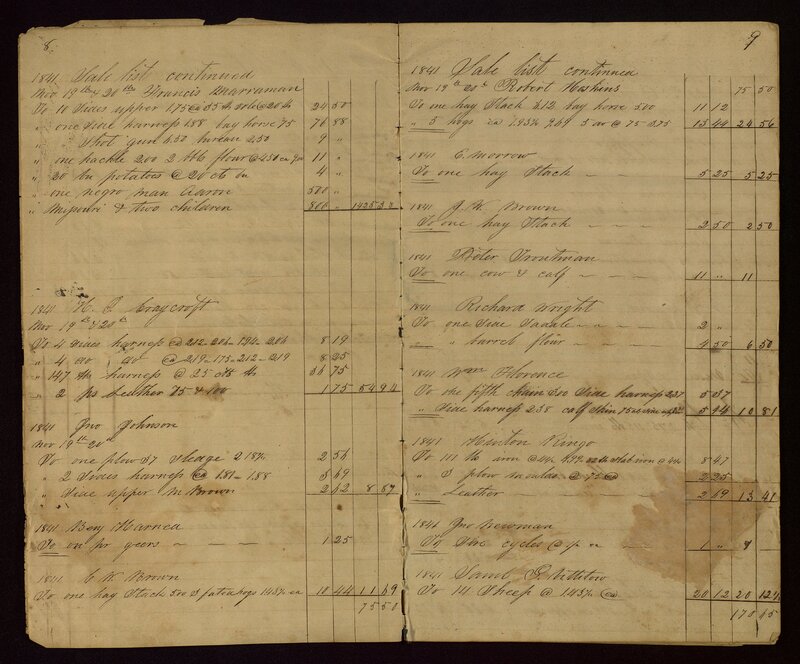 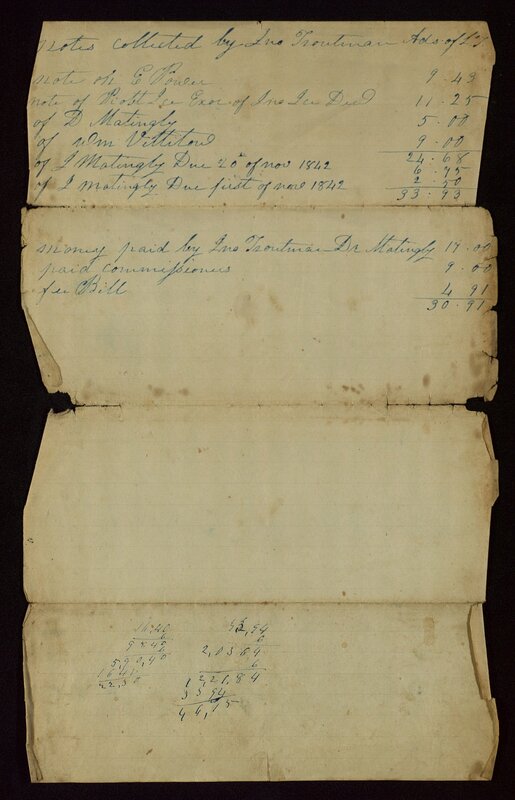 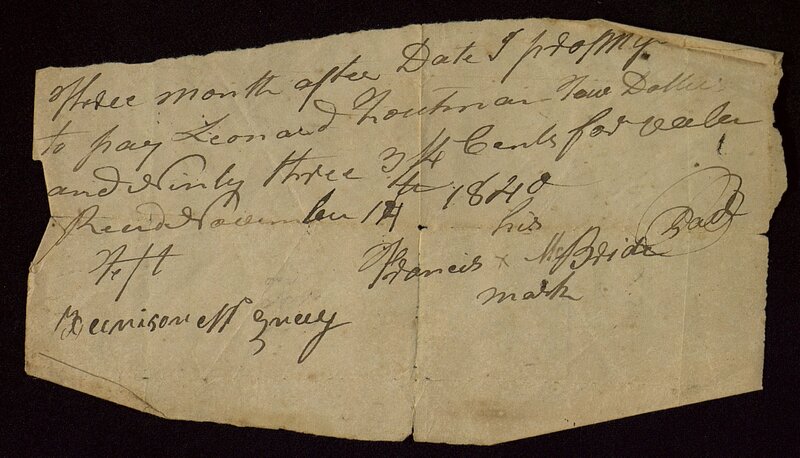 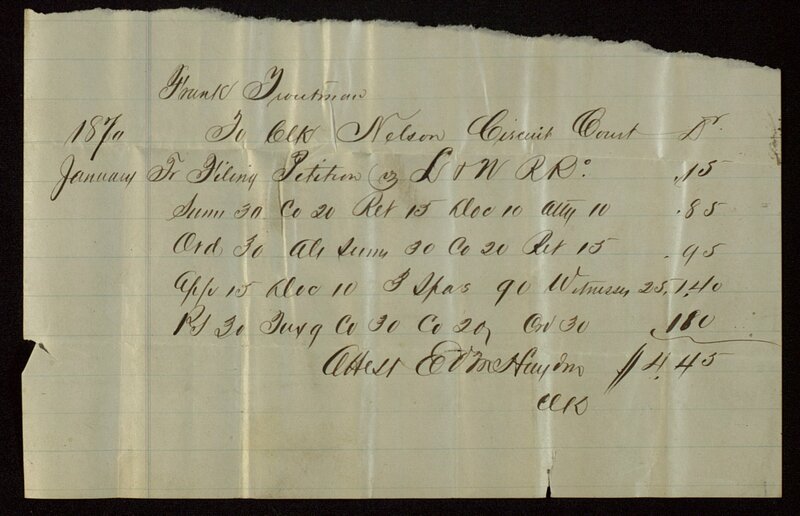 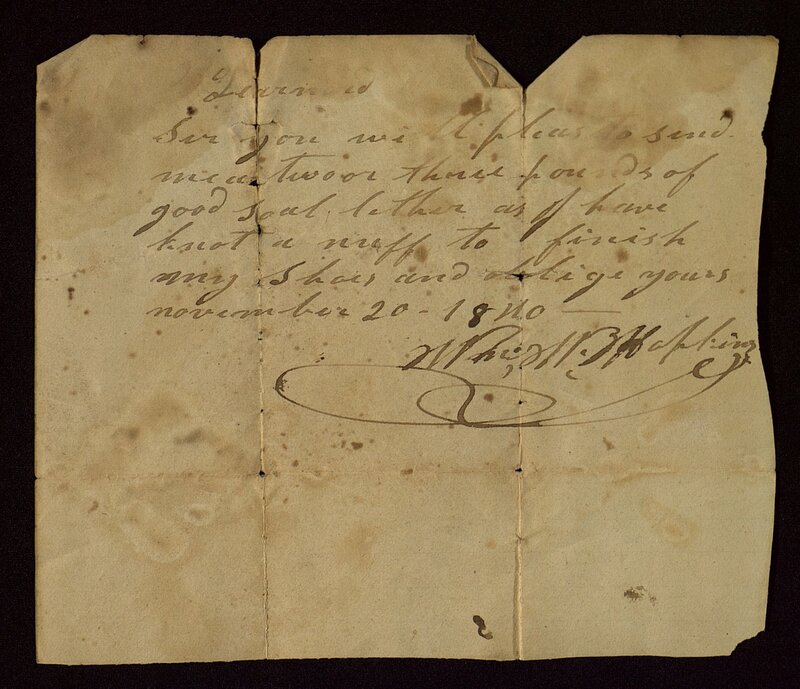 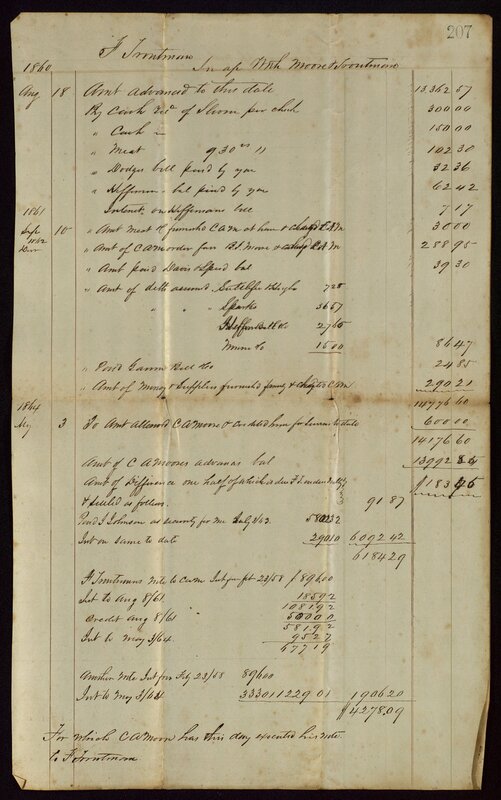 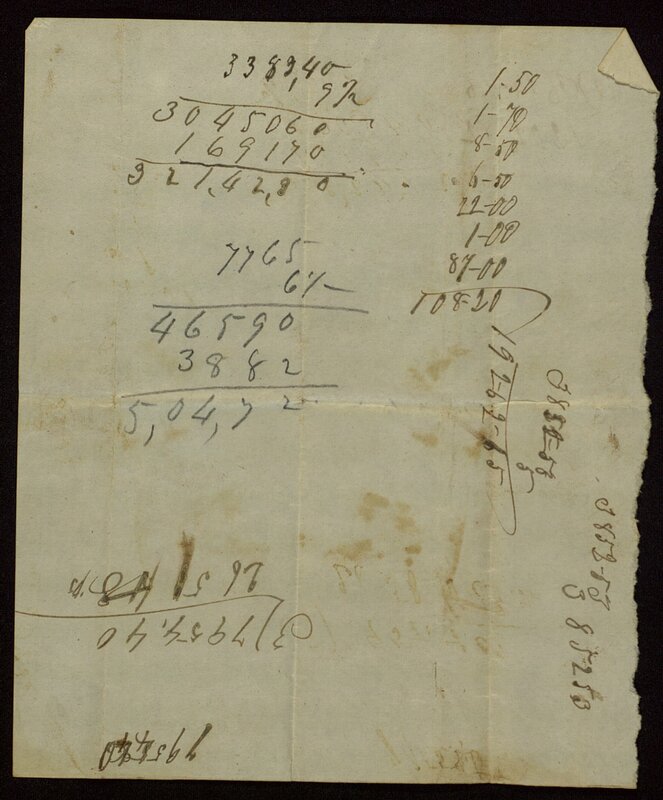 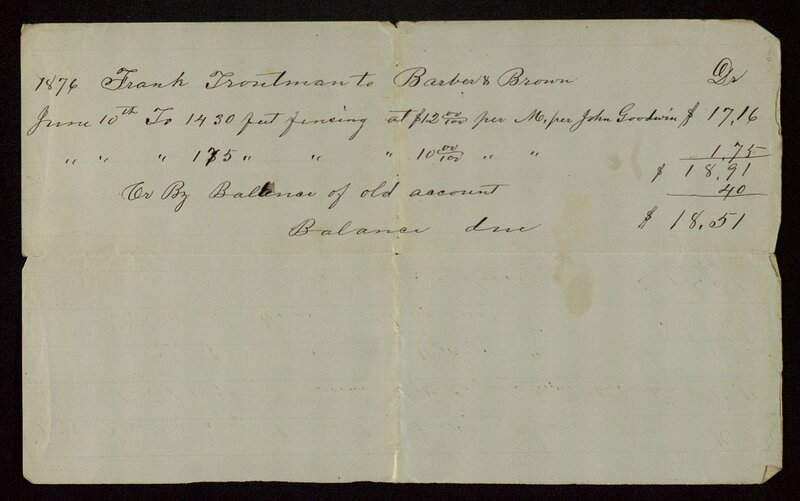 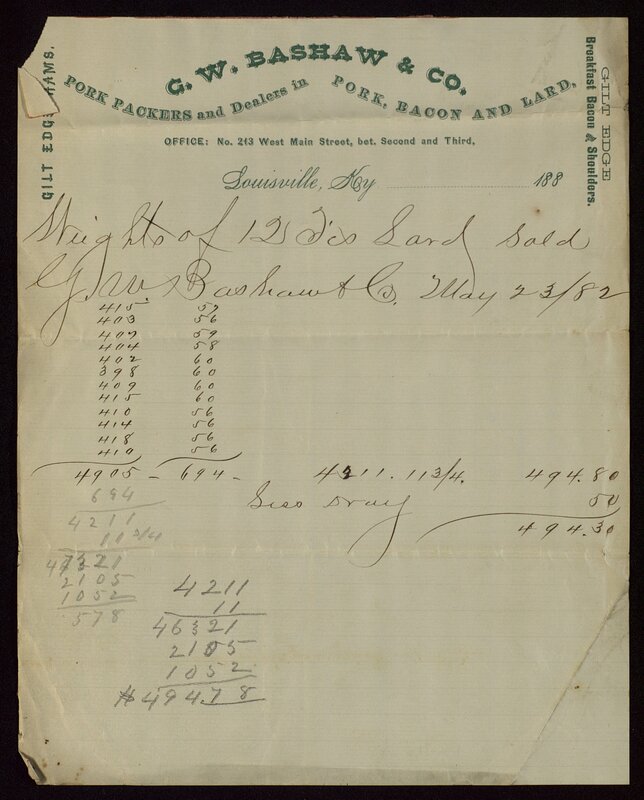 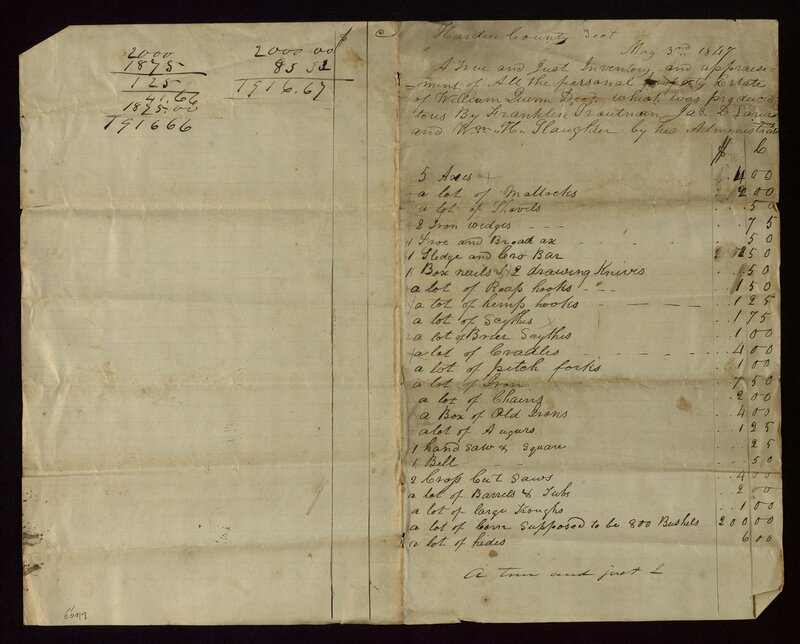 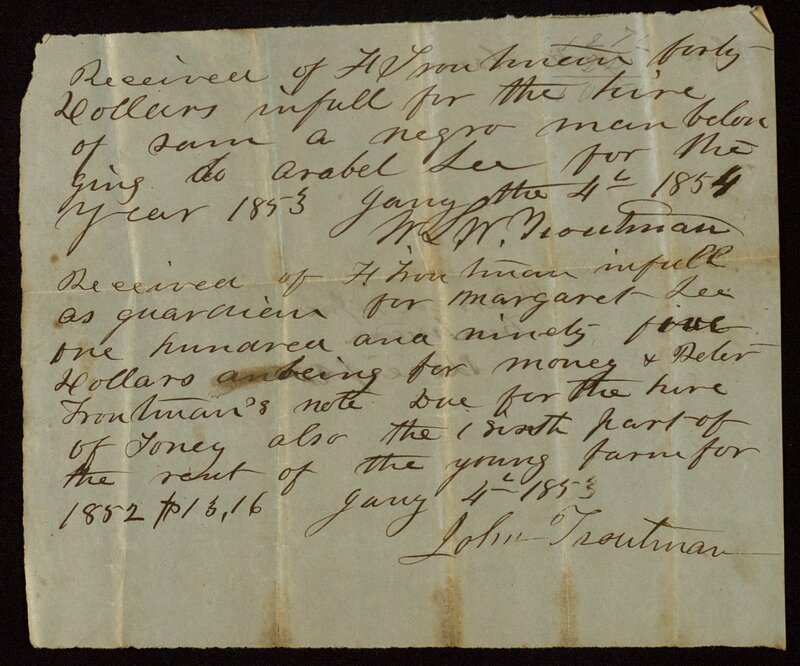 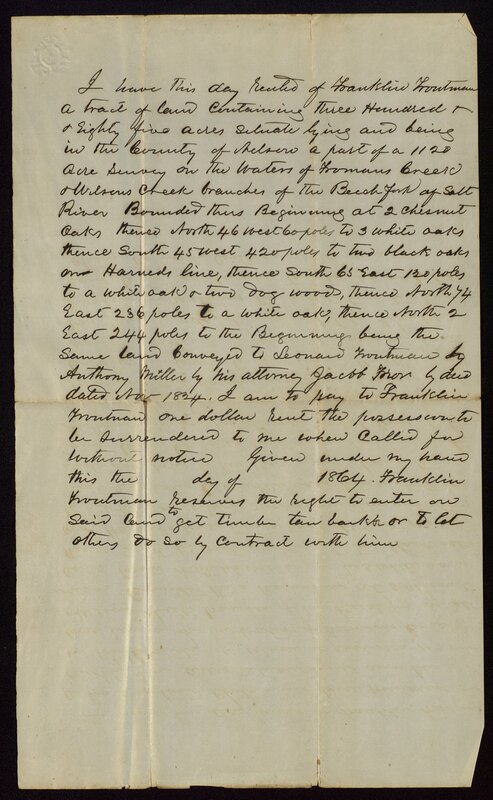 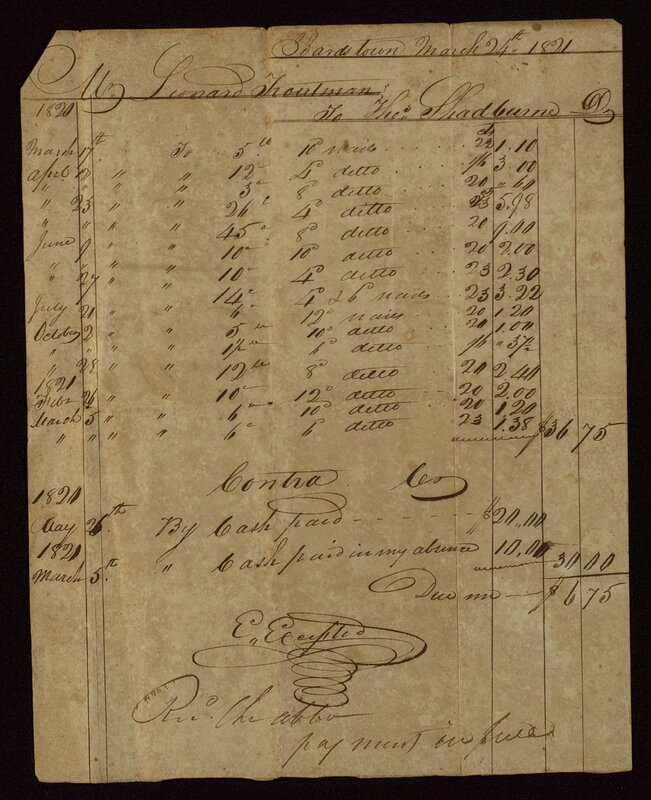 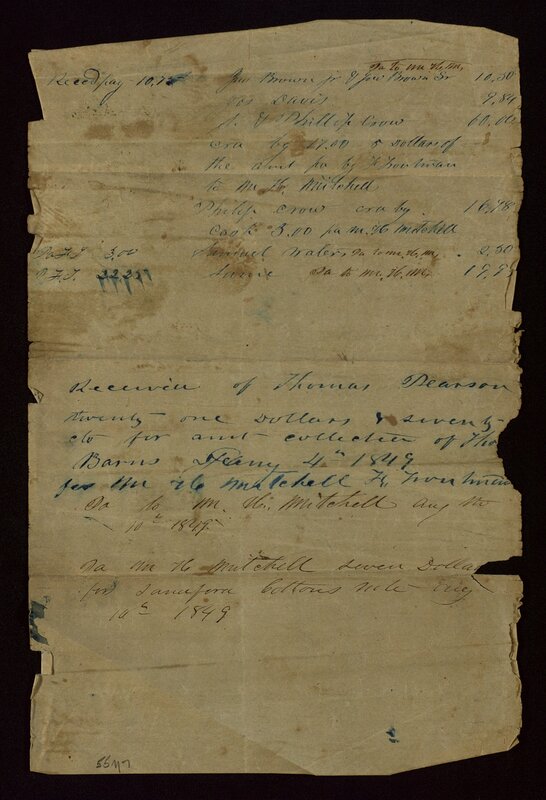 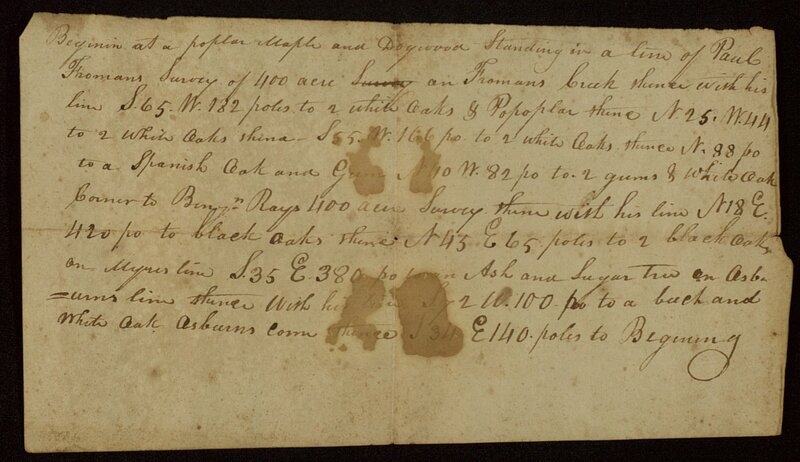 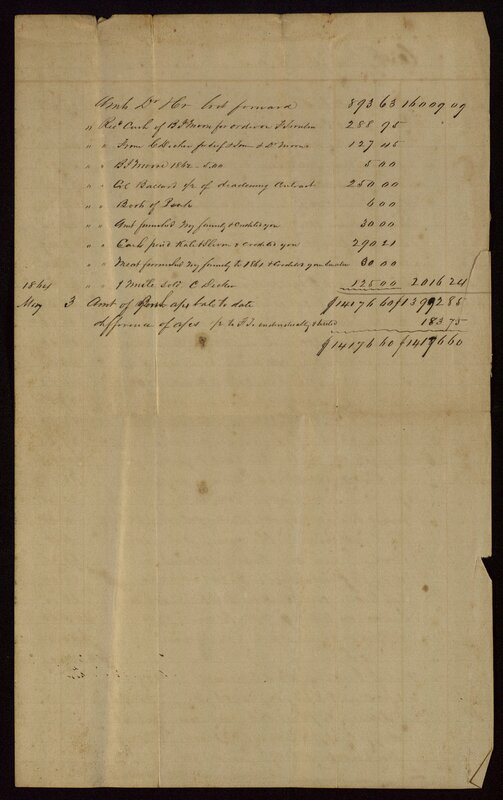 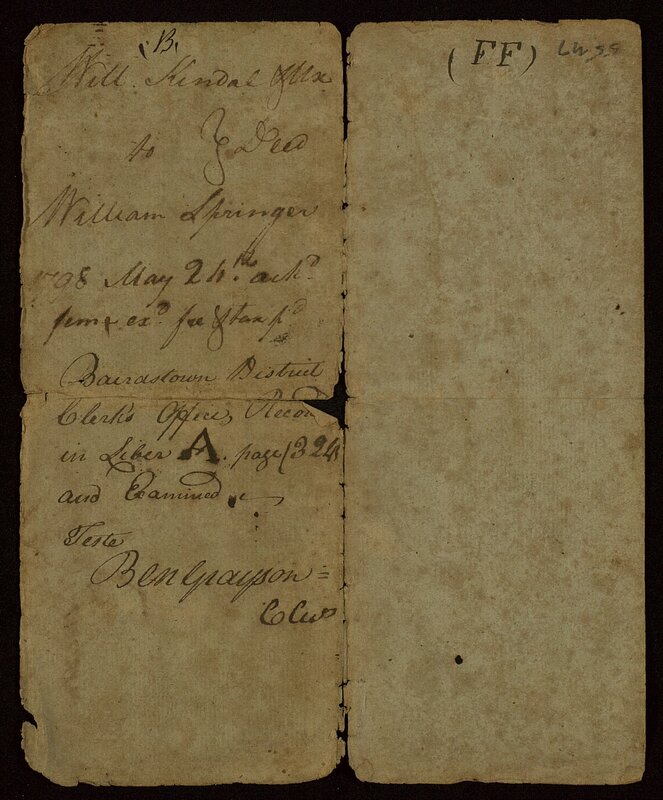 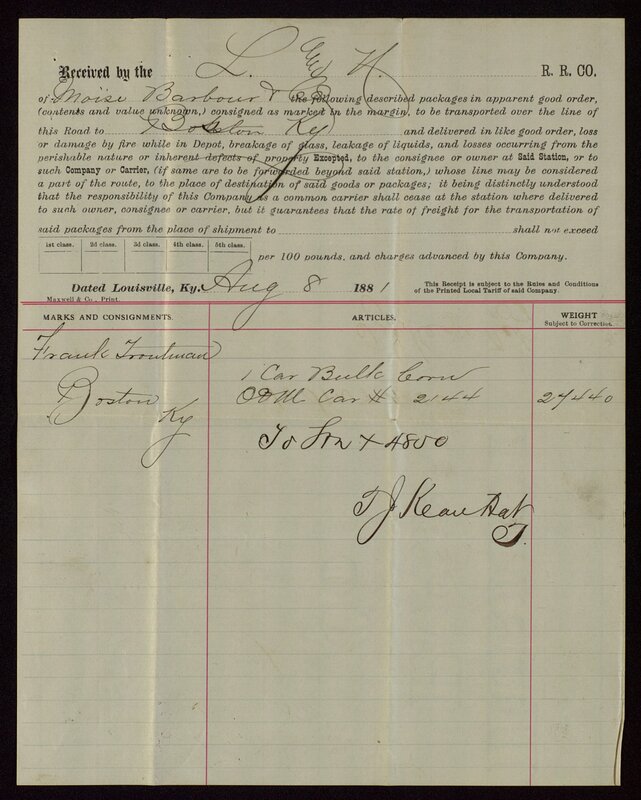 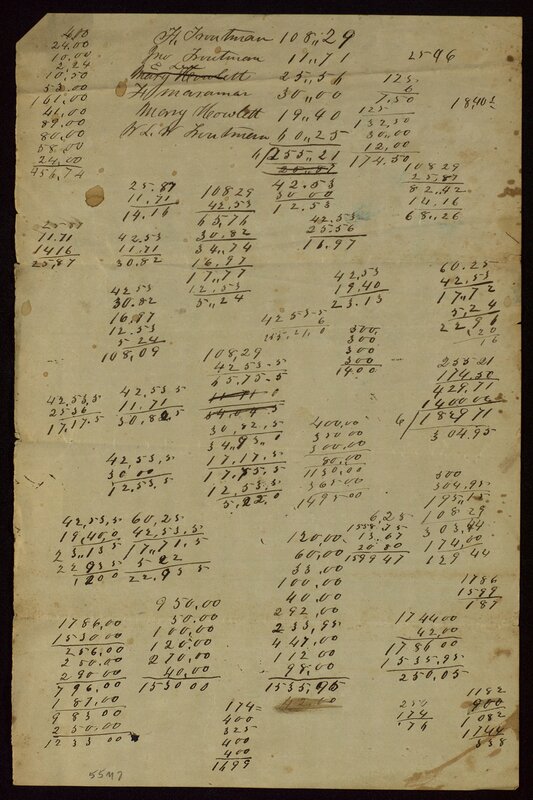 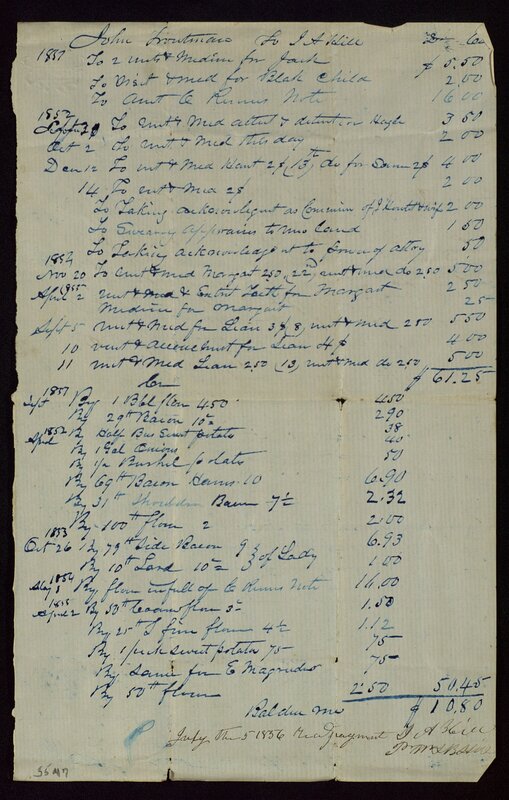 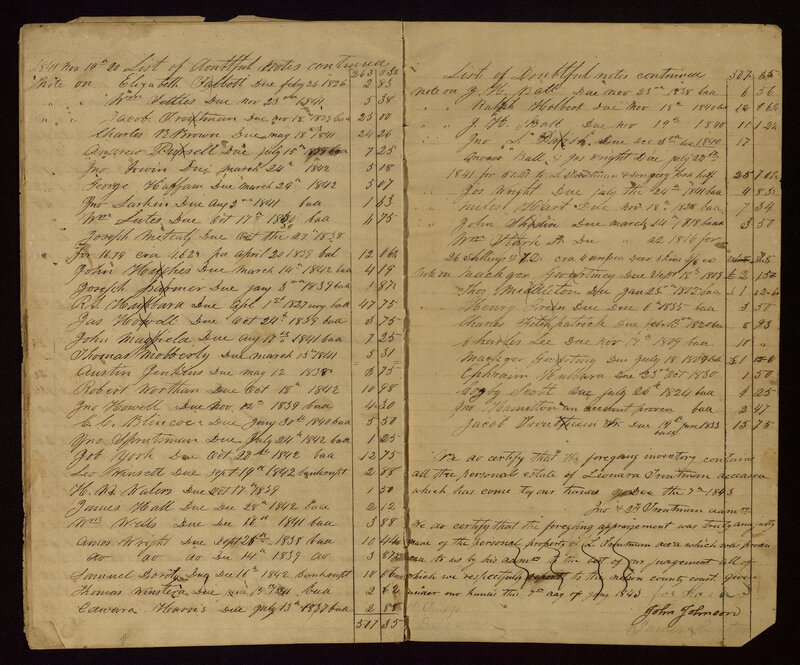 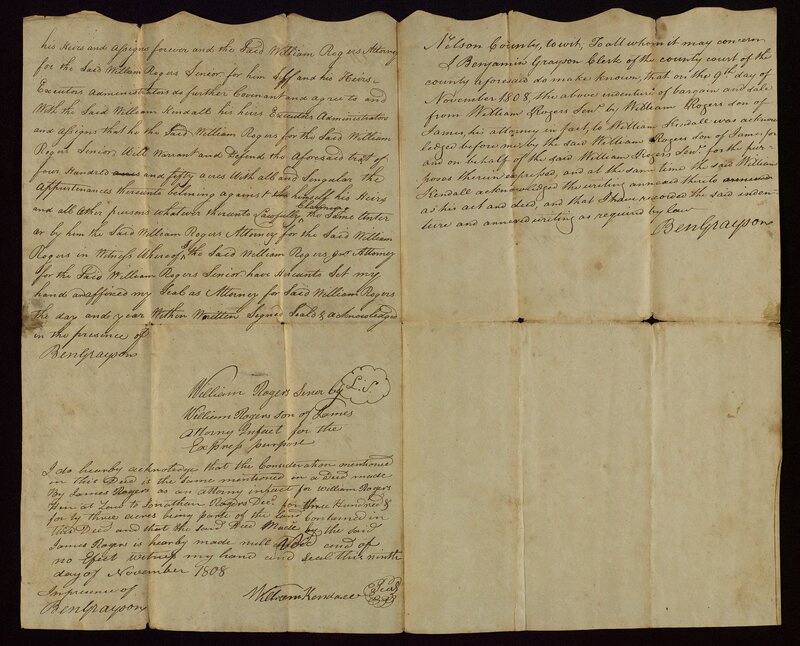 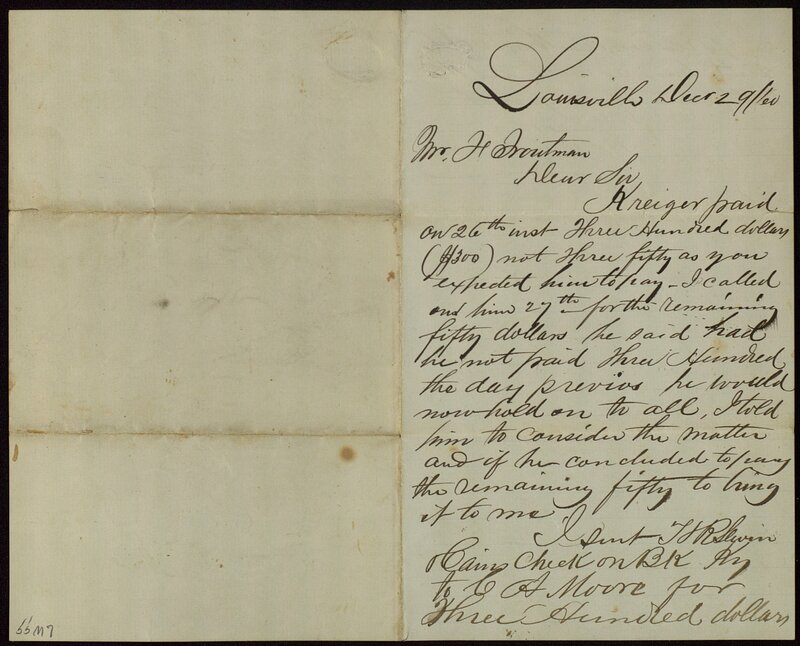 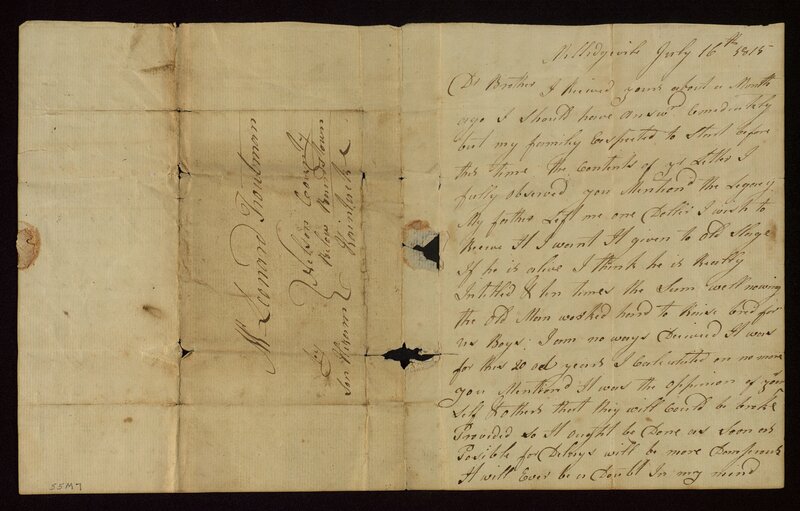 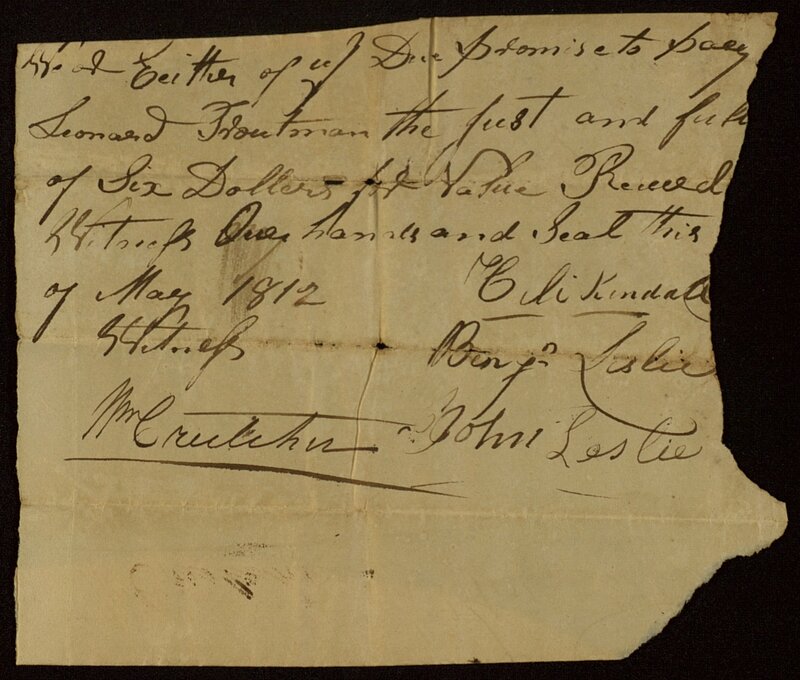 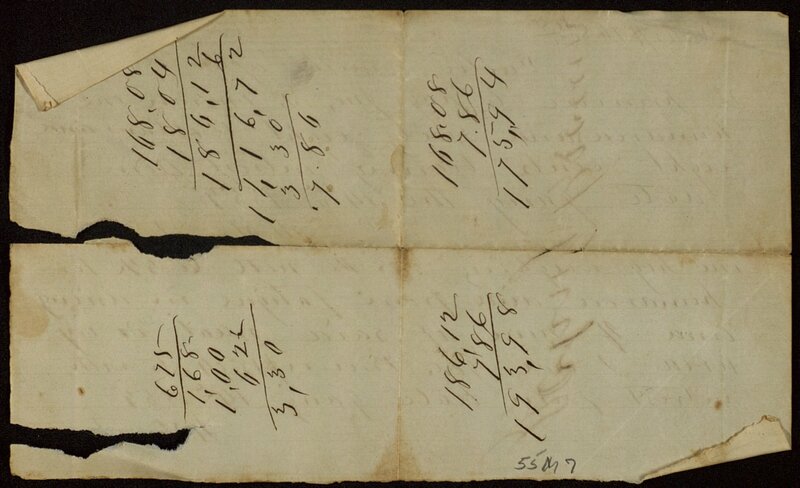 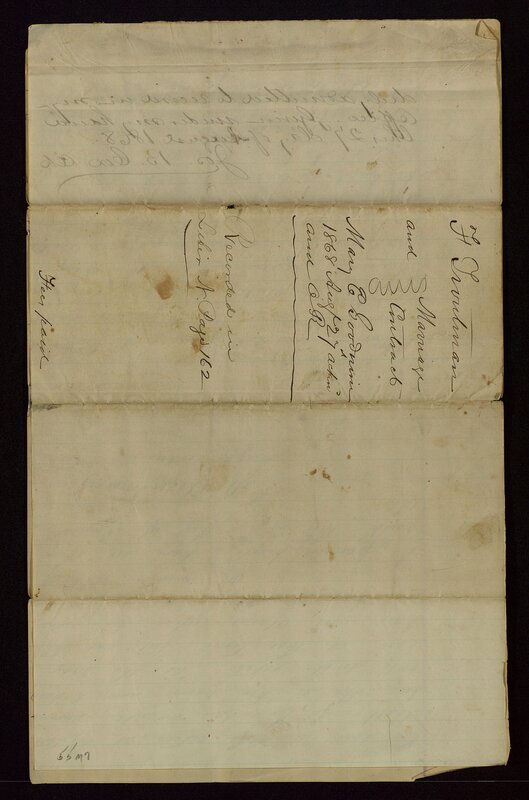 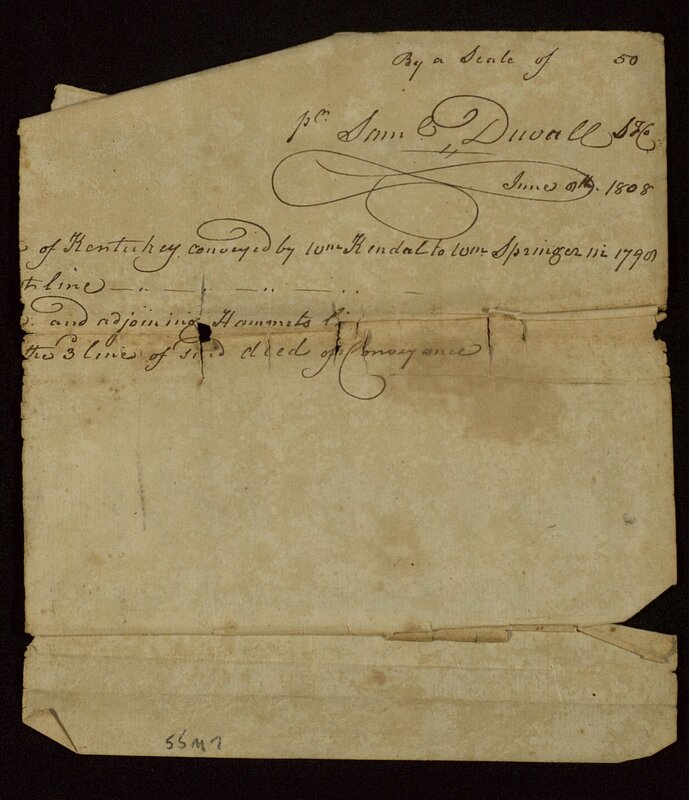 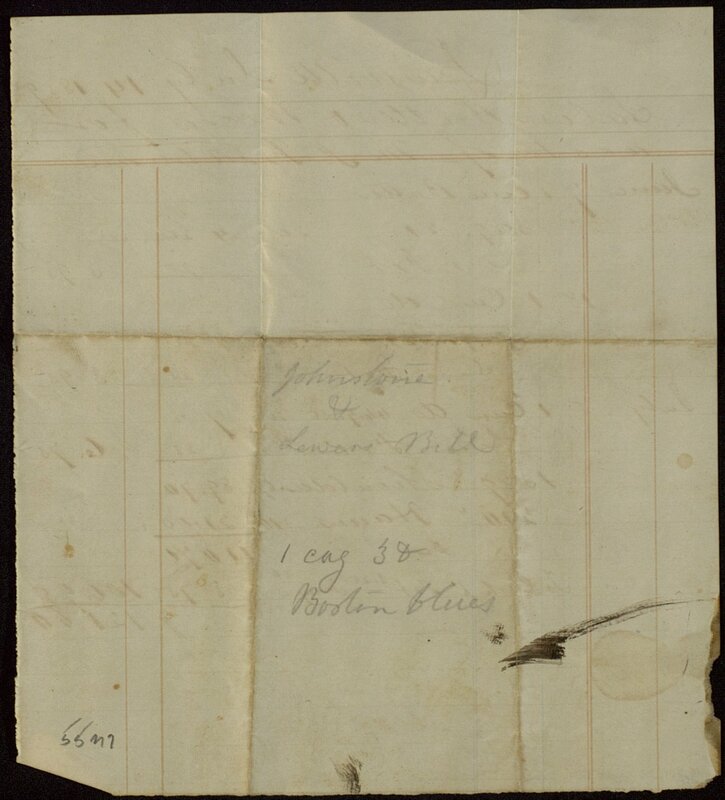 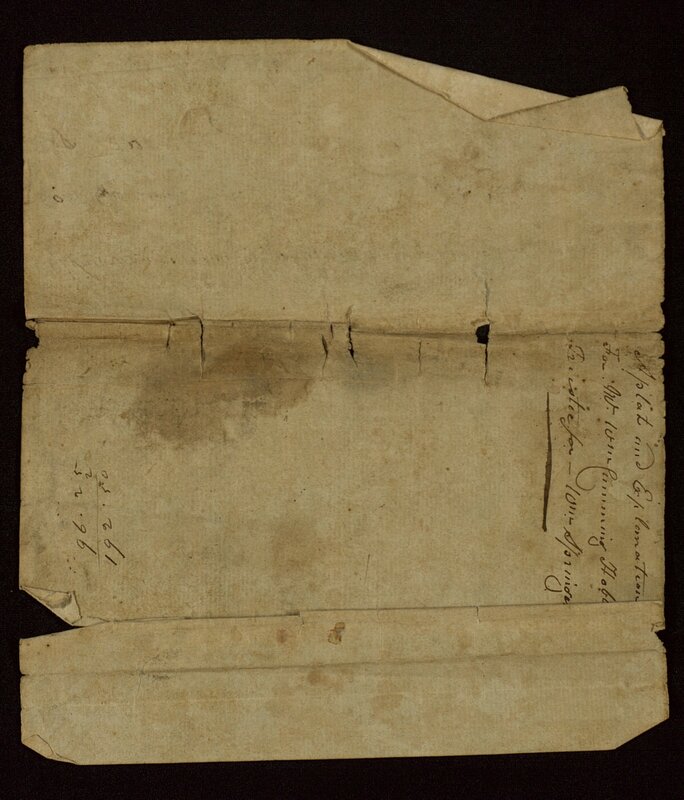 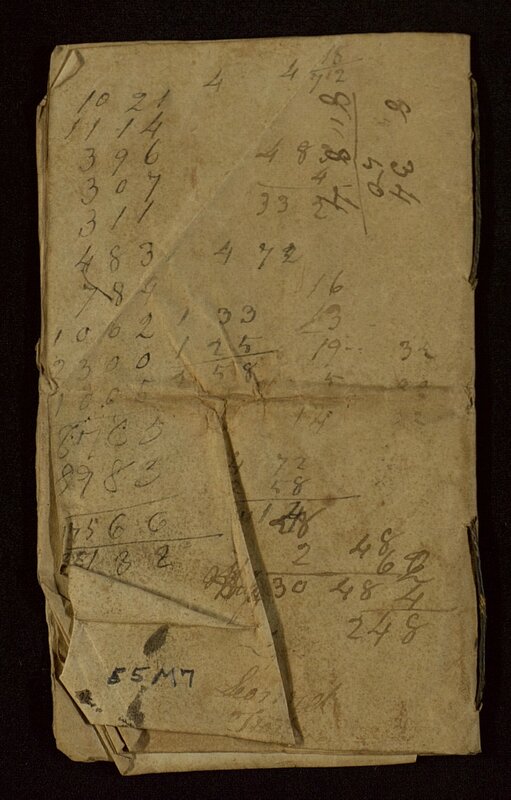 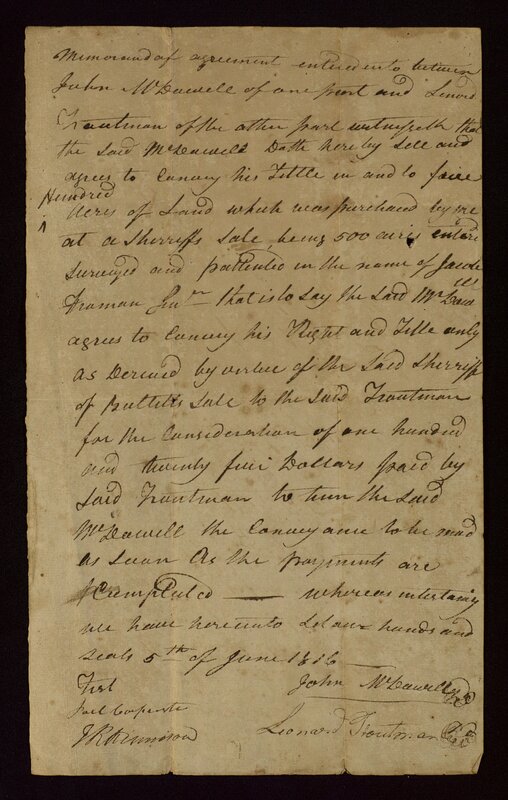 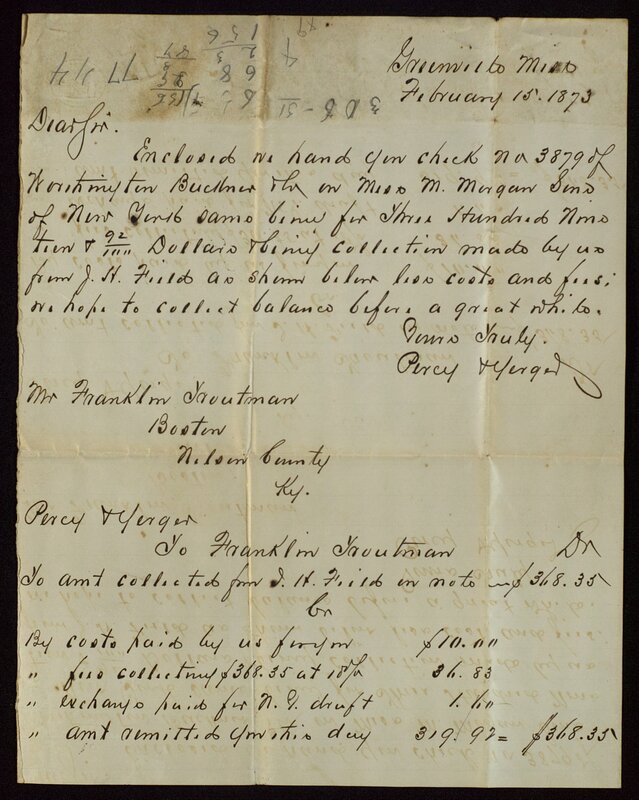 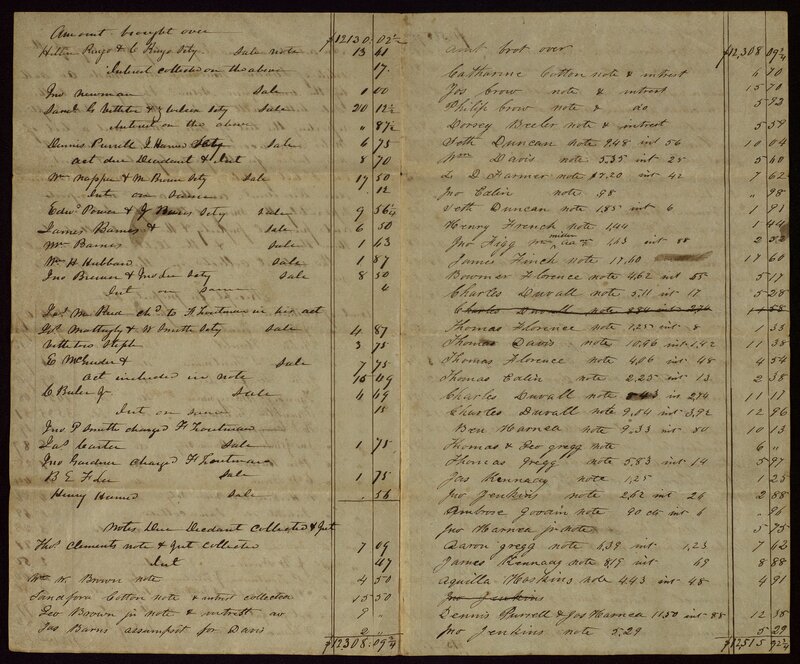 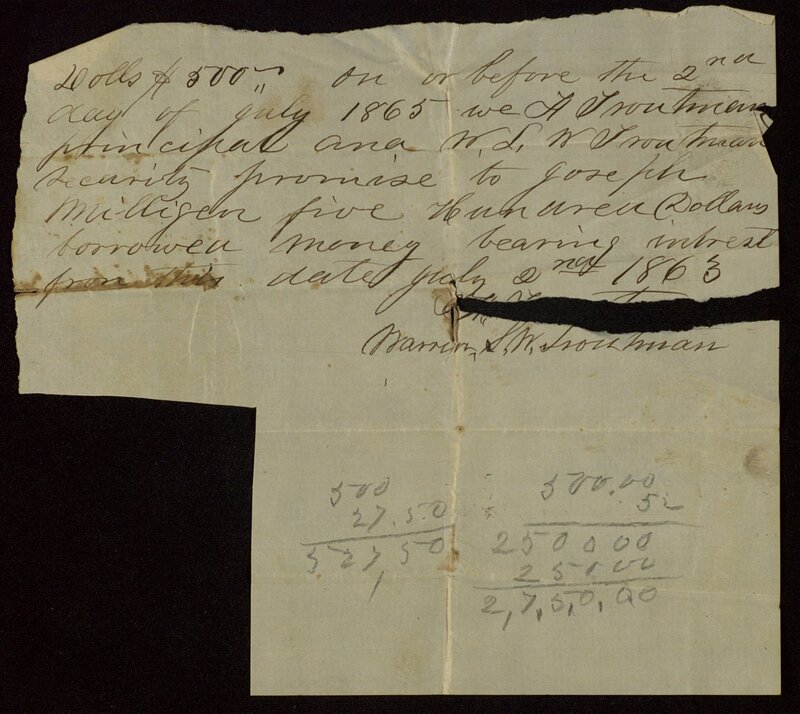 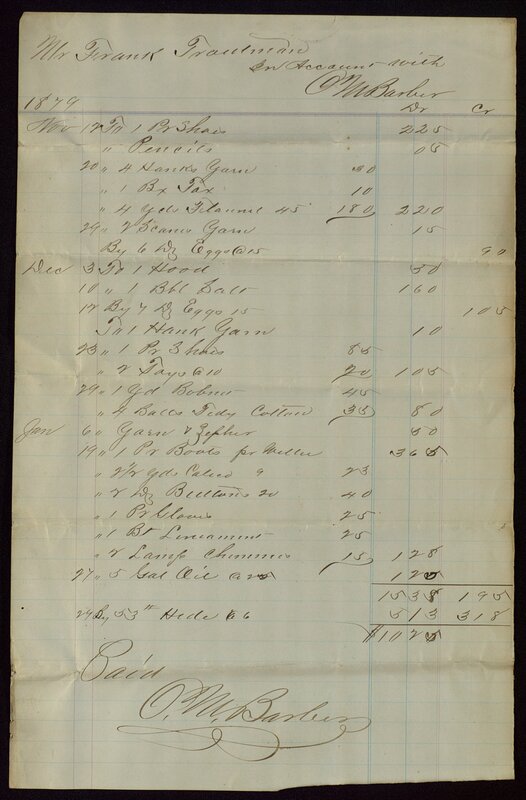 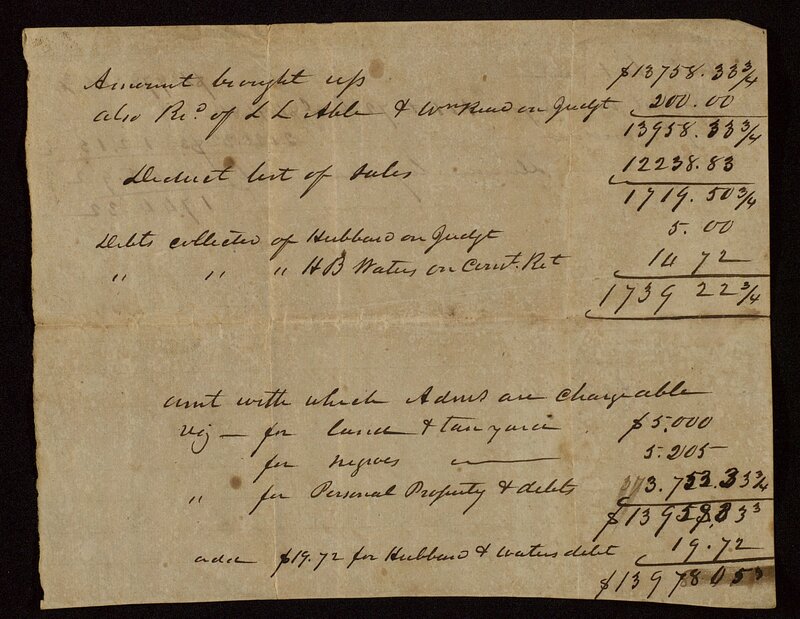 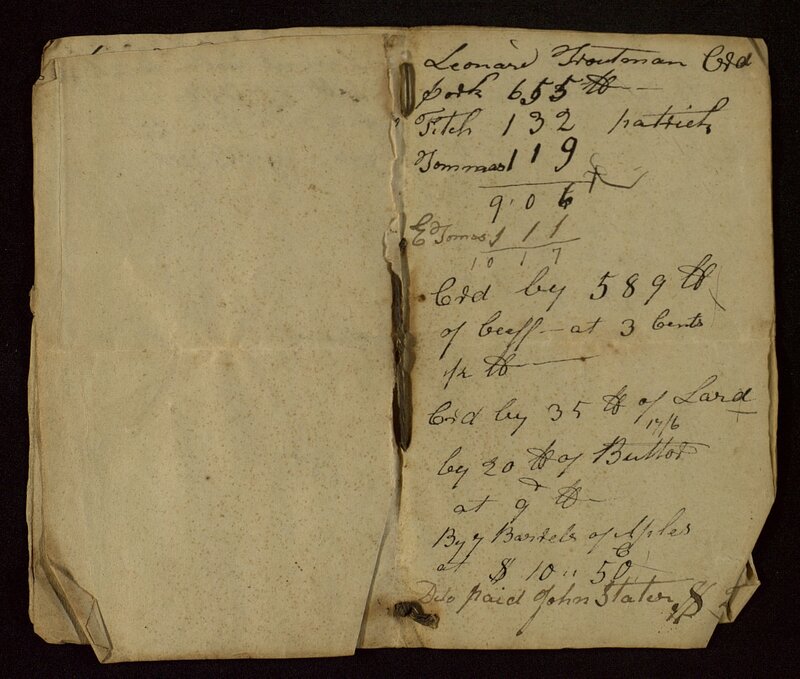 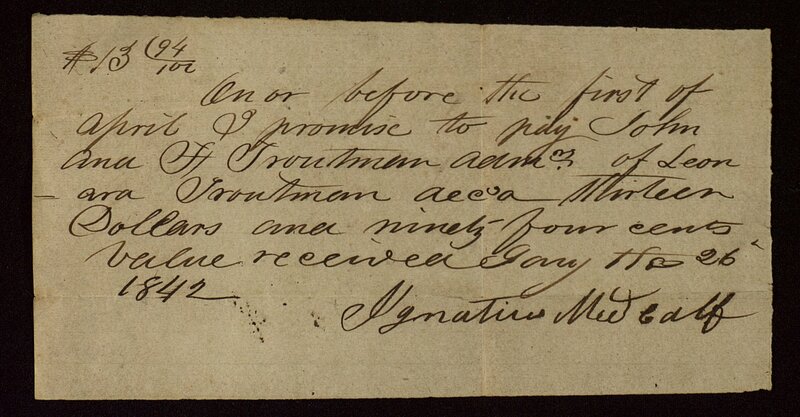 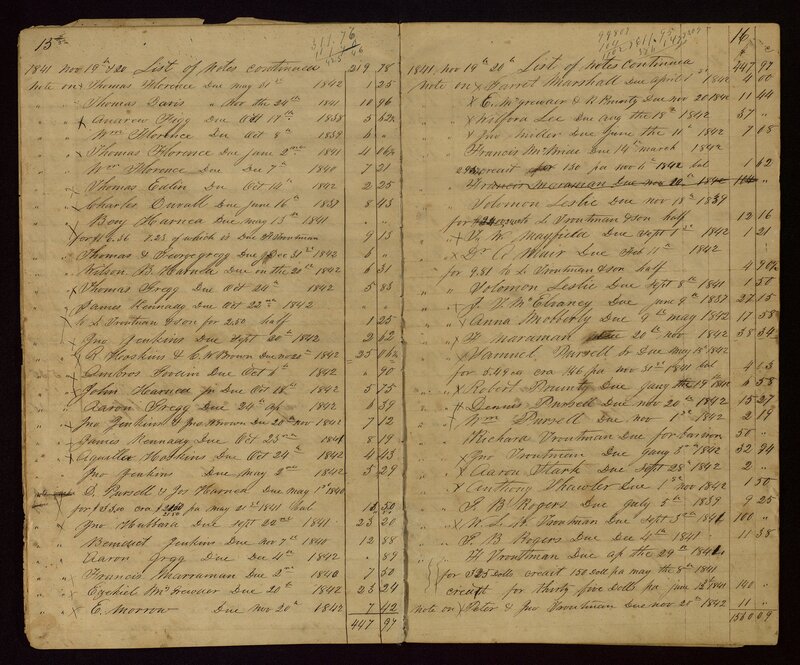 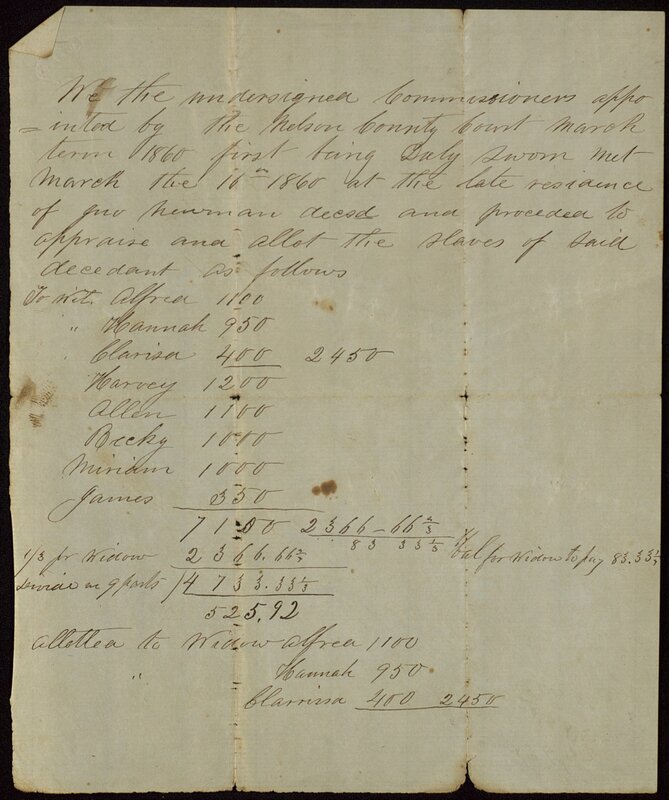 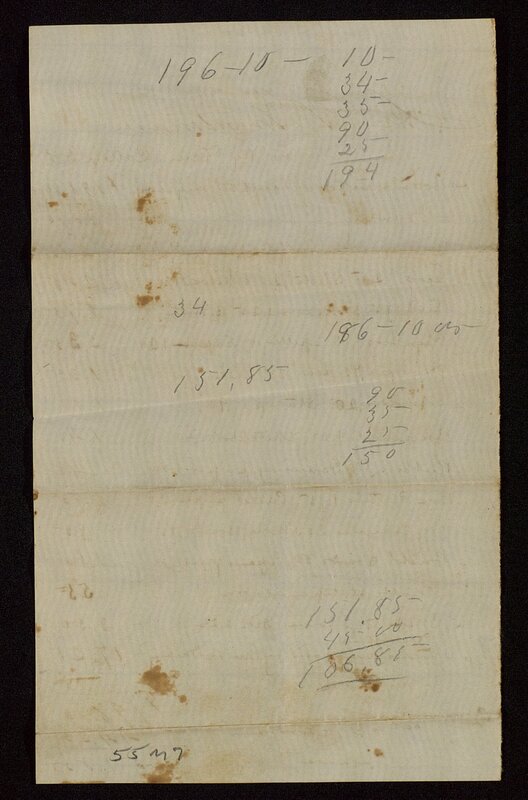 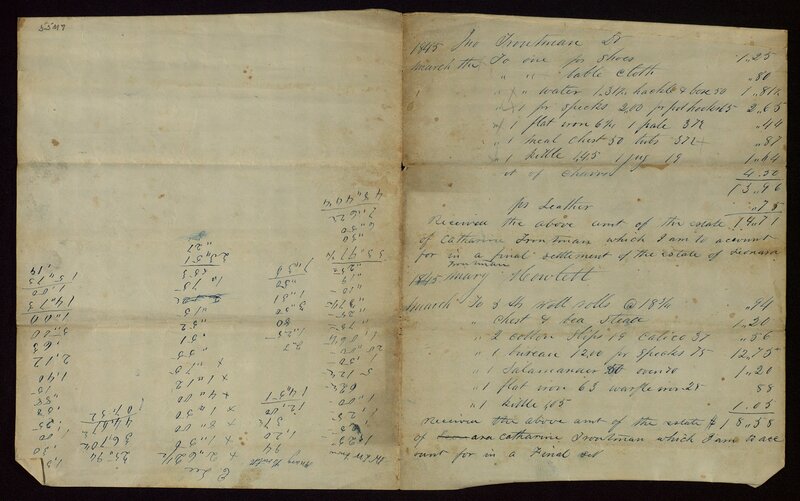 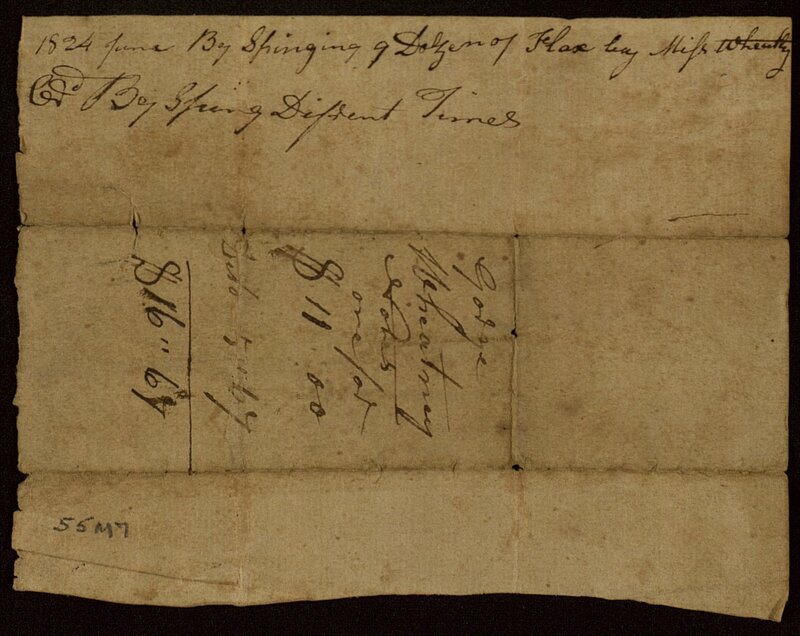 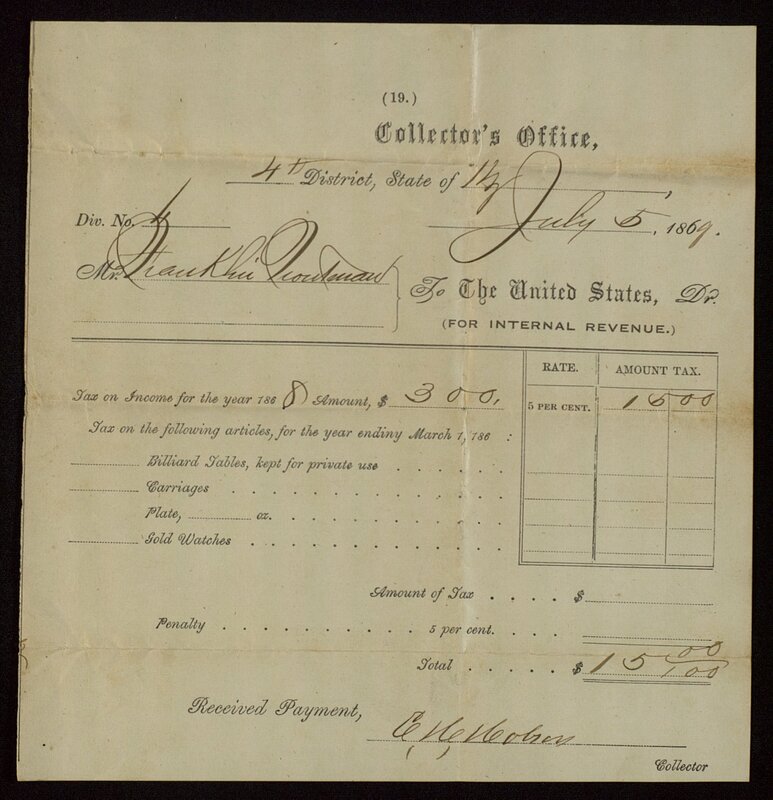 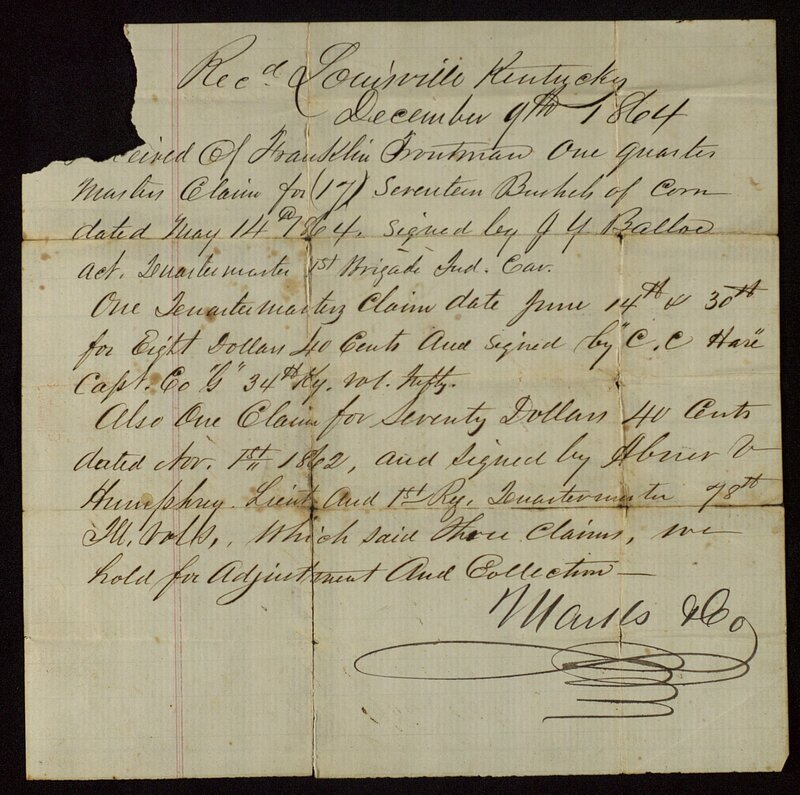 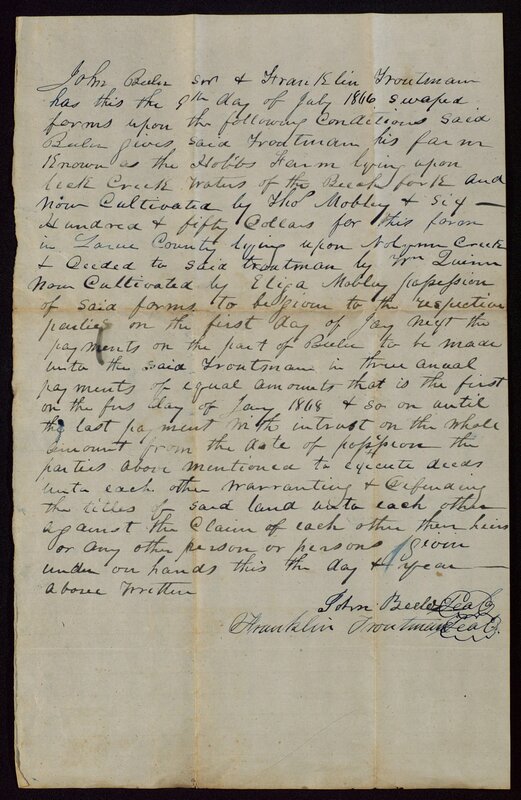 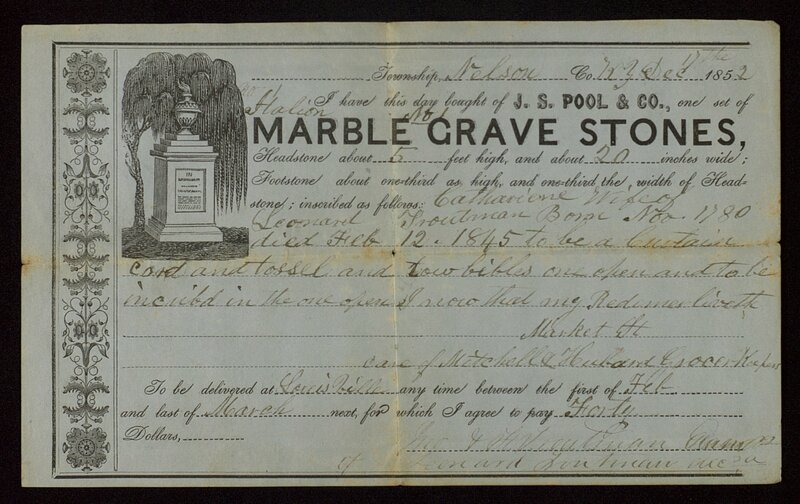 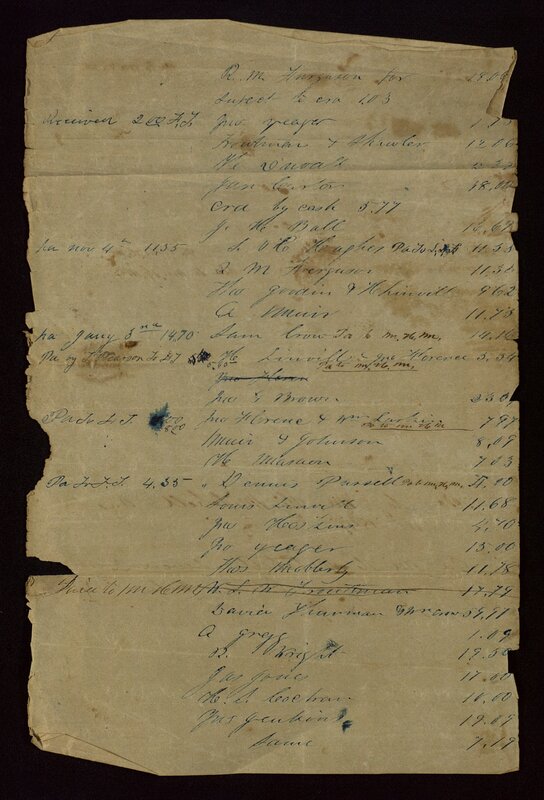 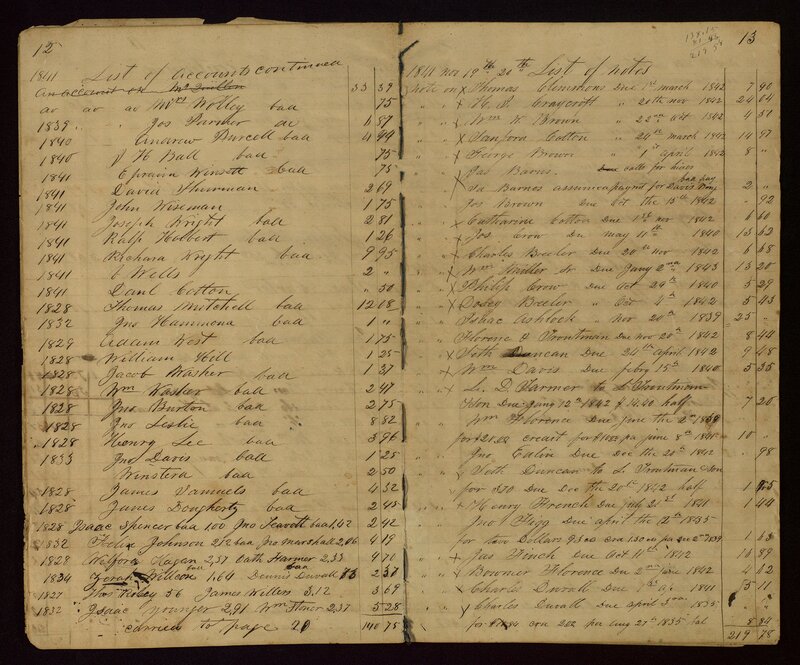 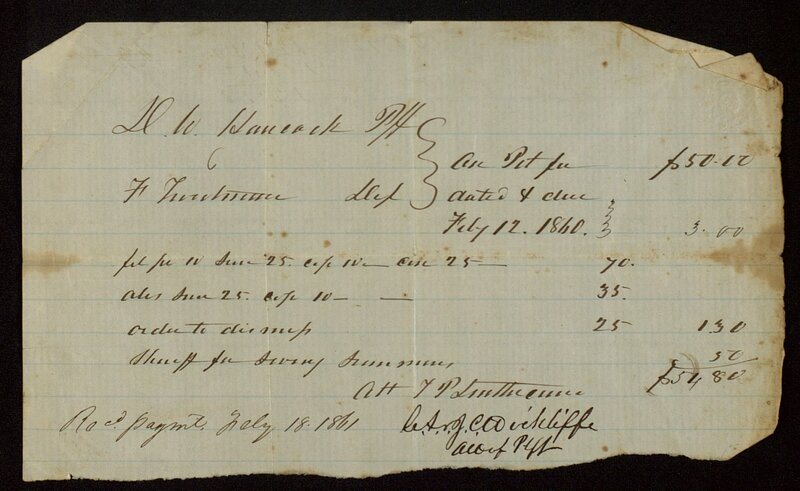 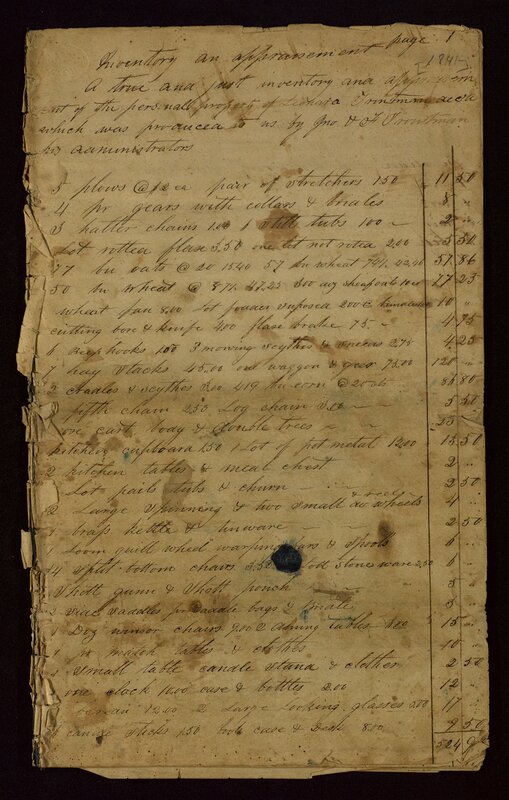 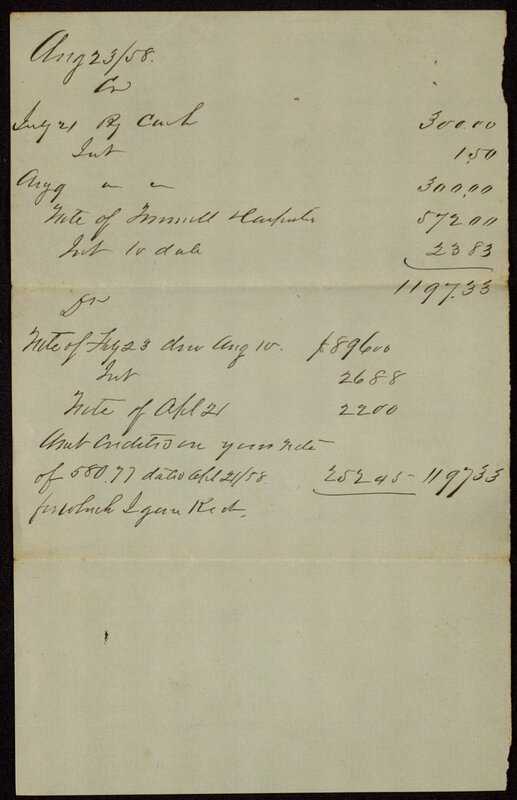 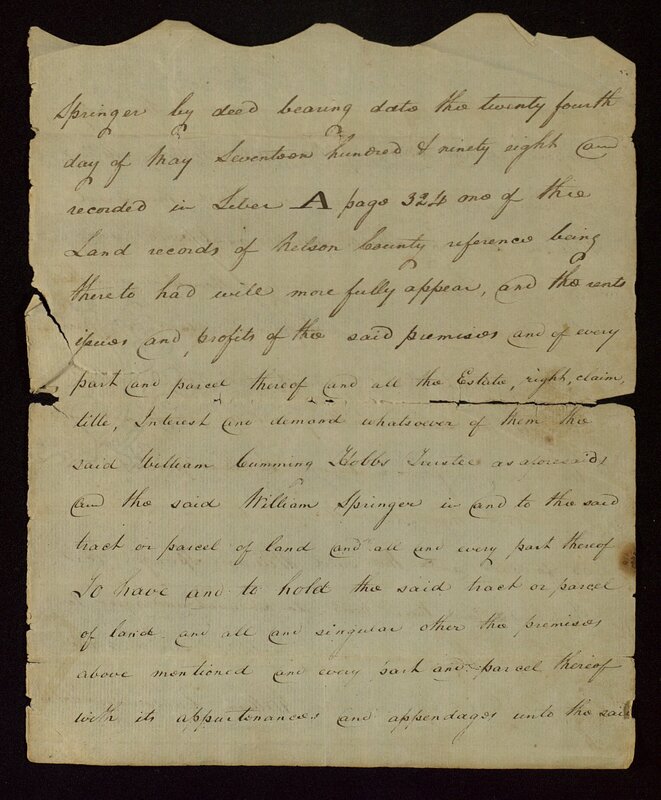 These include deeds, bills, receipts, promissory notes, legal documents and papers relating to the settlement of Leonard Troutman's estate, including an inventory listing of Troutman's slaves and their valuations.